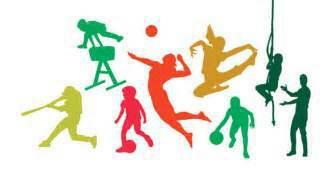 Welcome to our Sport Page. 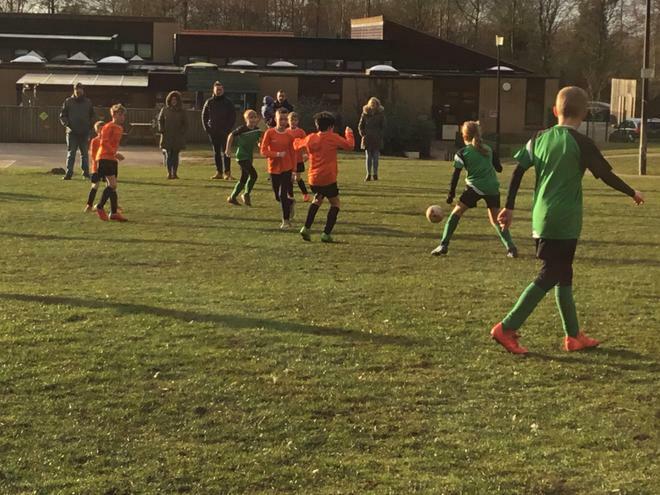 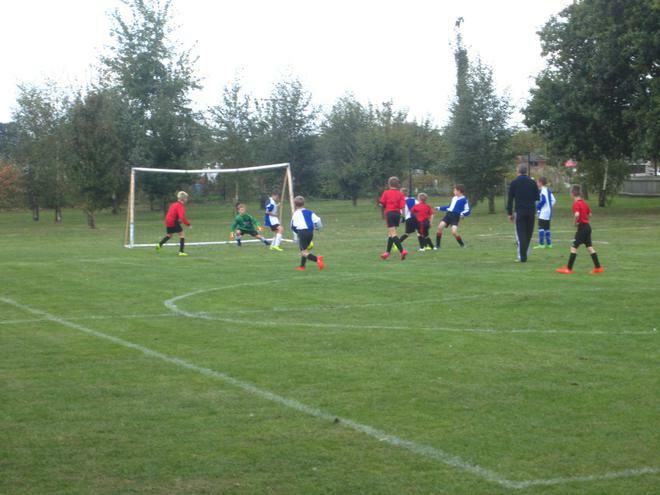 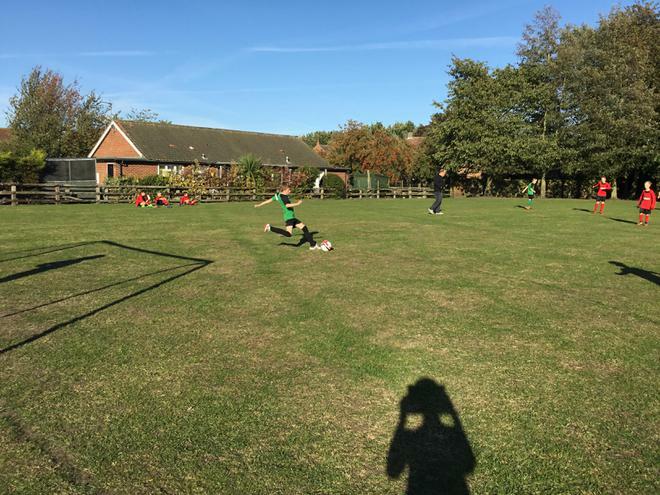 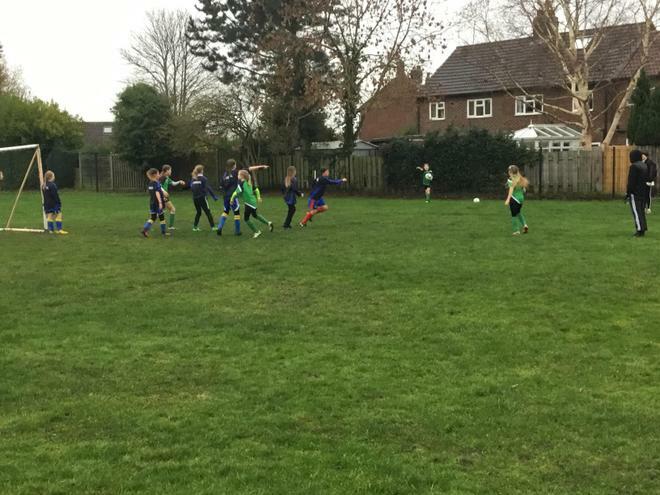 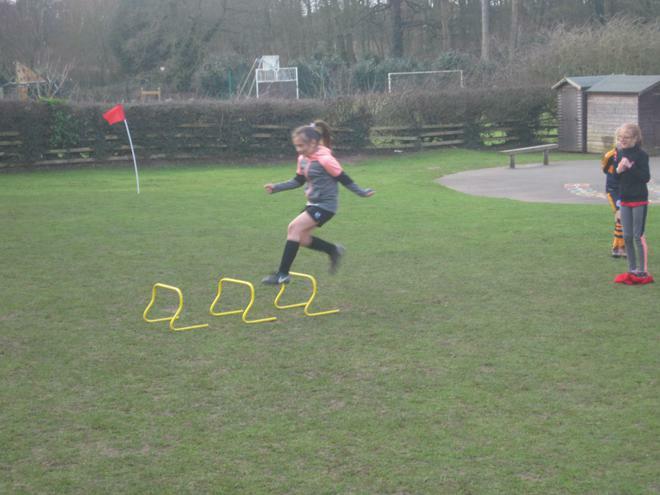 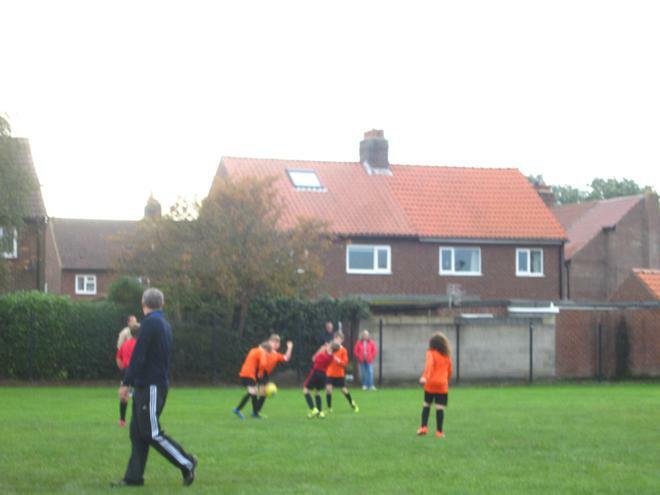 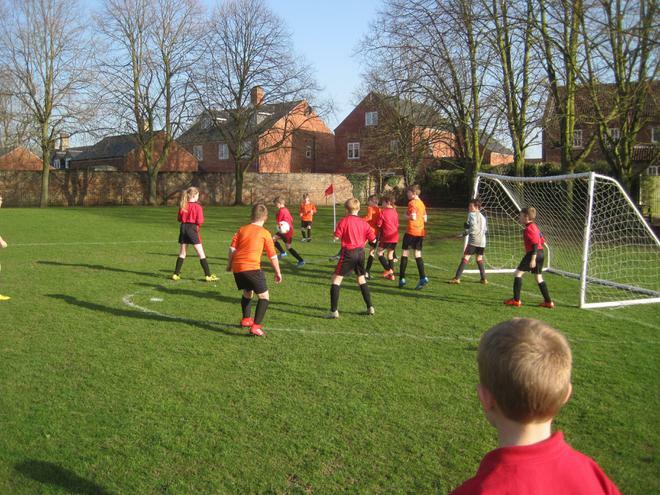 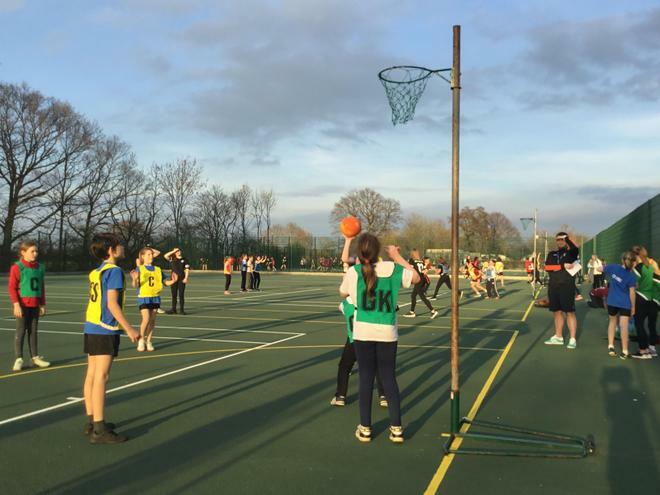 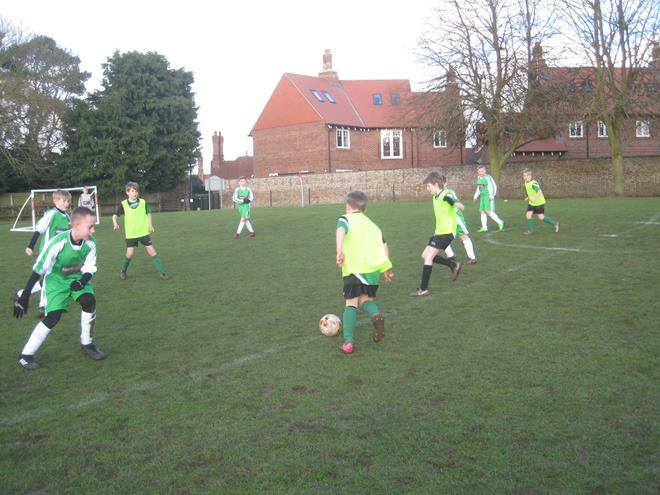 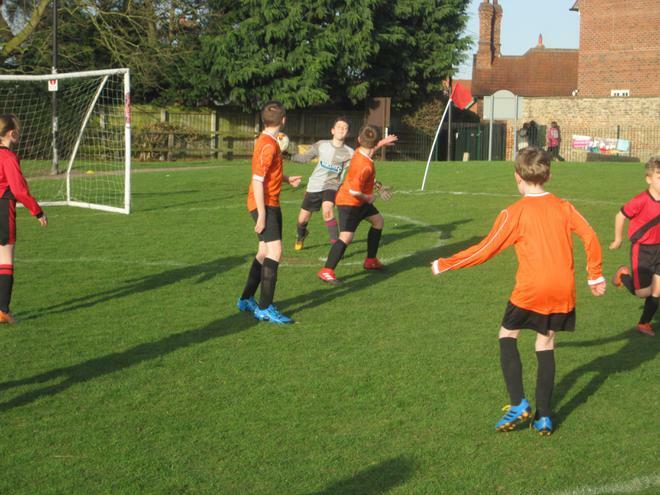 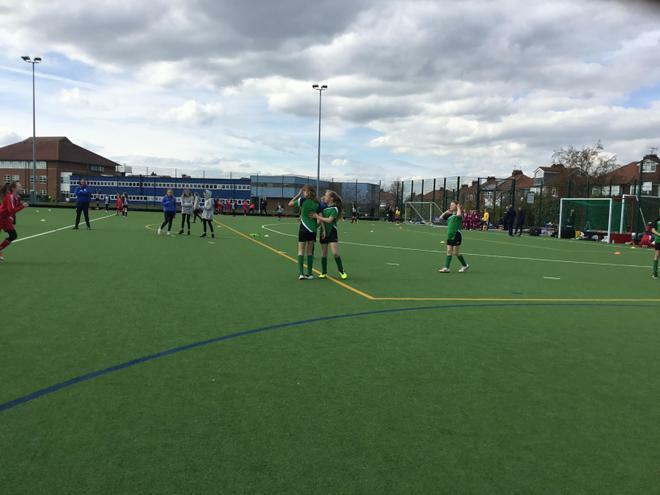 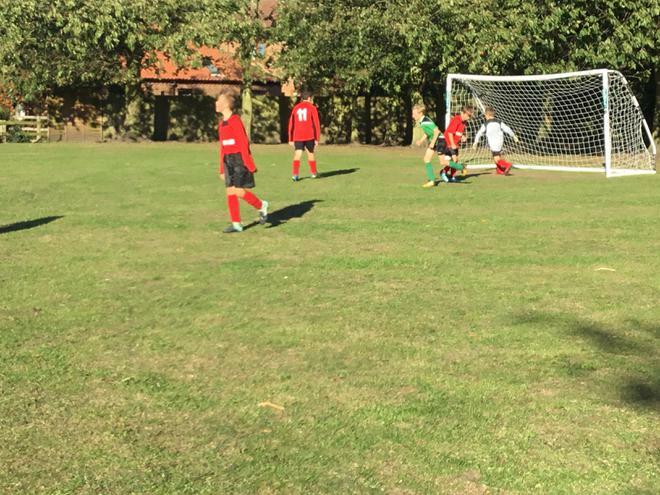 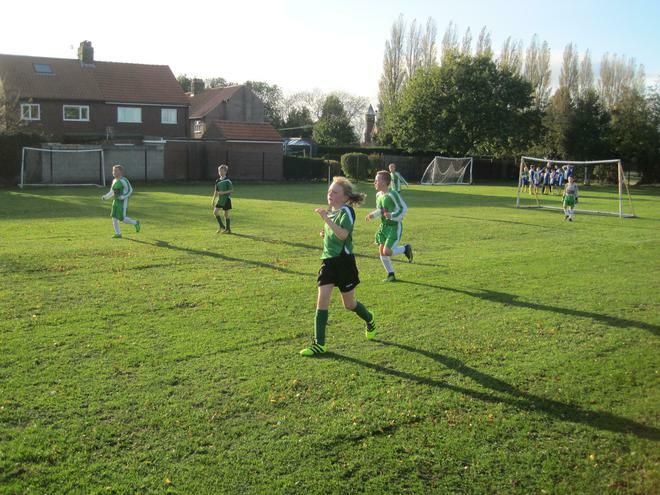 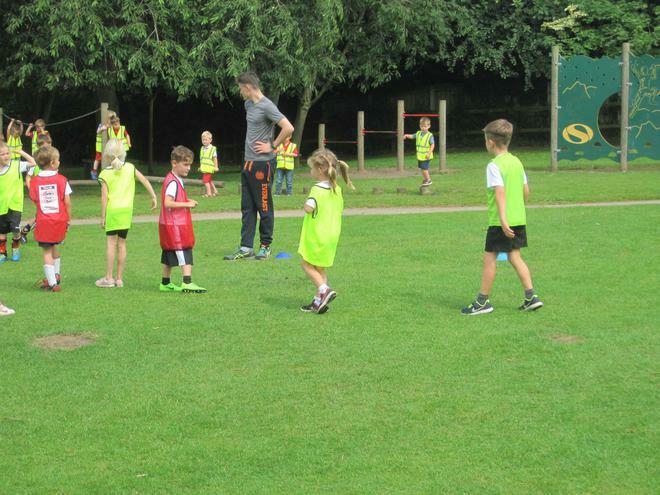 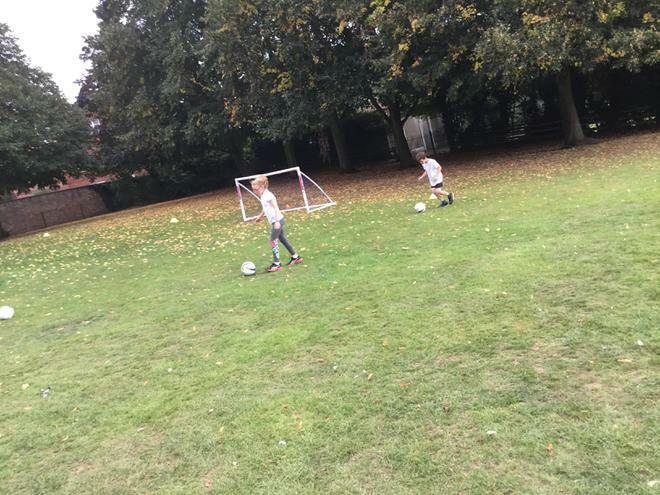 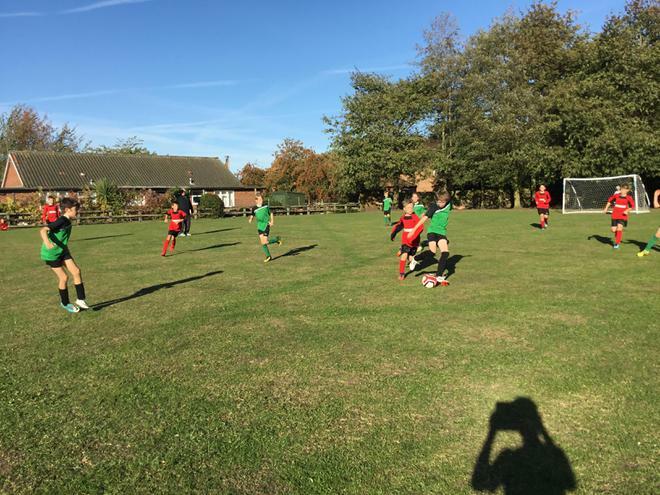 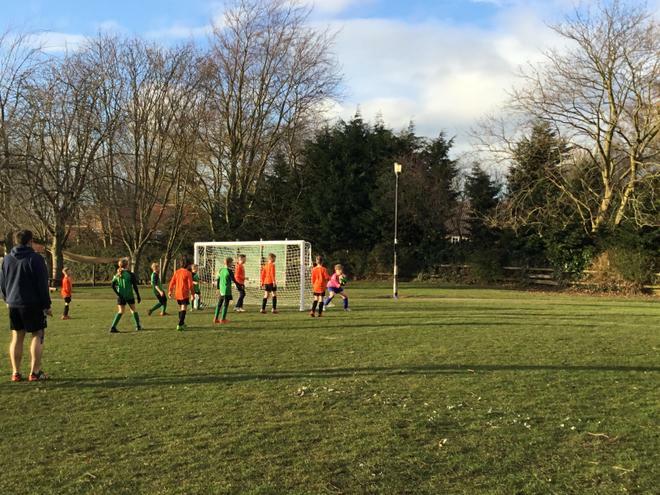 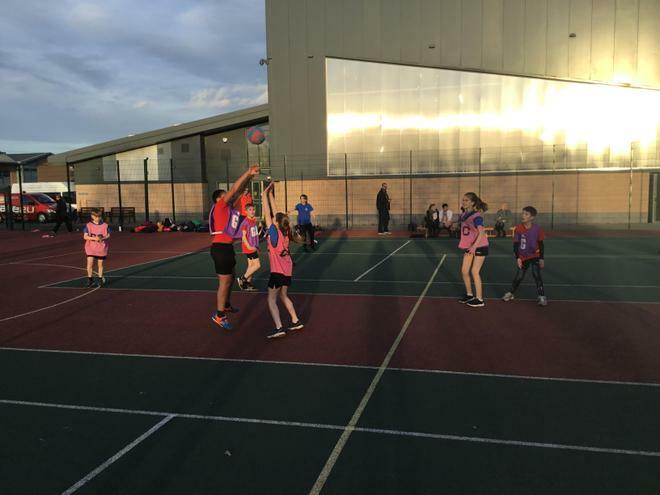 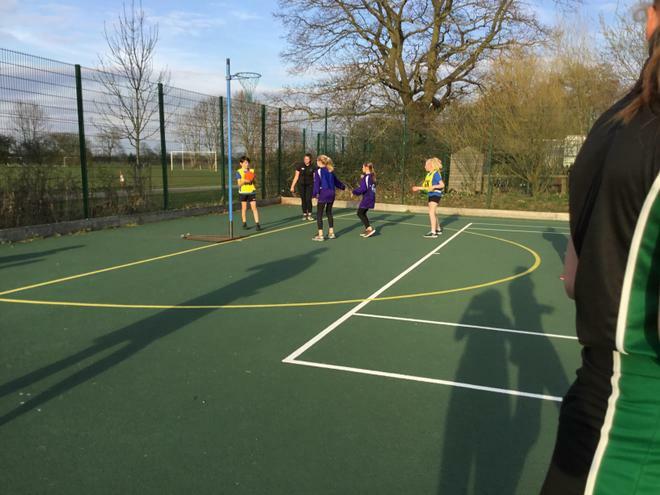 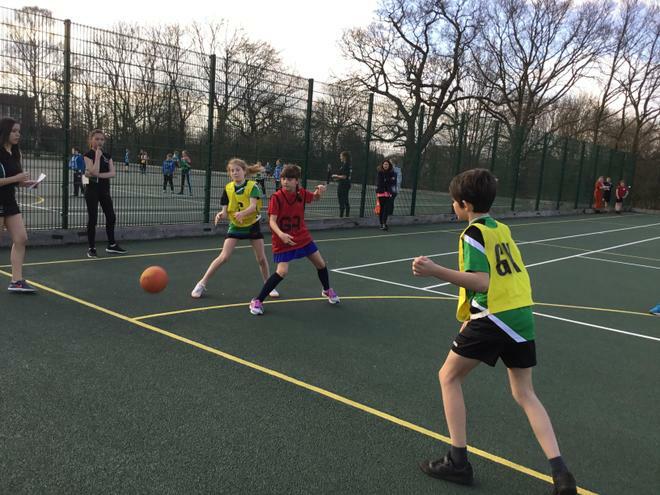 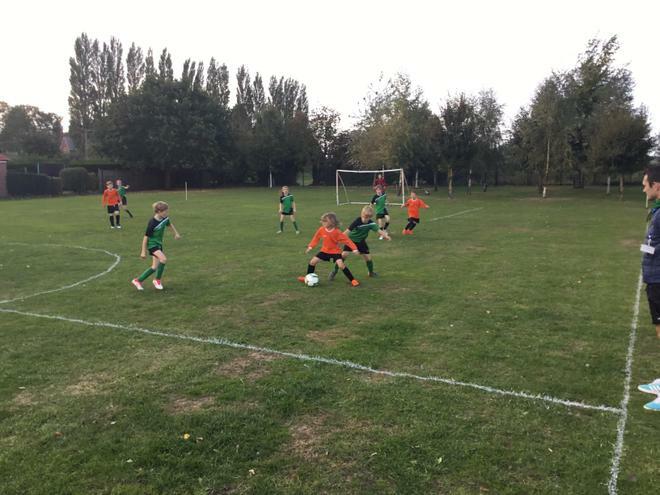 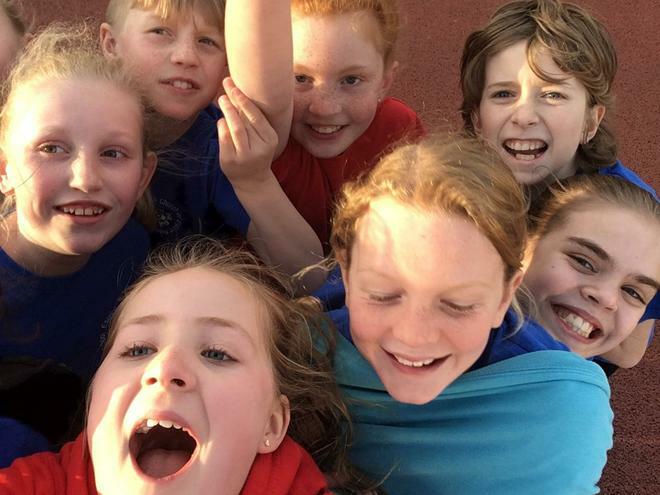 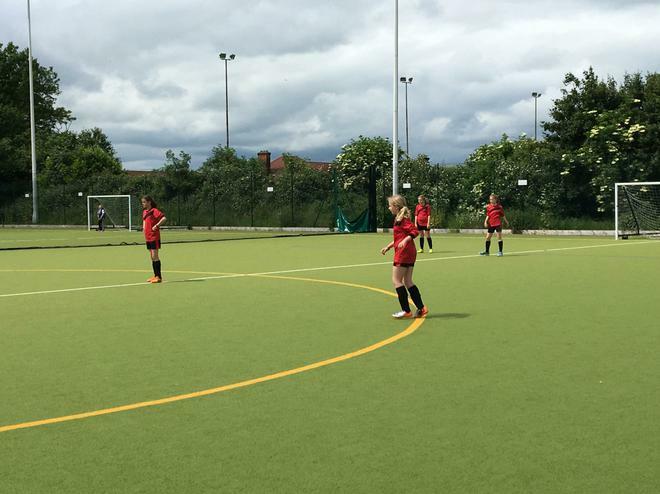 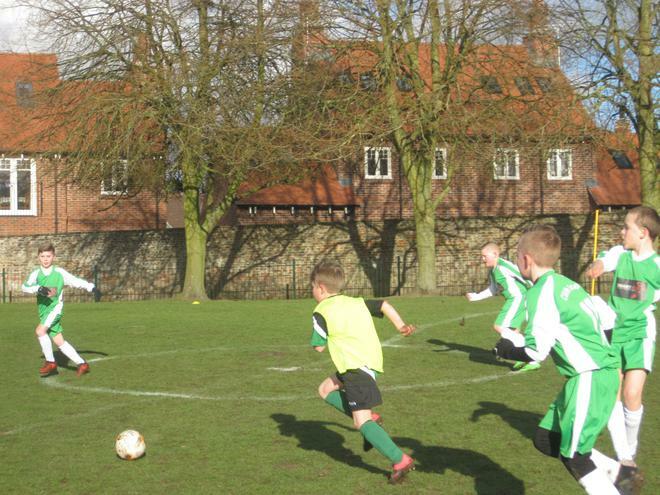 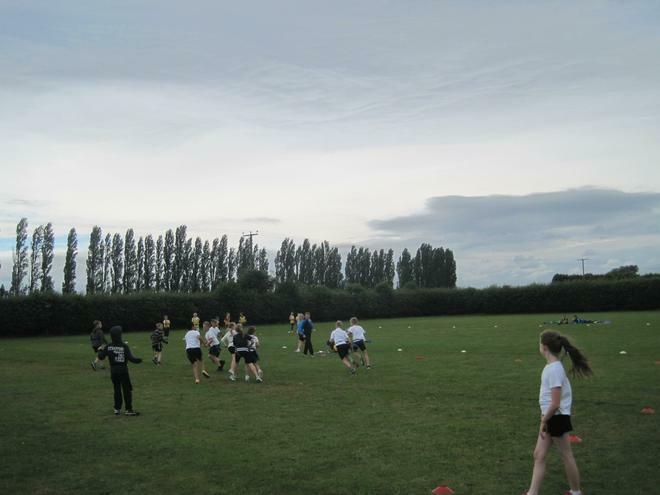 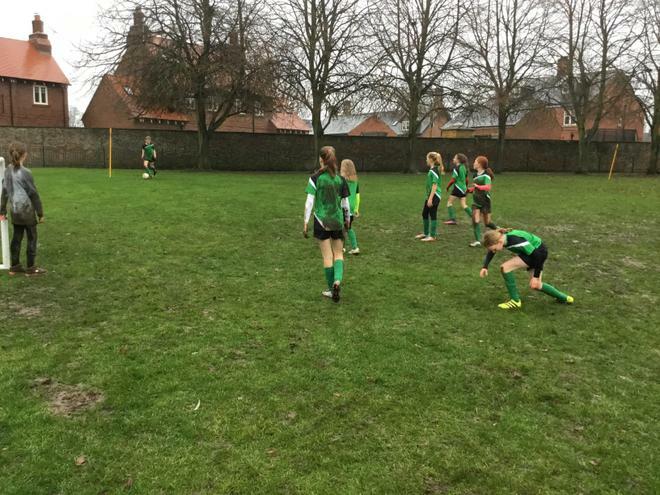 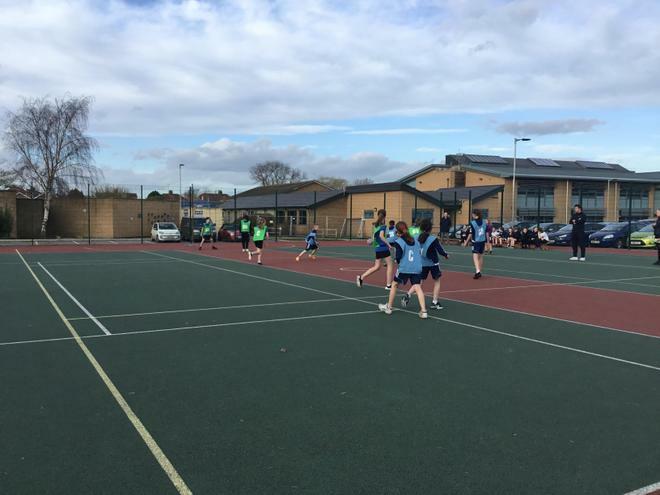 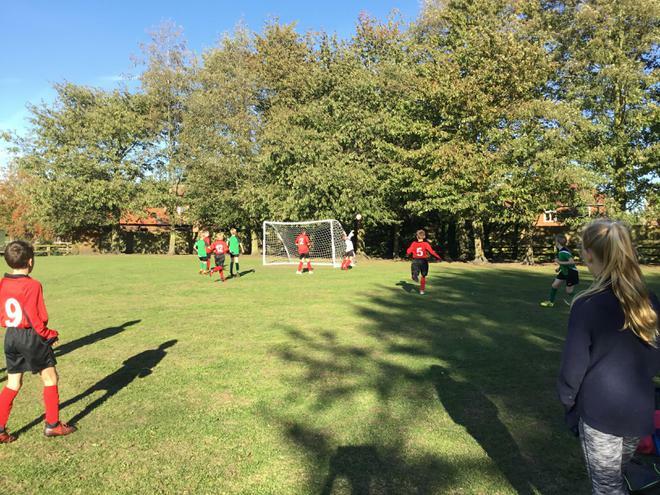 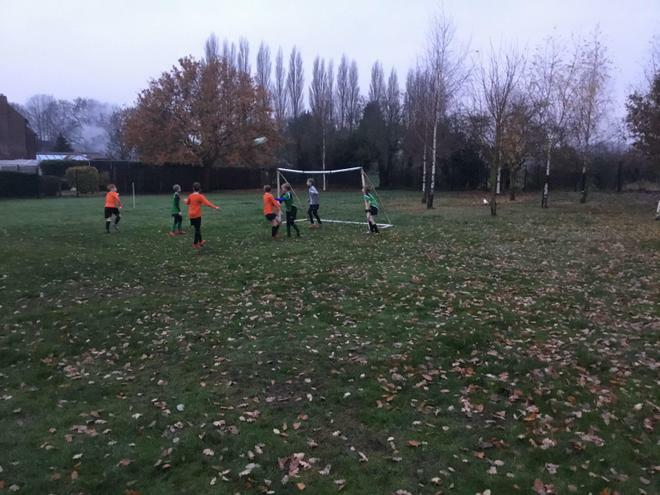 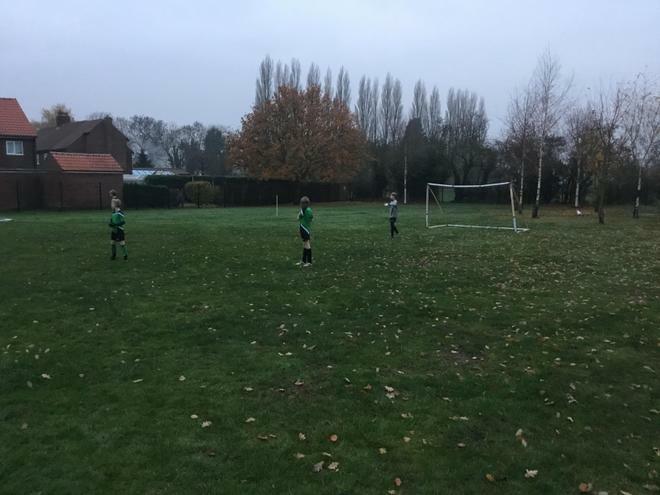 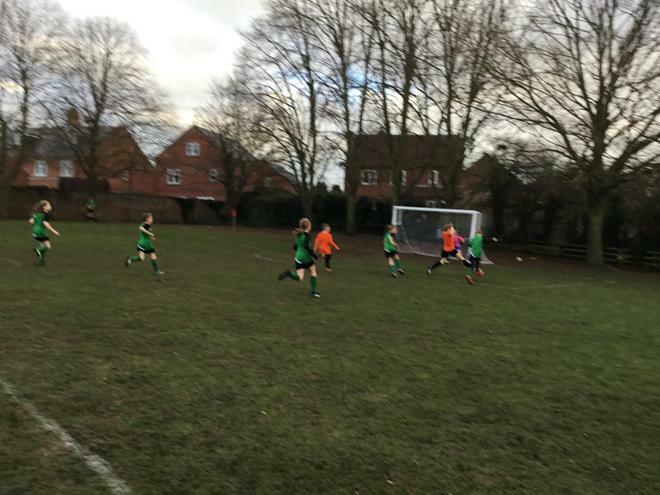 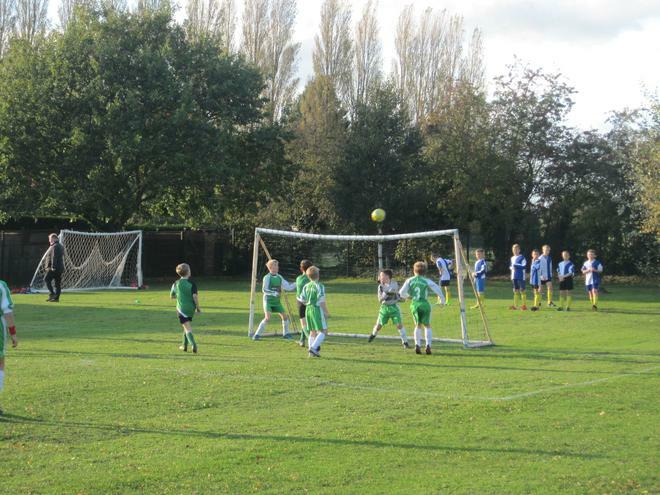 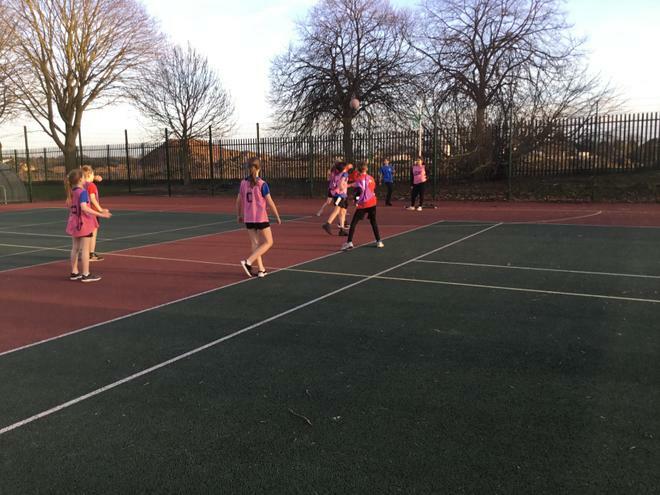 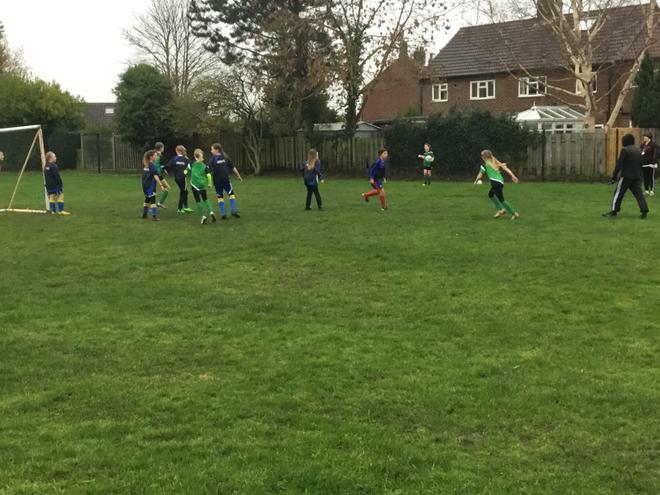 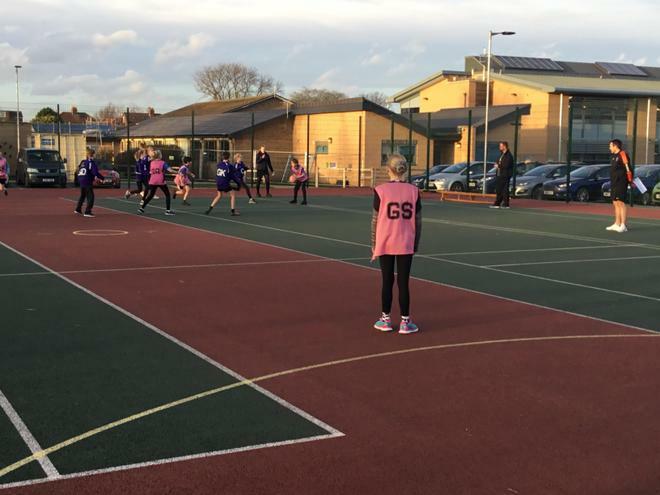 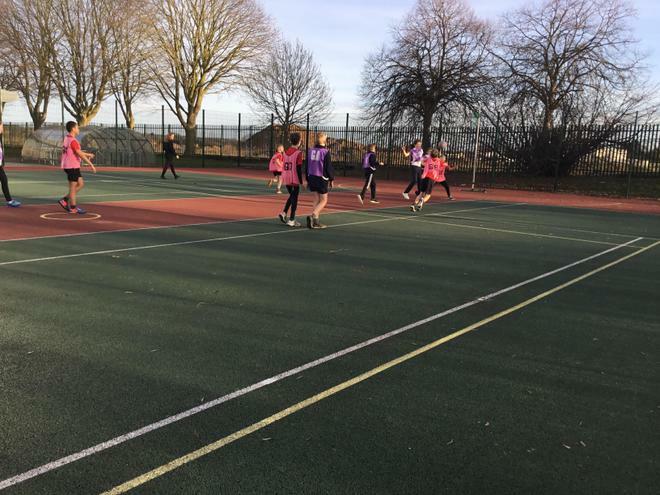 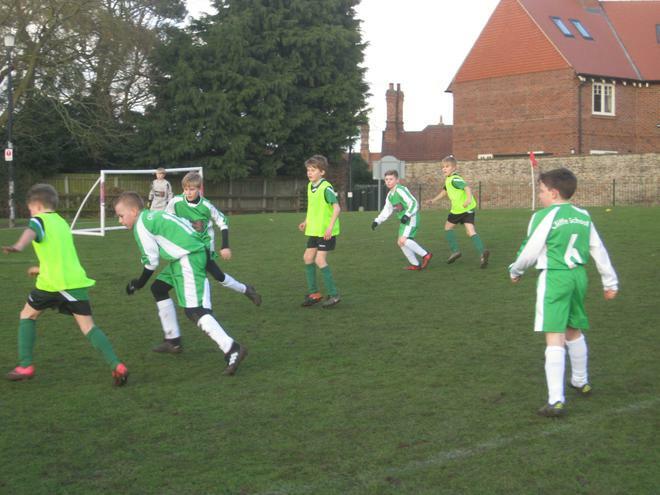 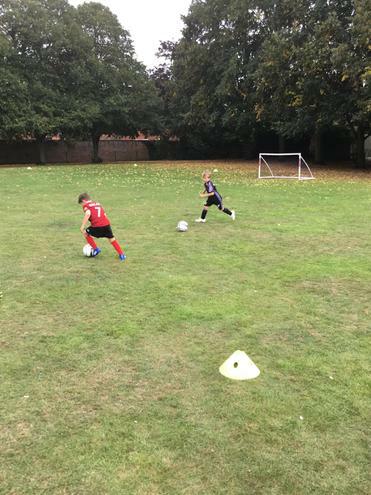 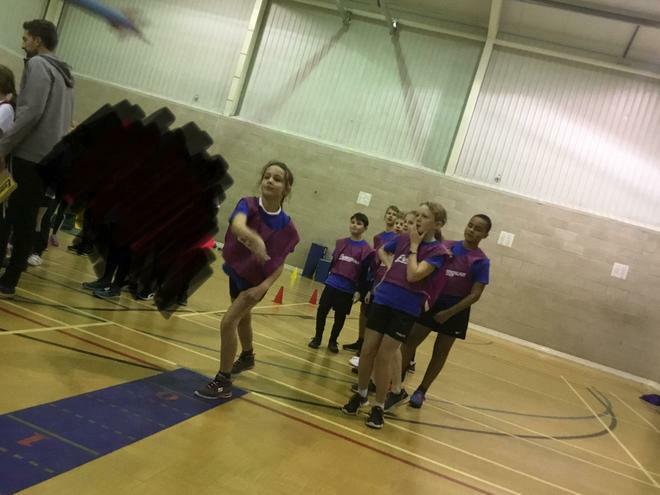 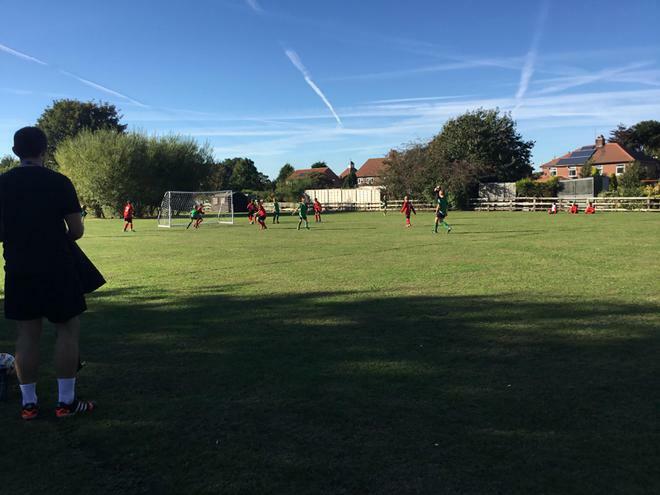 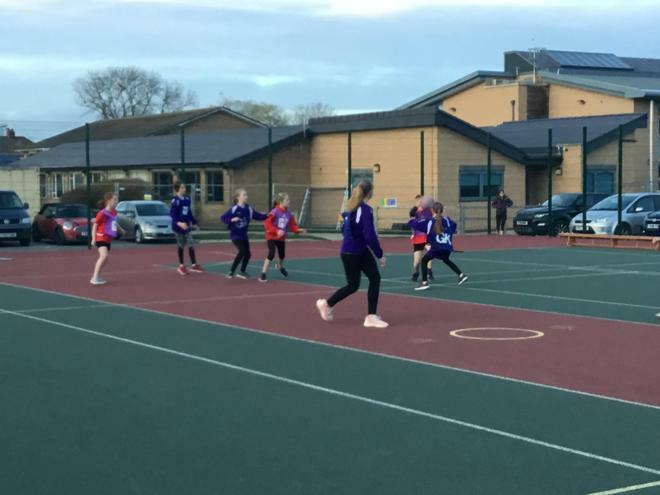 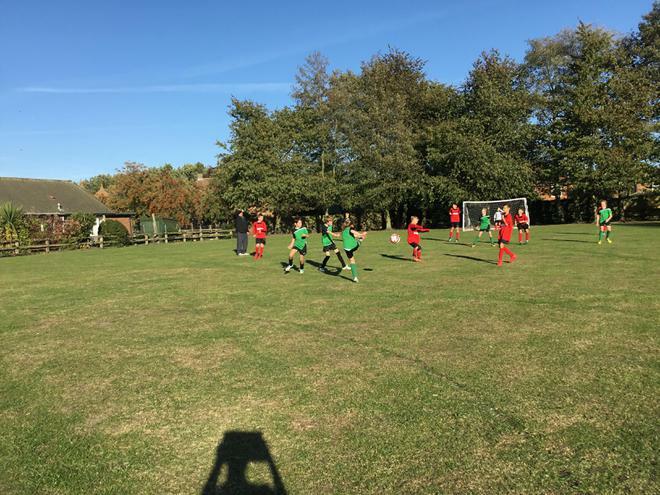 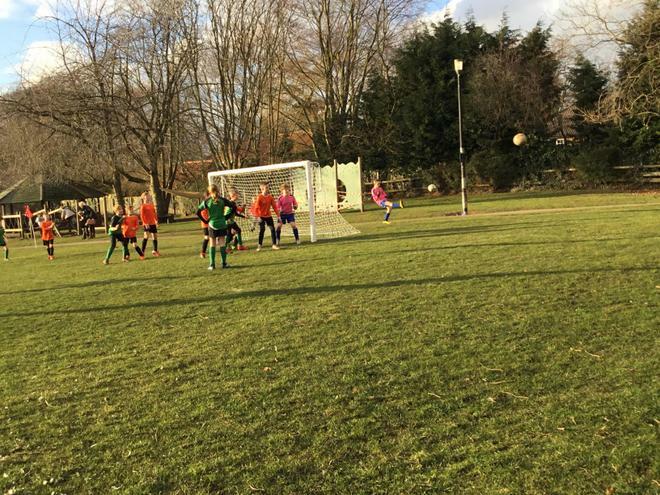 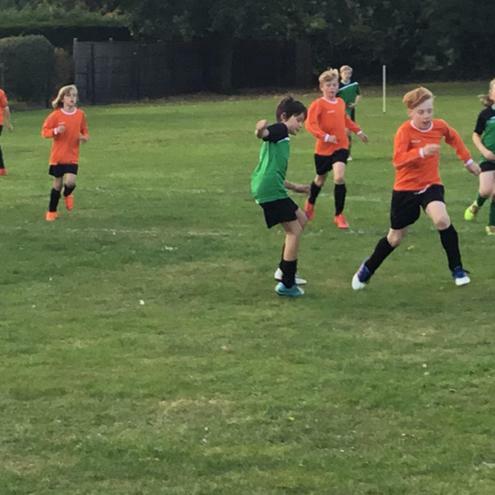 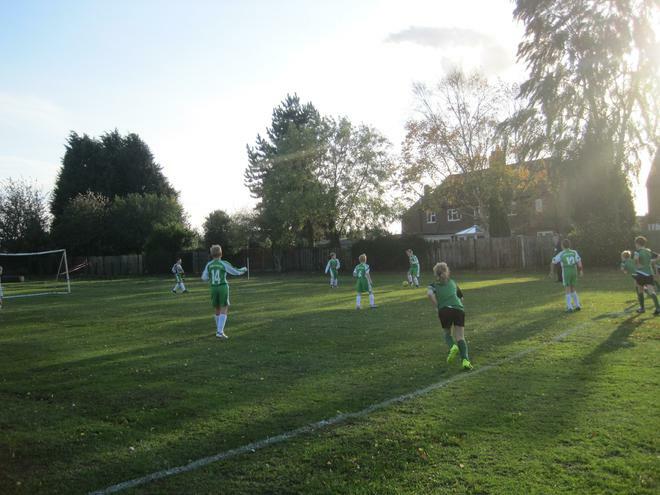 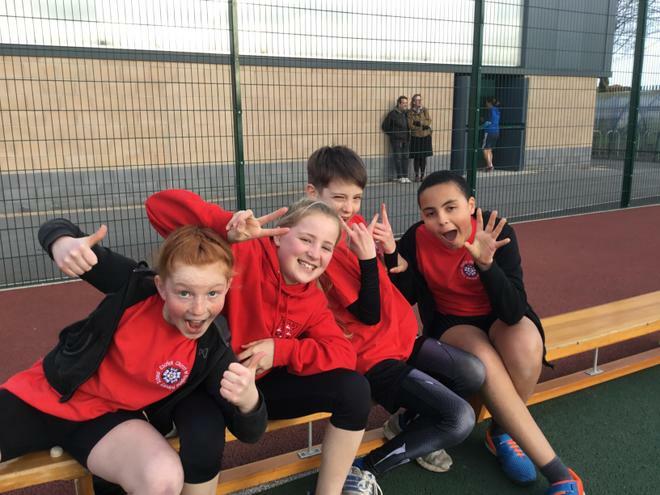 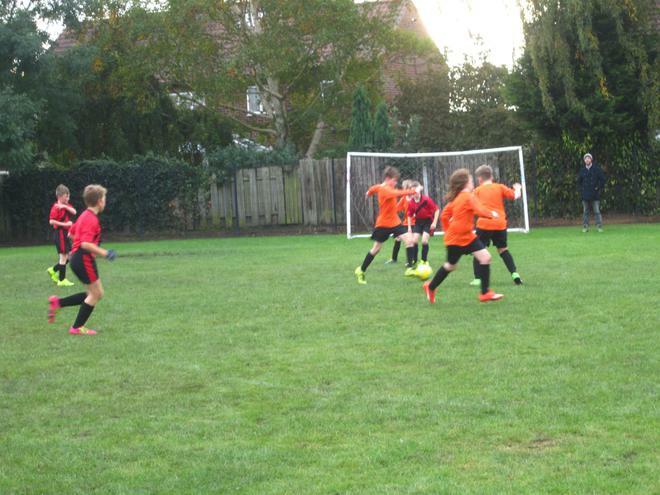 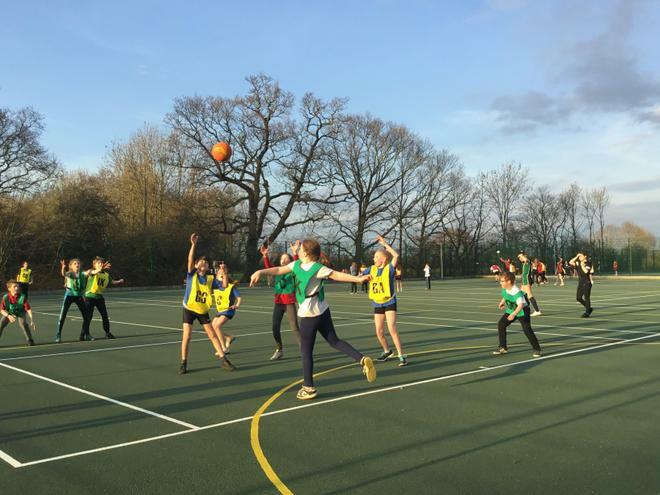 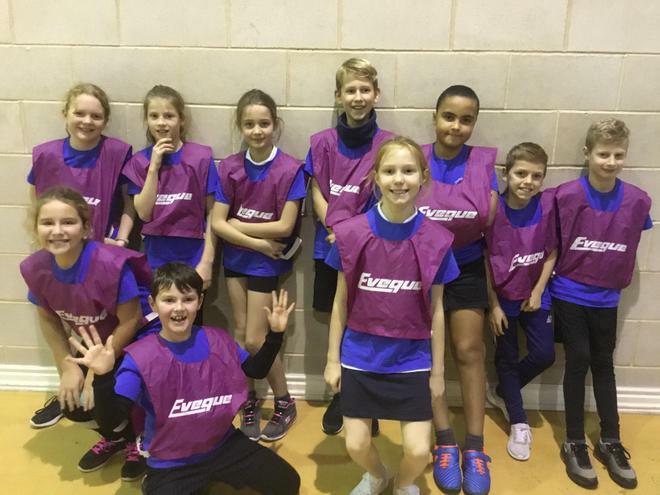 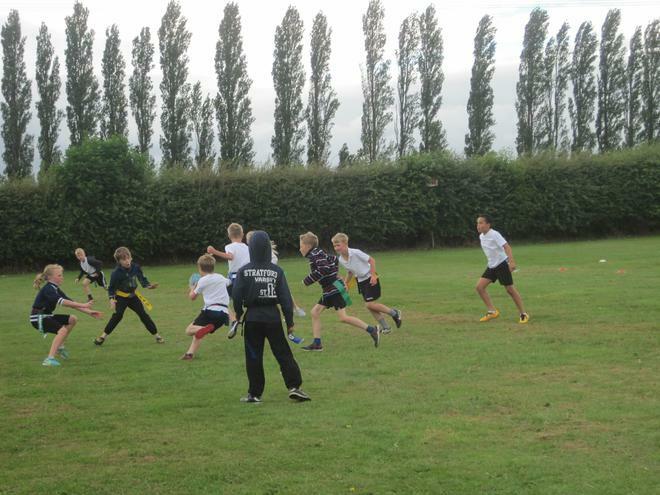 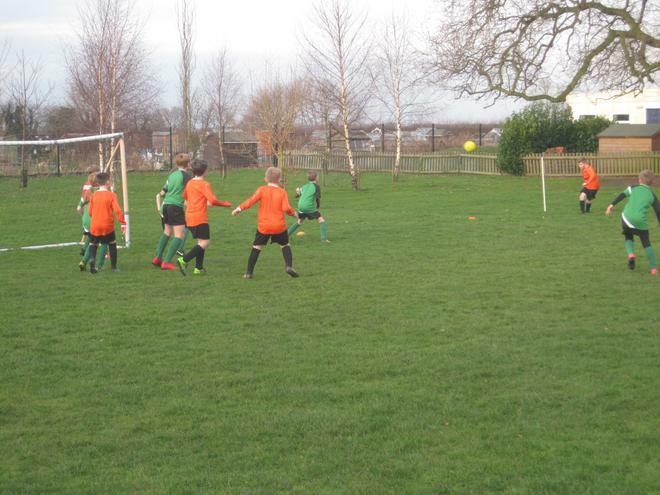 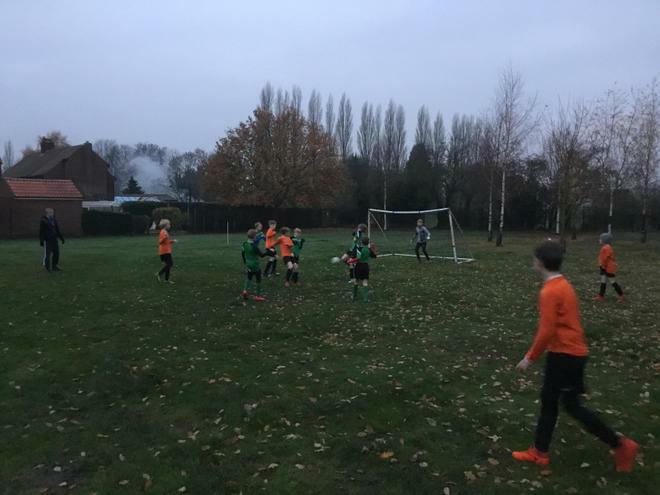 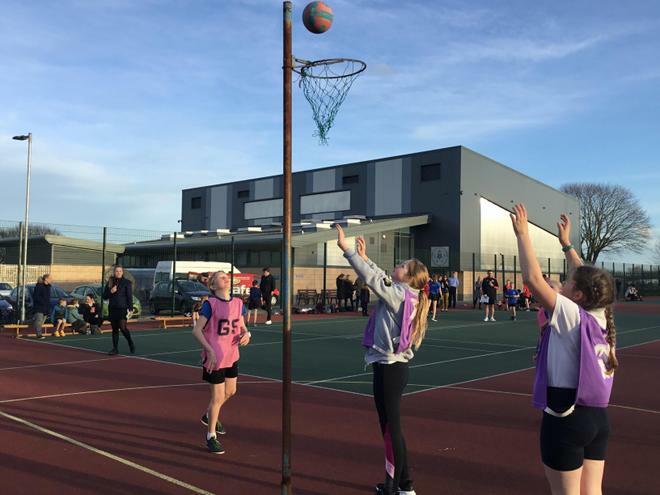 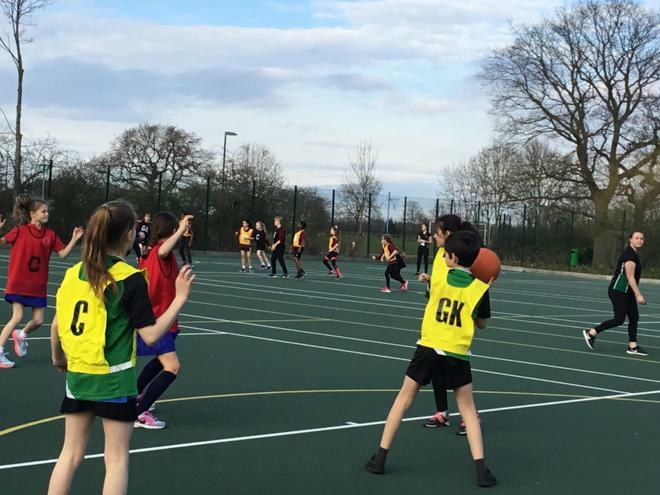 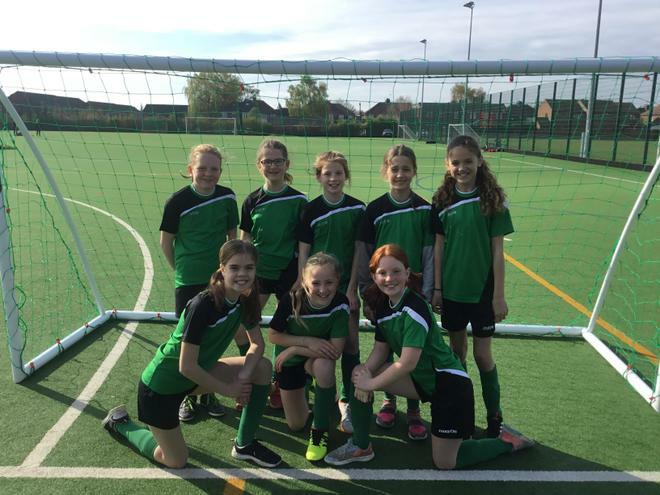 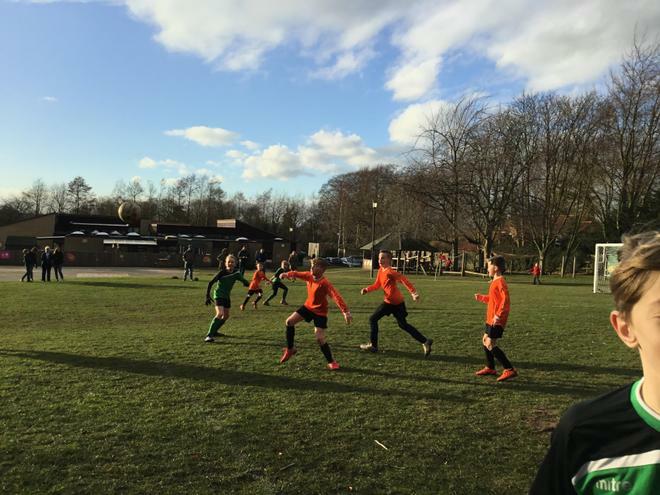 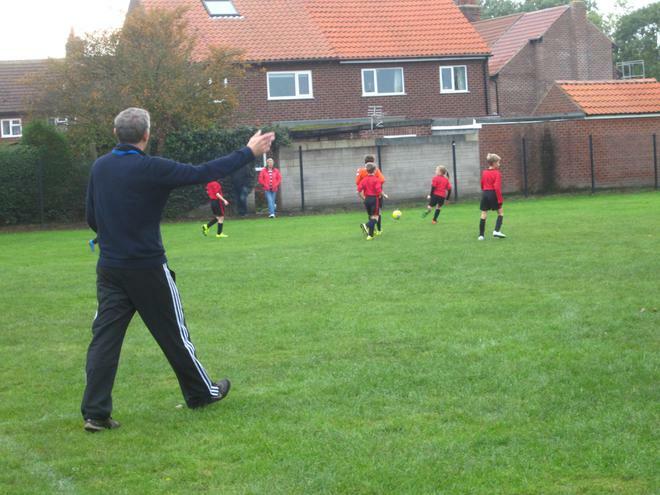 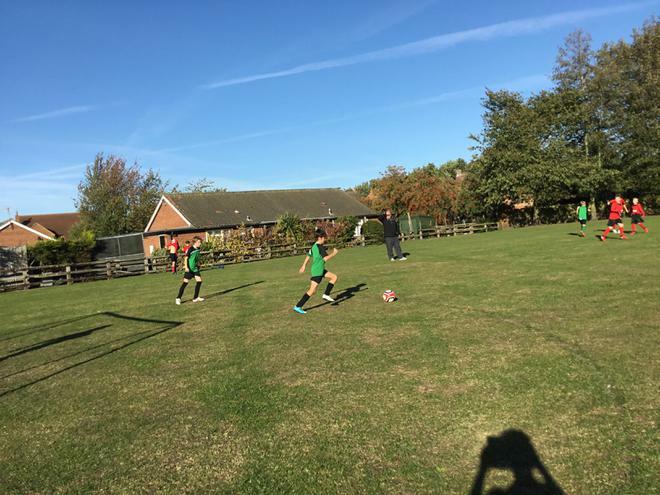 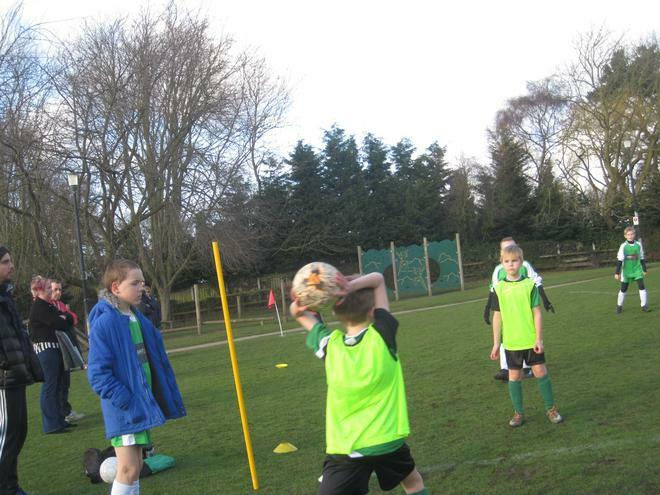 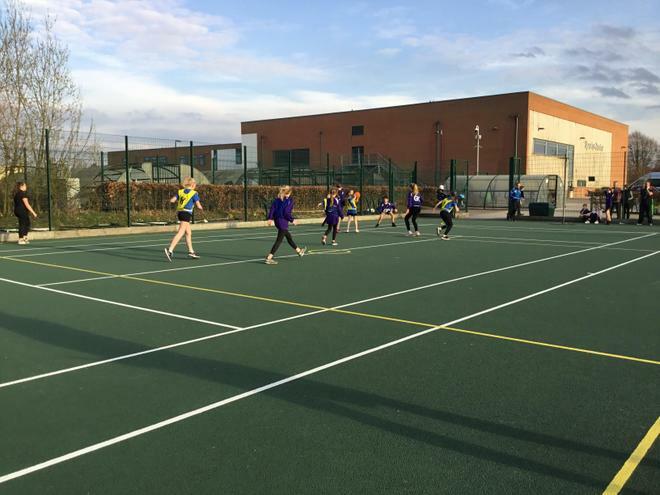 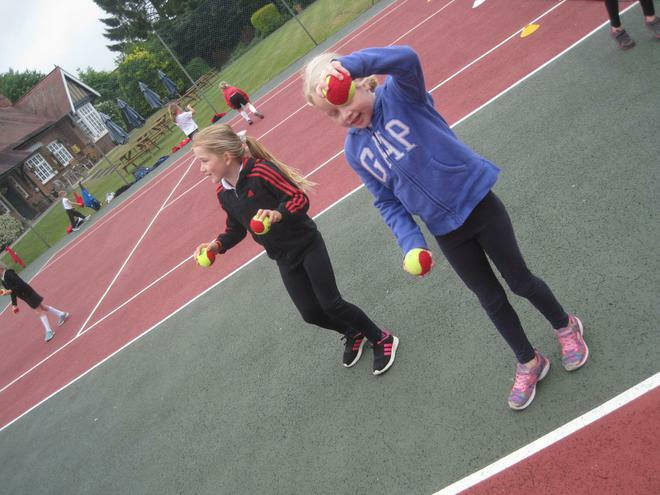 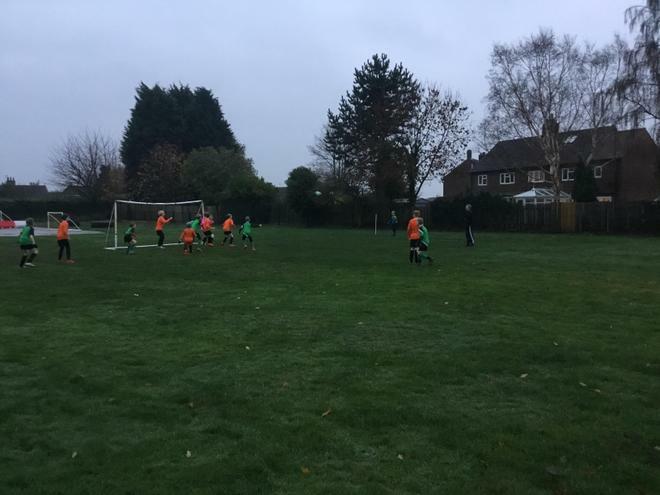 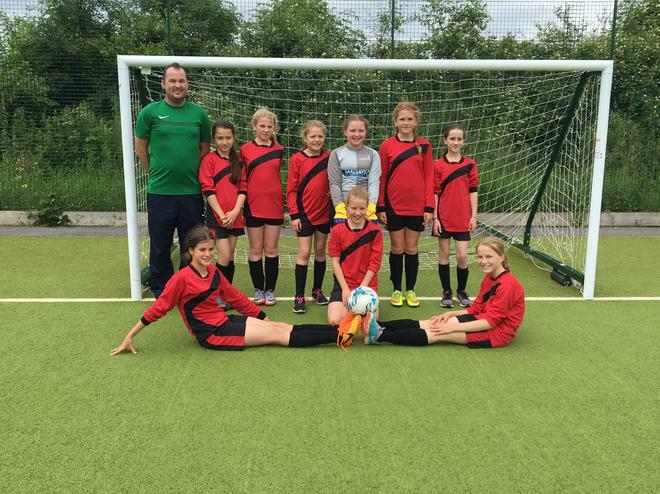 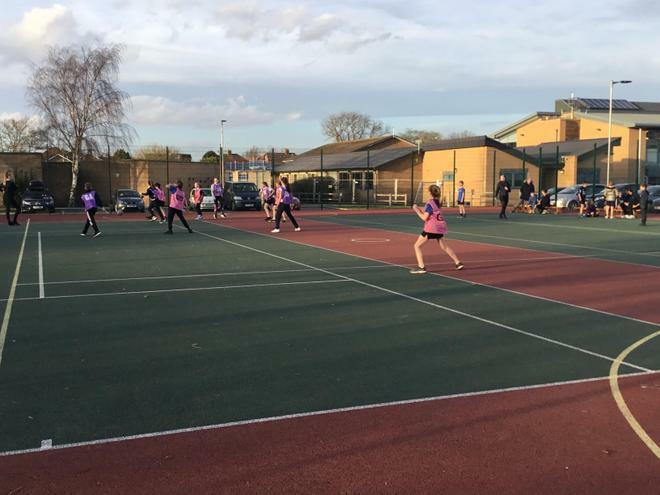 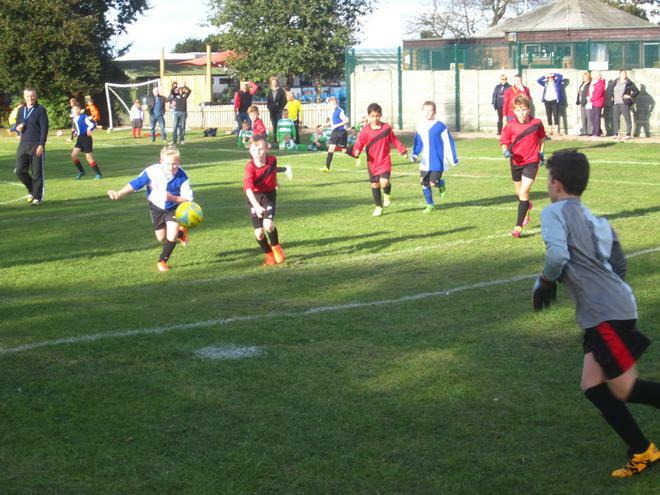 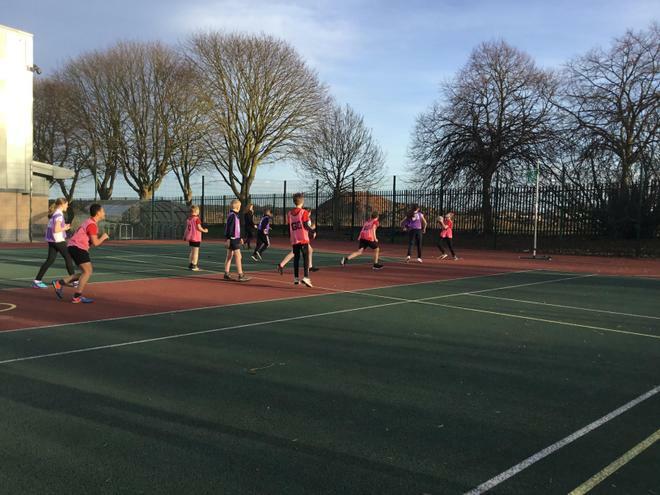 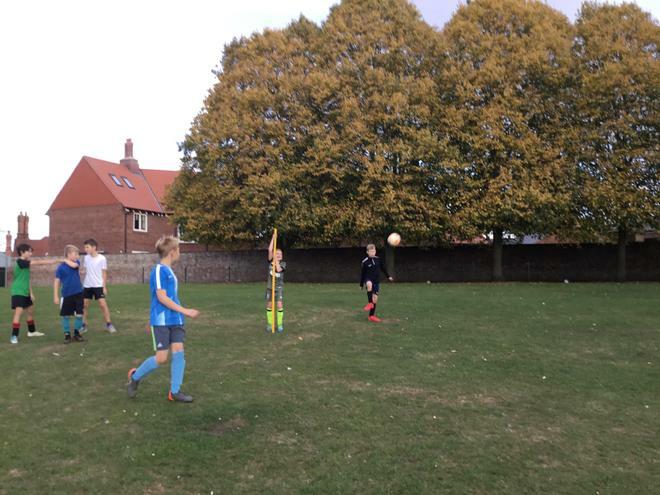 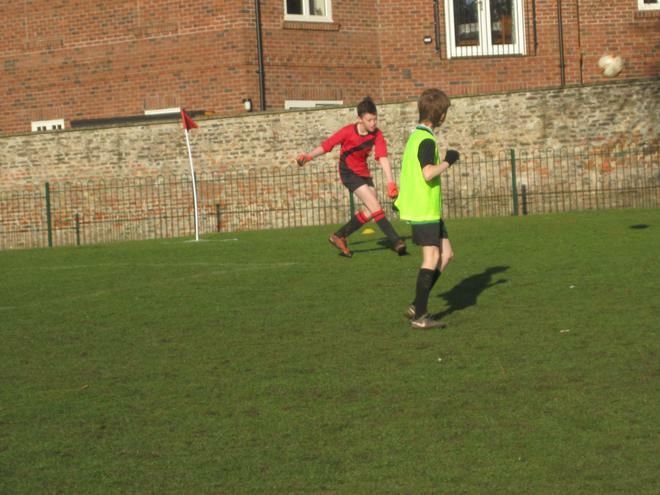 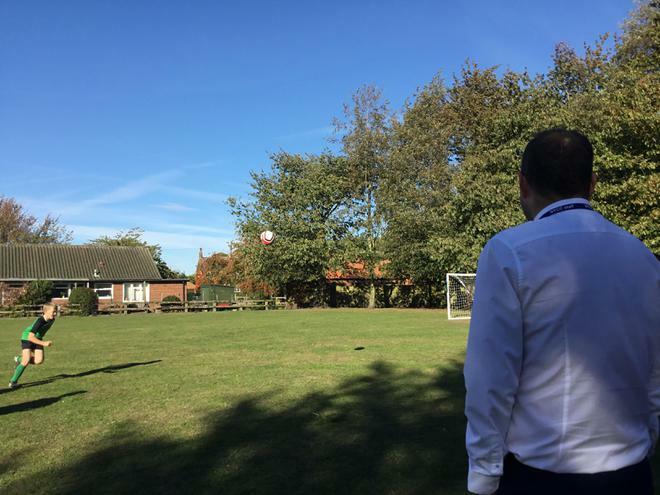 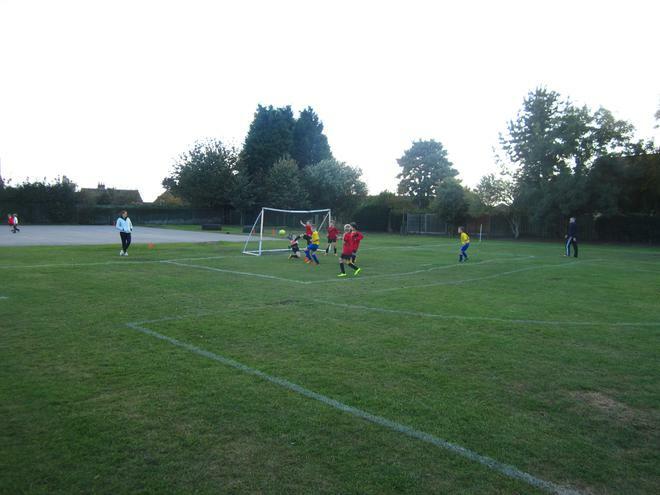 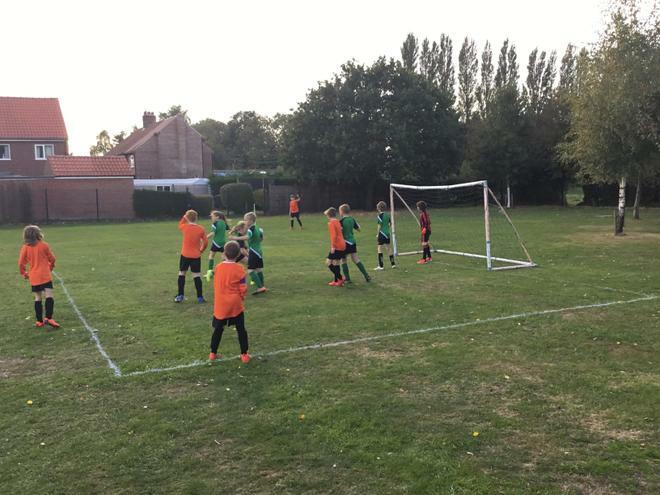 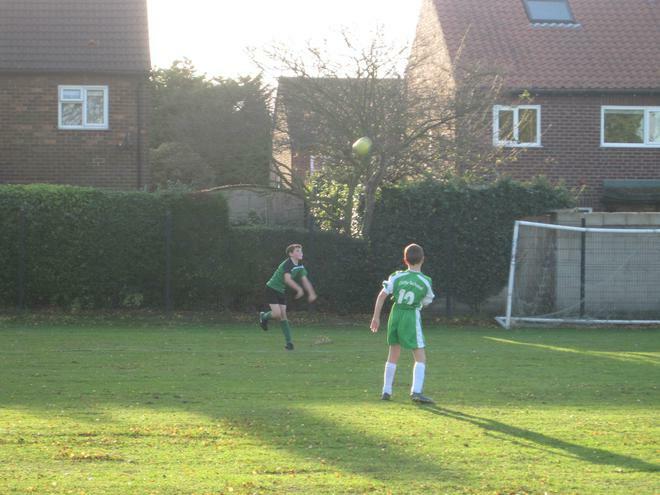 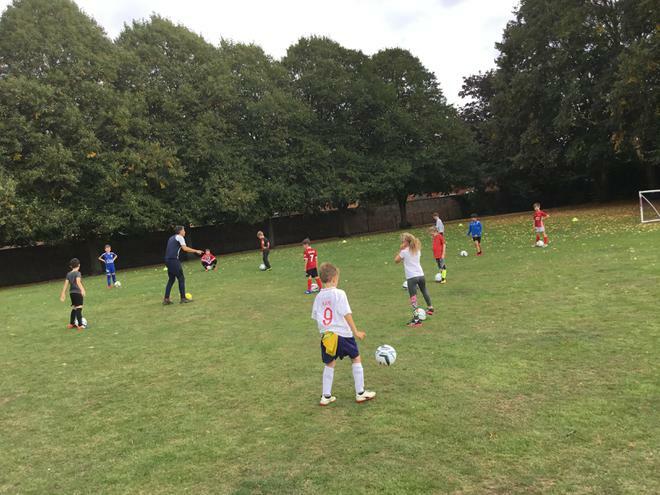 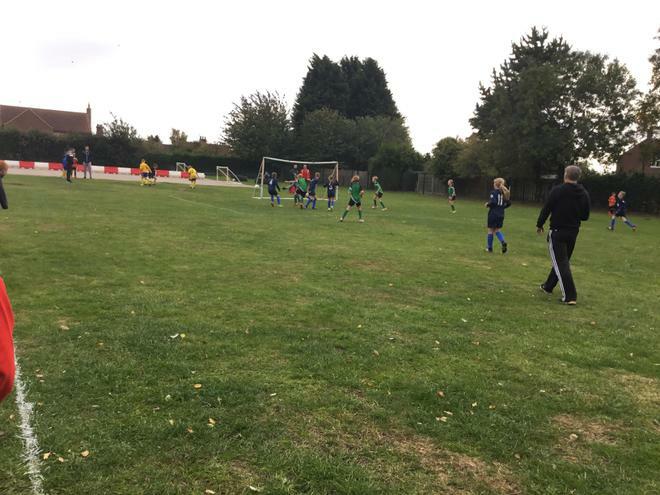 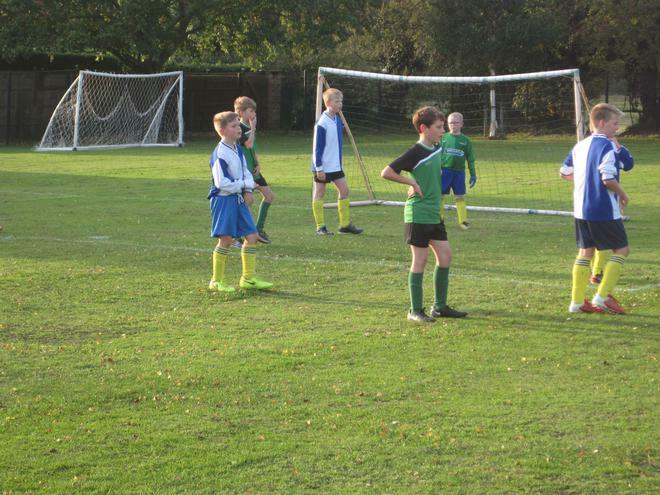 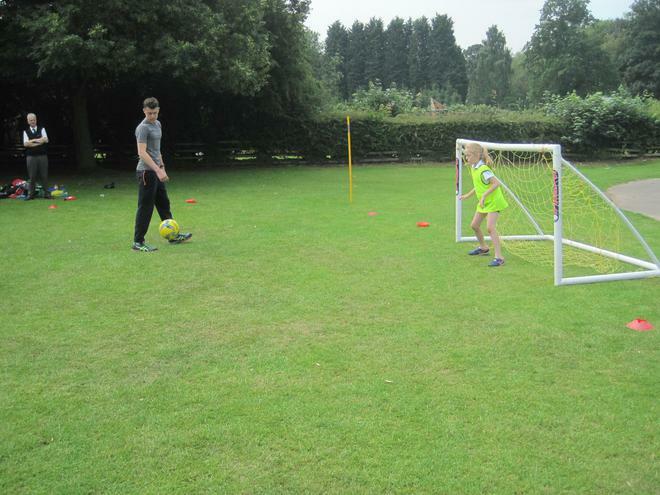 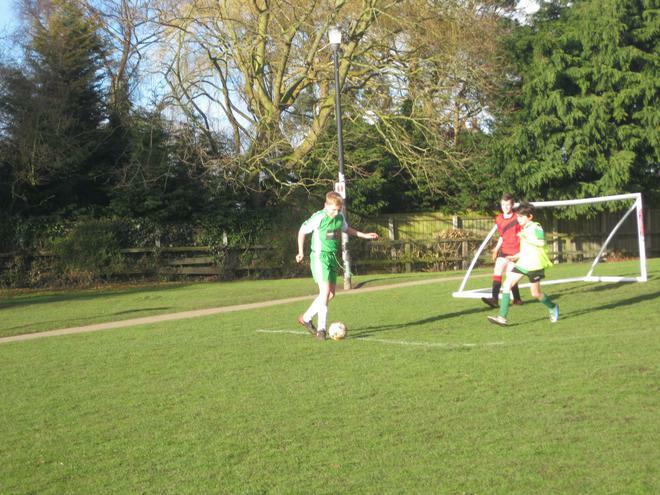 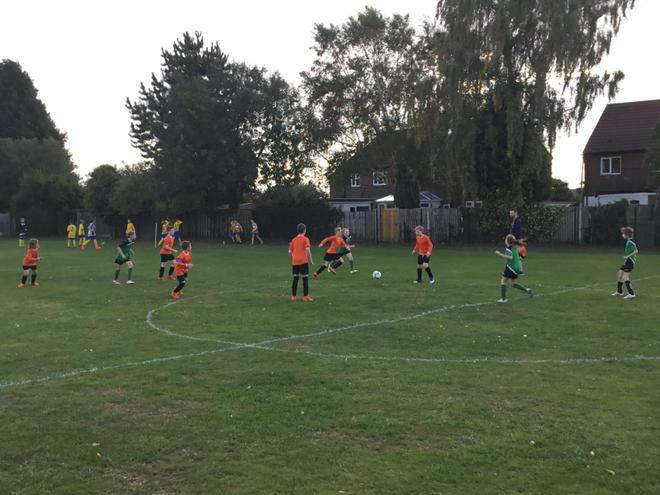 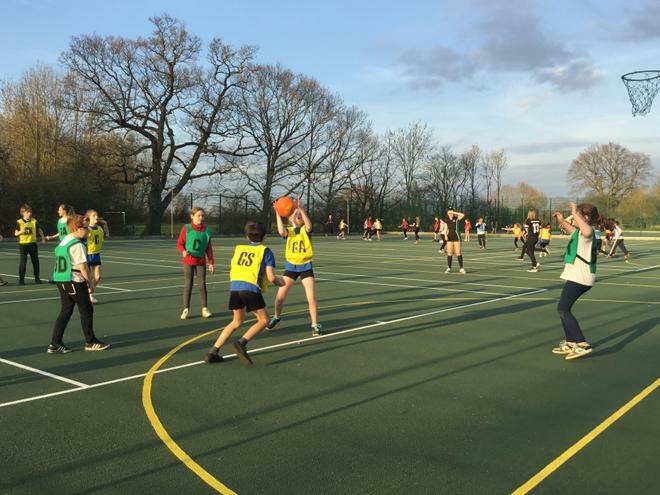 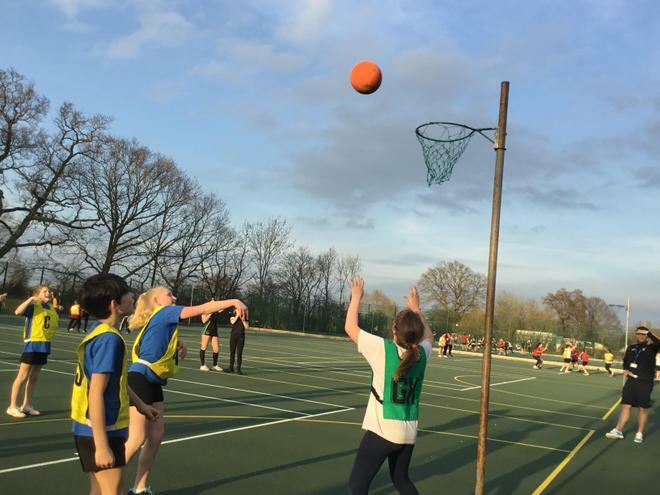 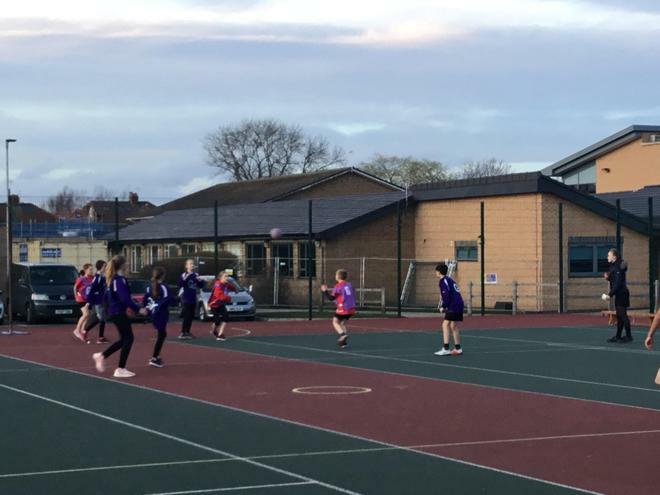 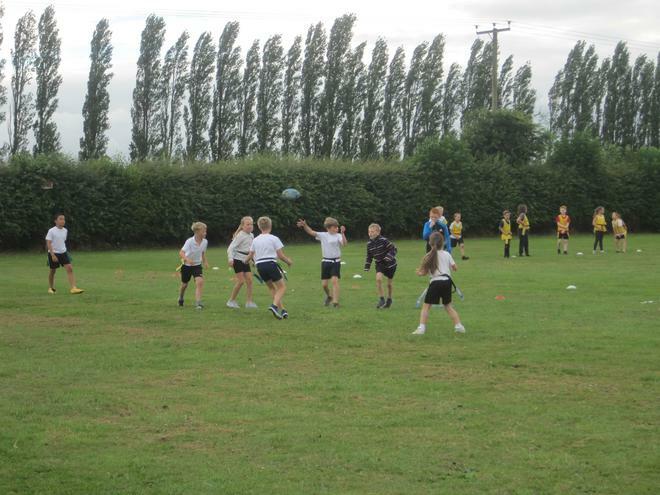 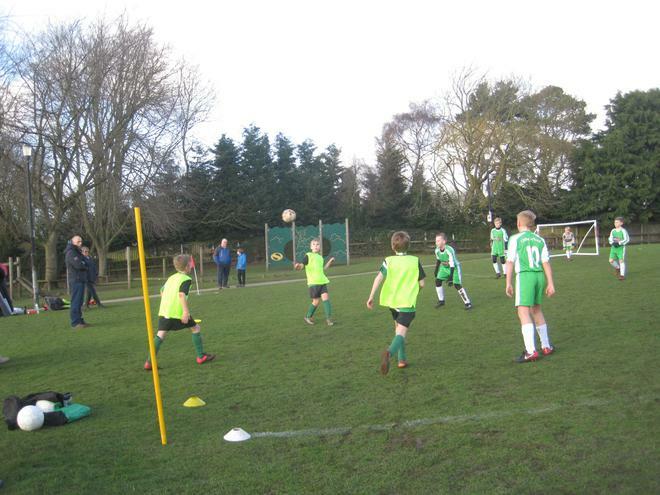 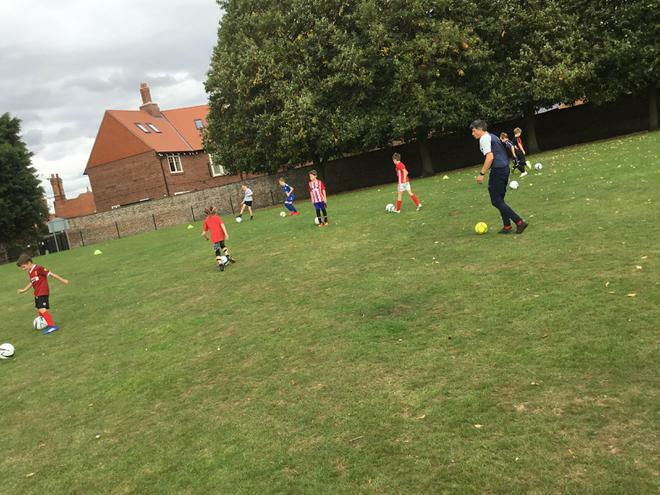 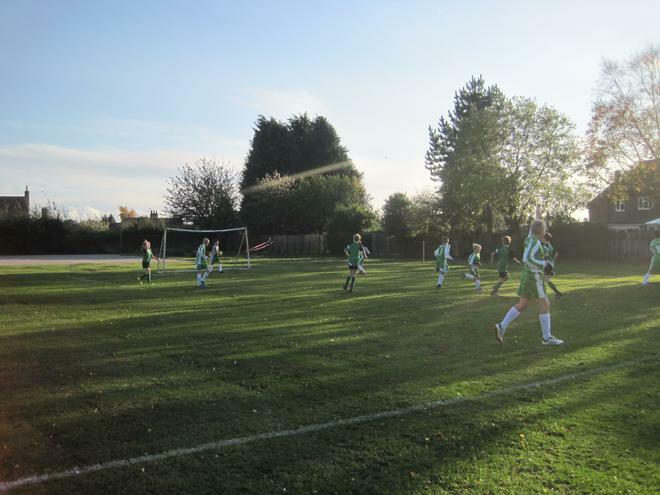 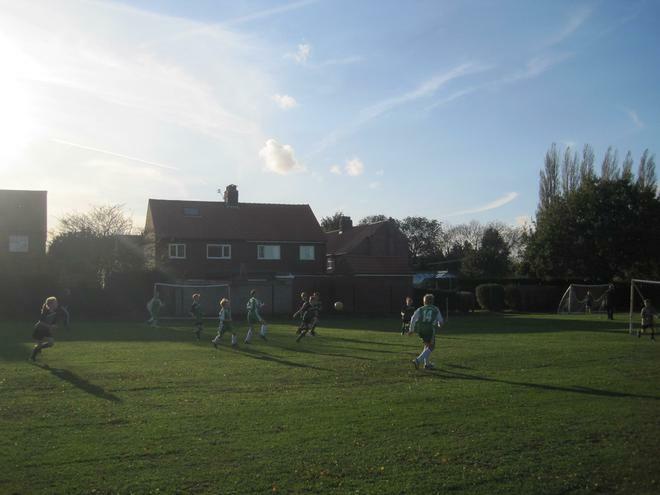 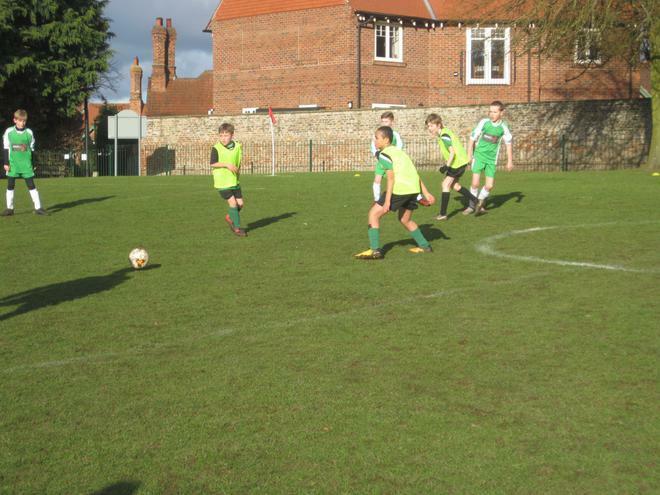 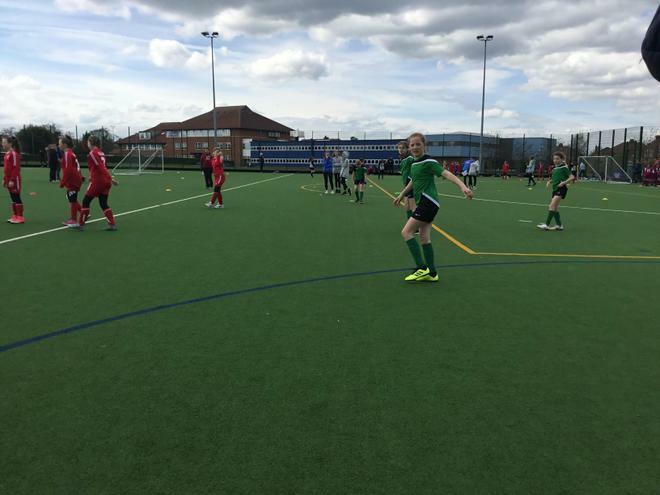 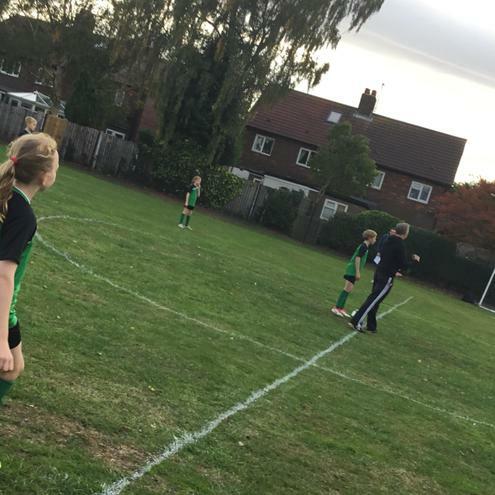 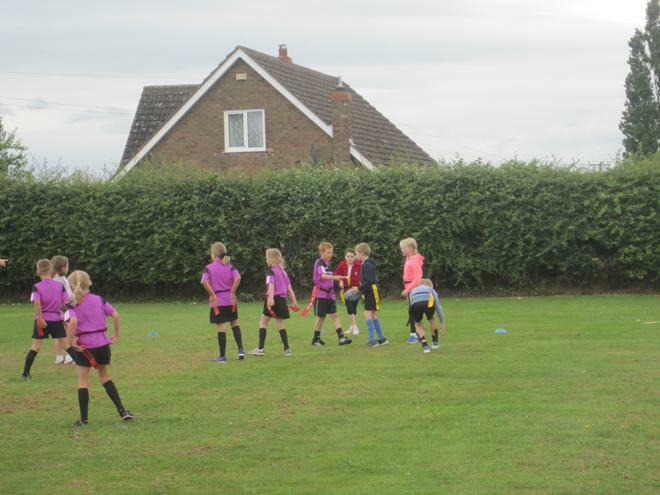 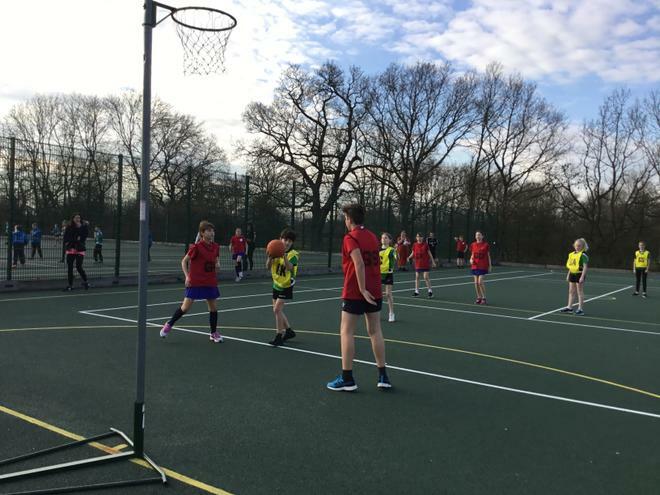 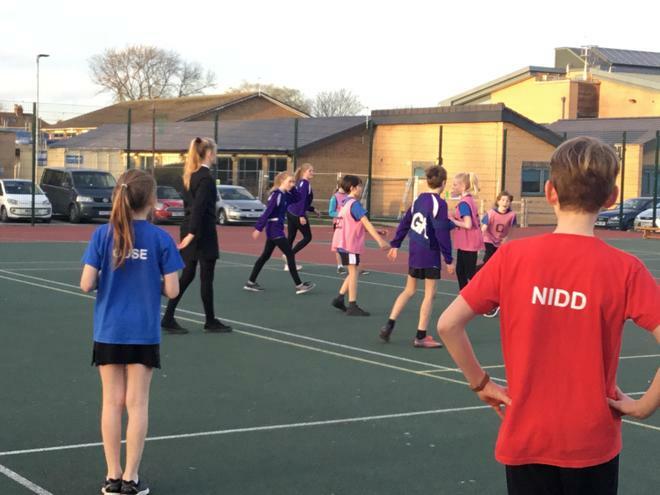 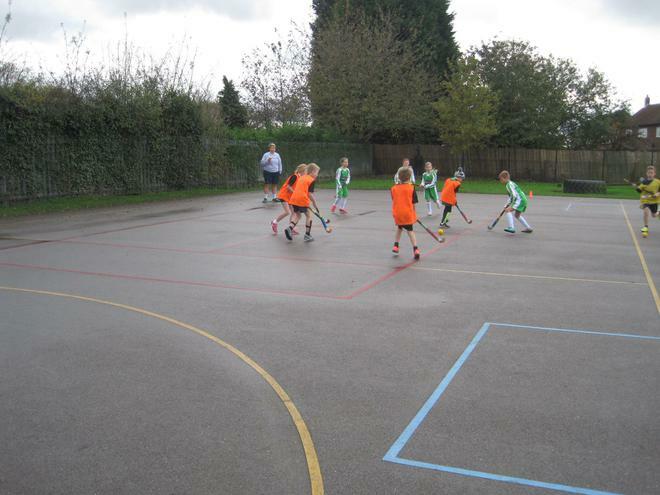 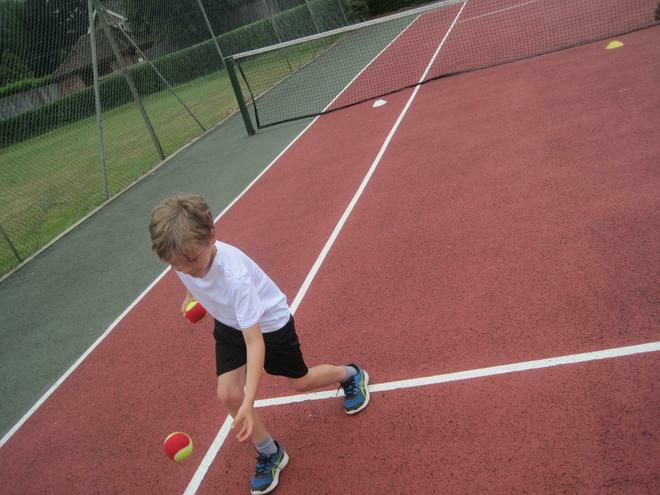 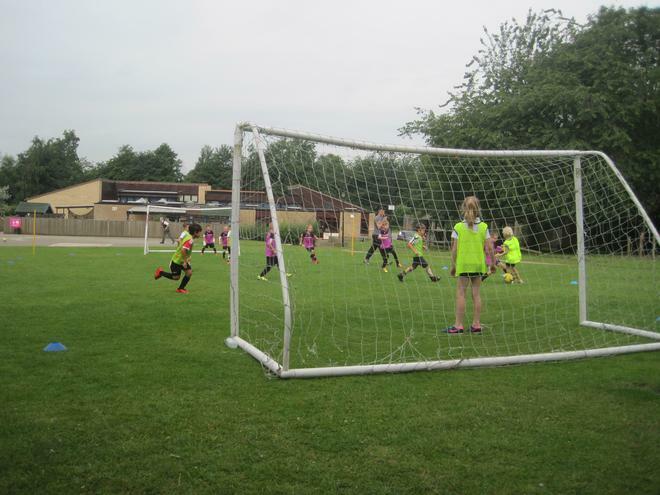 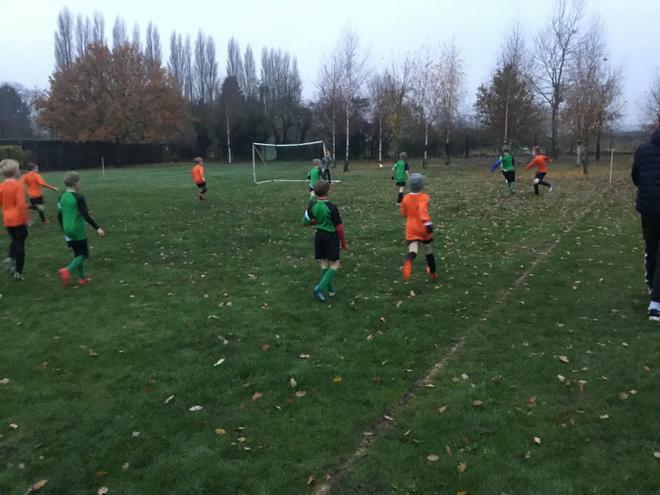 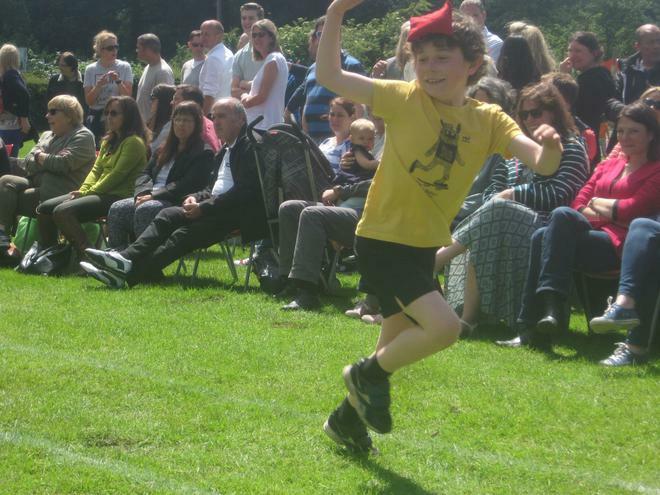 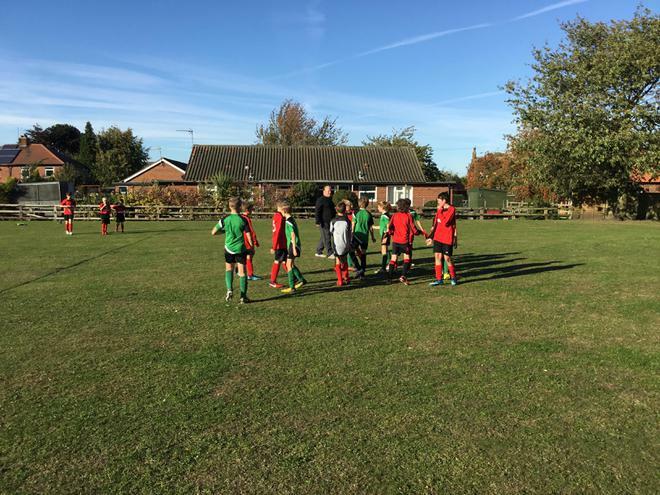 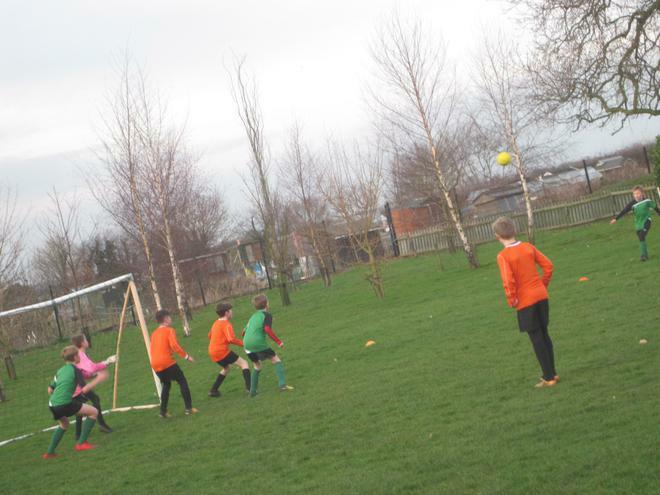 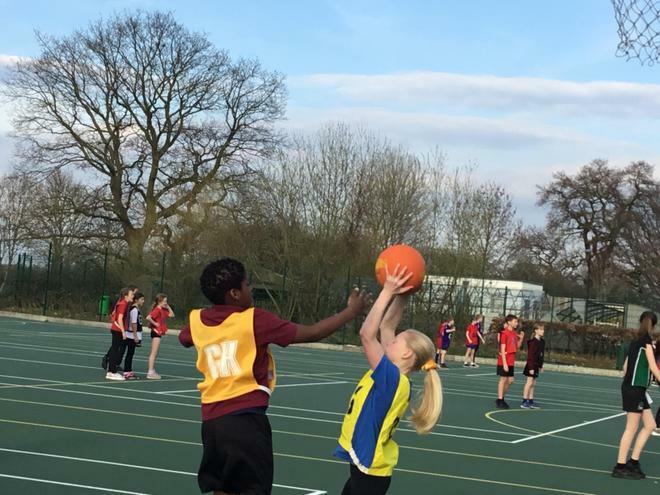 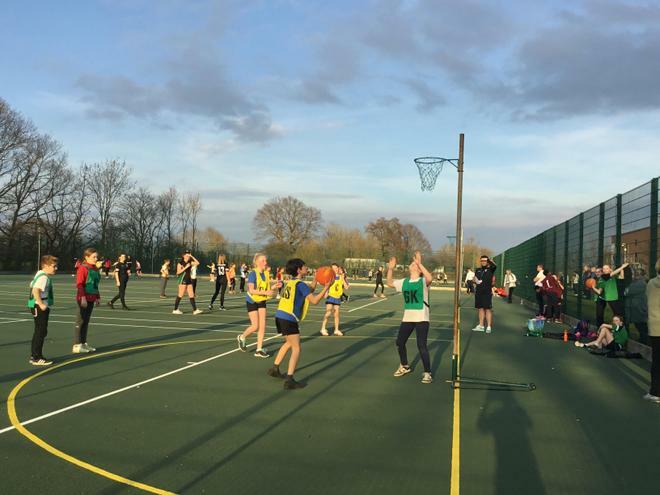 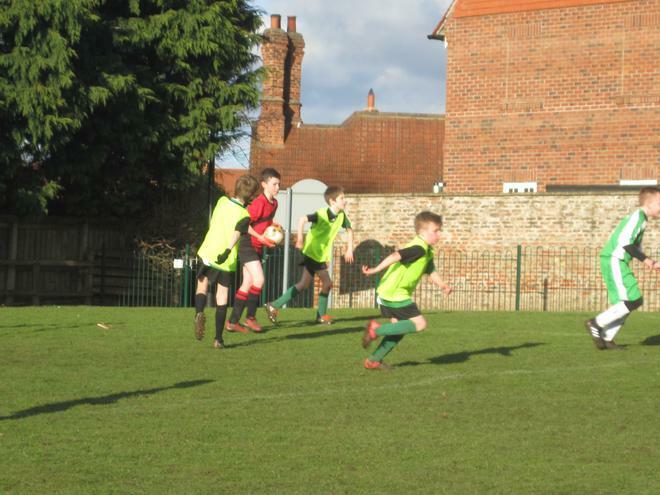 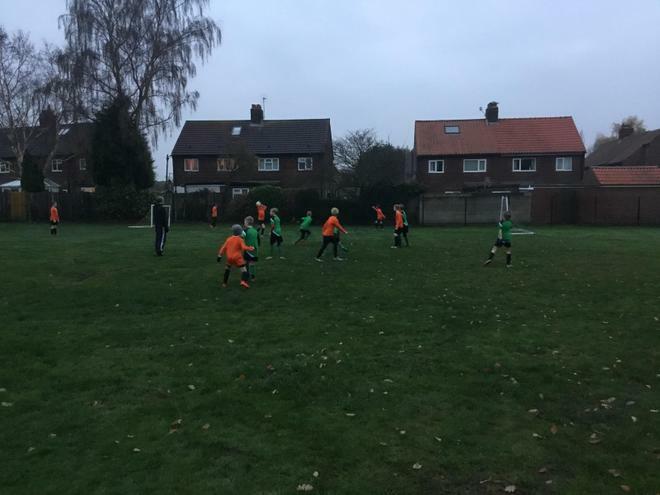 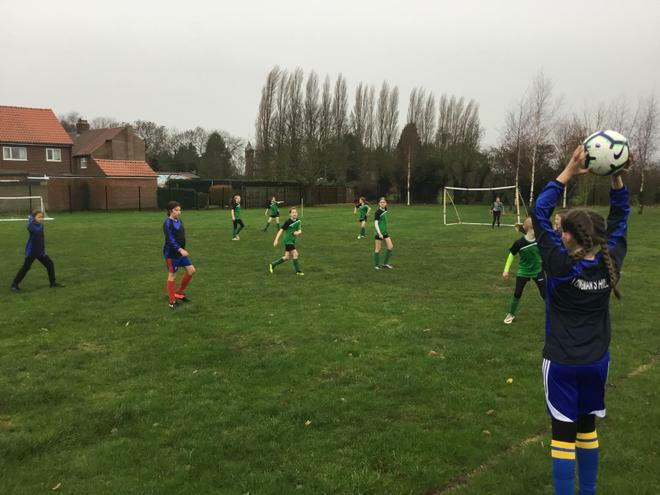 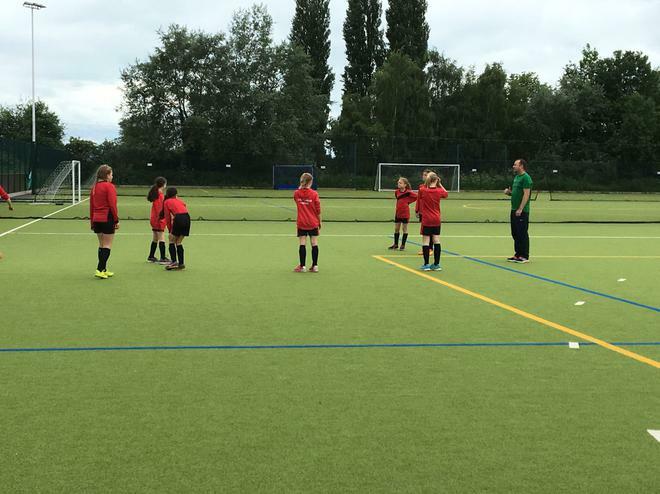 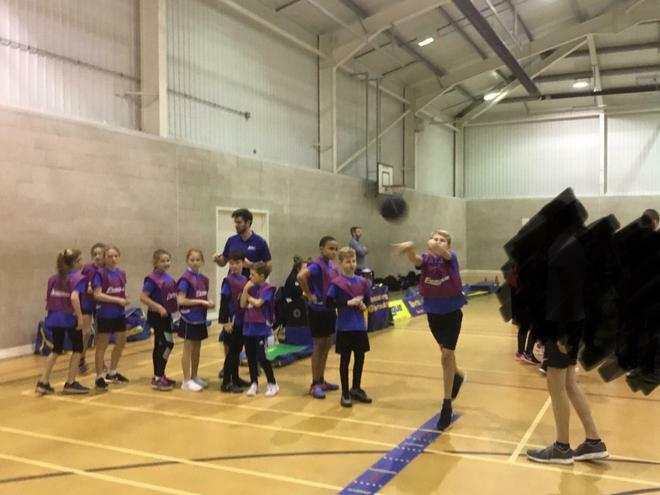 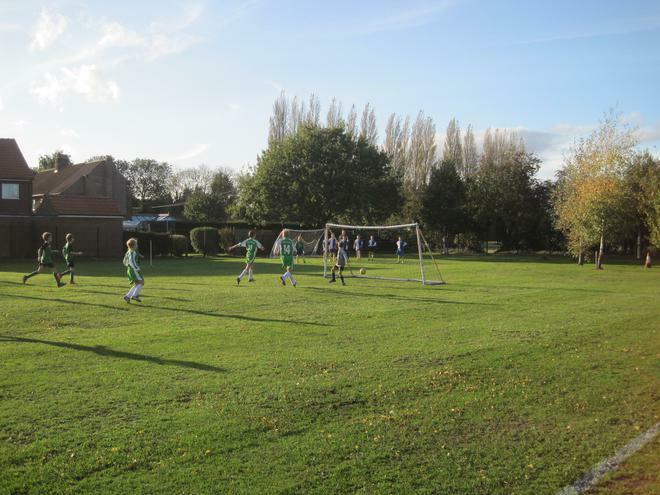 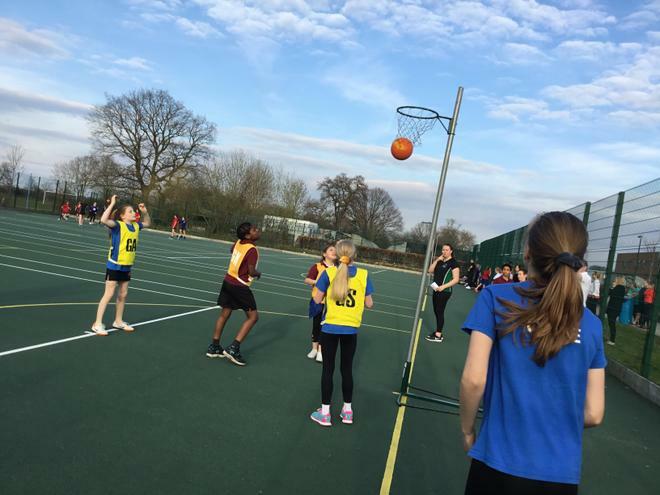 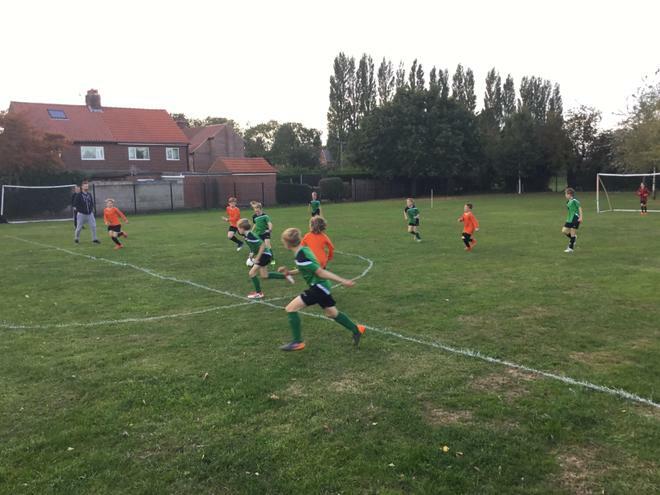 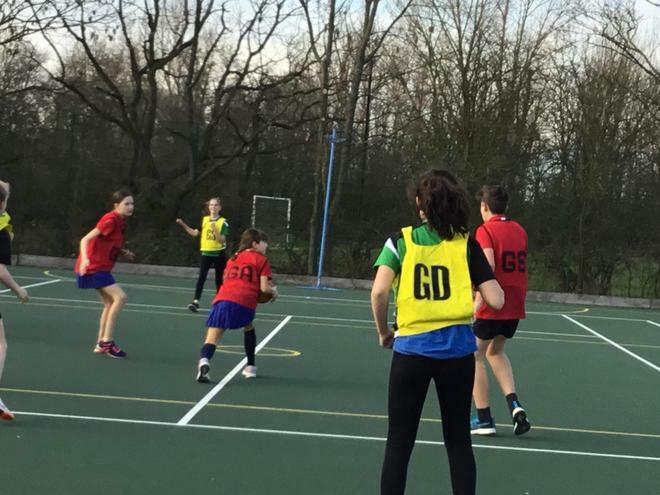 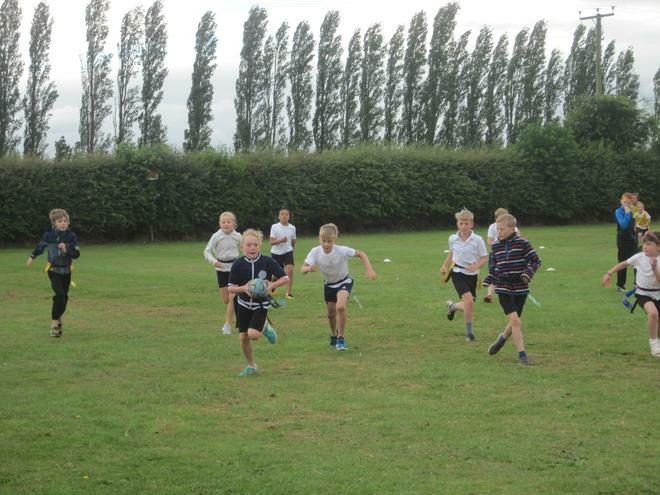 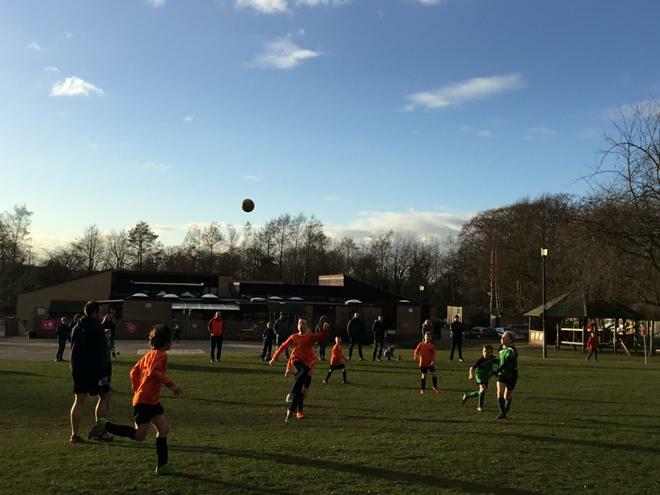 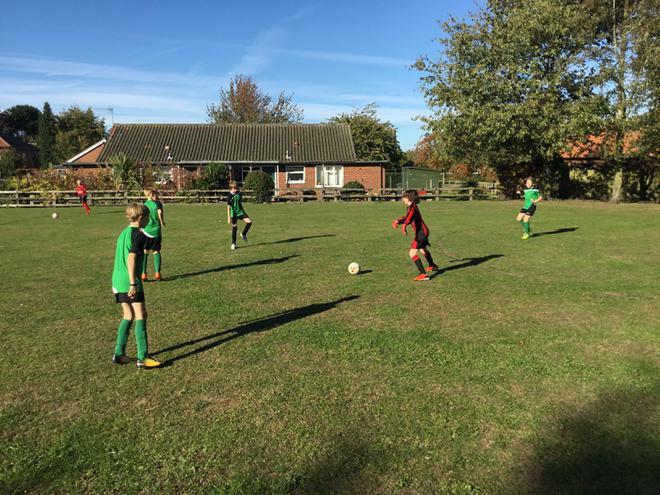 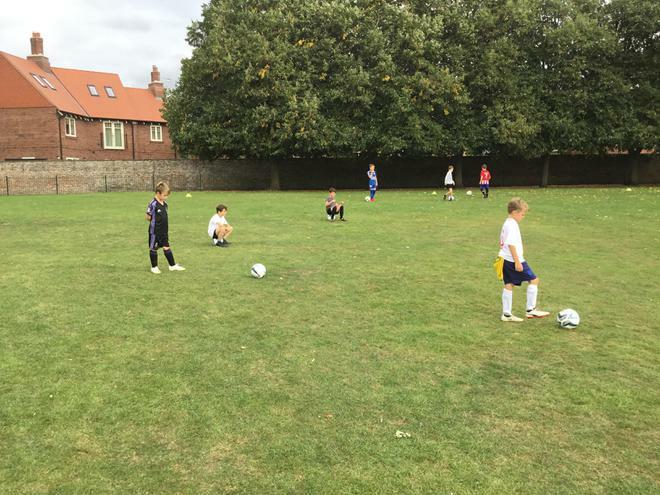 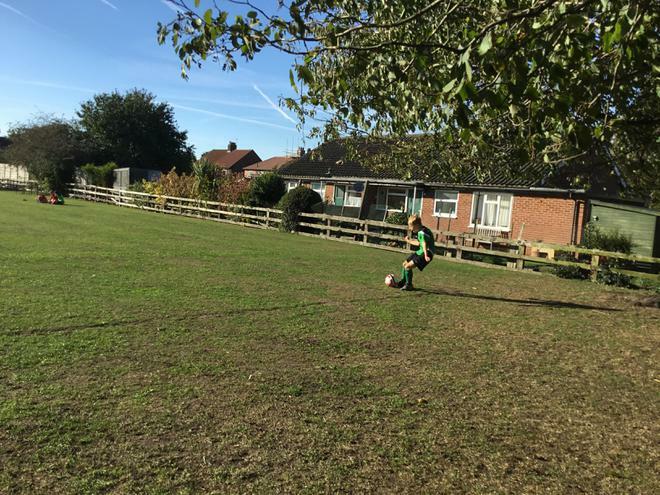 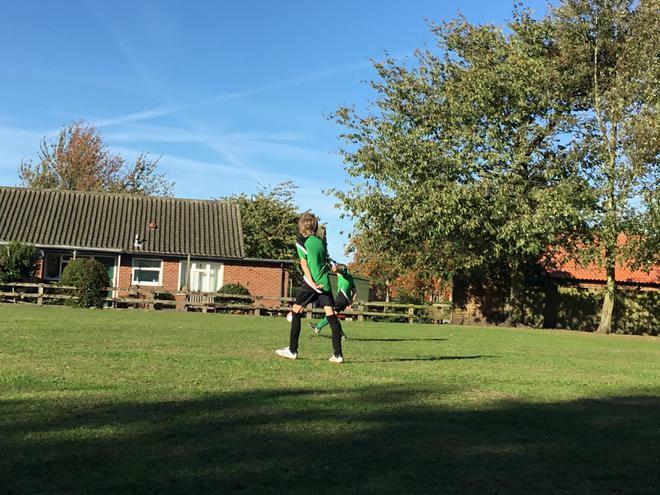 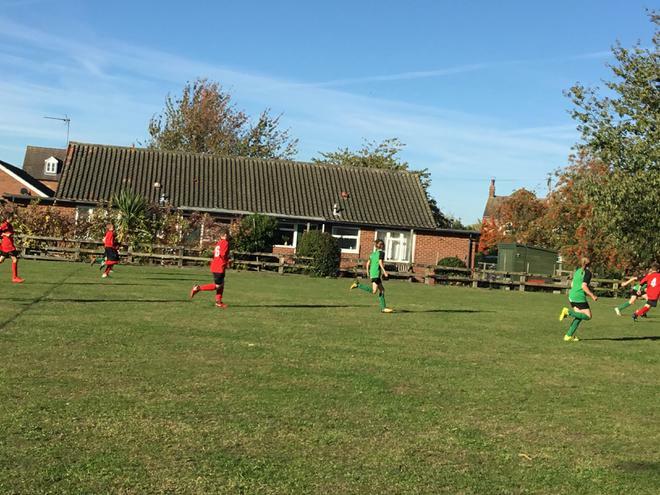 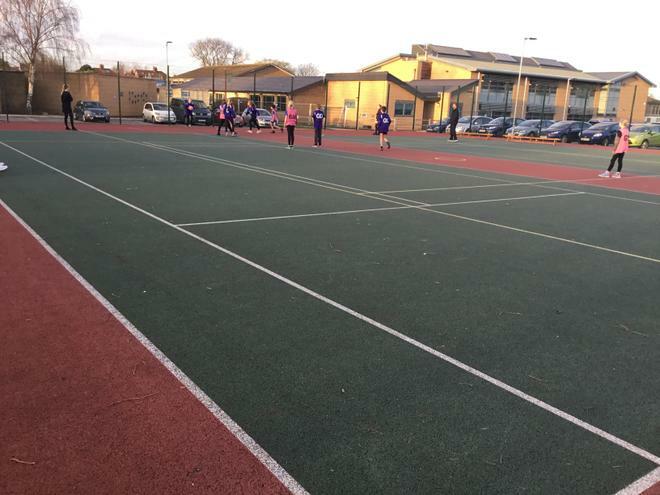 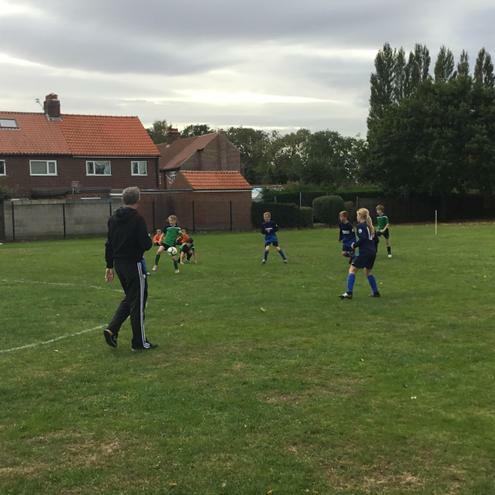 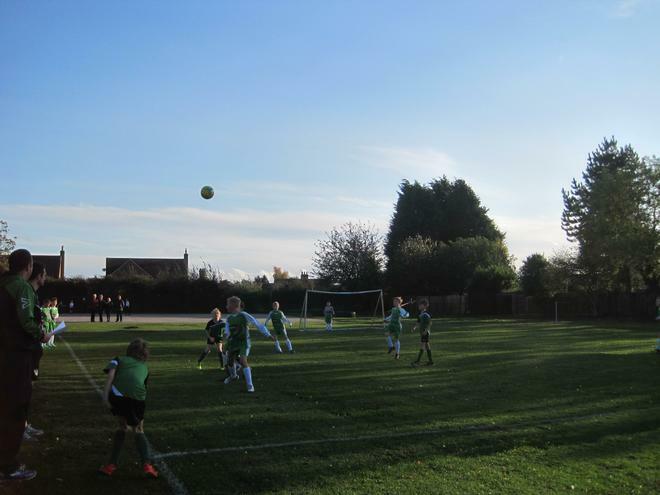 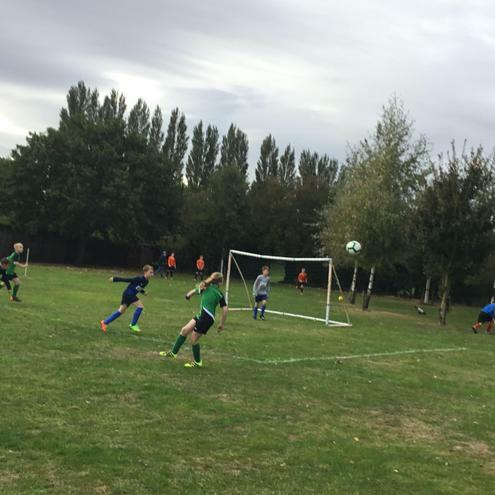 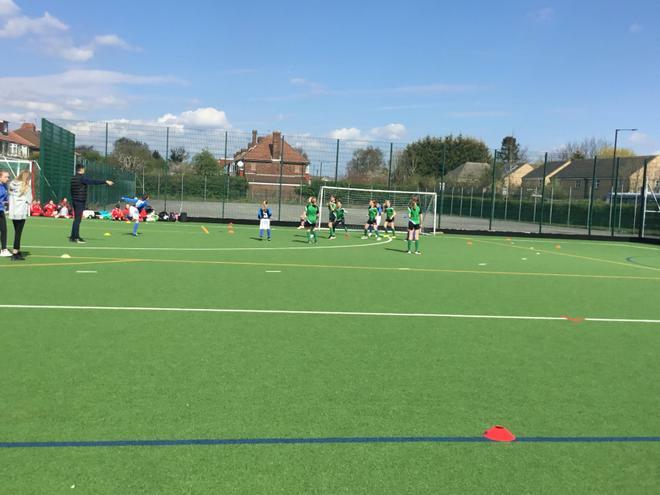 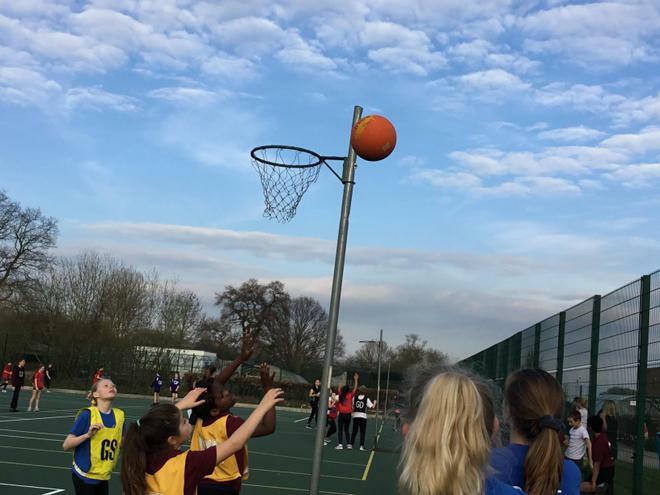 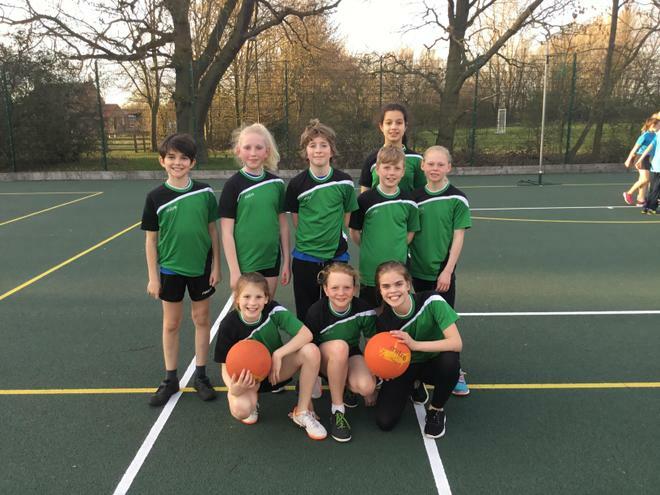 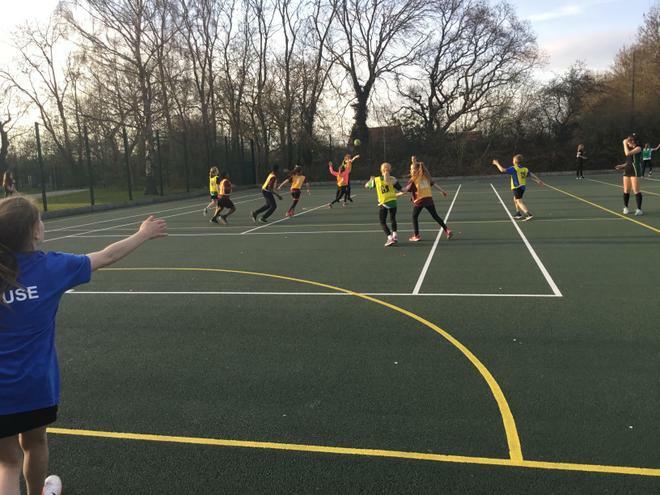 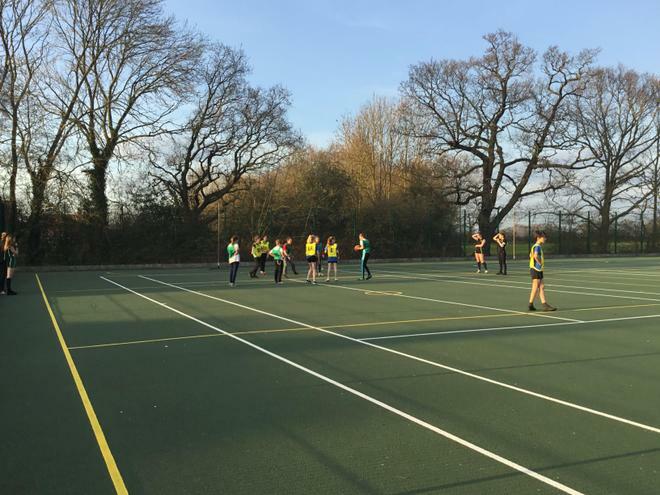 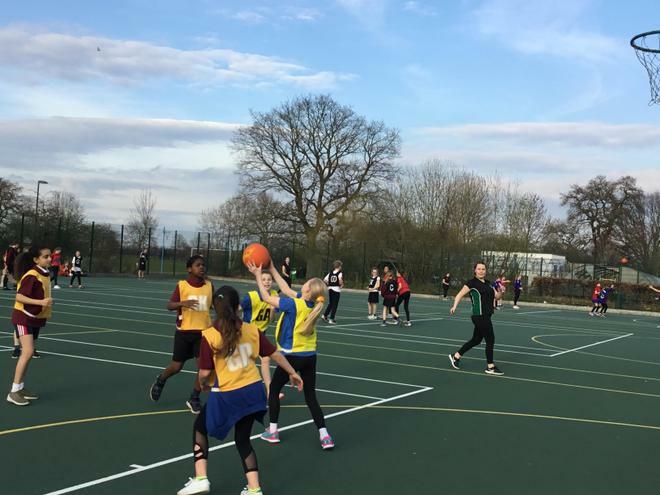 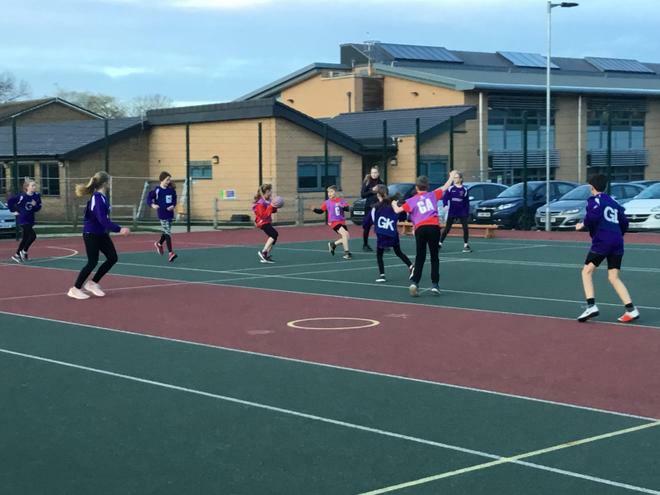 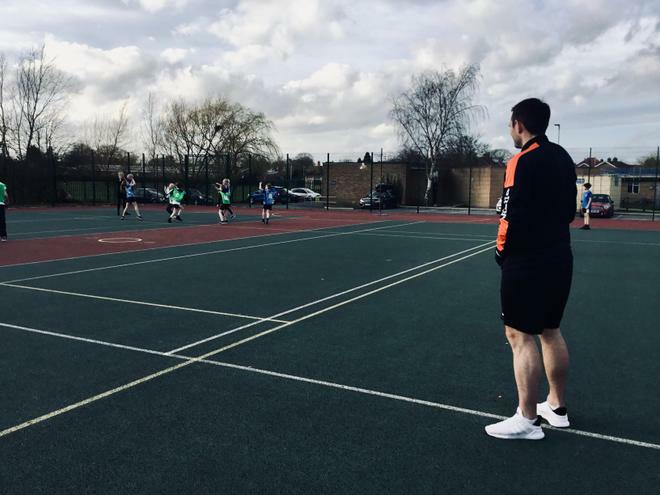 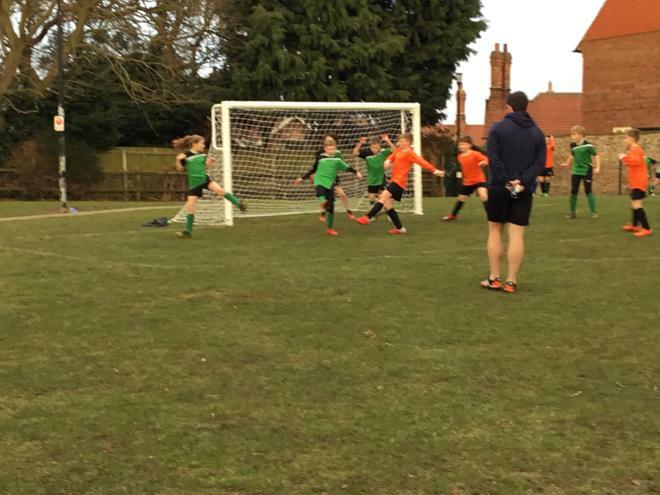 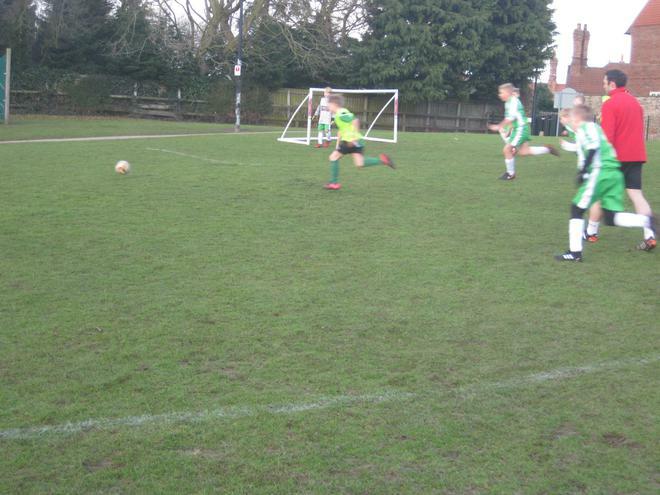 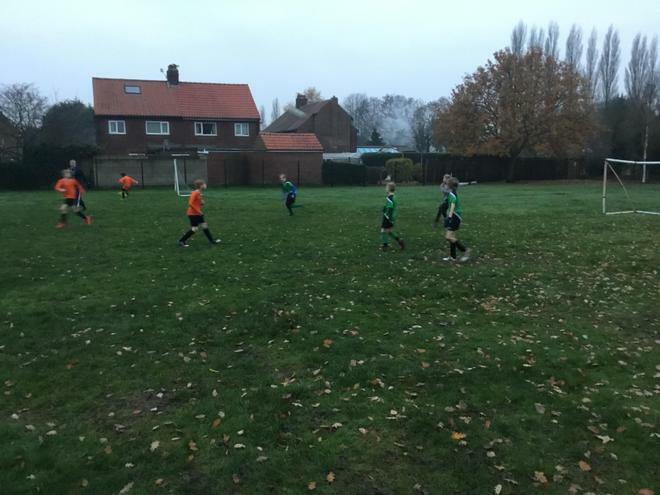 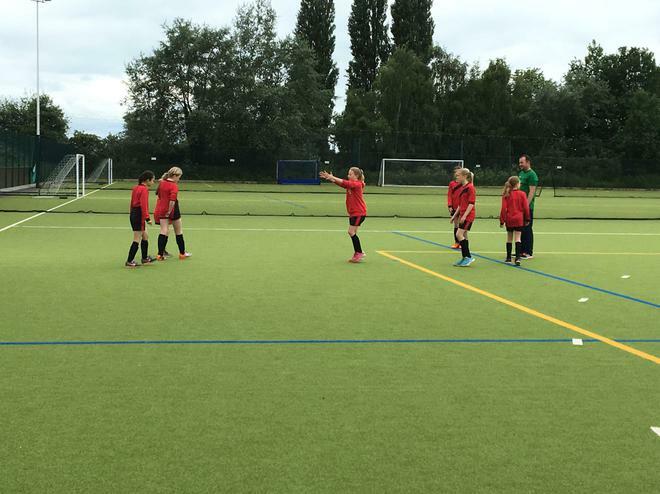 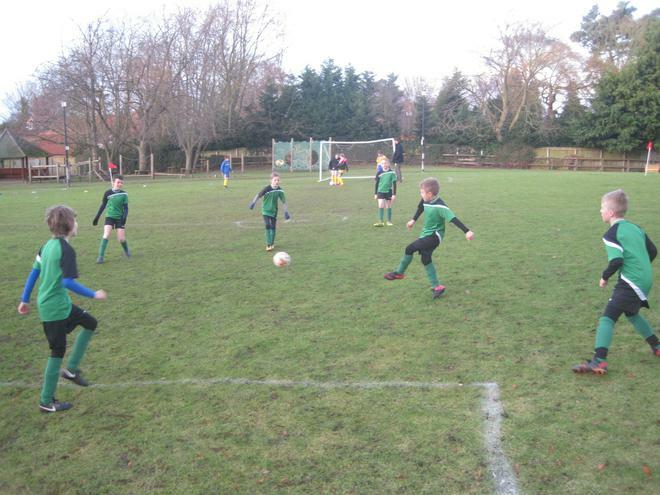 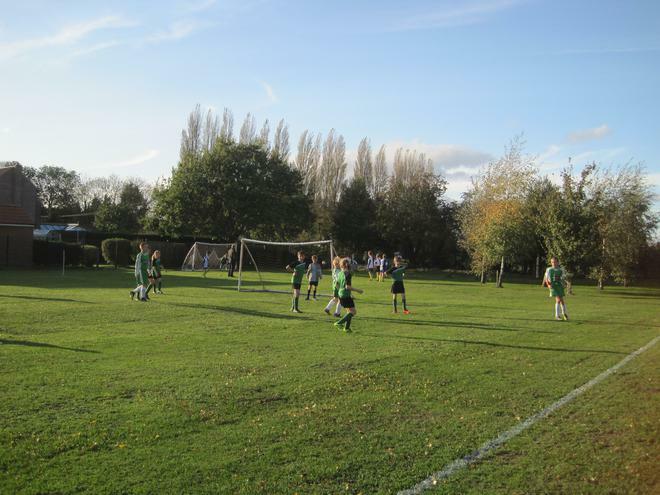 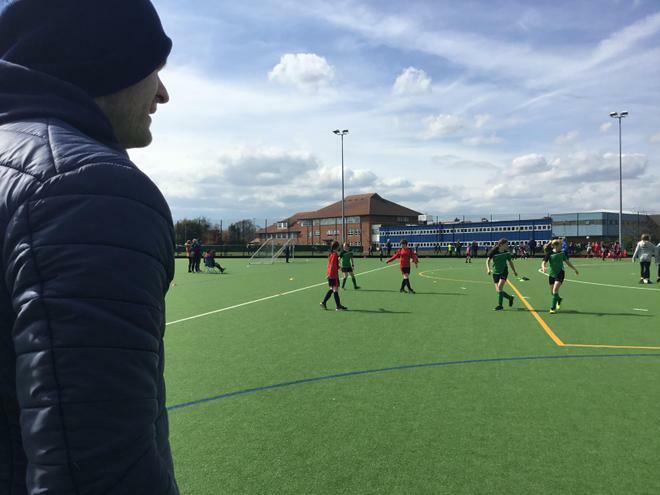 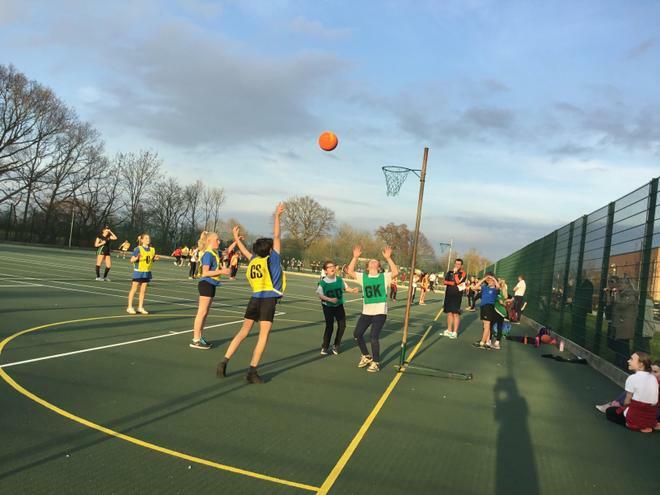 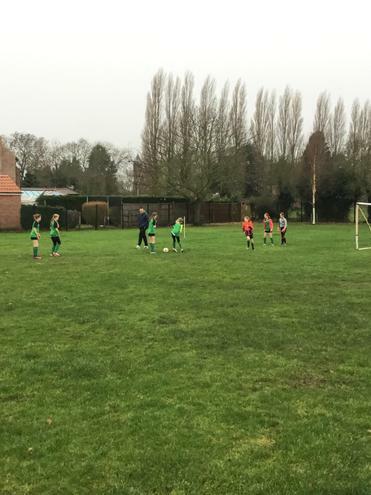 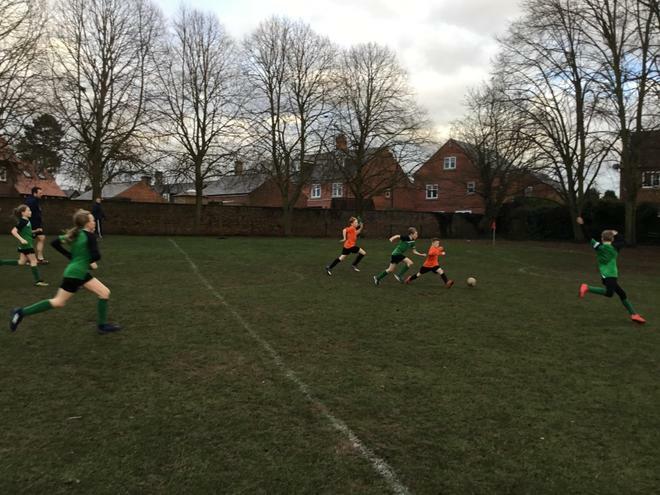 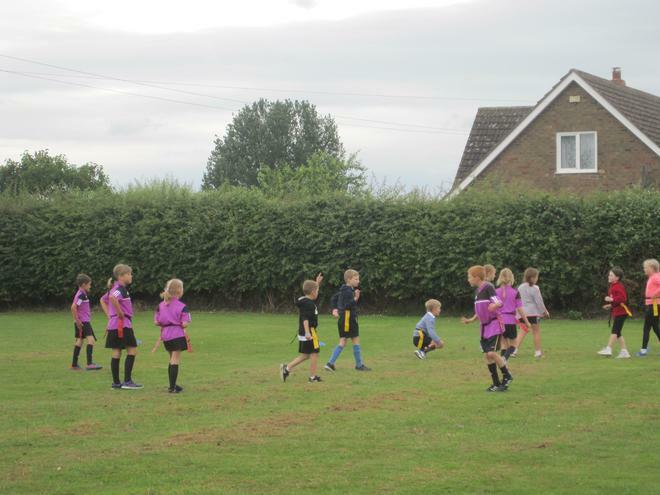 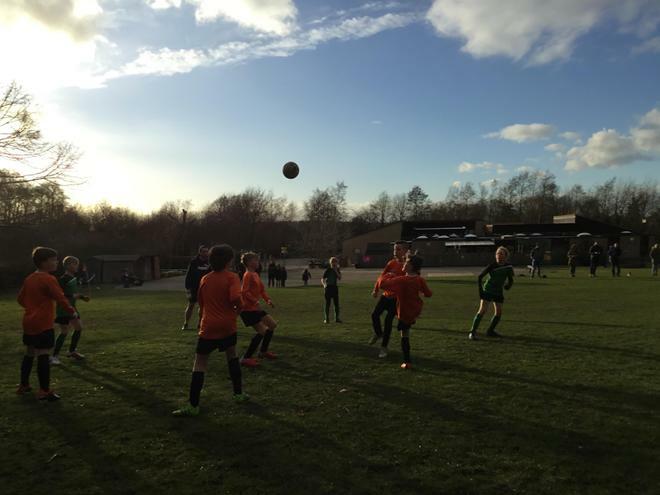 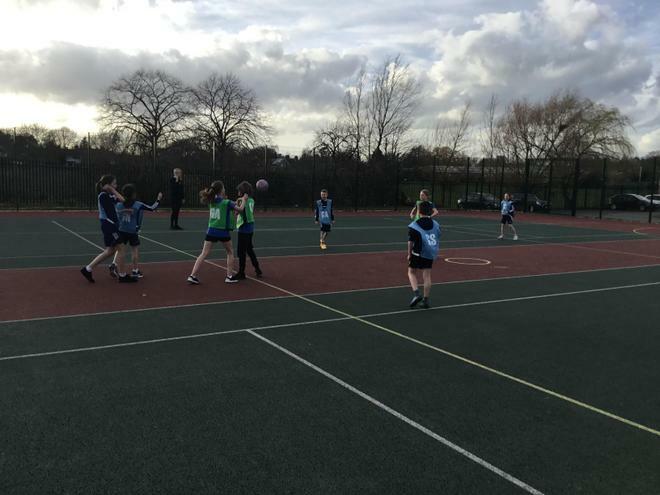 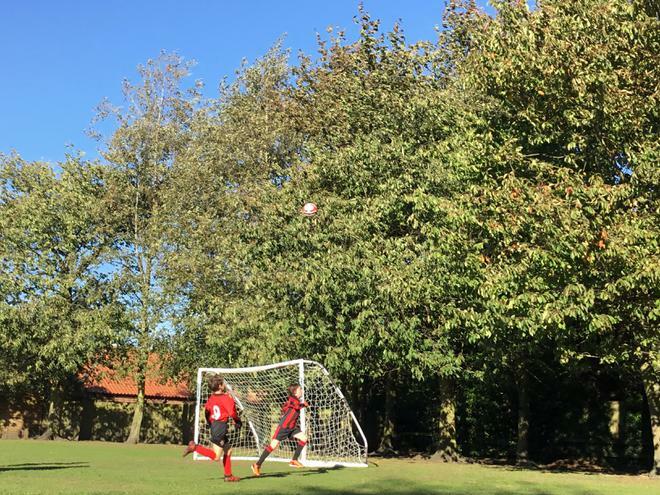 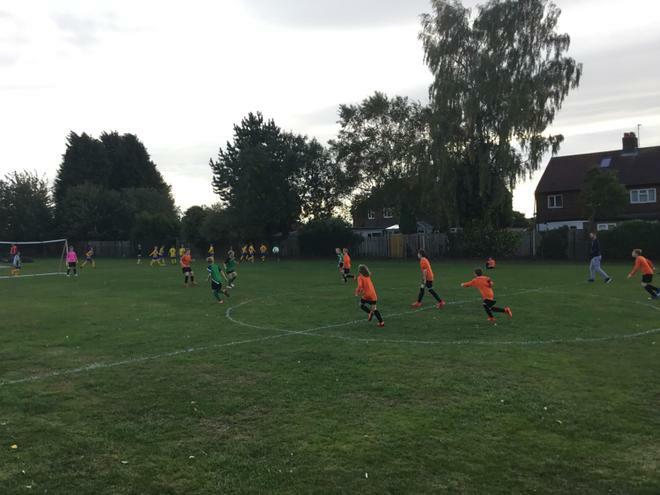 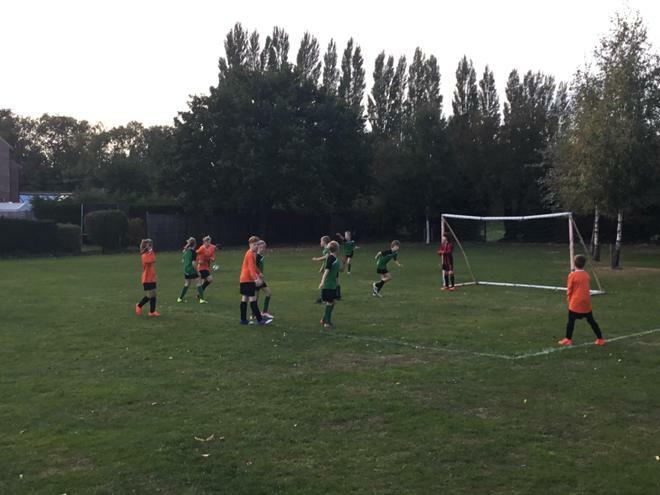 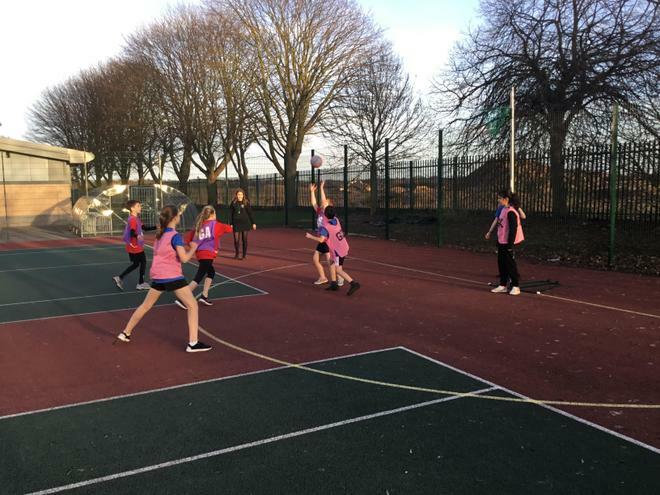 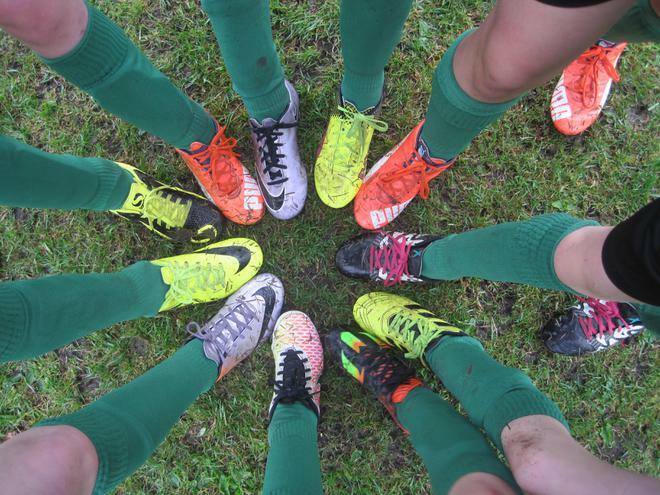 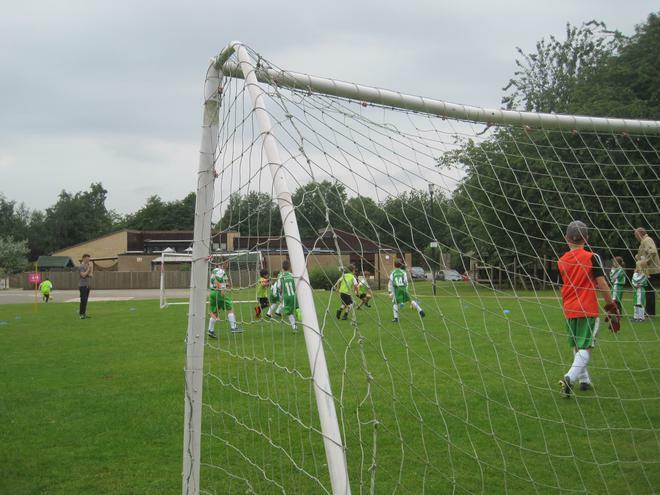 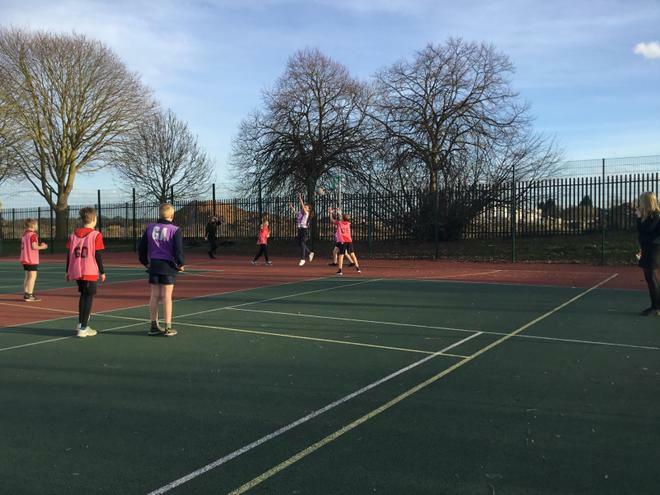 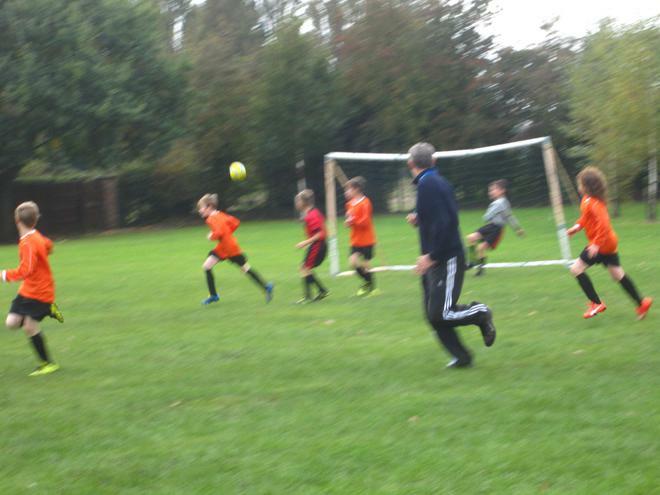 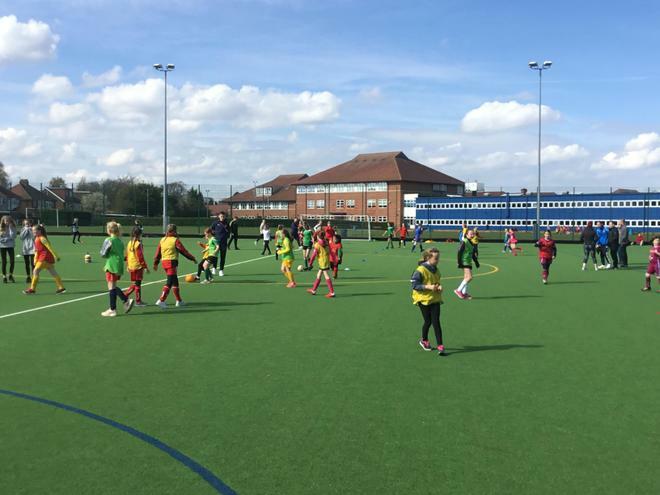 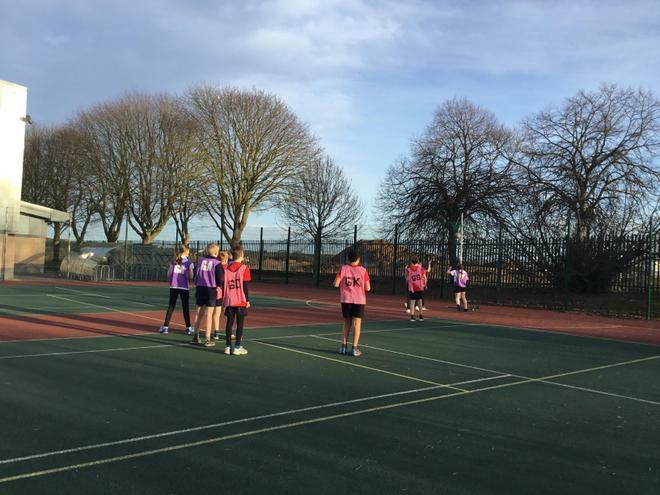 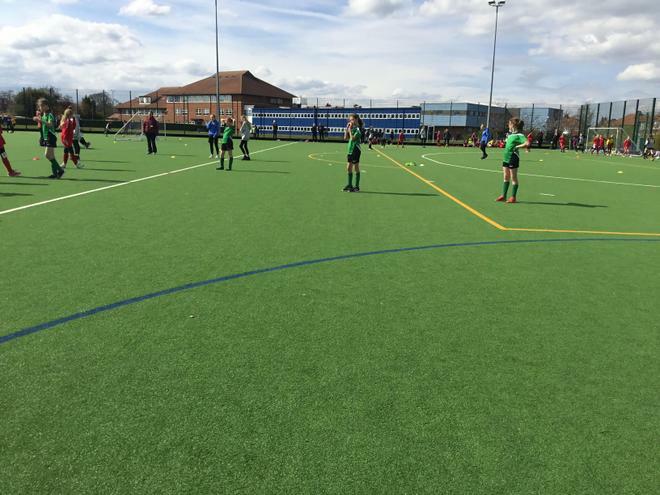 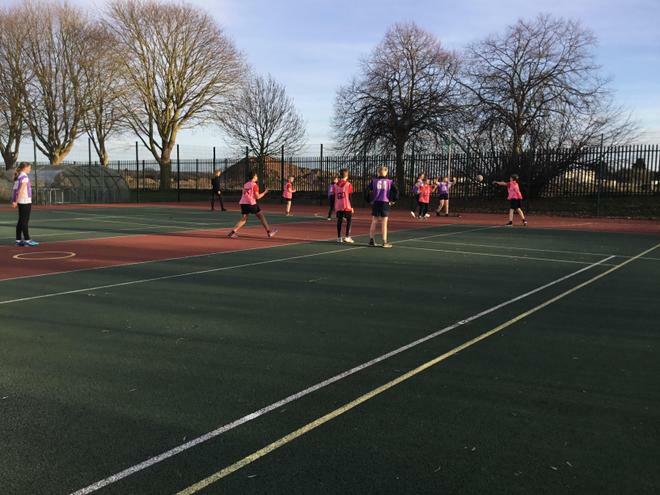 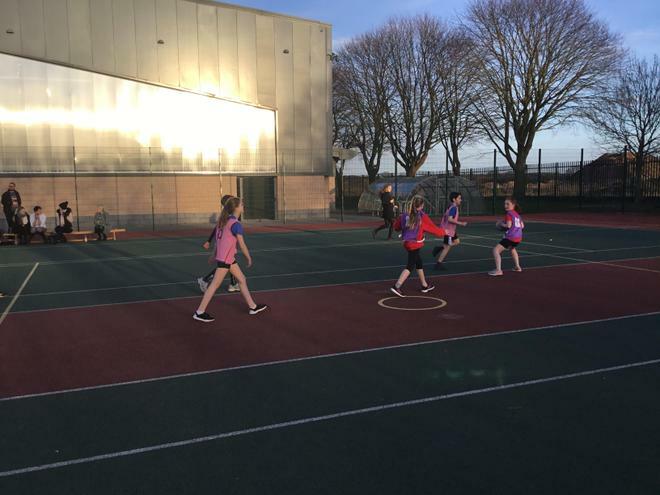 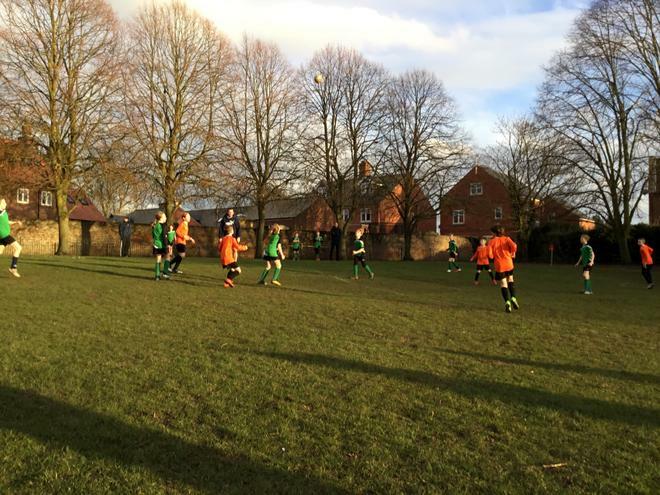 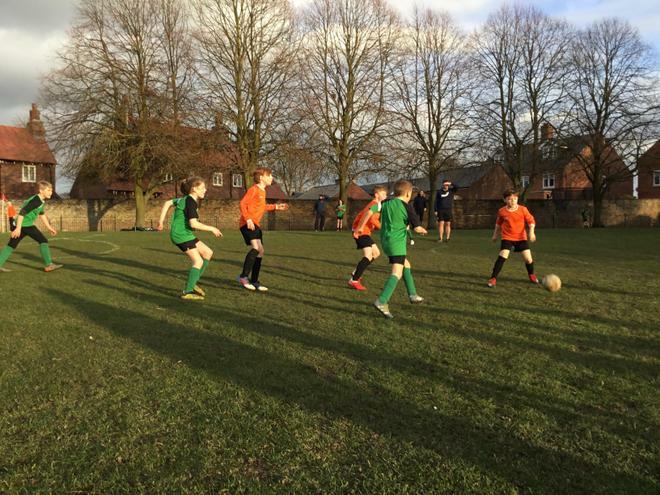 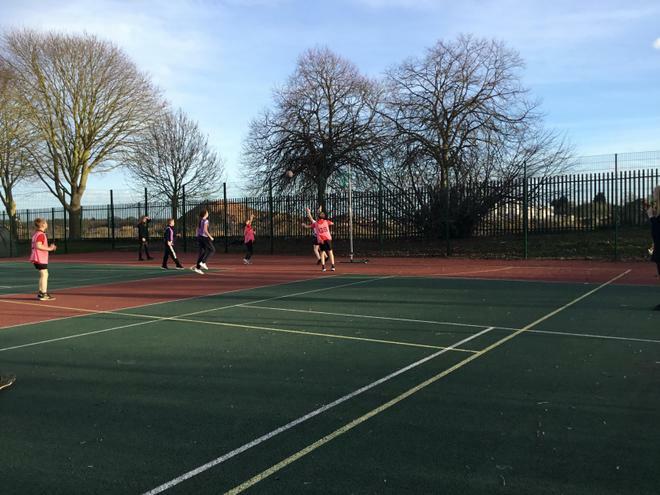 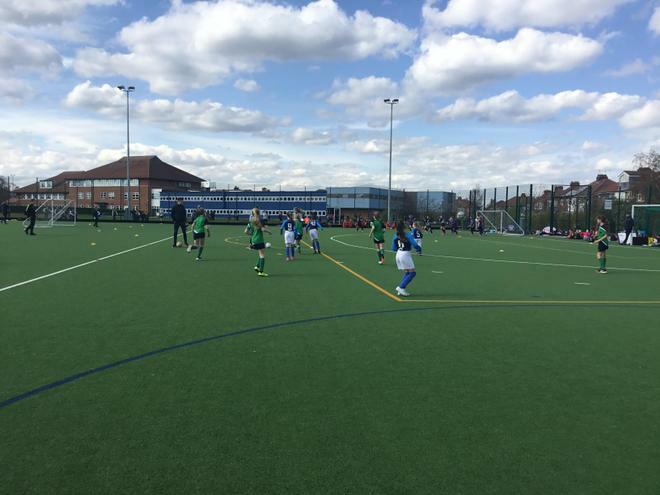 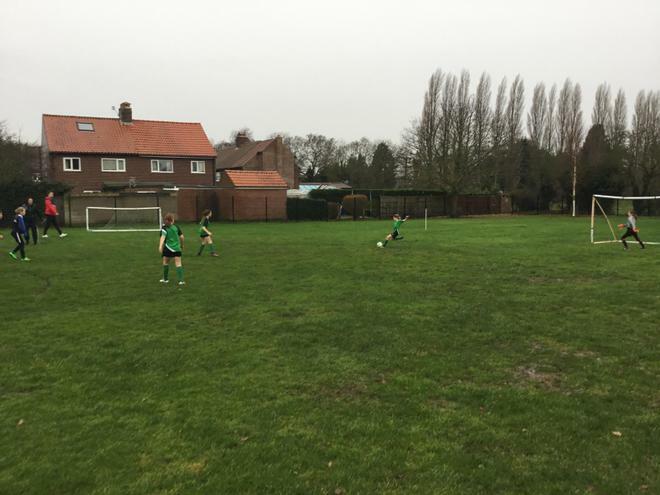 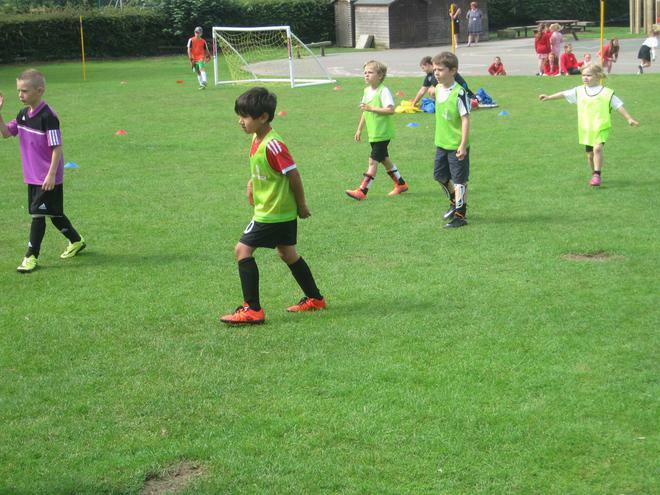 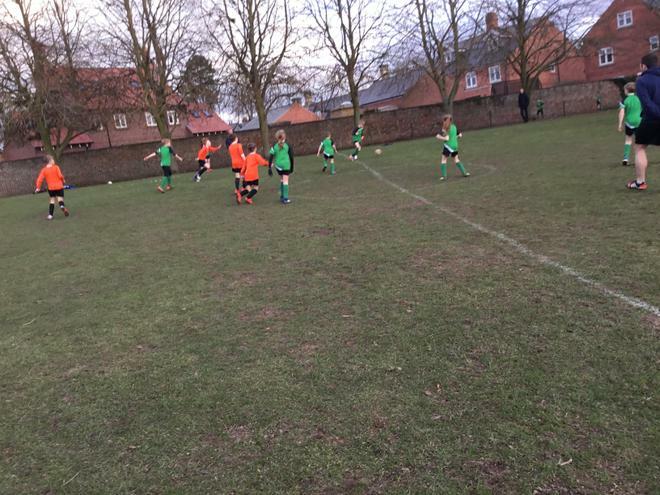 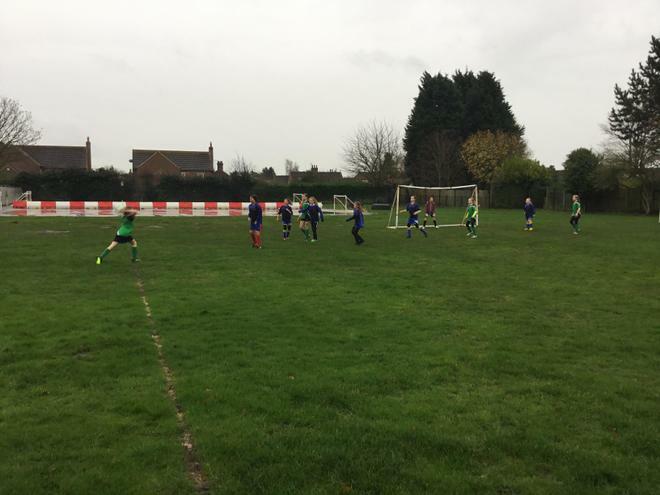 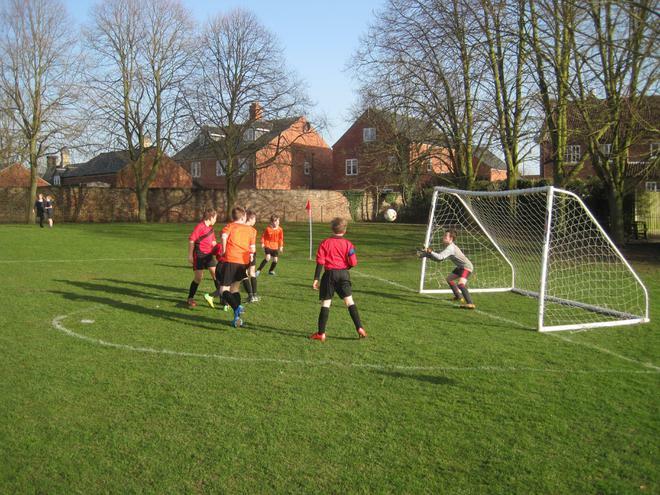 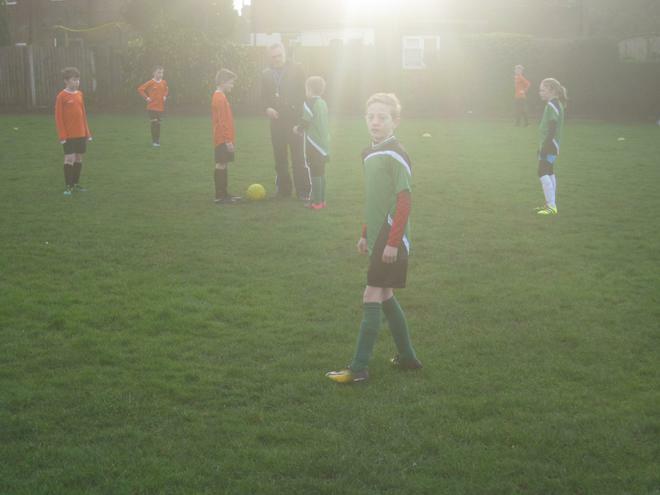 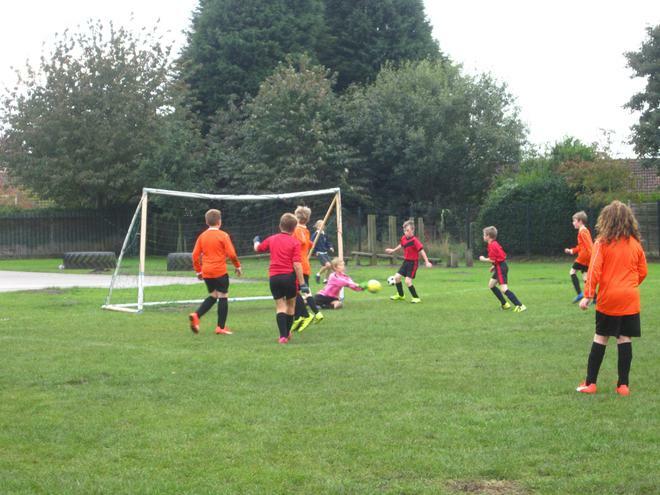 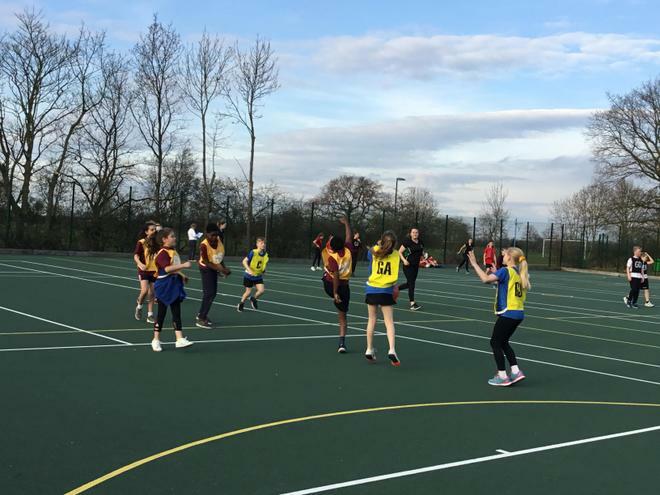 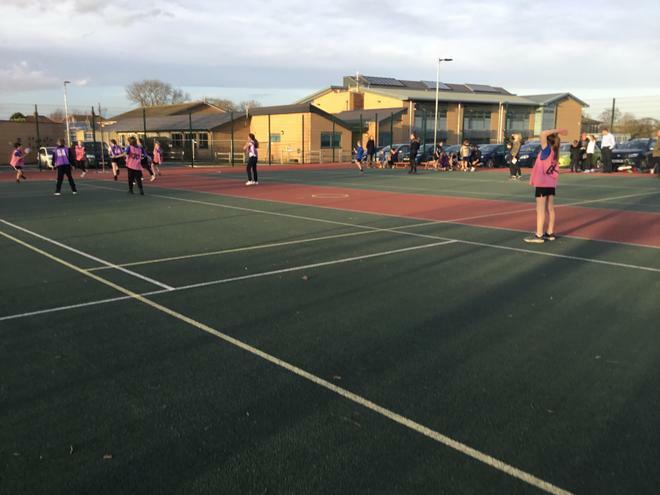 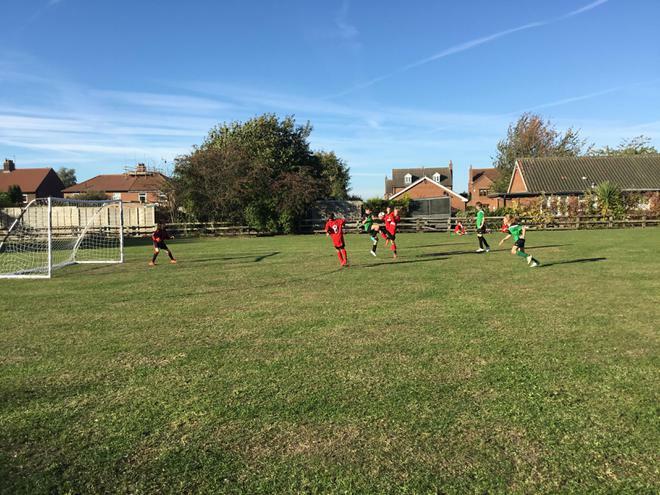 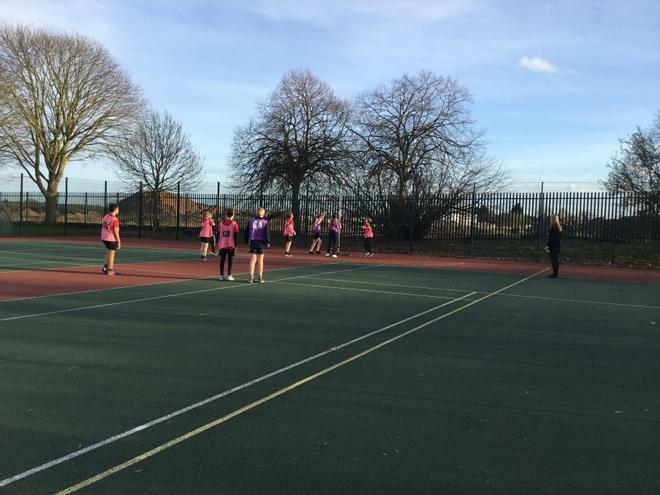 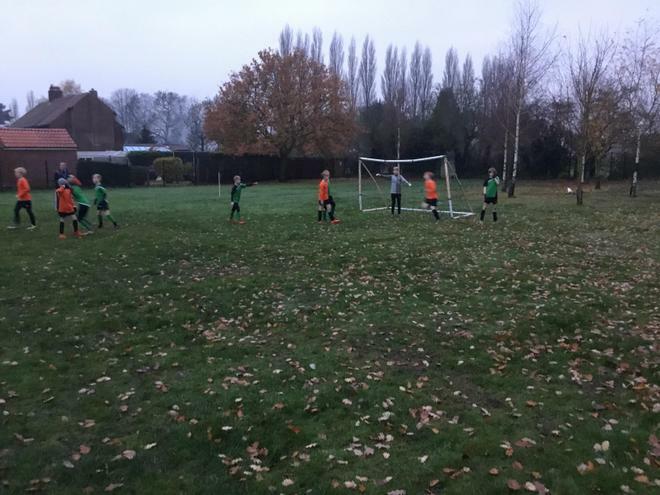 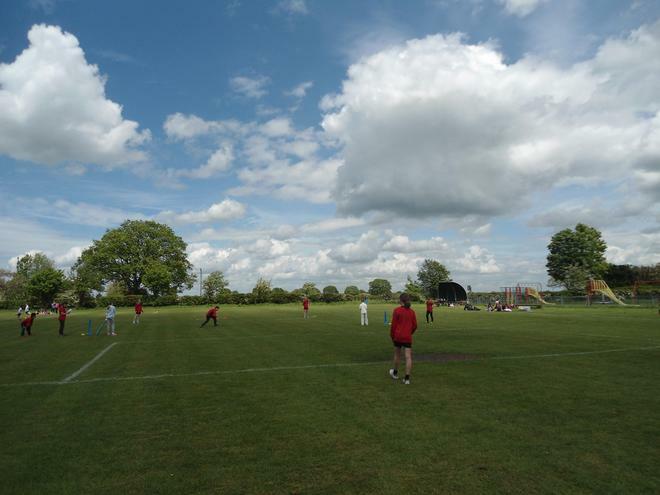 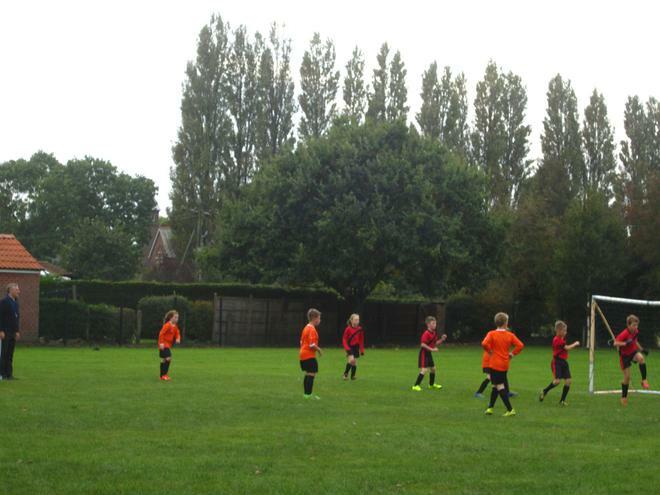 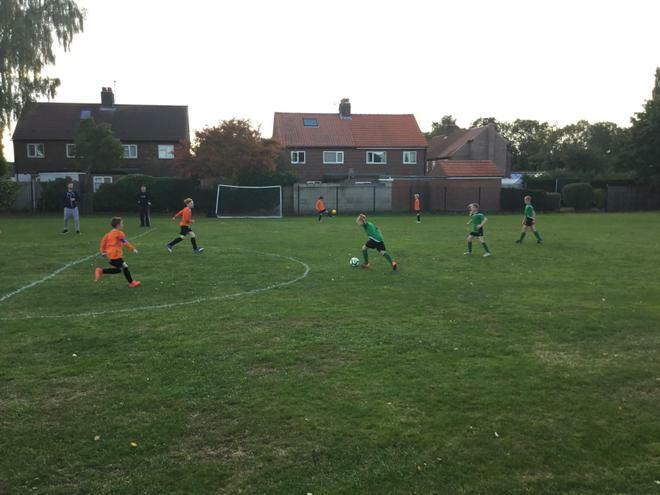 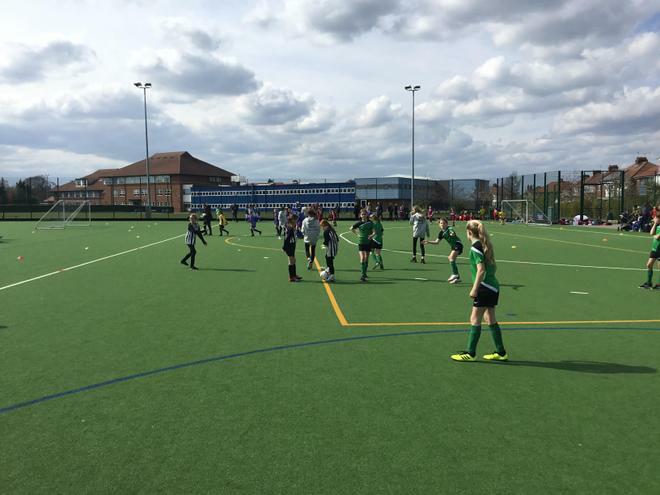 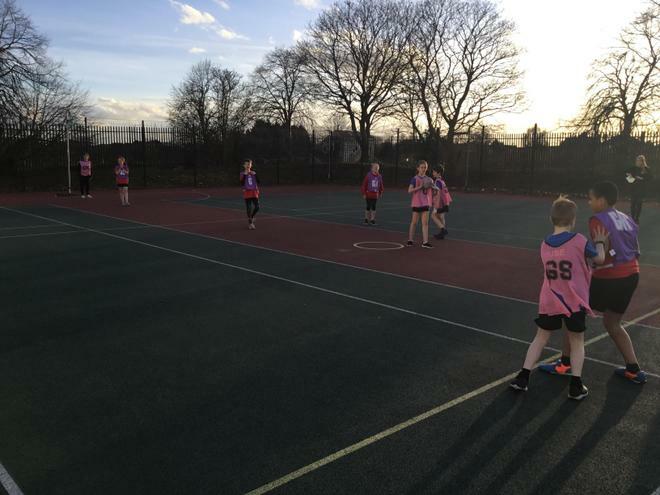 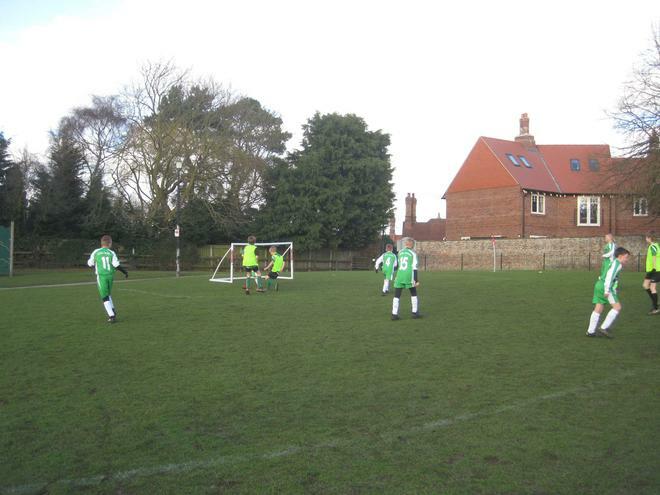 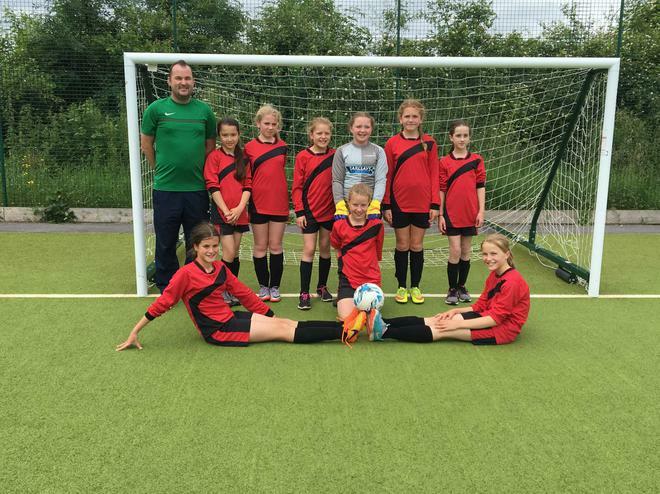 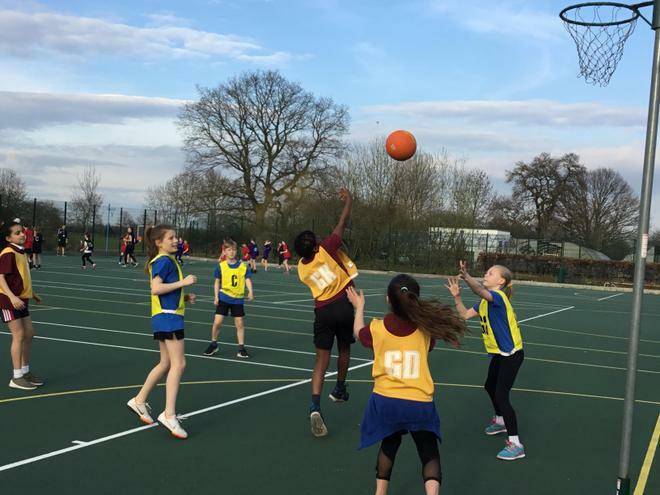 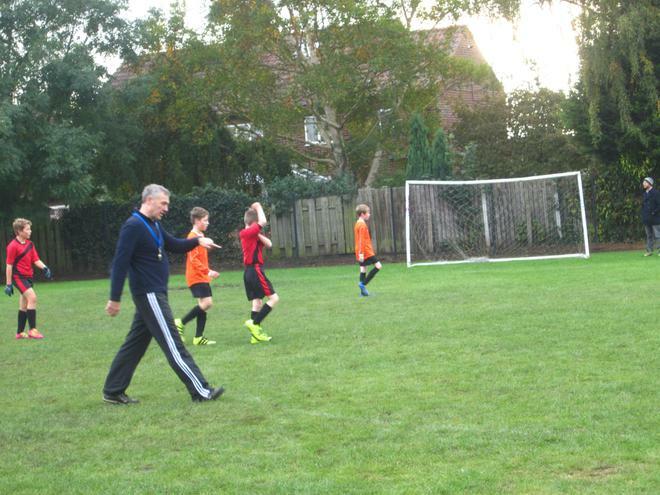 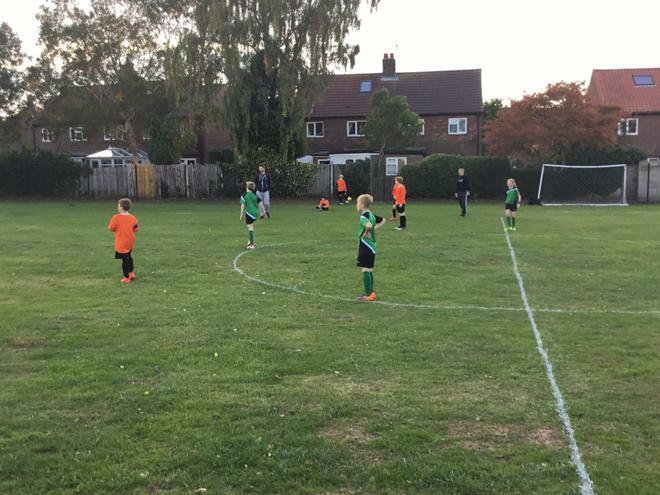 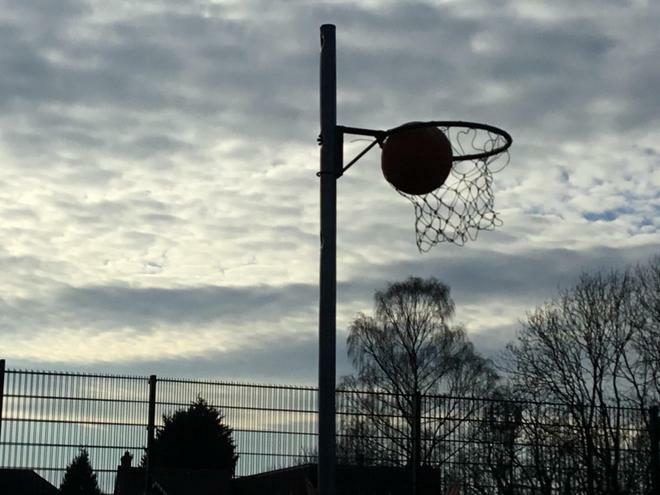 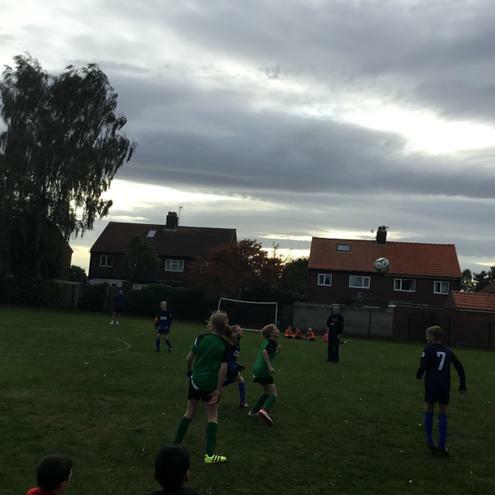 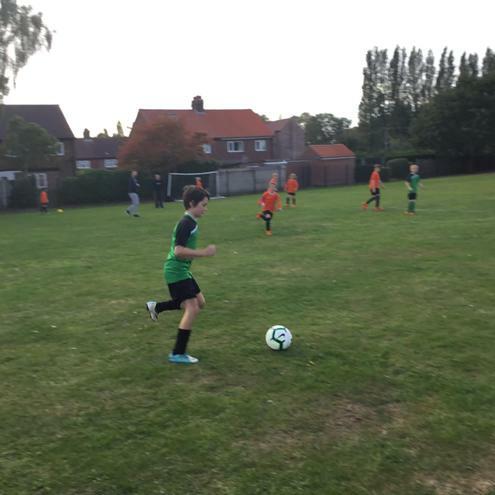 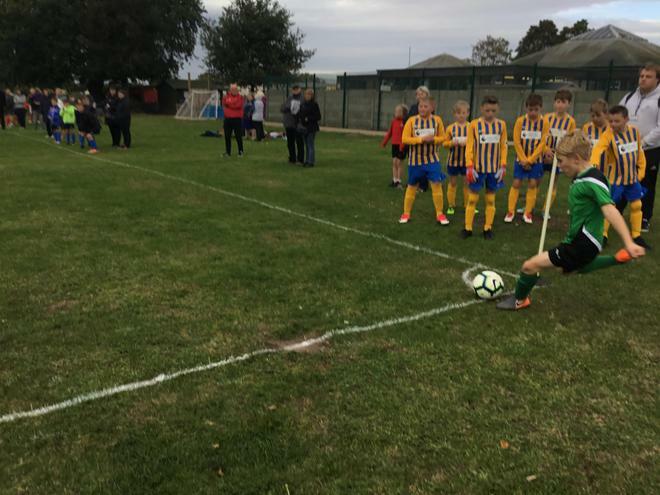 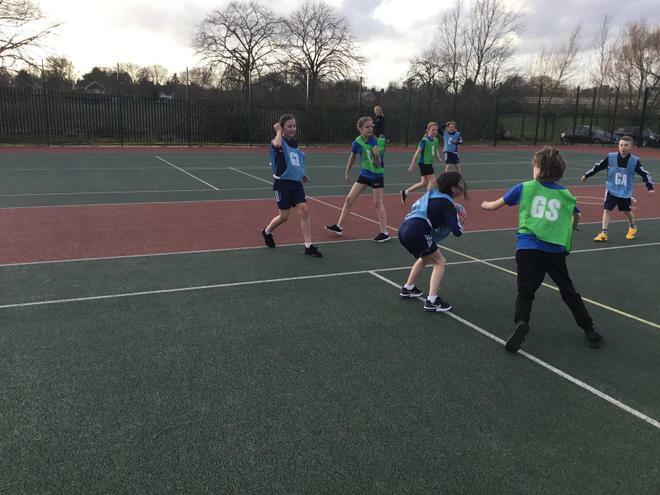 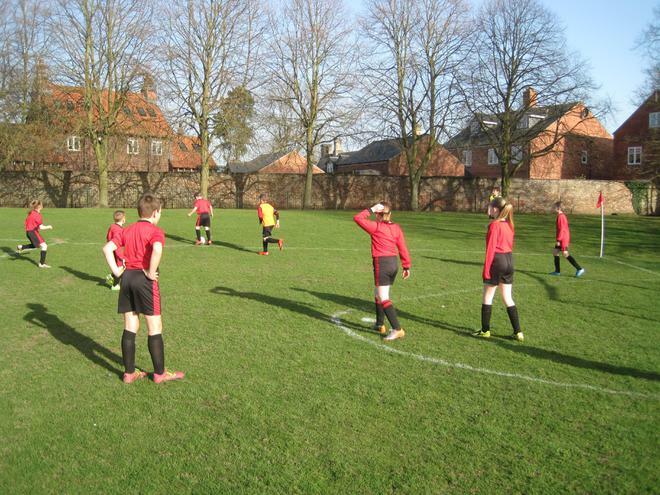 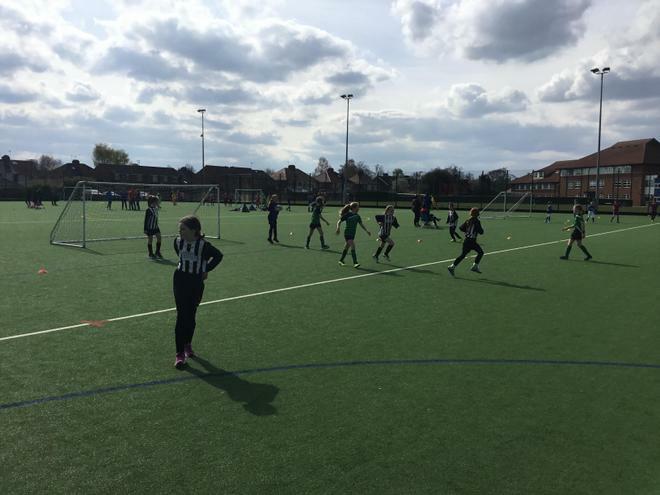 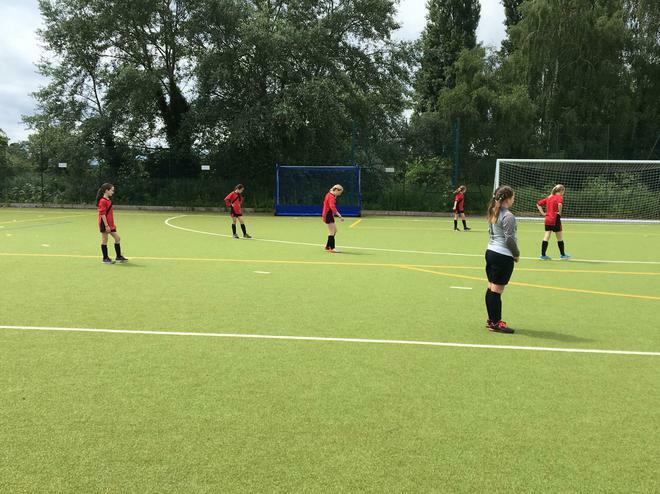 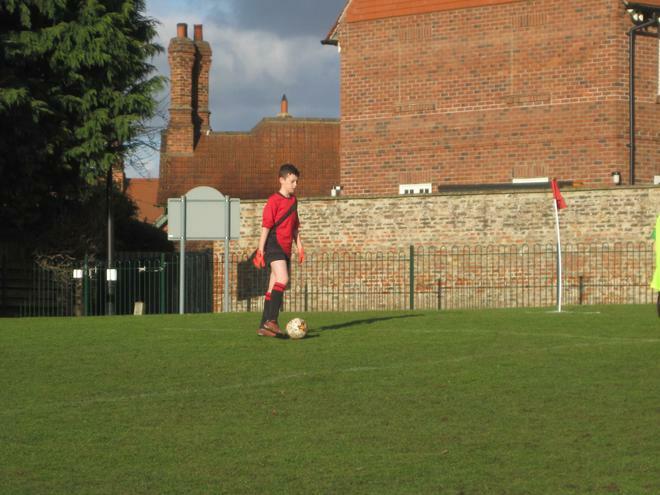 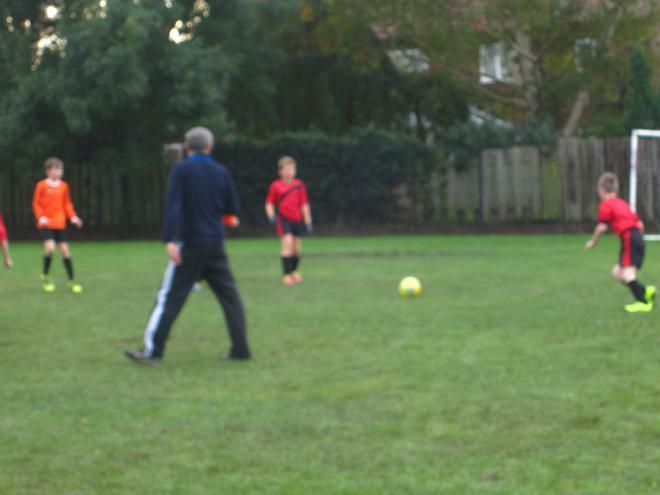 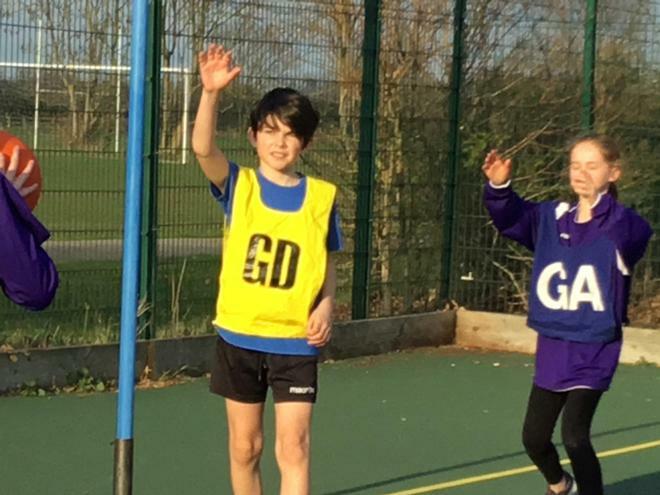 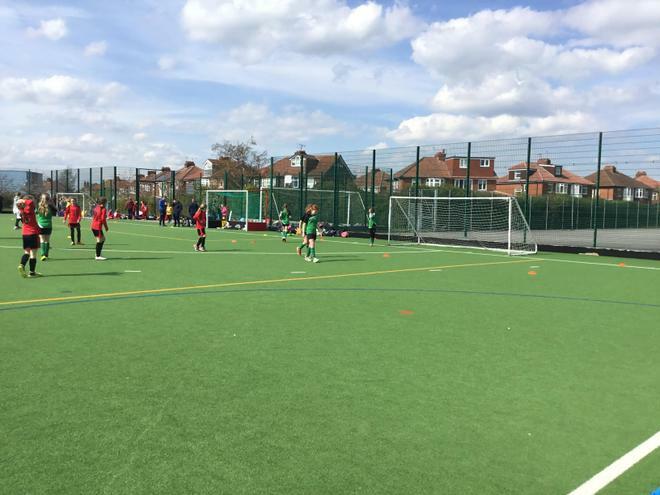 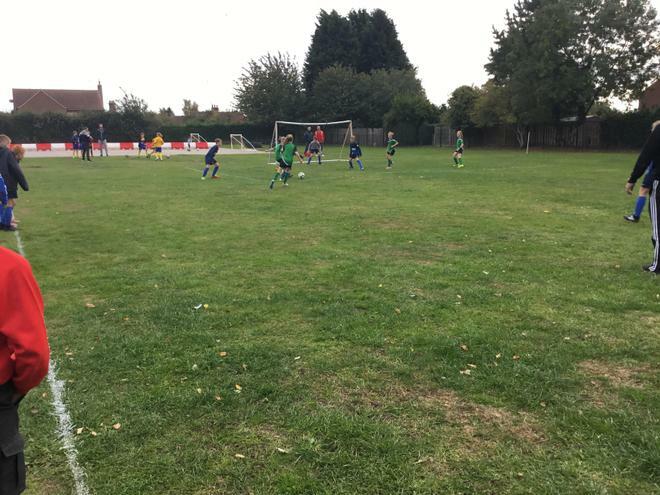 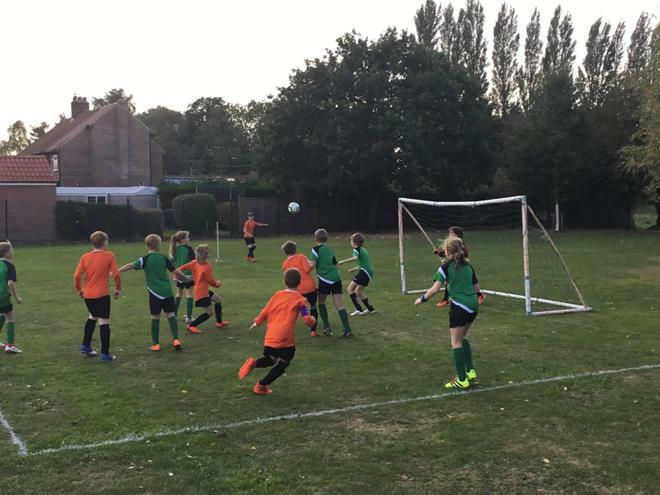 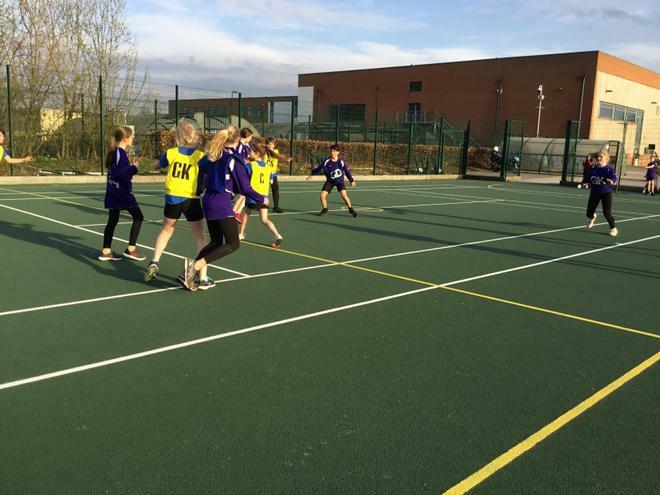 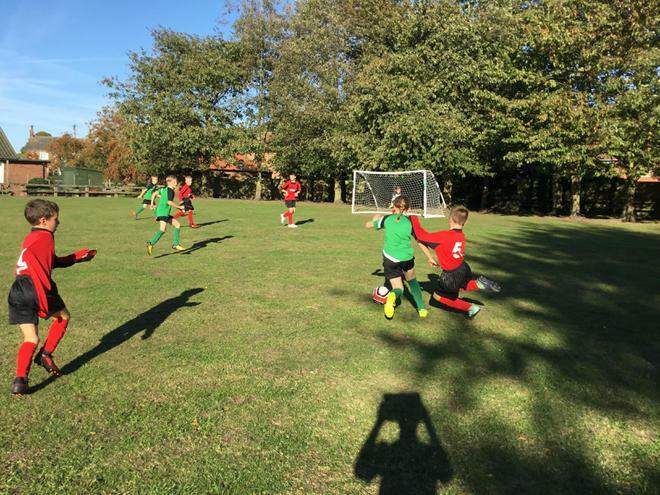 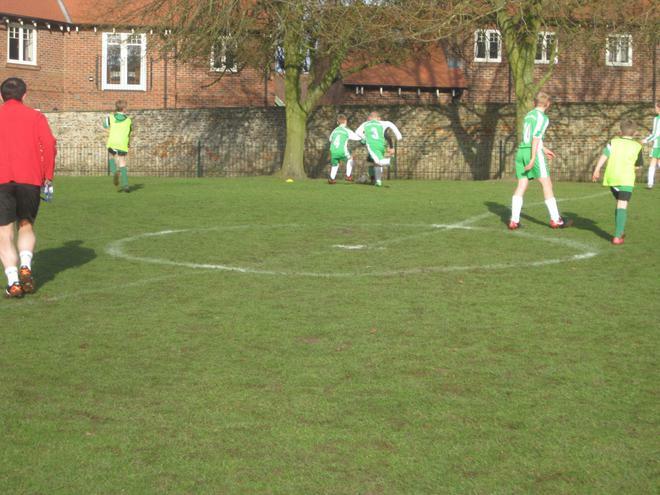 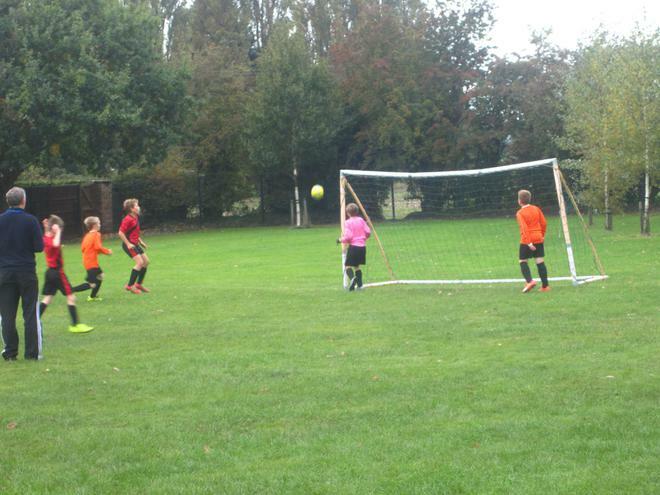 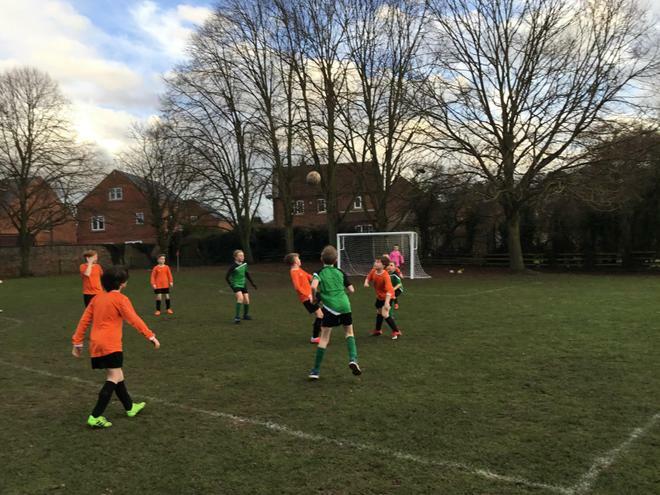 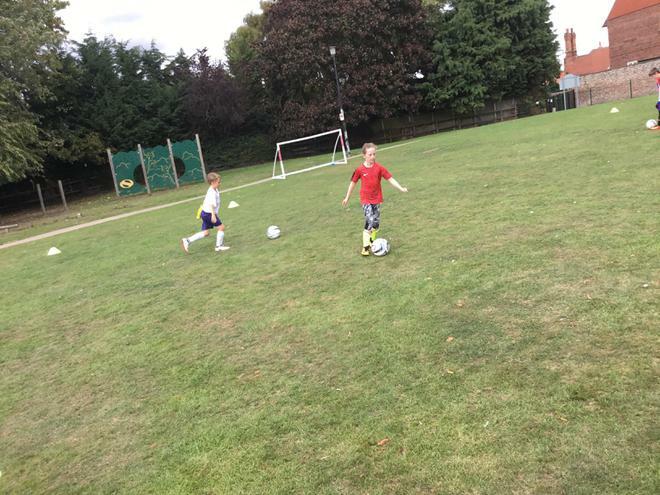 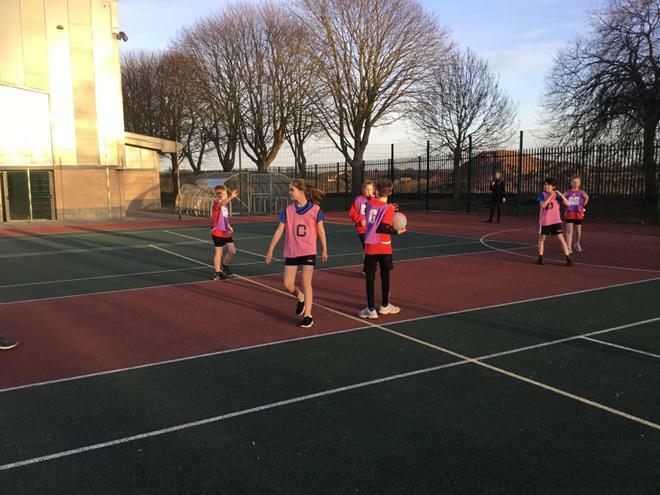 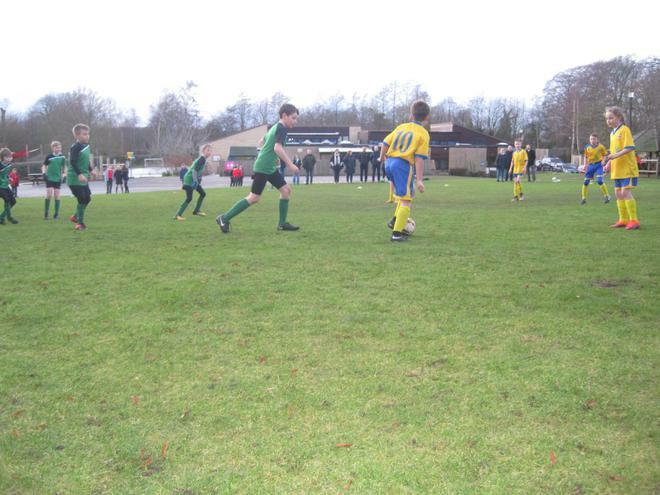 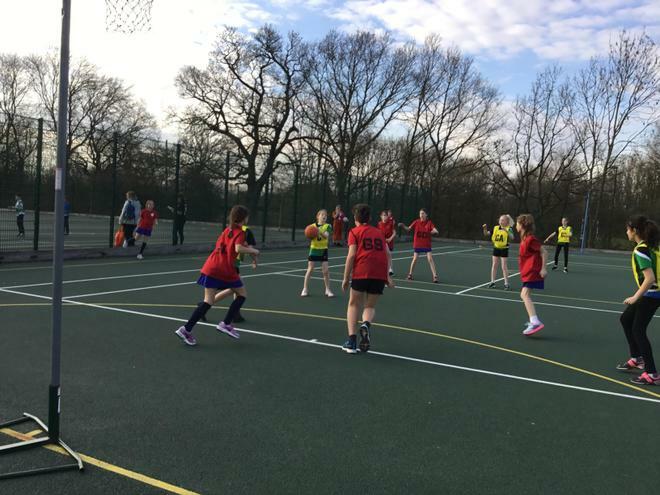 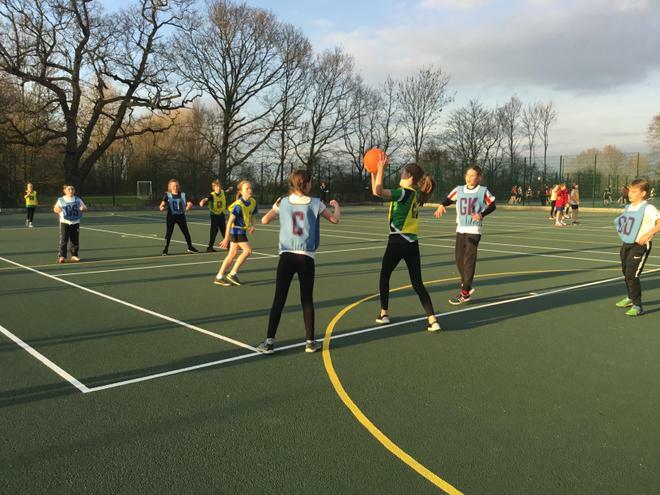 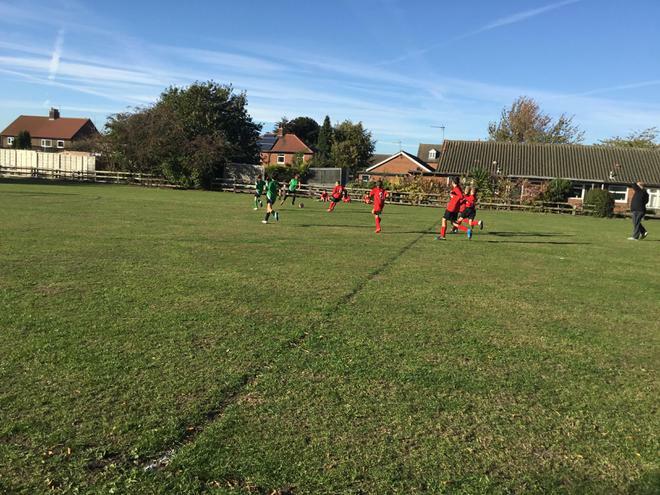 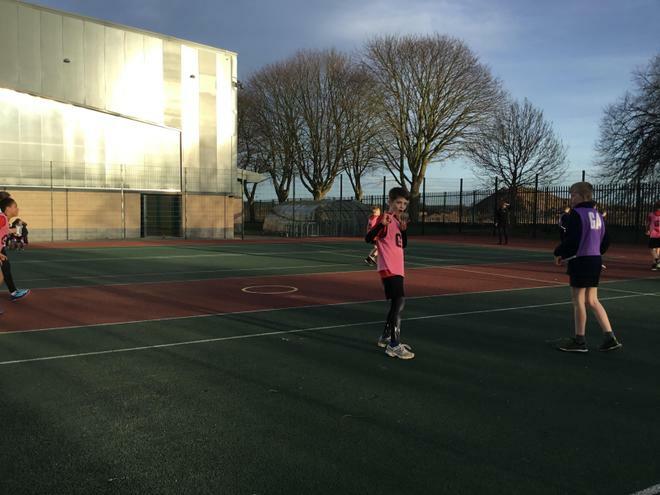 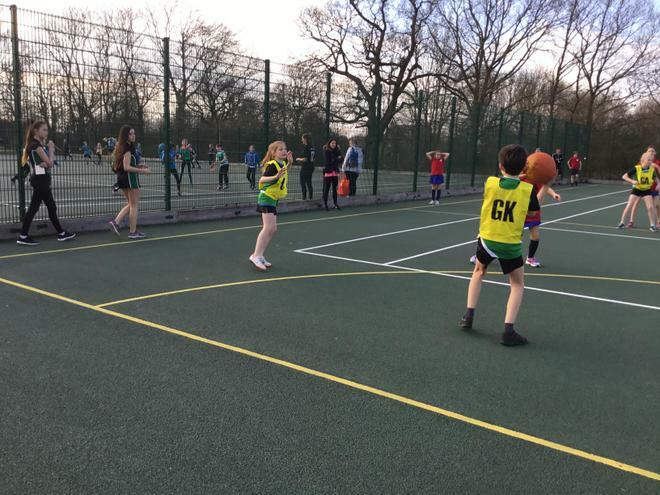 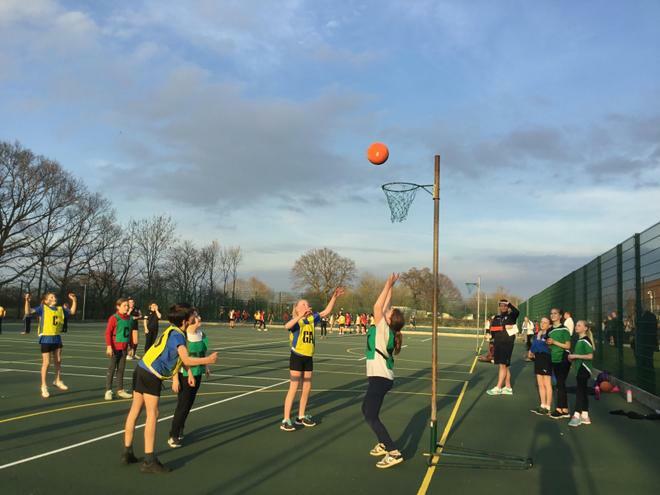 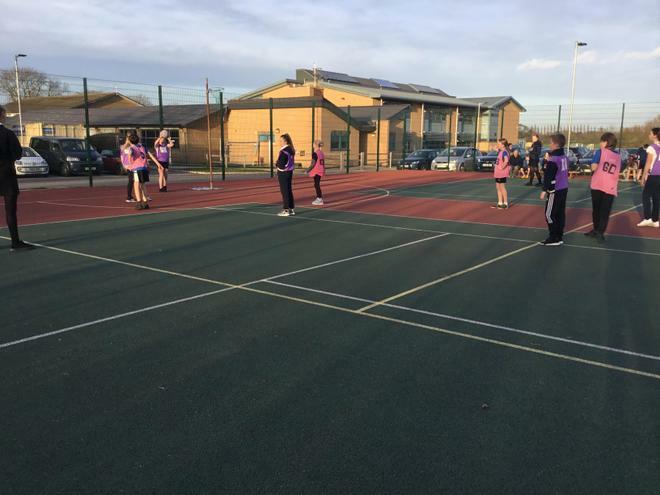 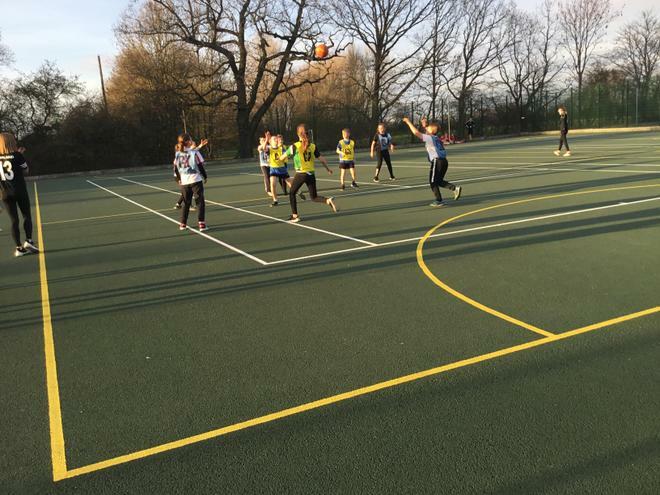 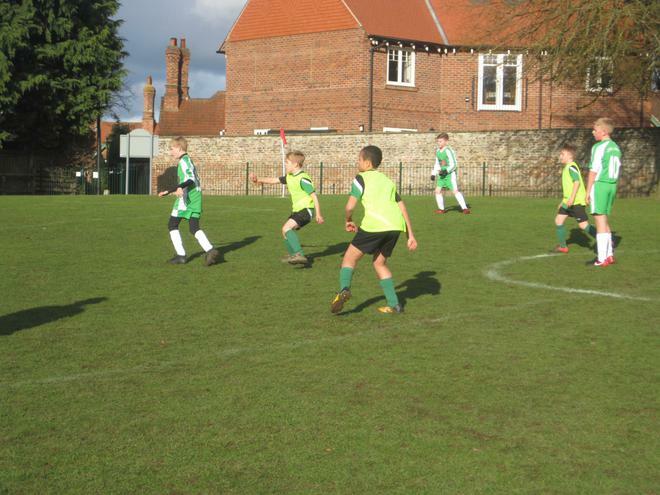 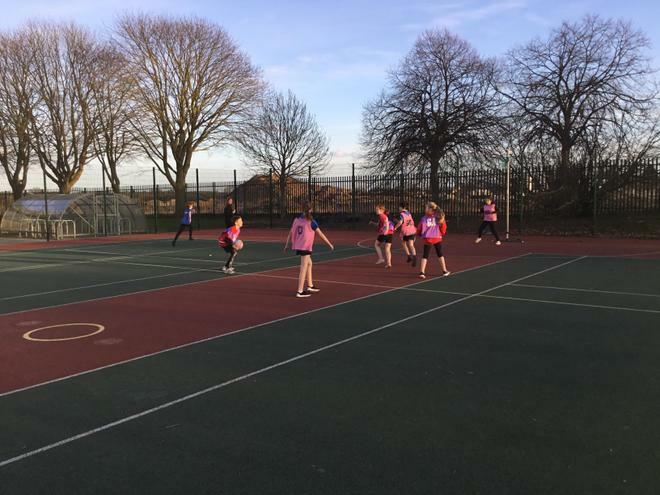 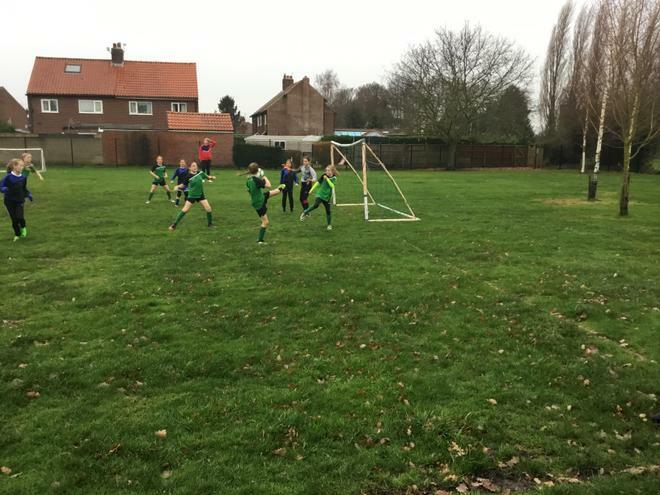 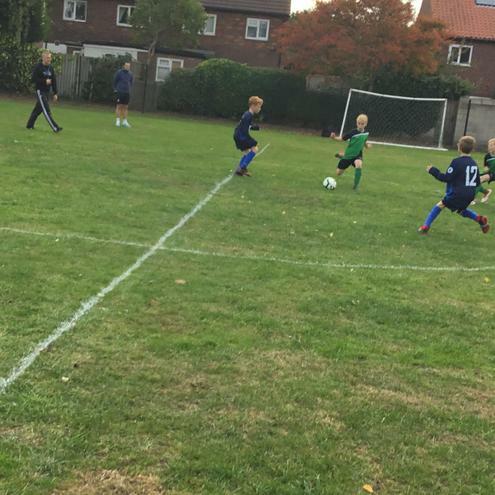 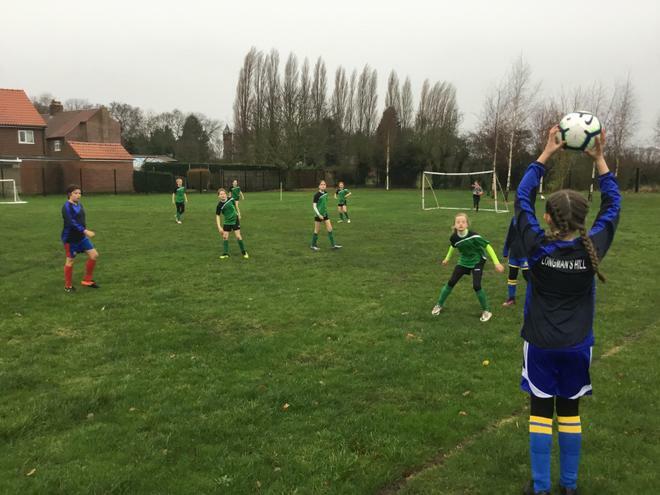 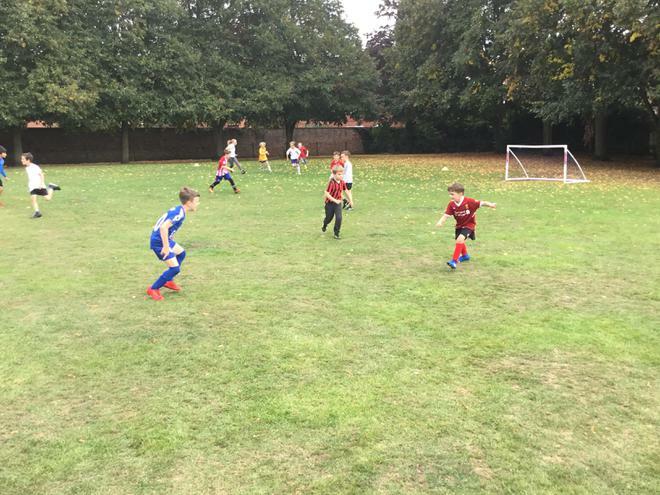 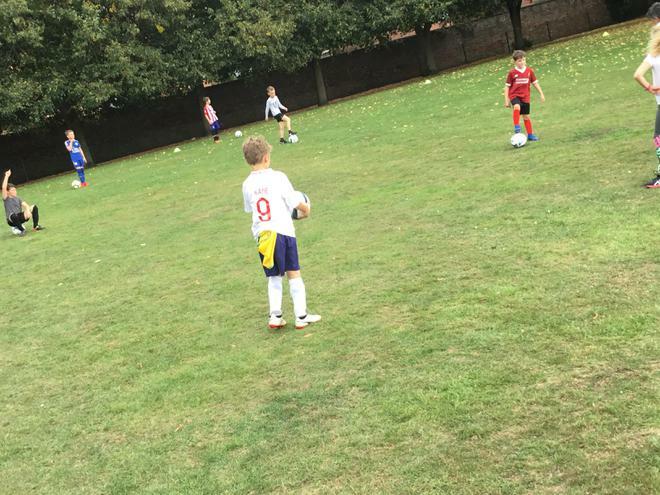 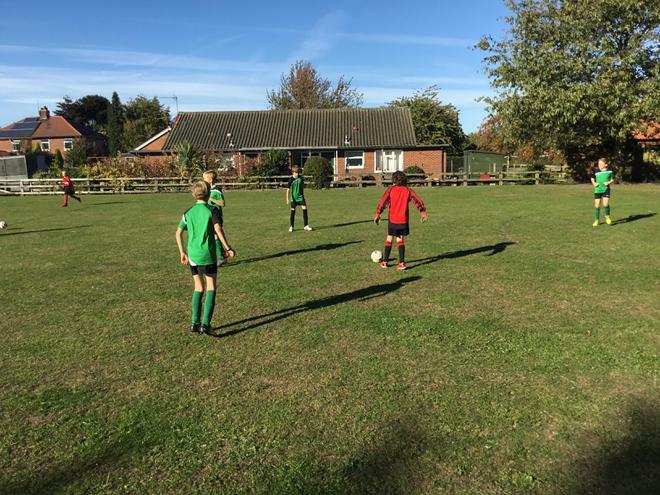 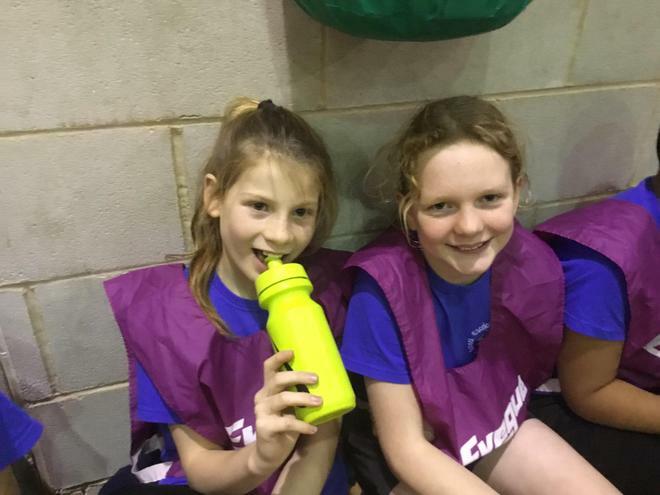 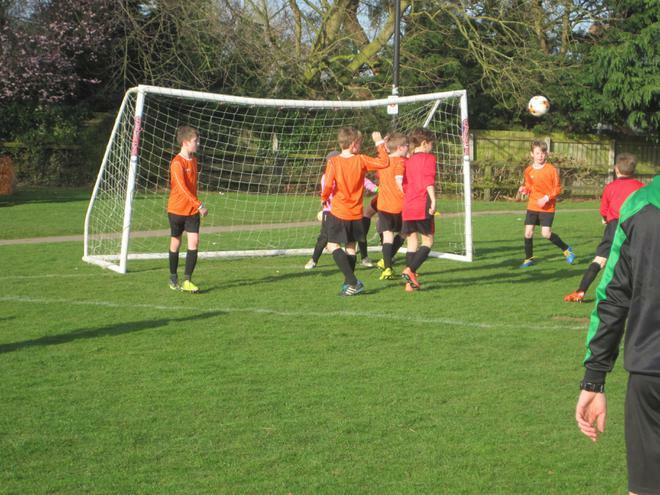 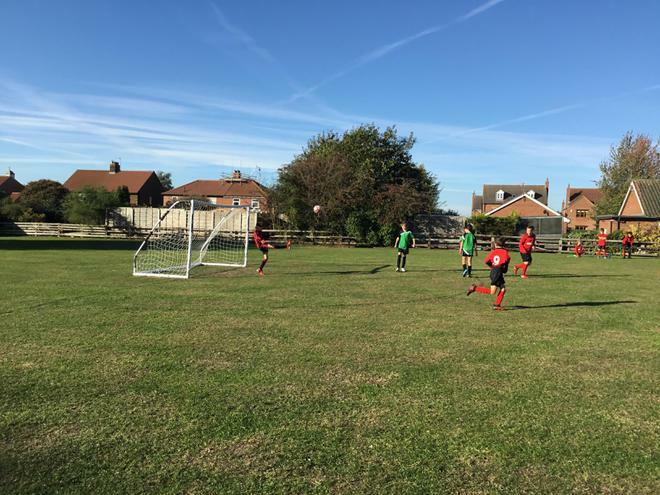 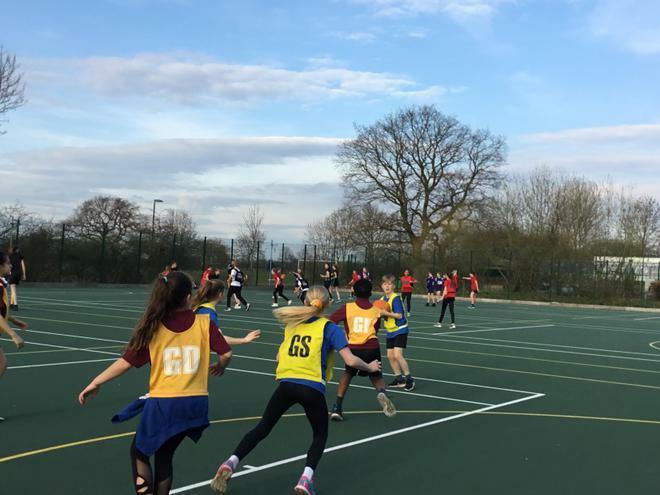 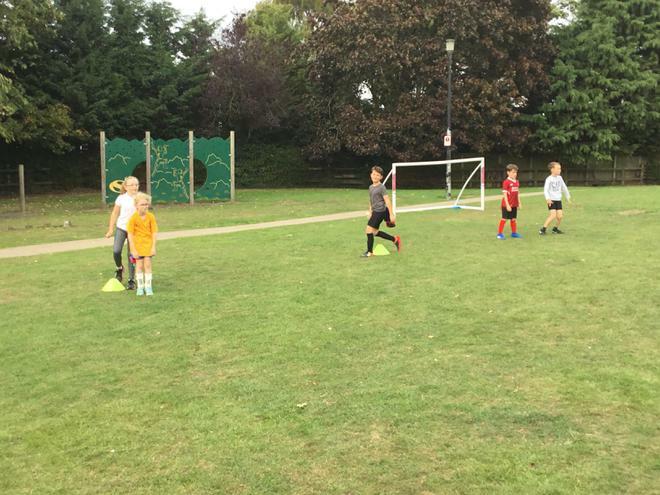 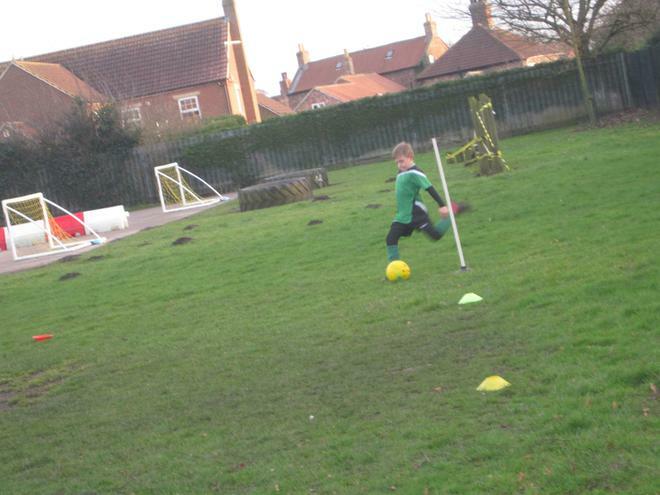 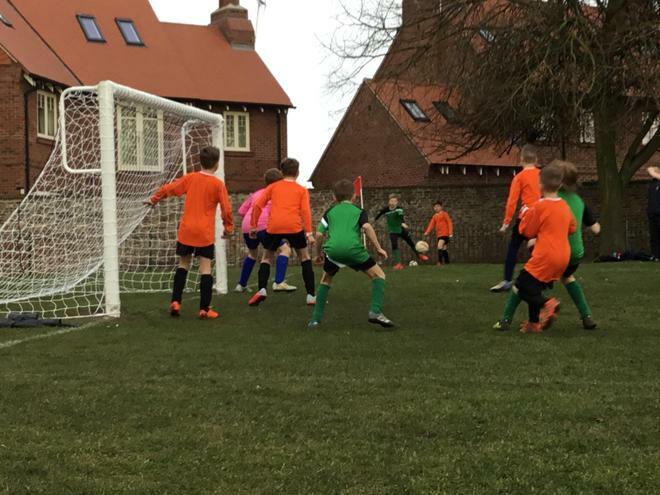 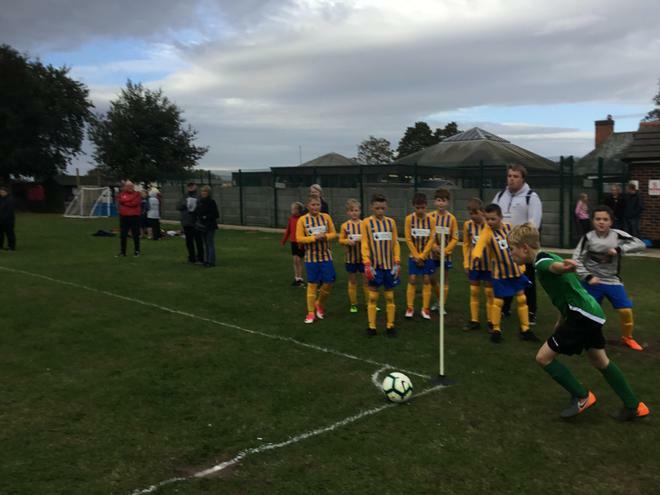 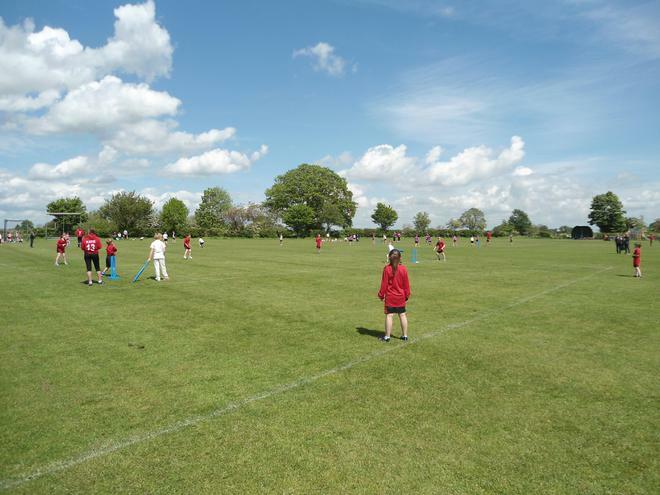 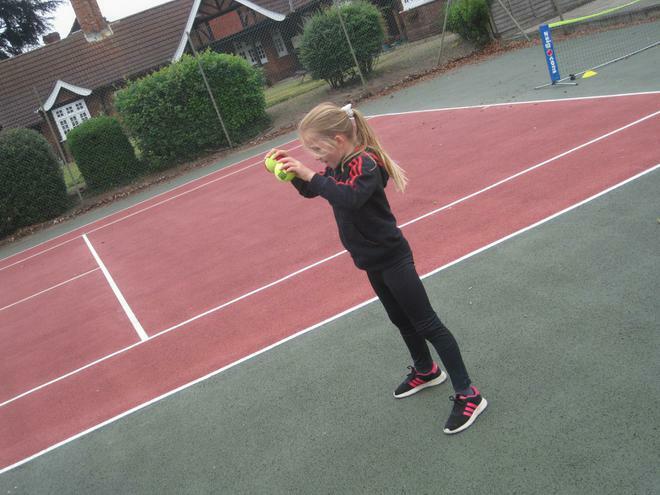 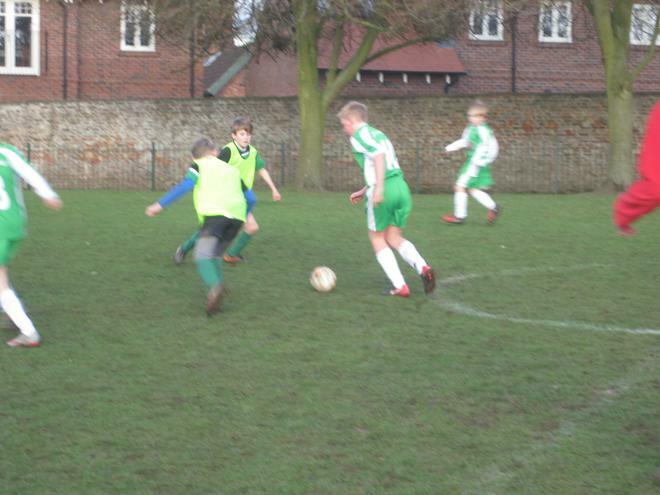 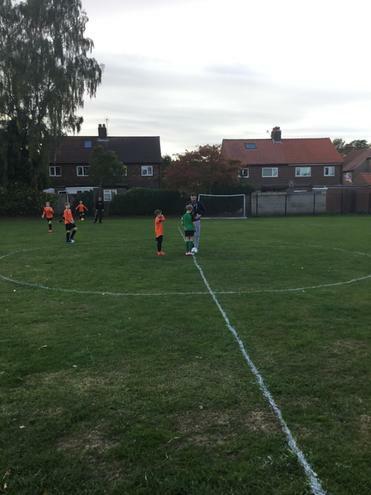 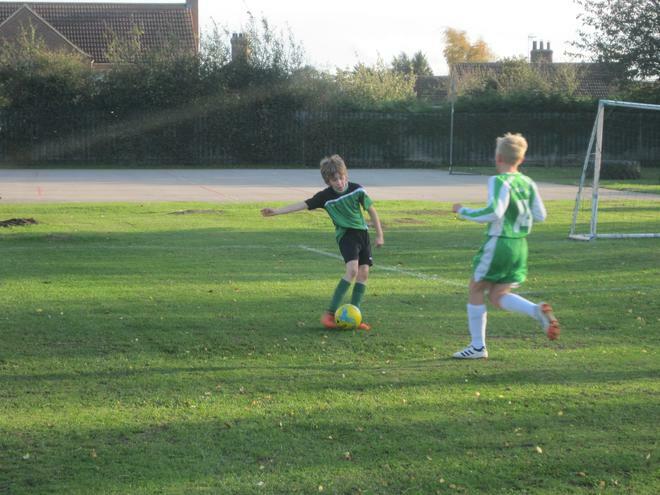 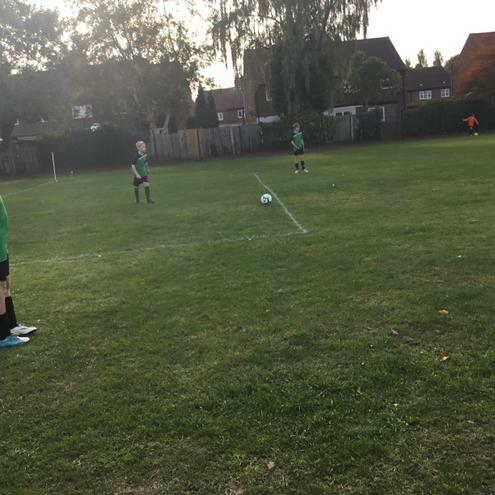 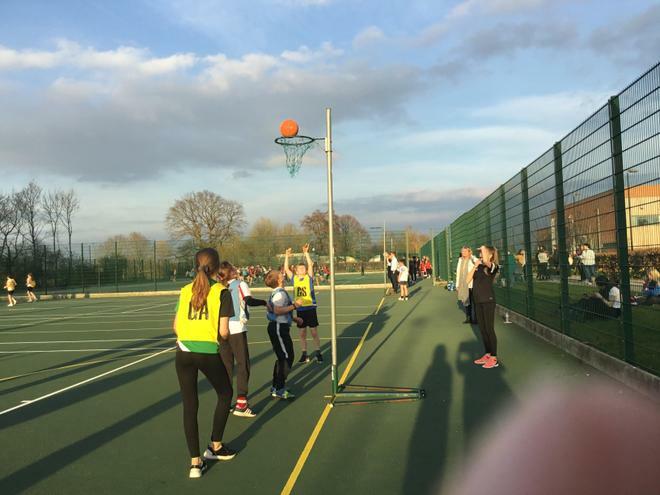 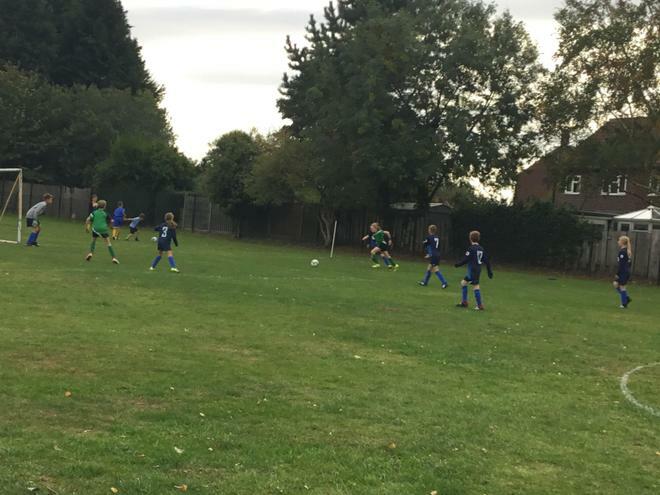 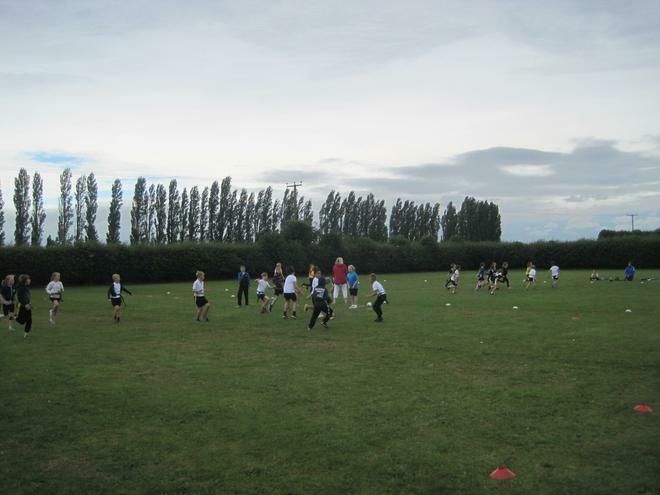 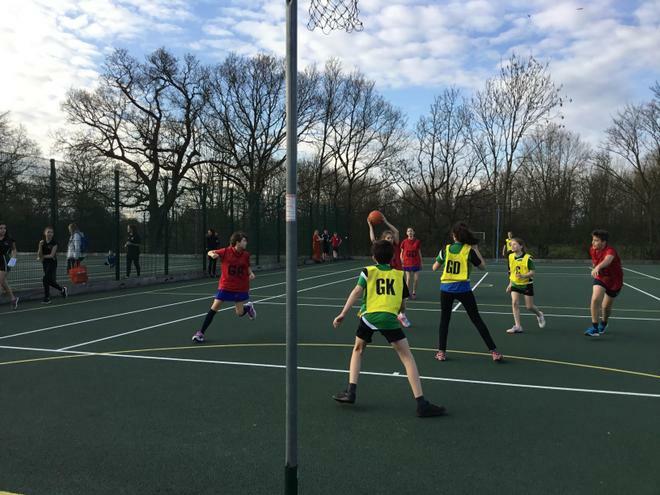 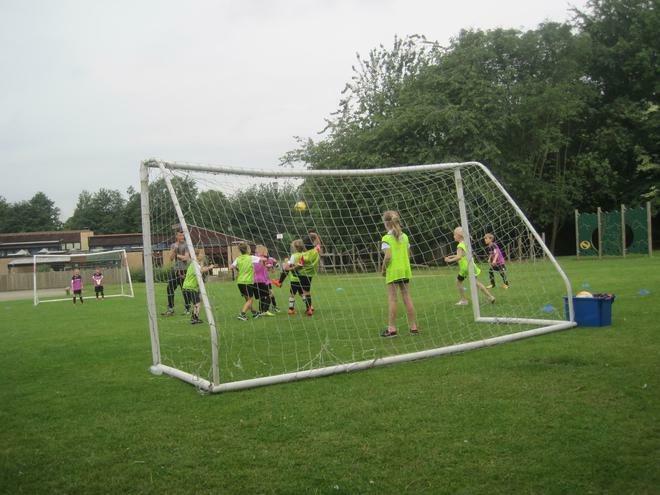 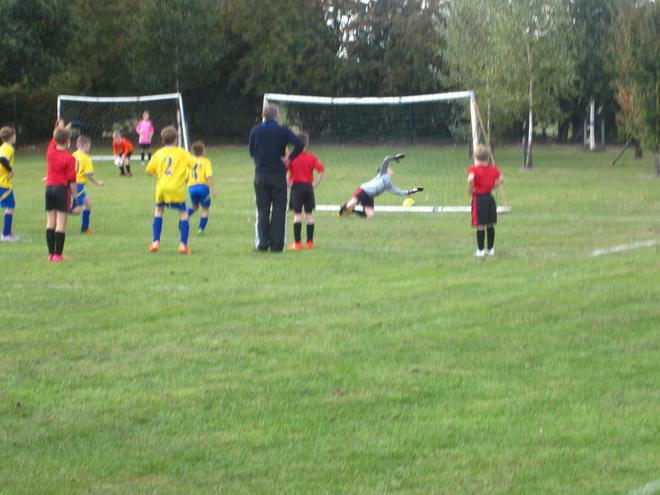 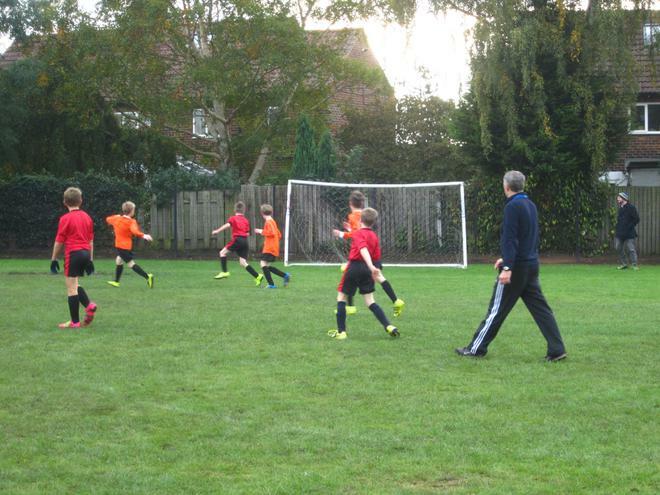 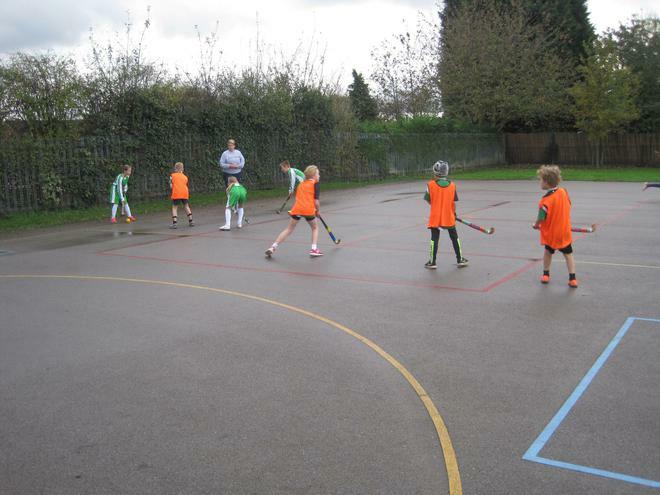 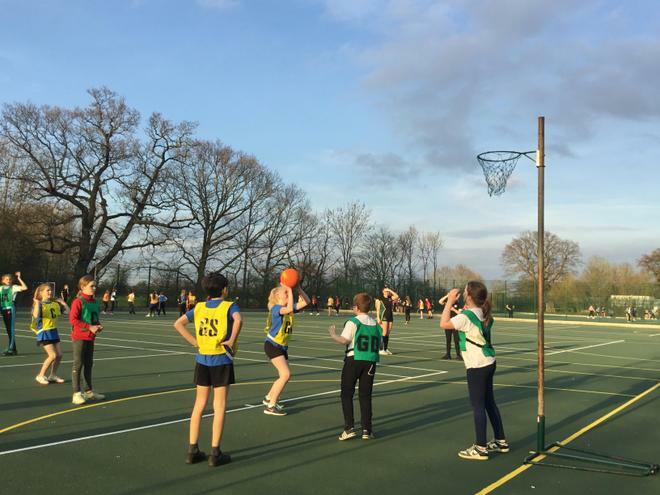 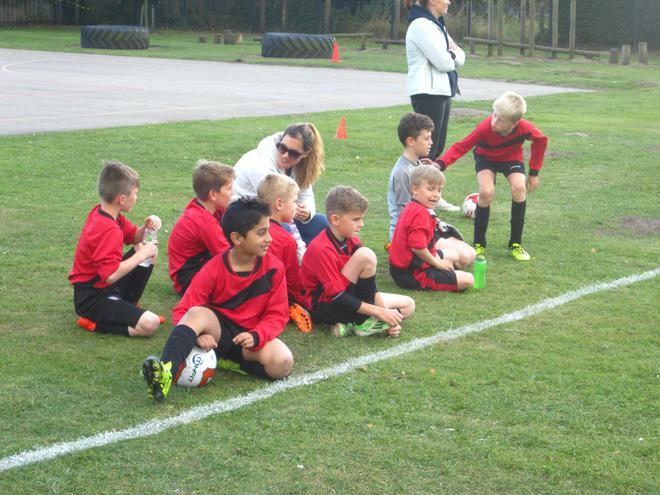 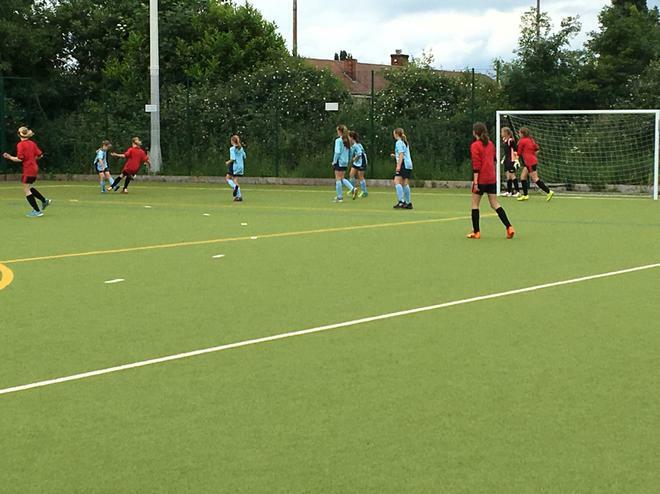 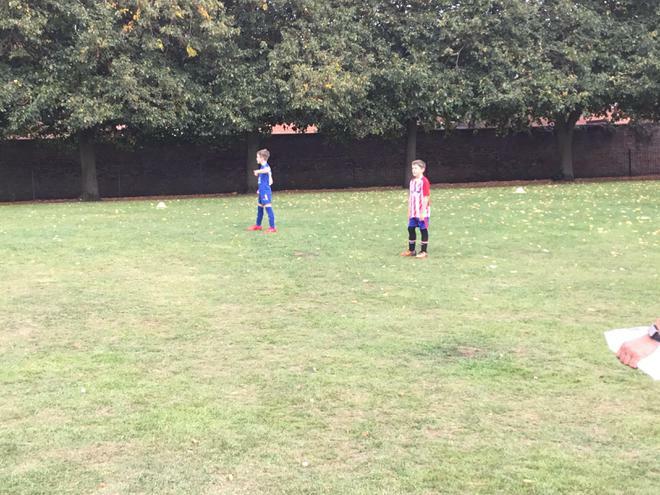 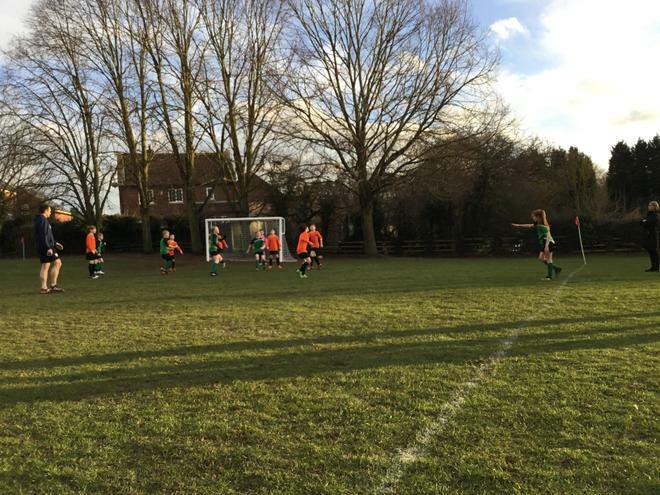 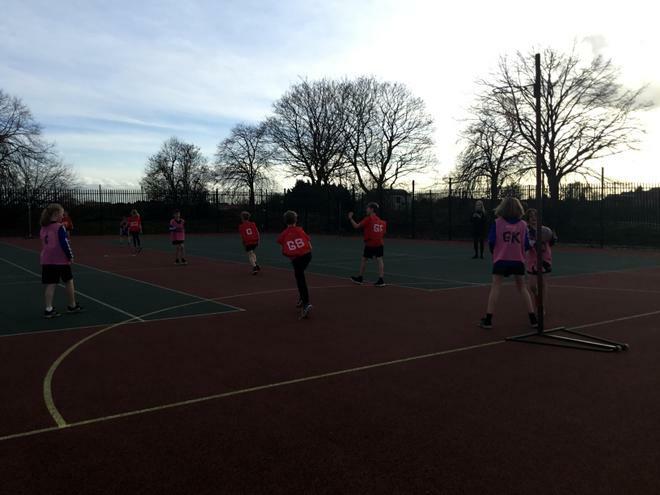 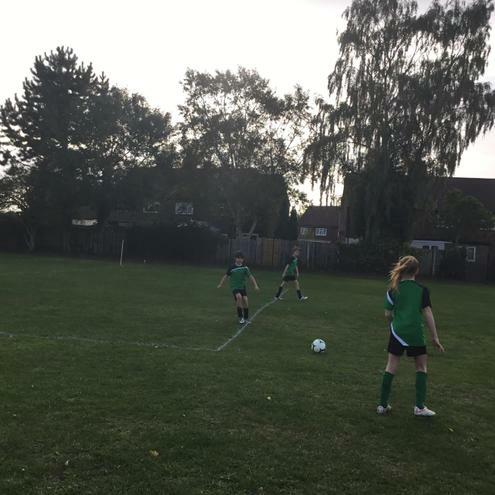 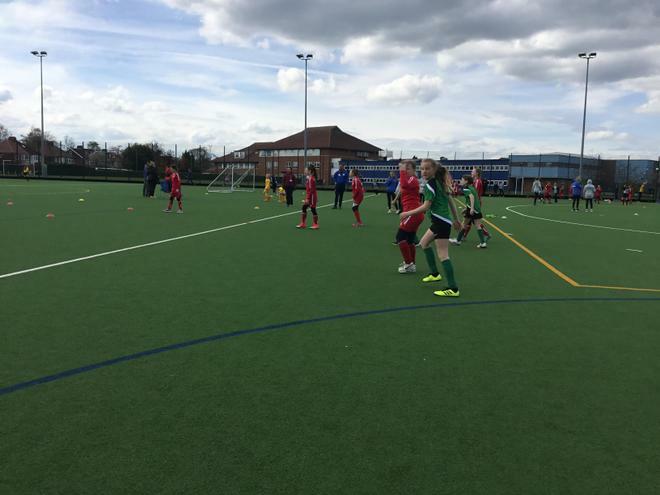 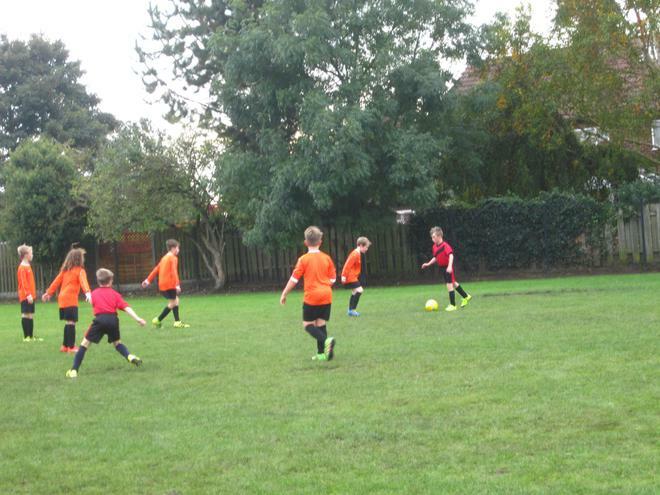 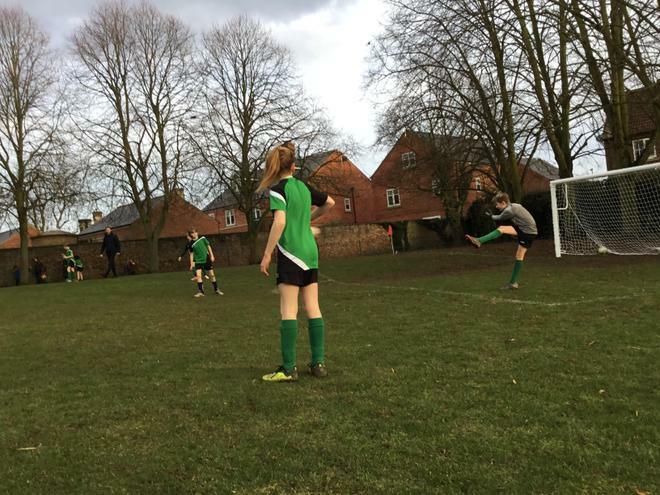 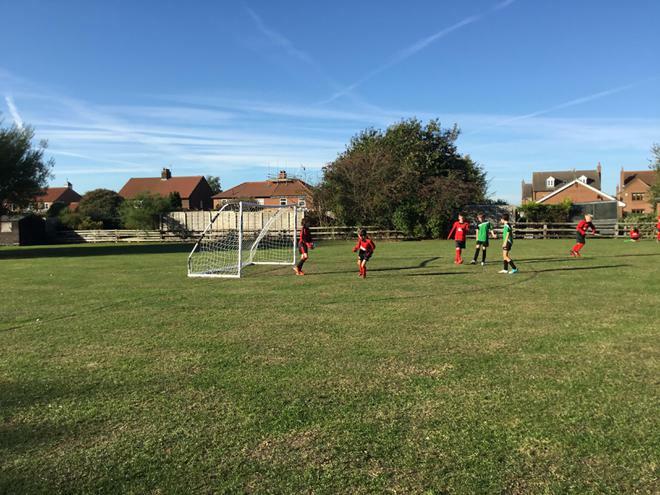 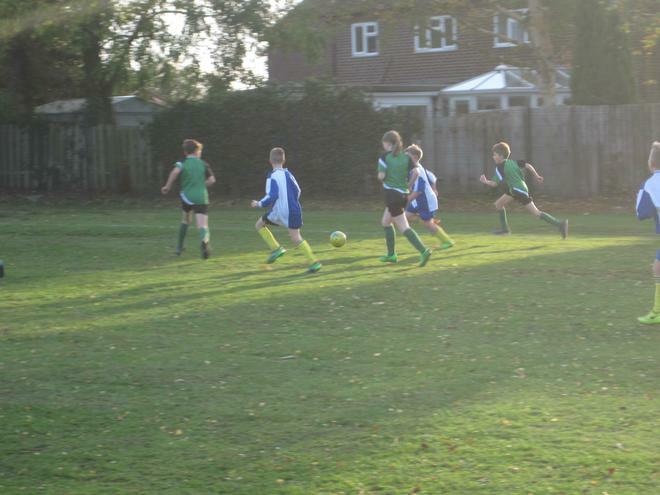 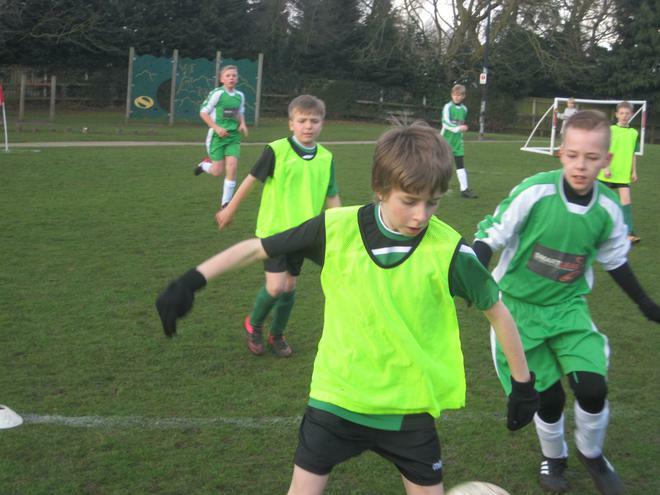 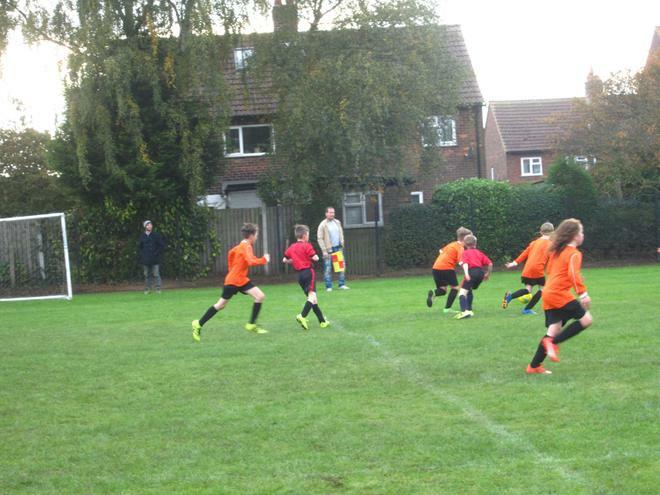 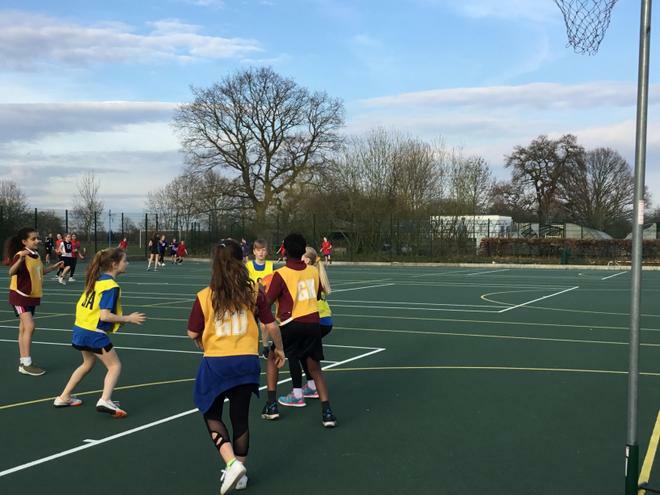 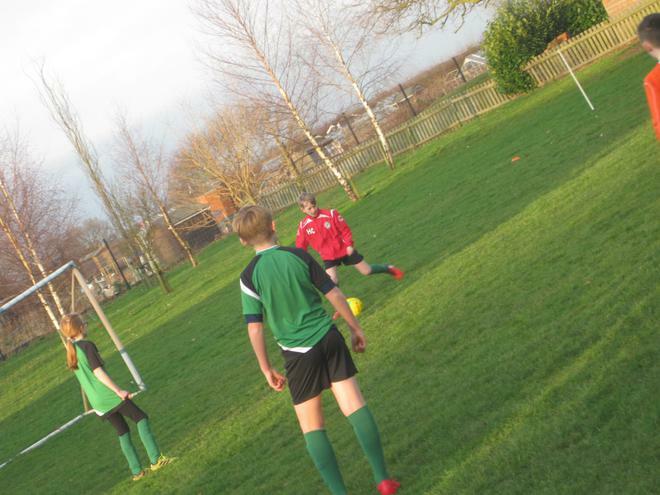 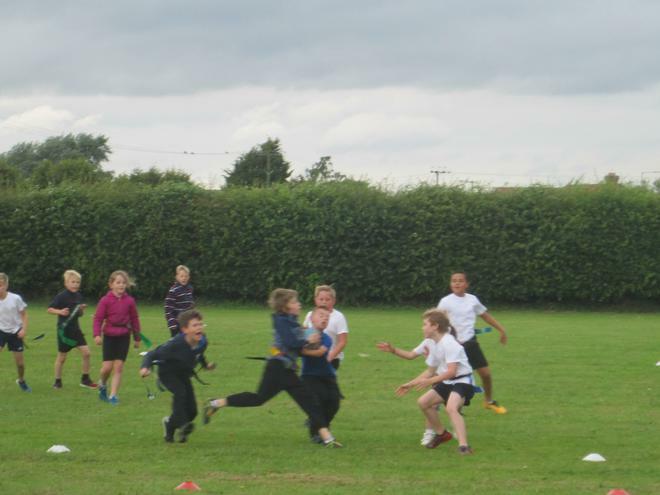 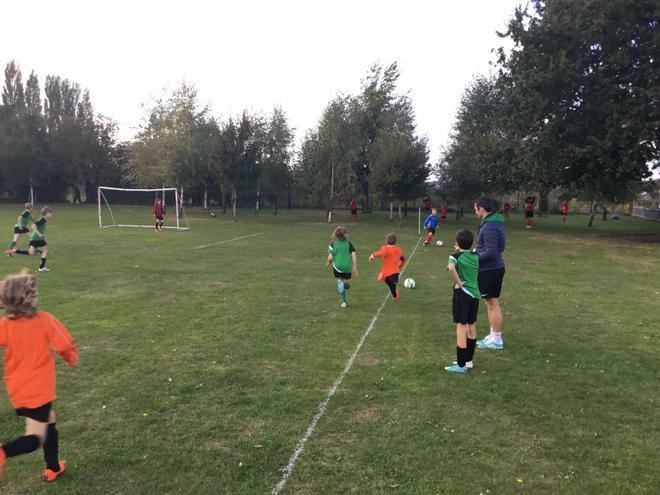 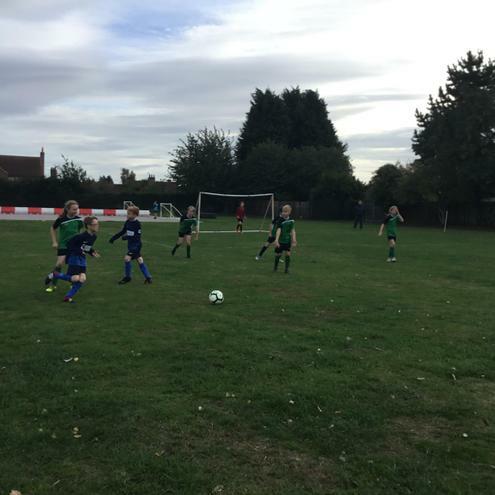 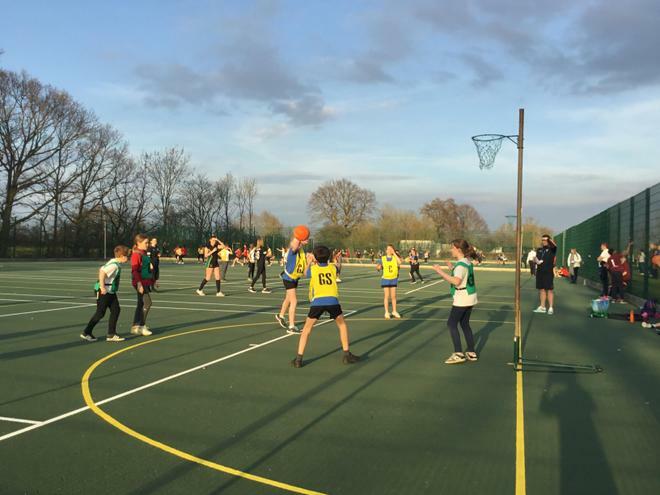 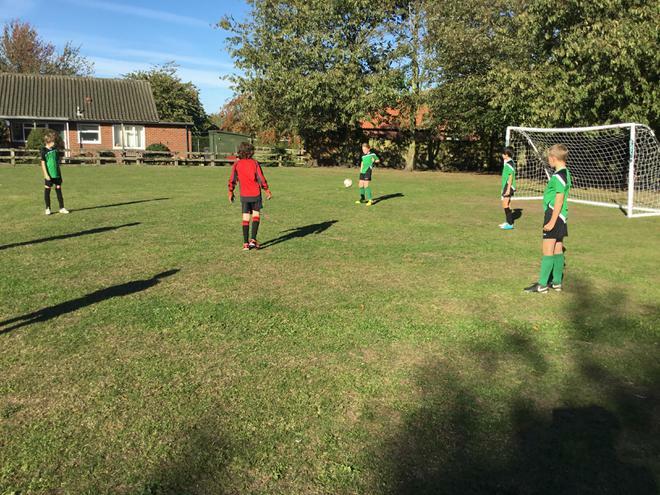 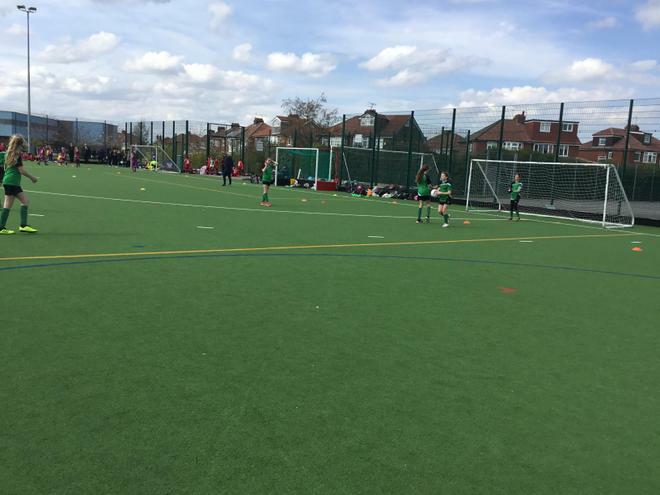 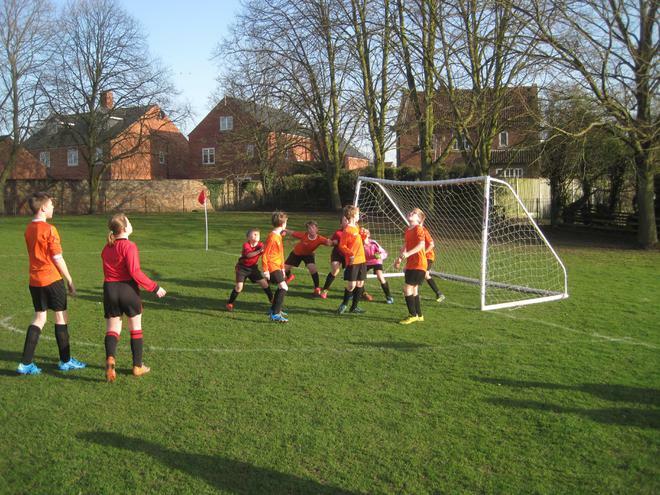 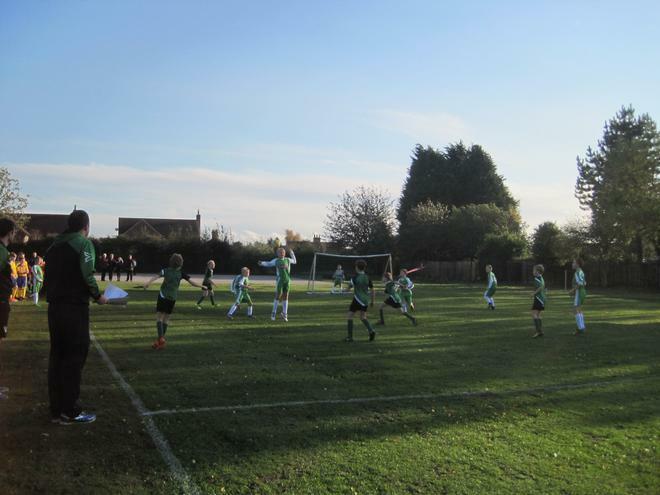 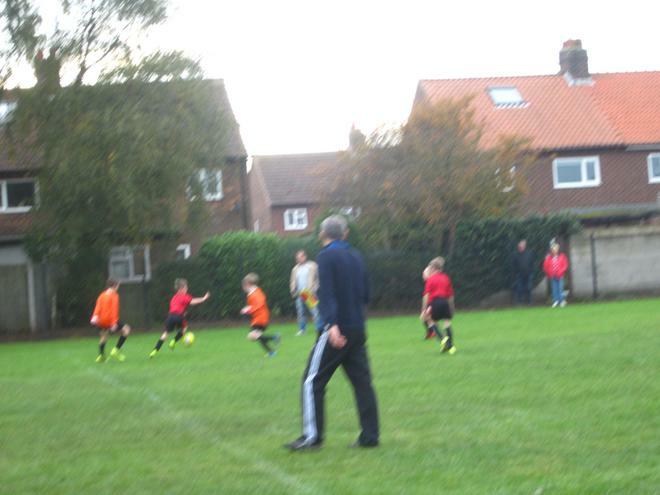 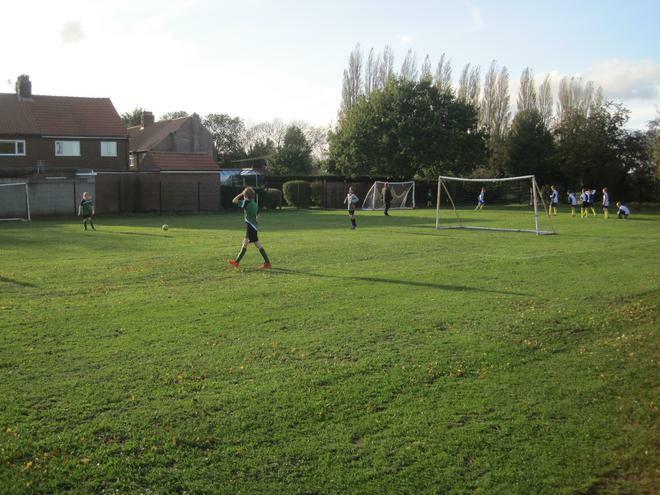 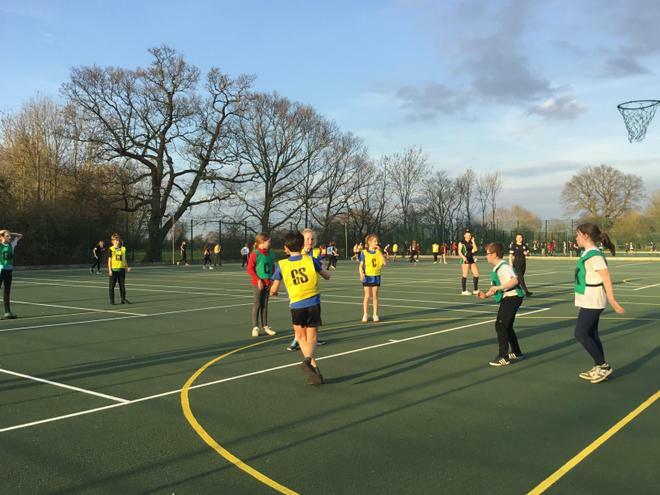 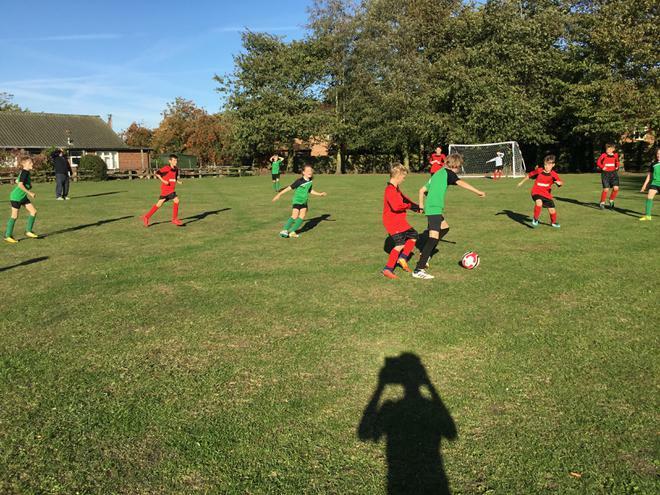 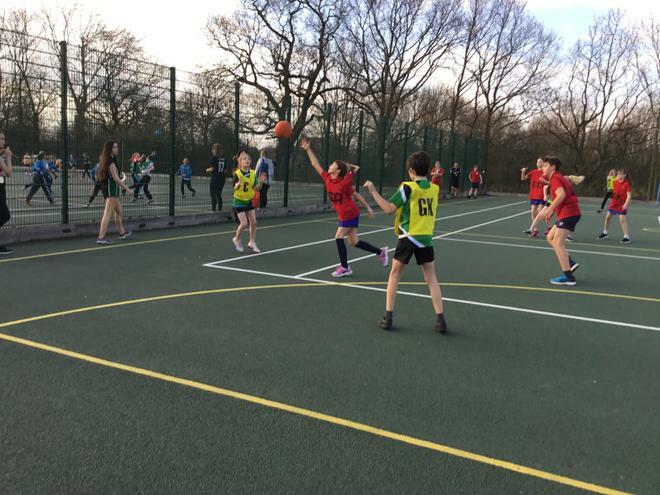 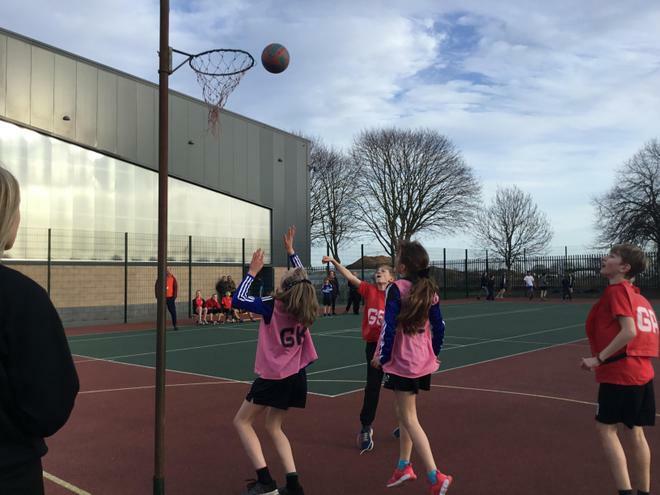 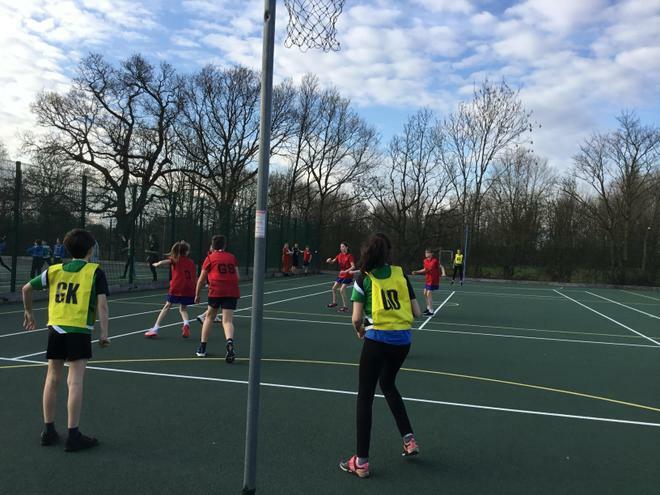 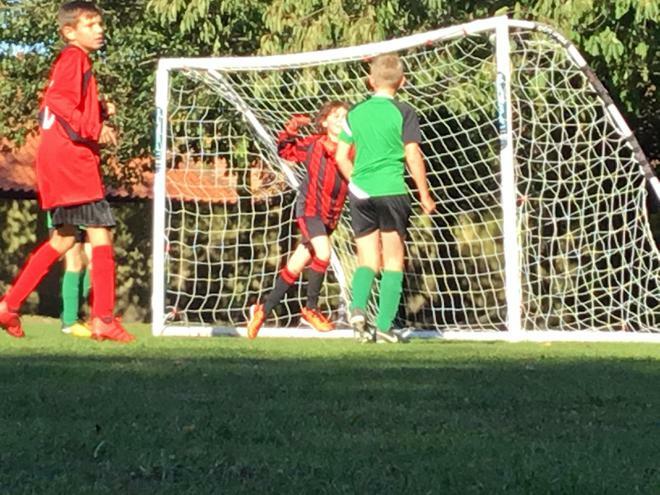 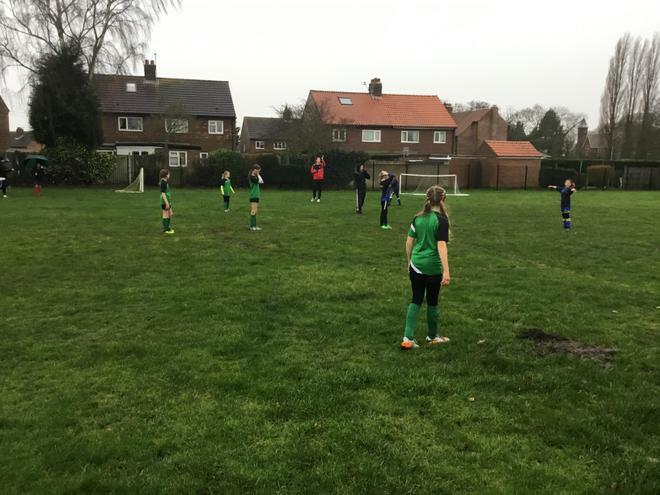 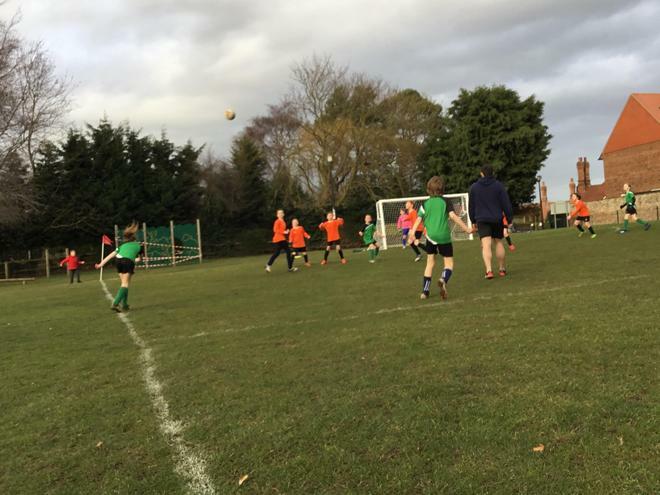 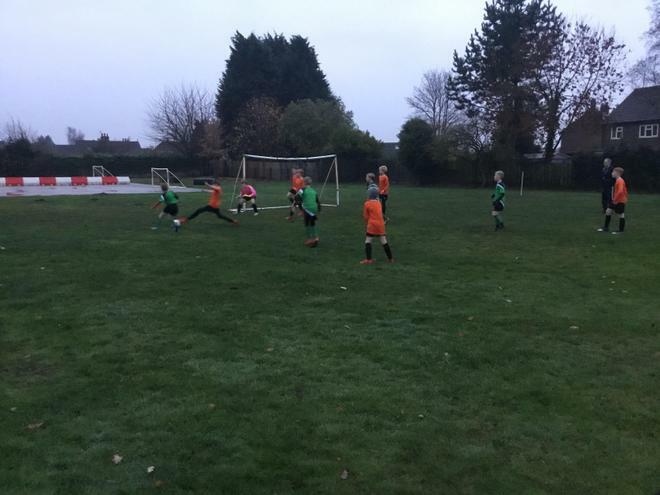 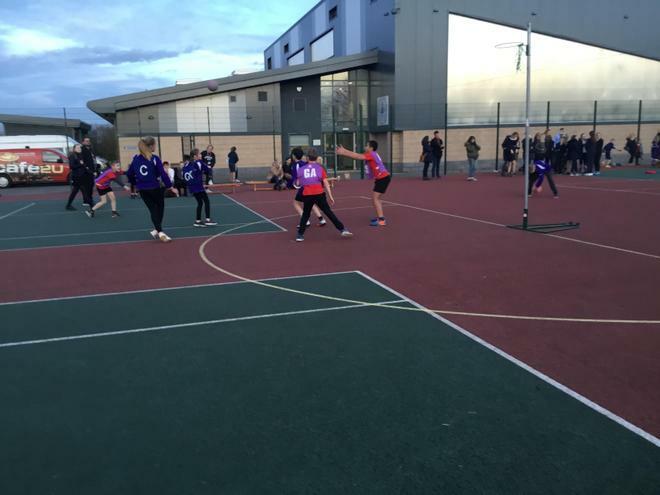 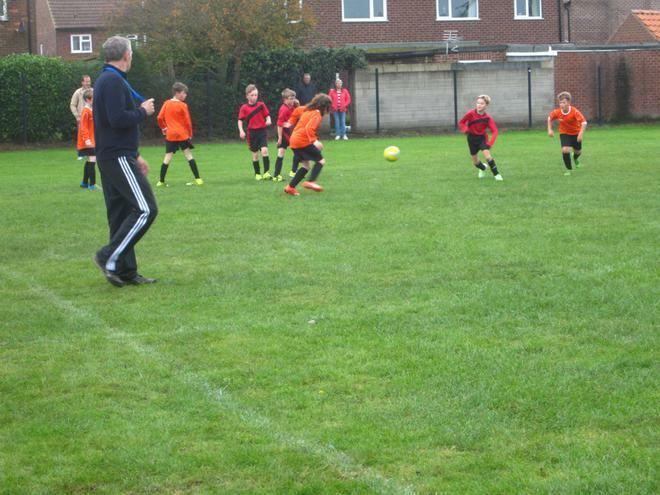 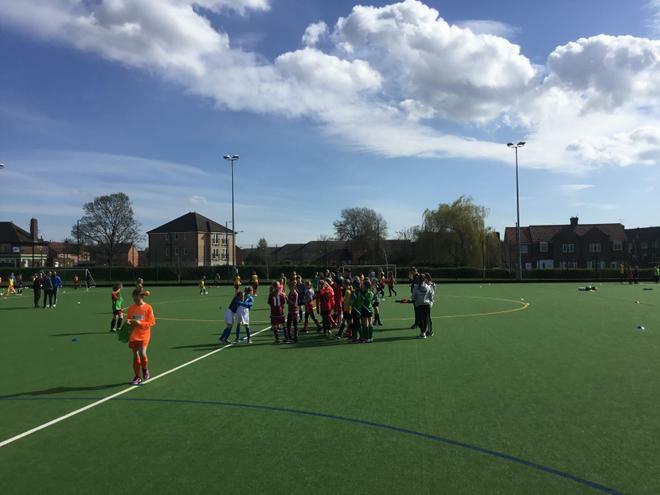 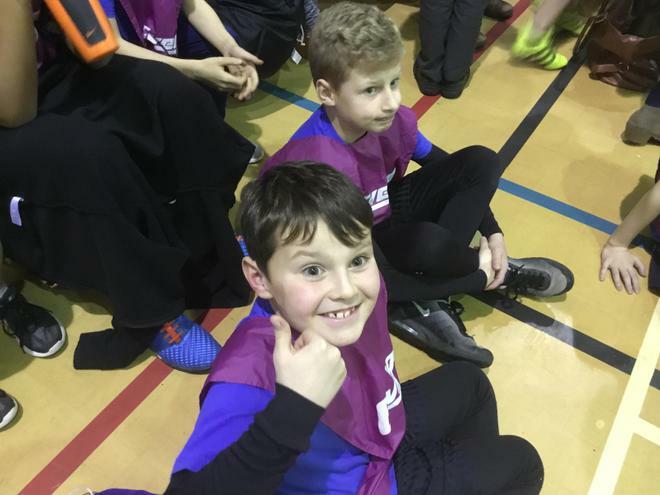 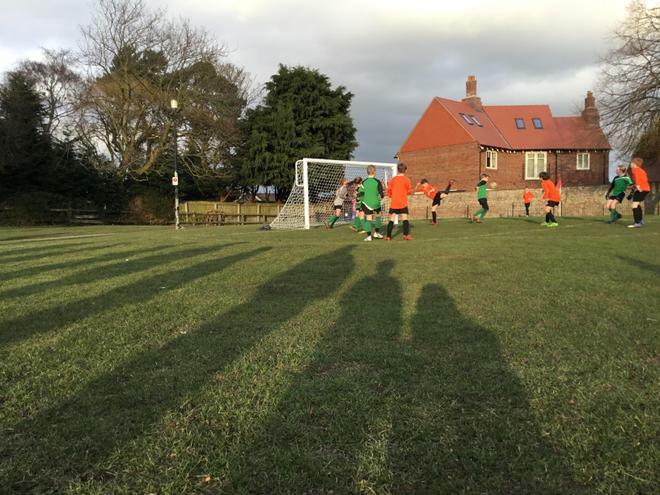 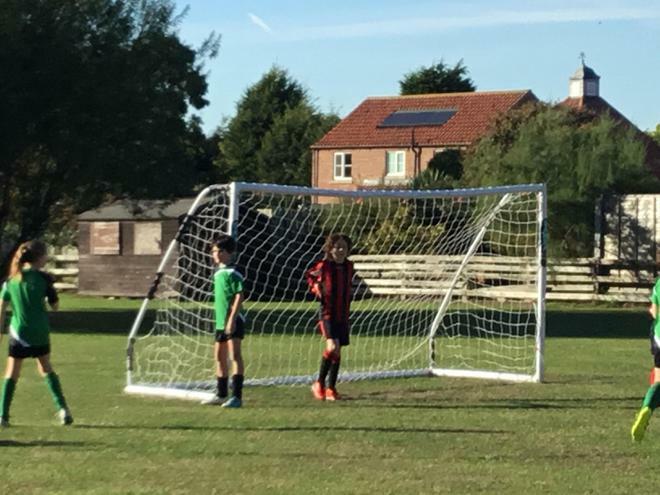 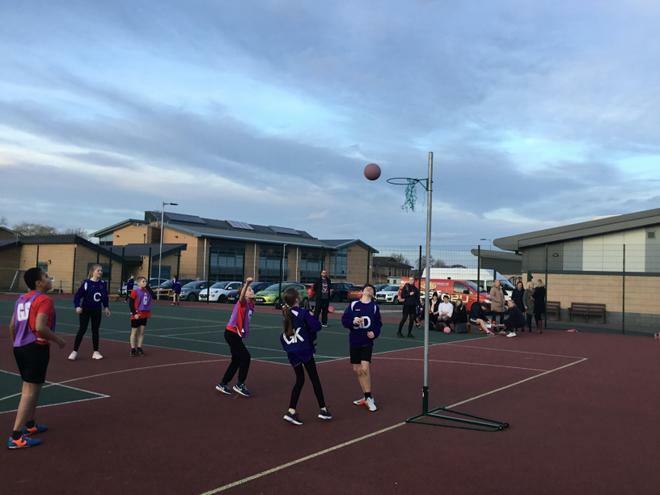 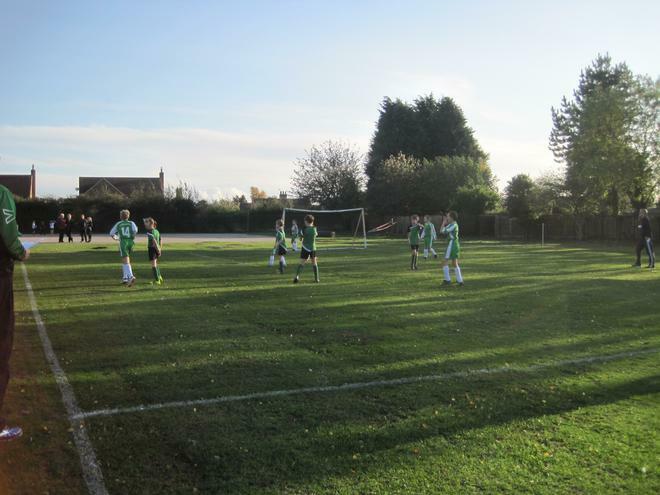 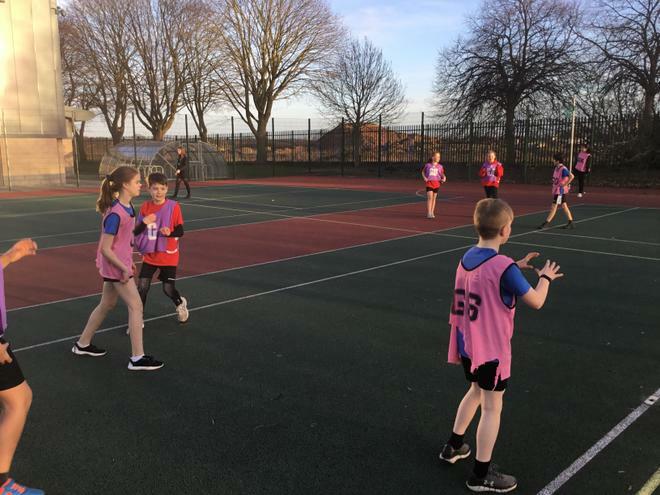 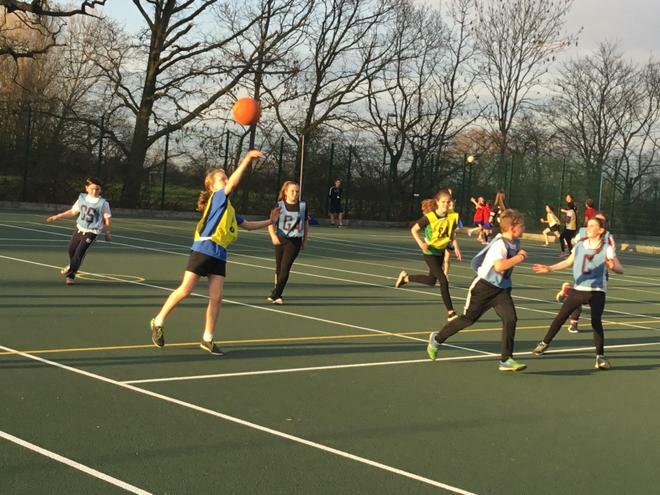 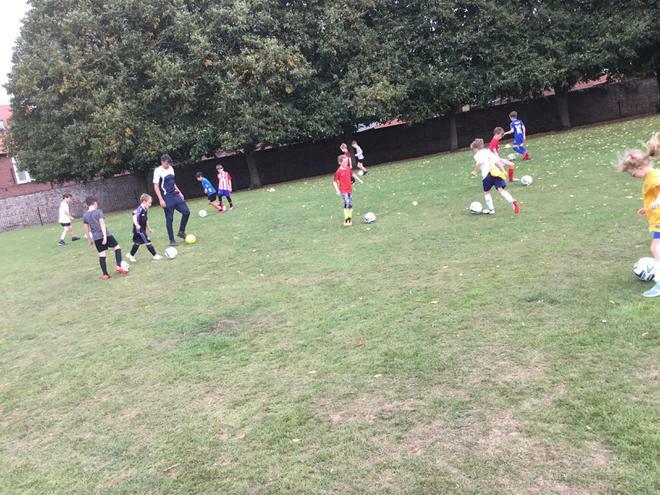 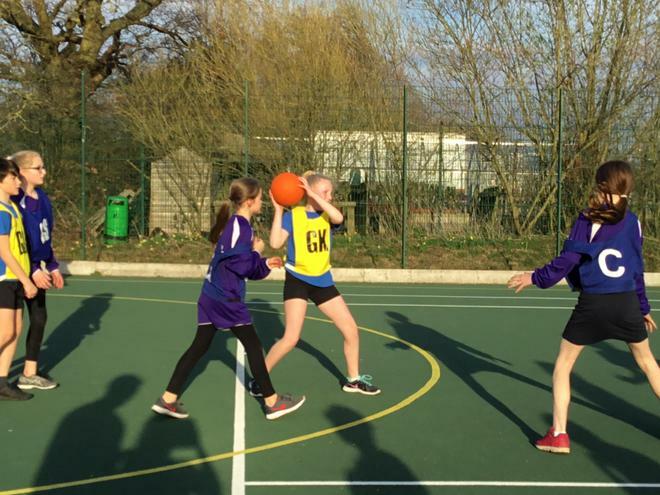 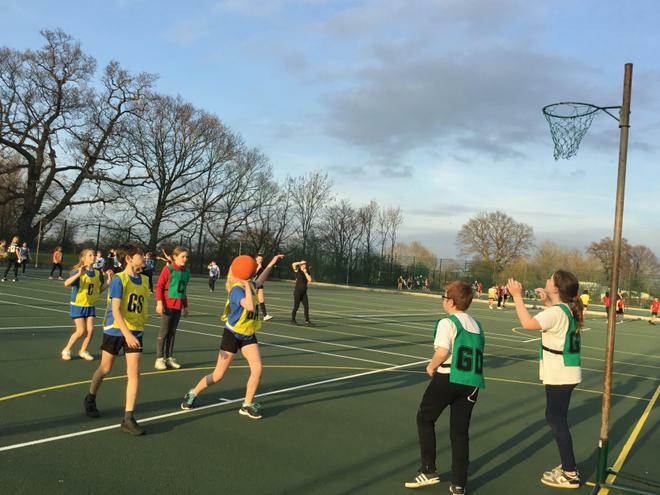 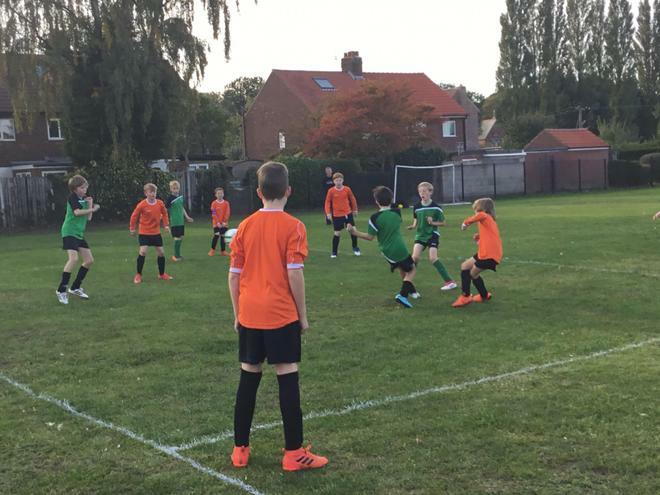 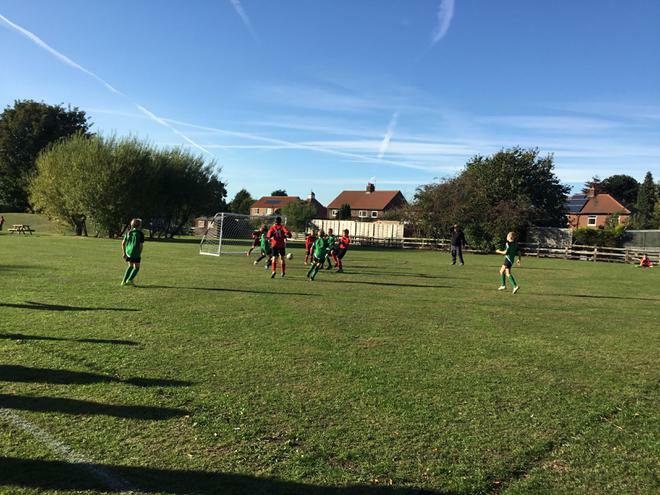 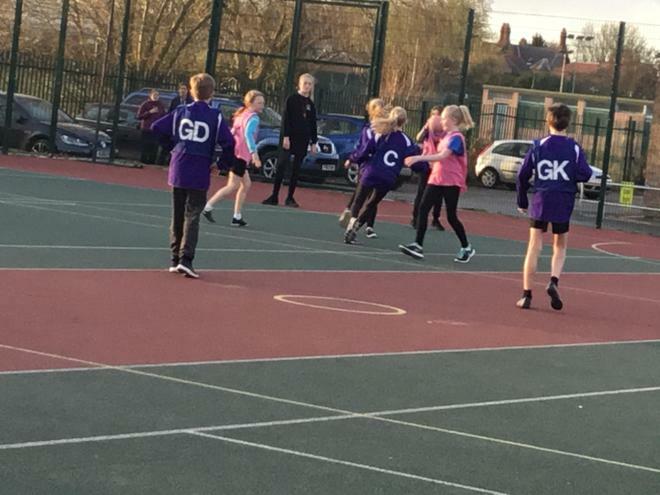 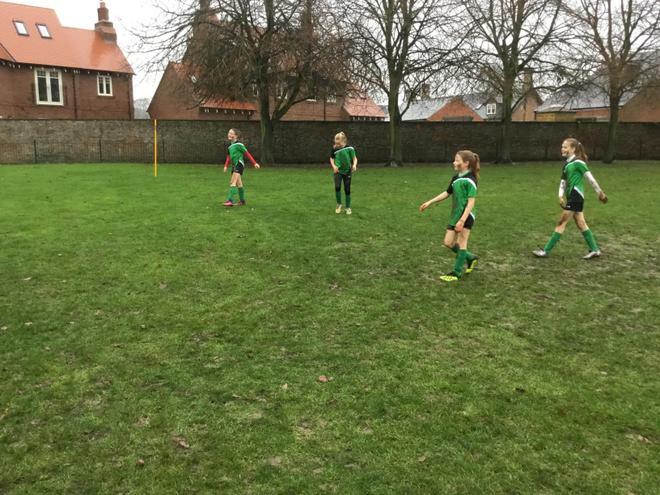 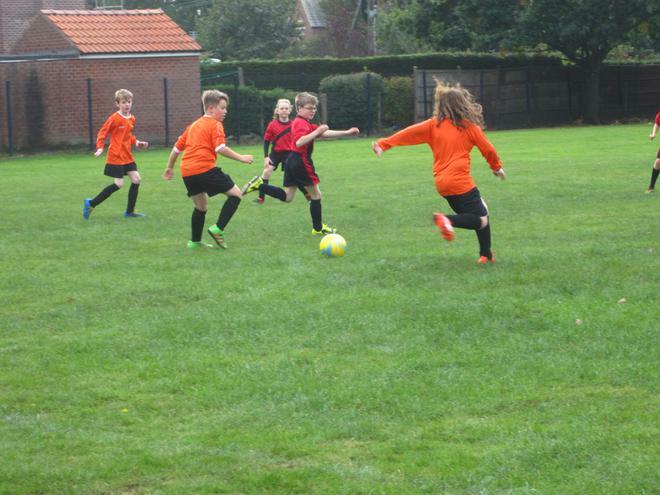 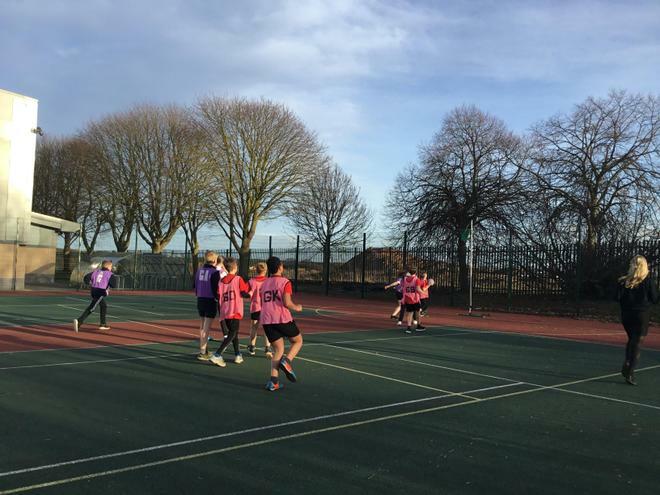 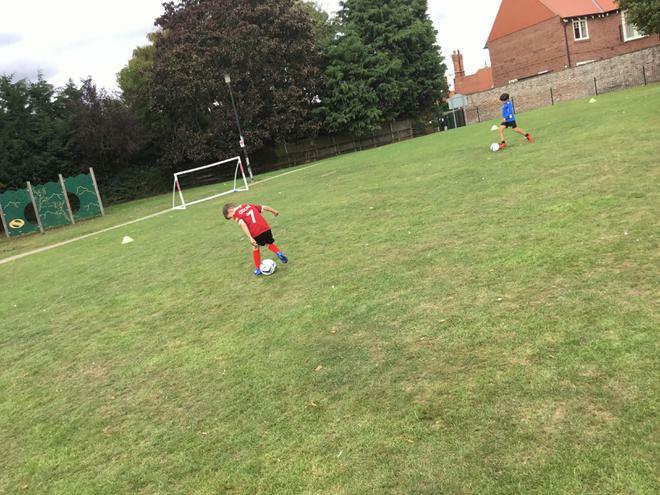 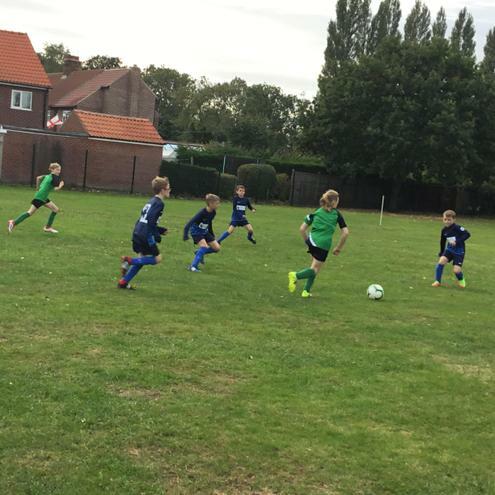 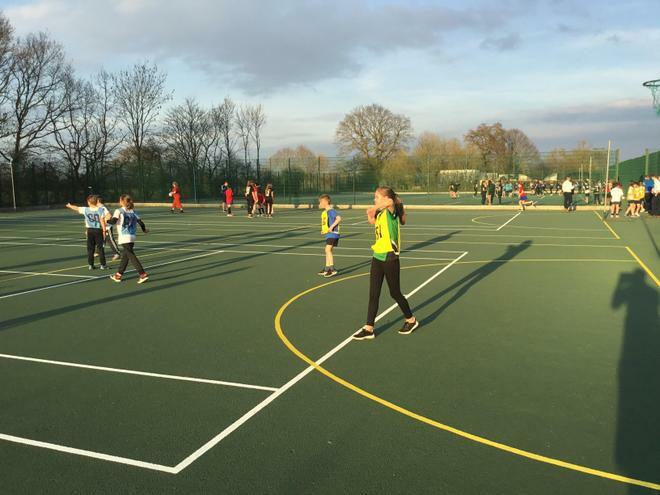 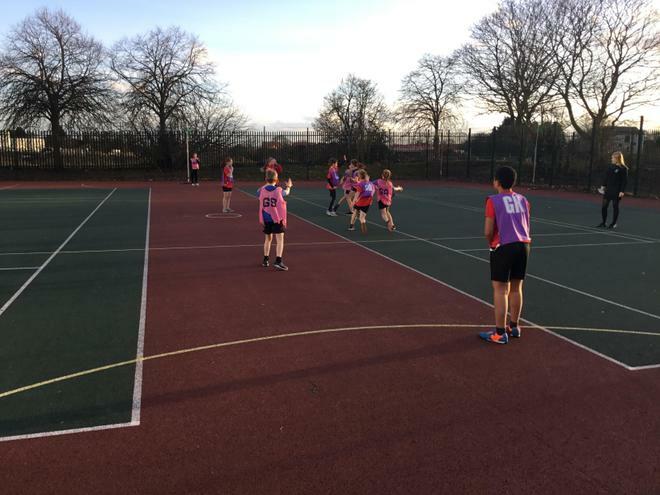 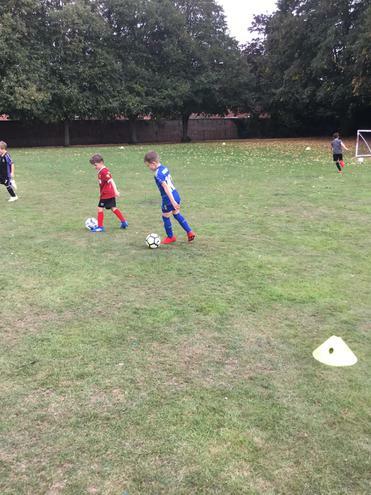 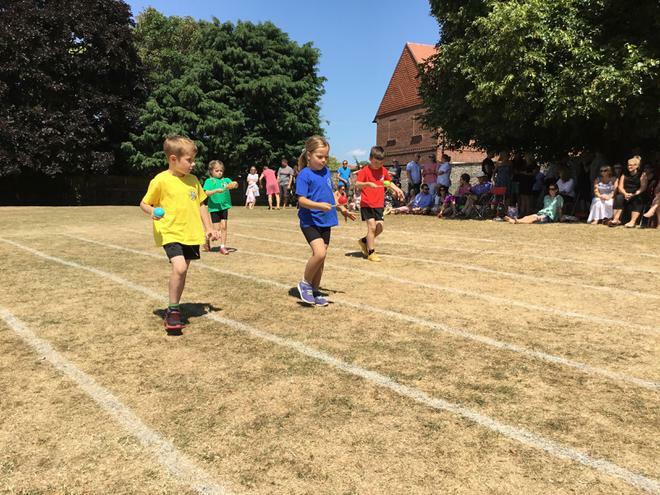 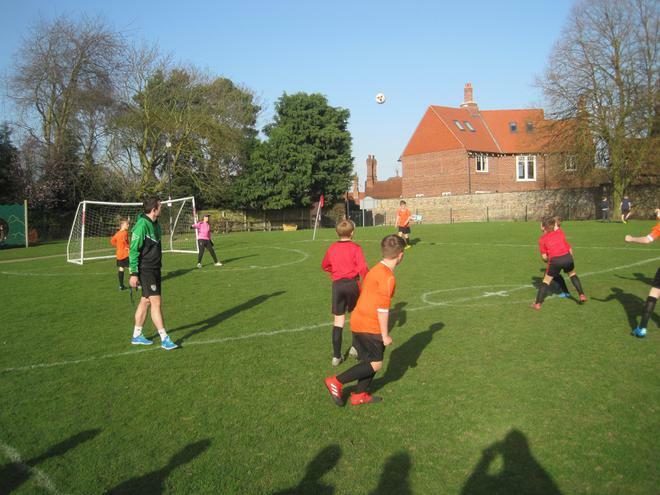 At Escrick we are passionate about our sport and regularly take part in competitions, friendly games and have intra school events. 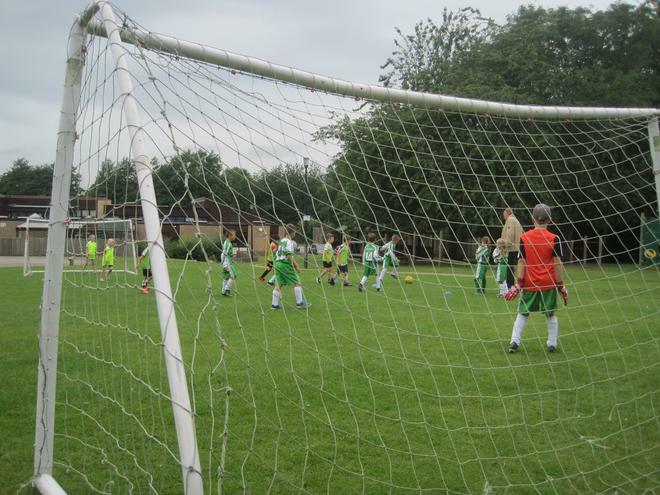 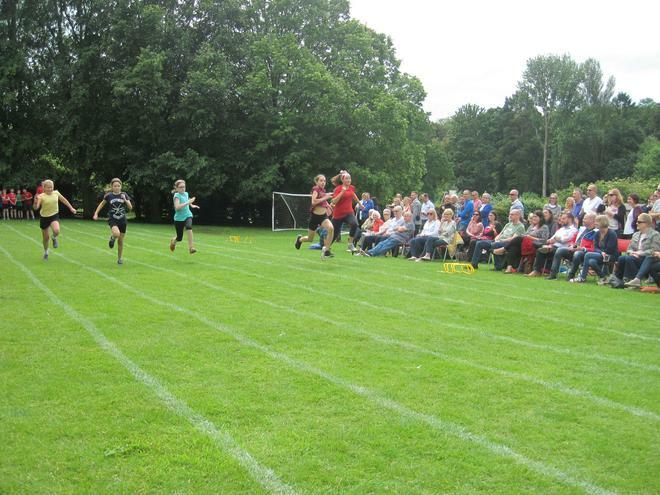 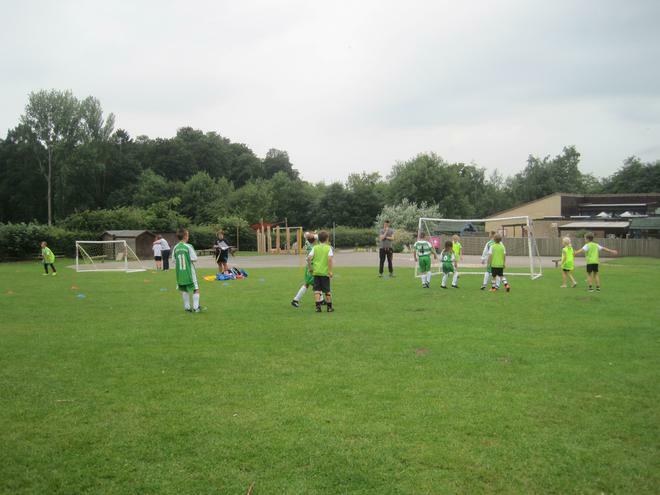 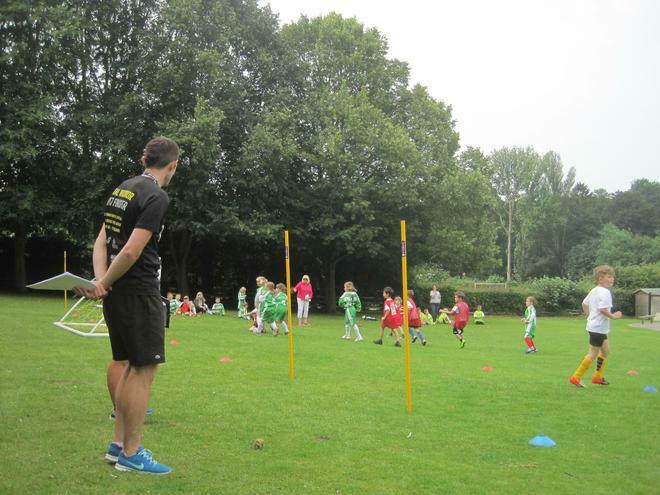 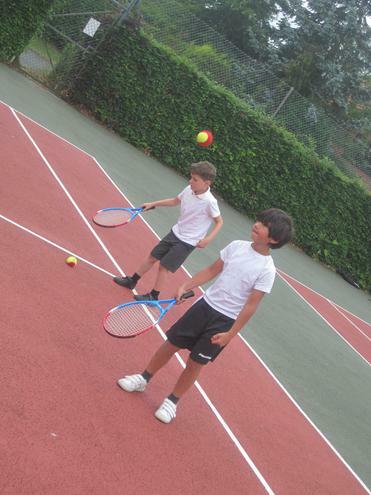 We help to organise events and really enjoy sport!  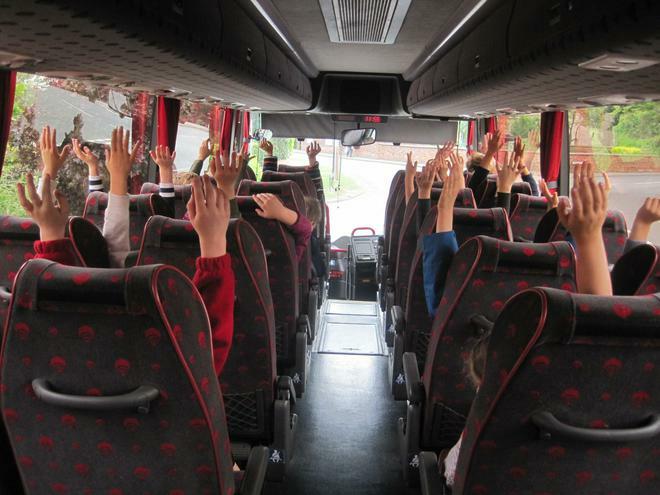 We hope you will come back to this page and see how many things we have done. 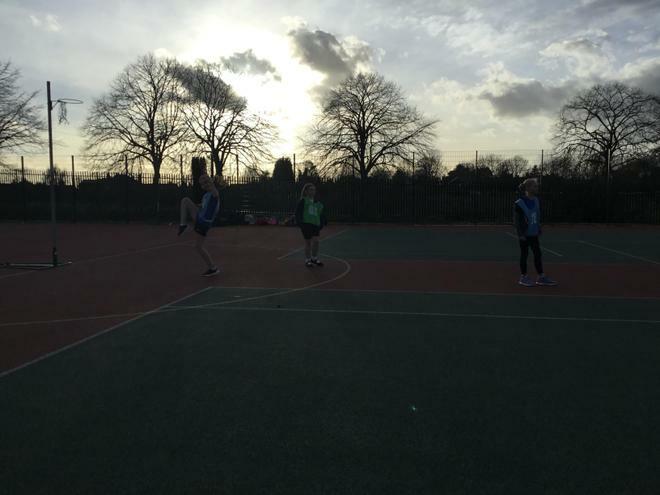 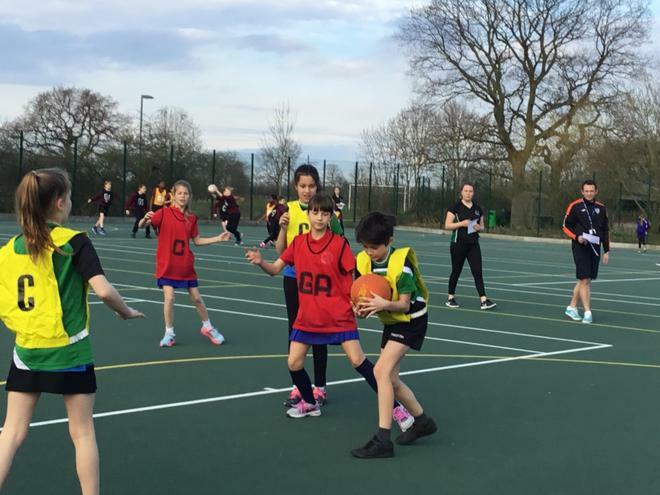 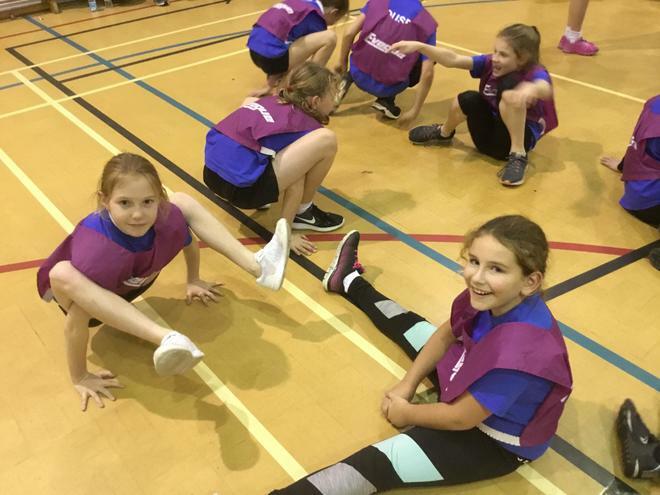 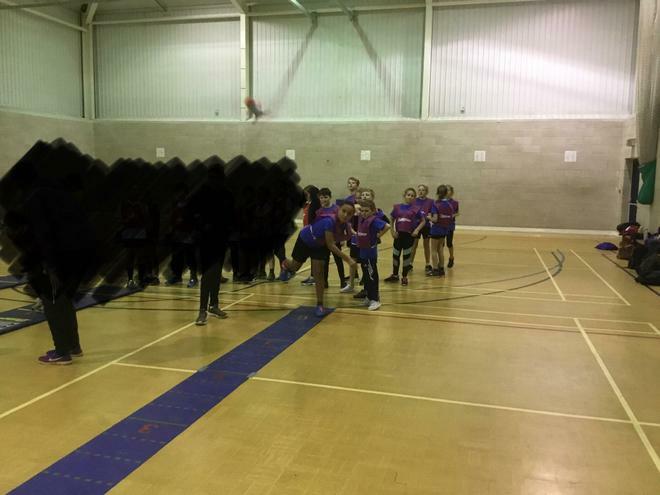 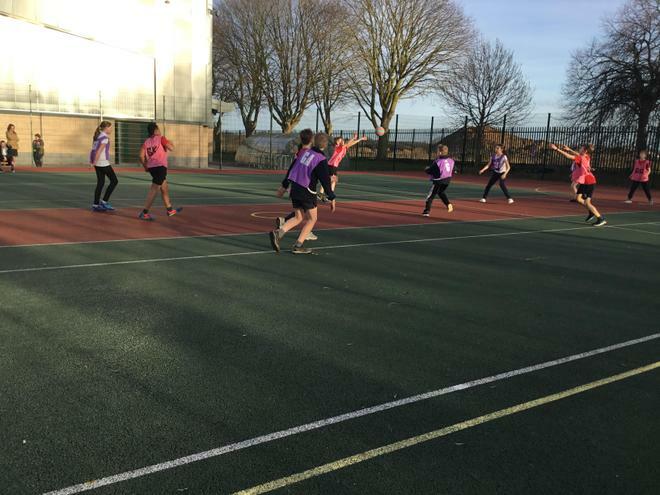 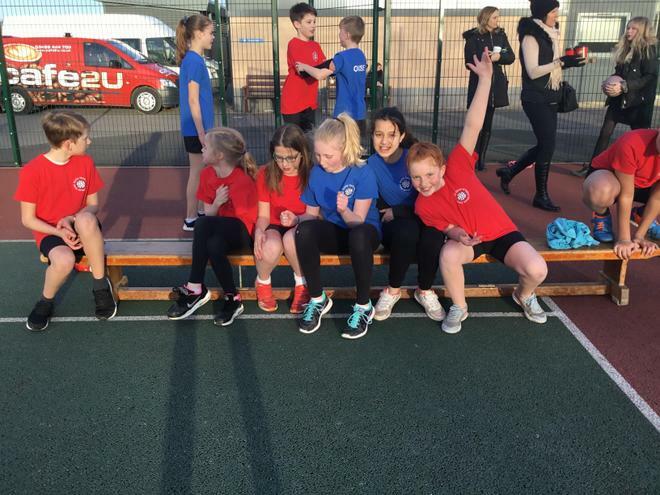 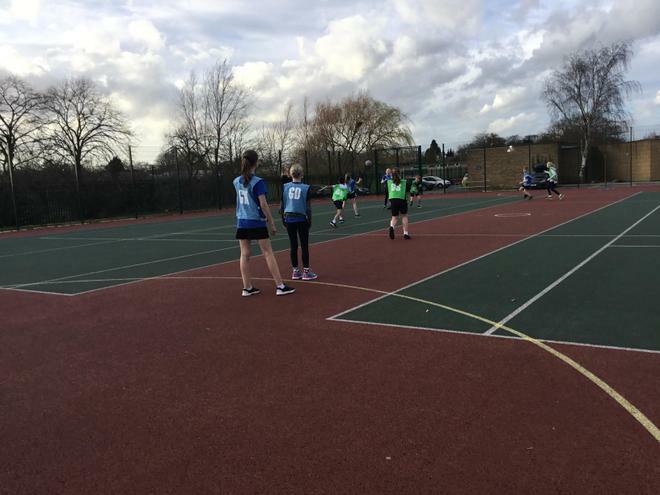 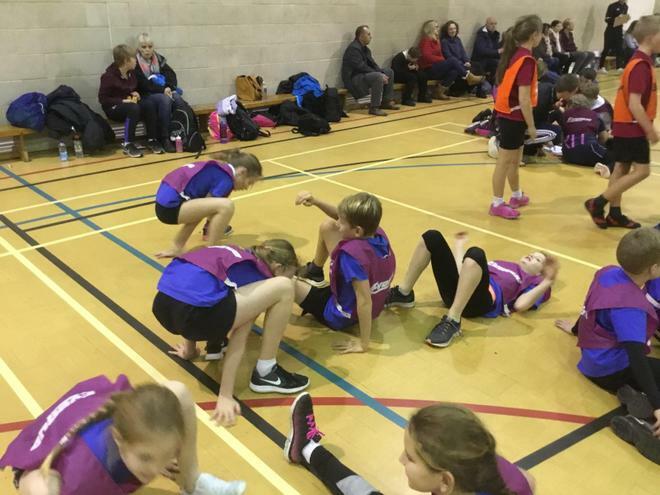 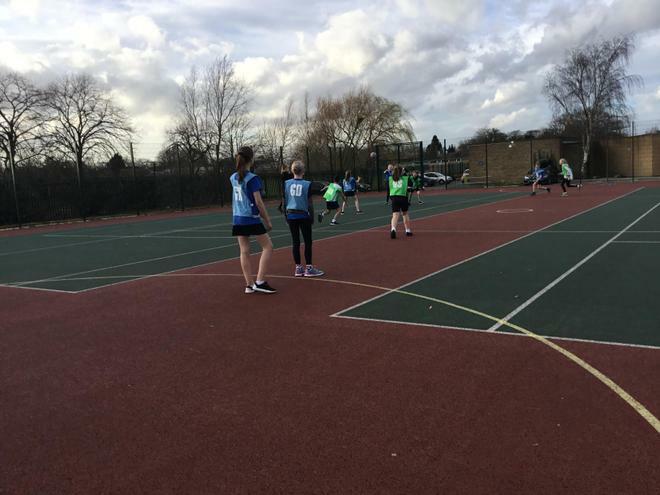 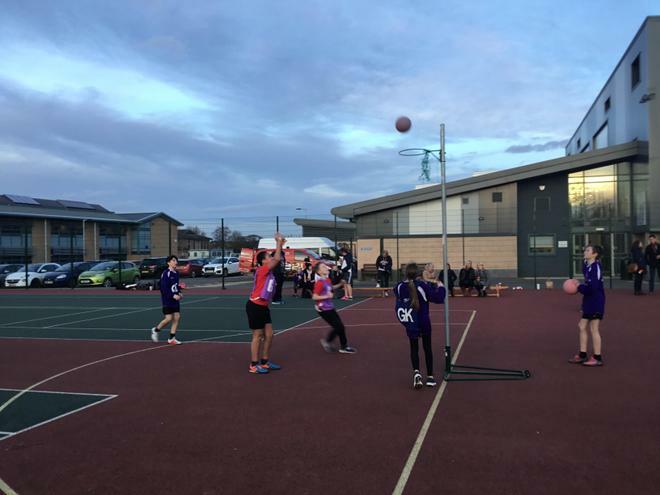 Netball Report! 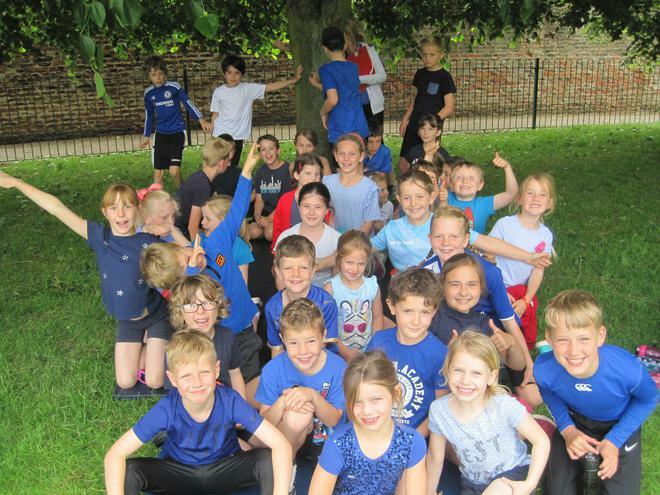 Good luck in the finals blue team! 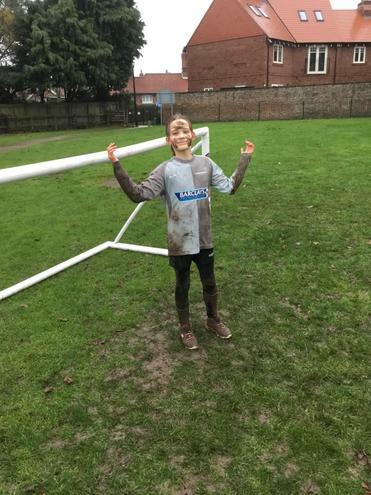 Because our game against Brayton was cancelled...they turned into mud monsters! 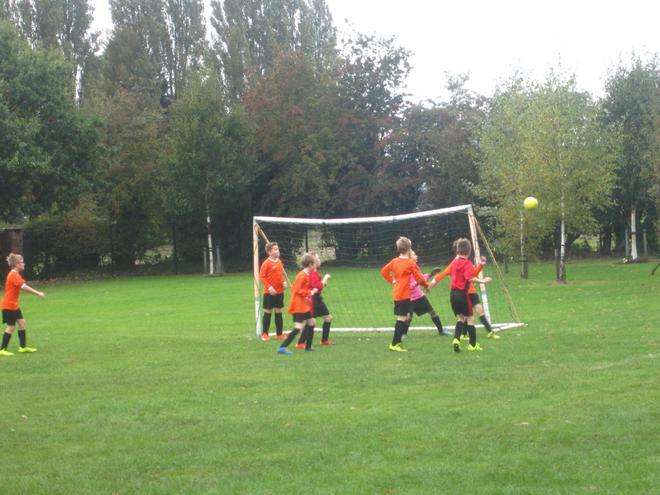 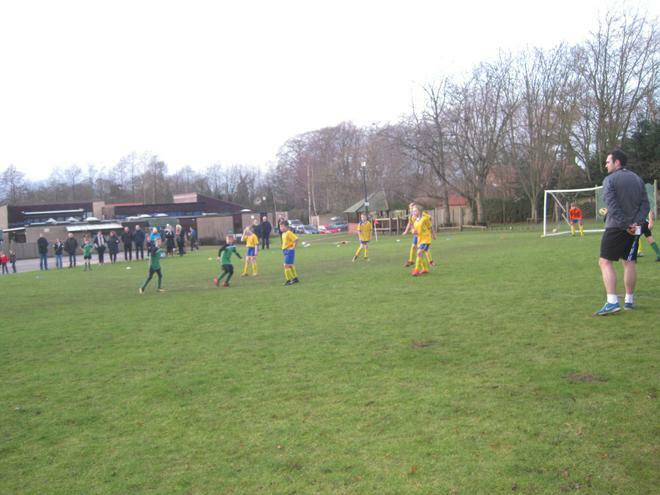 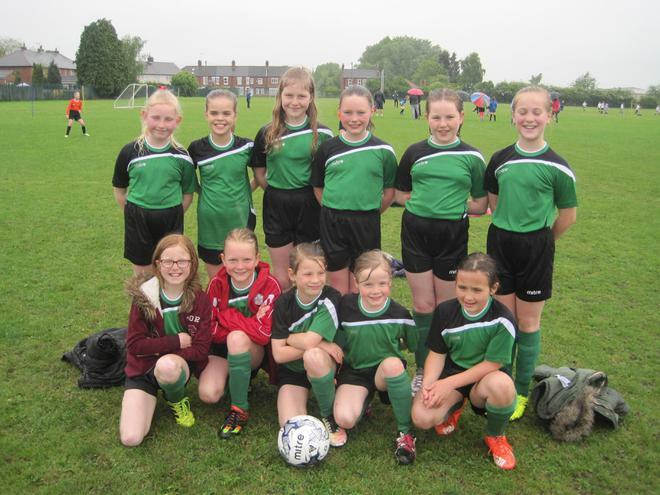 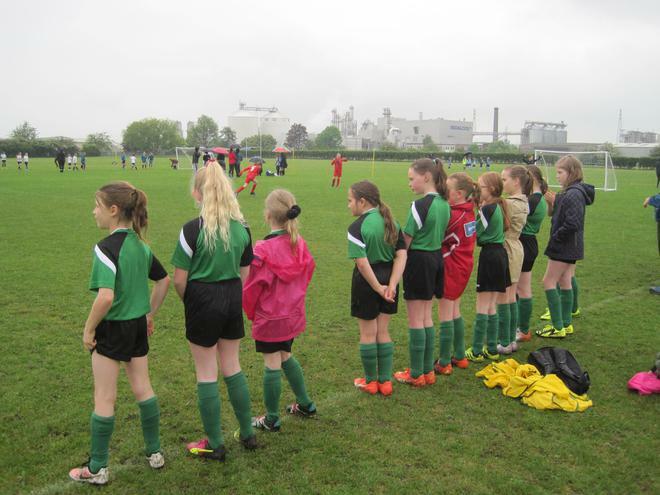 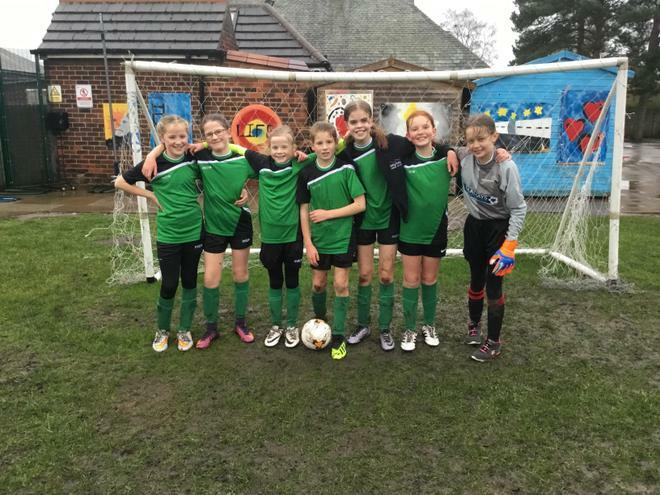 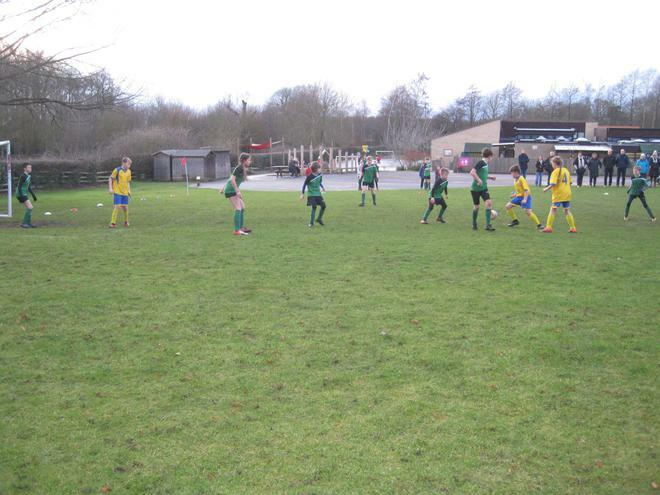 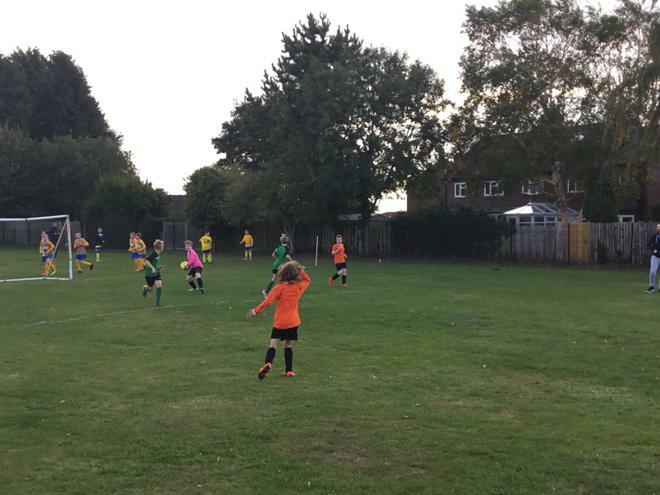 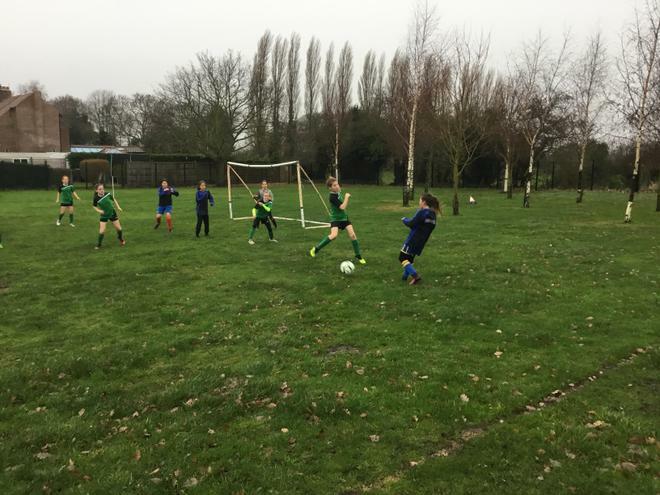 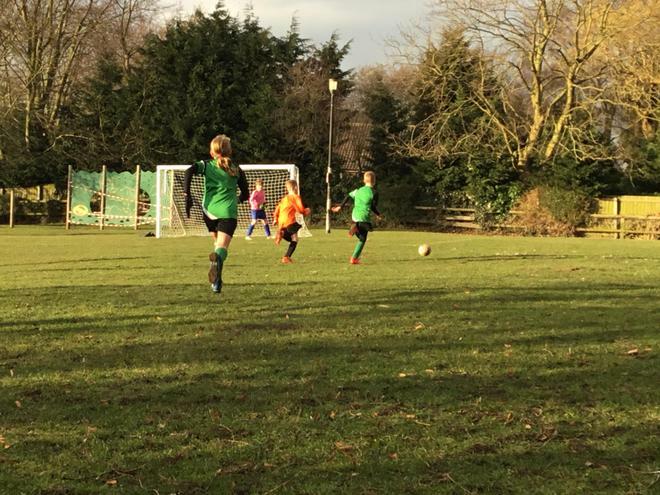 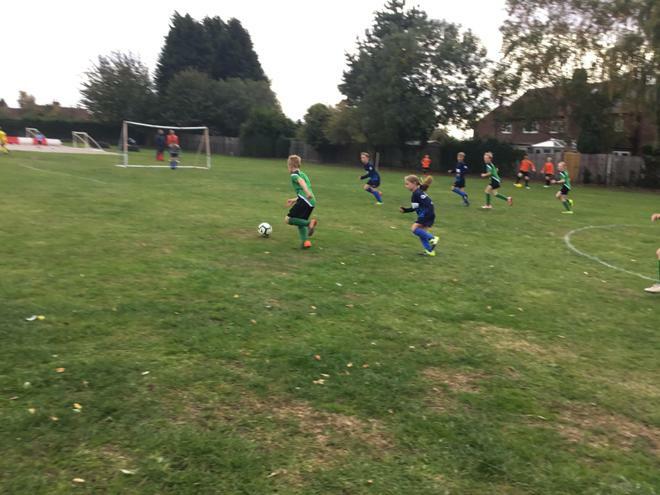 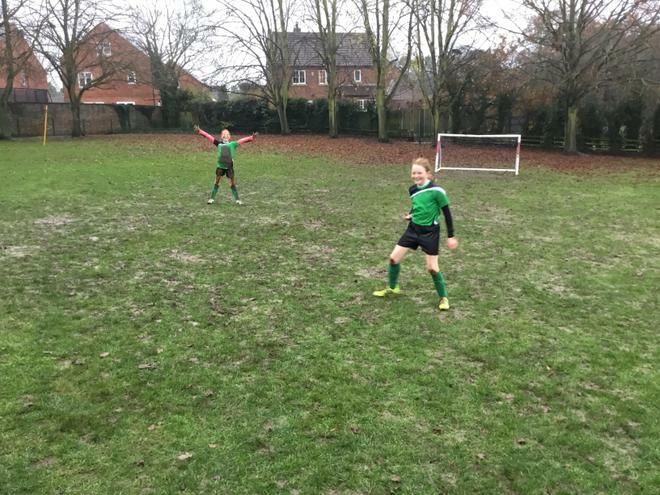 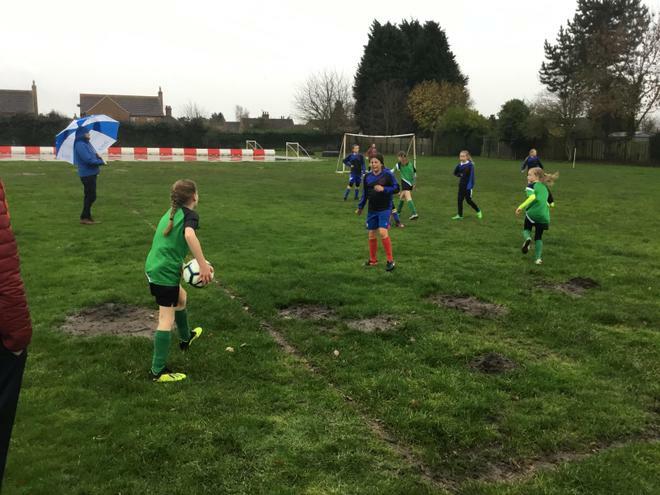 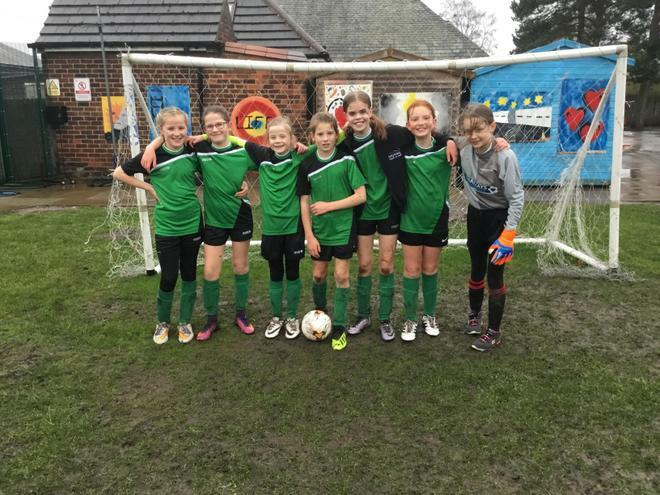 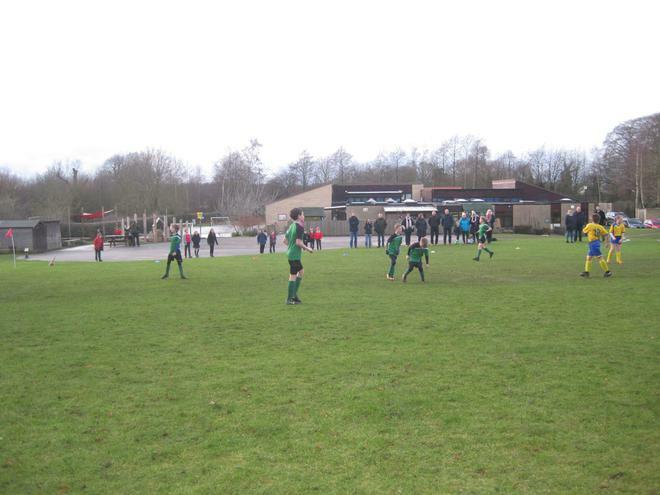 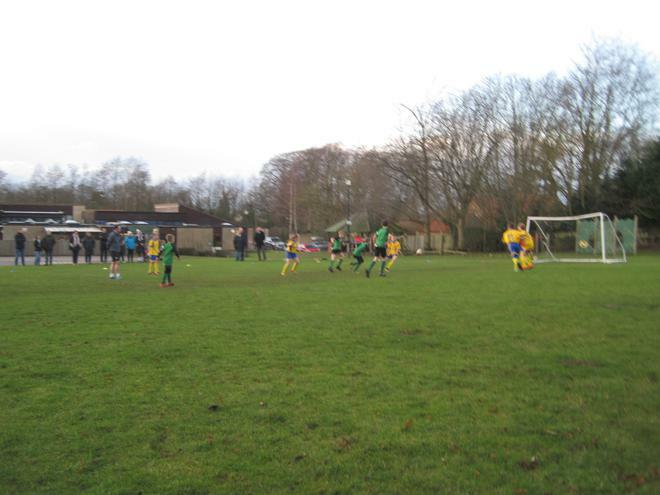 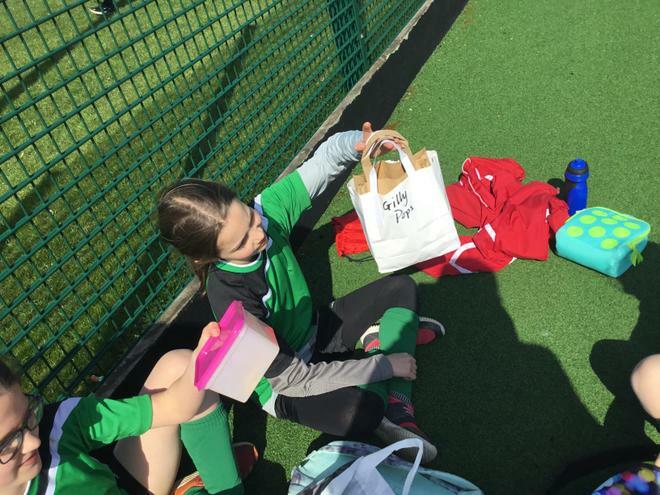 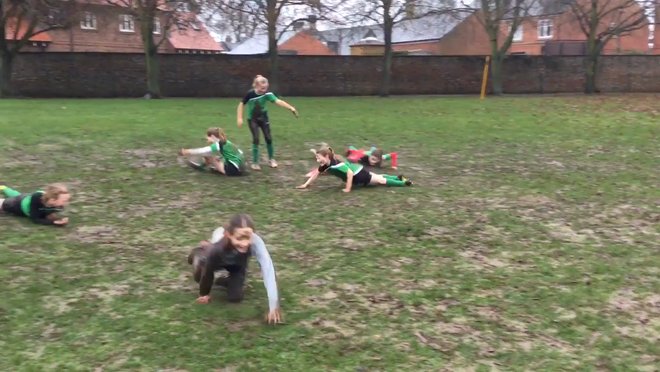 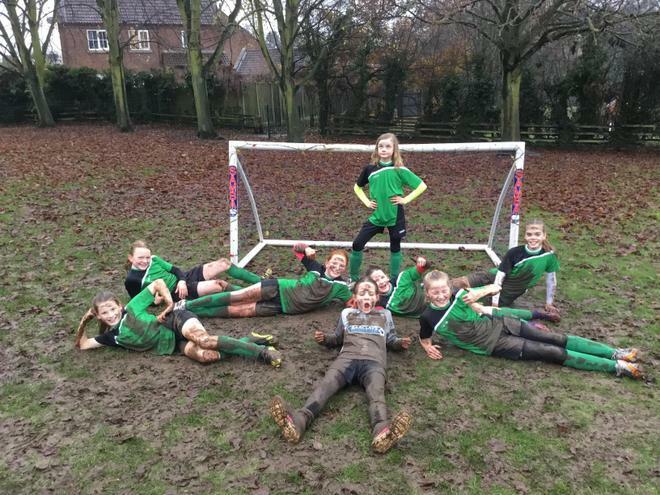 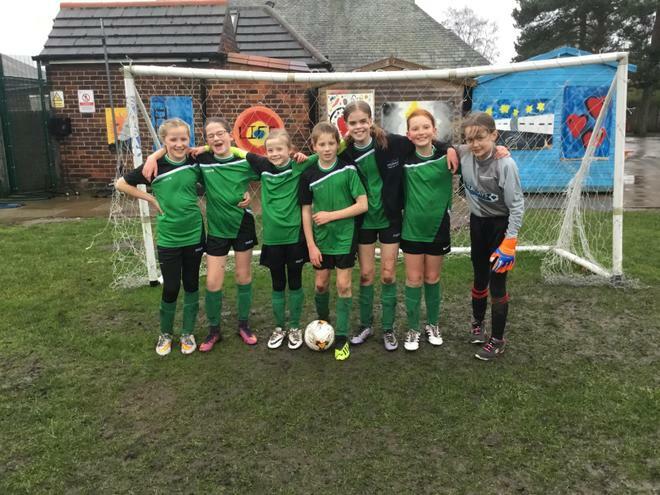 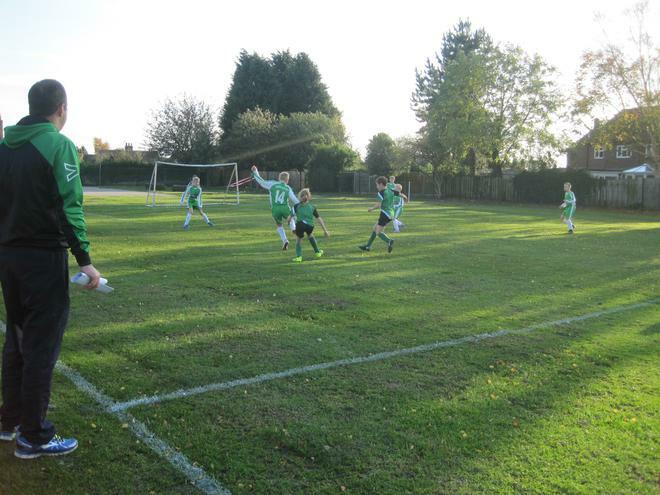 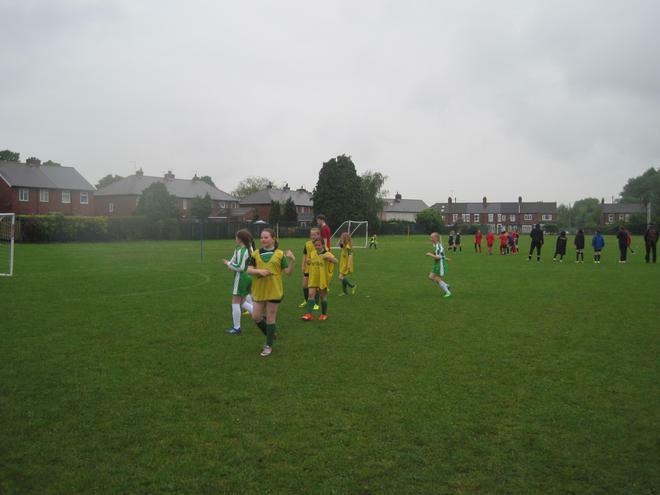 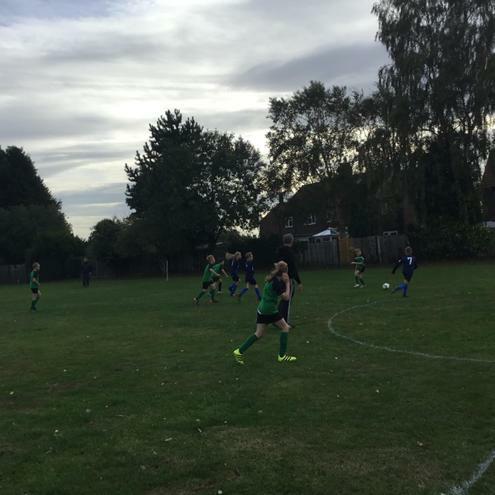 Fantastic attitude from the girls not being too disappointed because we couldn’t play our cup match. 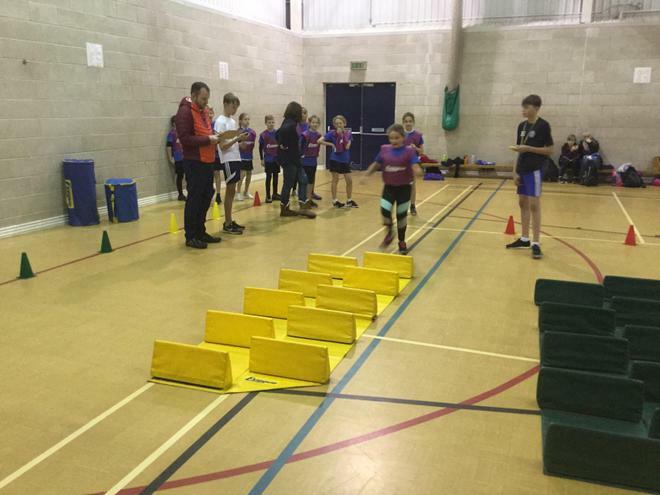 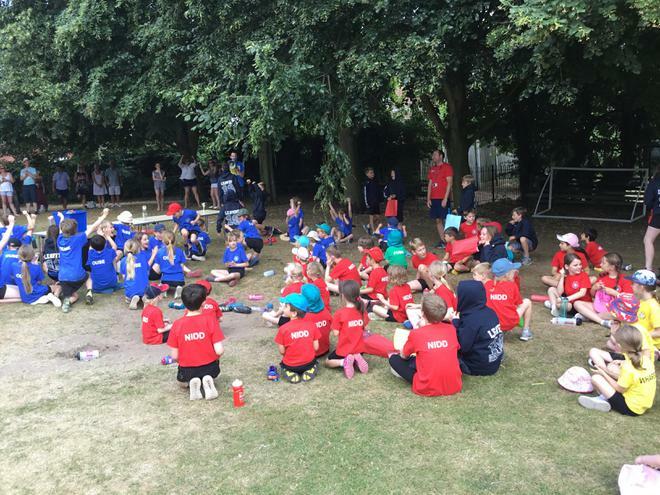 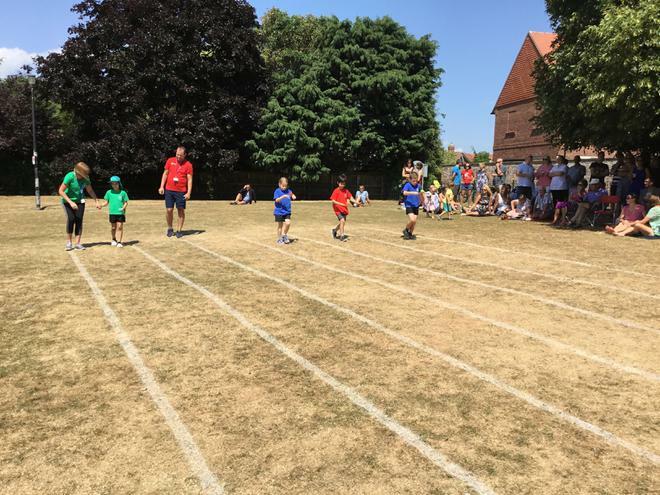 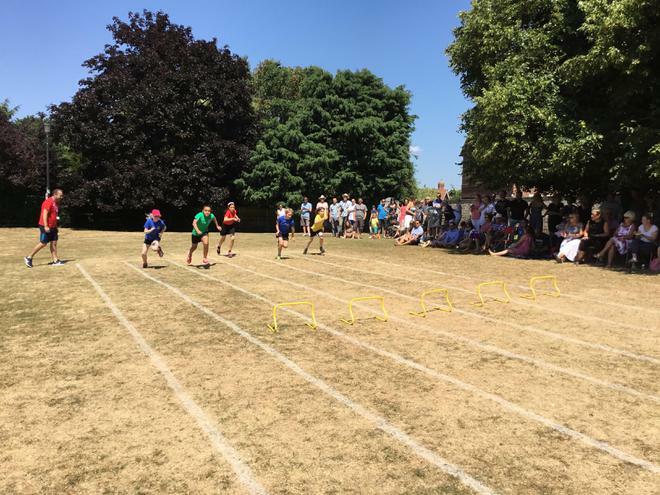 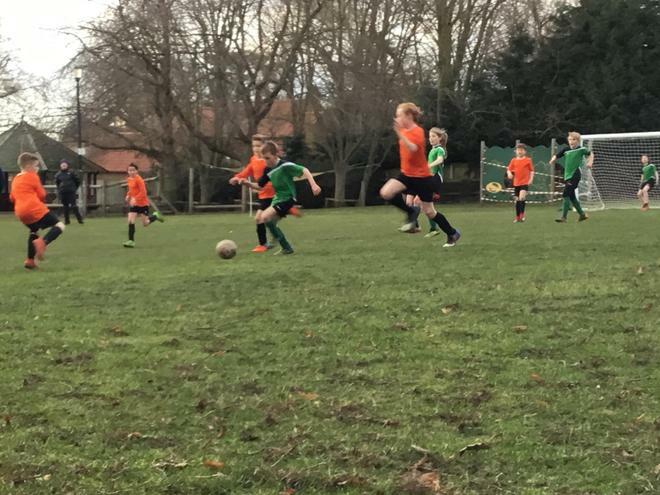 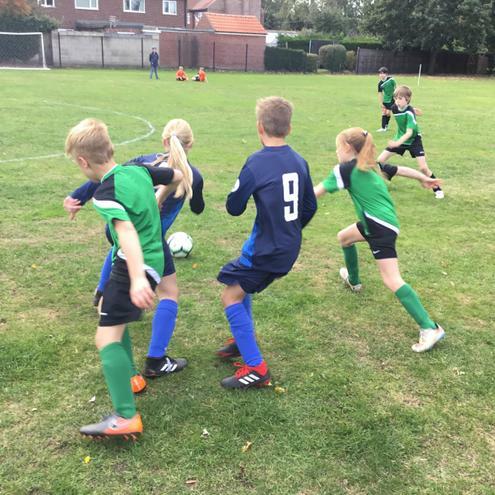 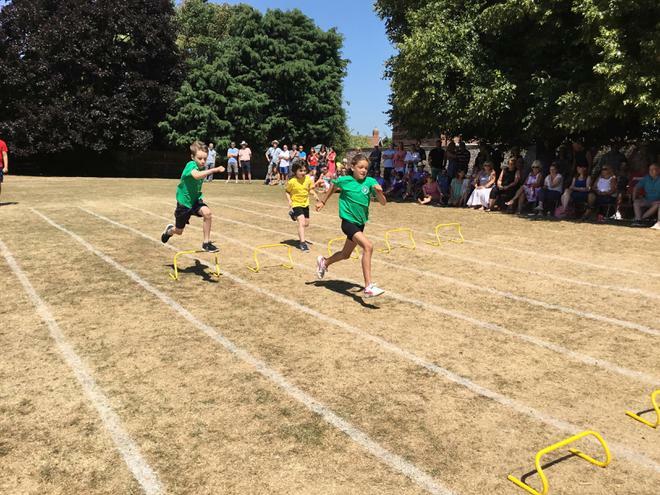 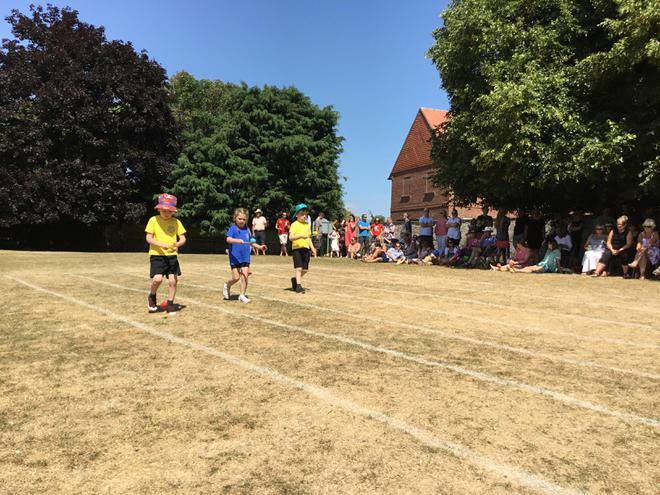 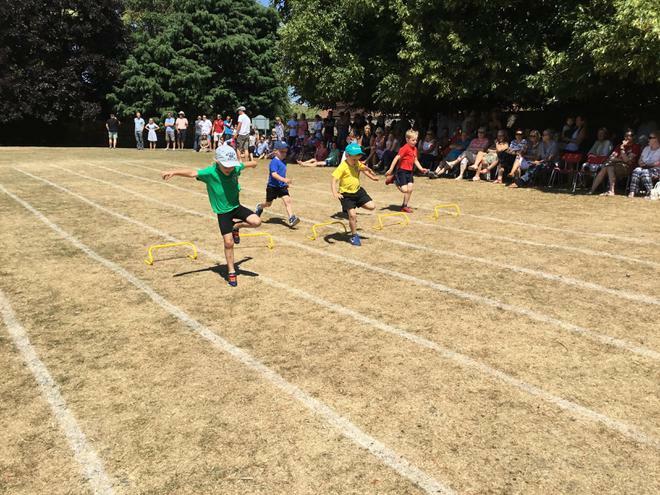 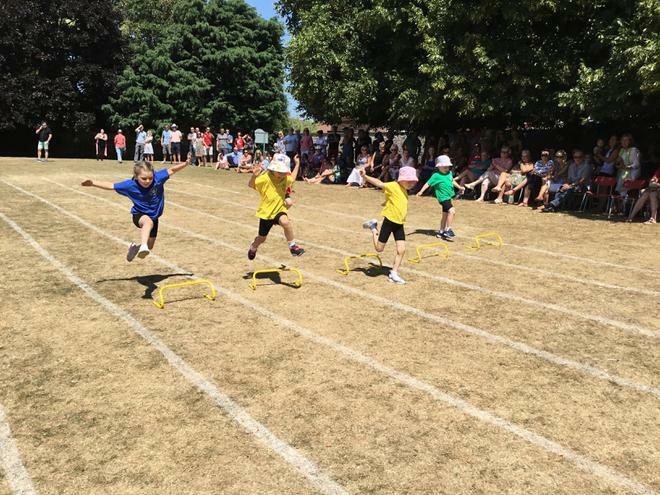 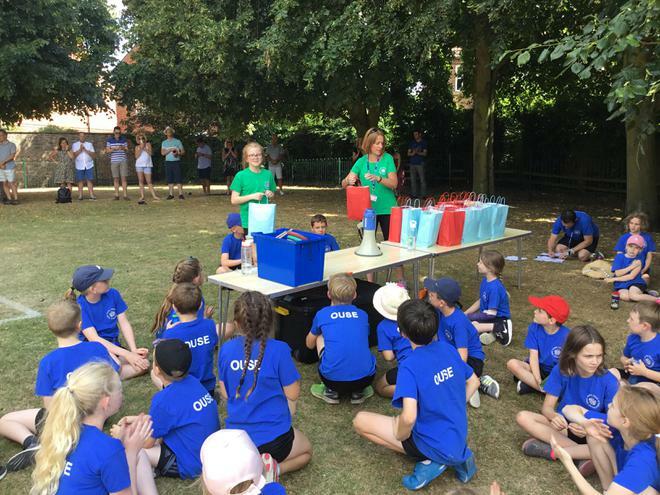 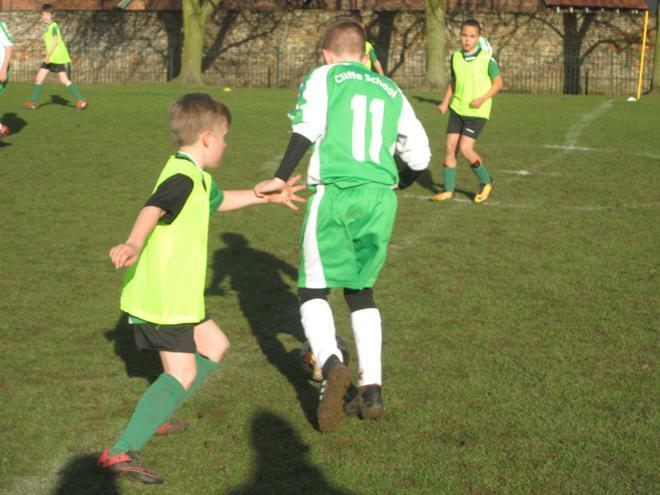 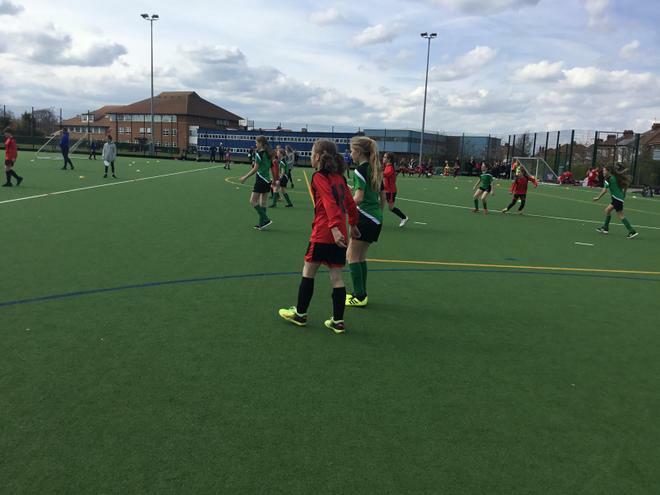 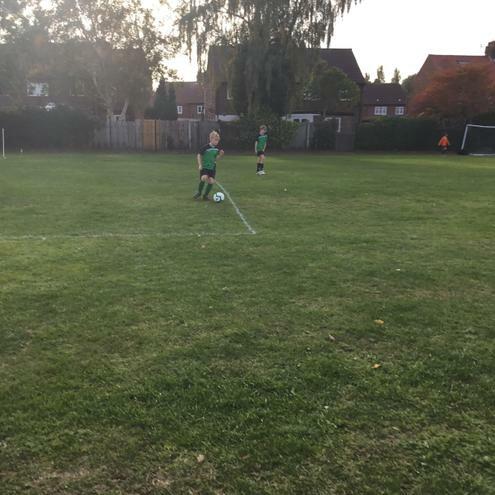 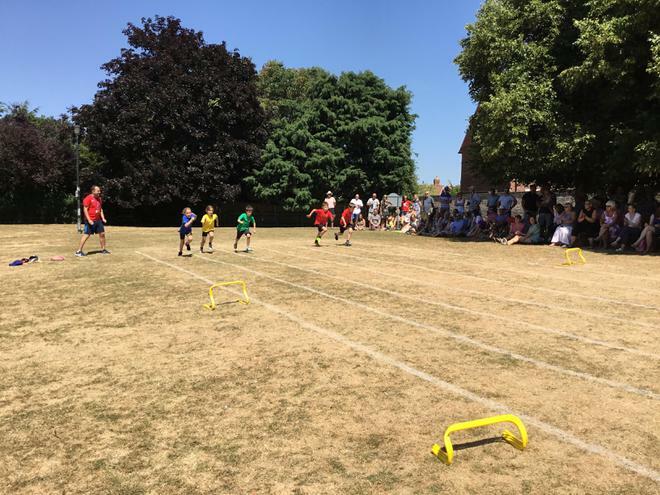 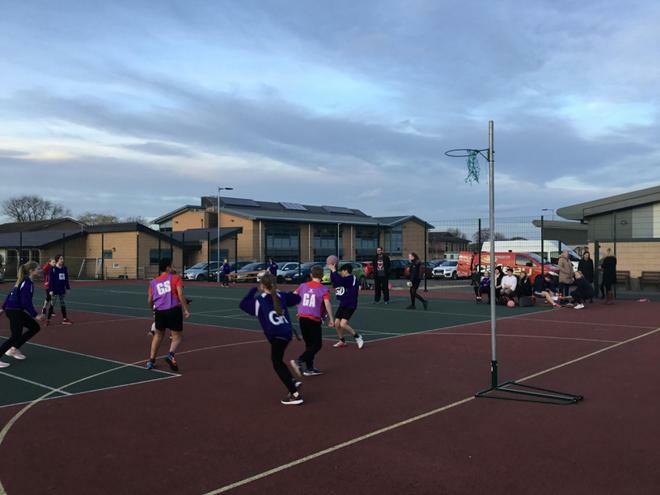 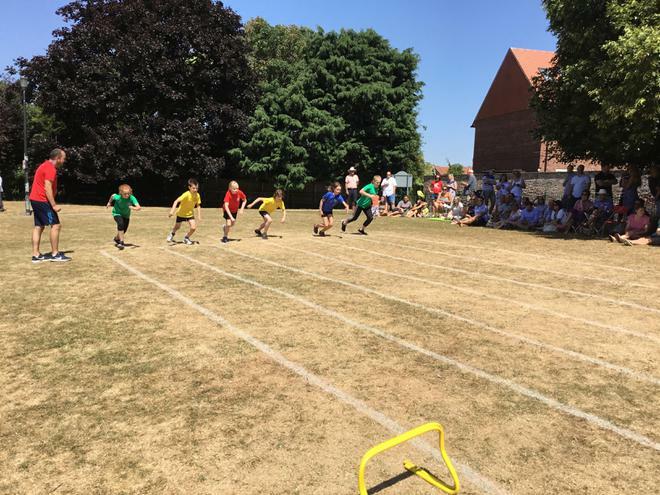 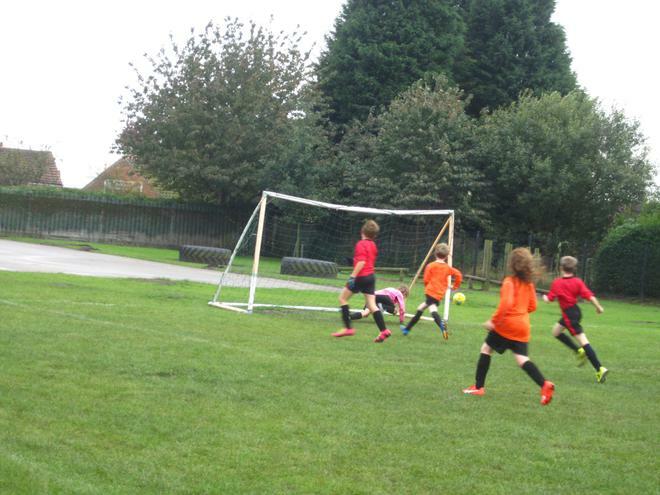 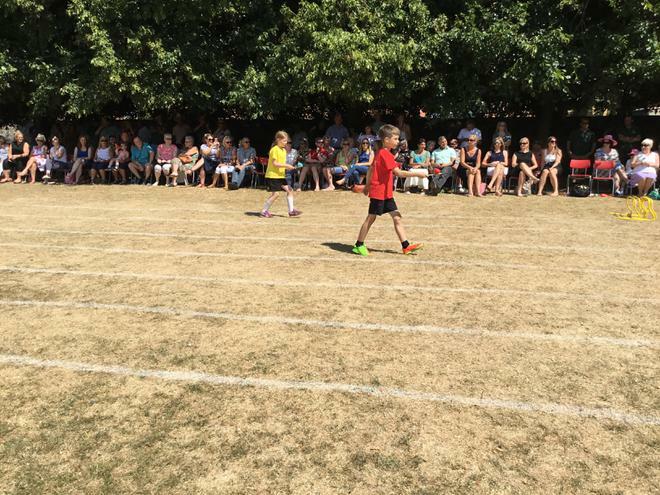 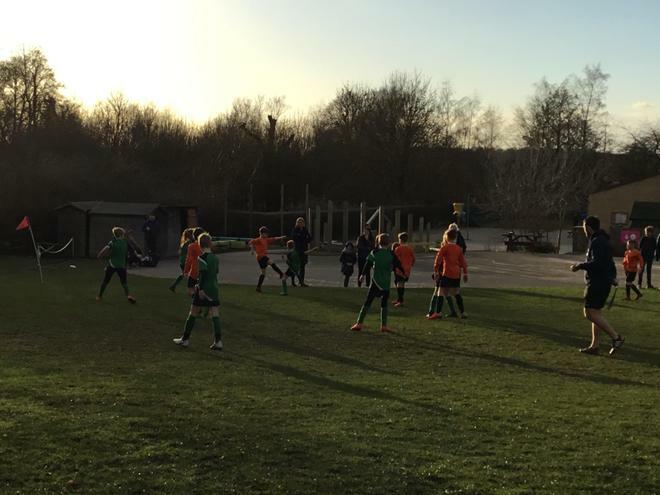 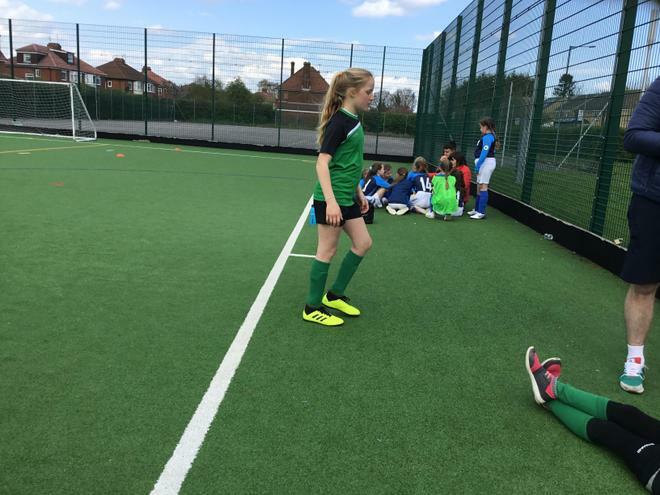 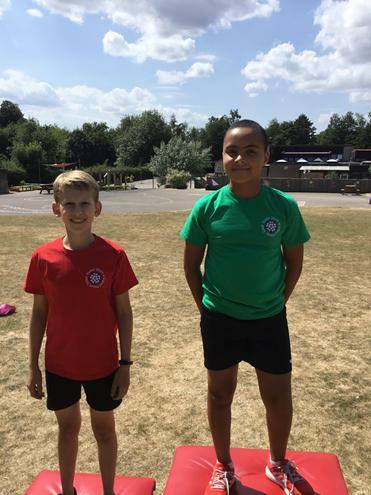 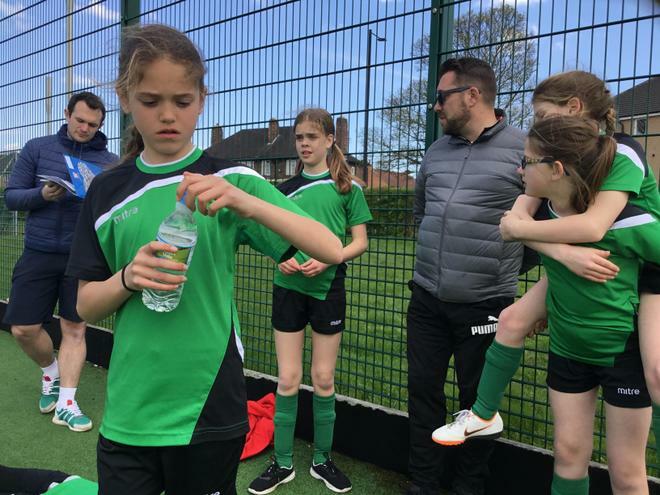 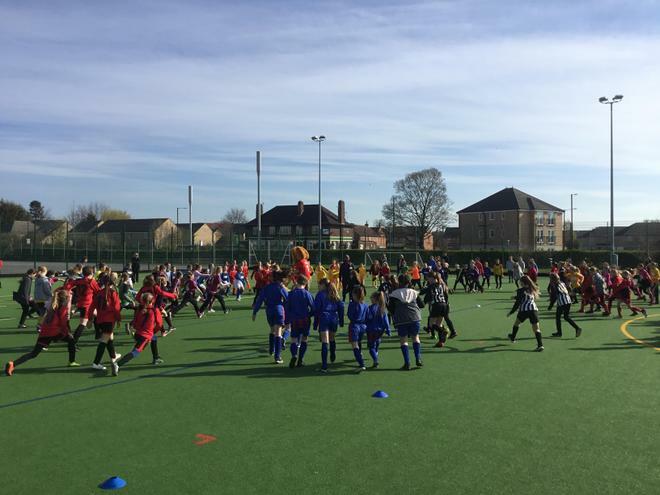 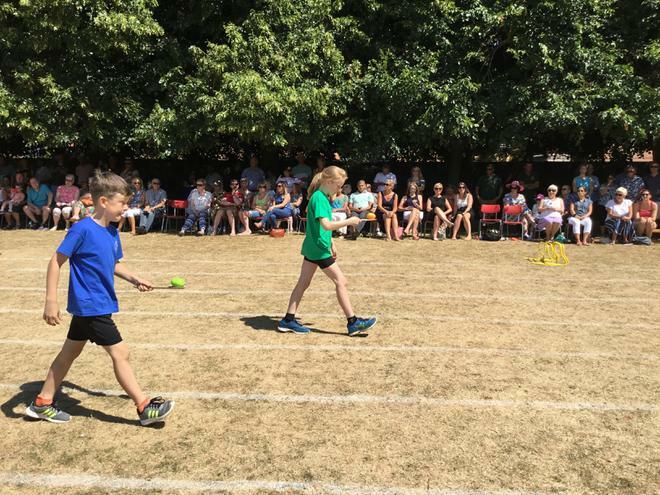 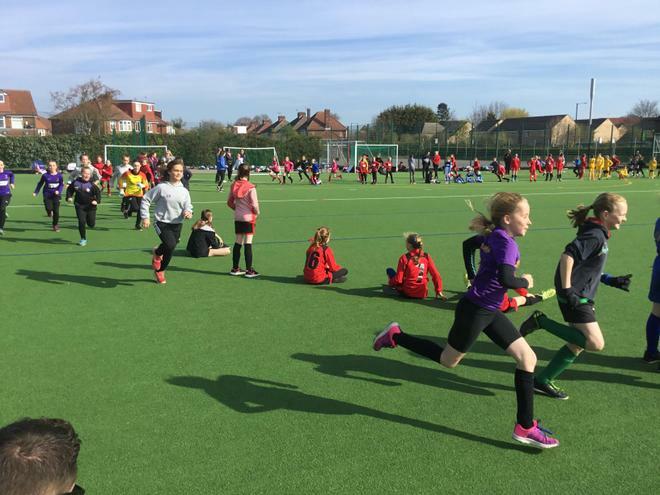 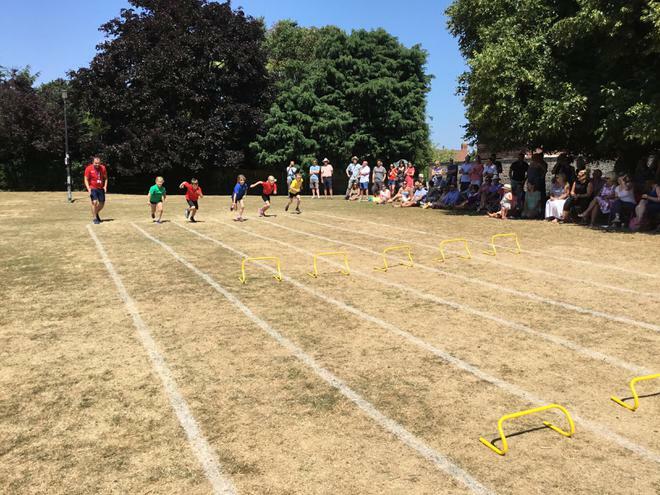 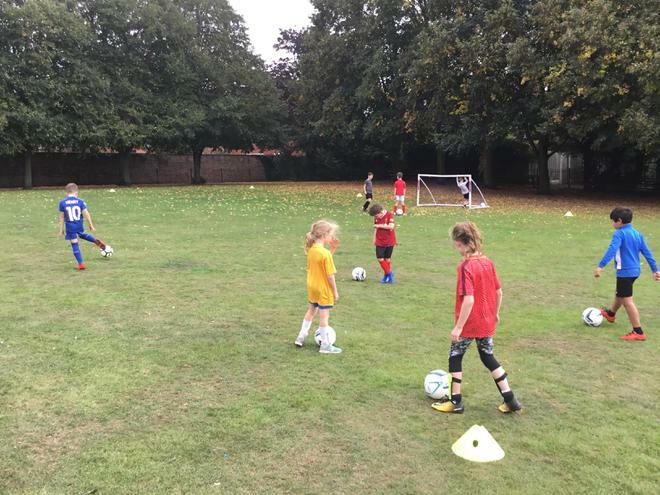 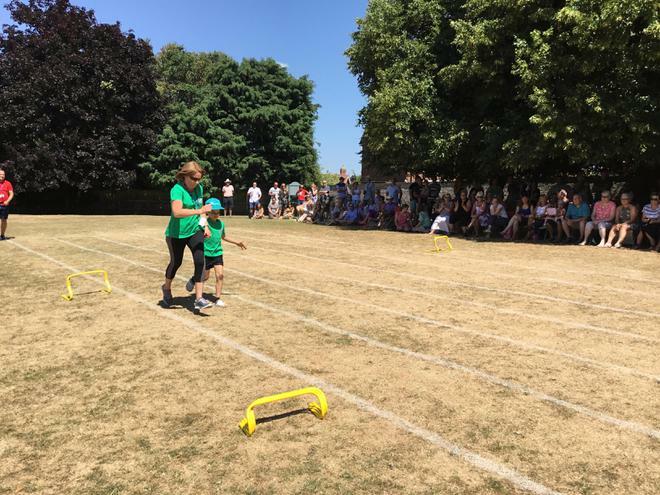 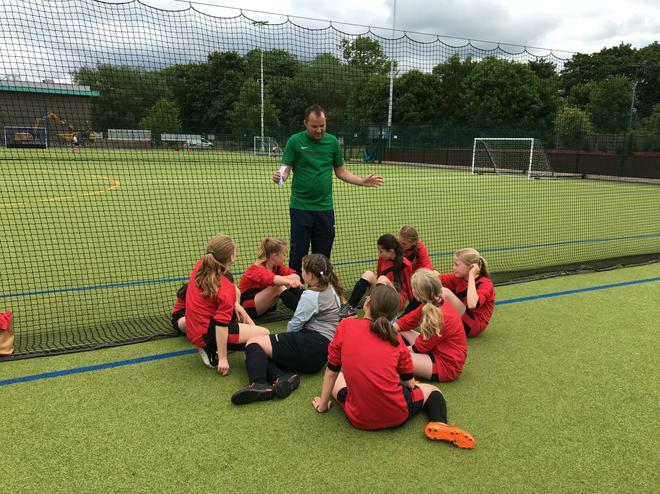 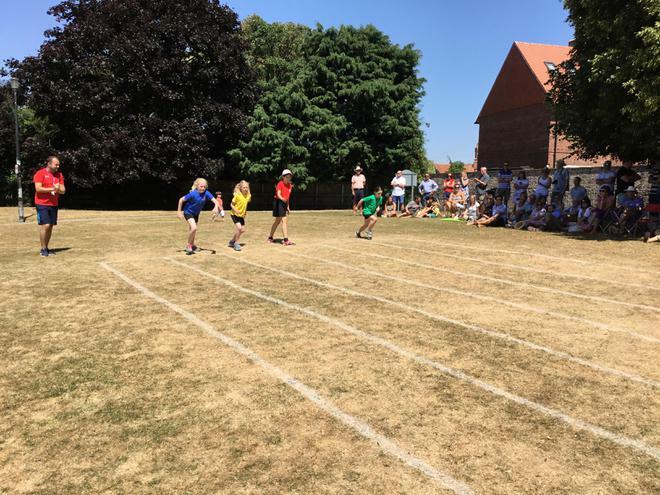 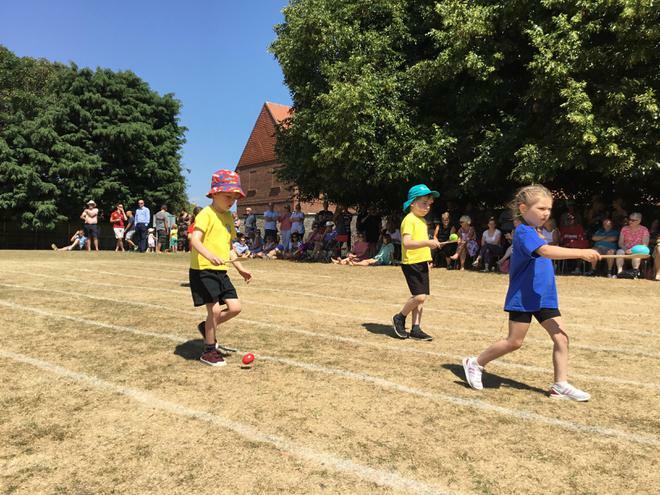 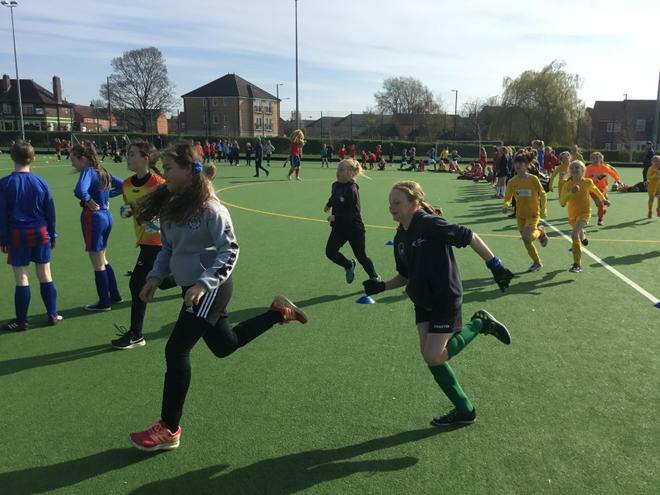 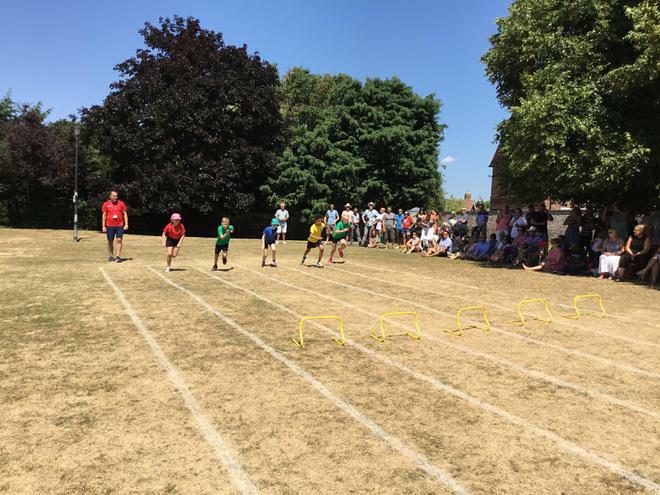 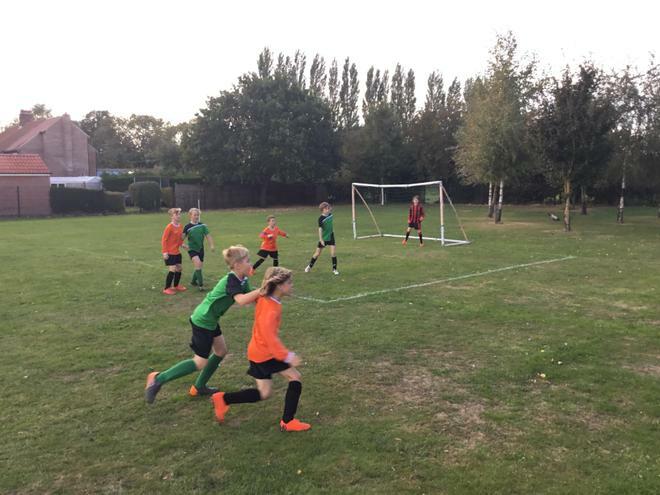 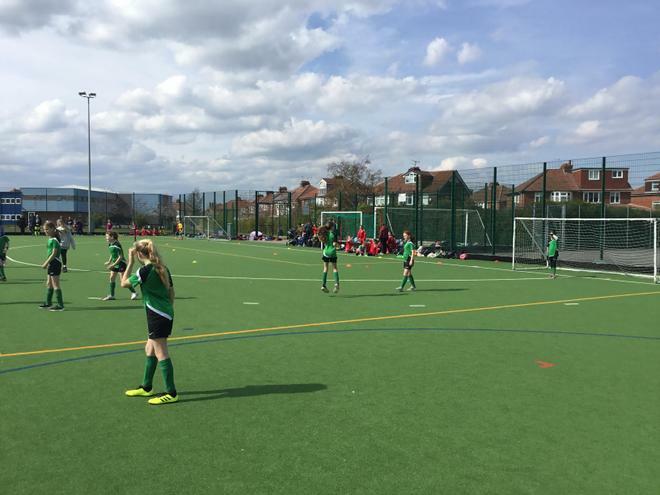 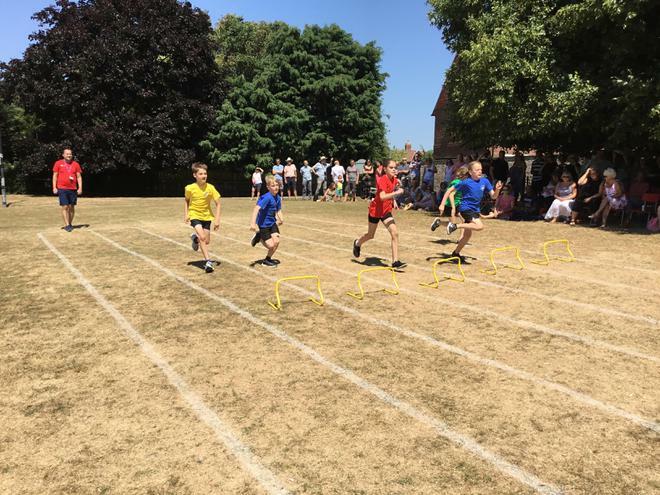 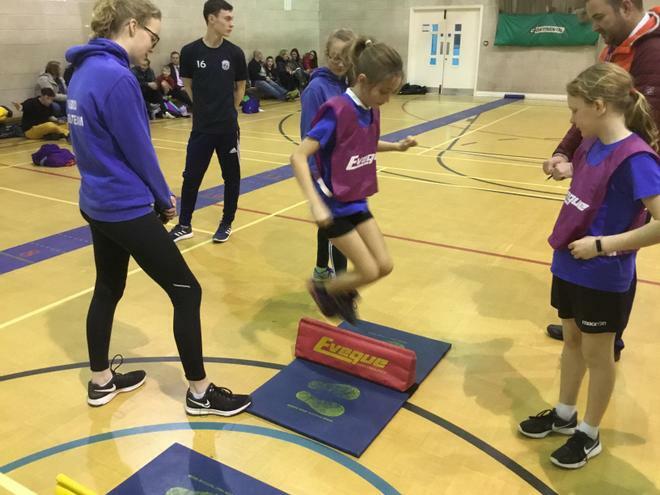 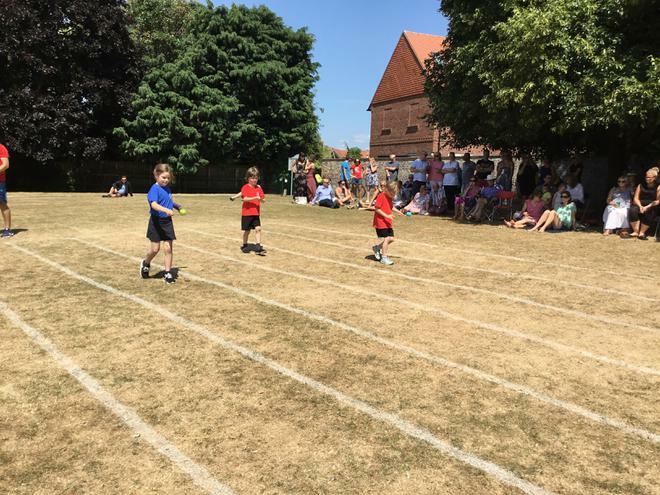 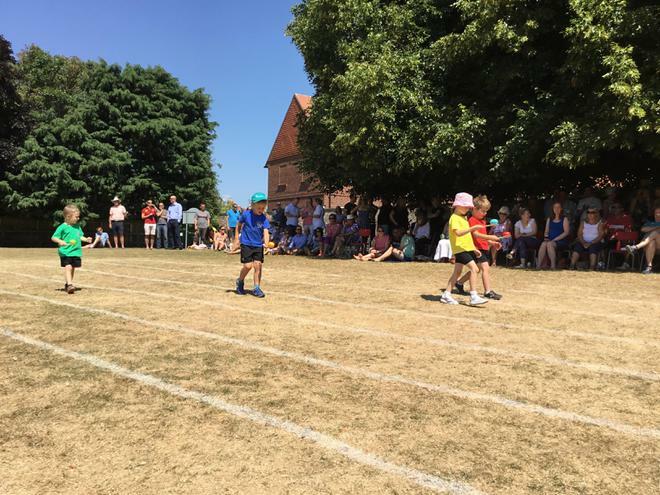 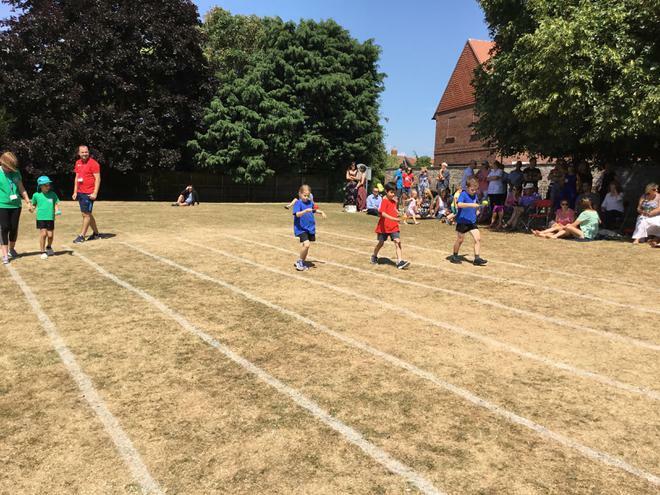 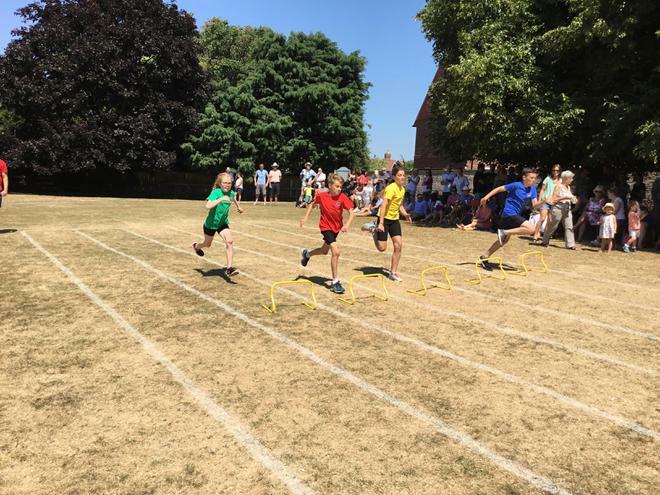 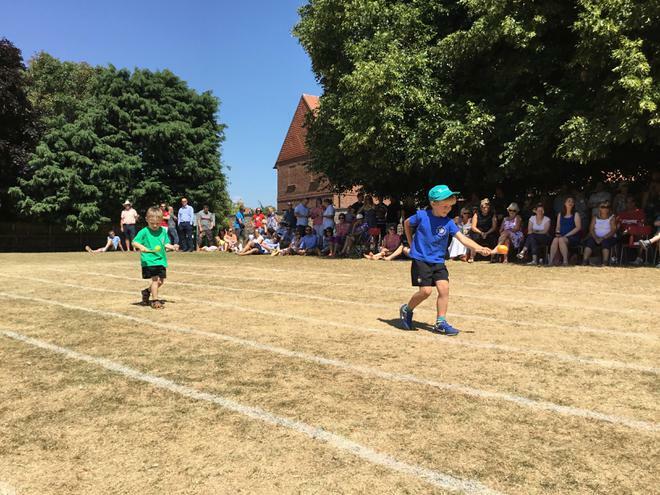 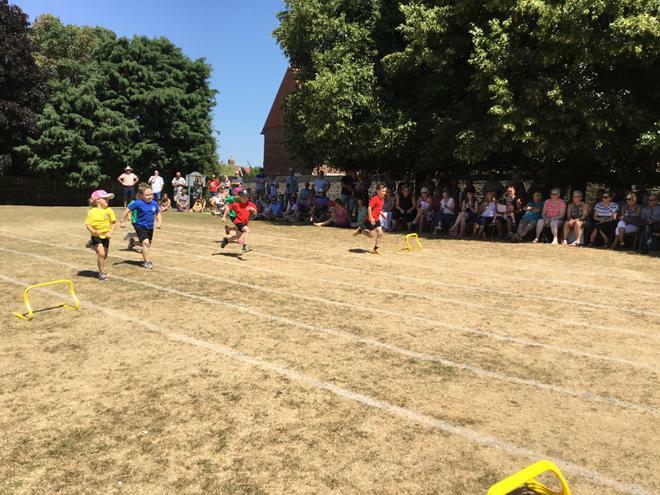 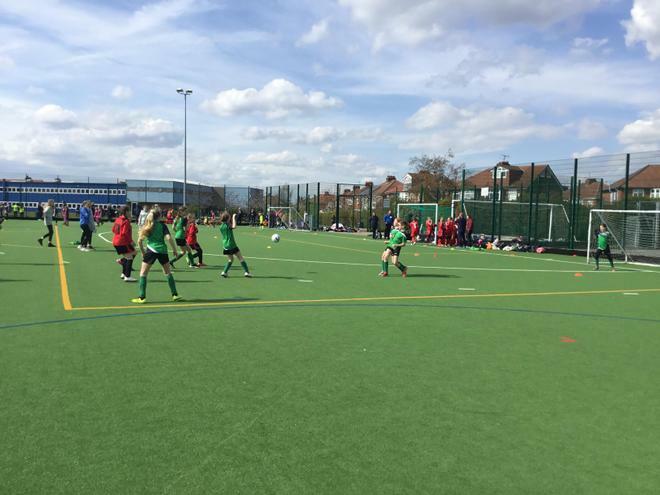 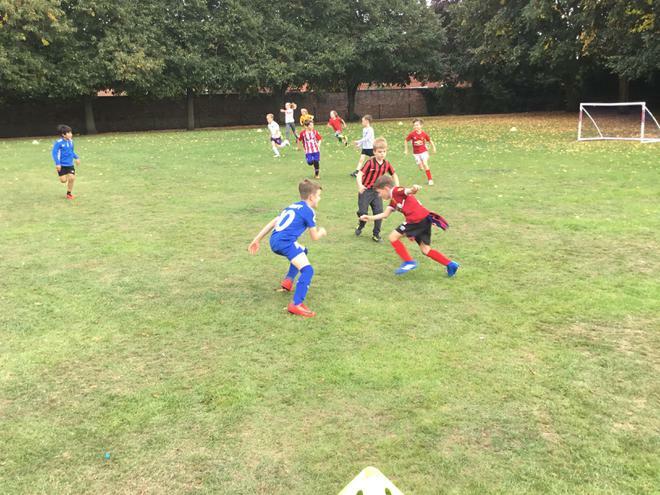 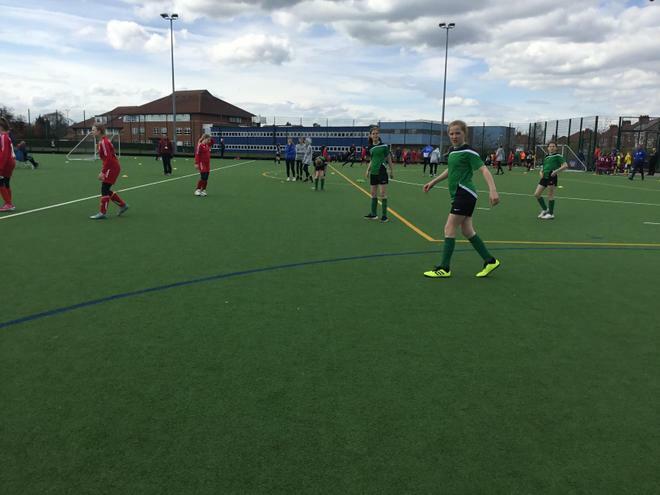 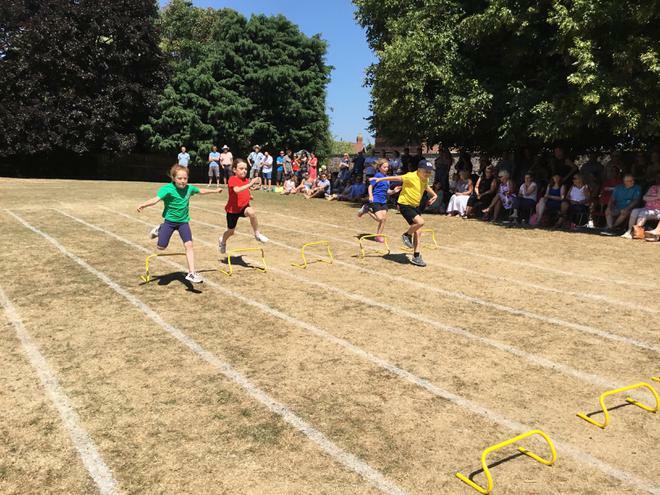 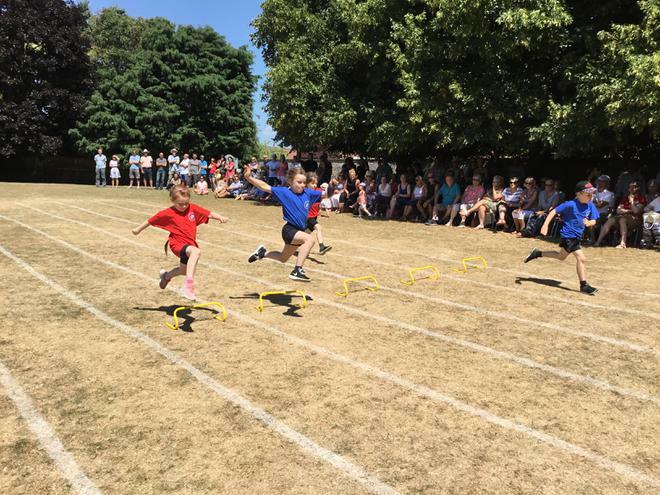 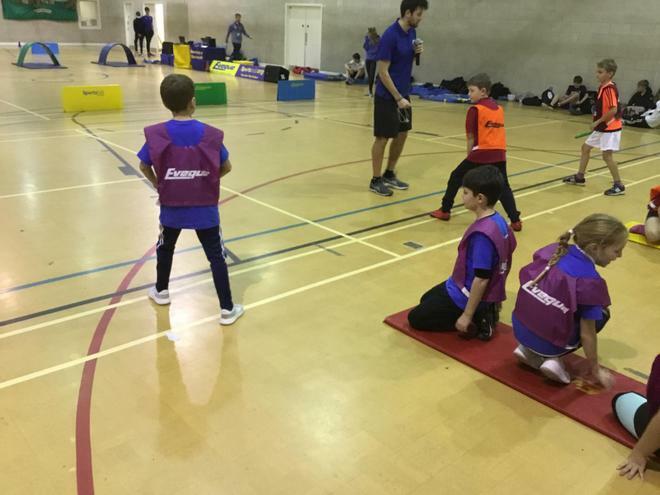 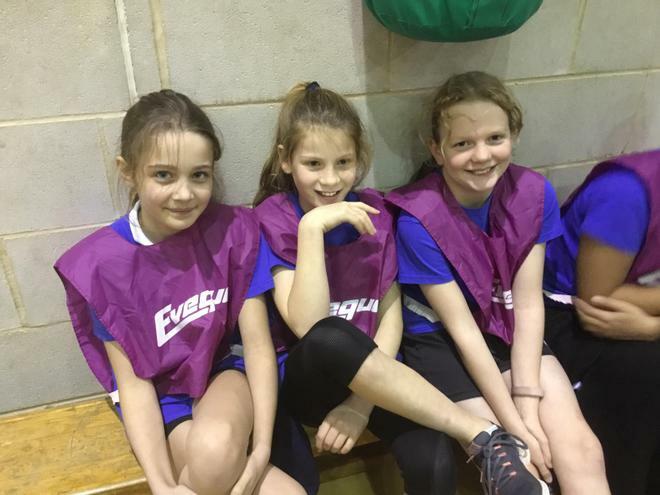 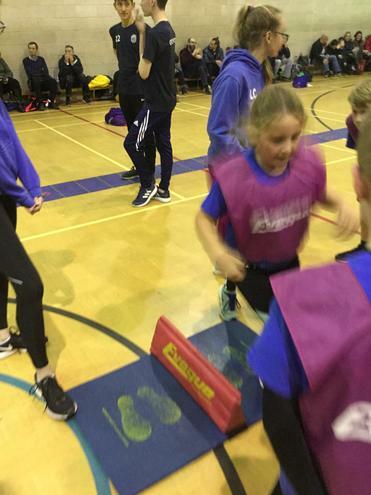 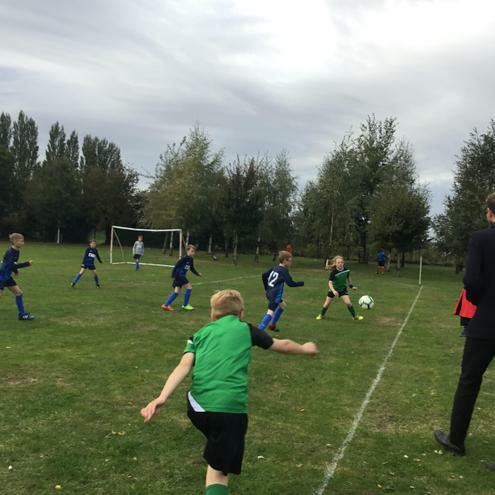 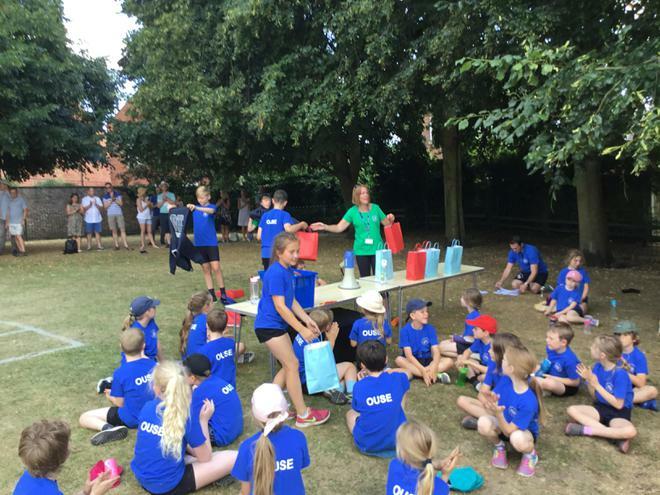 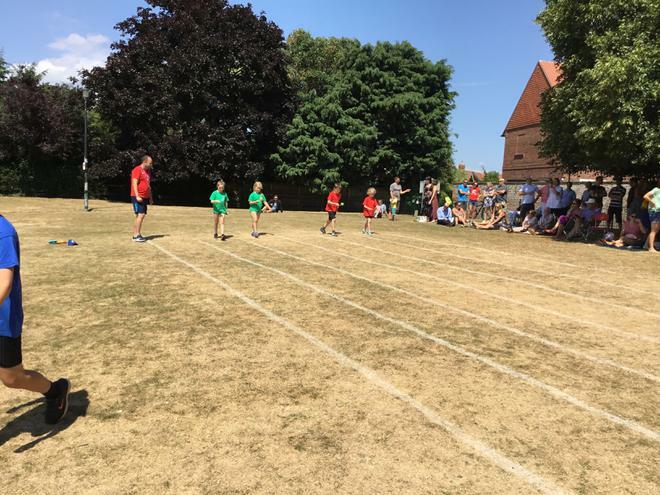 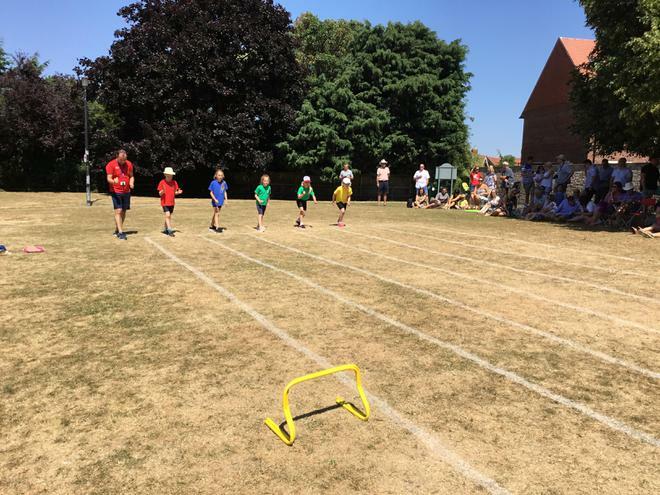 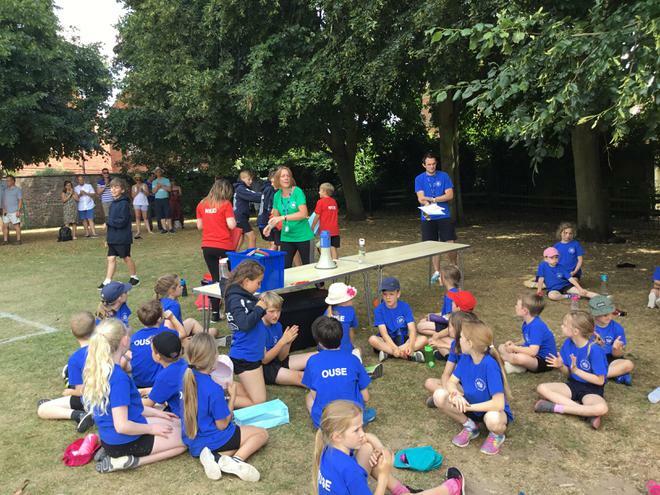 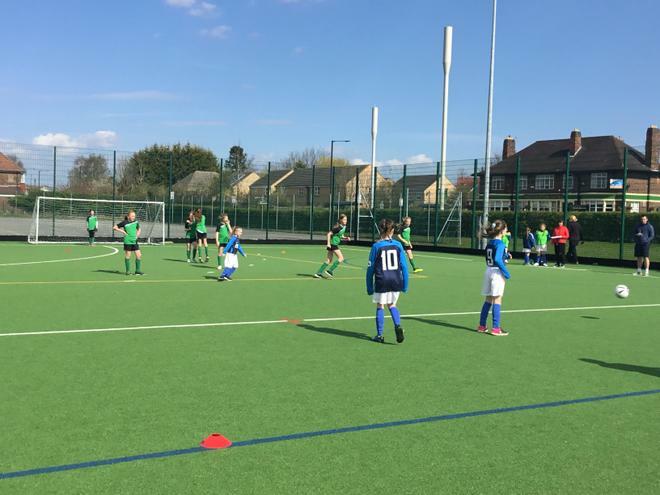 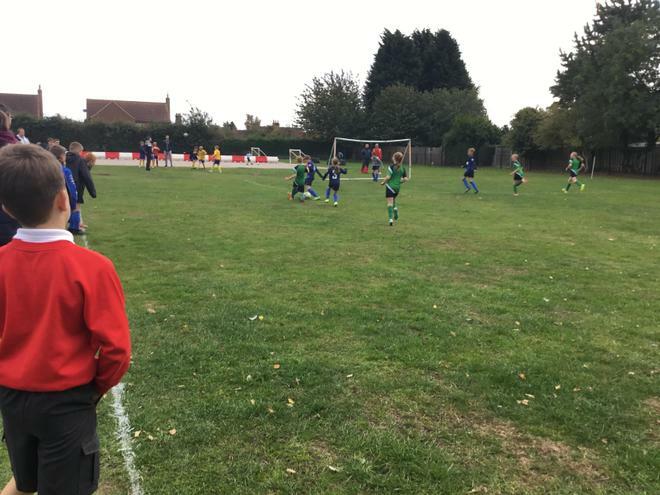 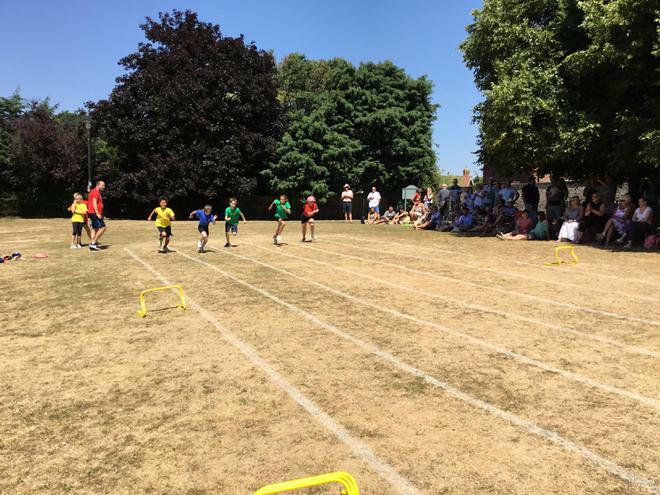 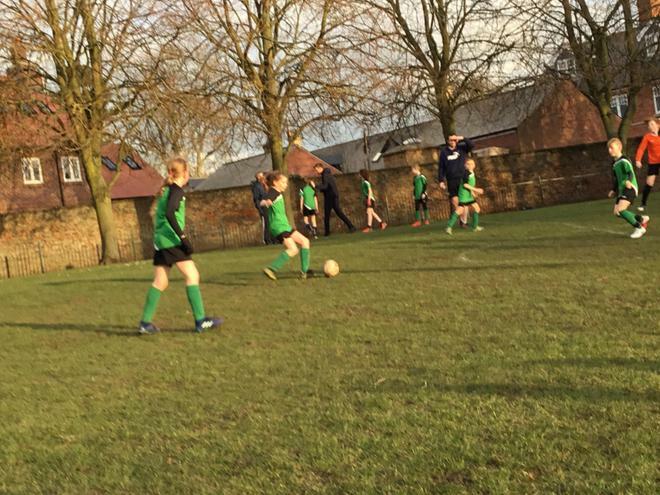 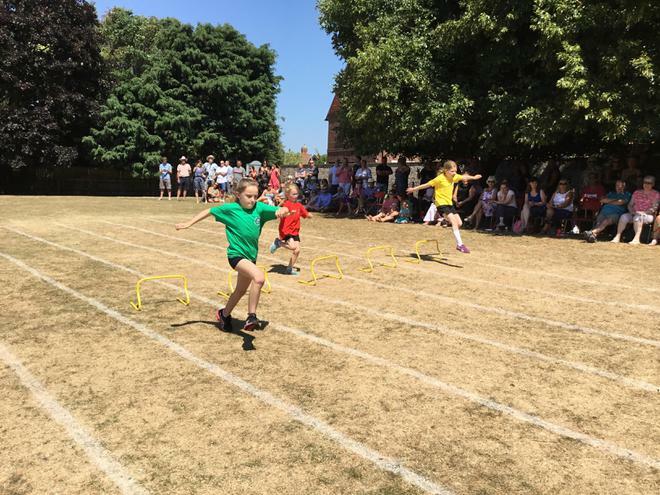 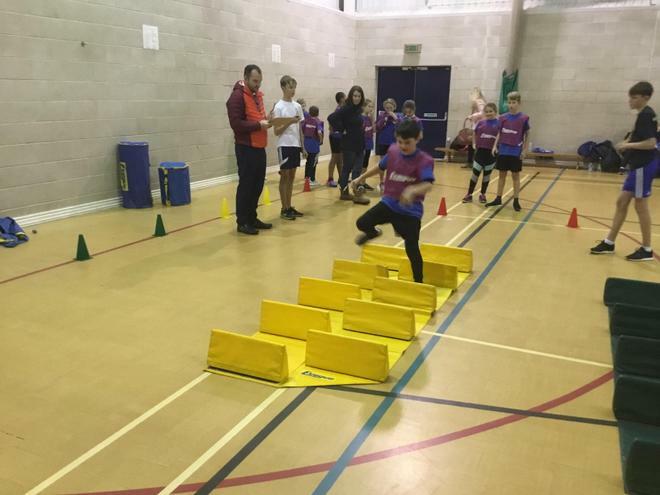 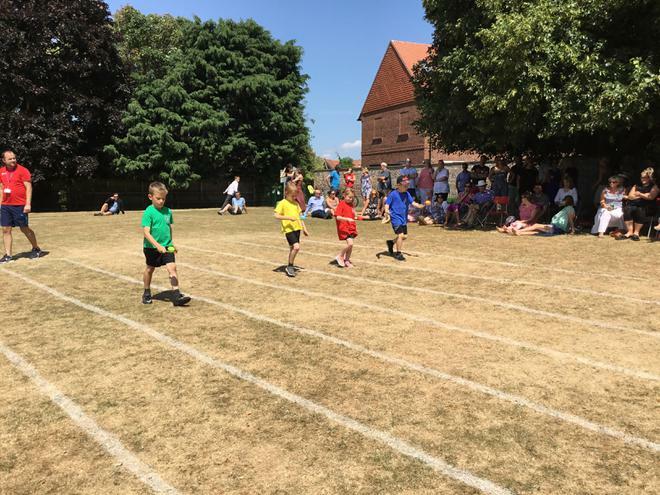 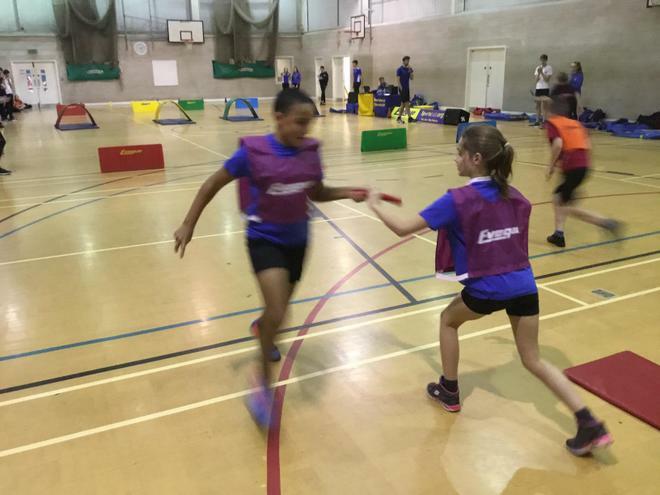 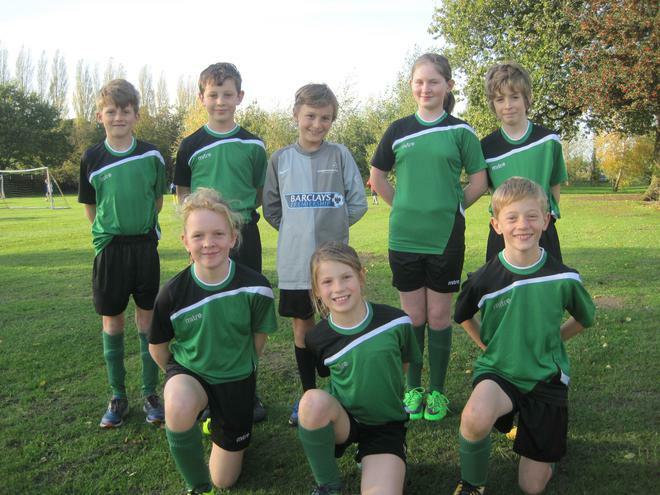 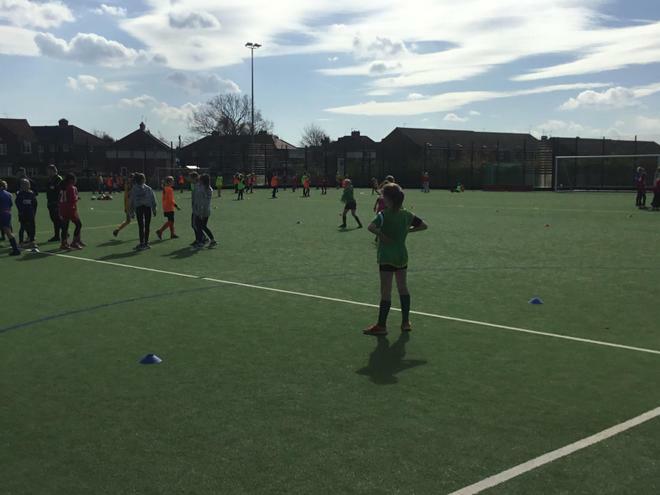 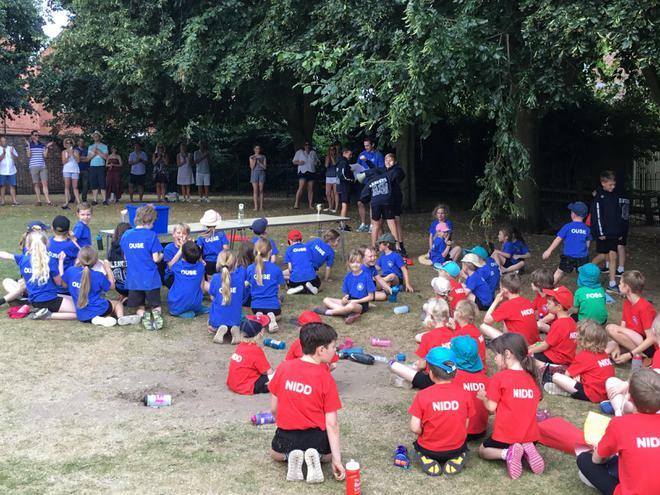 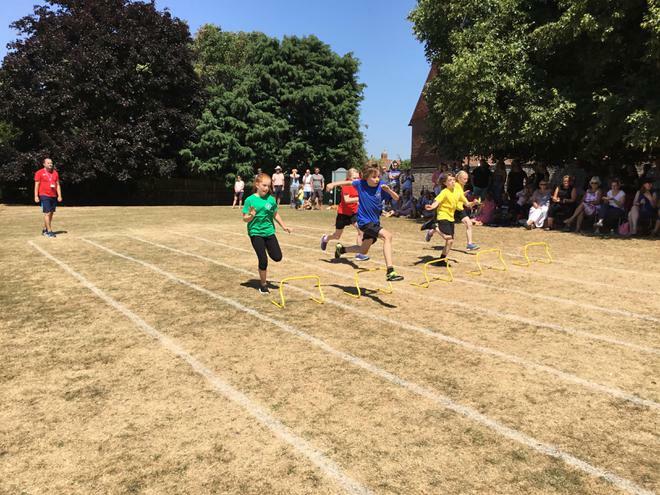 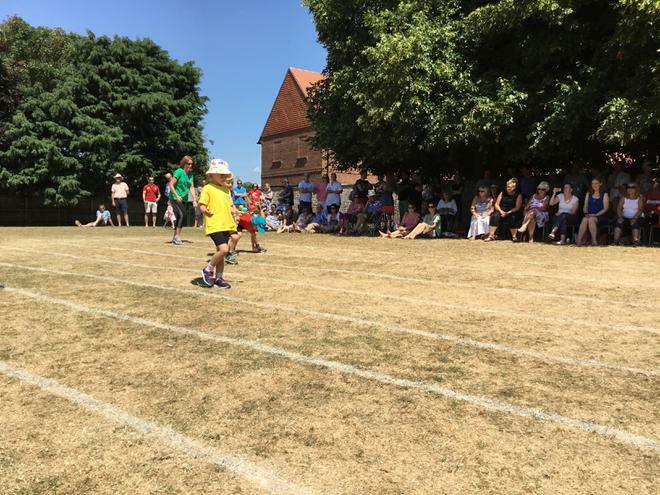 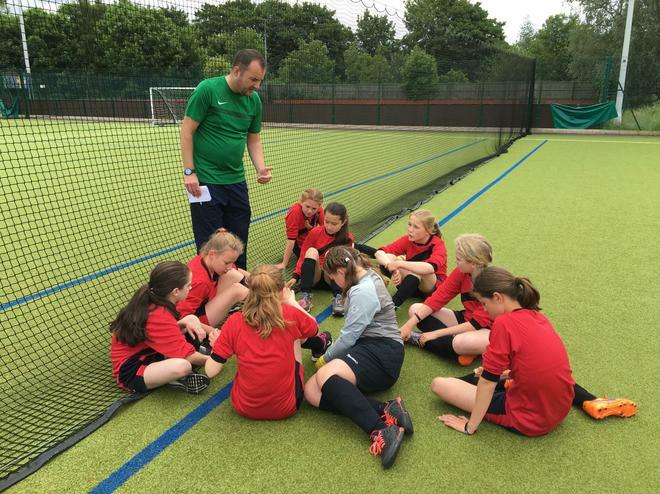 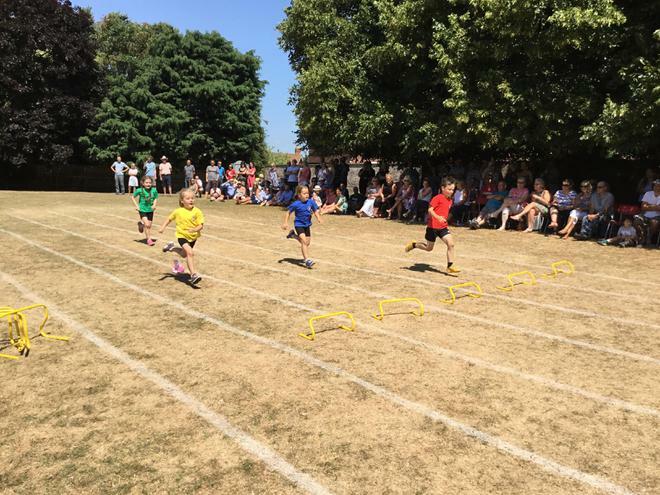 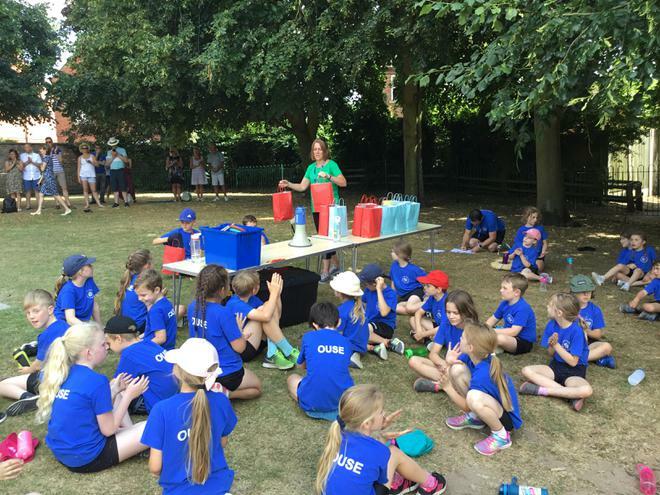 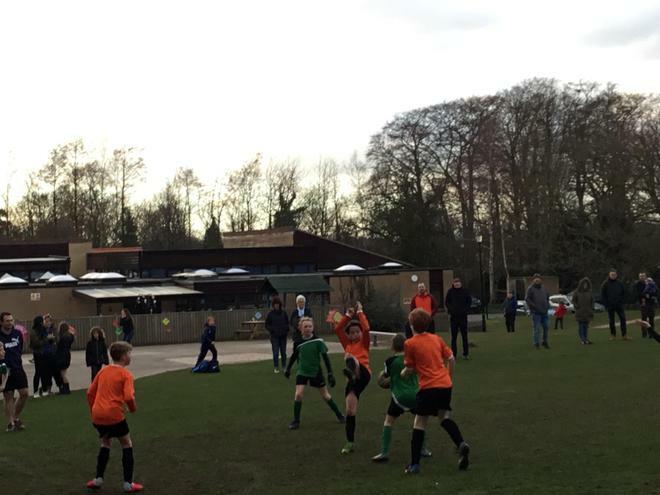 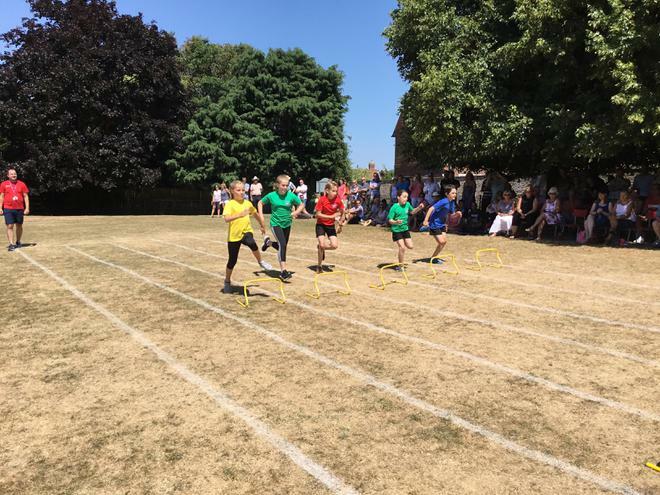 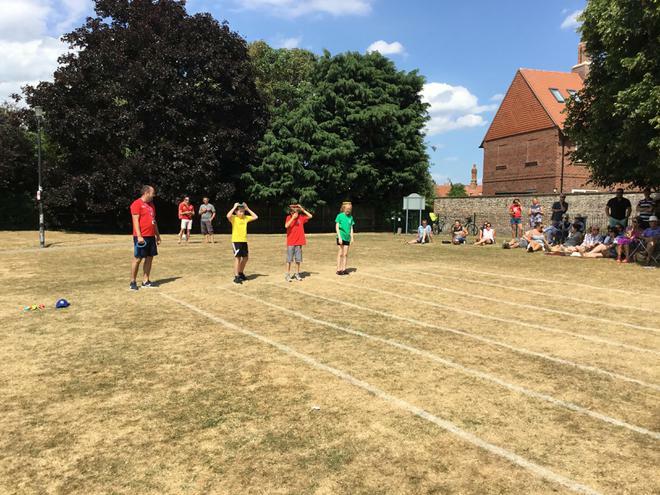 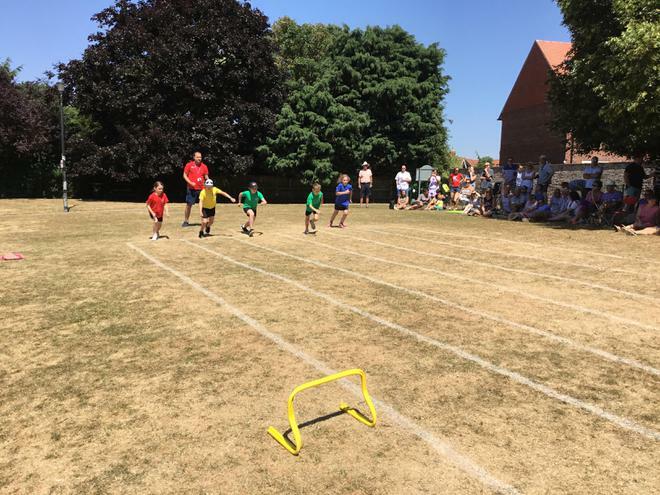 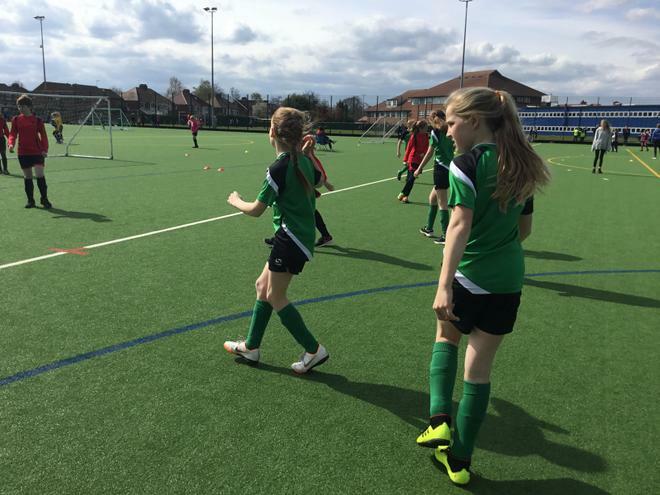 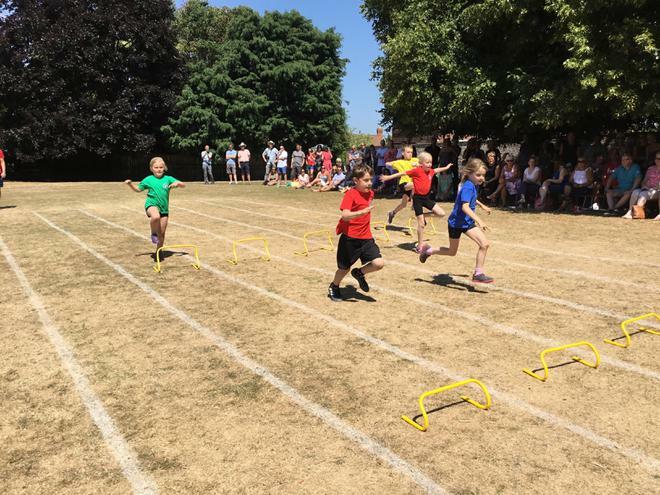 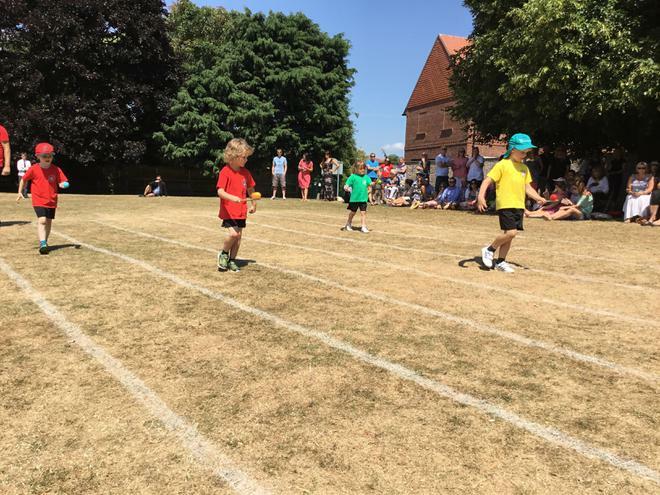 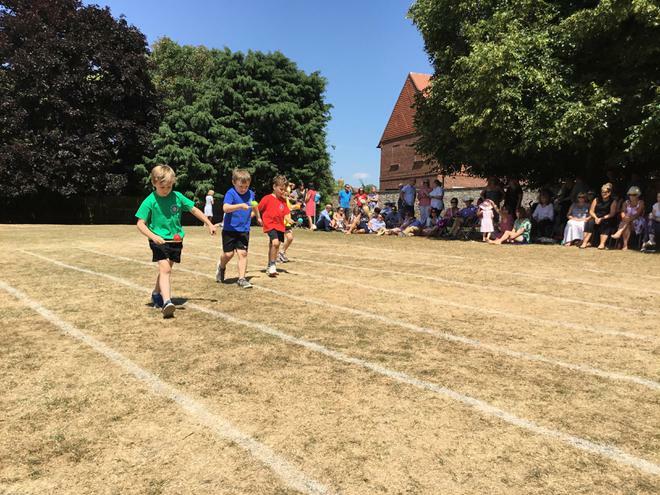 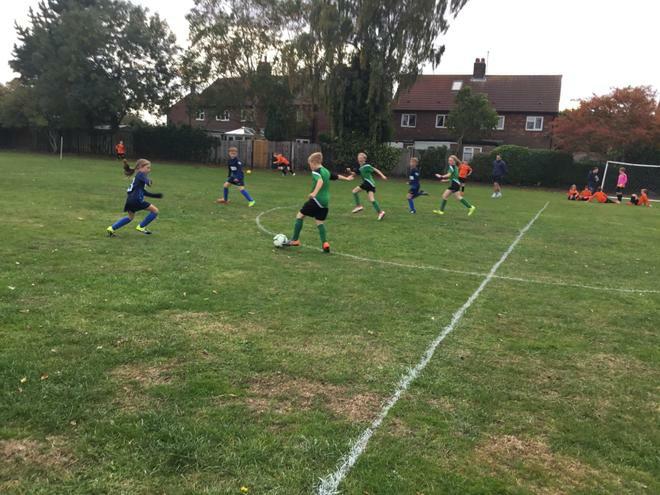 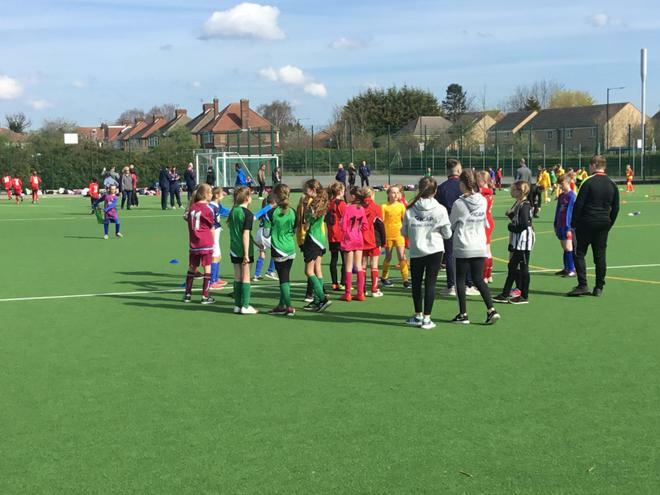 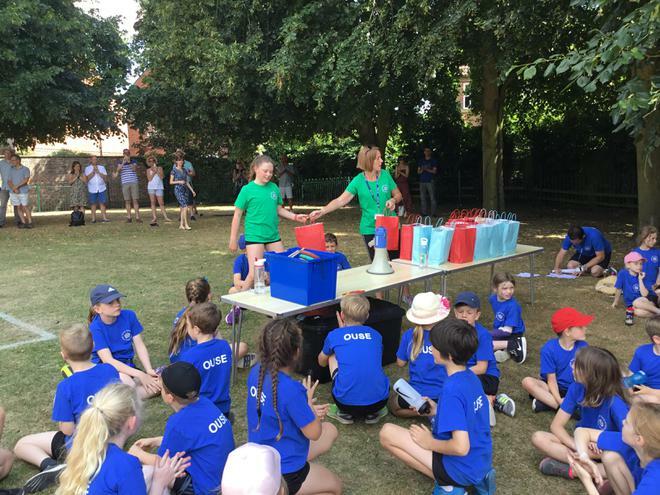 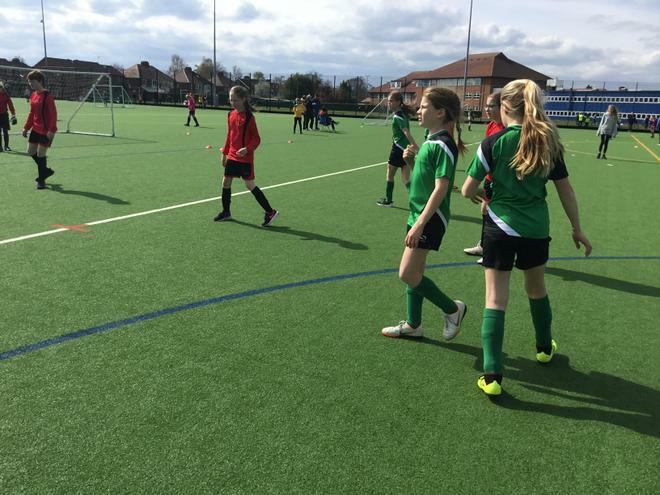 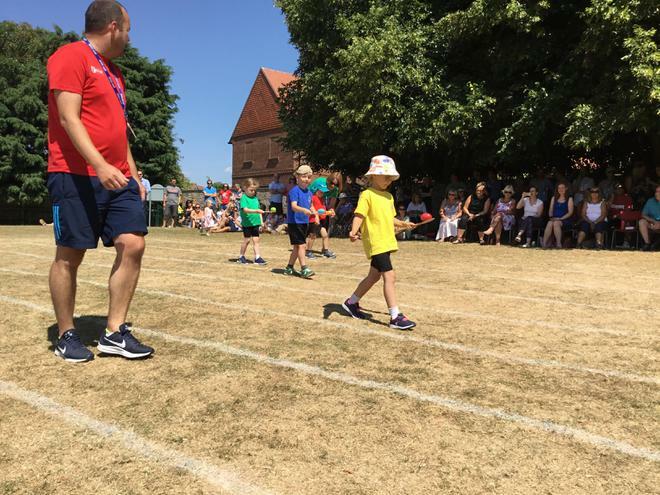 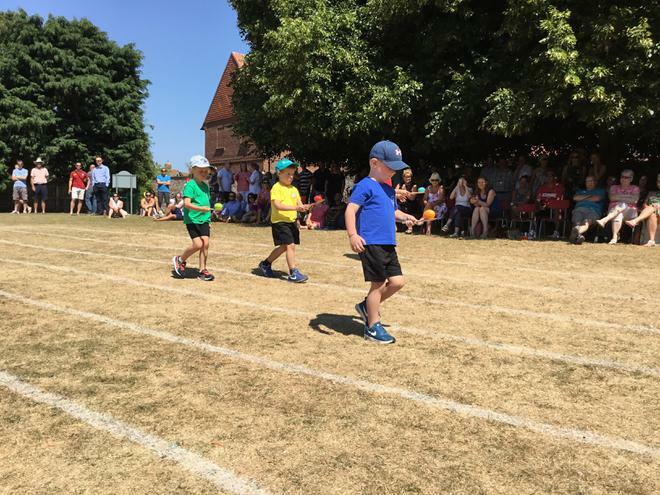 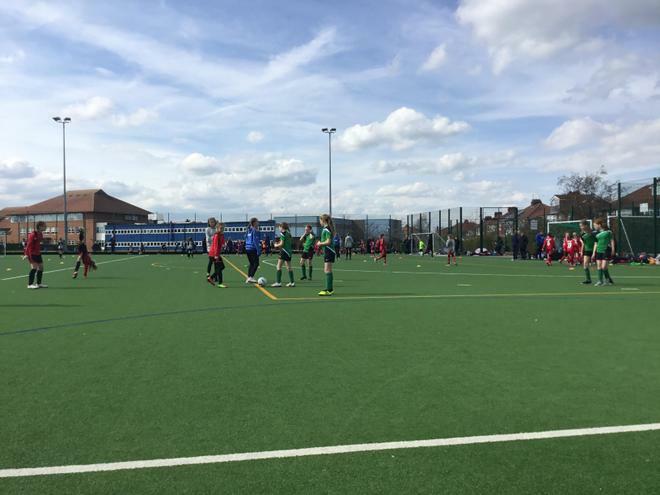 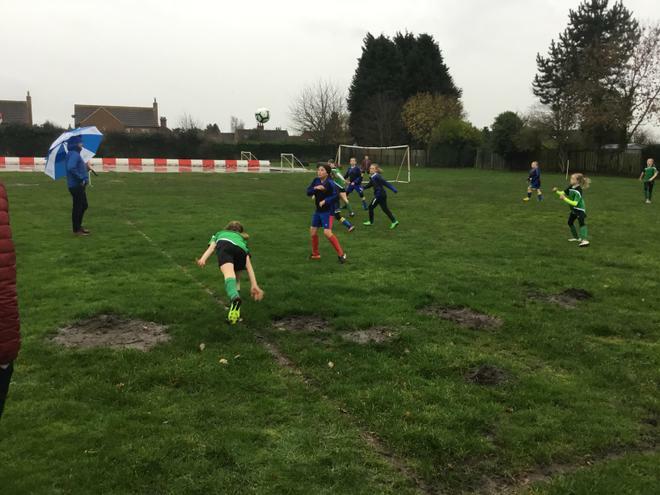 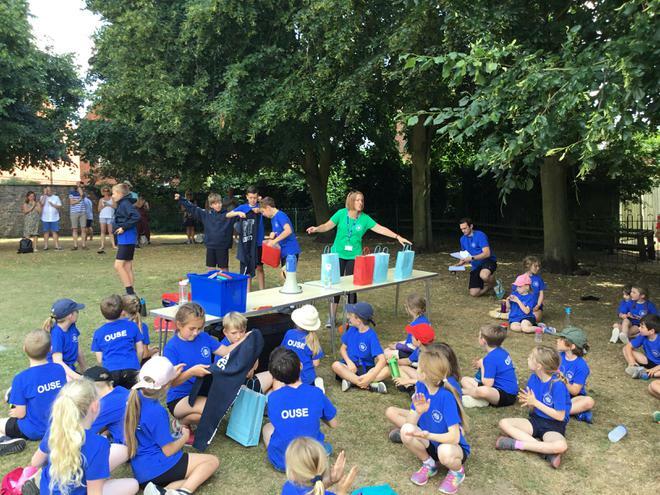 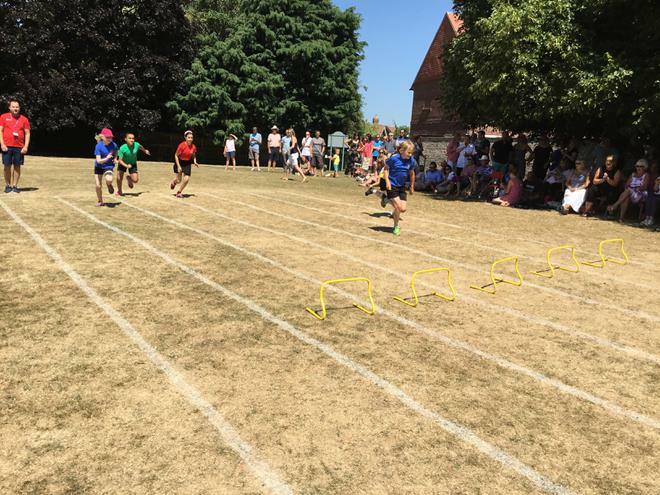 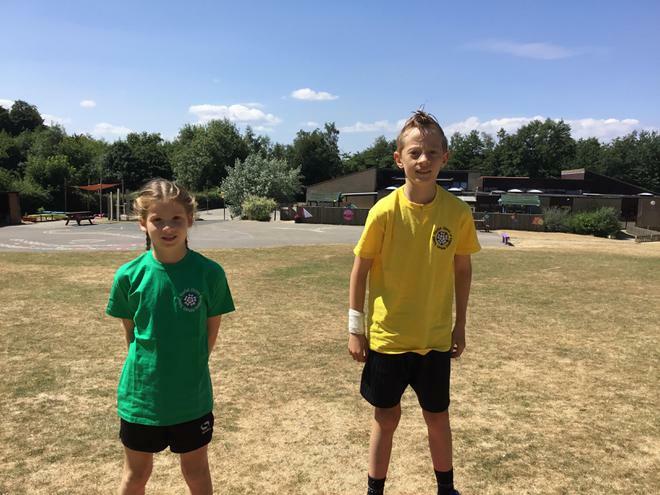 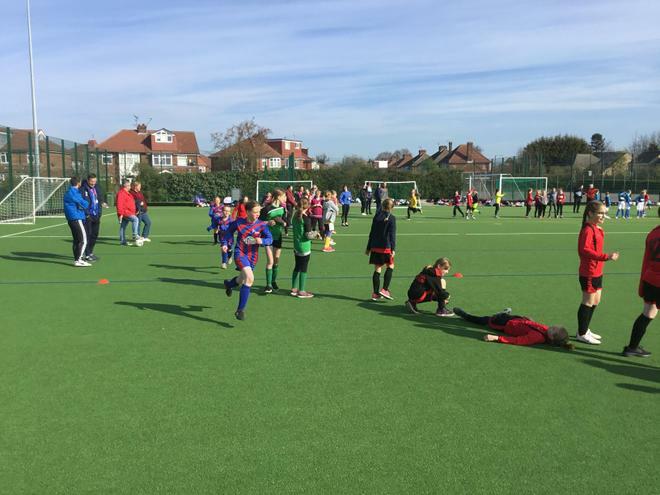 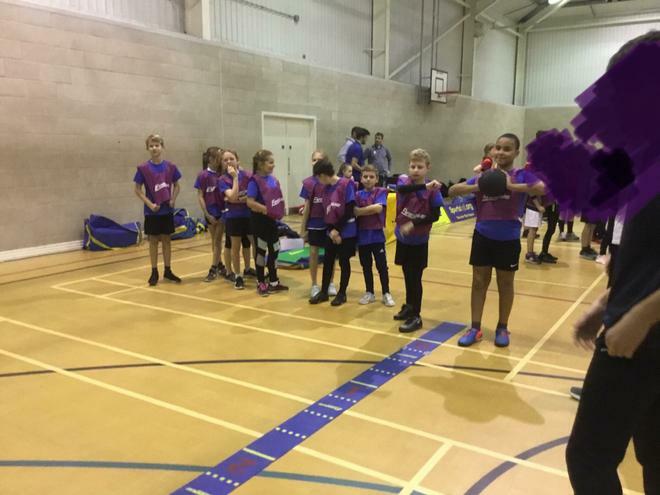 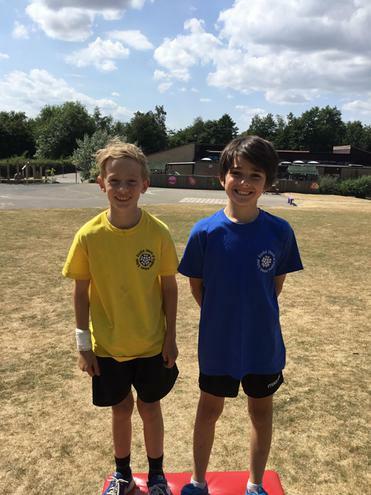 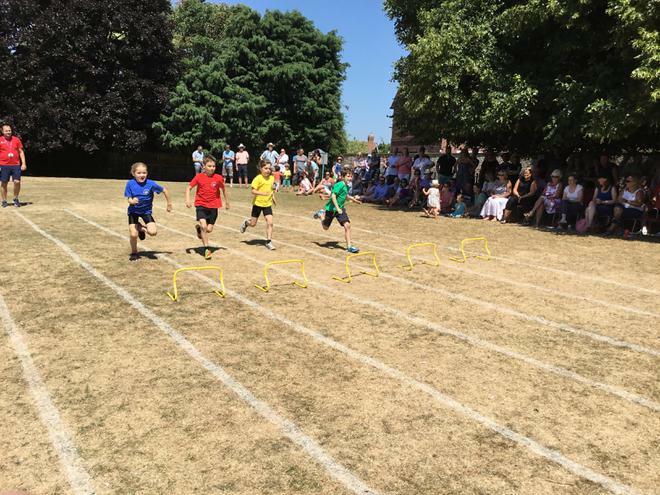 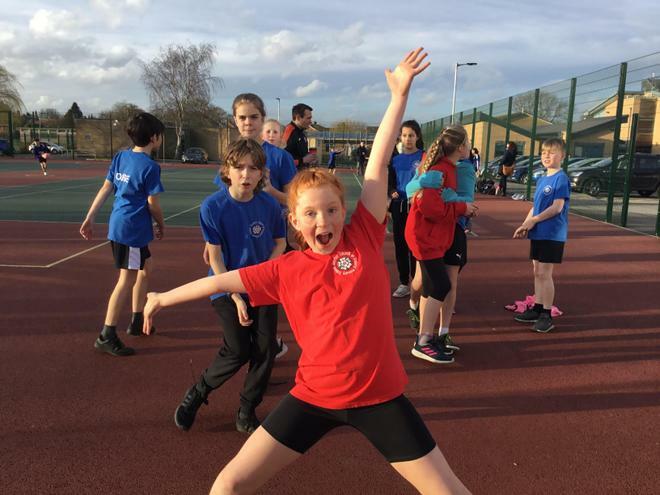 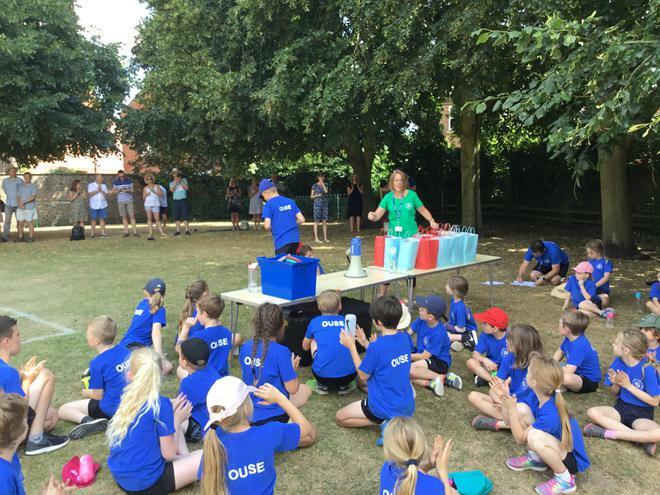 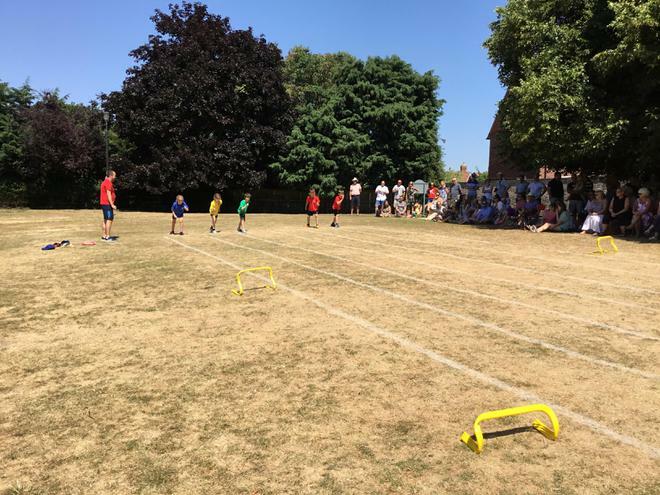 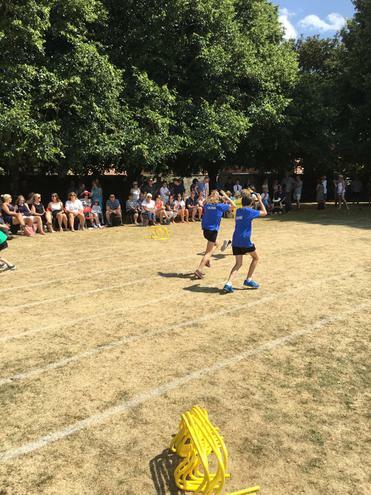 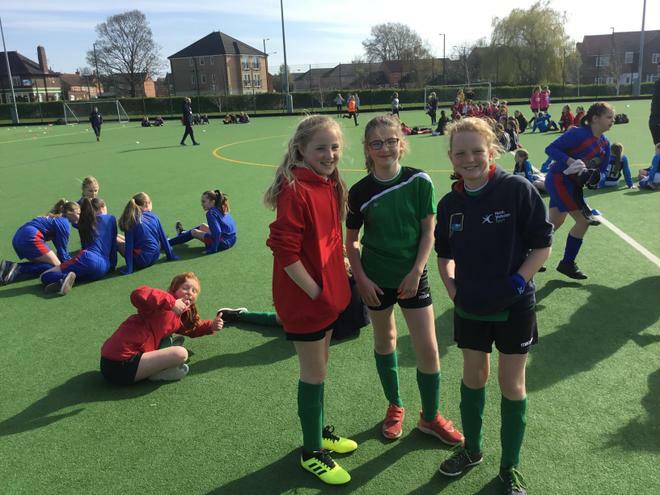 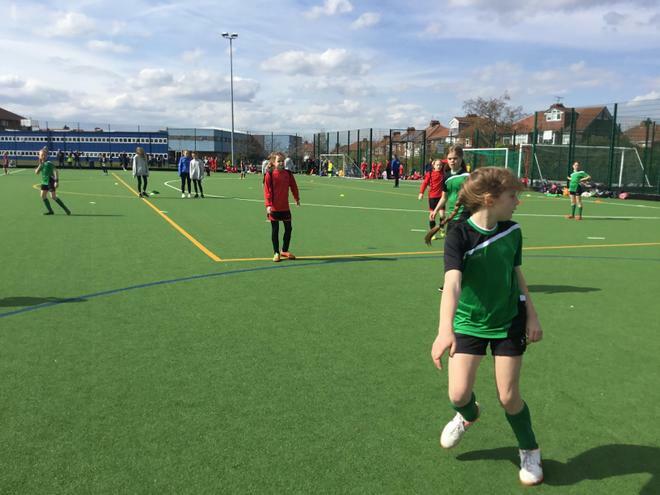 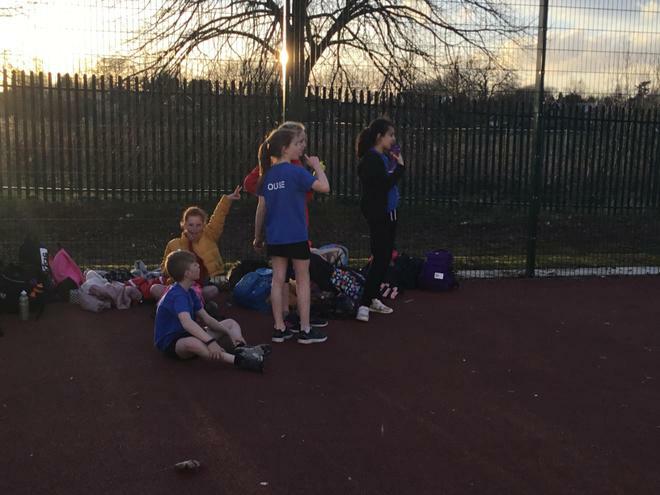 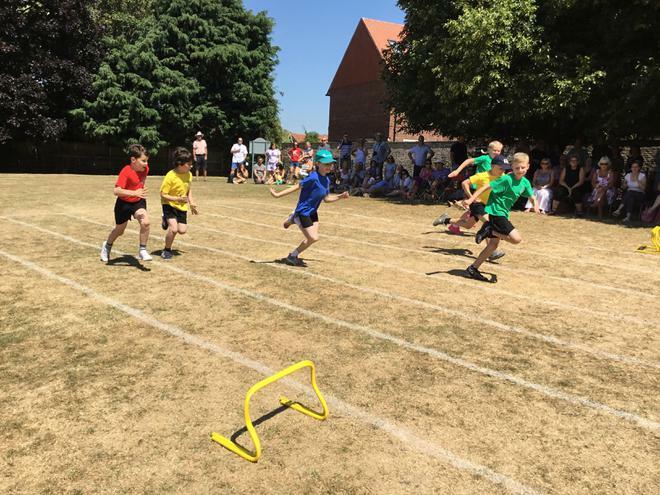 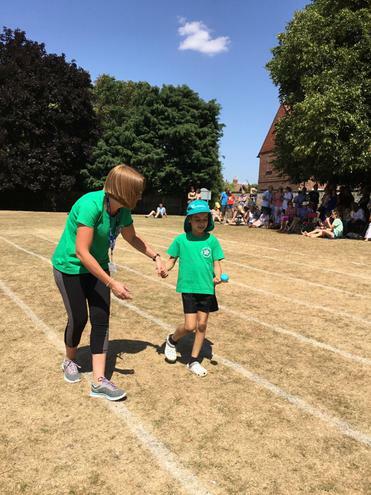 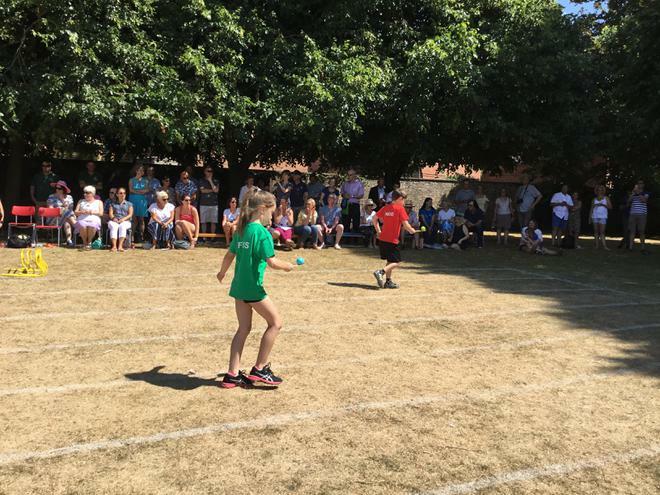 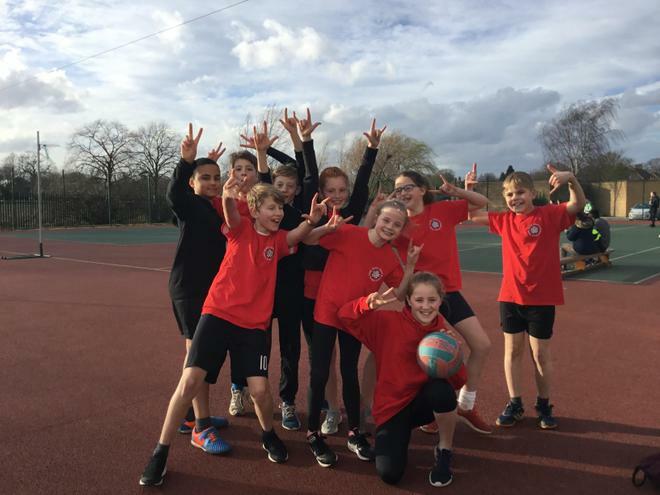 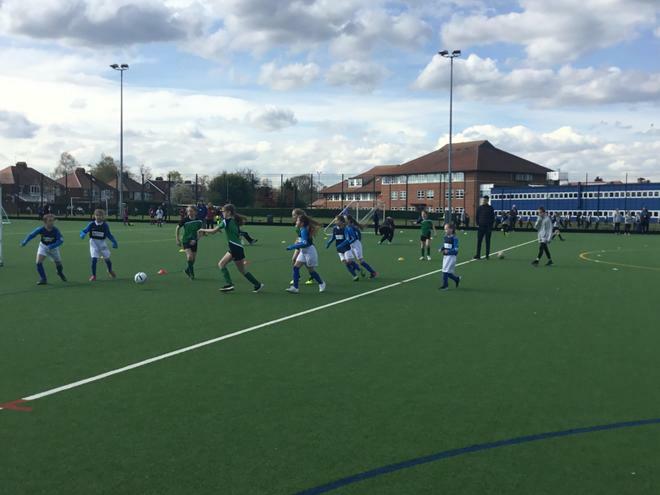 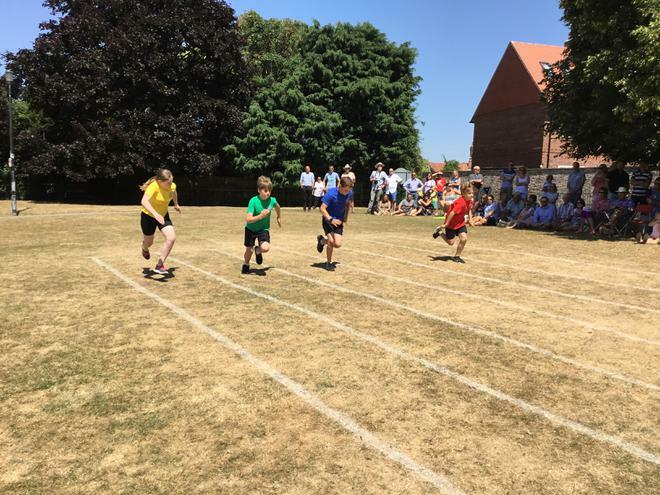 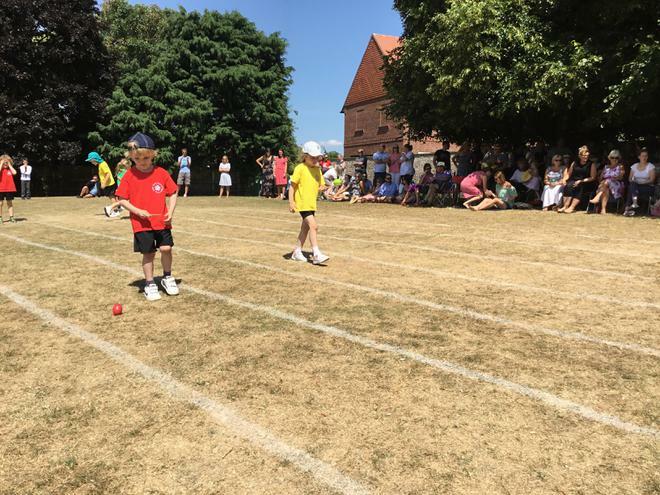 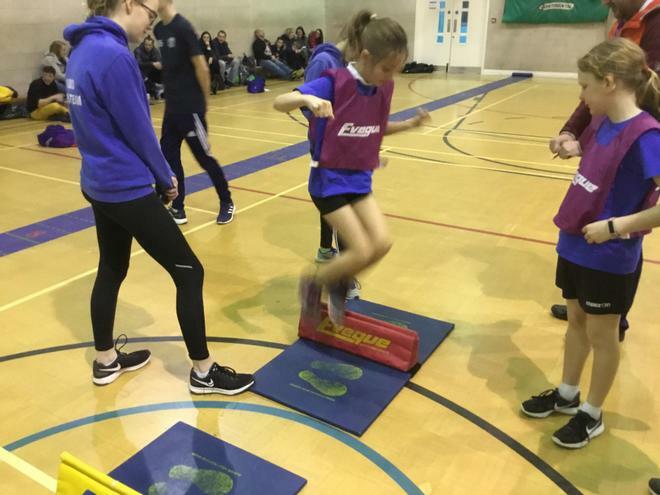 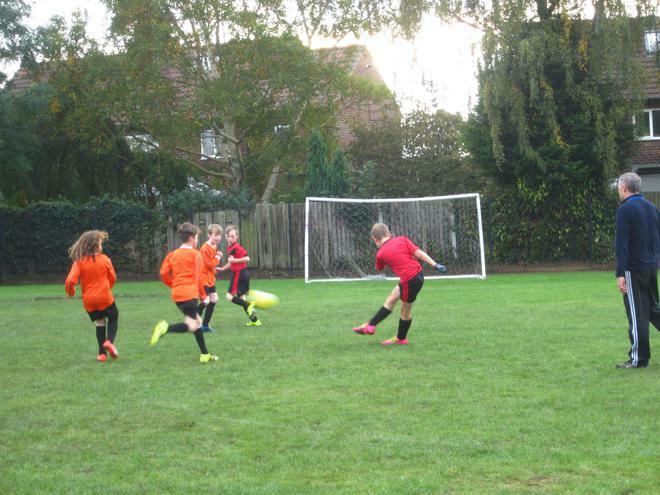 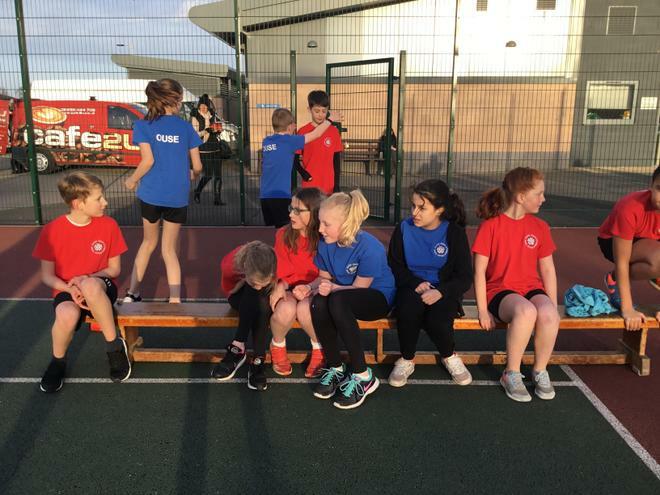 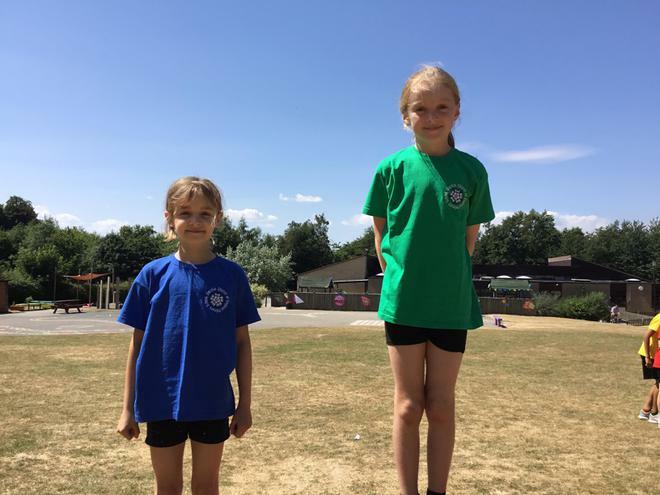 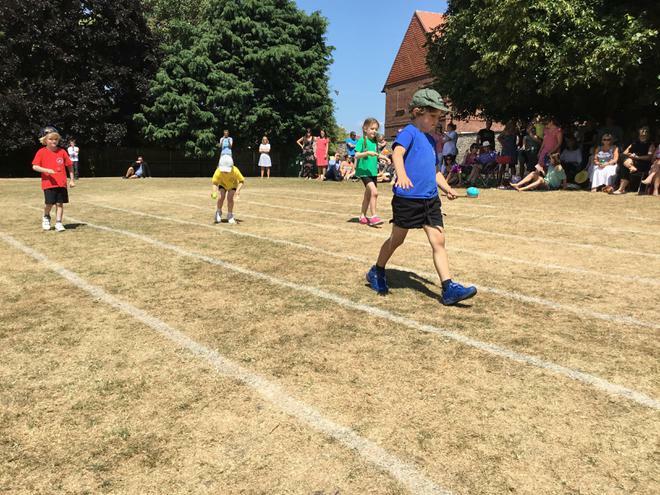 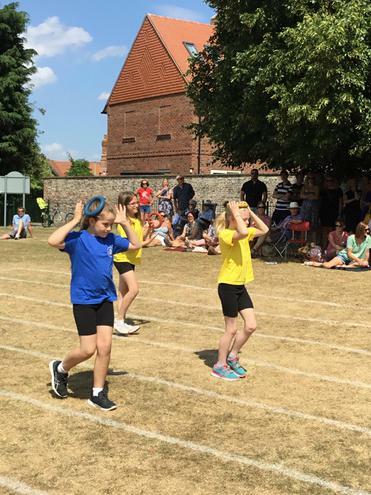 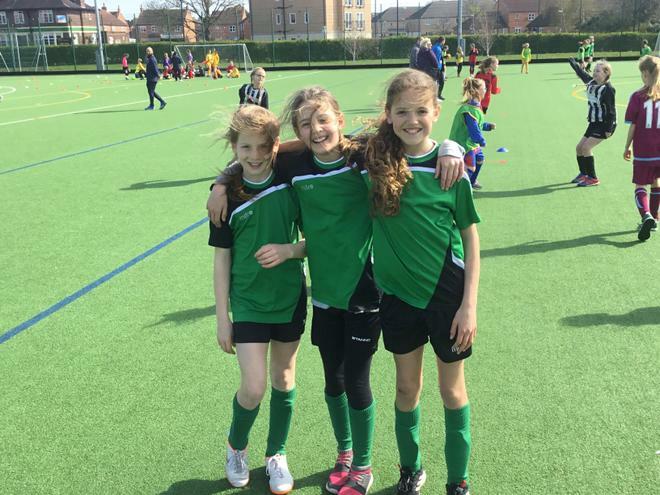 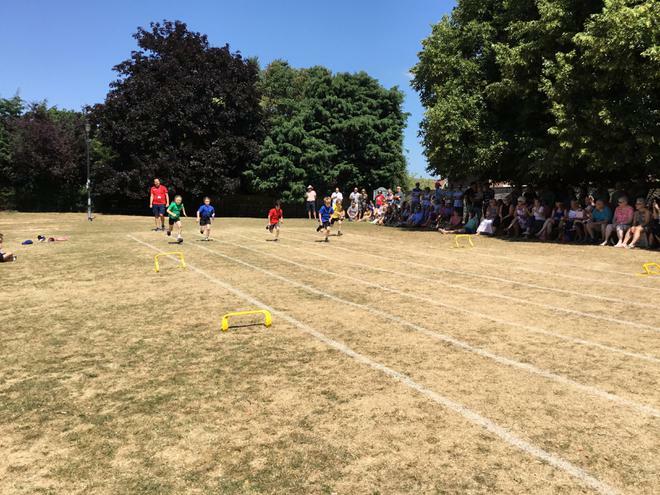 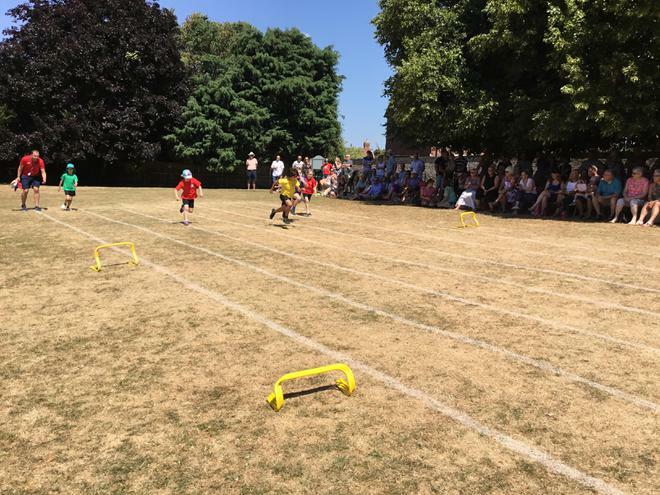 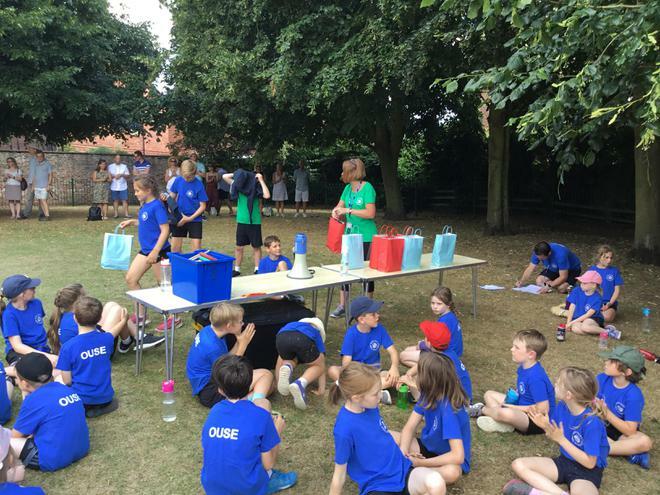 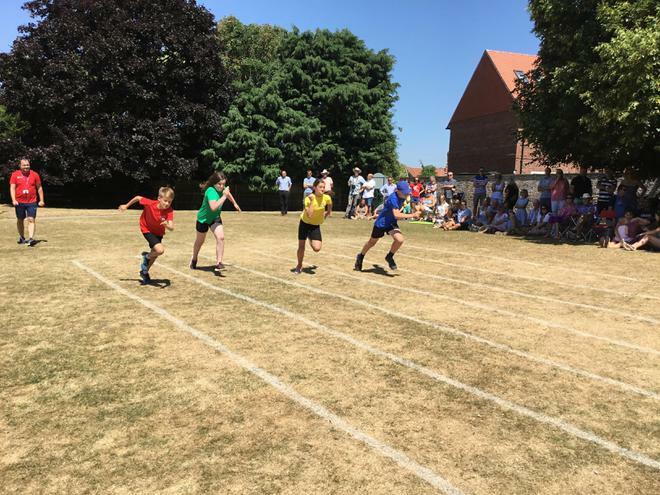 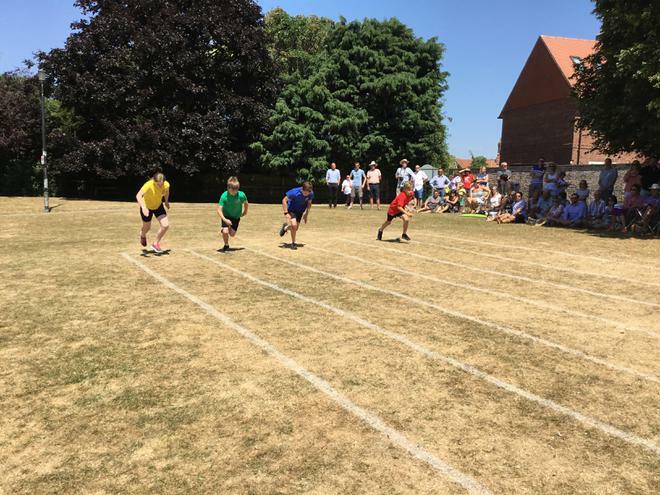 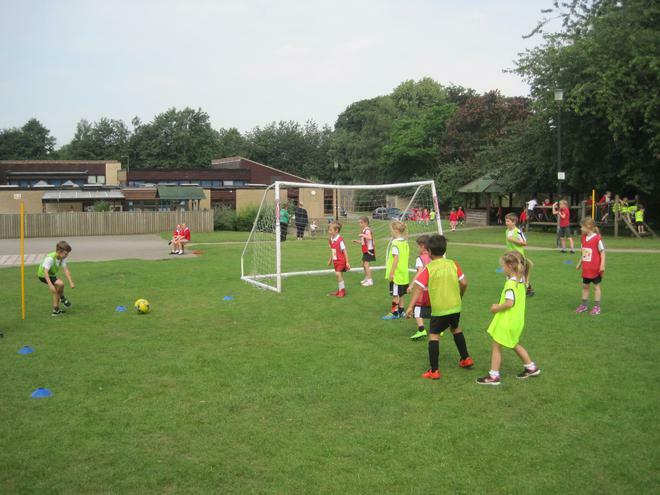 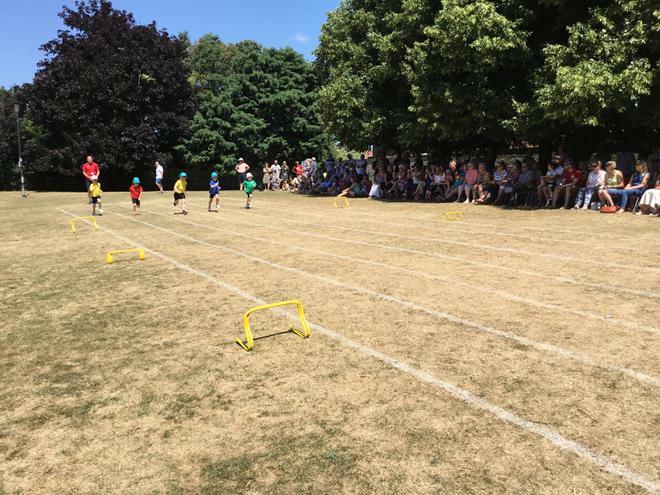 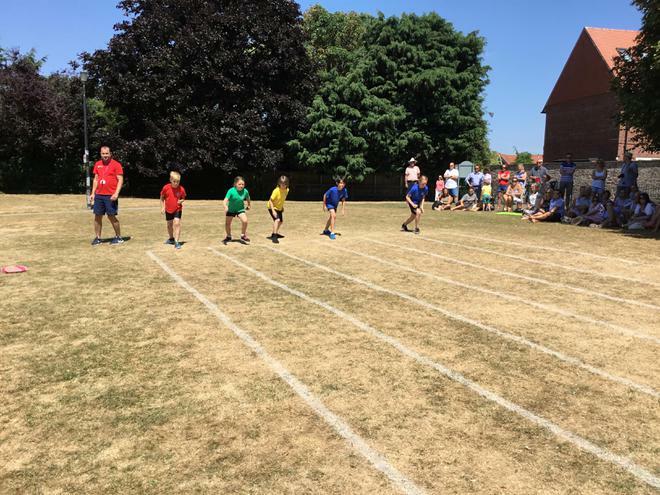 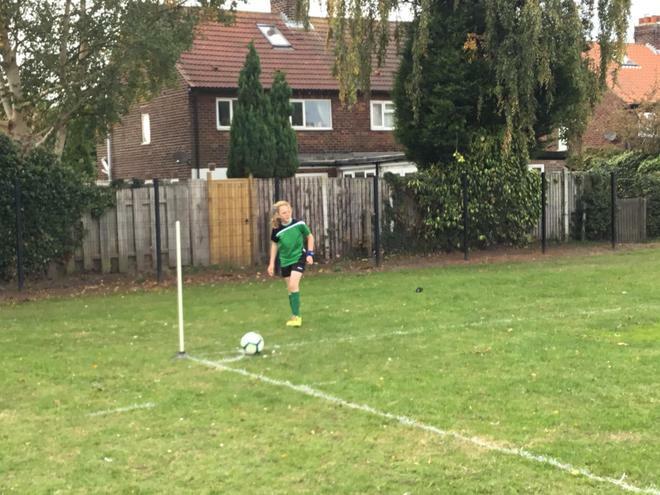 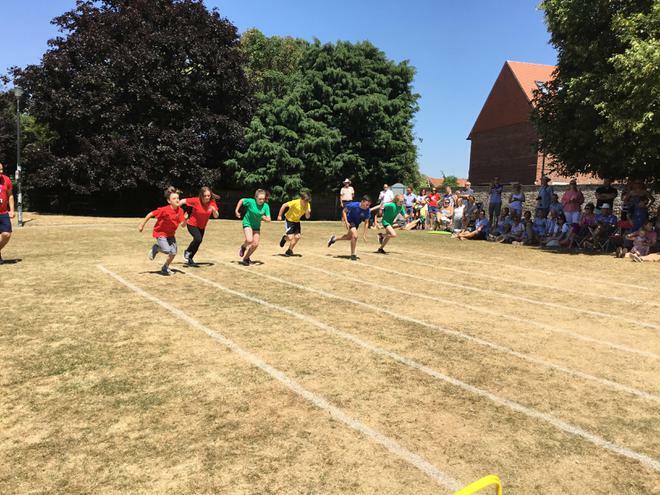 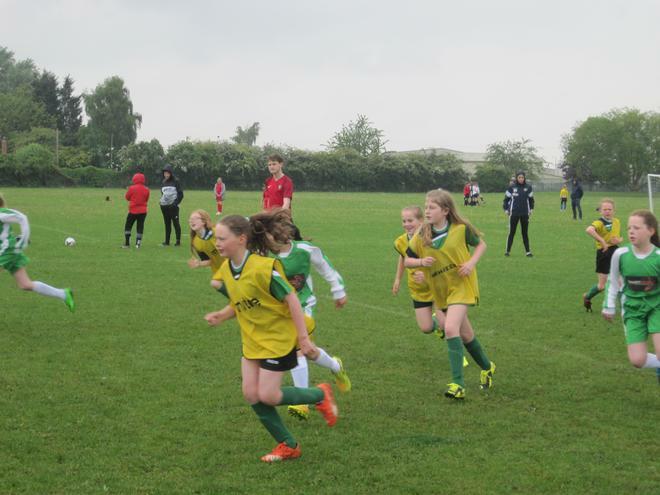 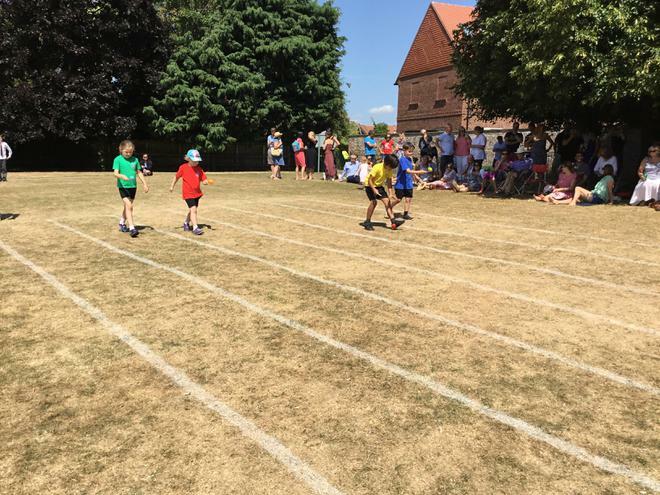 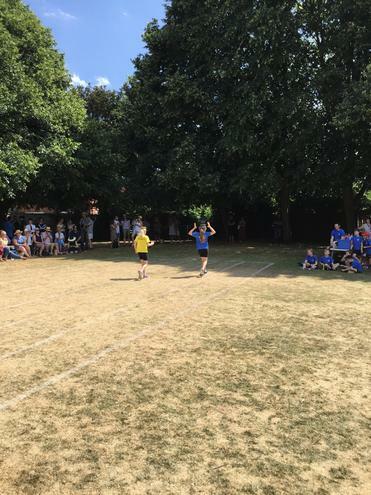 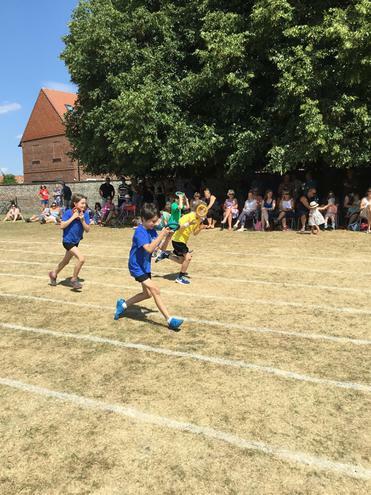 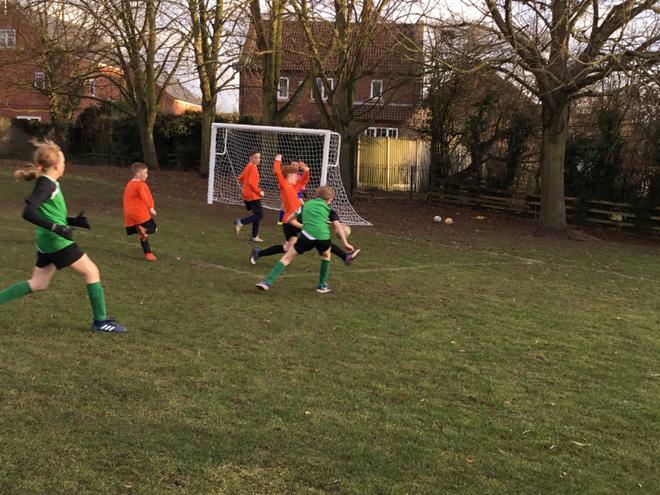 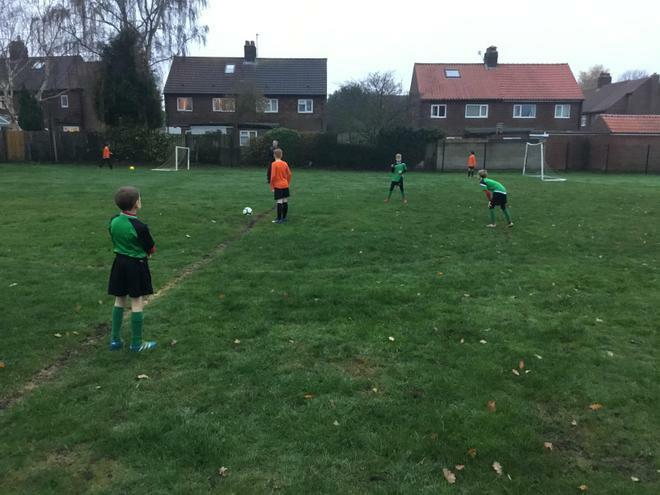 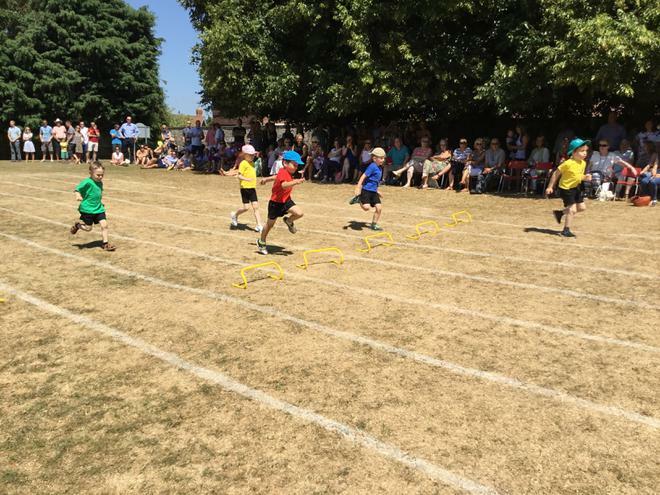 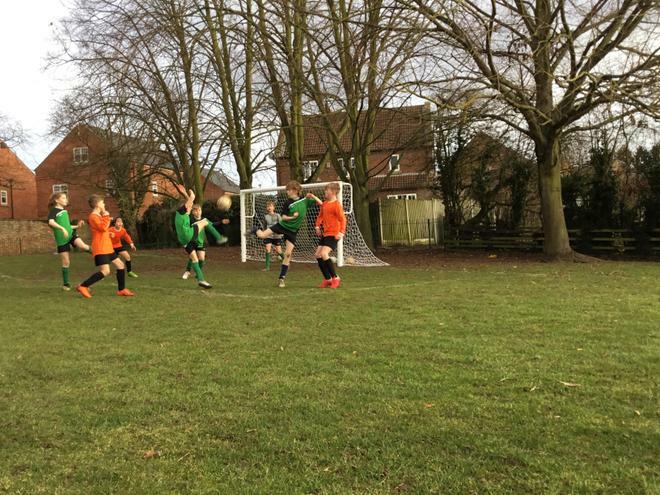 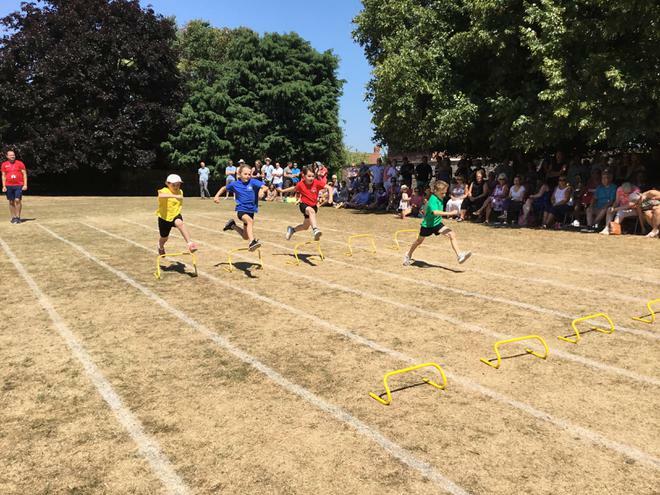 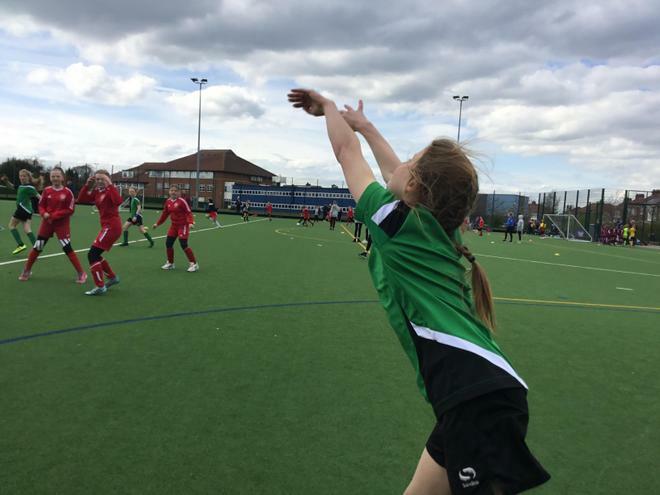 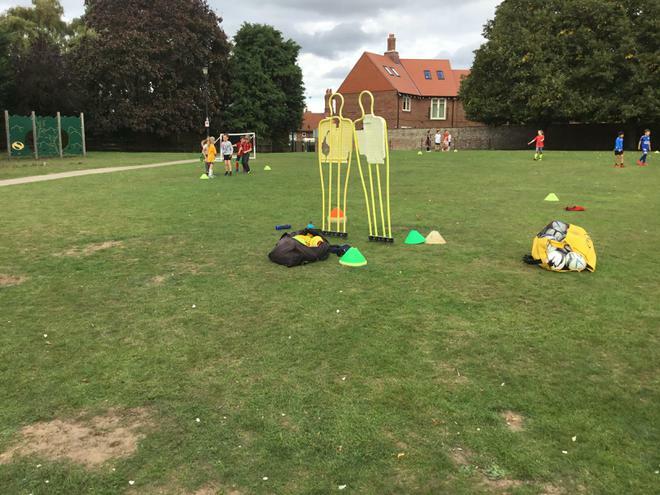 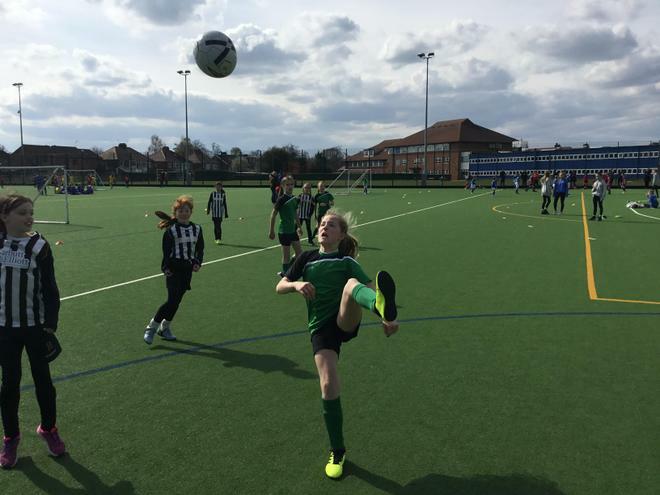 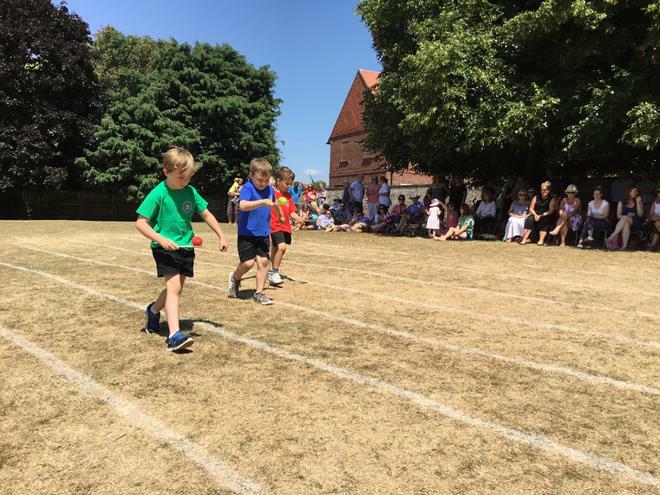 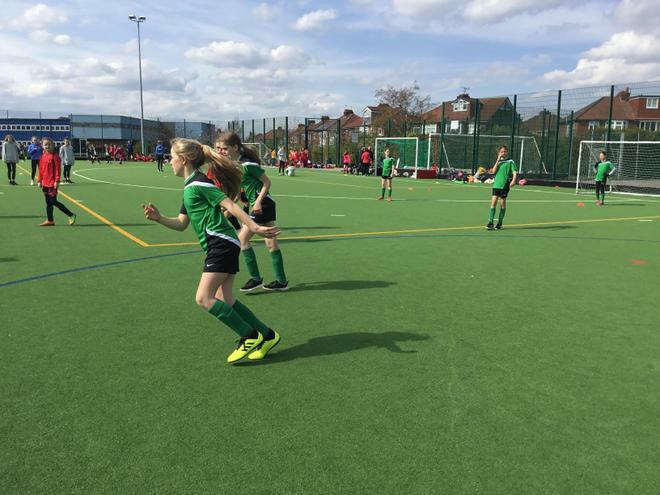 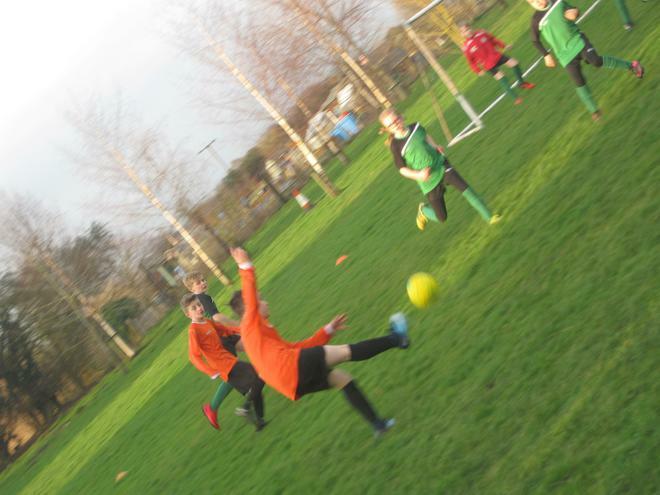 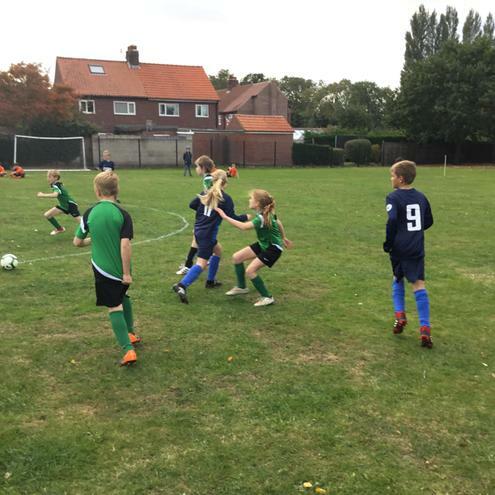 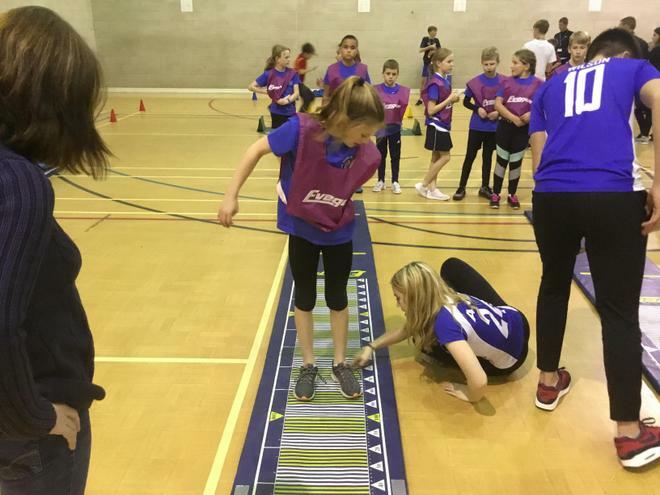 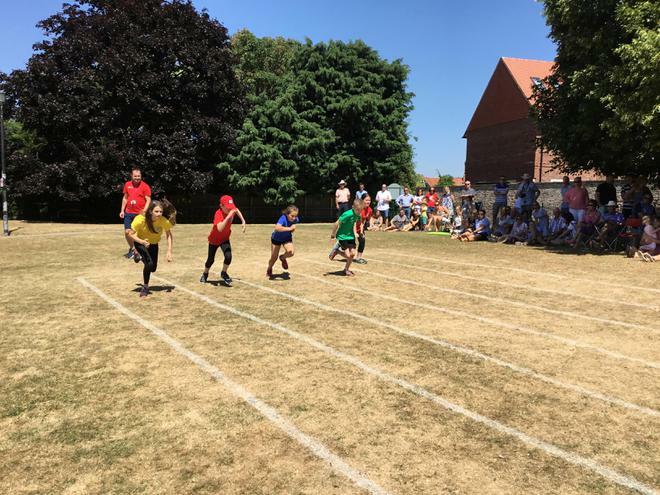 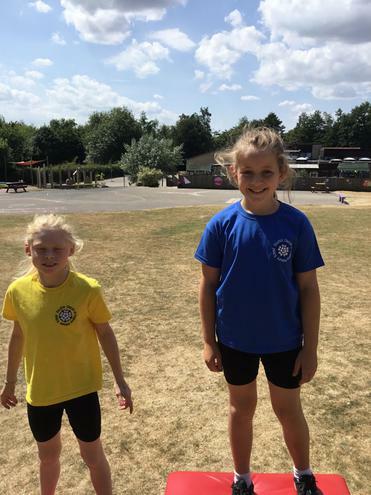 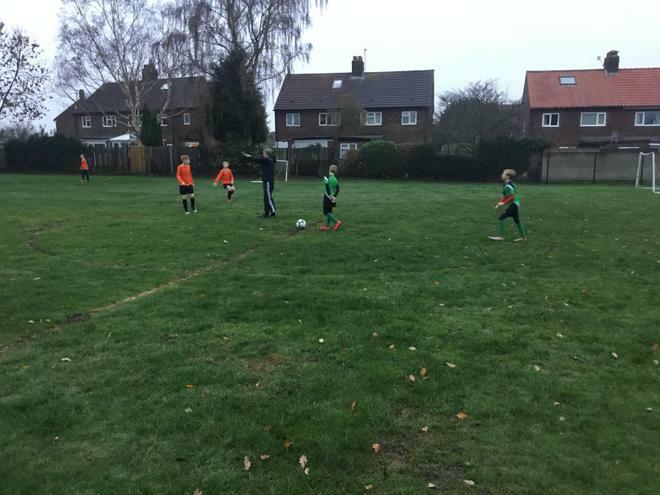 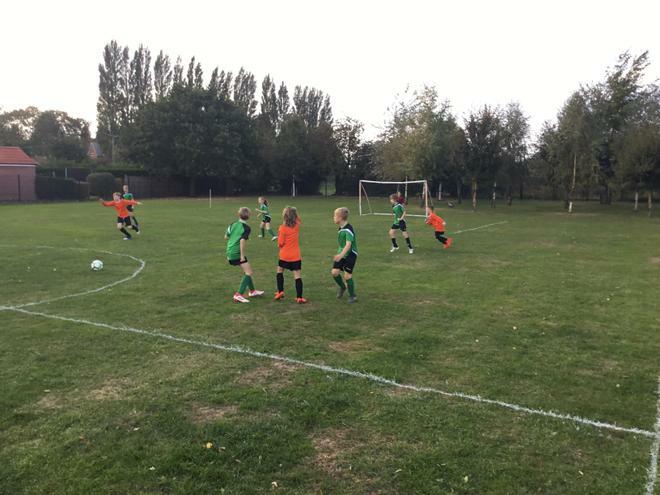 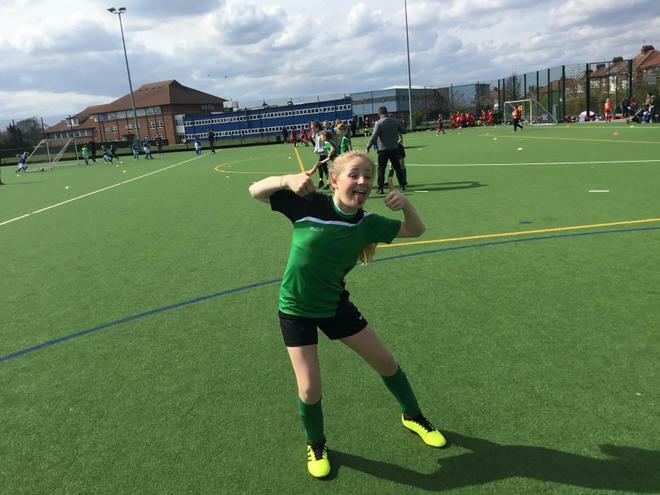 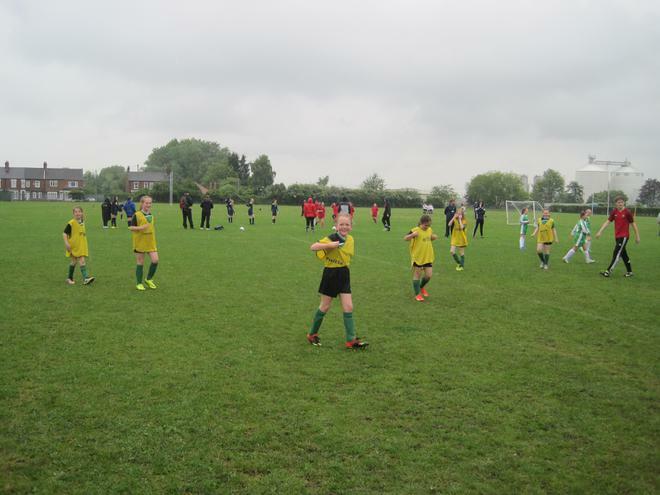 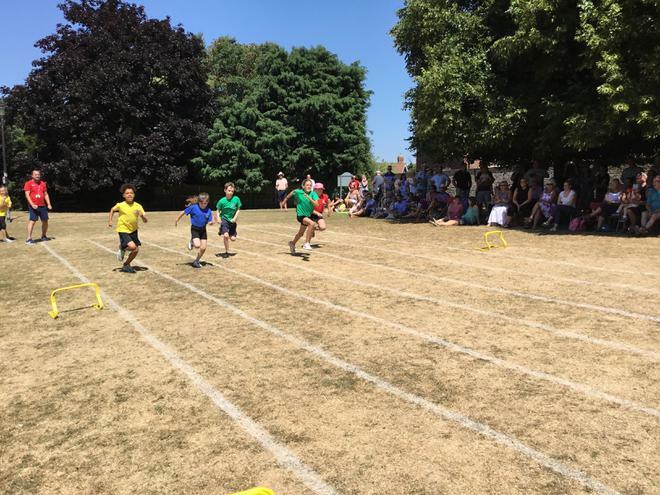 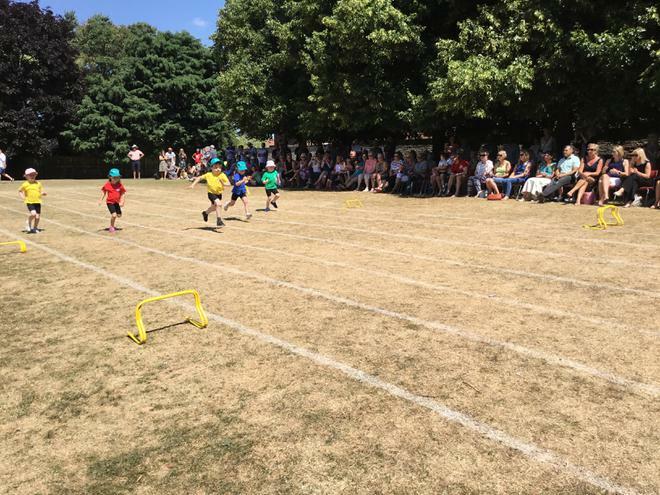 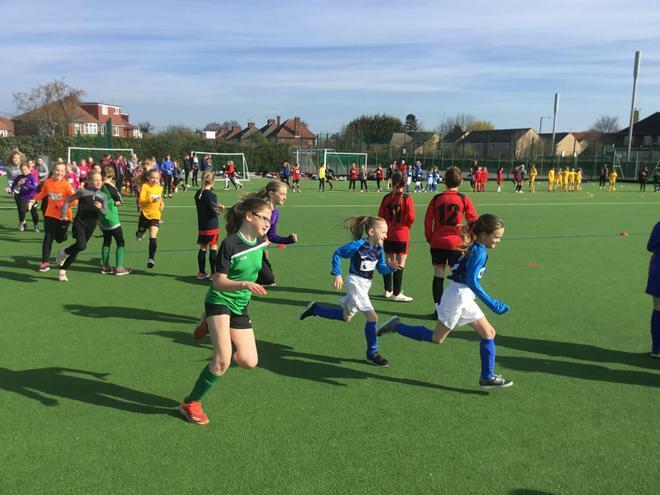 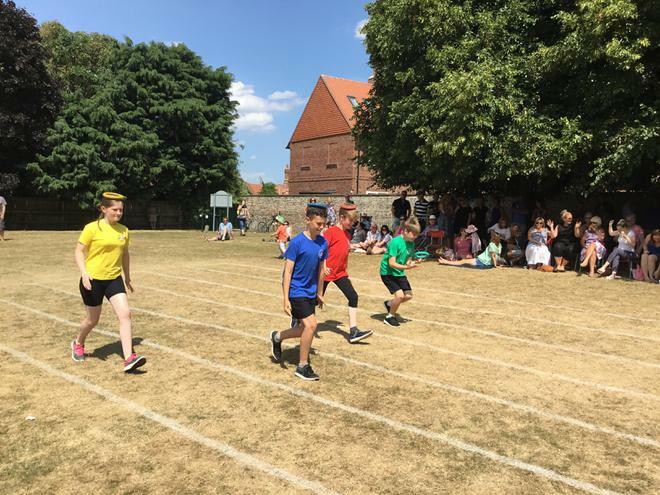 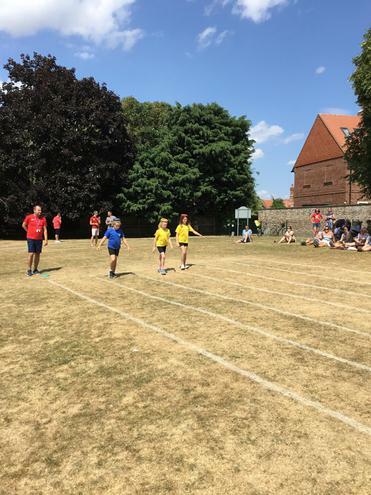 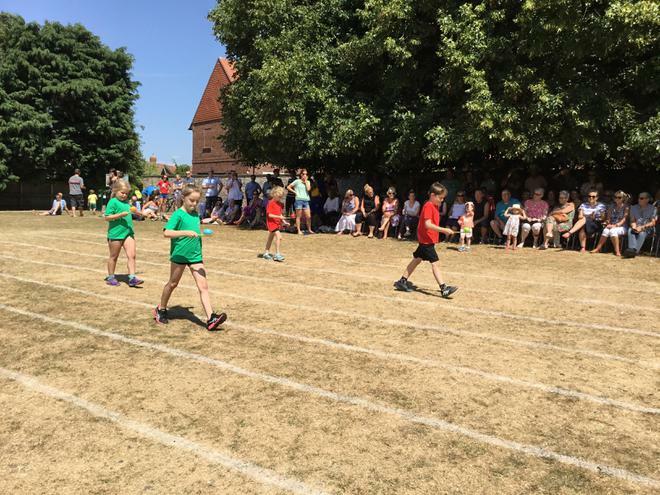 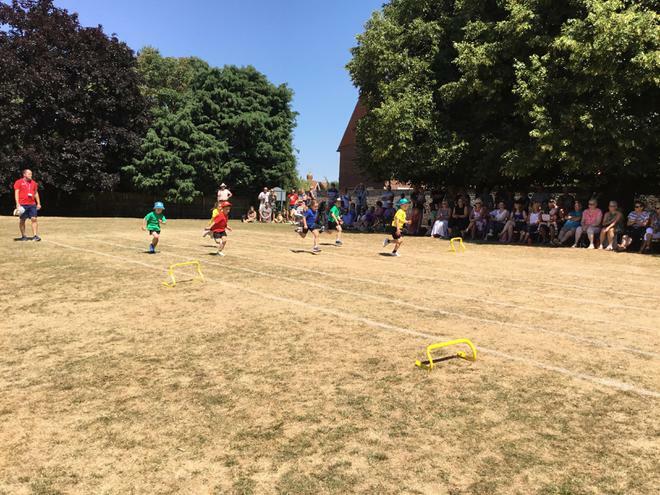 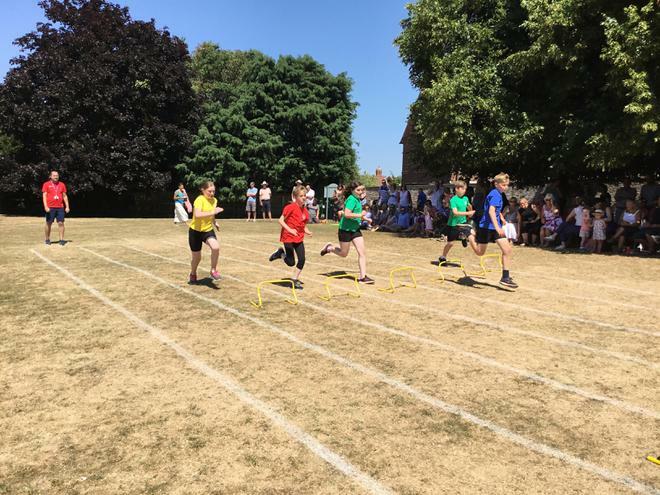 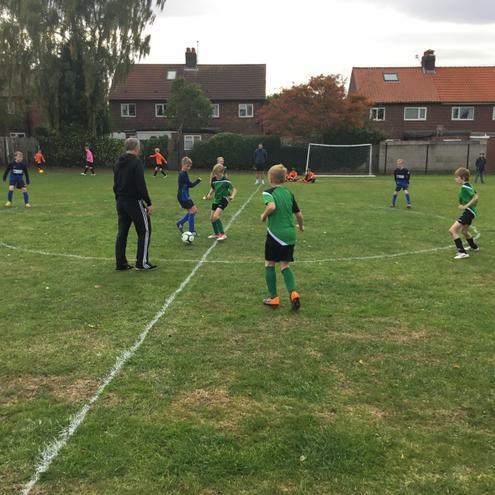 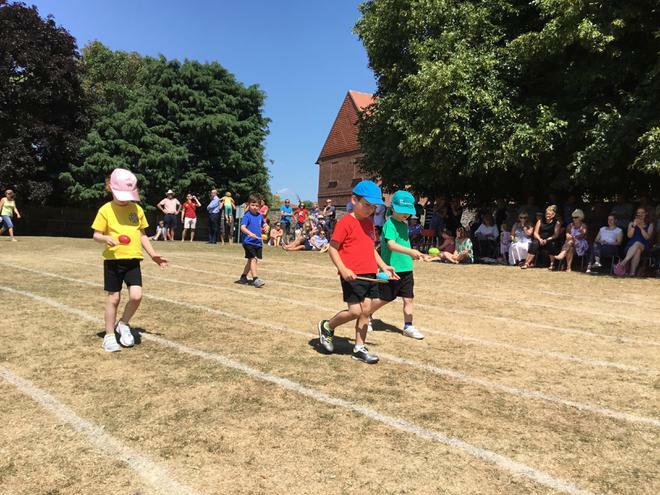 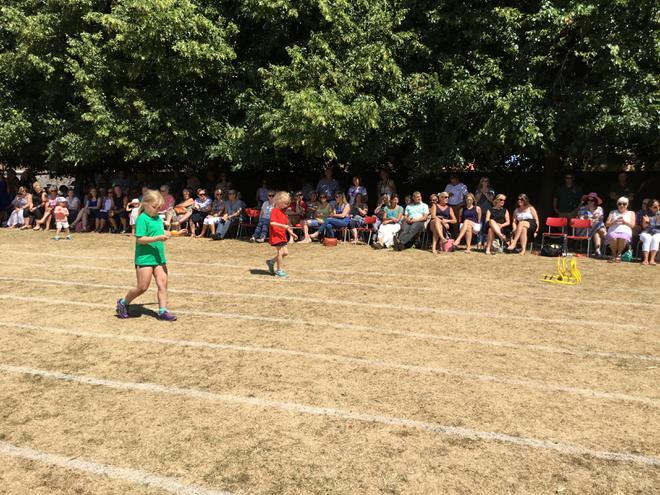 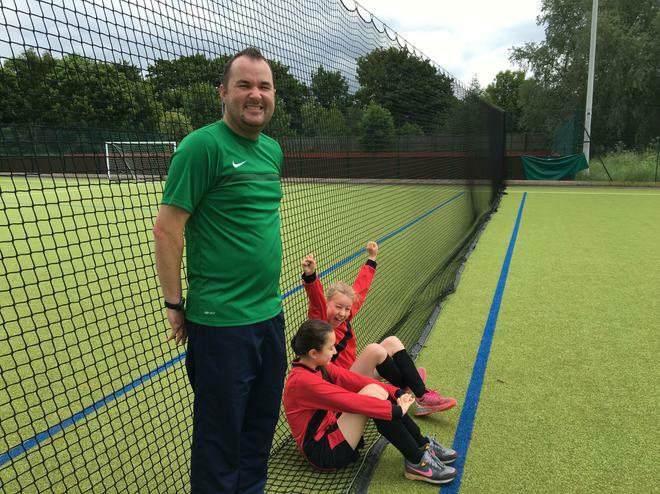 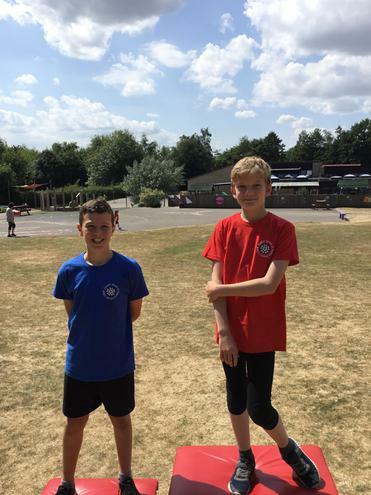 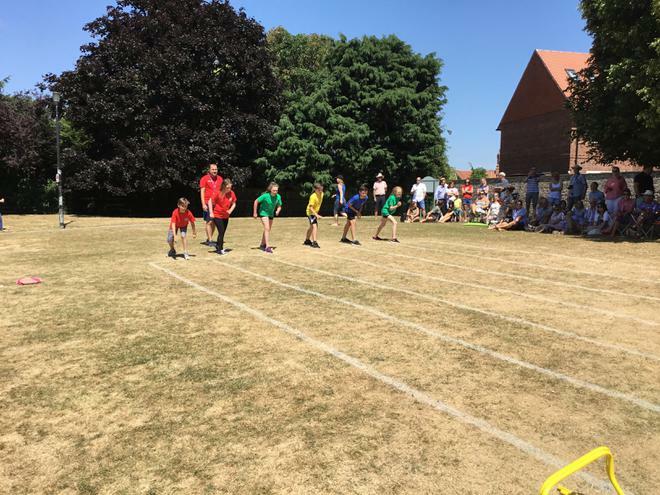 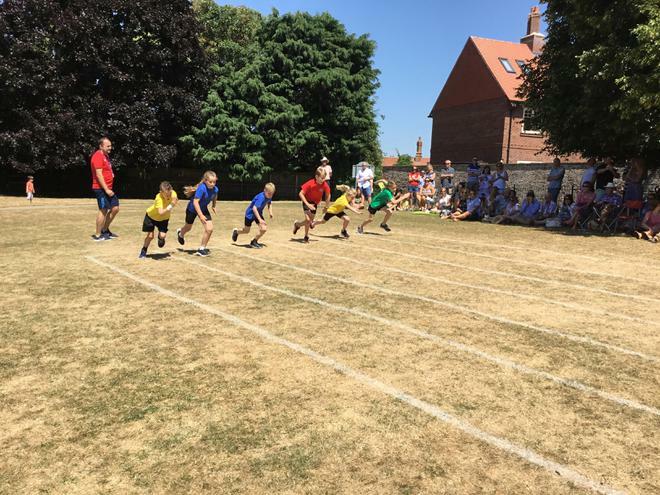 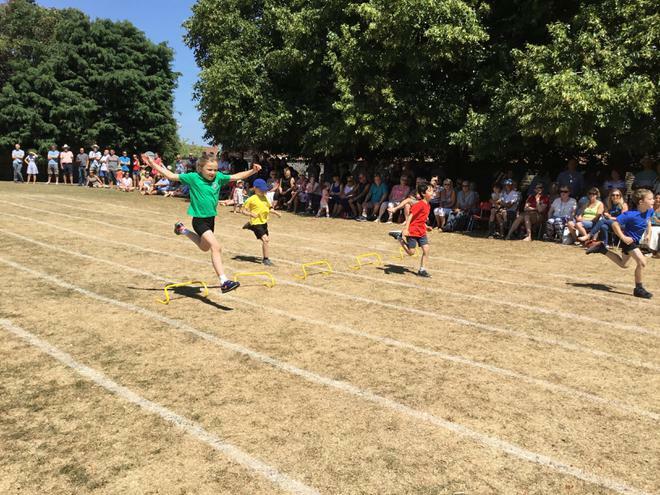 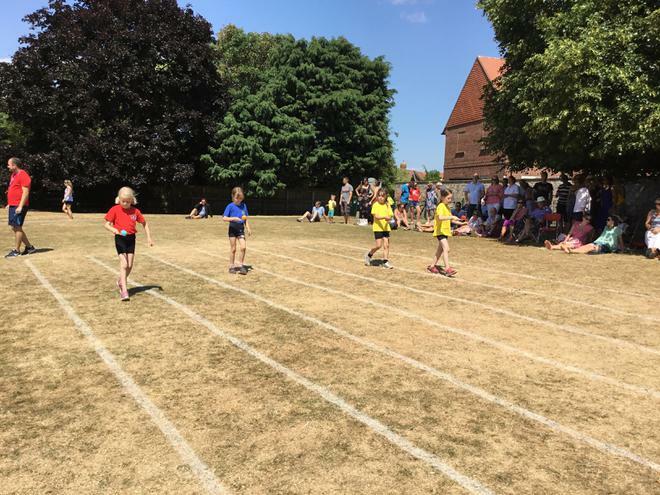 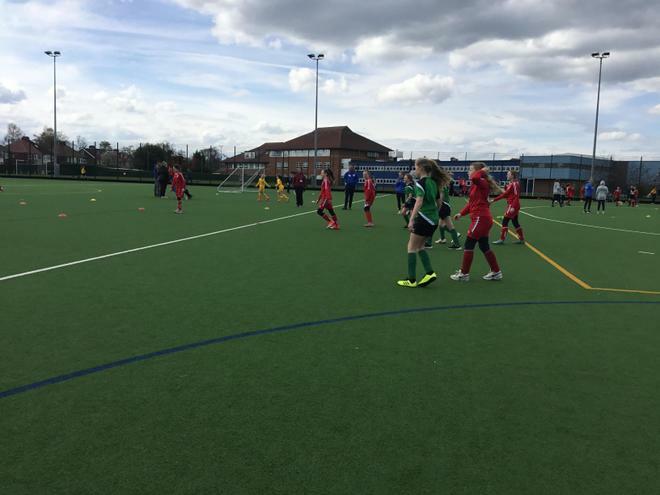 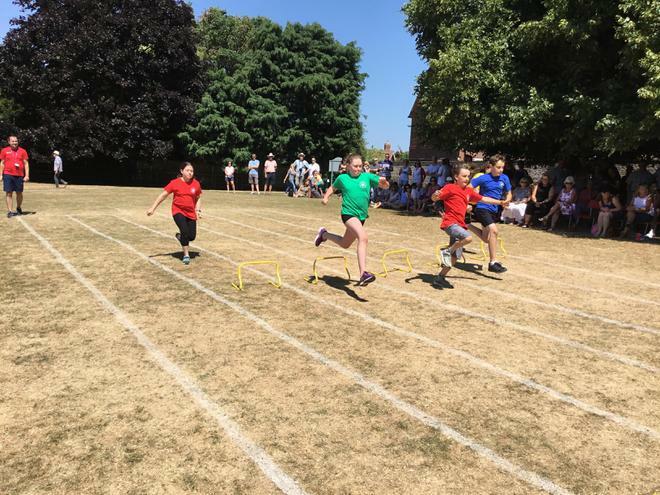 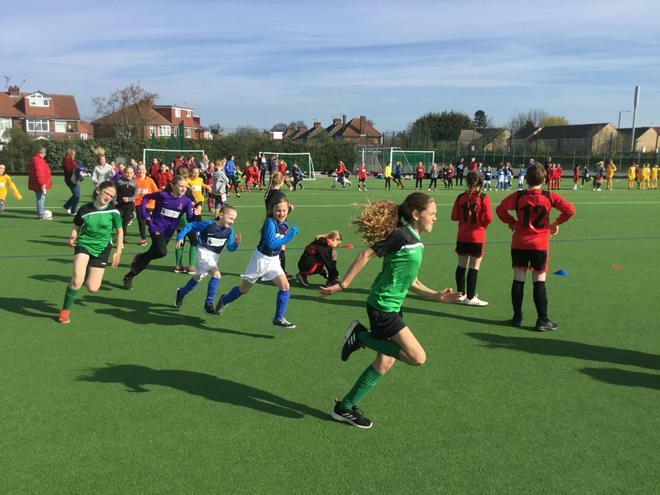 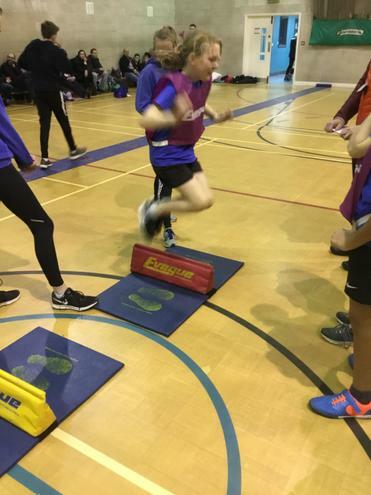 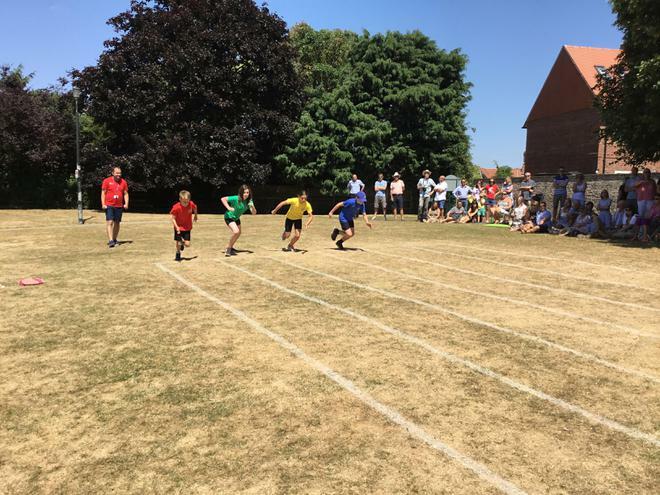 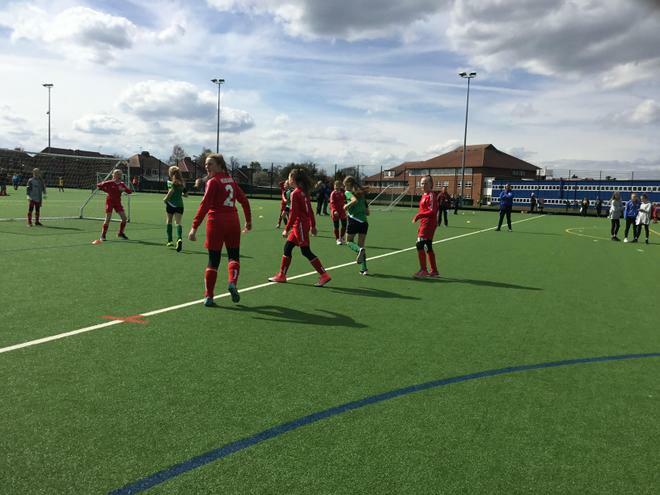 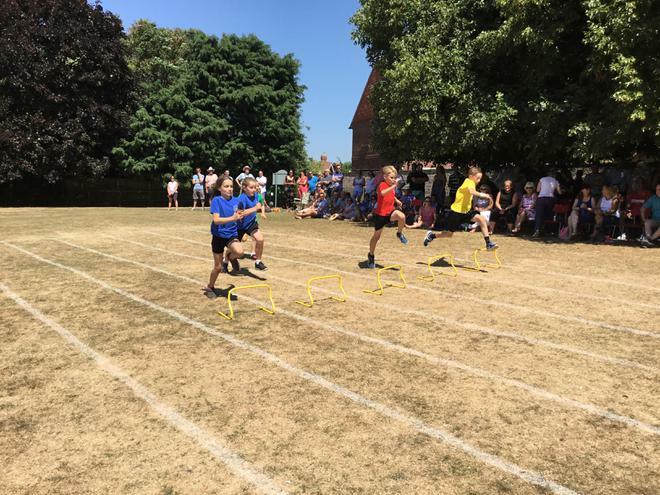 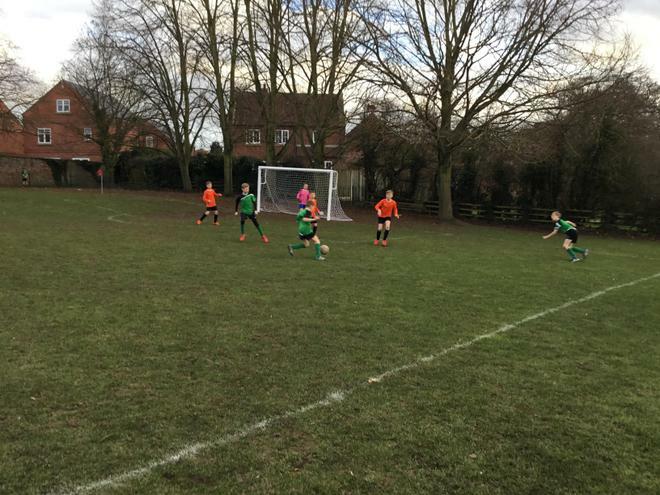 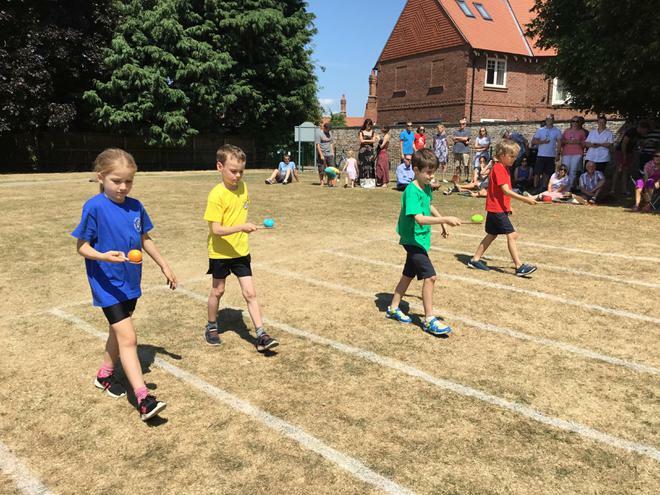 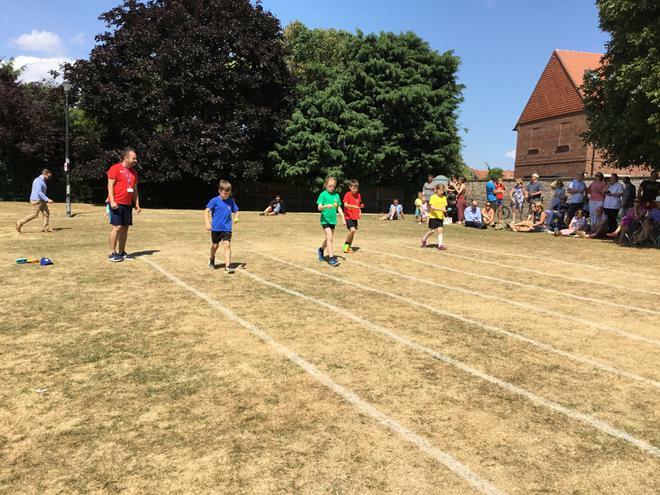 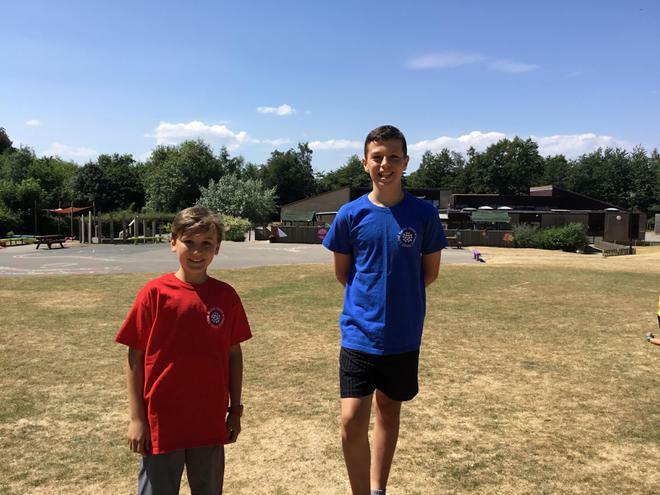 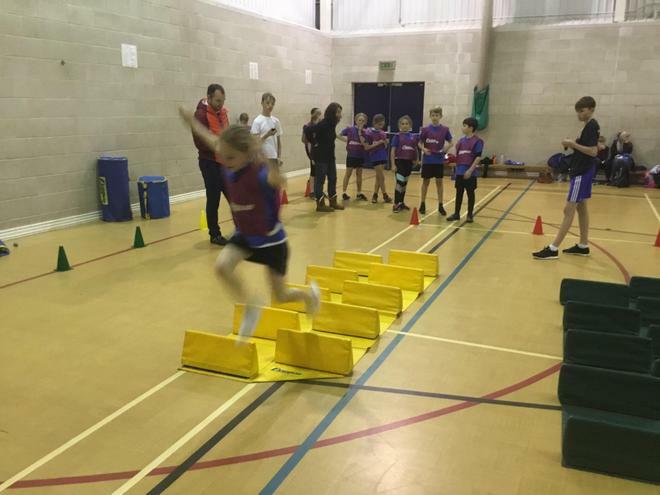 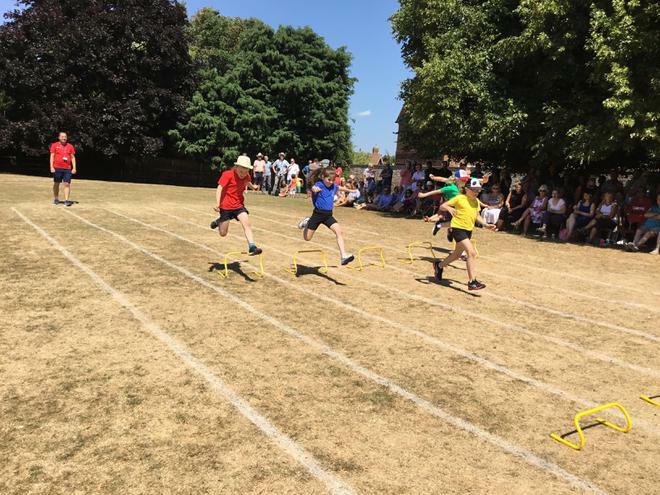 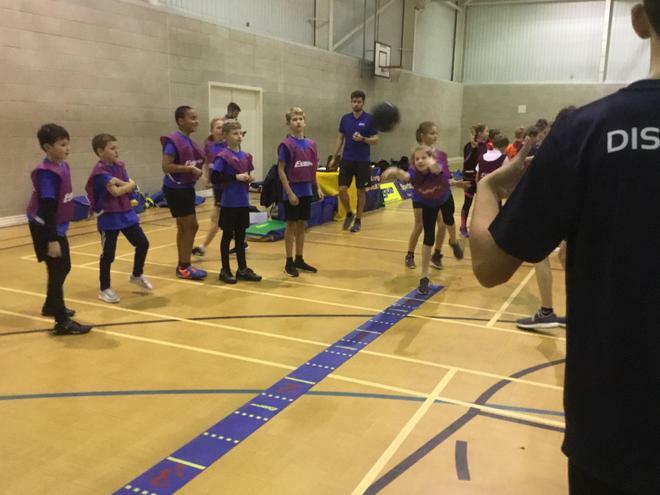 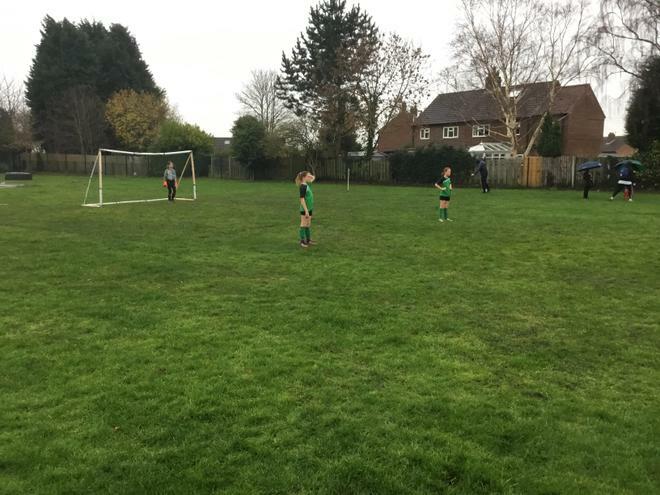 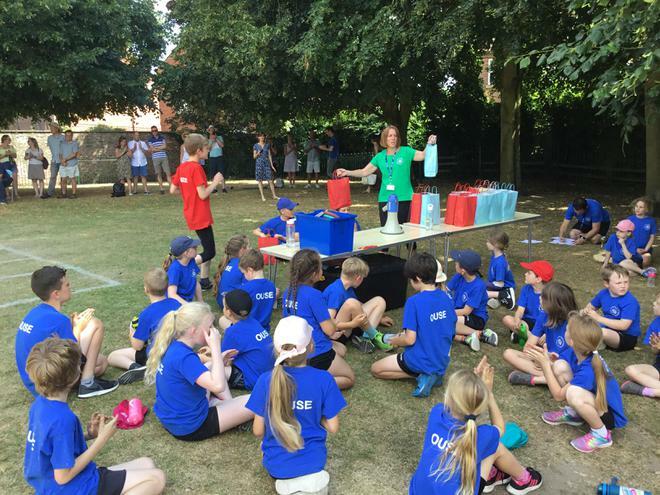 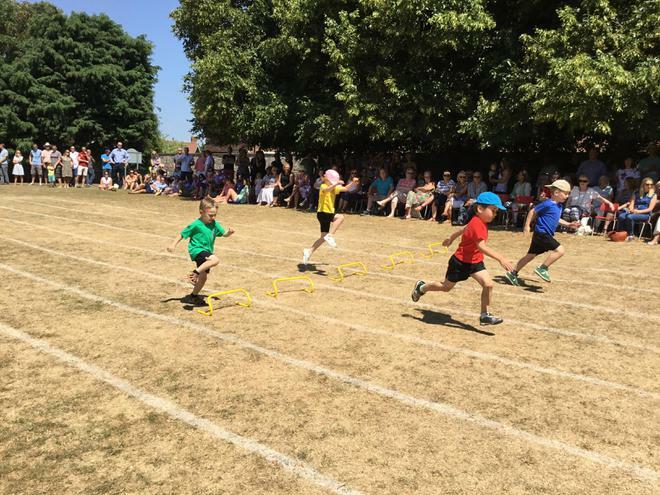 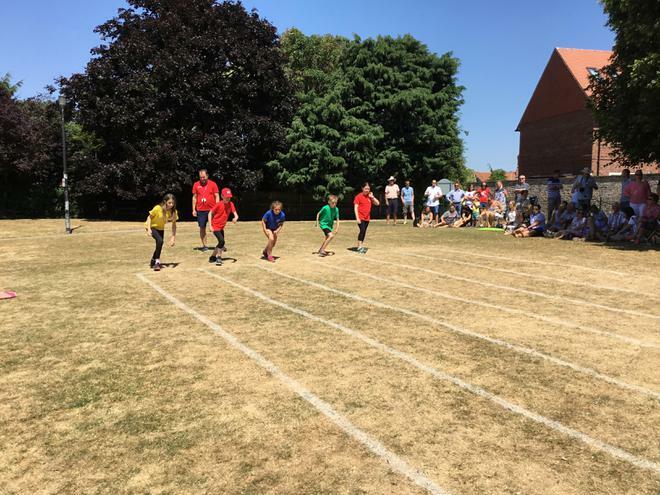 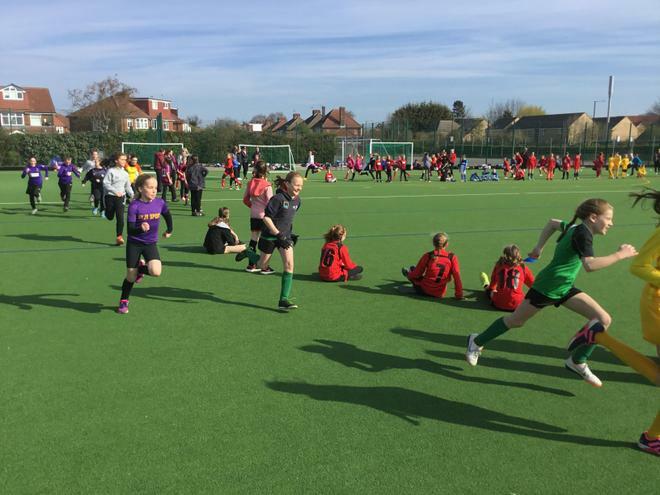 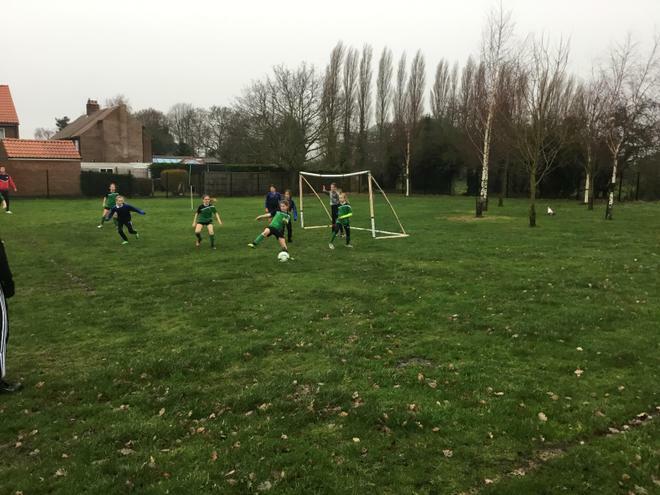 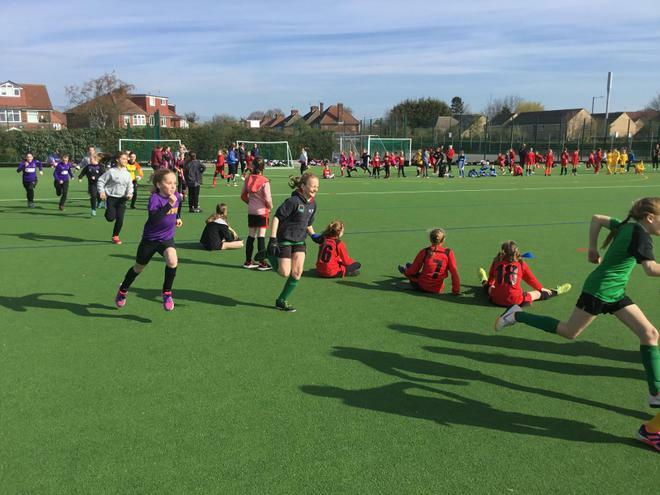 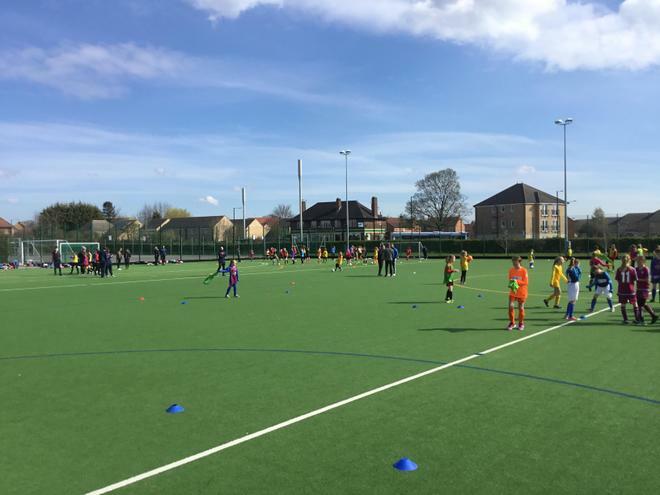 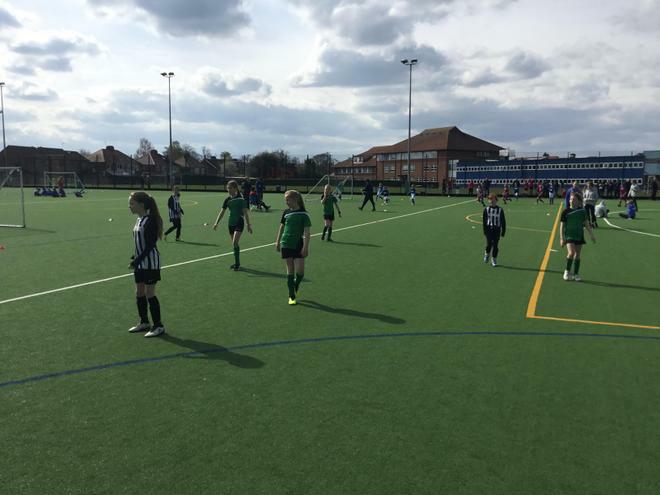 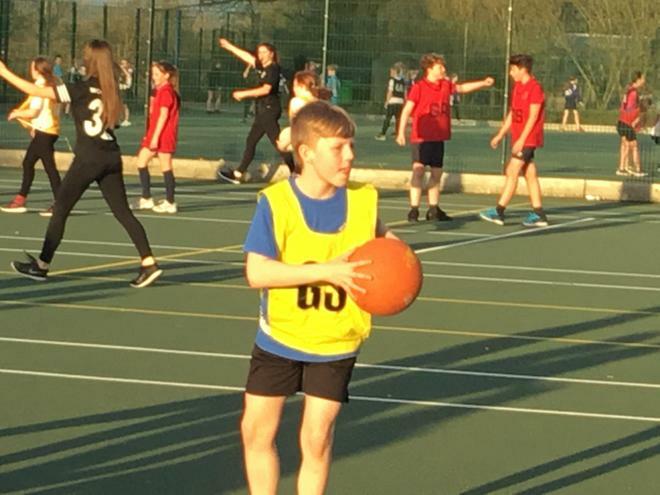 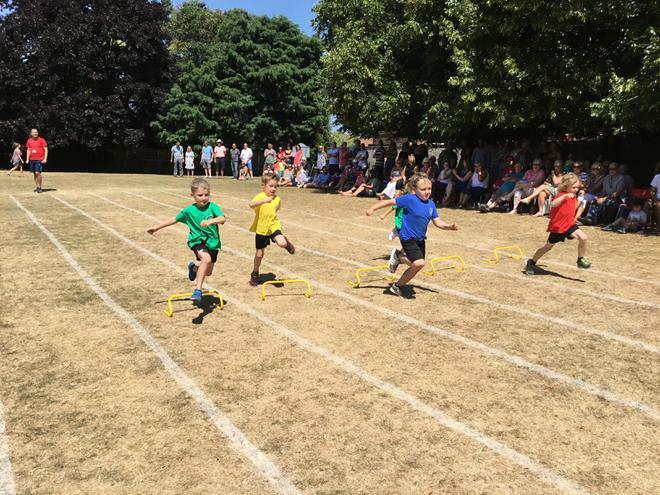 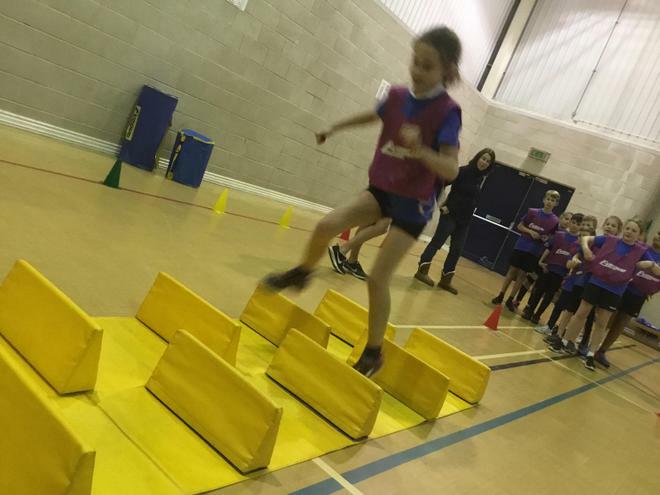 This year sees Escrick C of E partner with York Schools Sports providing an opportunity for all pupils to participate in one, or a range of competitions. 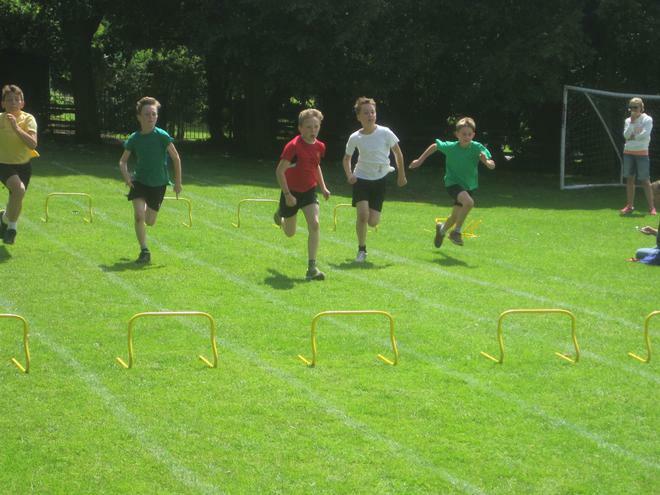 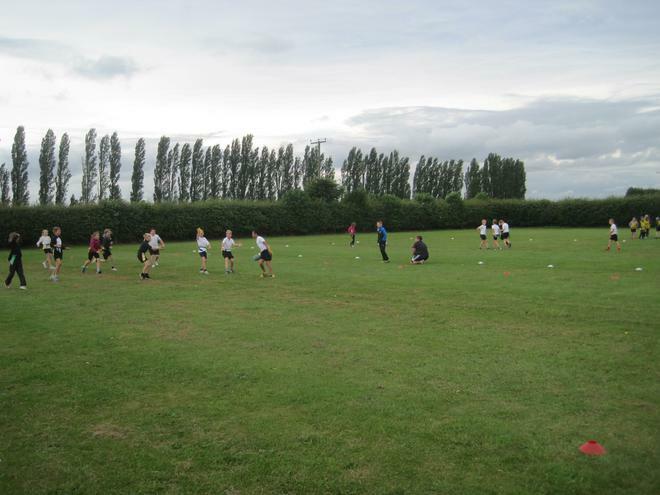 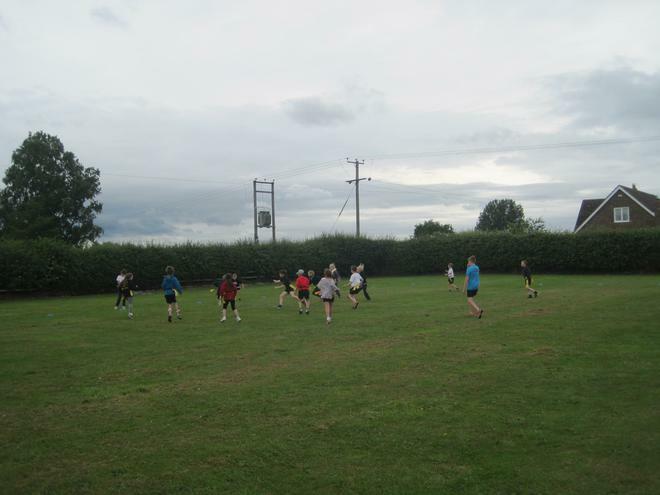 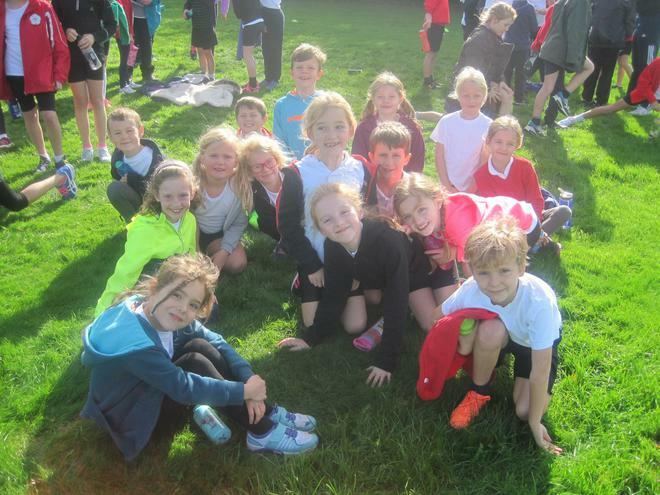 Cross Country at Askham Bryan College on Wednesday 26th September. 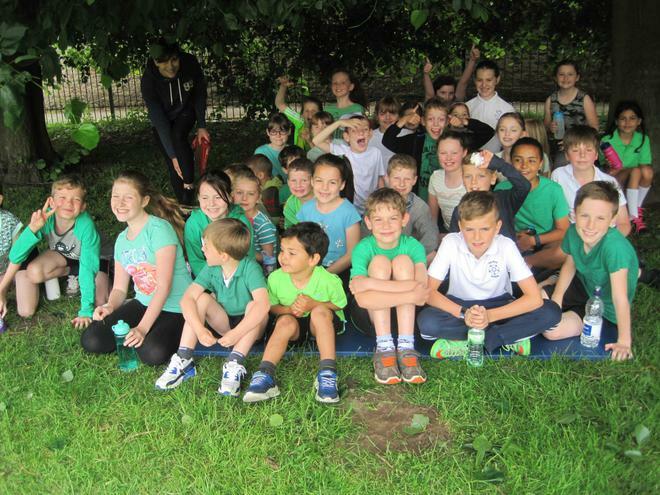 This is open to all pupils and a letter will be coming out in the next couple of days. 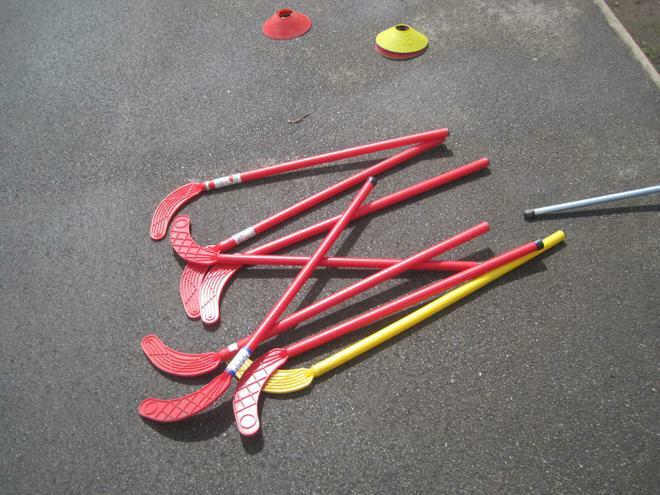 Quicksticks Hockey. 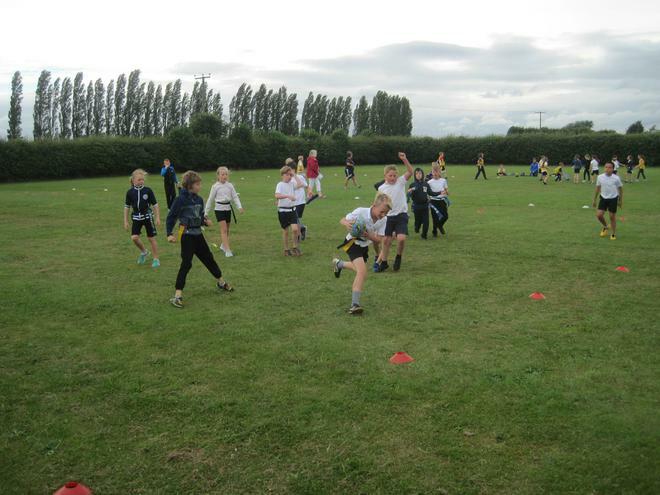 Year 3/4 on Tuesday 2nd October 4-6pm at The Vale of York Academy. 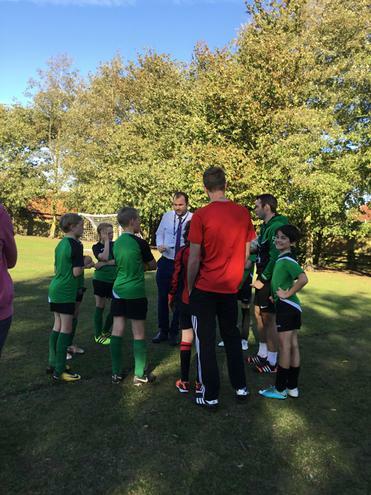 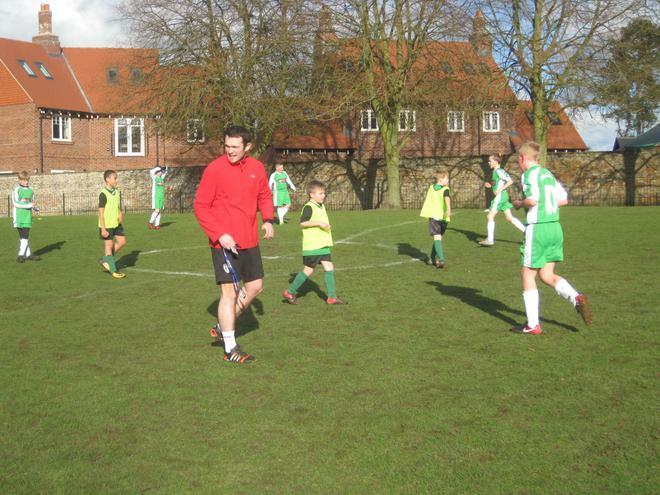 Mr. Deakin will be asking the pupils for availability this week and will be on a first come first served basis. 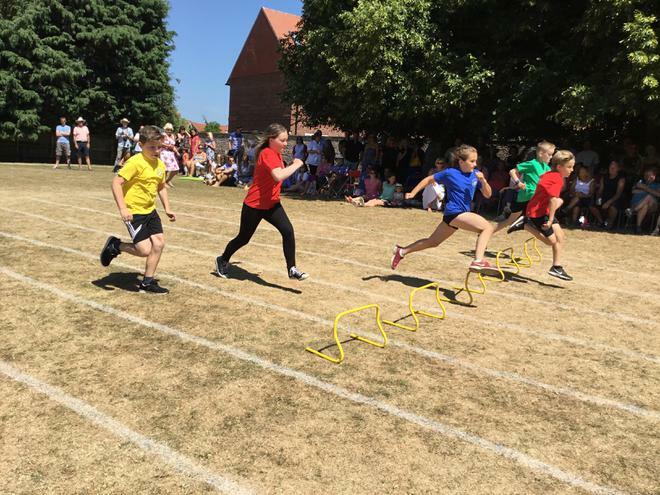 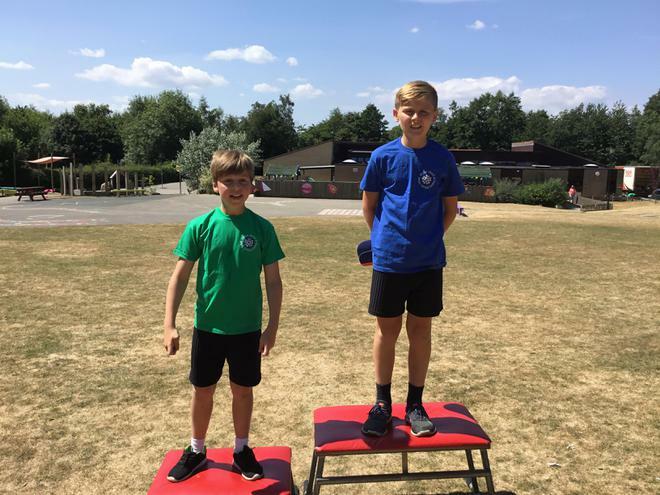 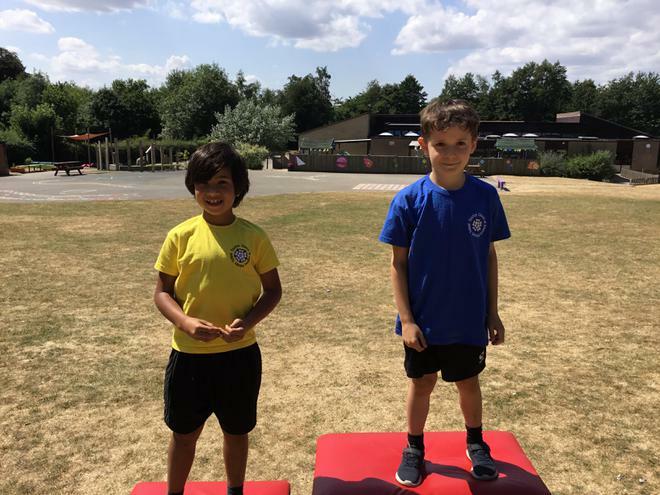 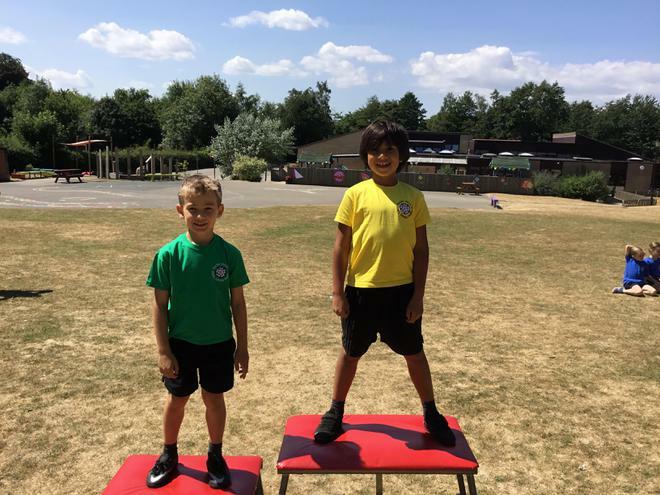 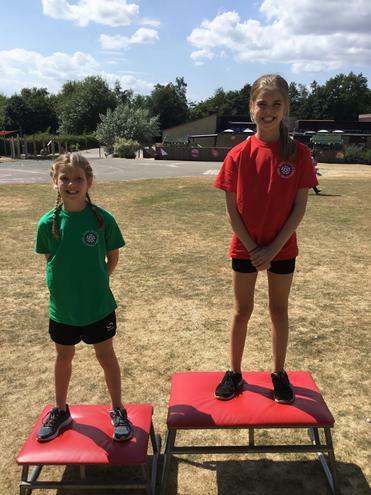 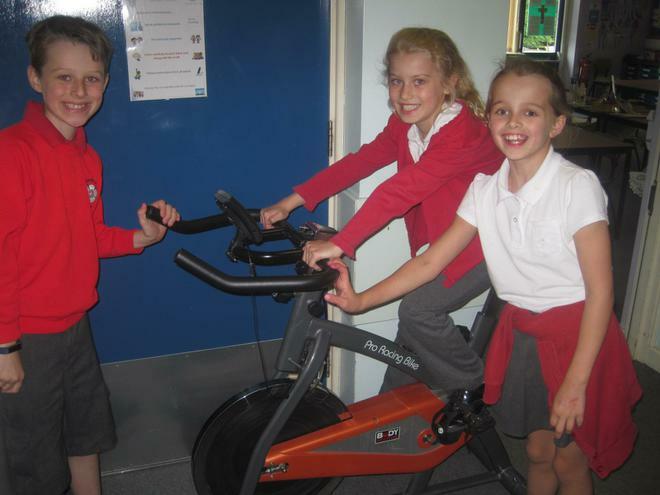 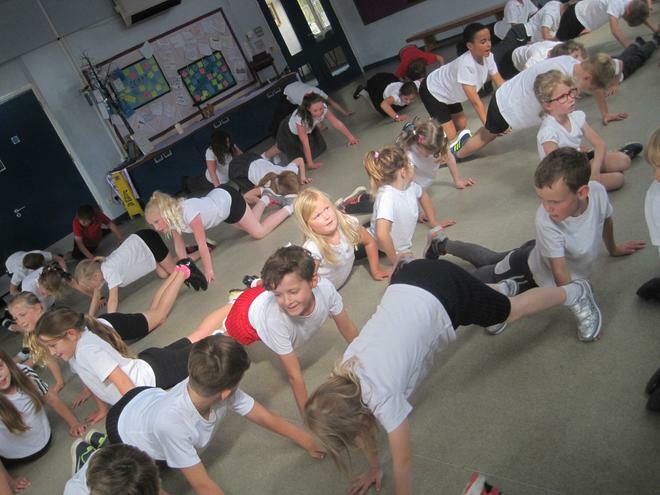 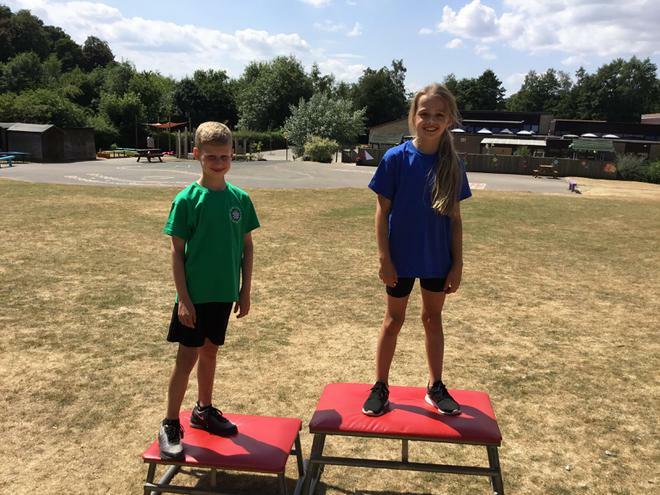 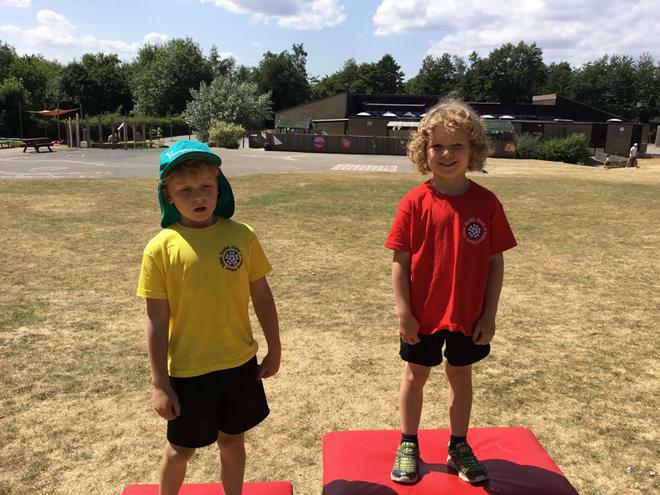 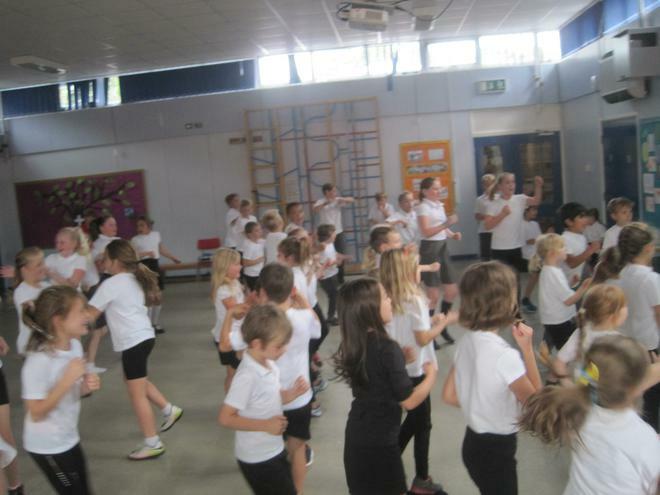 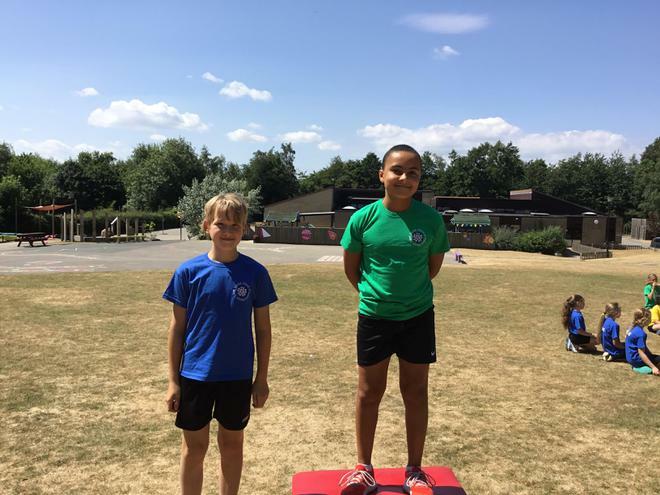 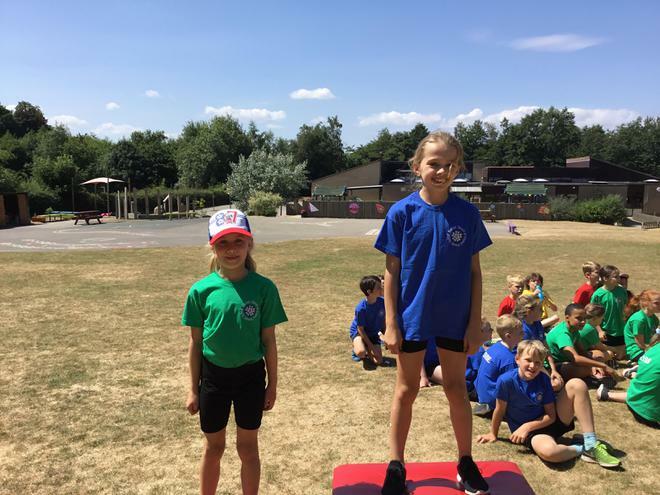 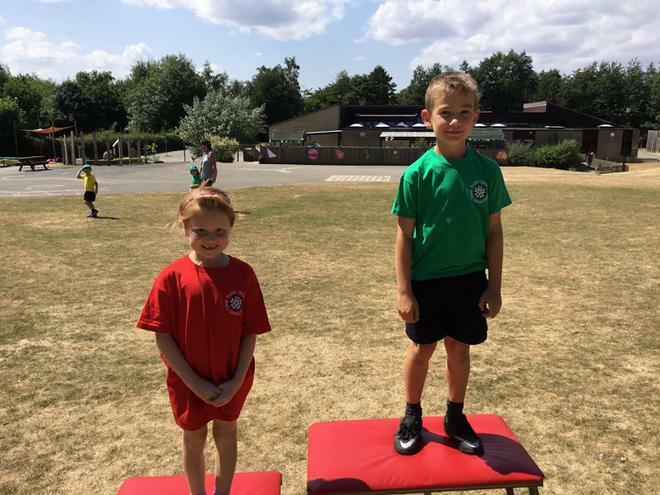 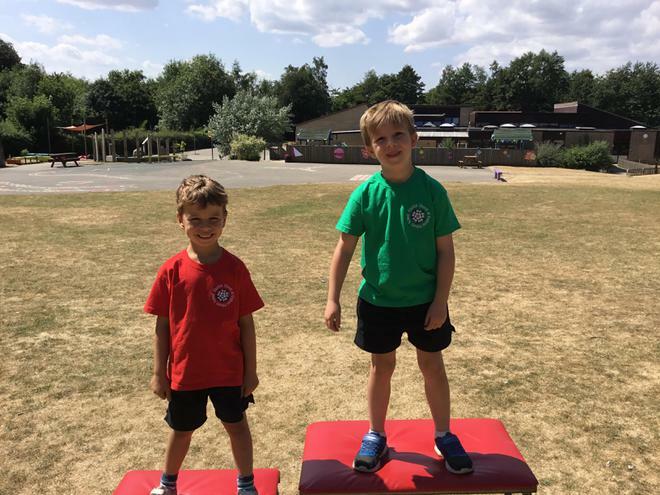 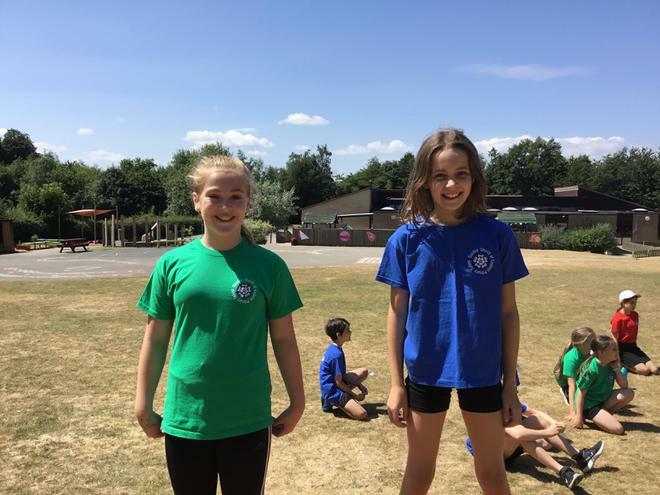 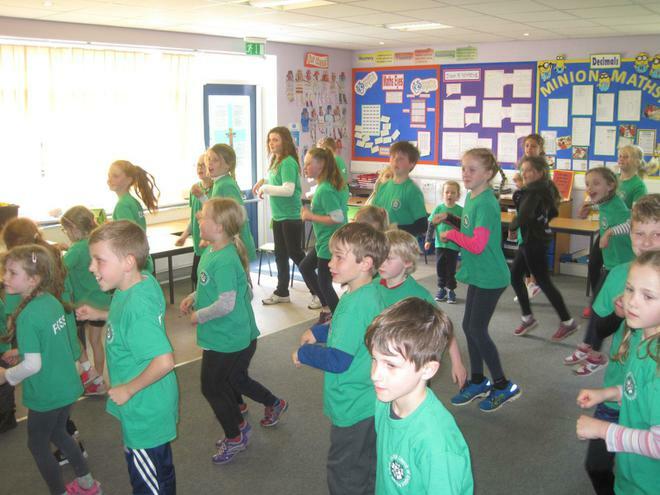 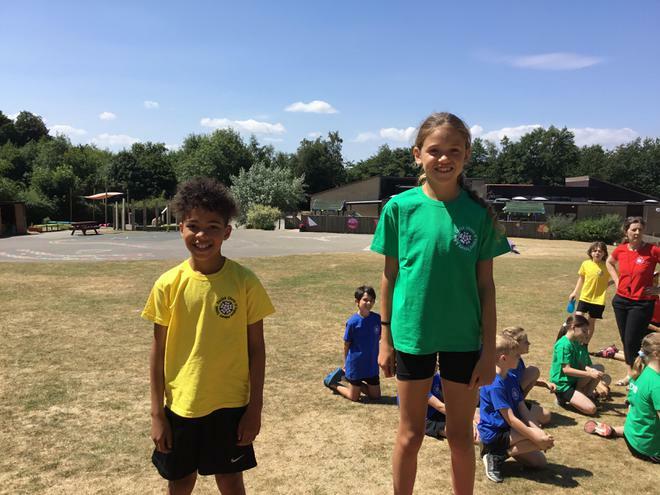 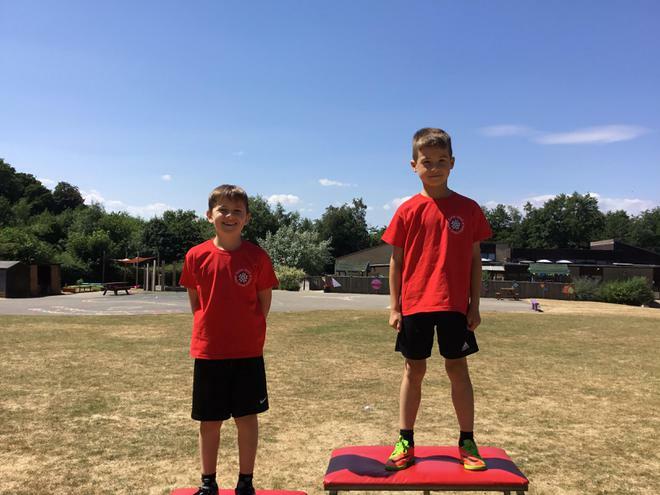 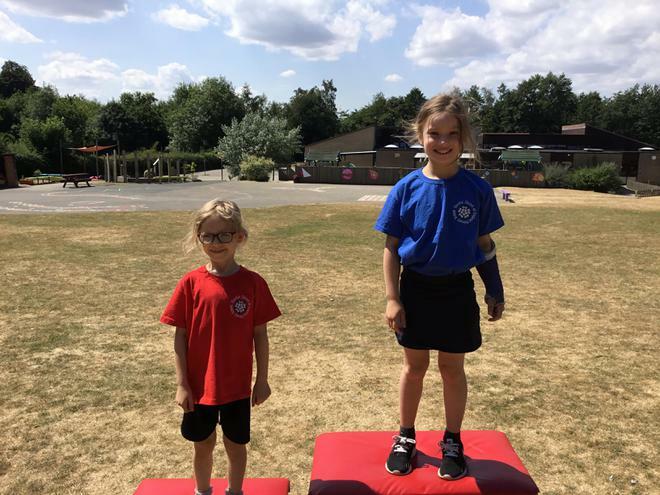 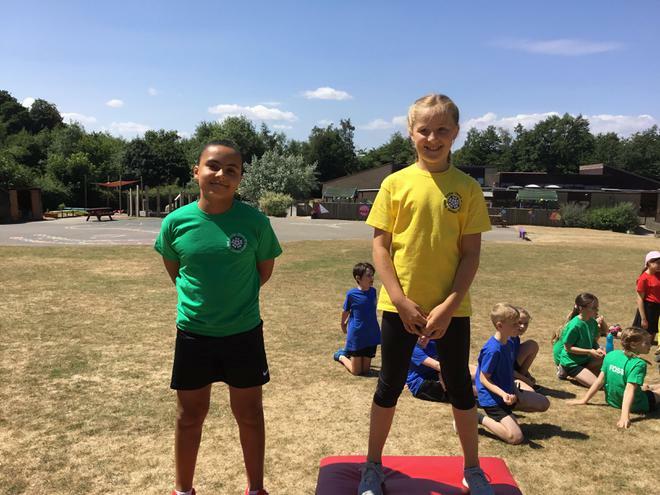 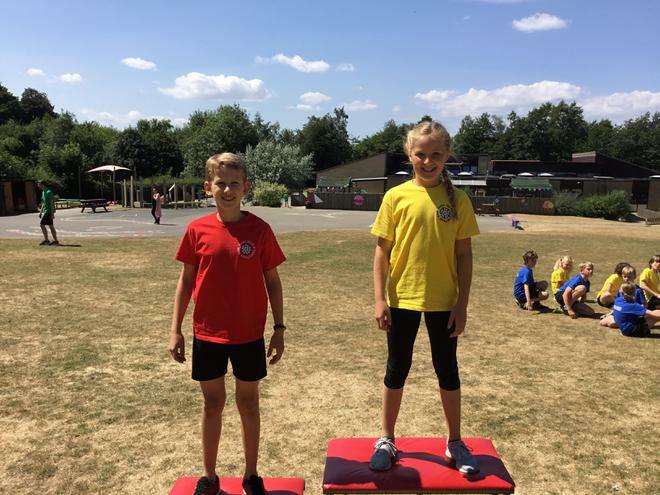 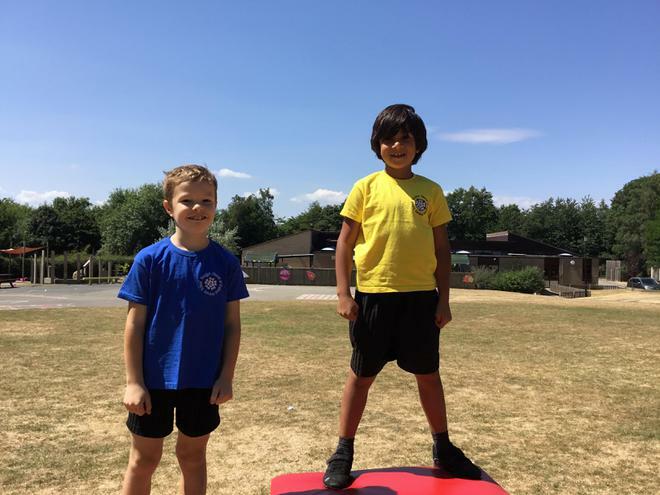 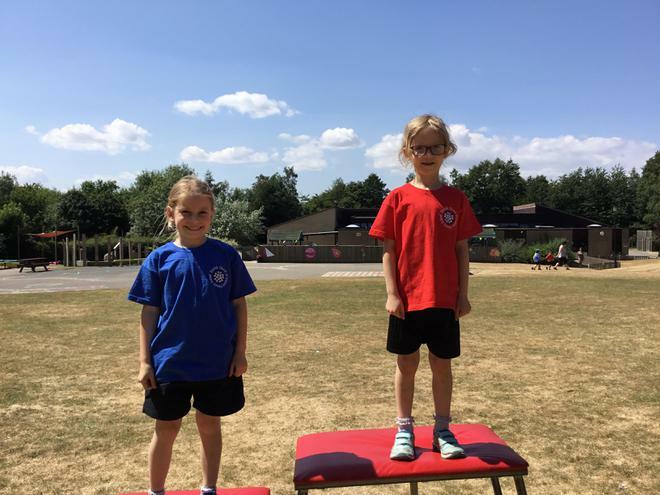 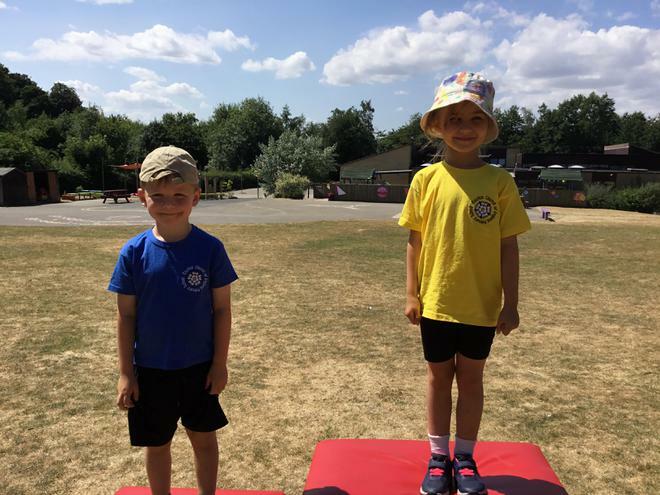 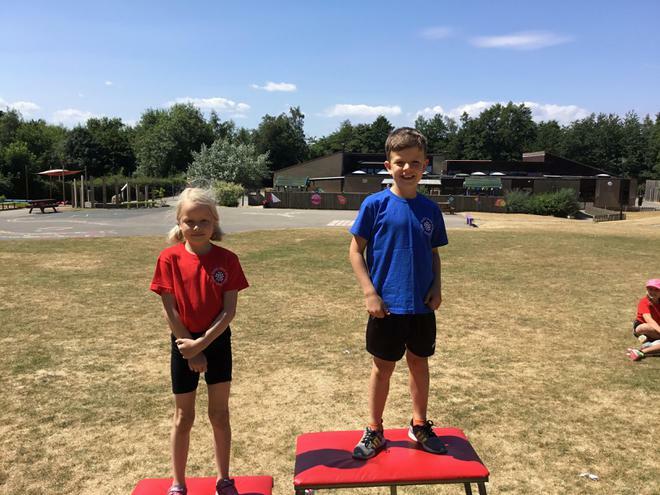 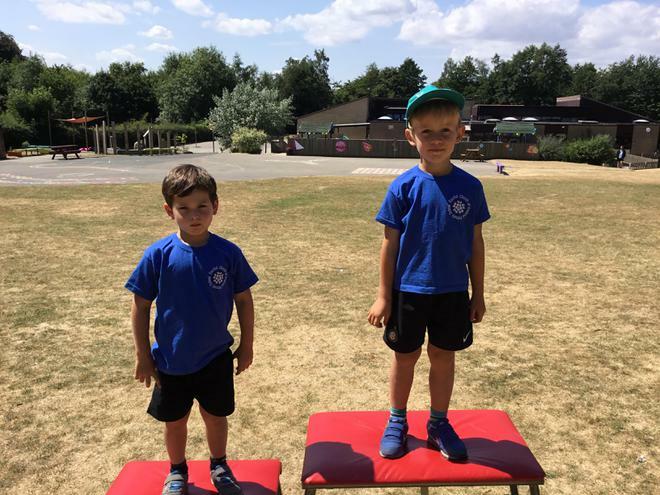 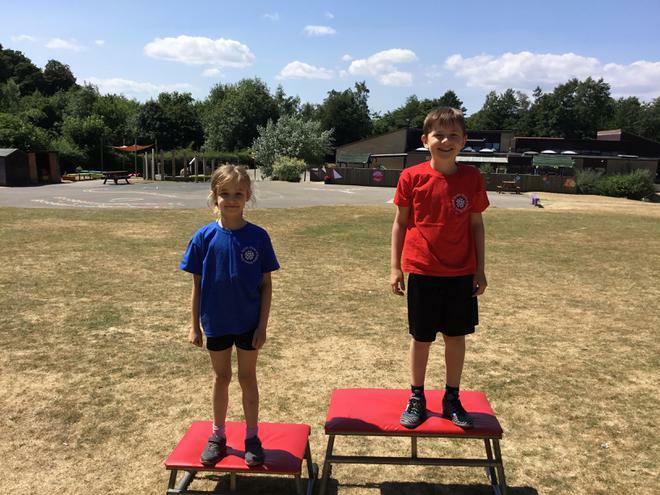 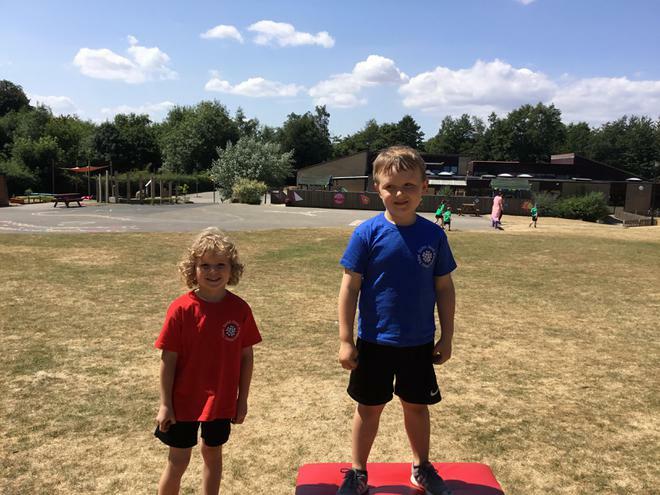 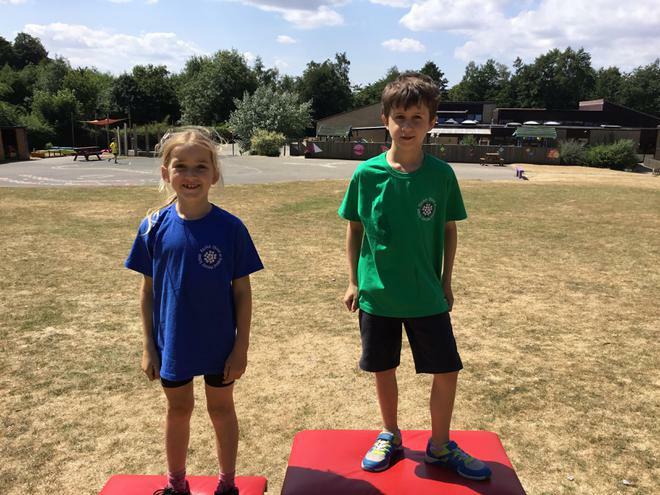 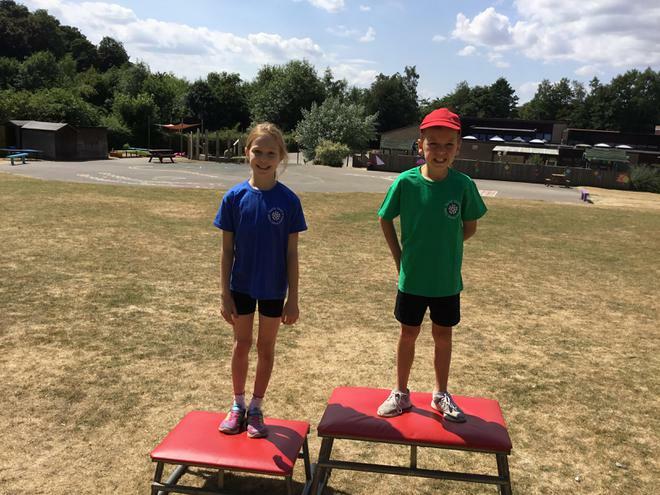 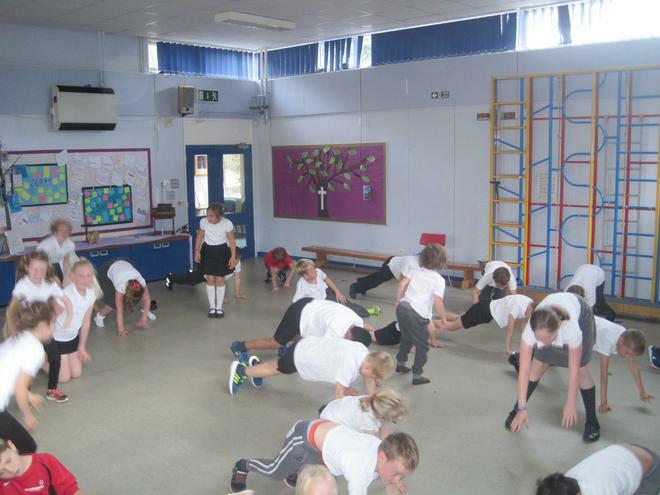 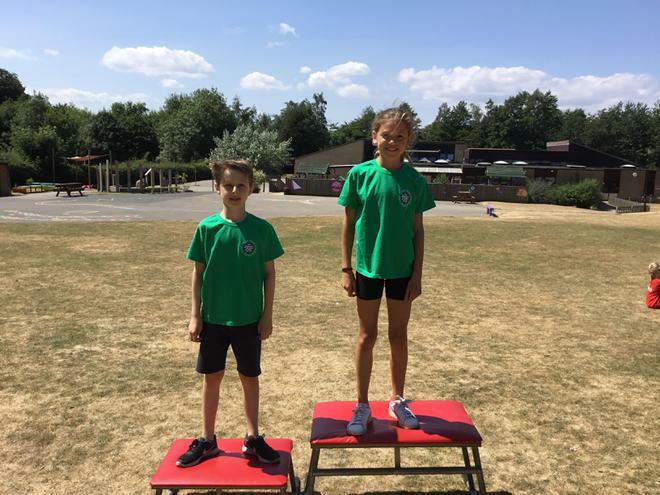 the first day of the national schools fitness week. 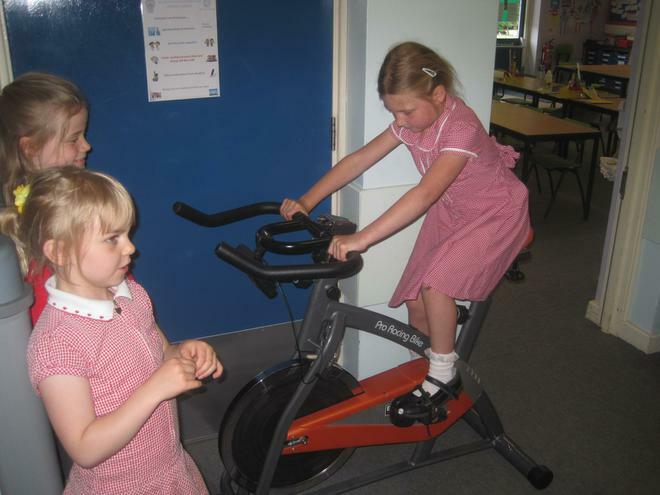 We will be trying these in our classes but feel free to have a go at home.. 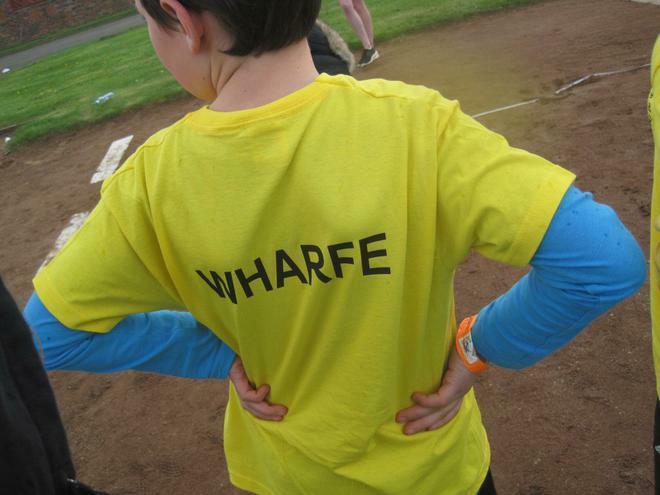 Thank you to everybody who has already handed in their sponsorship forms. 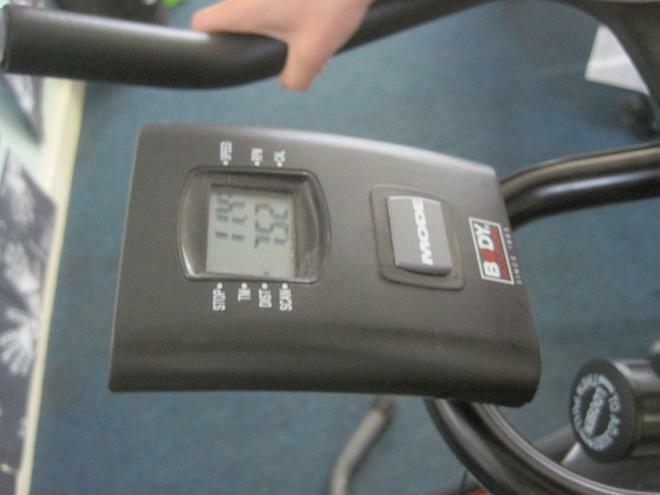 We completed the full 317km as a school so well done and fantastic efforts to all of those involved. 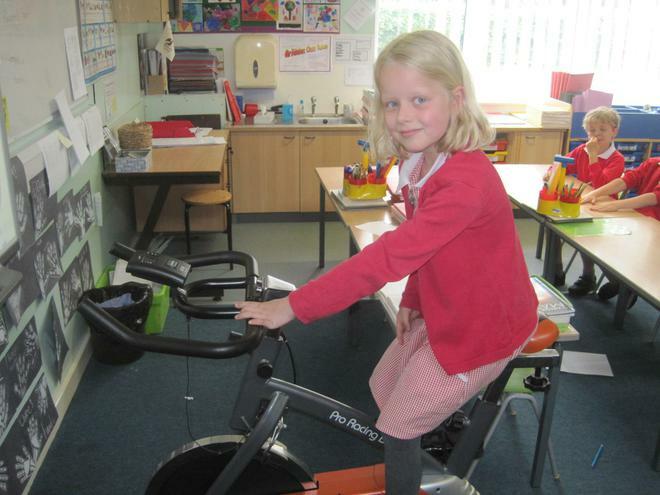 Keep an eye out for the Tour de France starting on Saturday 7th July. 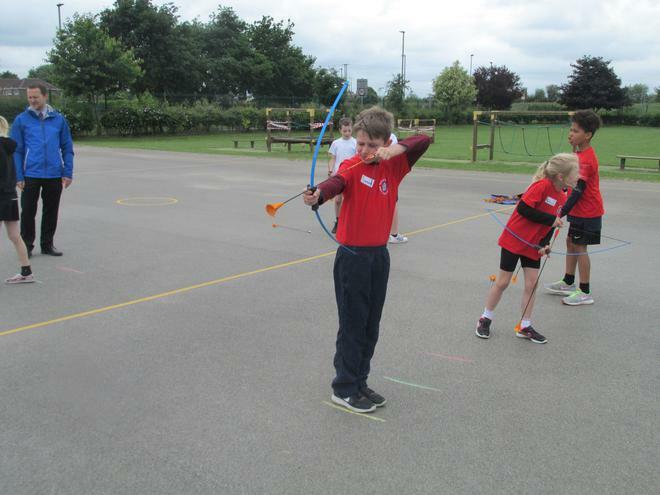 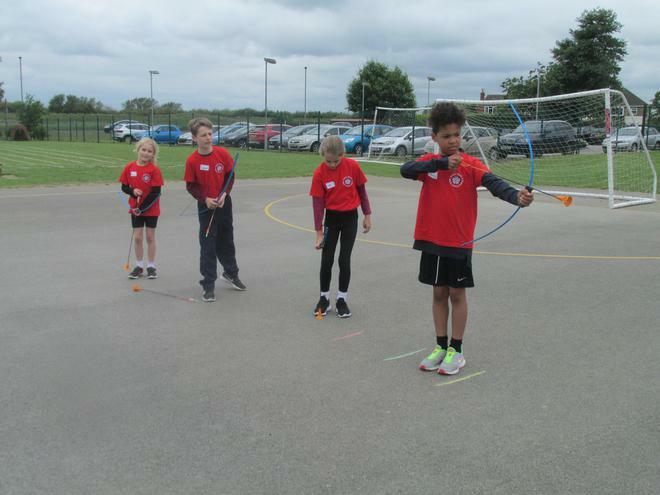 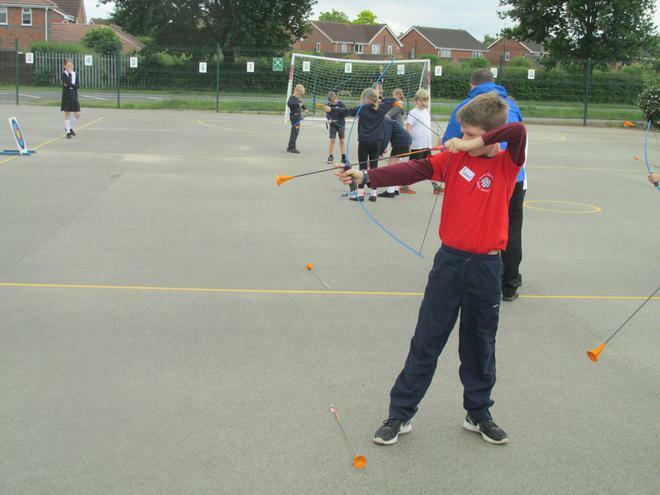 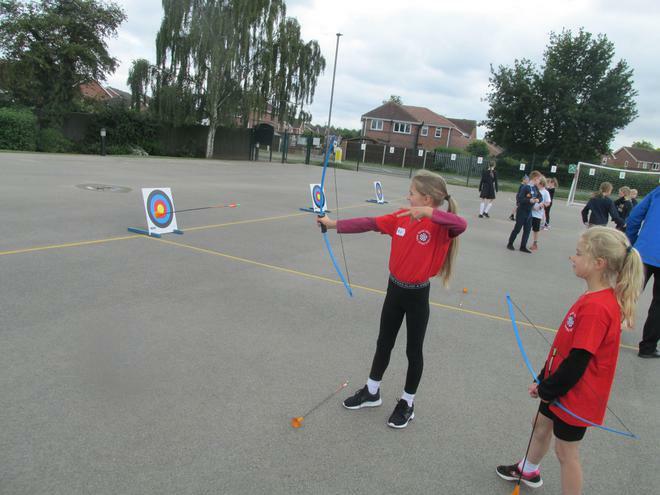 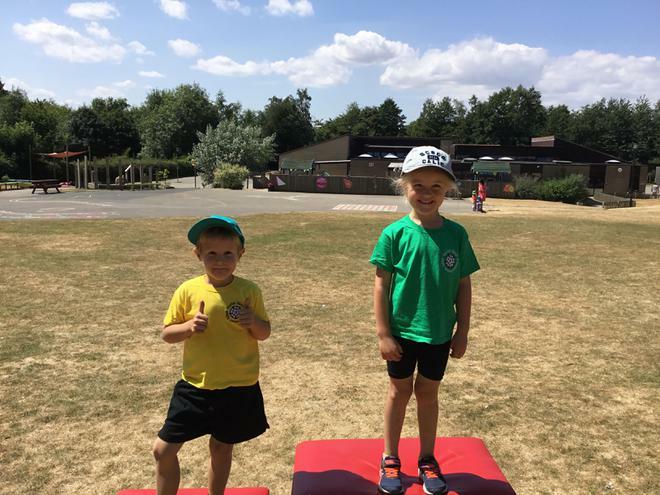 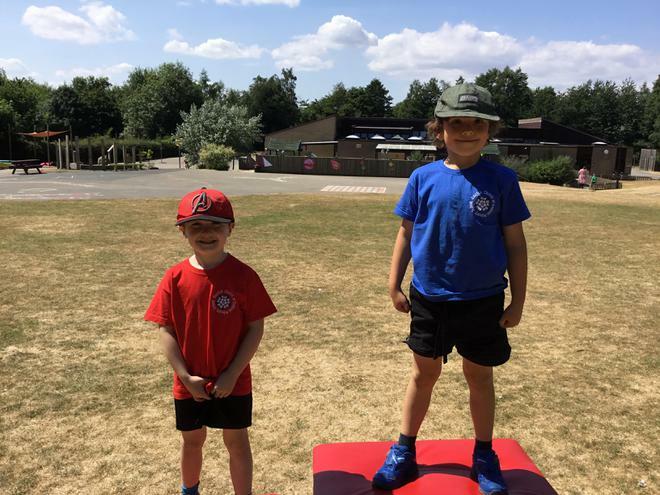 Archery champions at Barlby C.P. 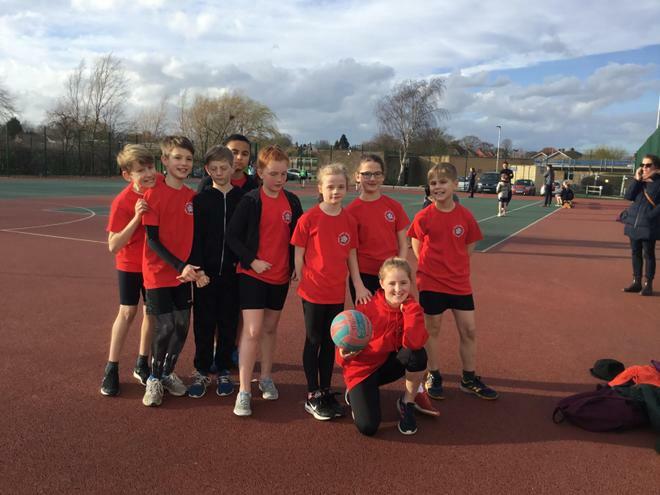 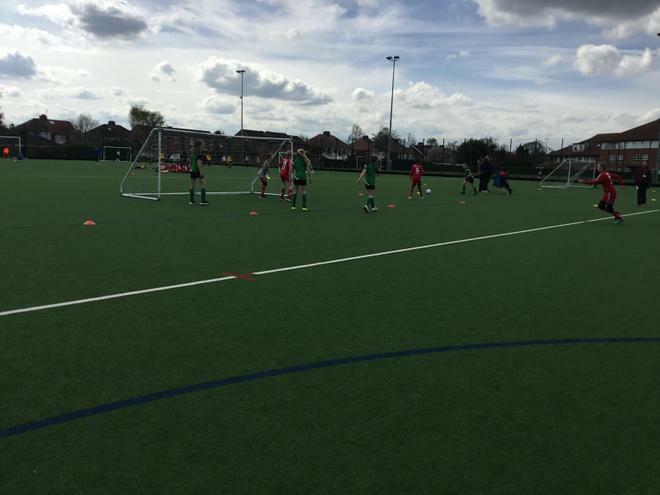 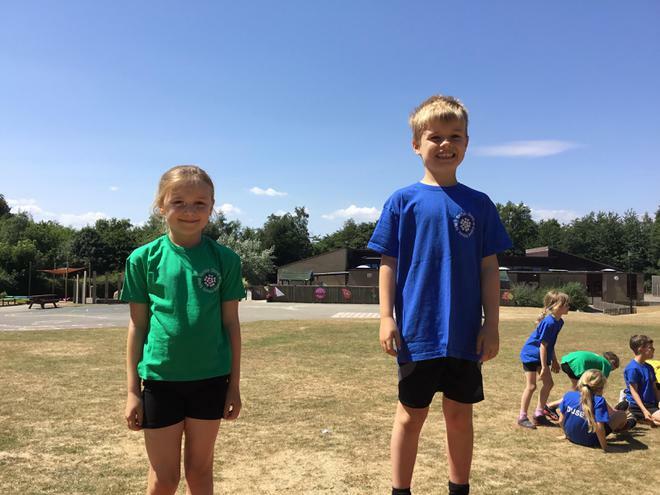 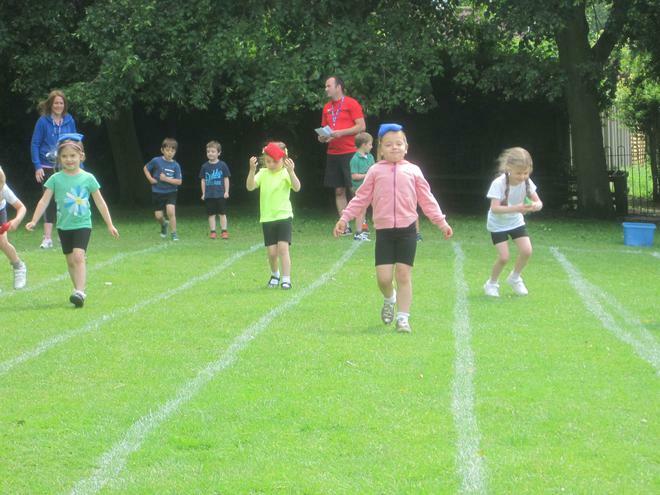 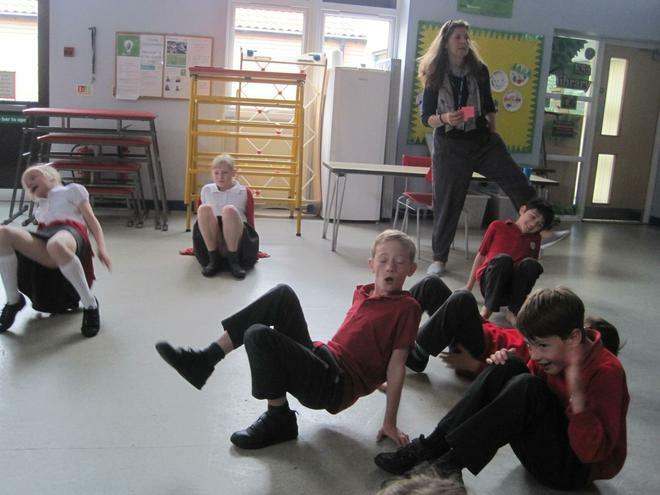 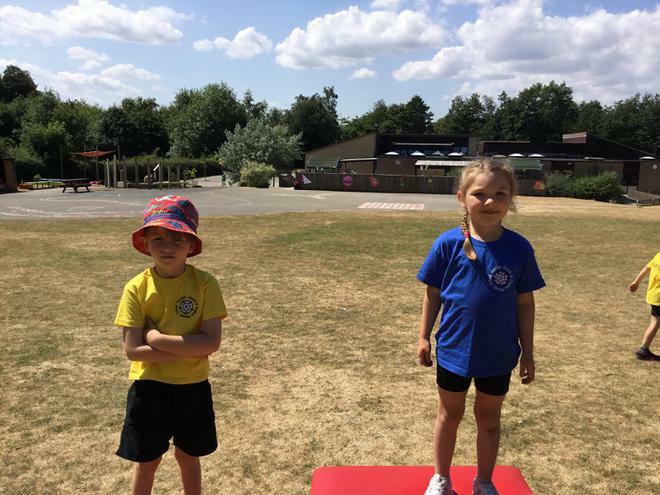 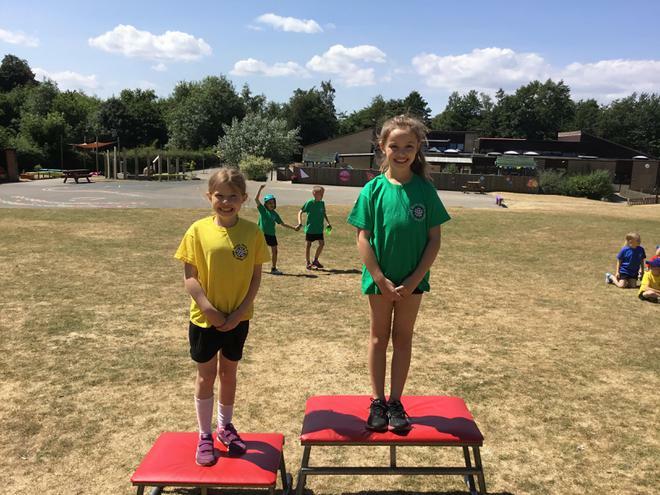 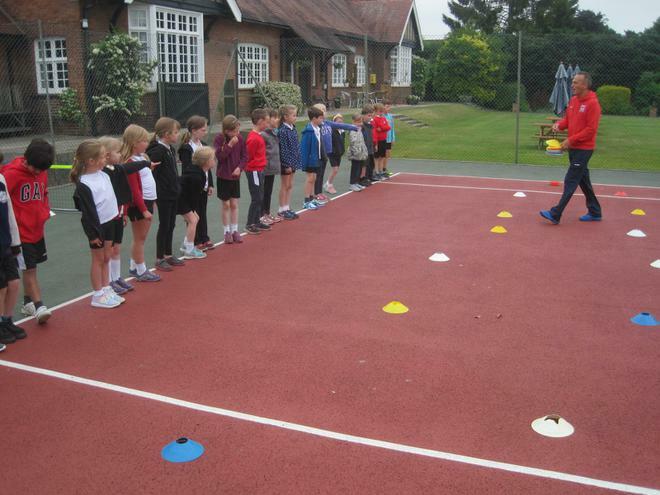 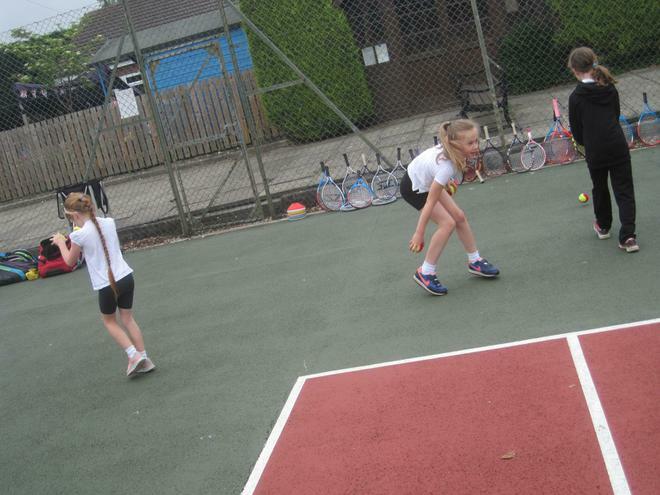 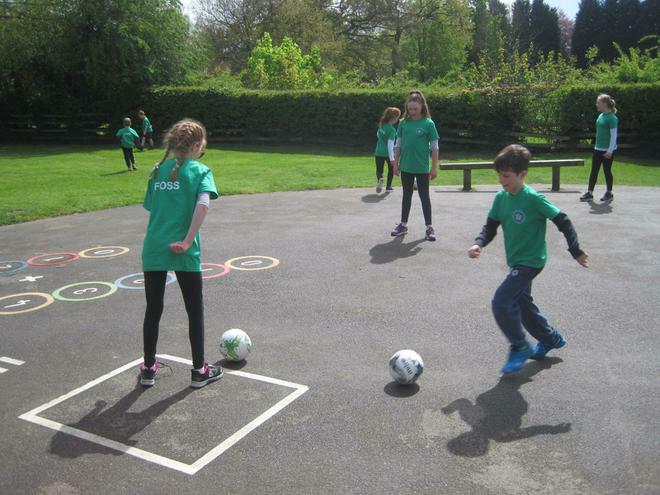 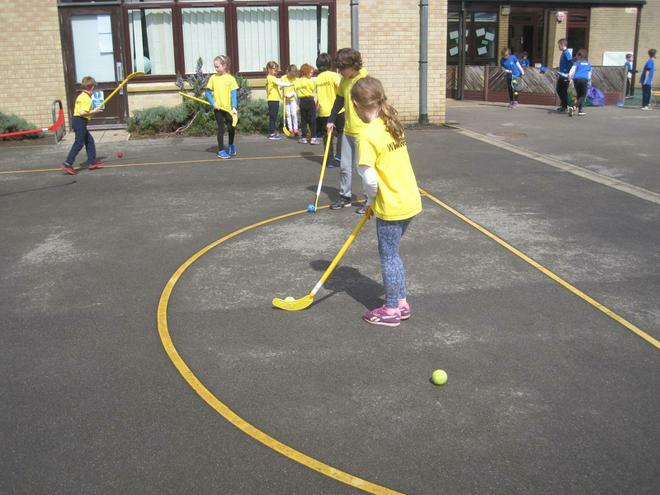 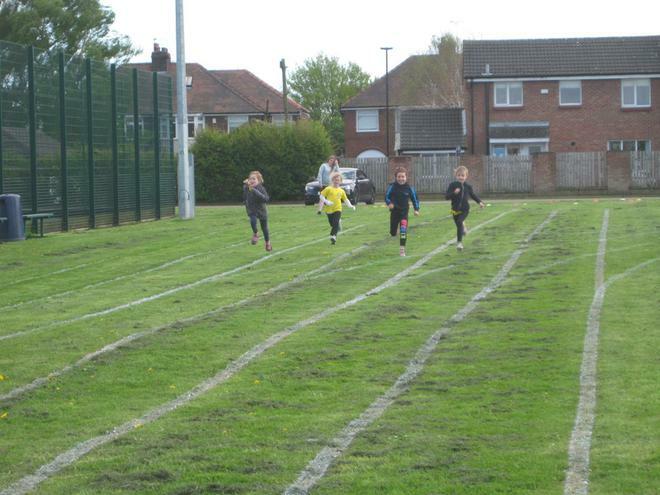 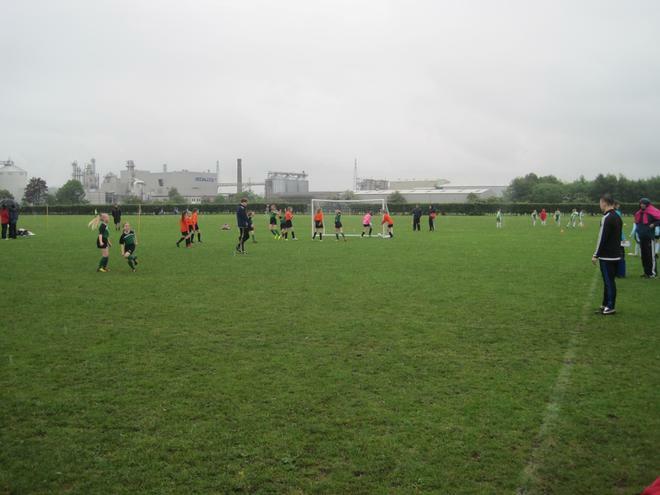 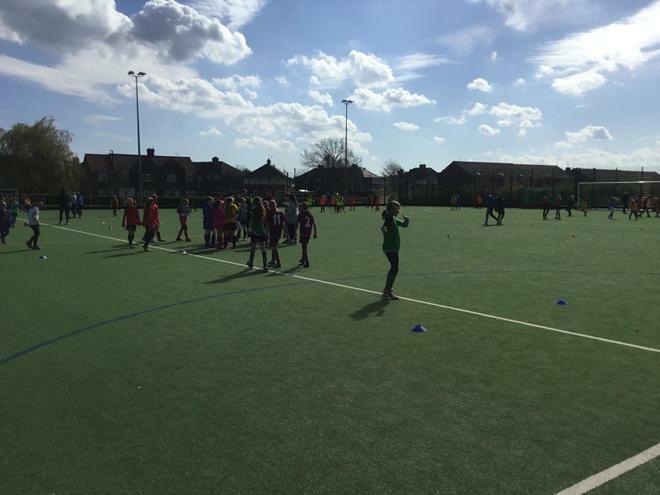 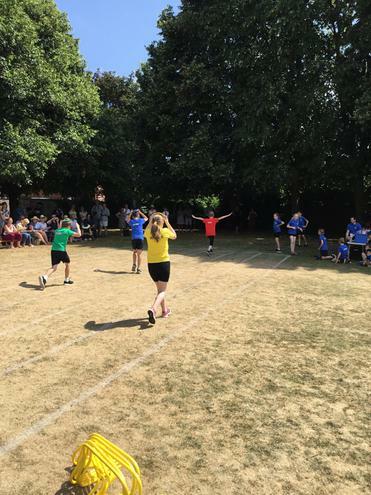 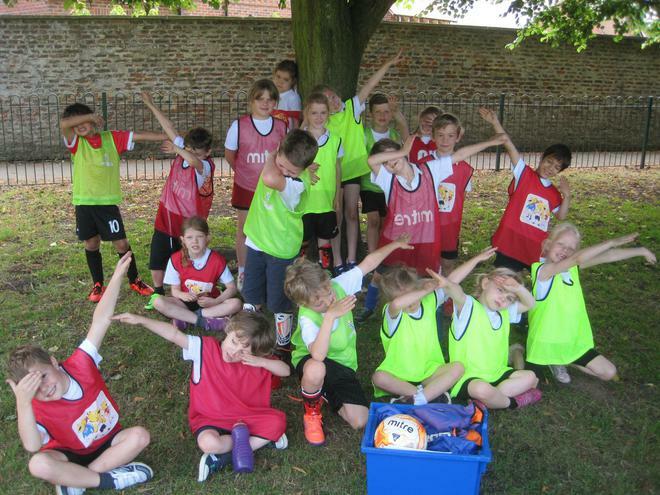 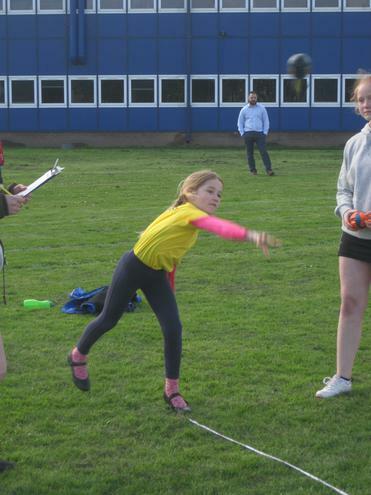 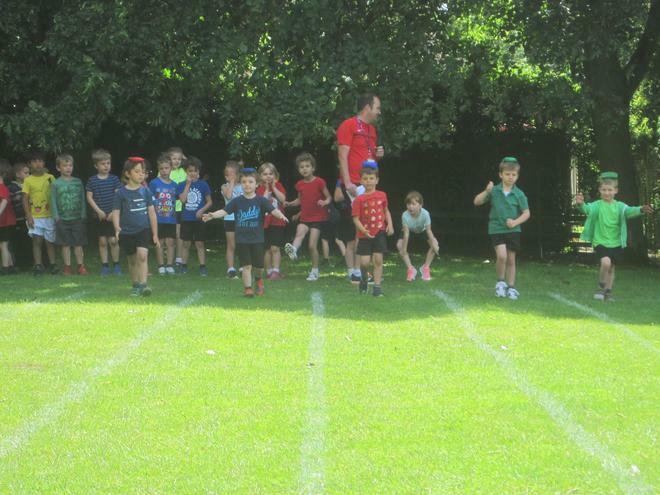 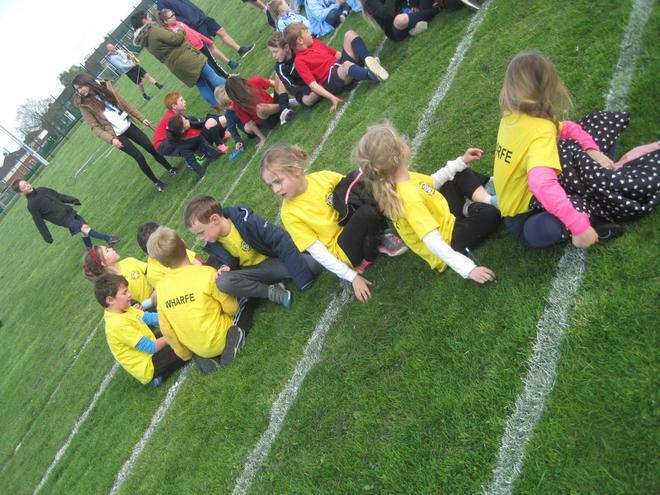 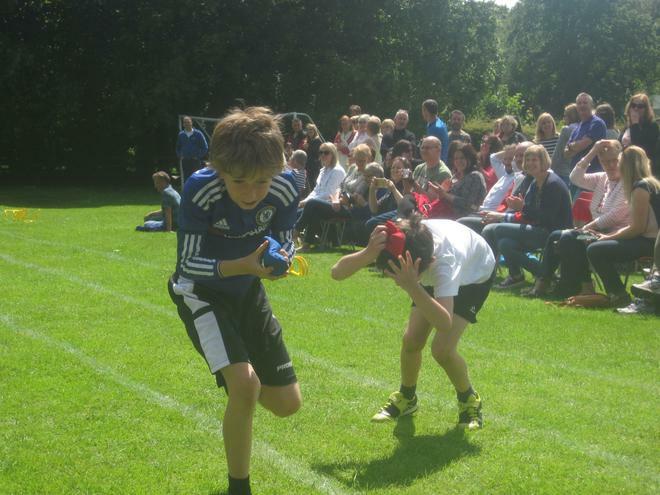 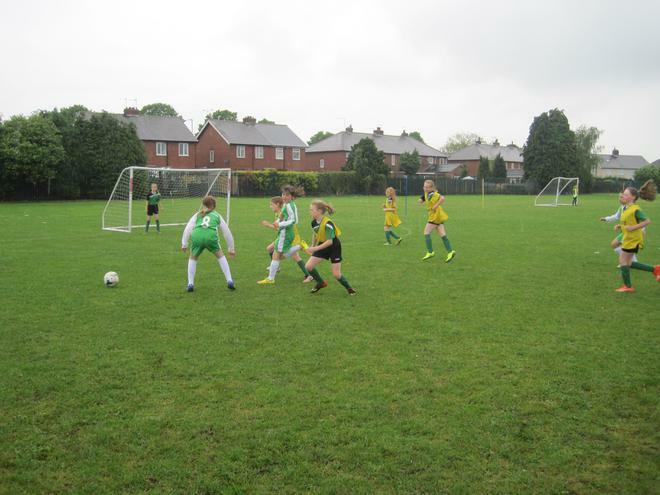 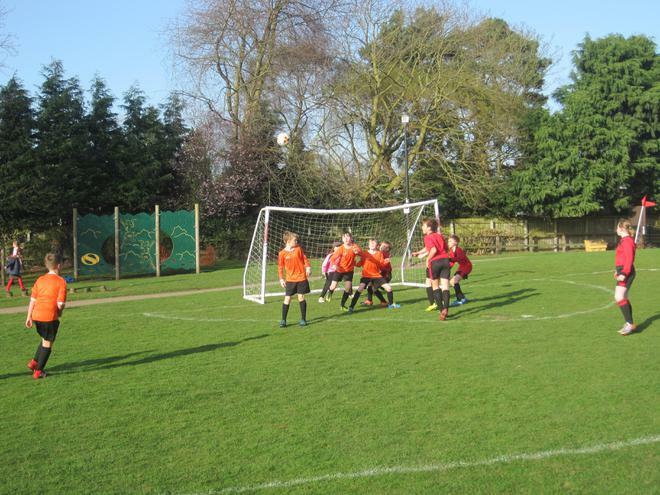 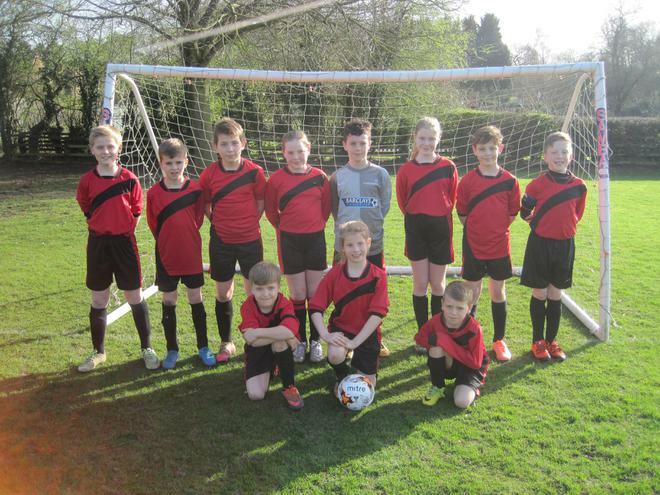 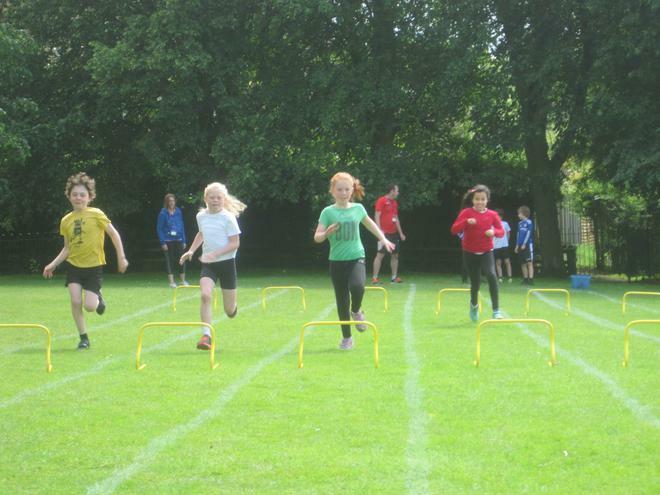 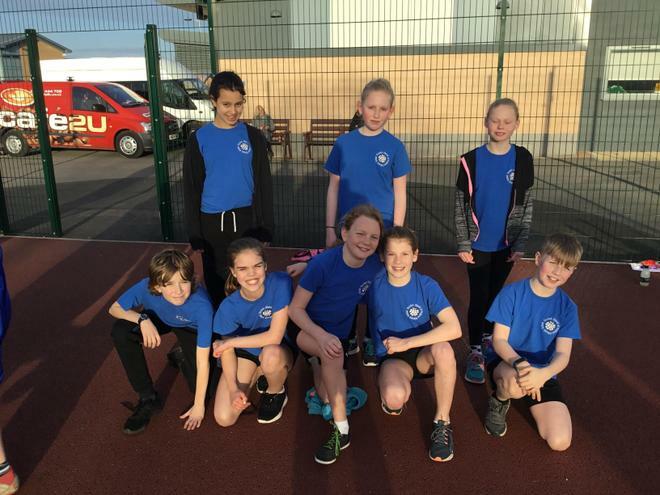 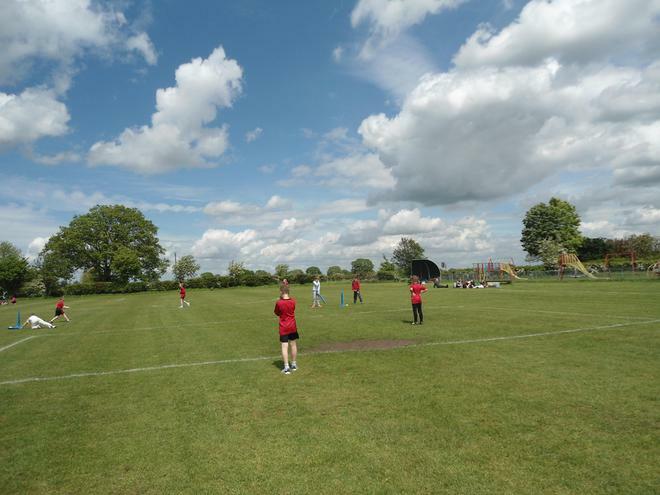 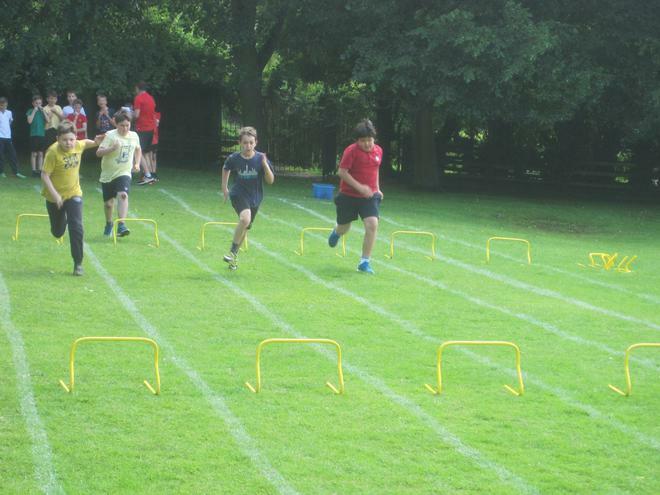 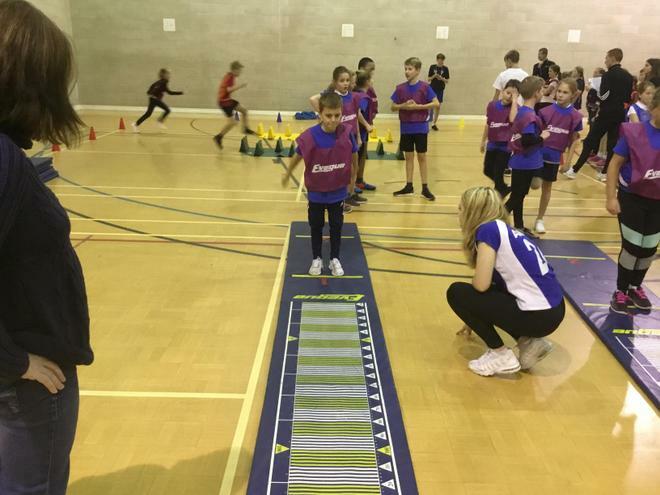 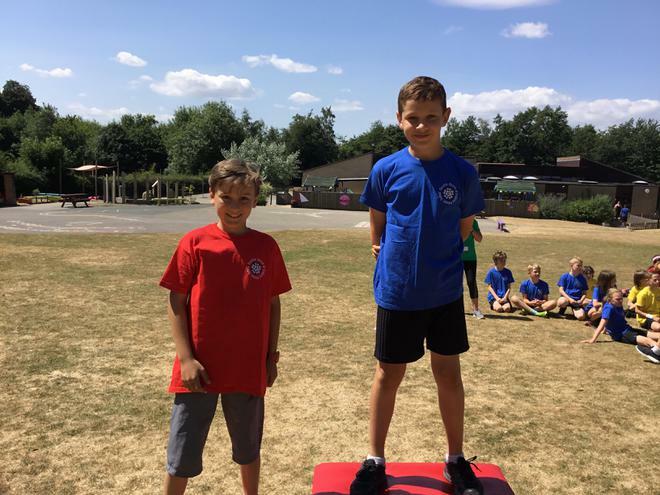 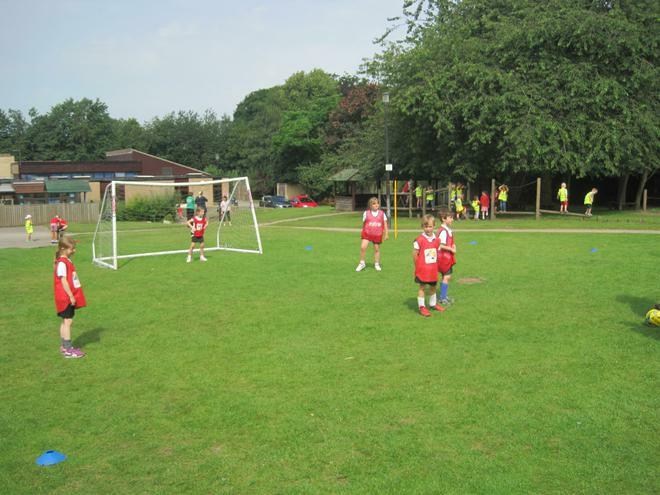 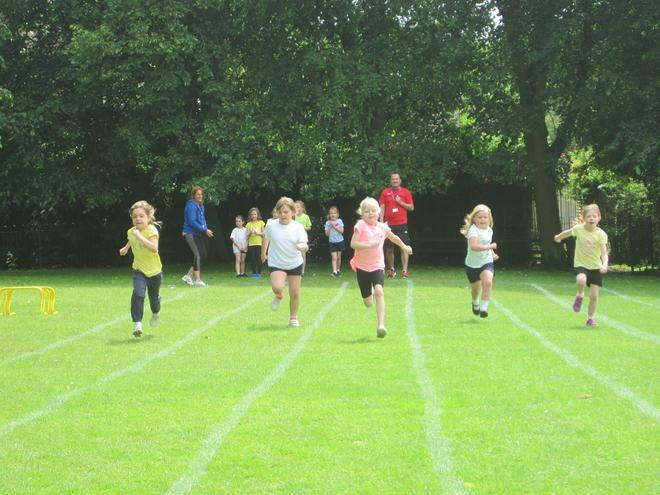 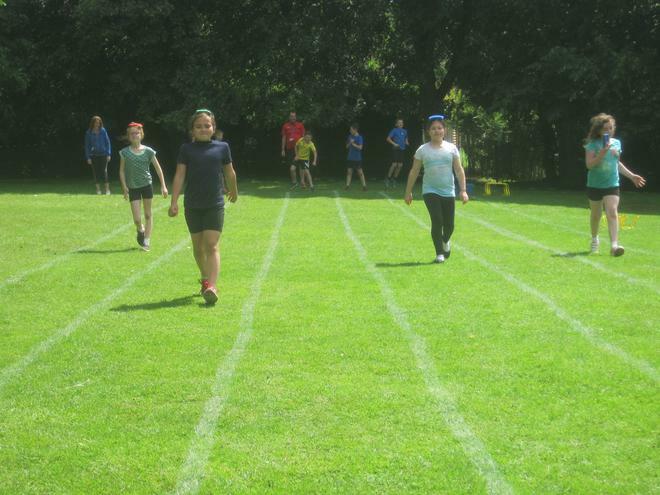 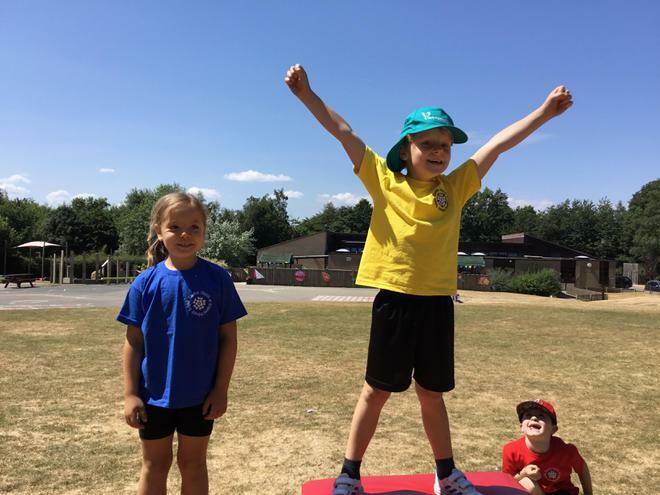 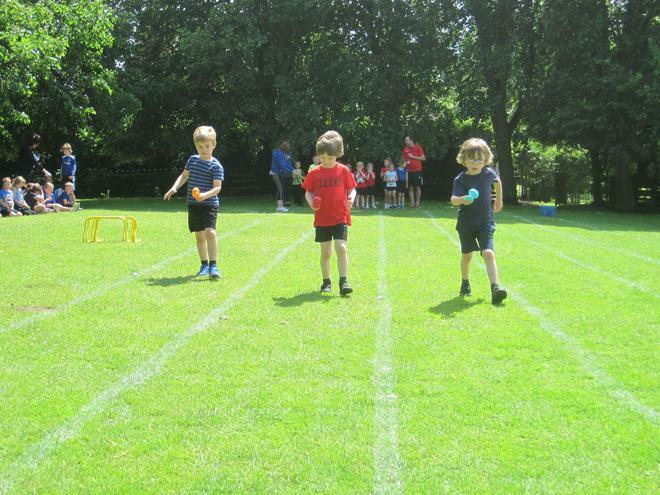 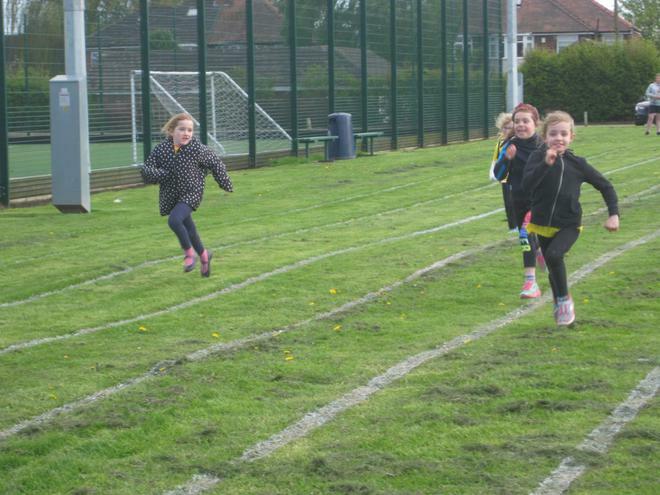 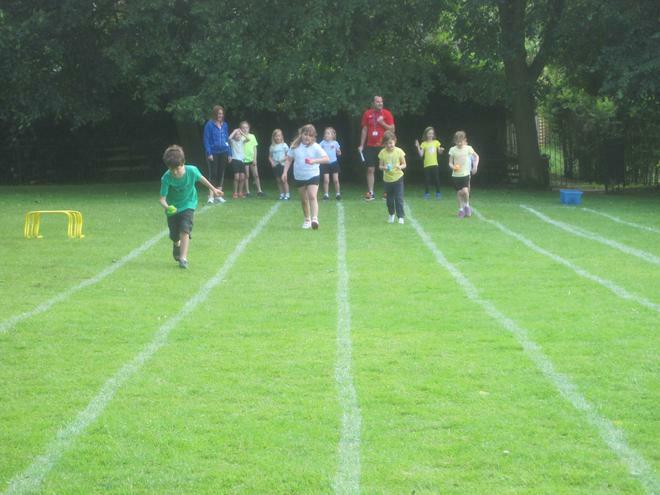 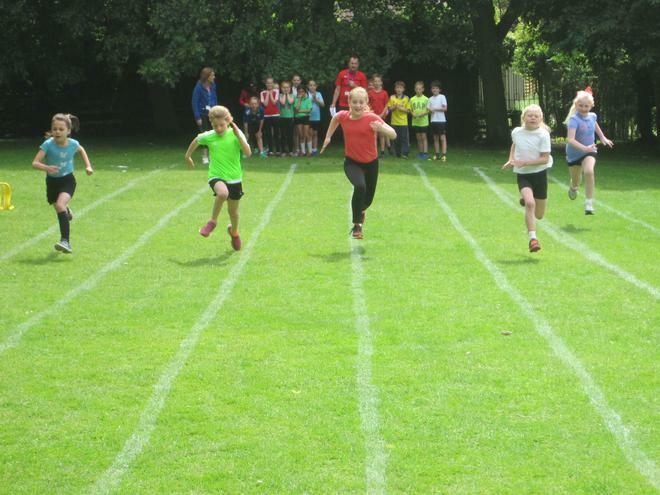 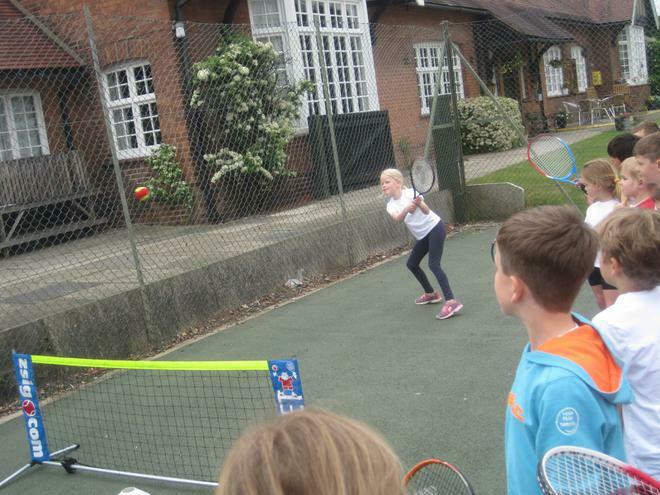 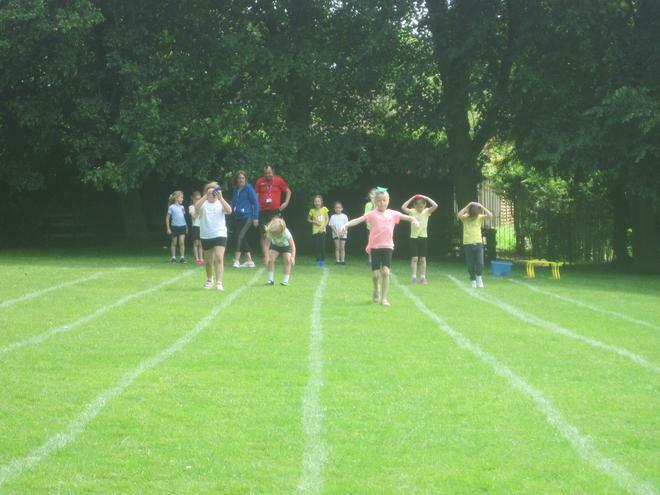 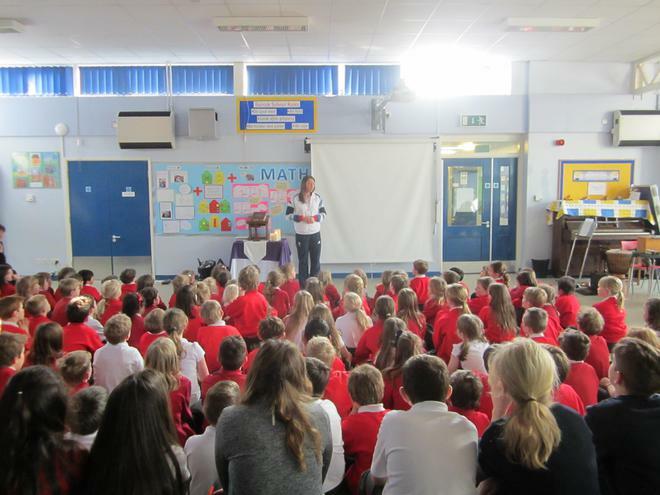 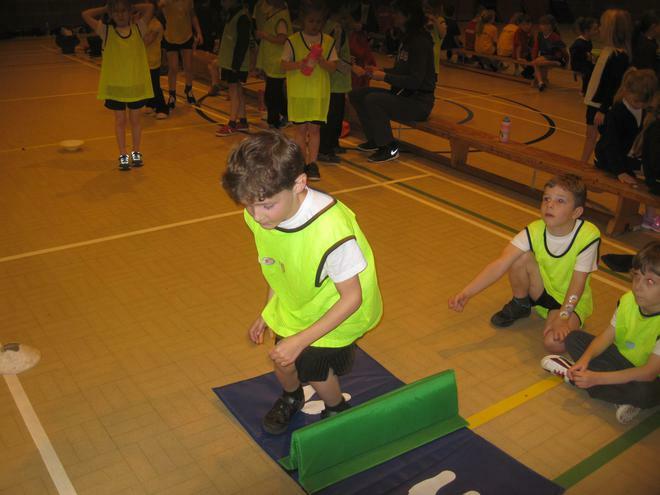 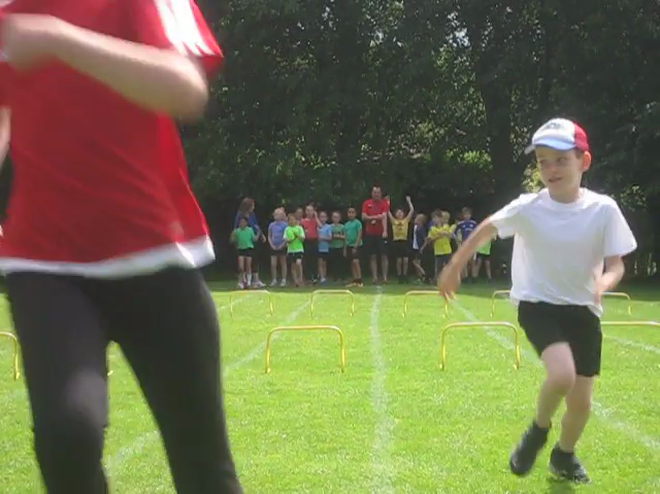 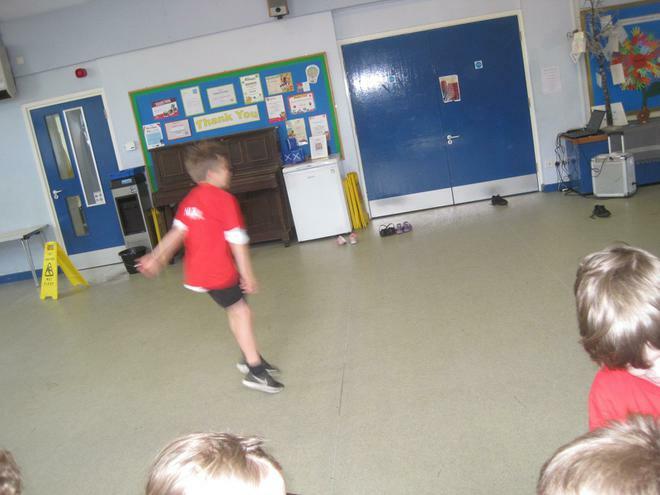 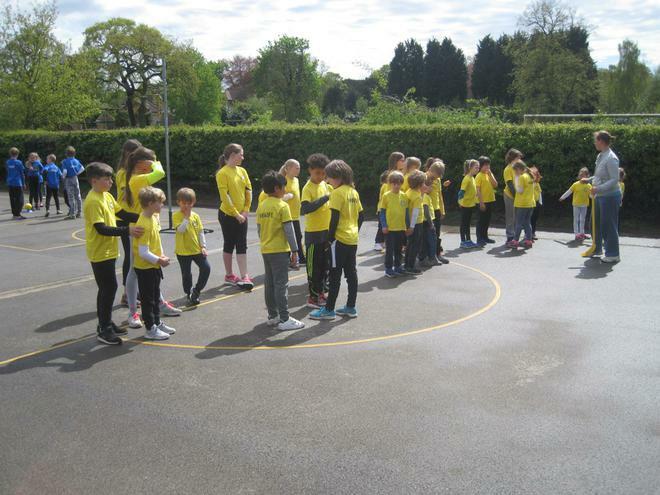 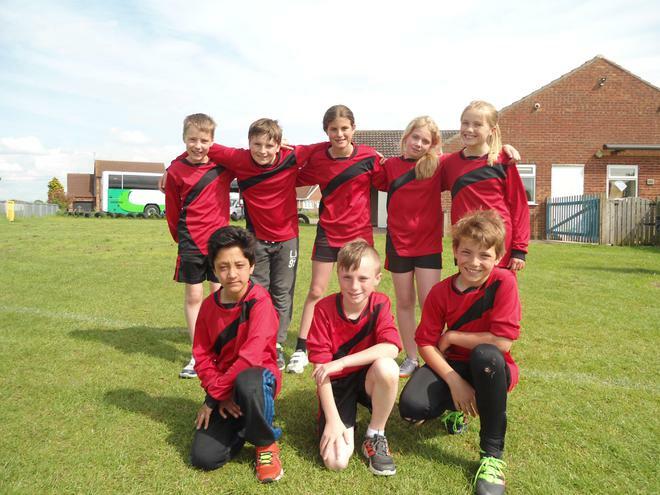 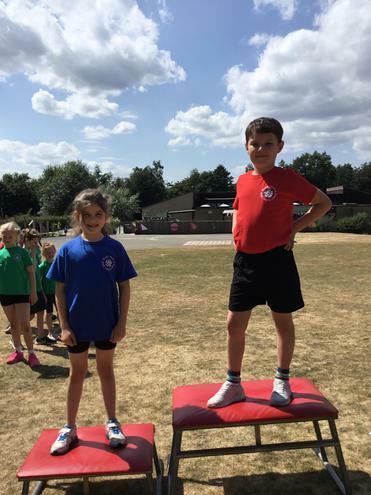 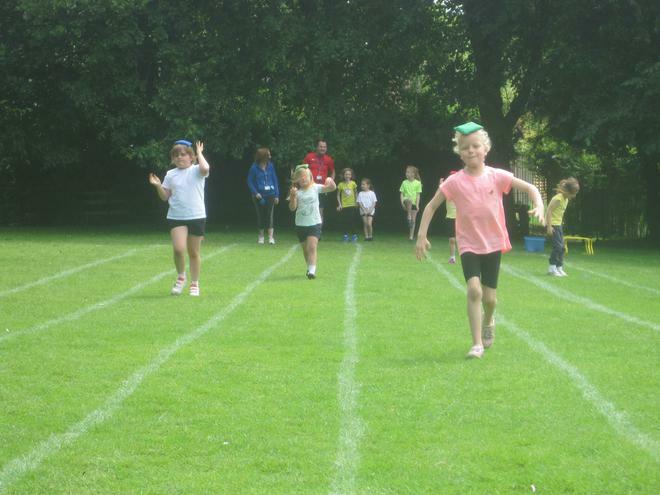 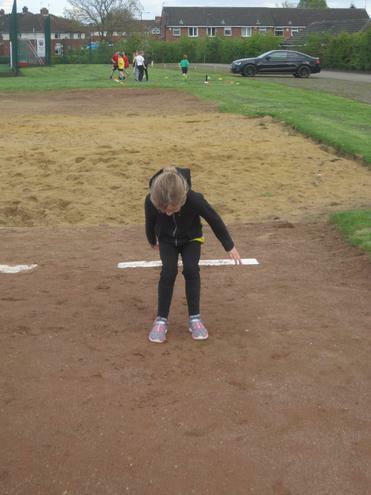 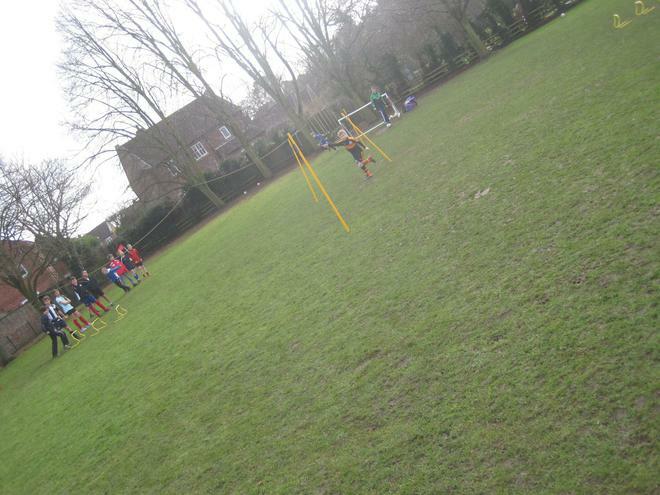 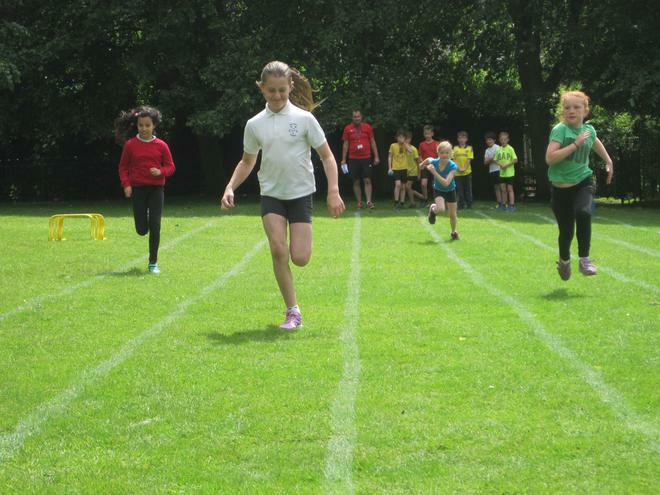 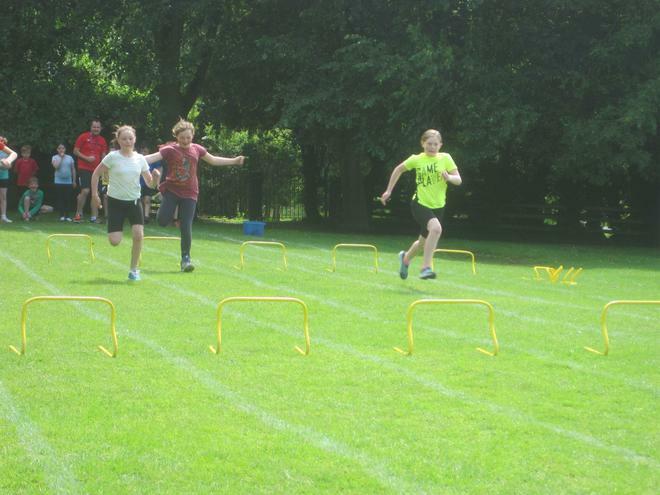 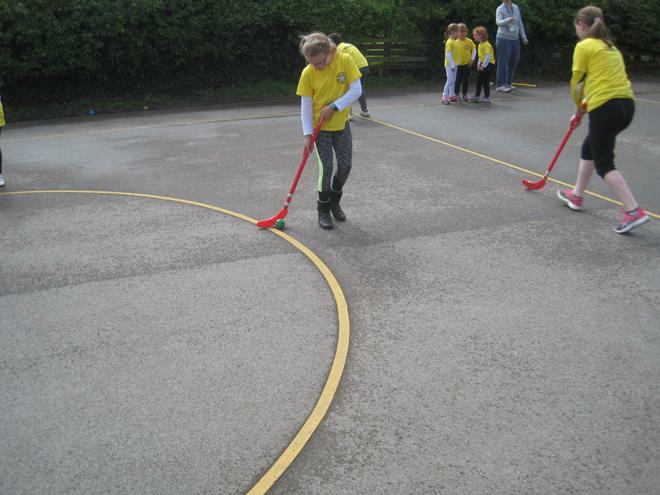 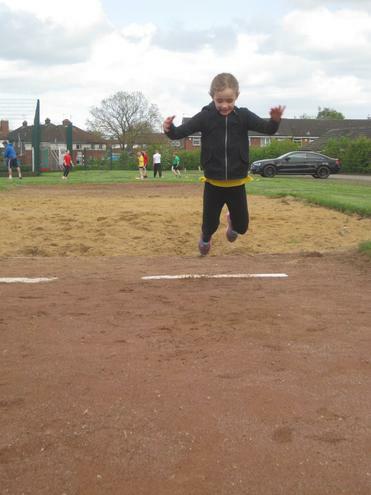 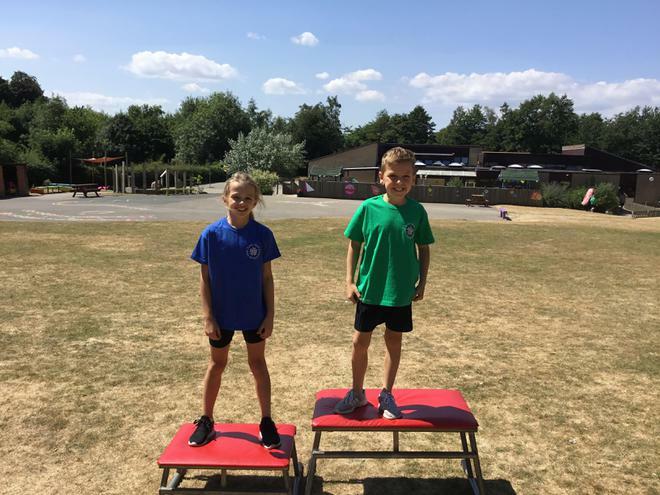 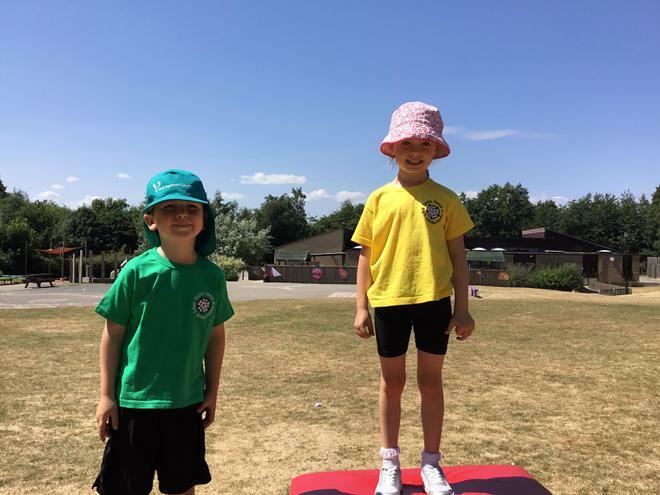 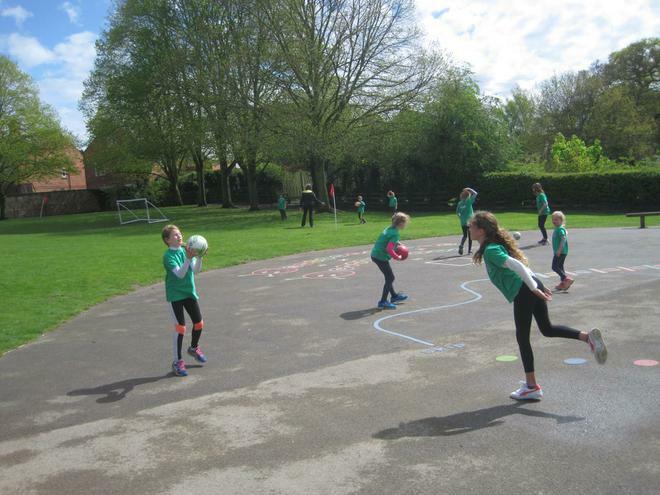 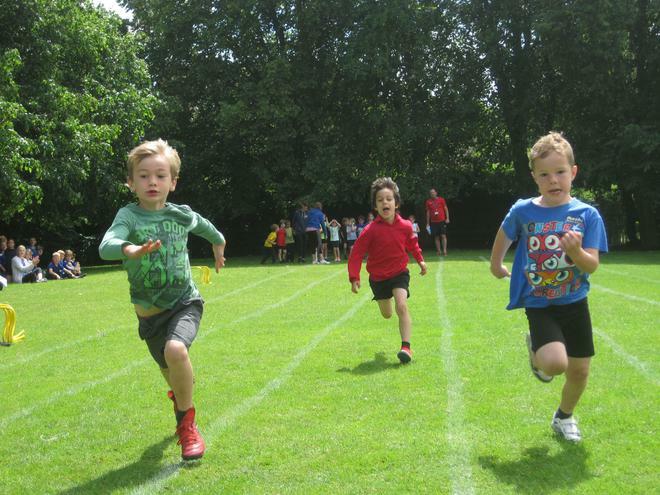 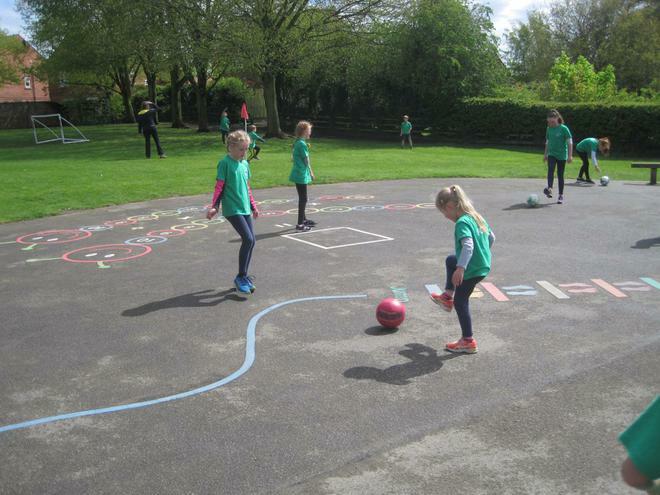 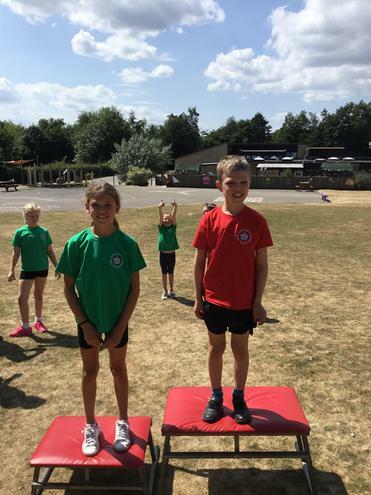 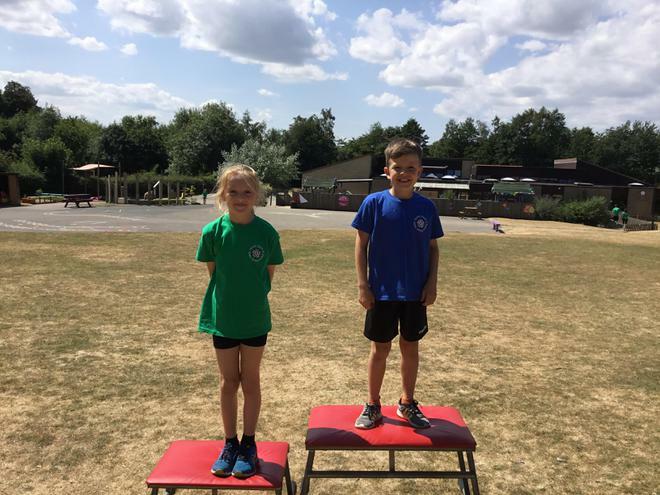 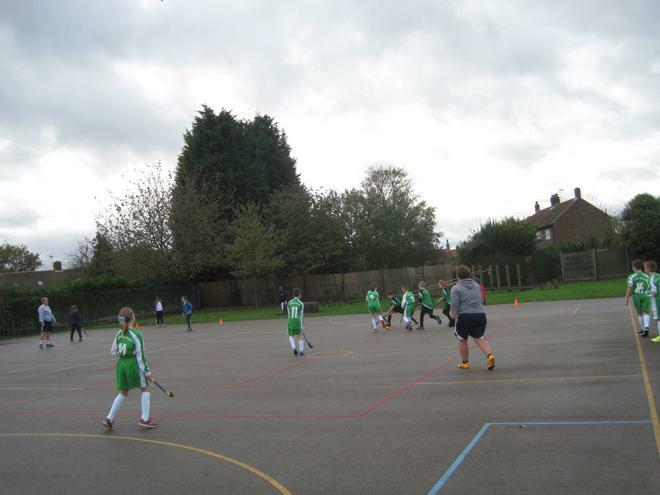 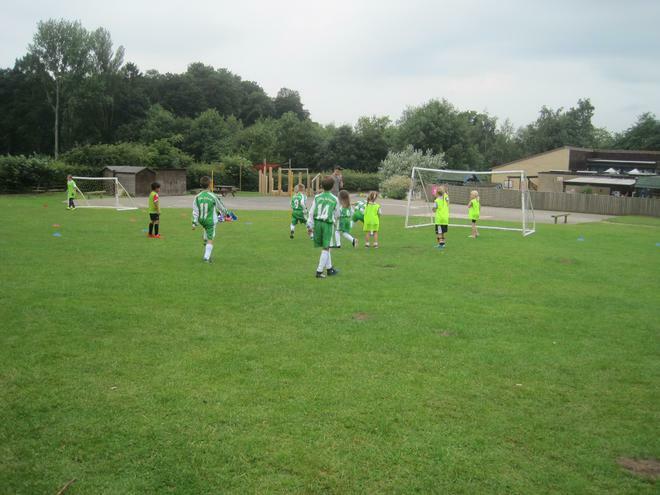 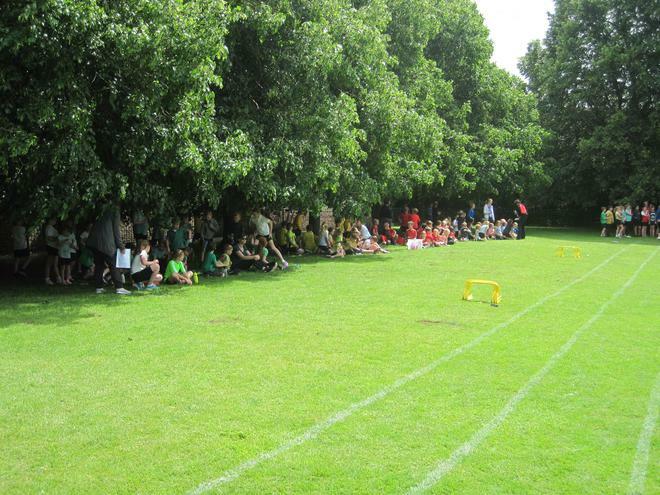 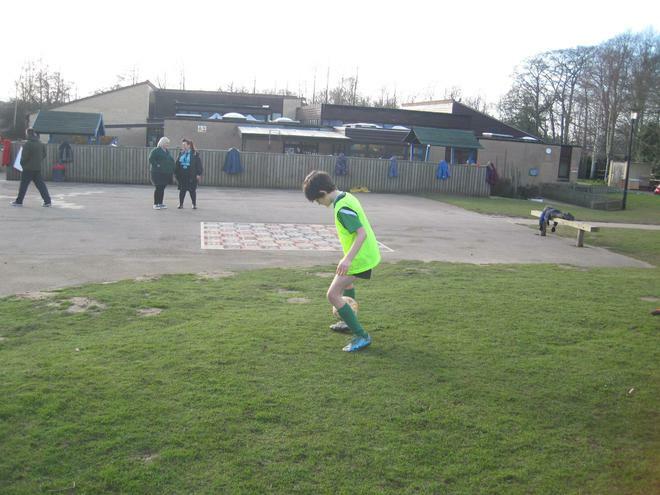 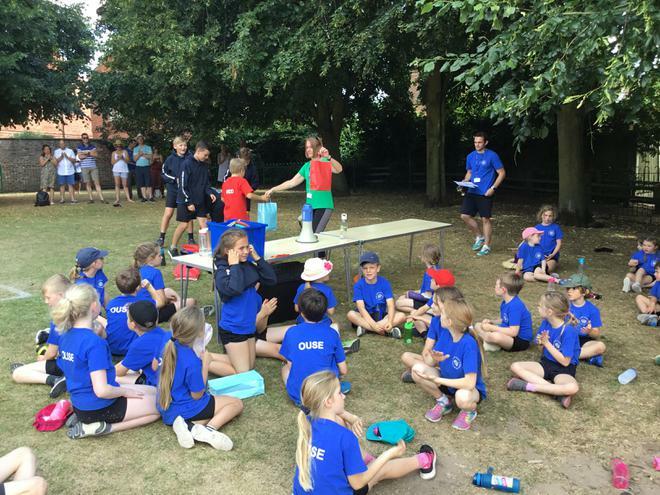 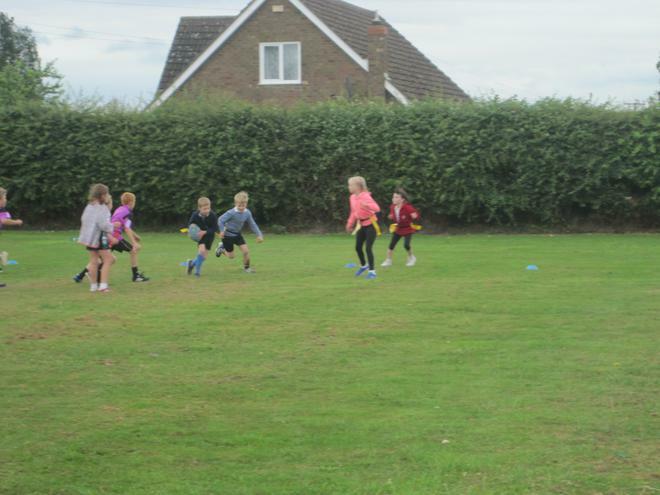 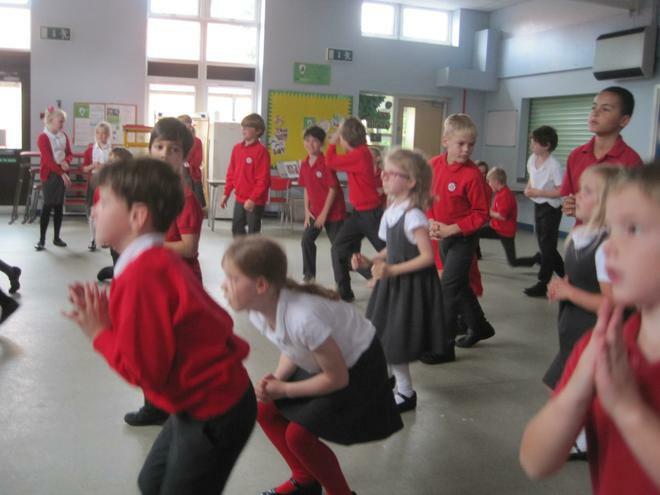 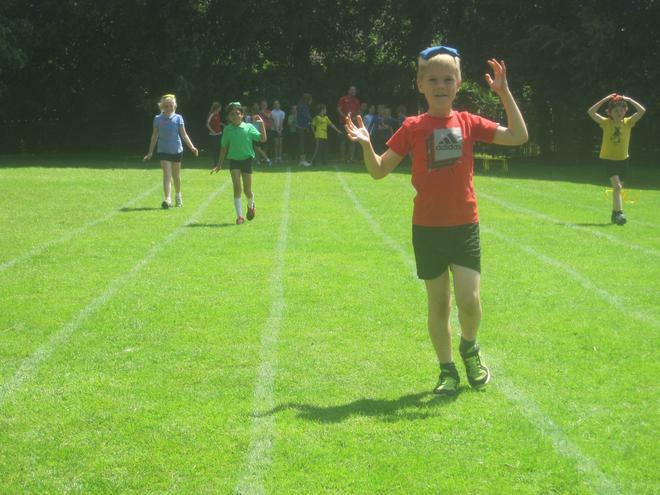 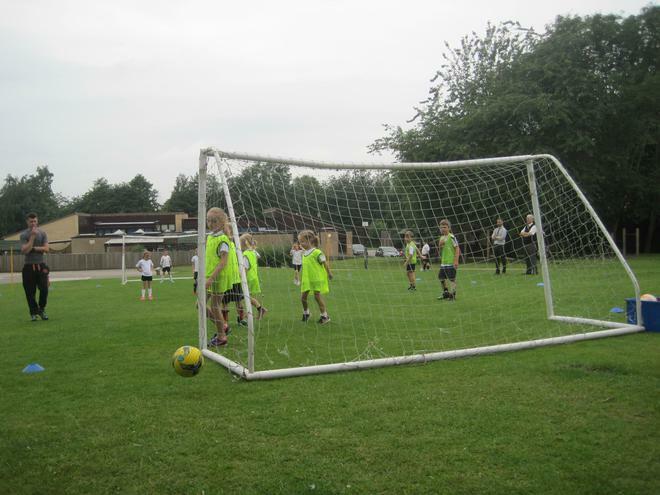 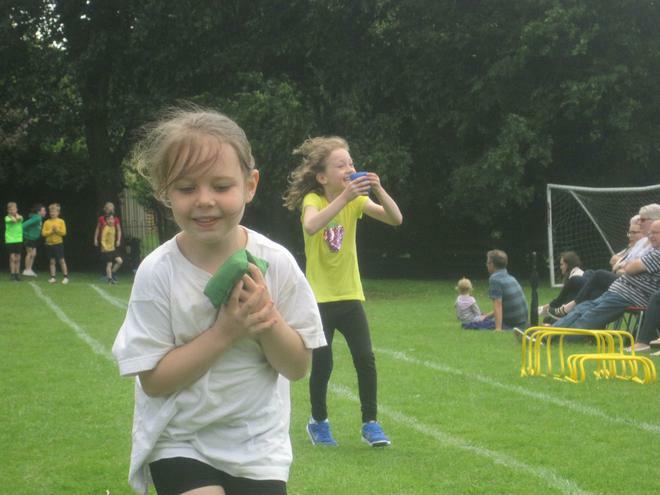 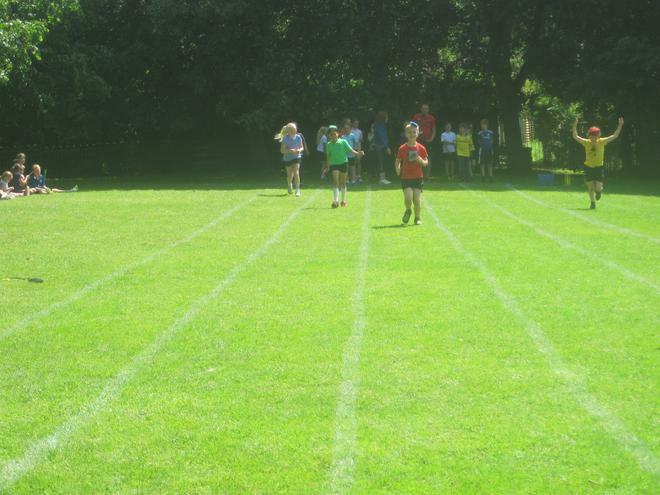 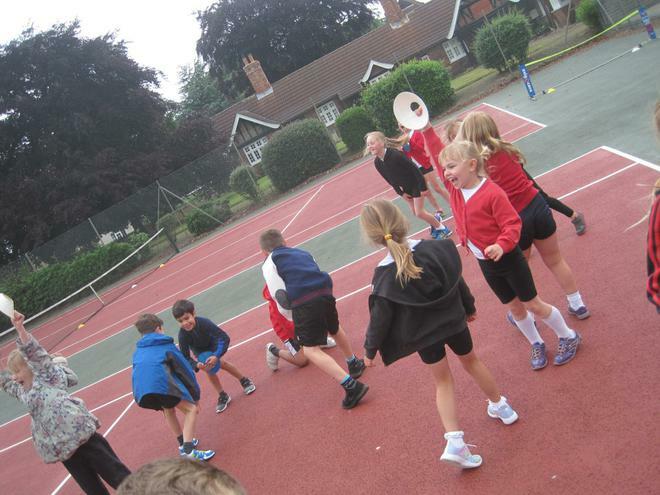 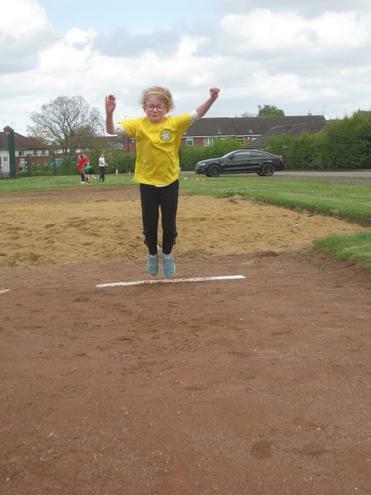 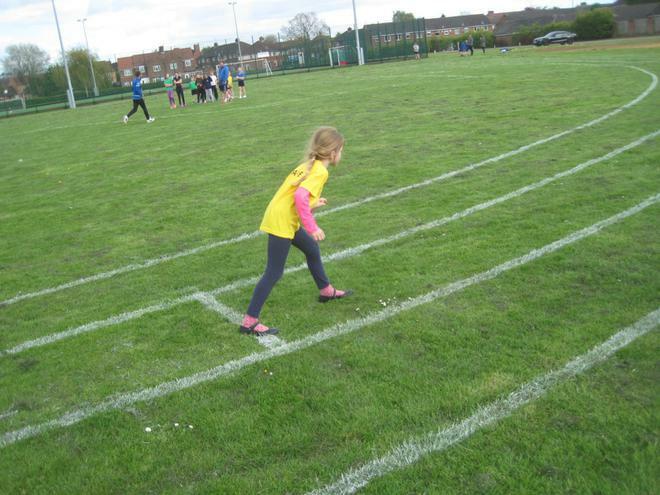 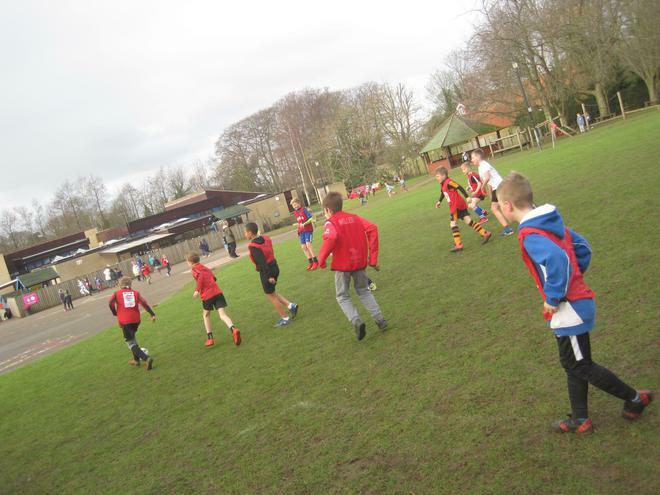 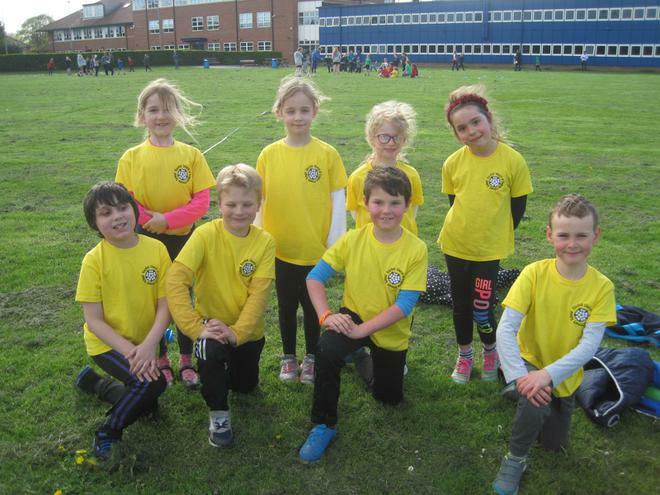 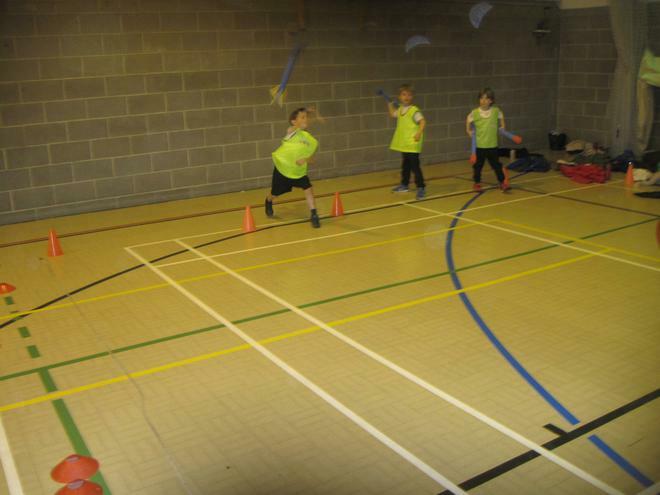 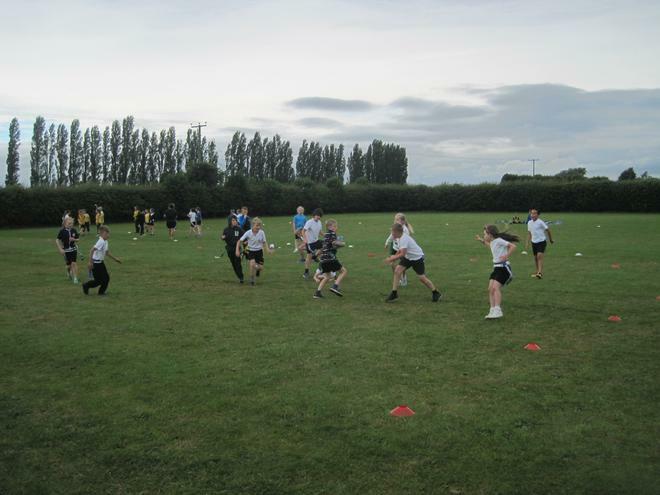 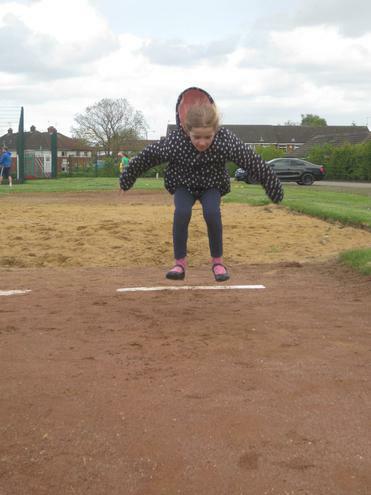 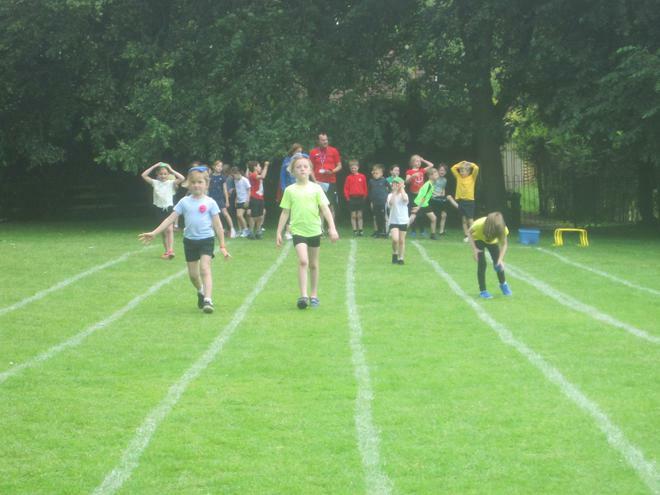 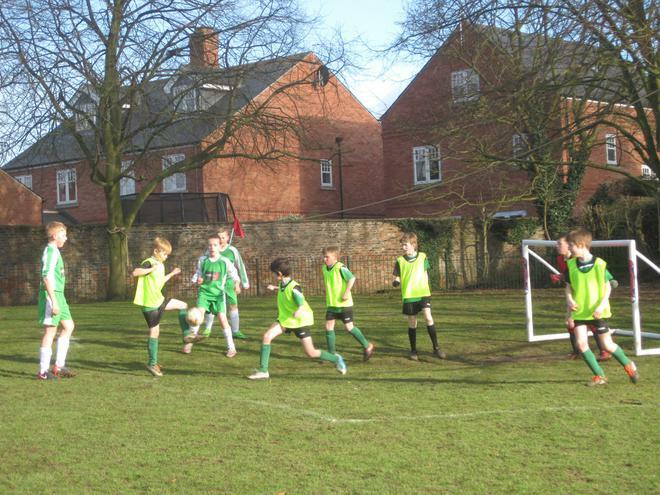 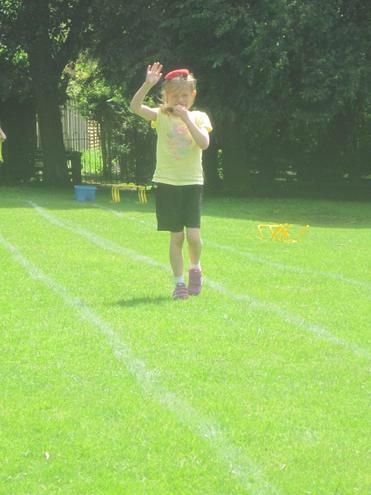 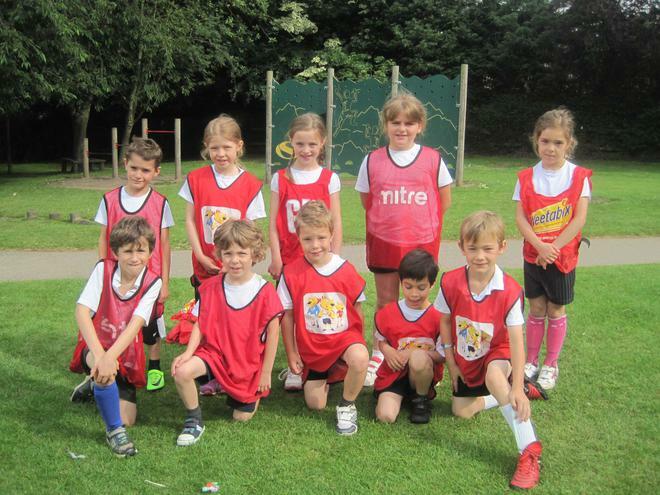 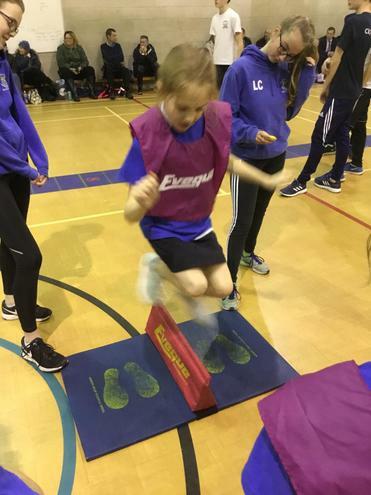 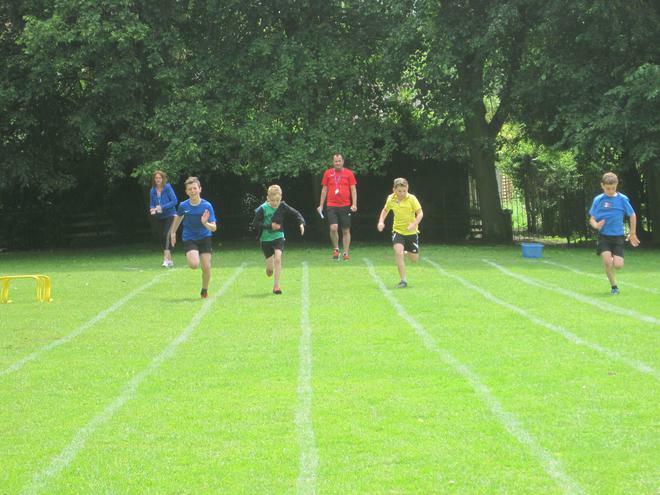 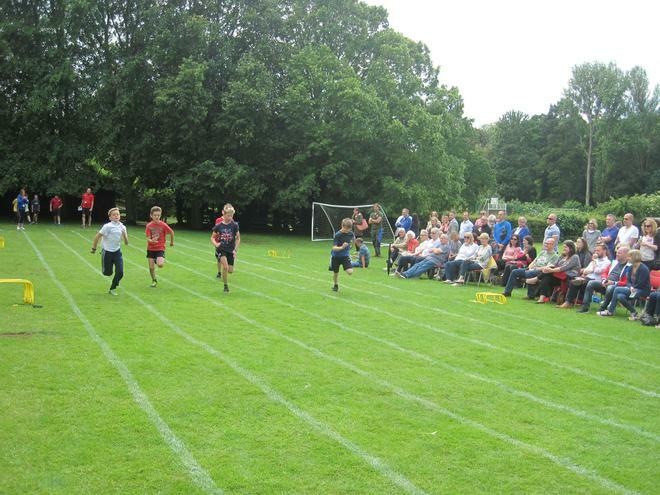 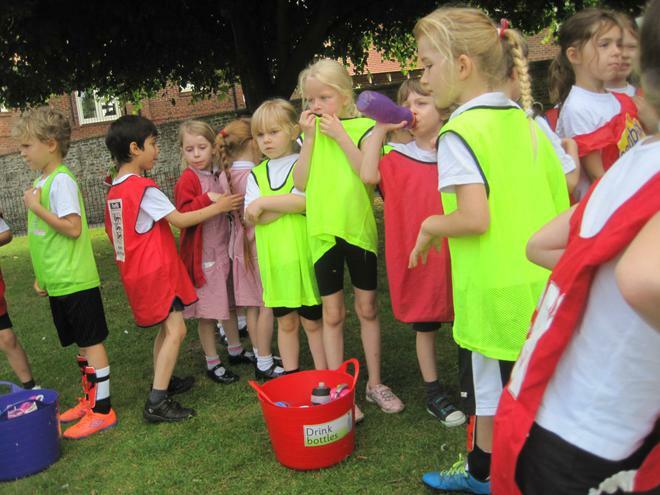 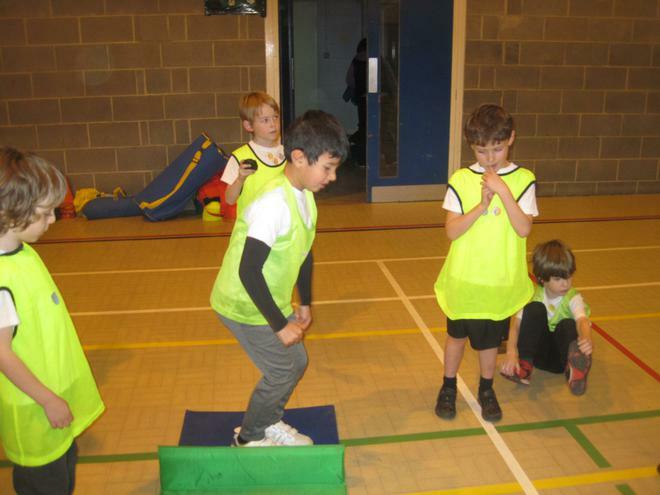 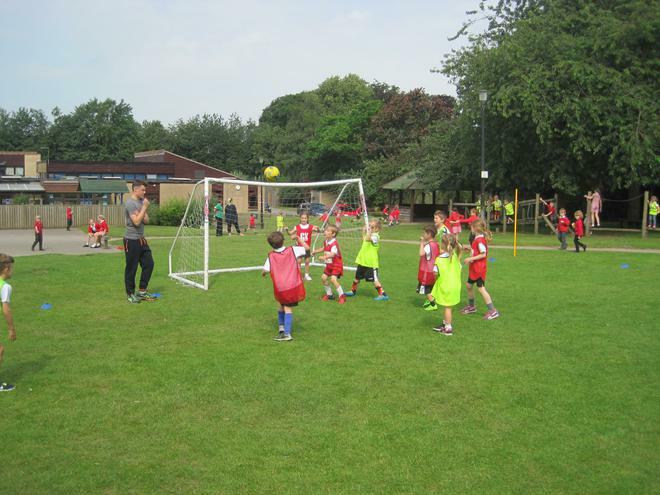 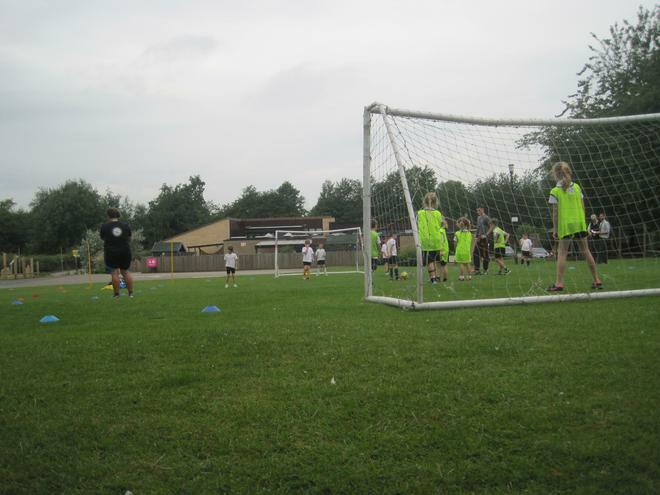 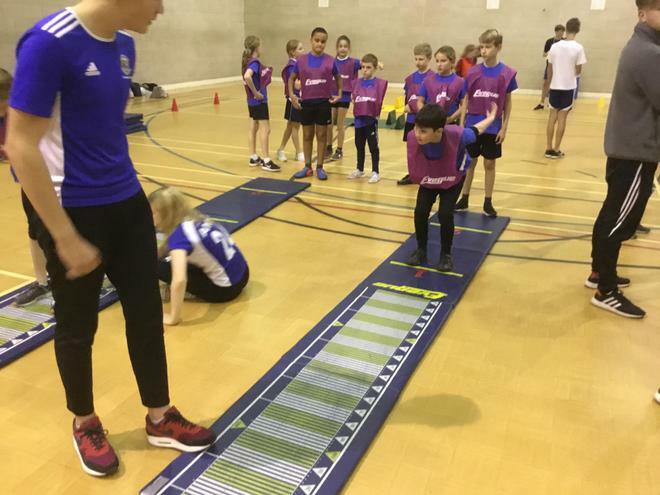 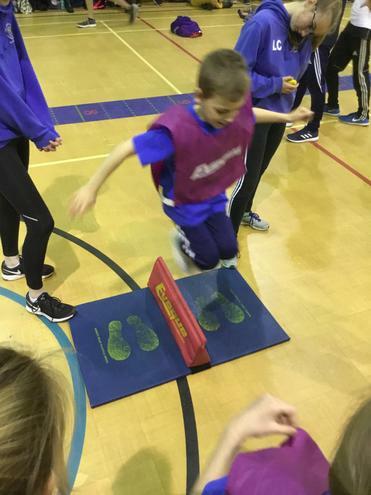 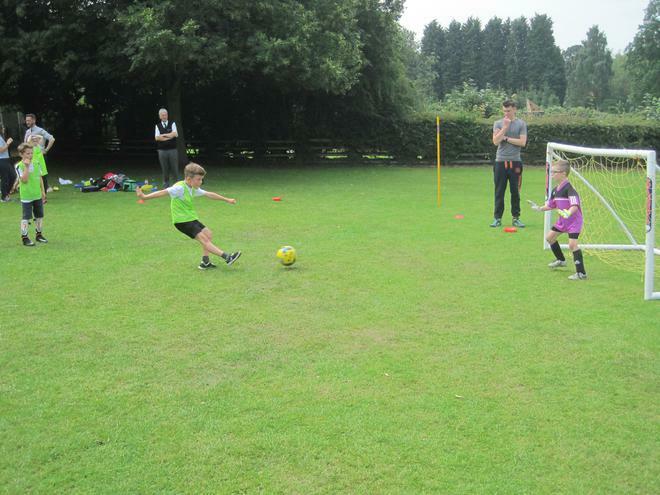 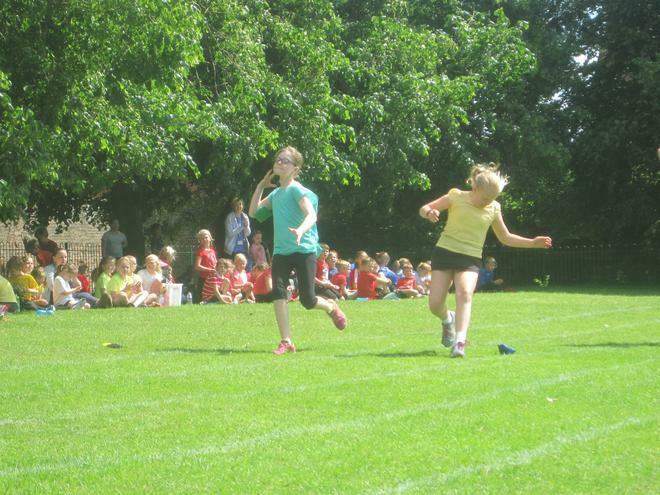 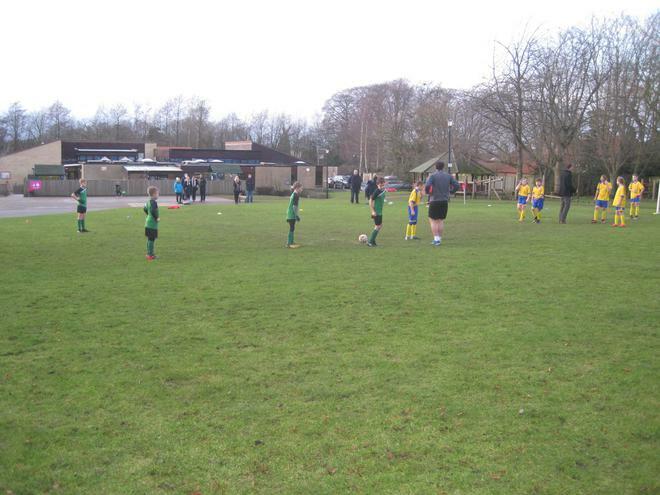 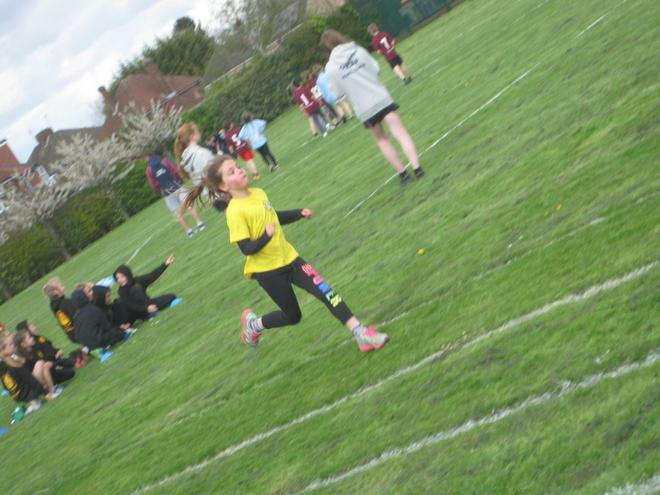 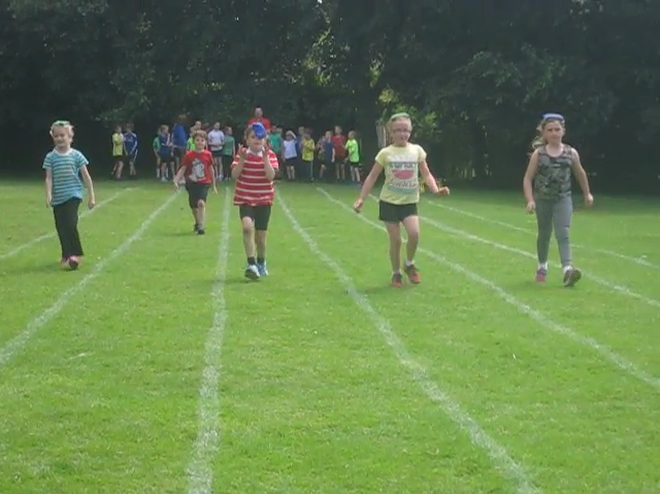 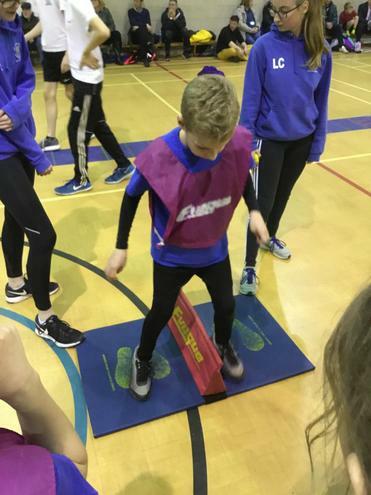 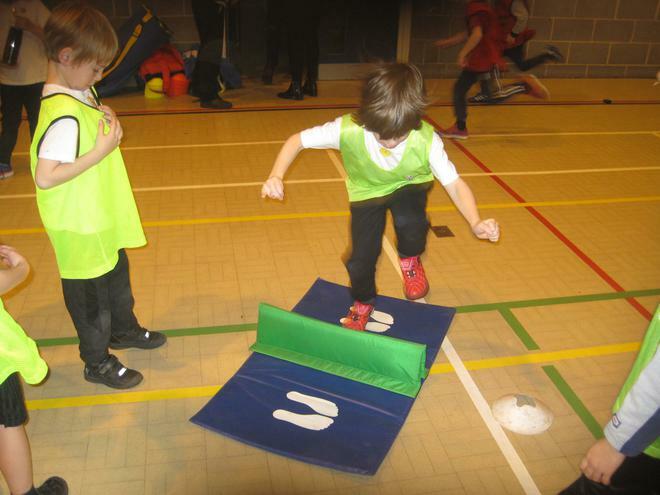 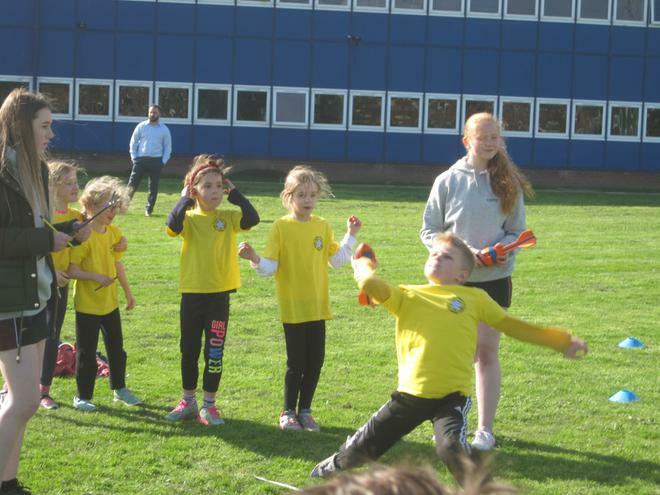 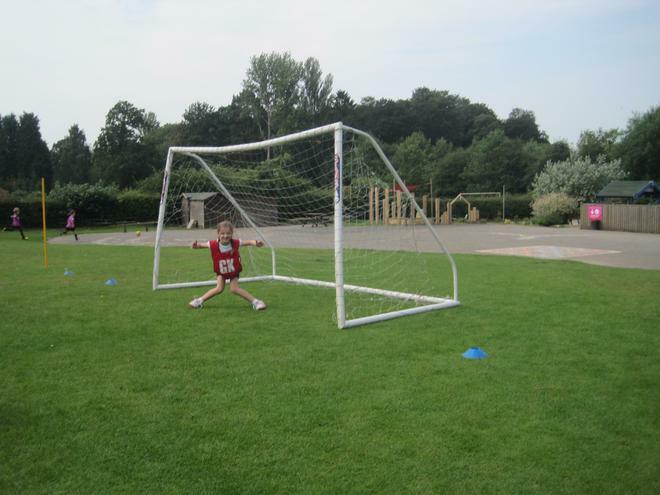 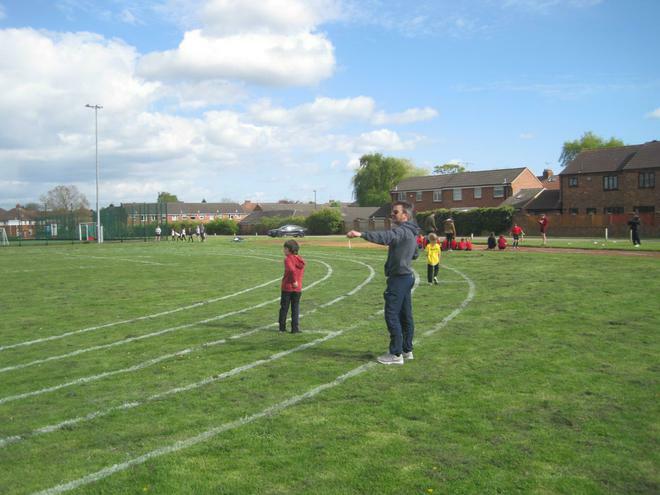 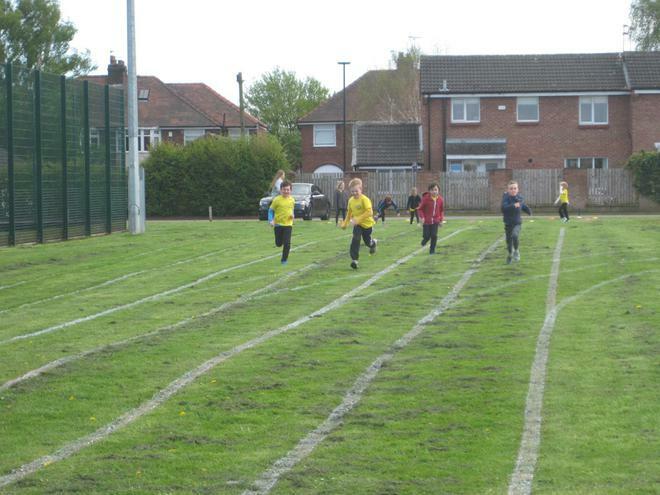 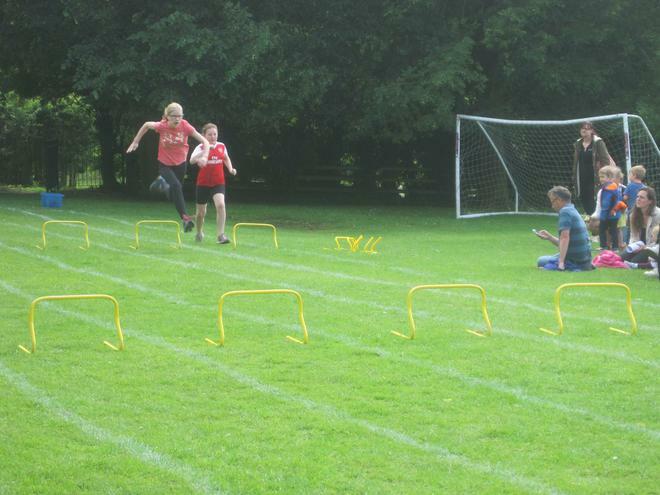 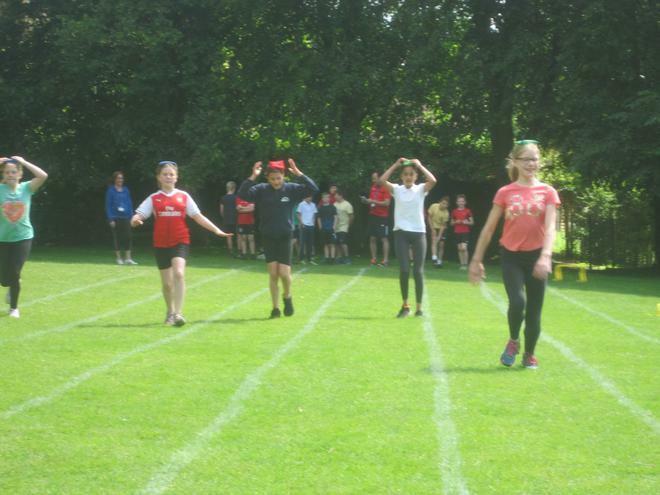 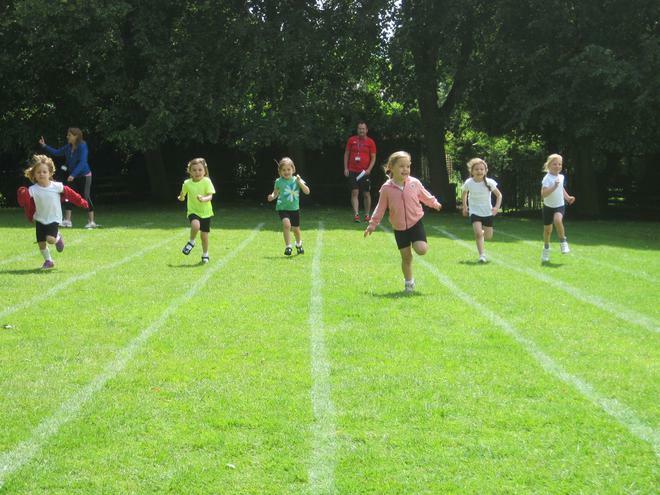 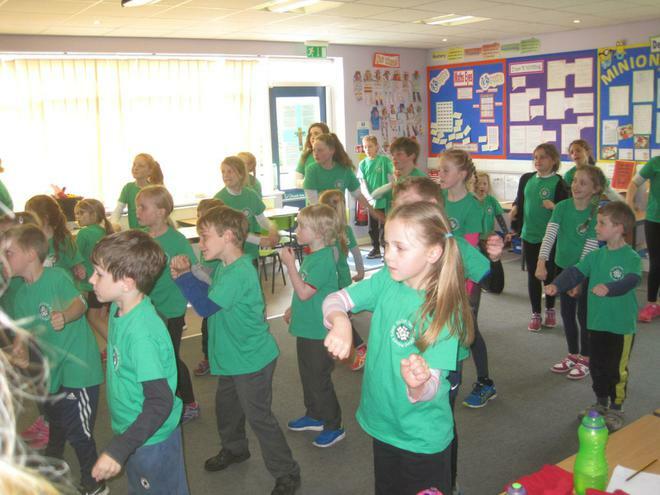 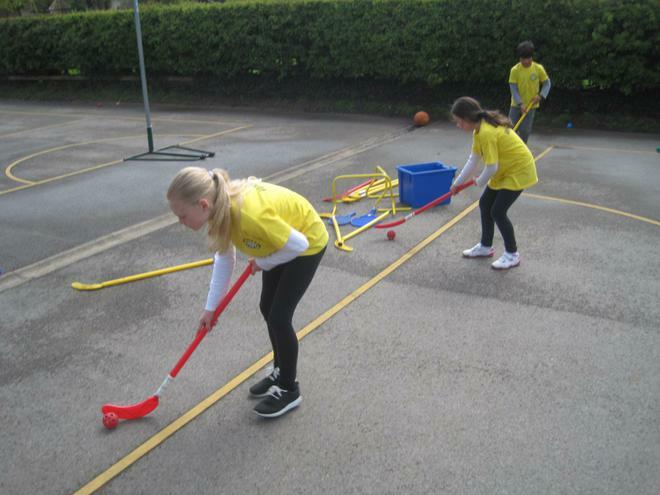 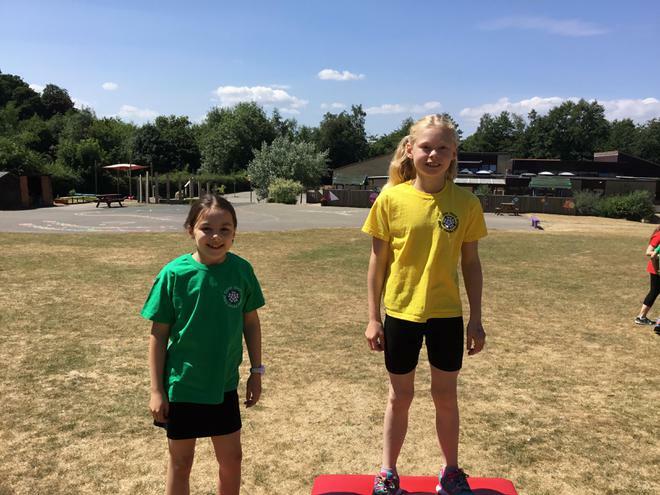 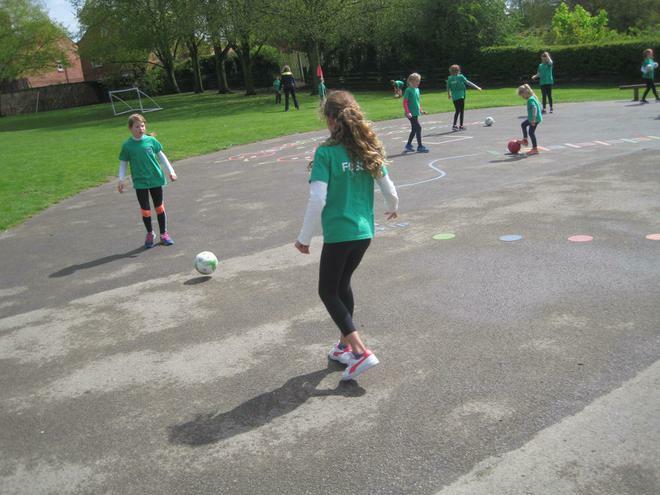 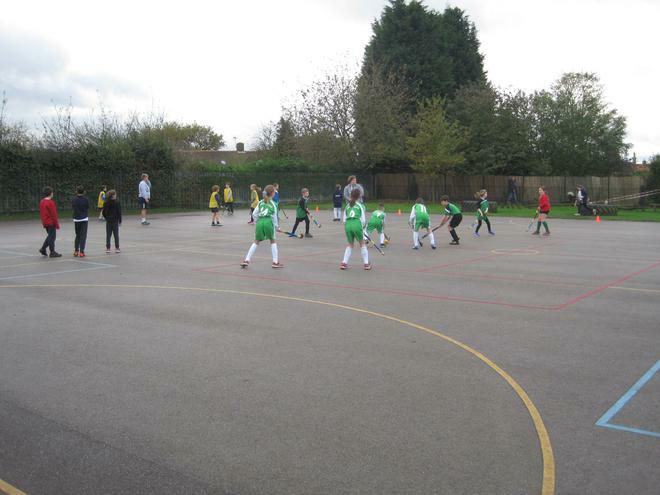 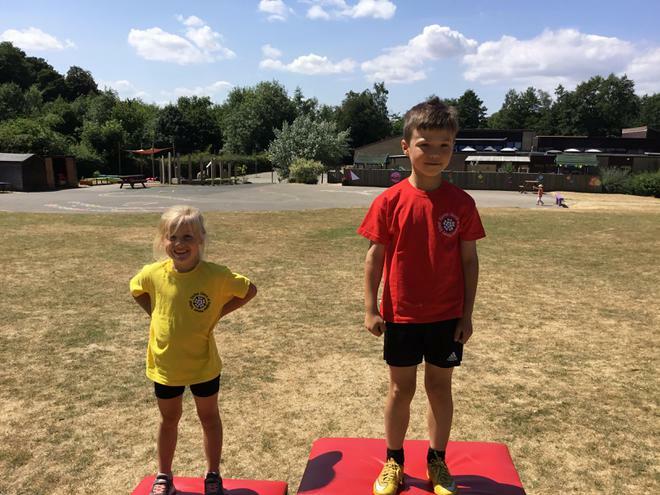 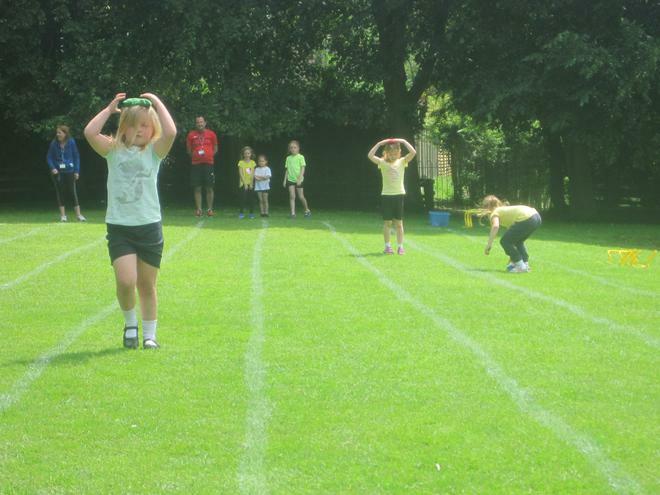 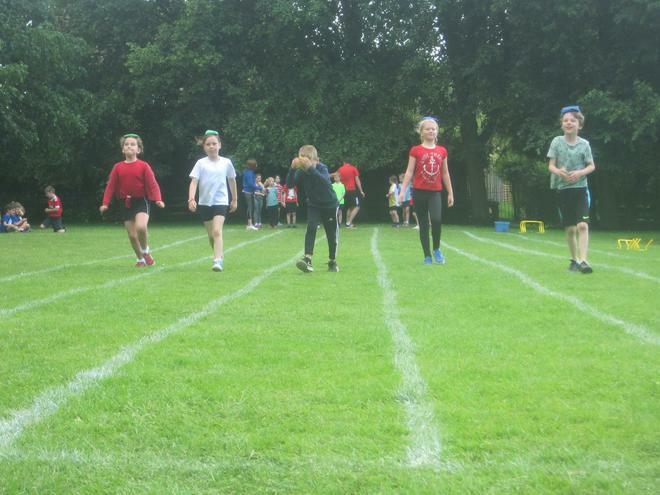 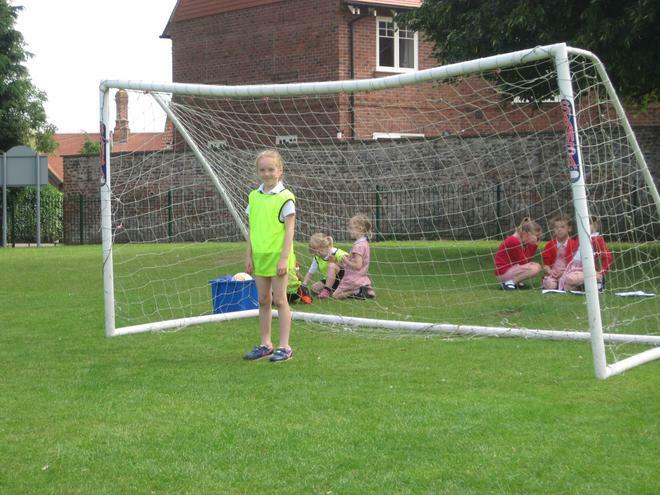 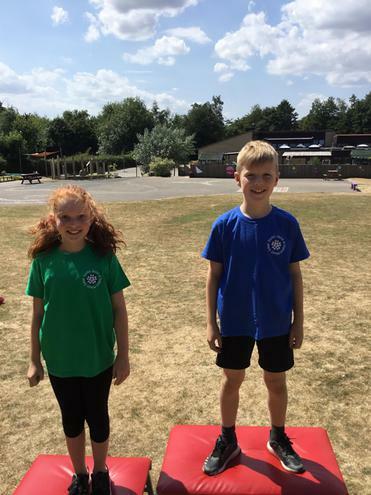 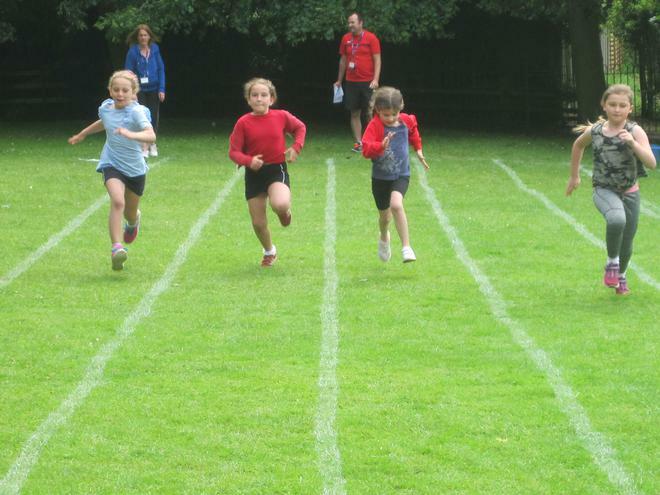 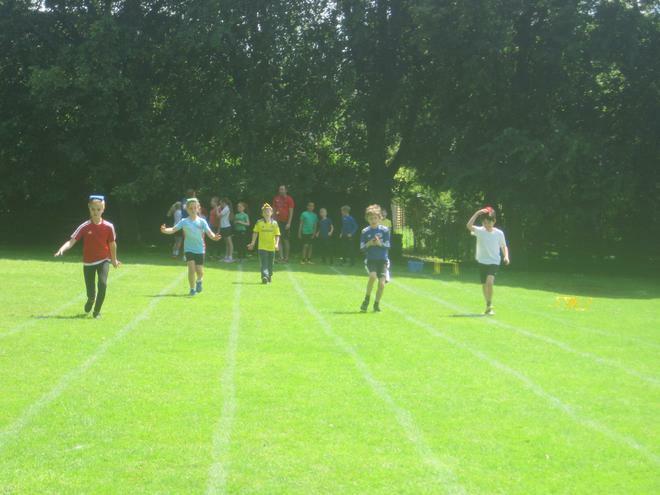 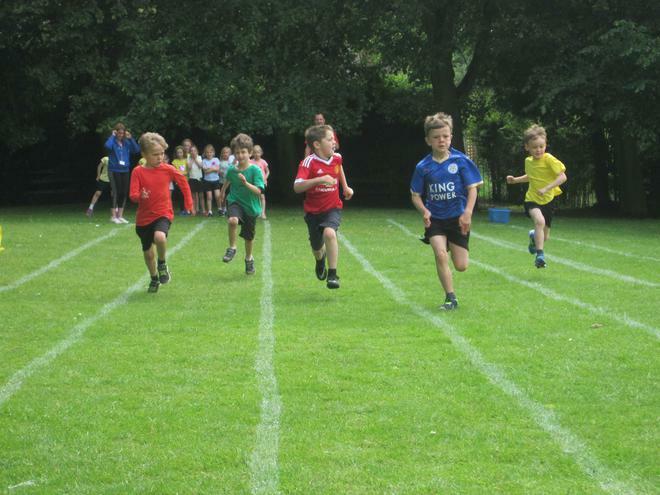 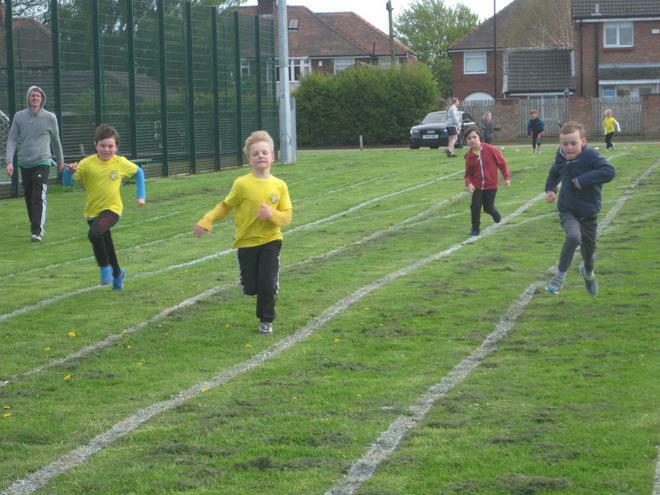 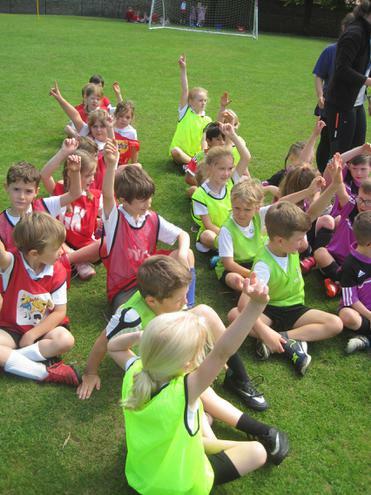 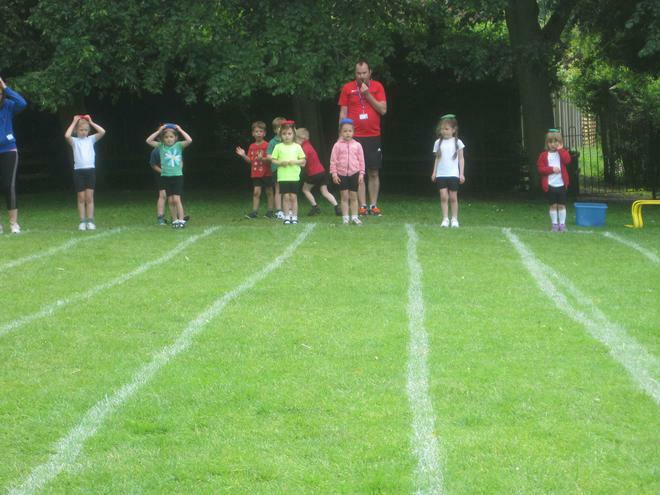 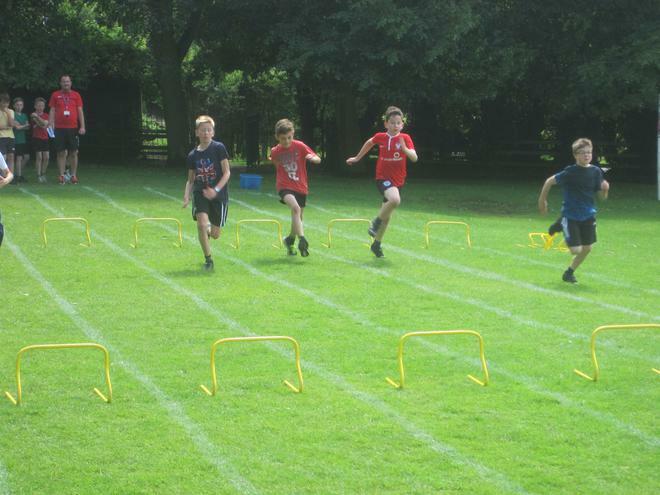 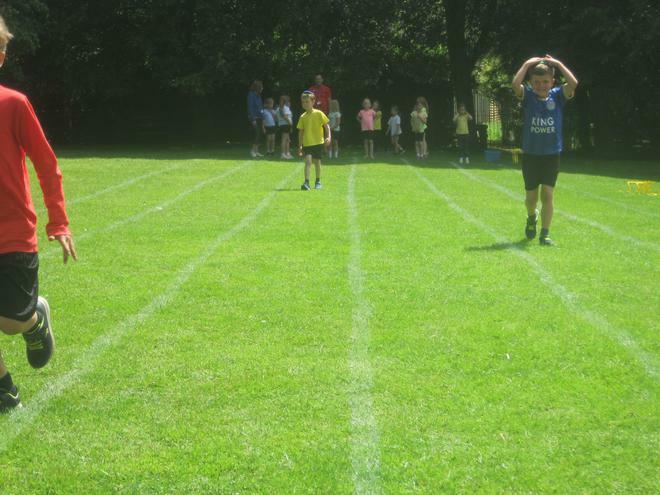 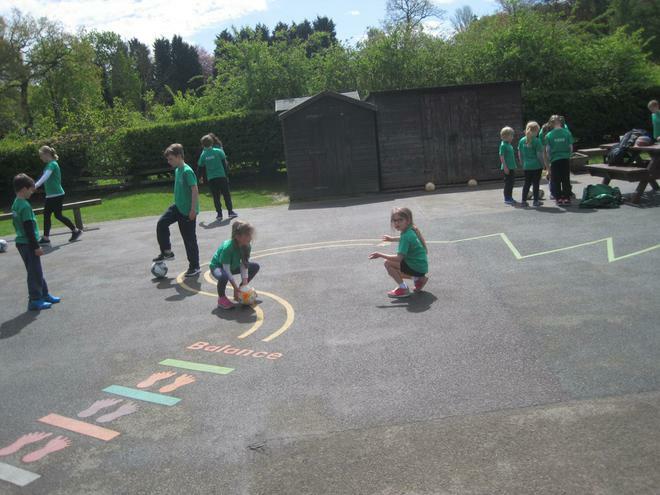 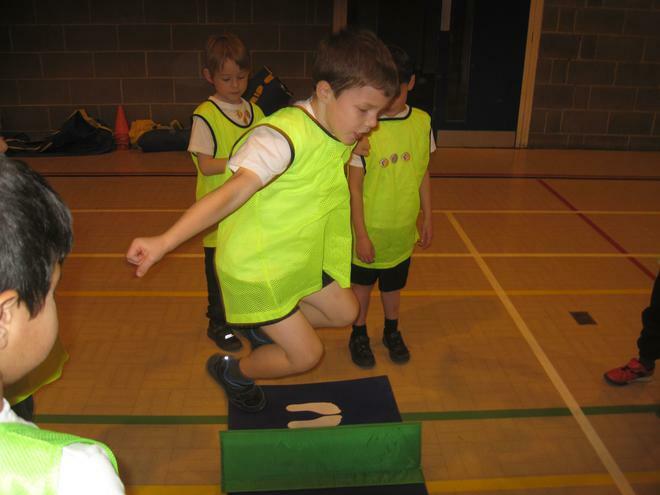 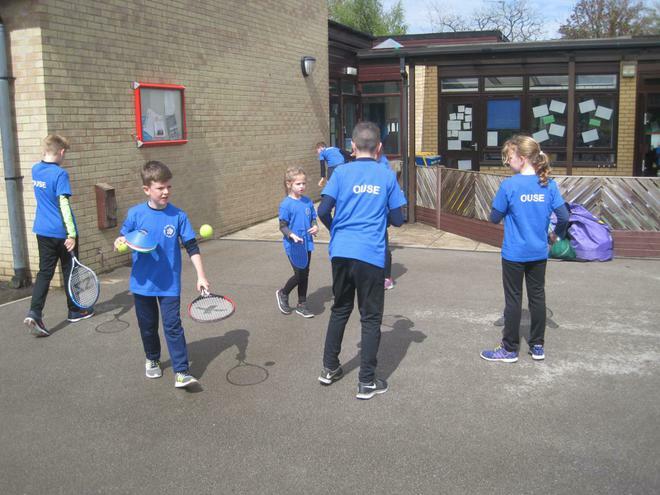 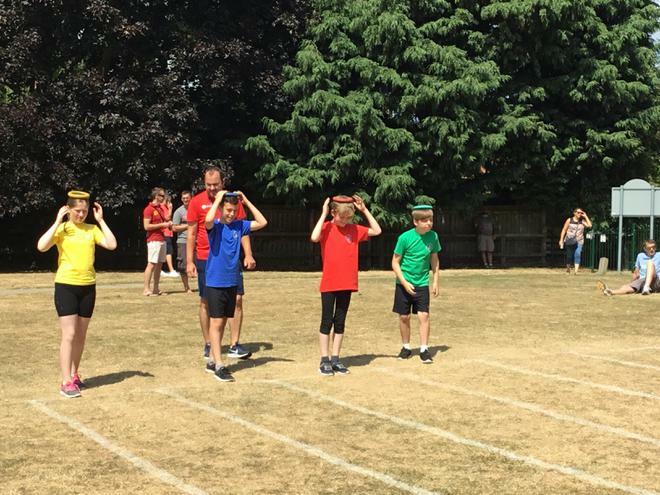 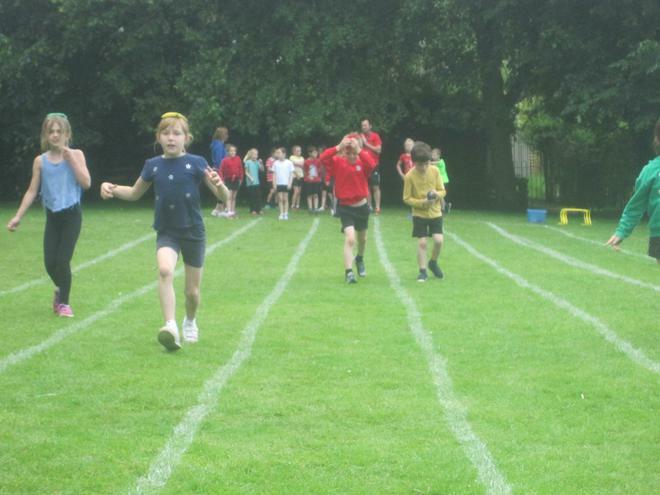 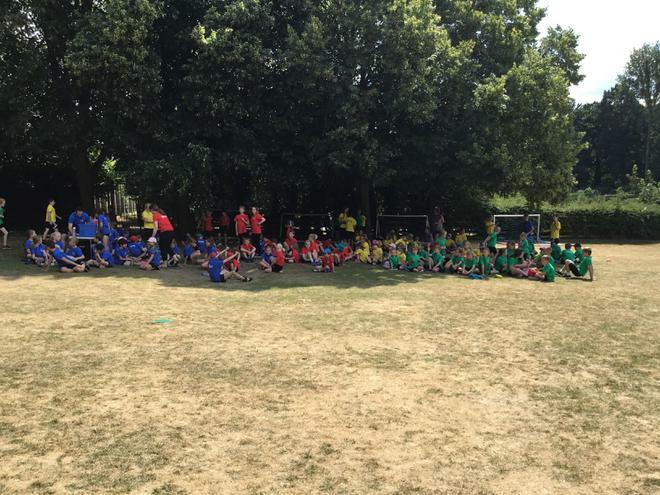 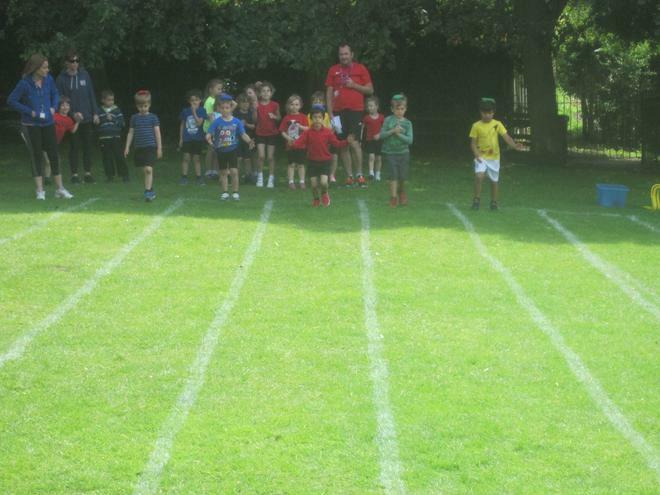 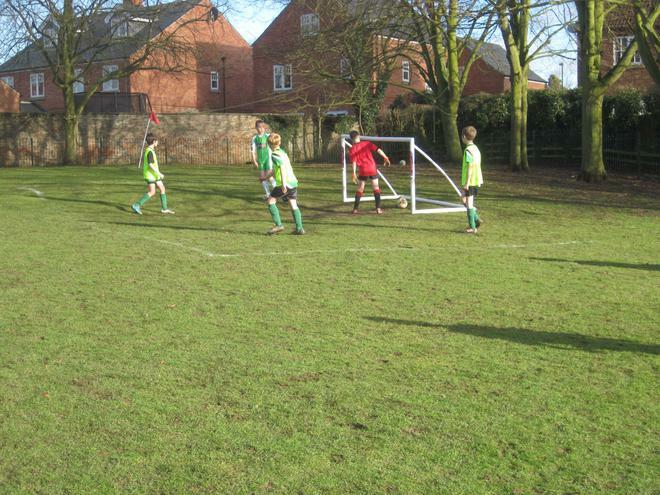 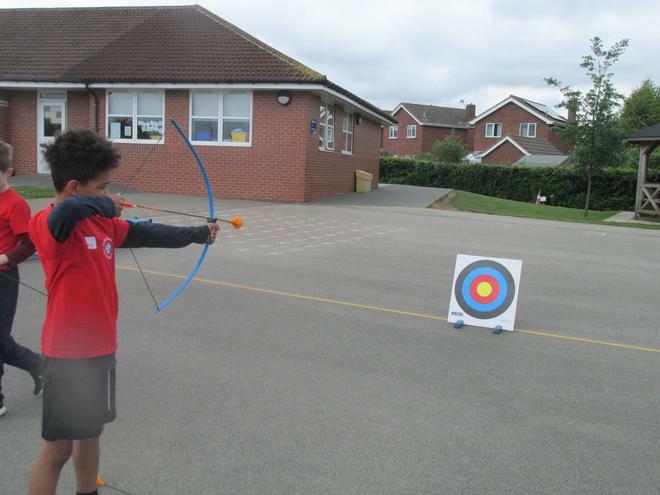 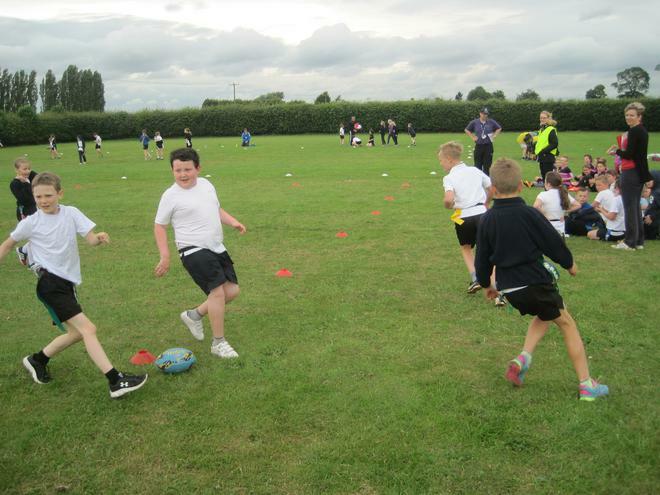 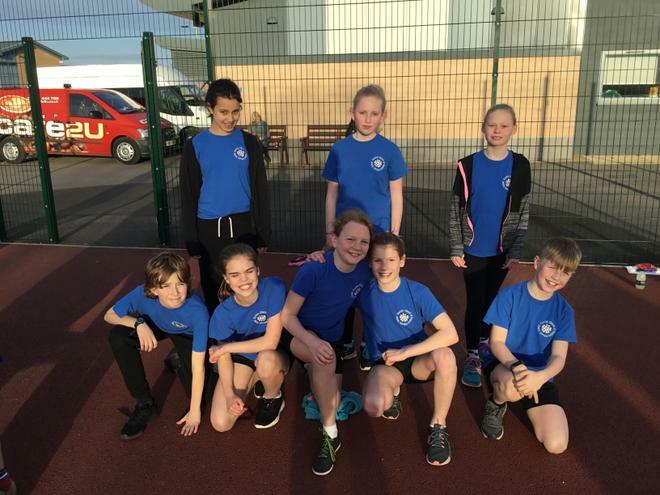 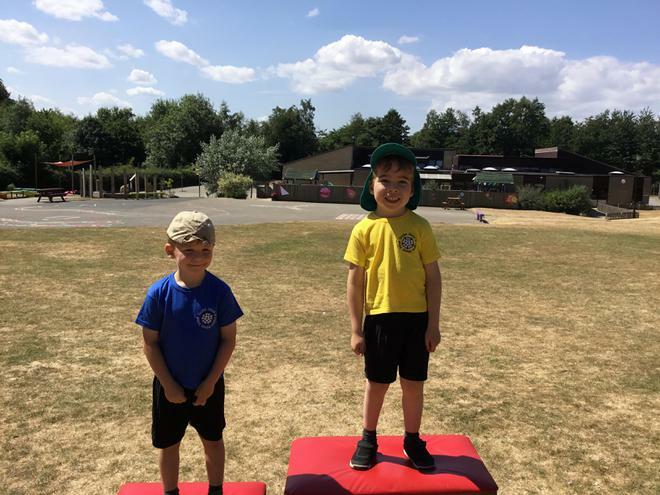 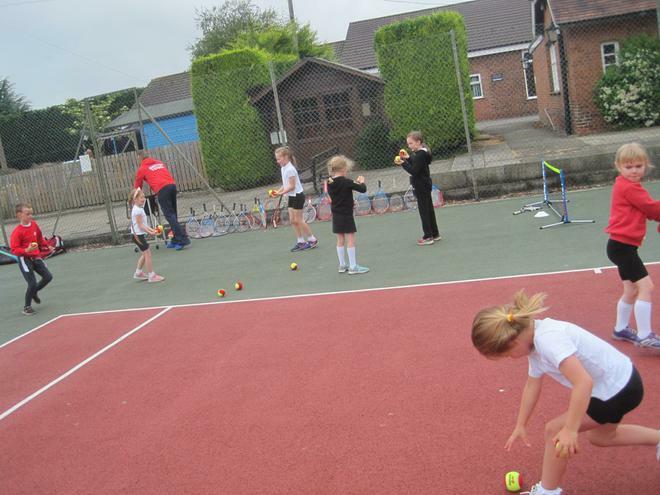 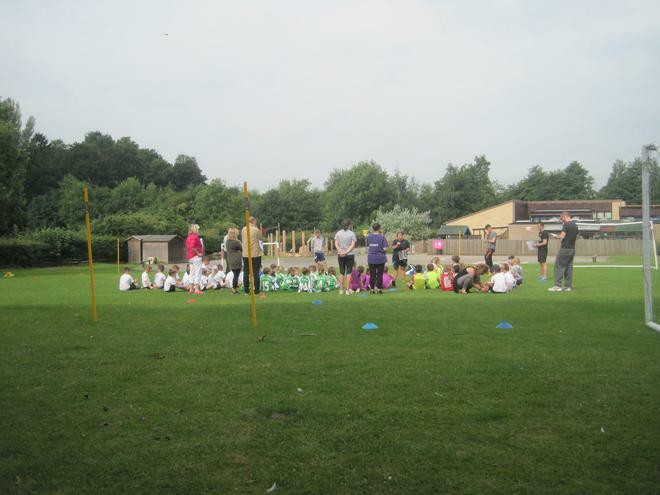 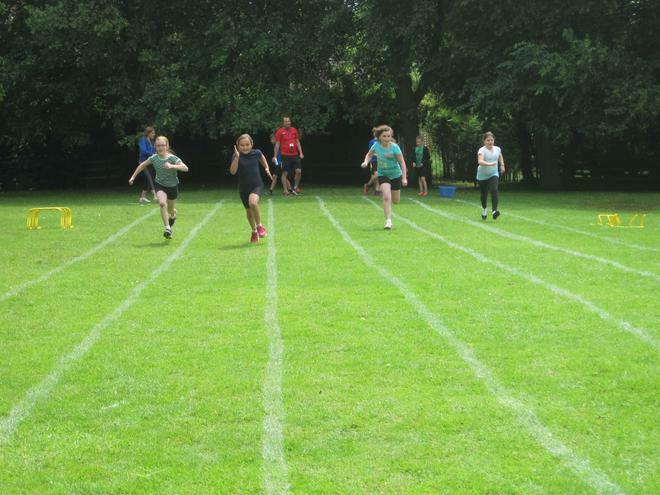 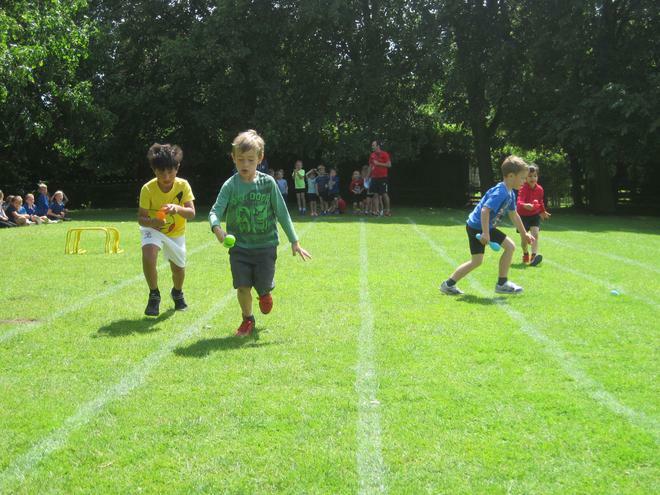 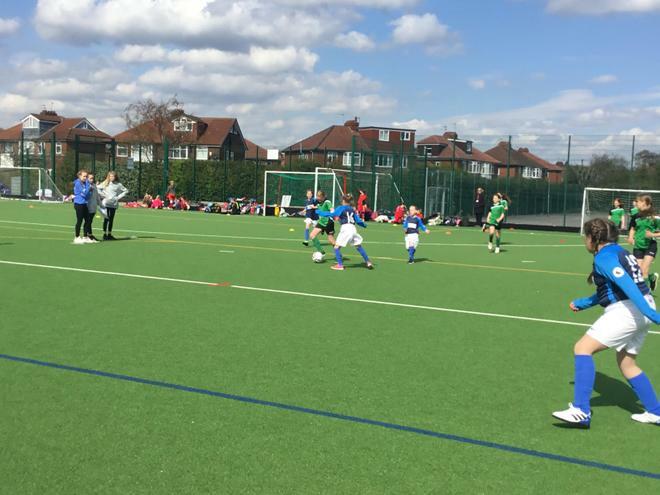 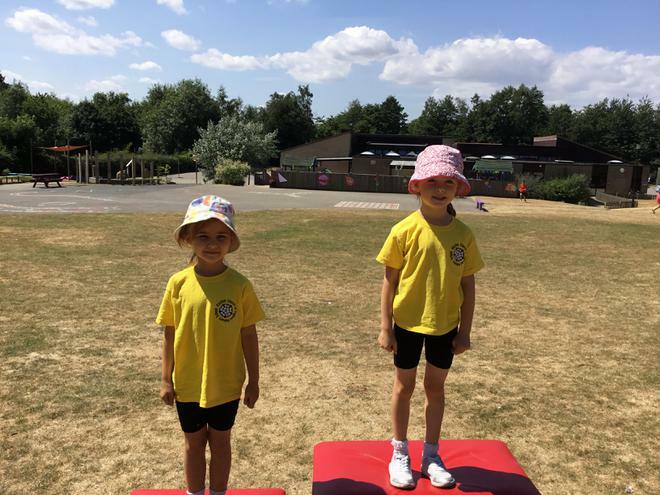 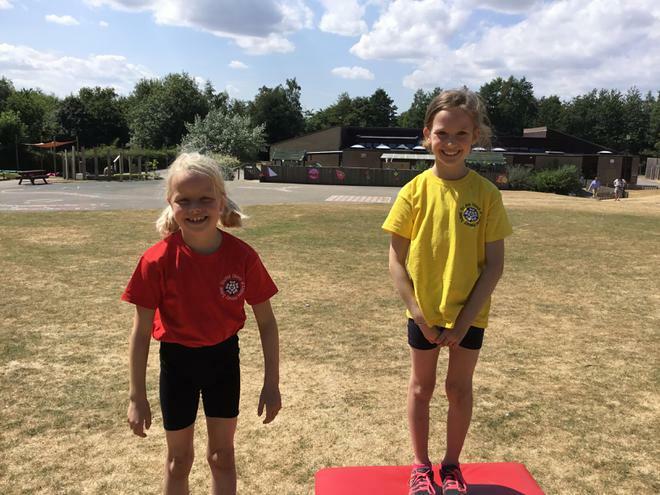 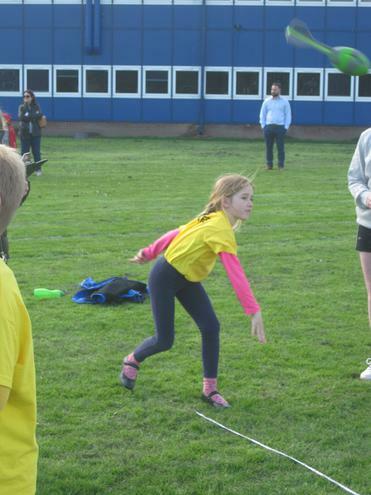 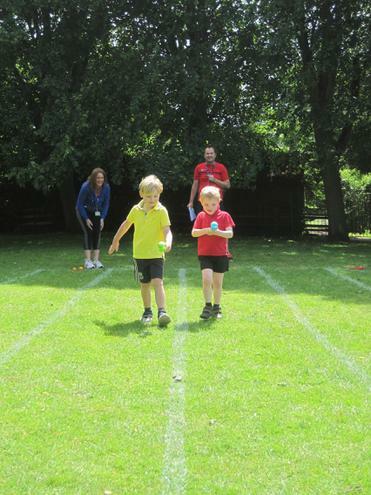 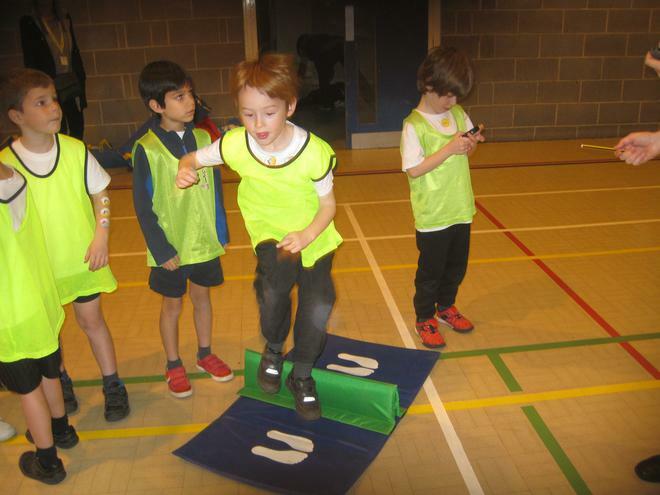 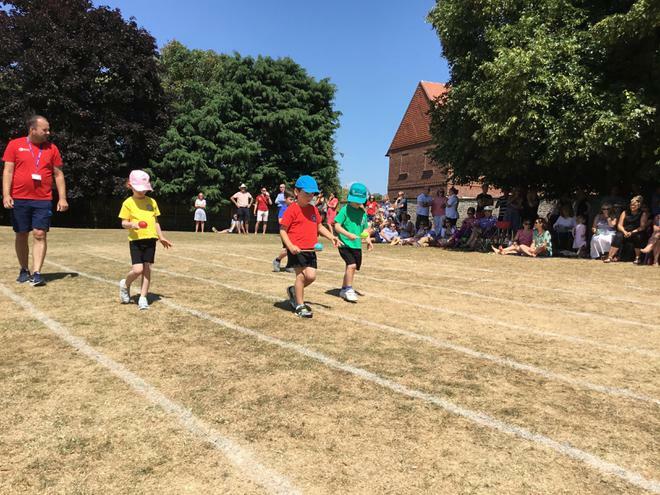 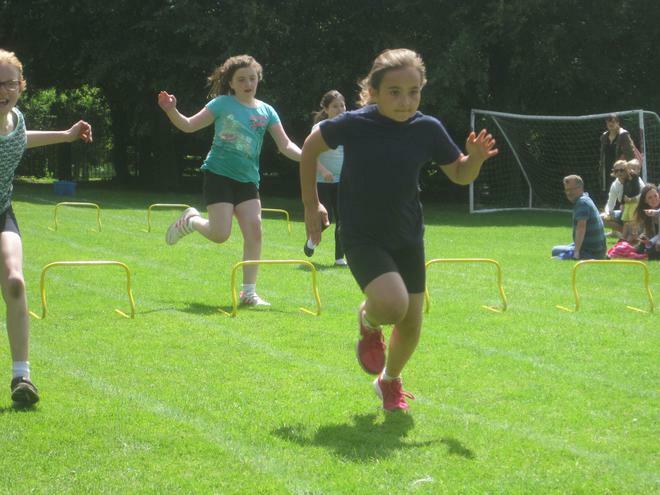 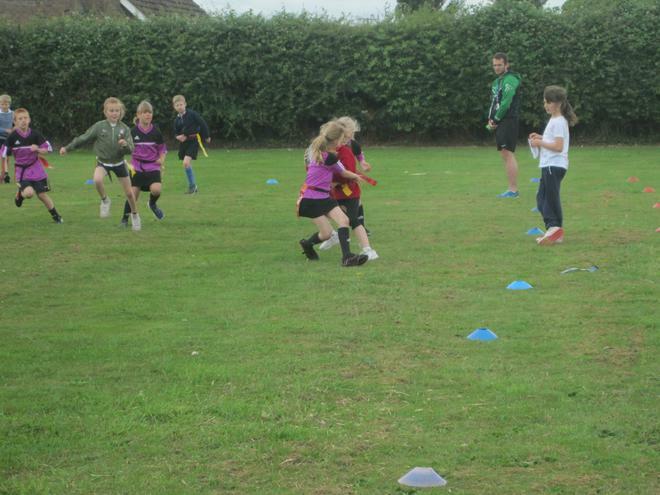 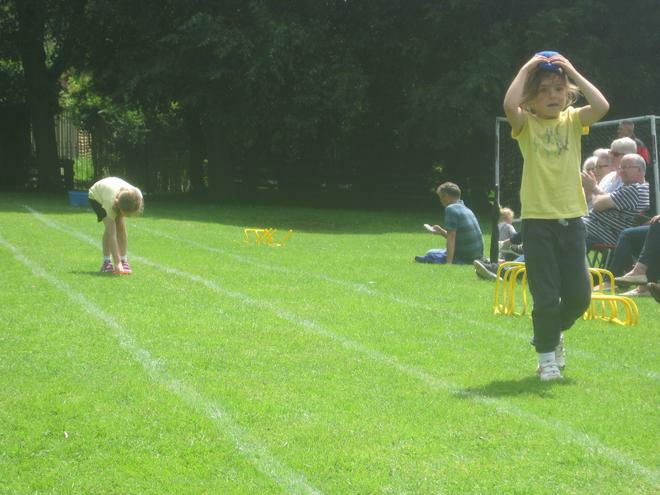 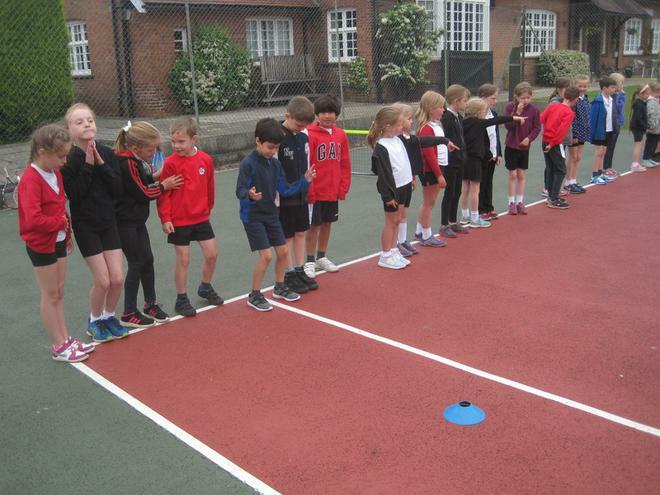 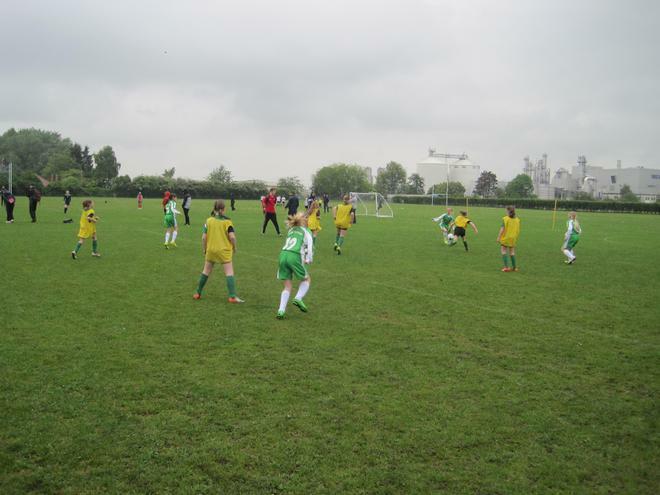 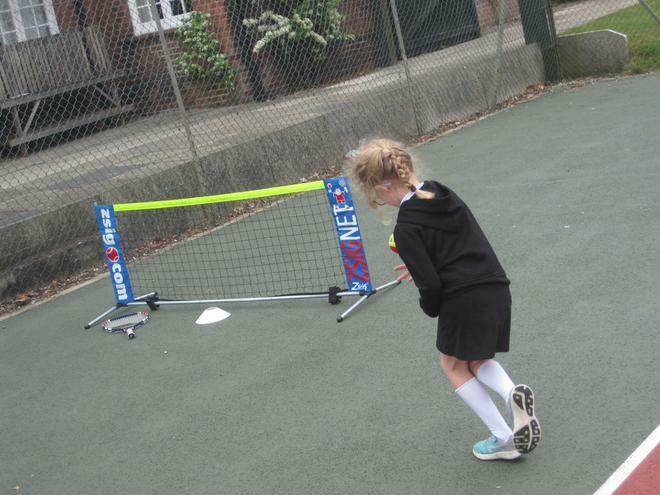 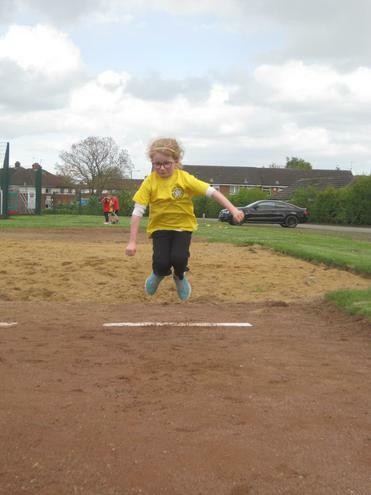 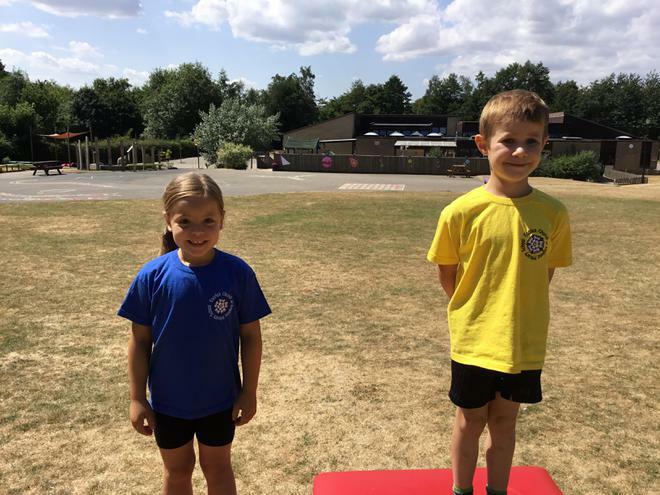 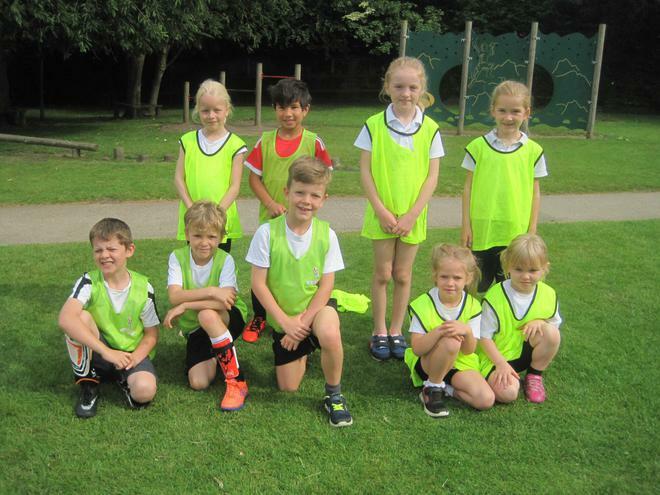 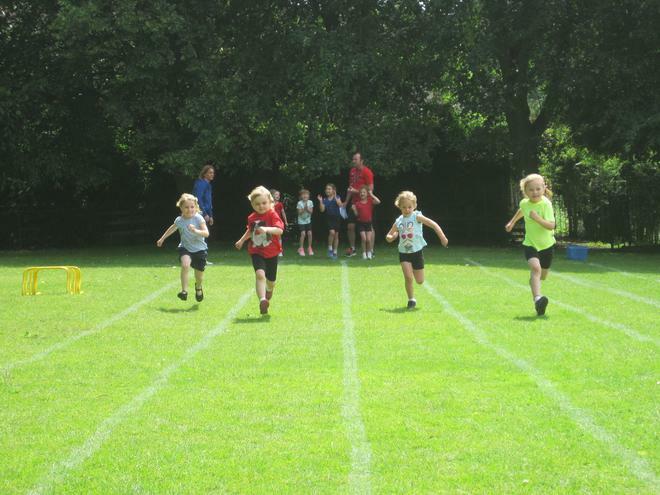 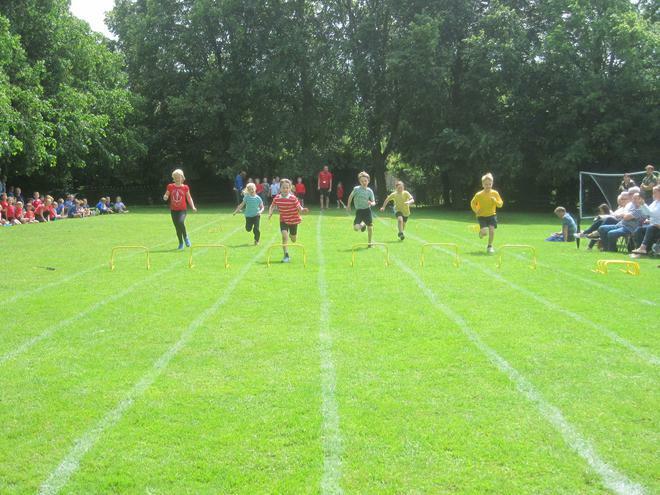 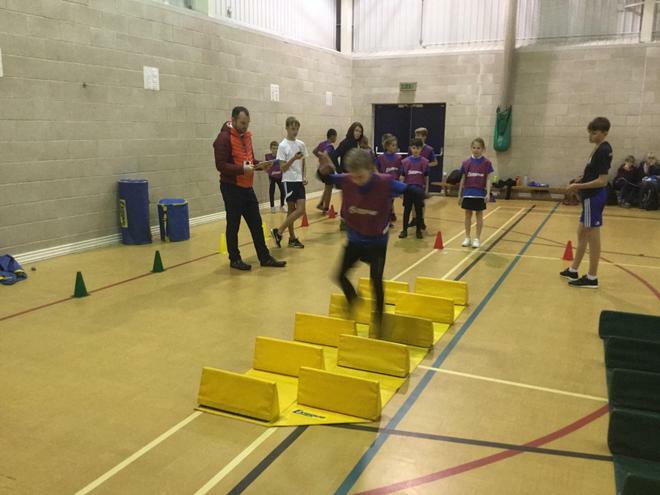 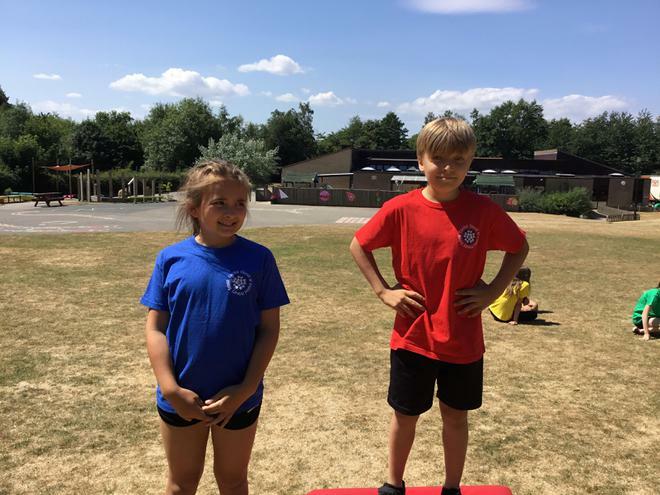 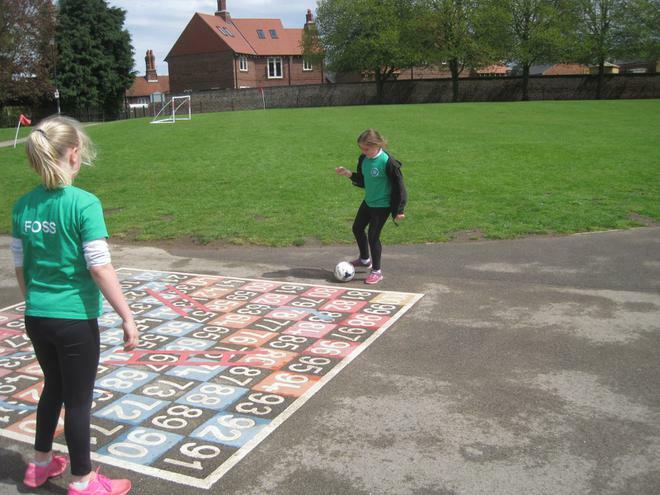 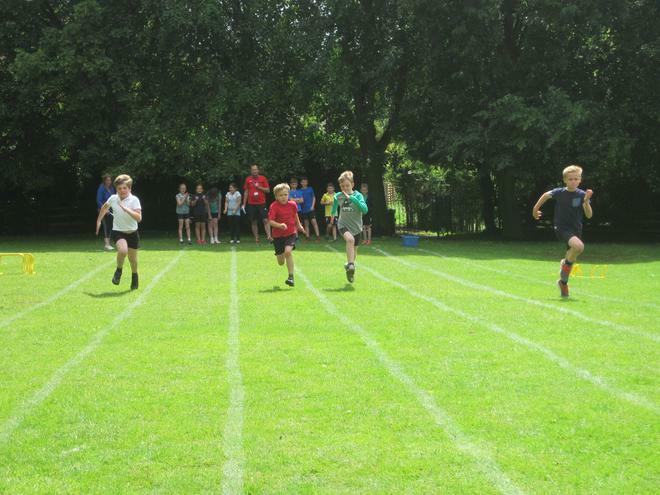 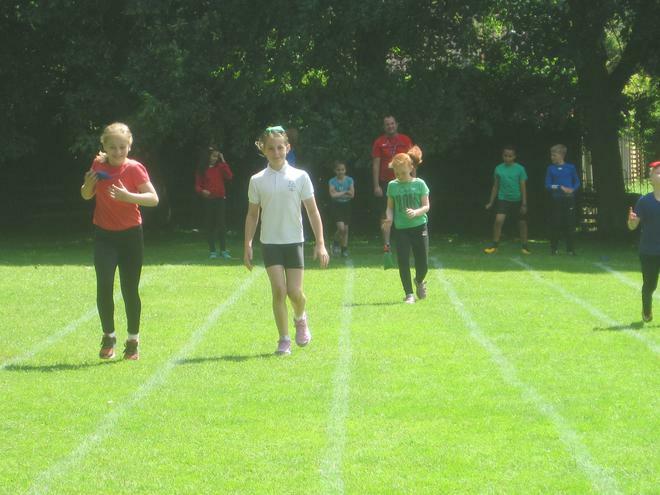 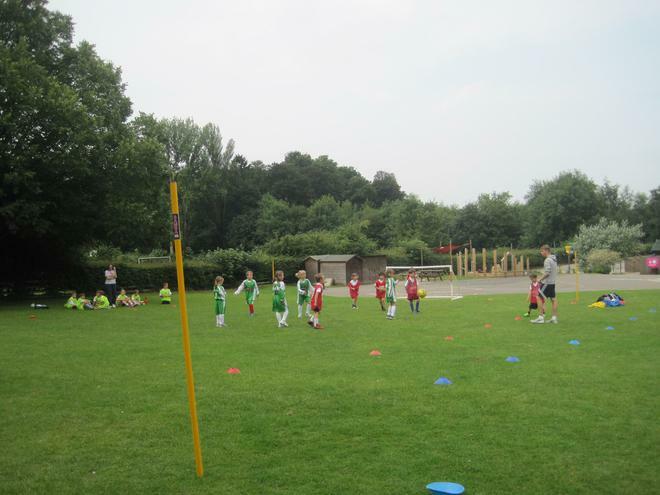 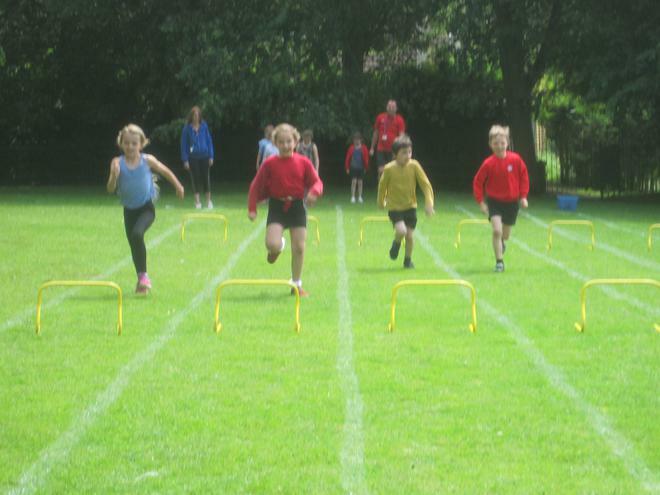 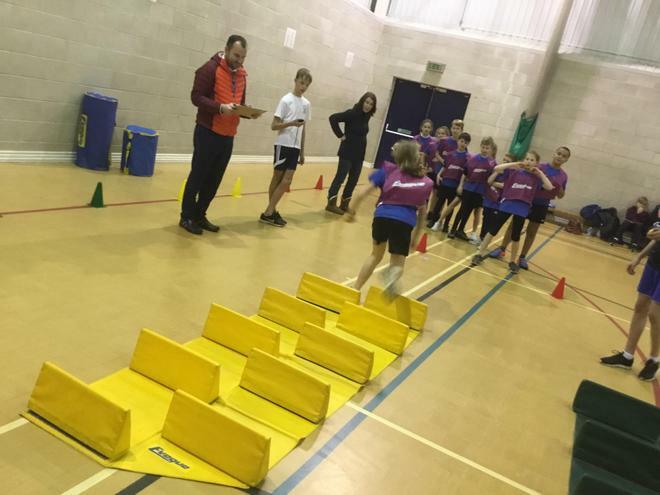 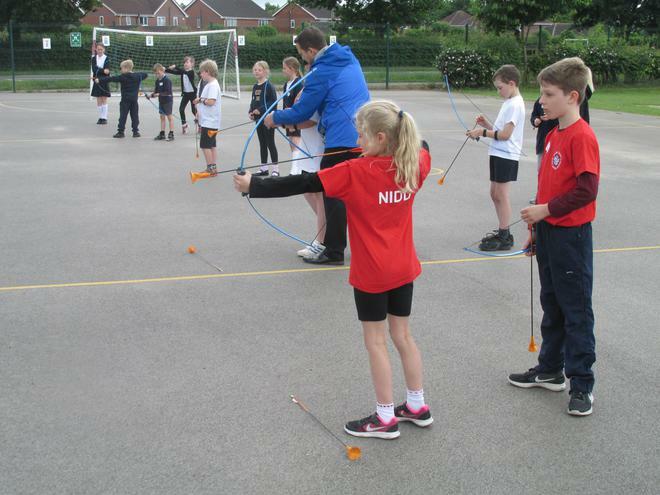 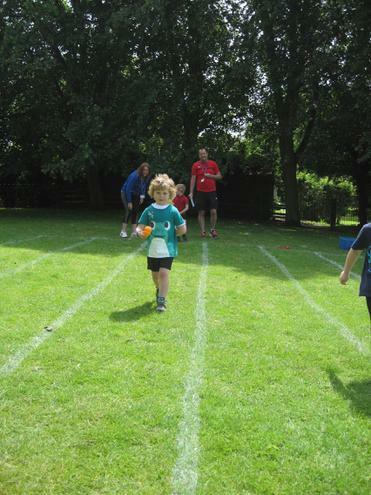 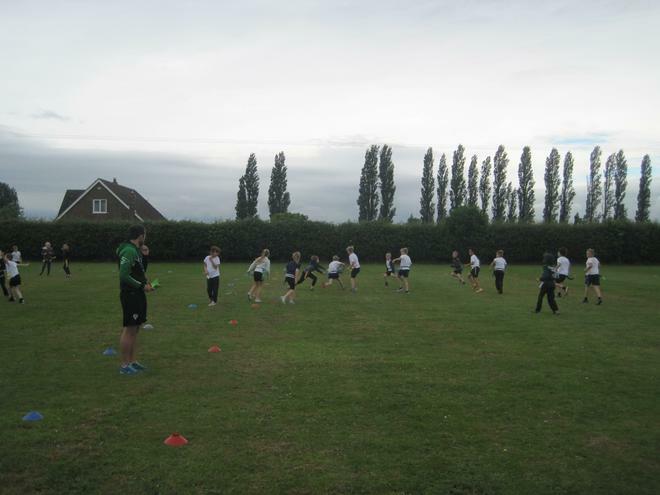 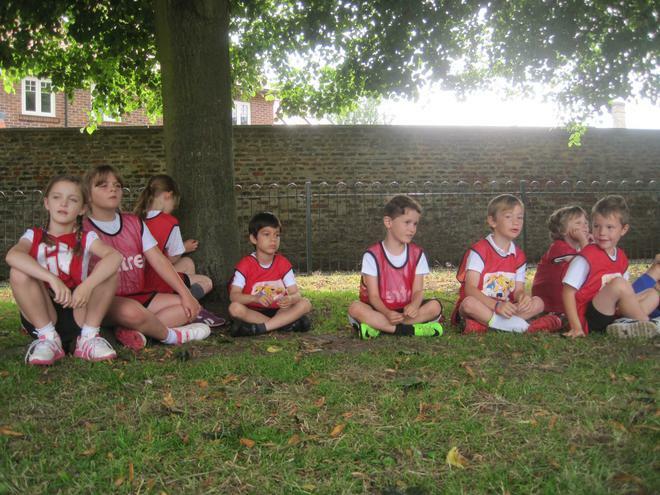 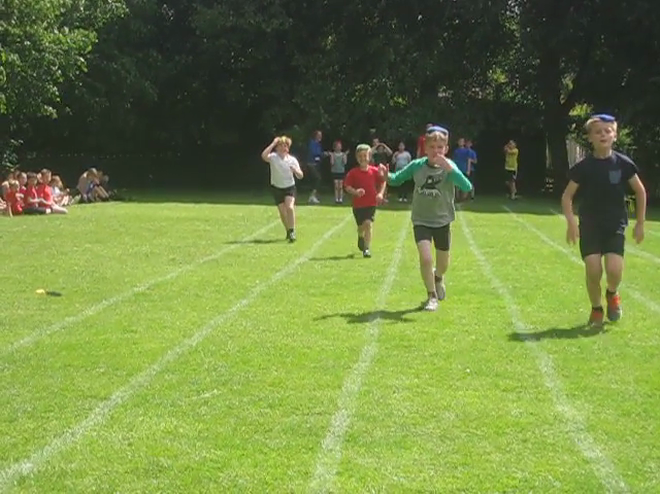 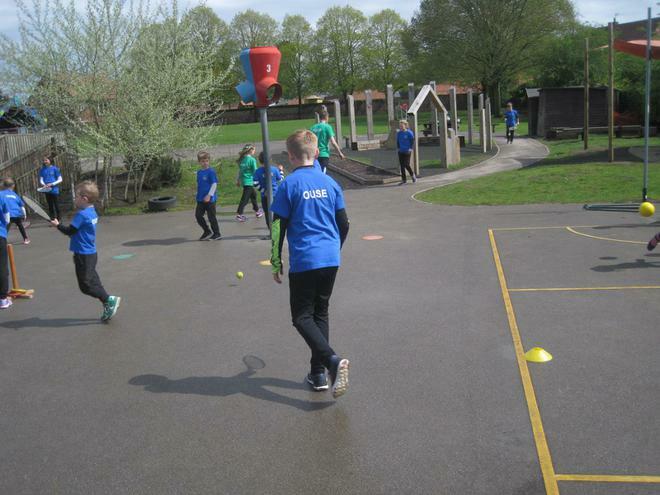 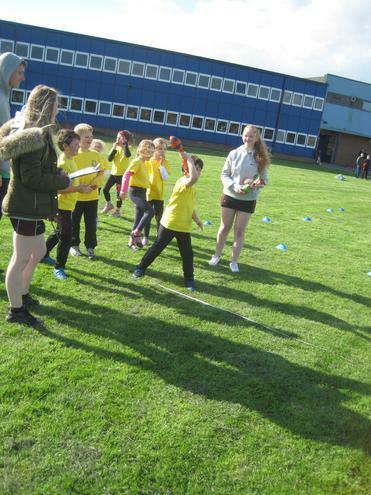 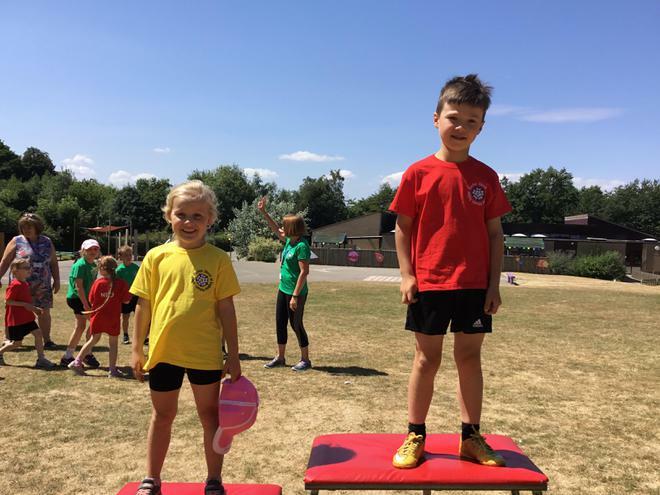 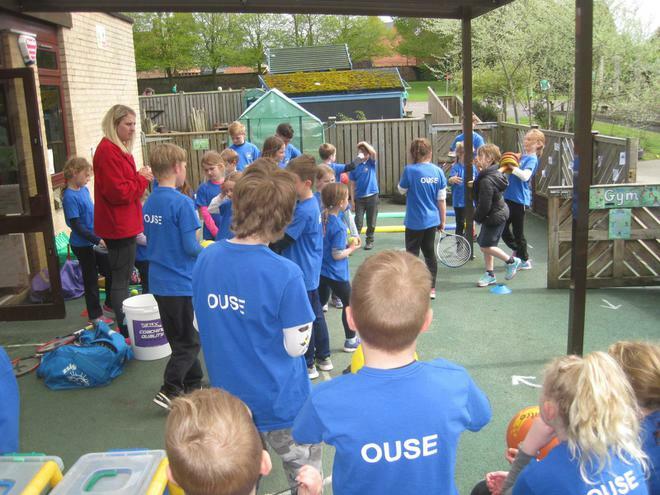 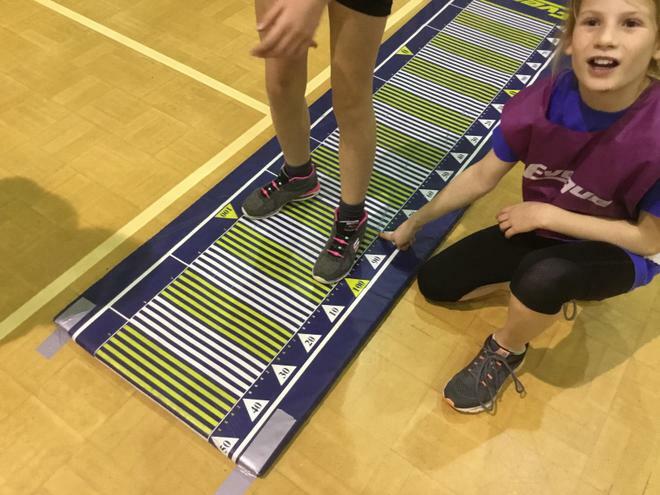 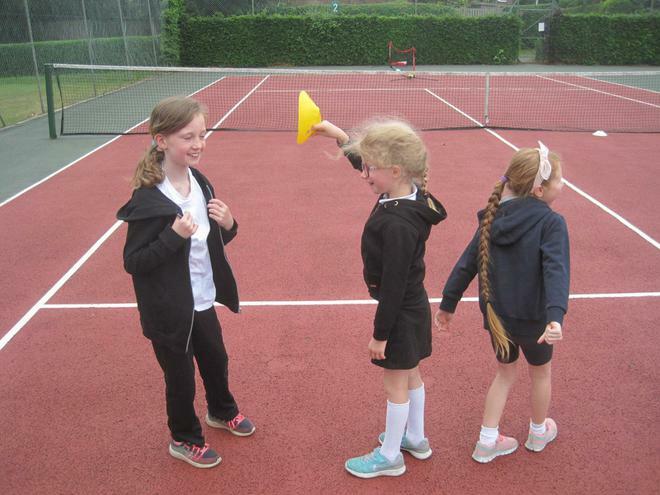 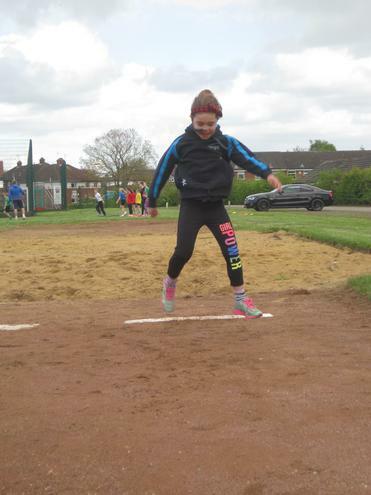 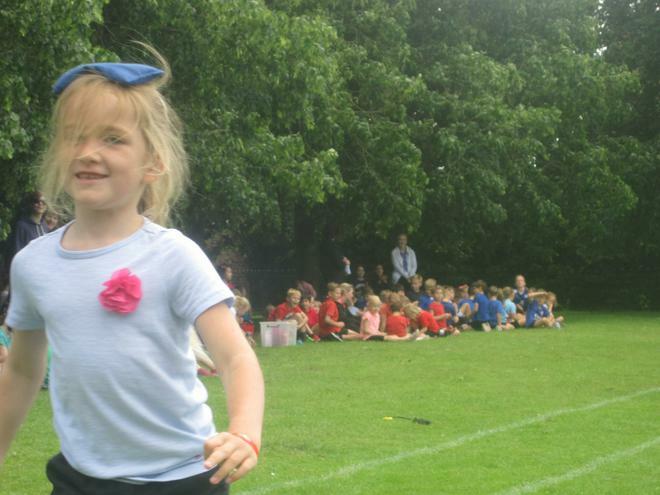 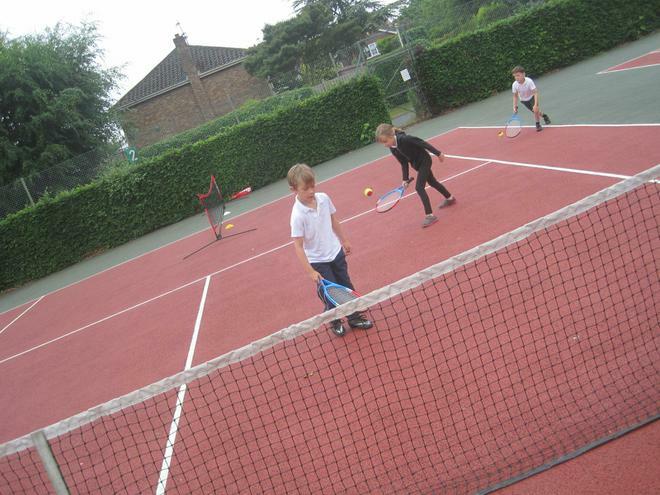 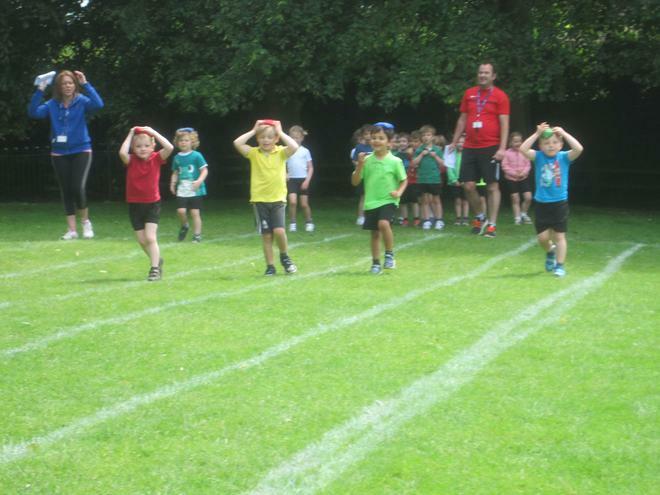 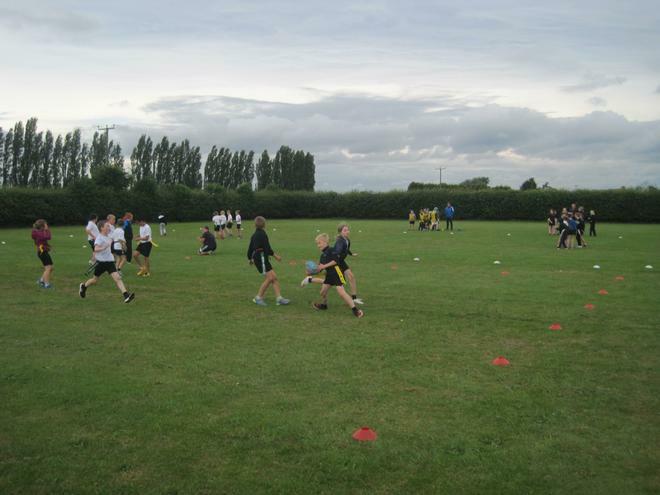 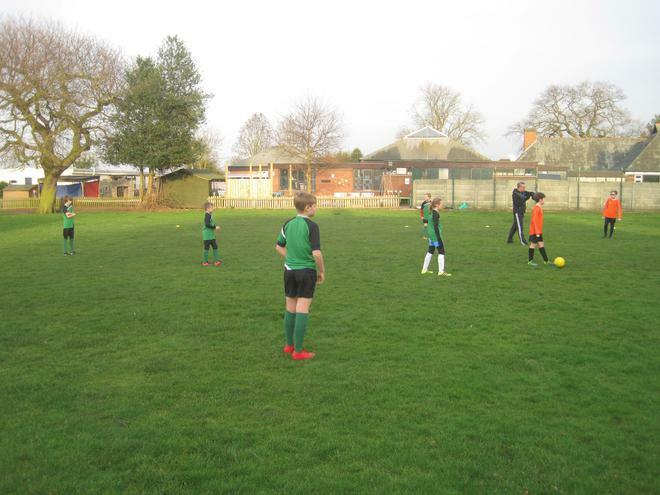 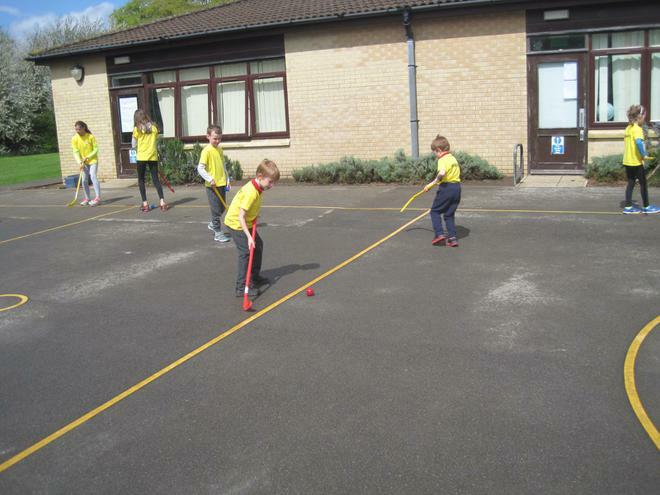 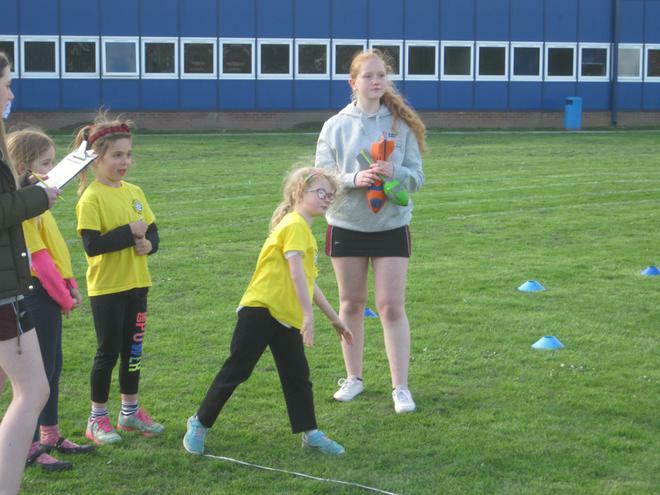 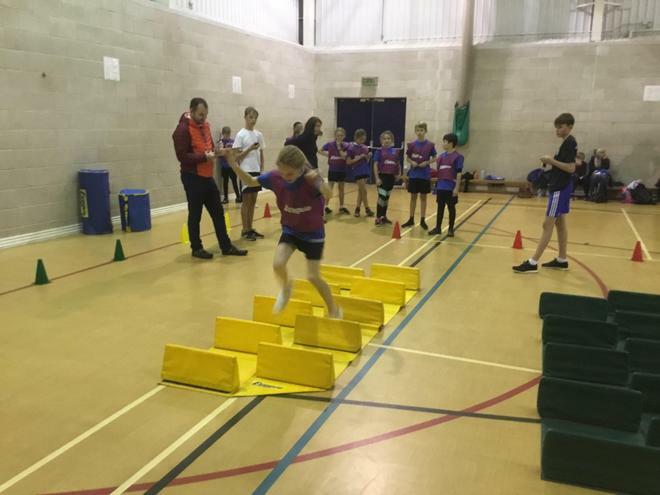 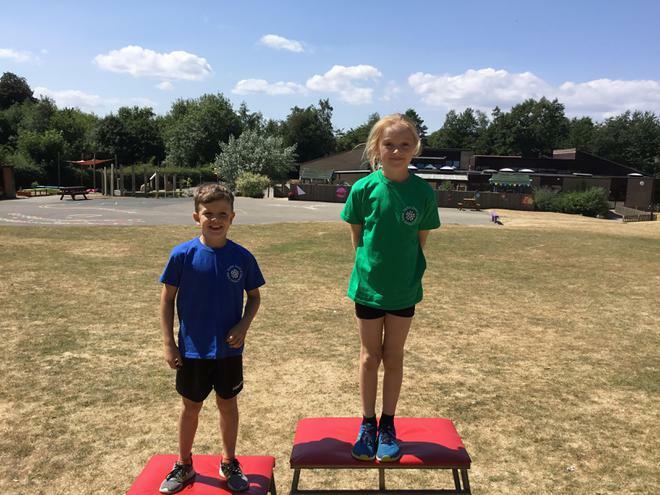 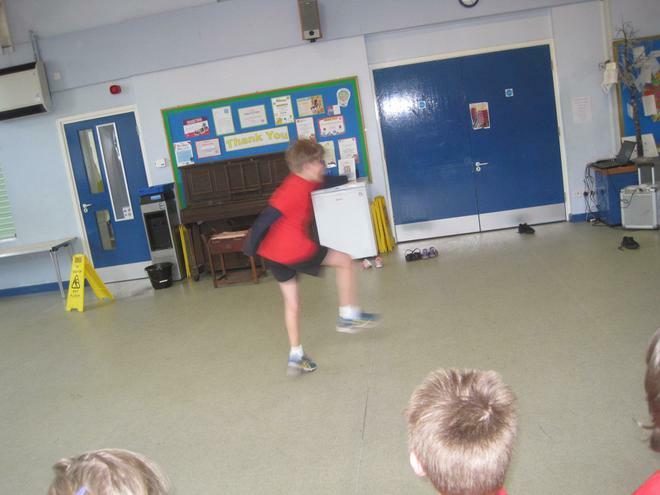 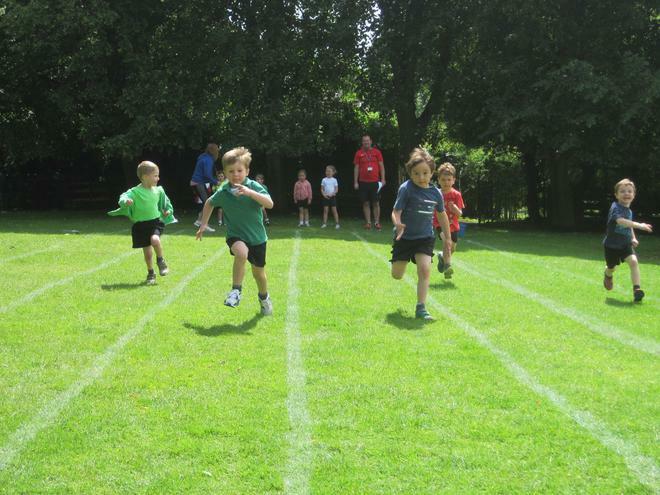 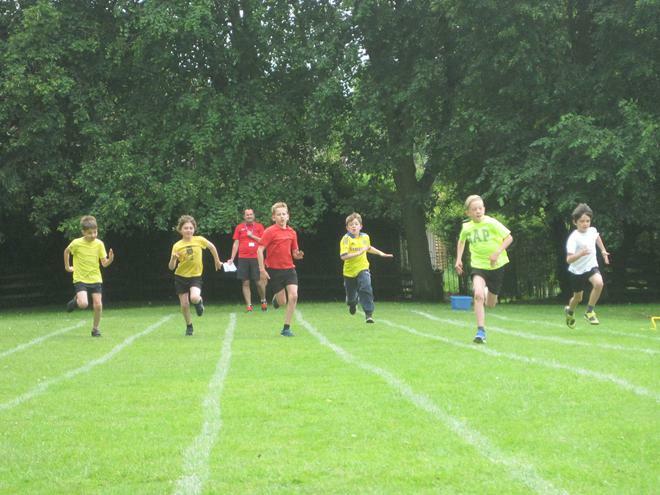 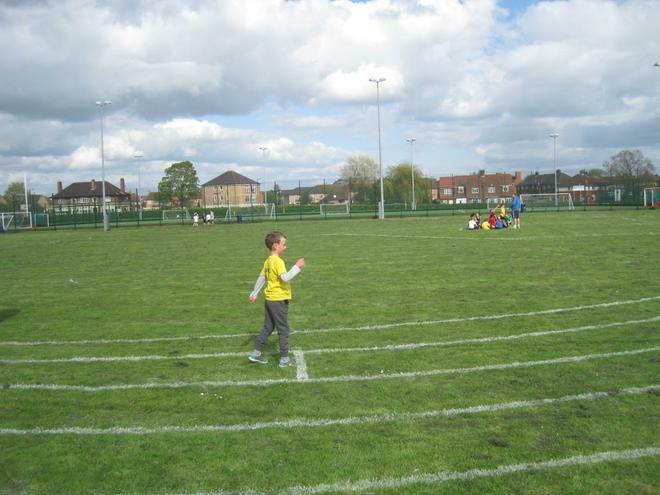 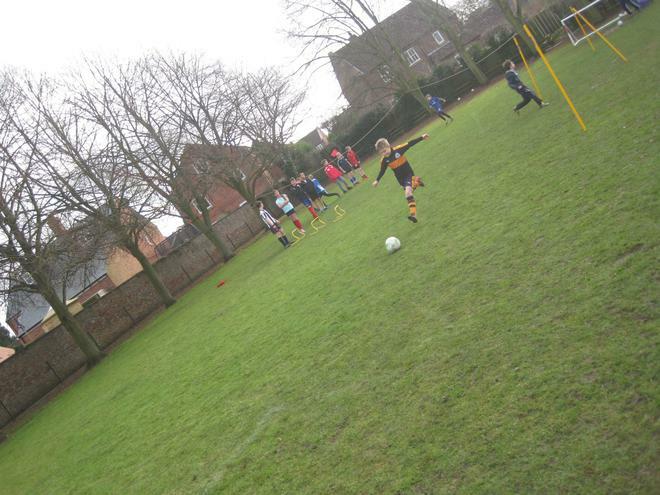 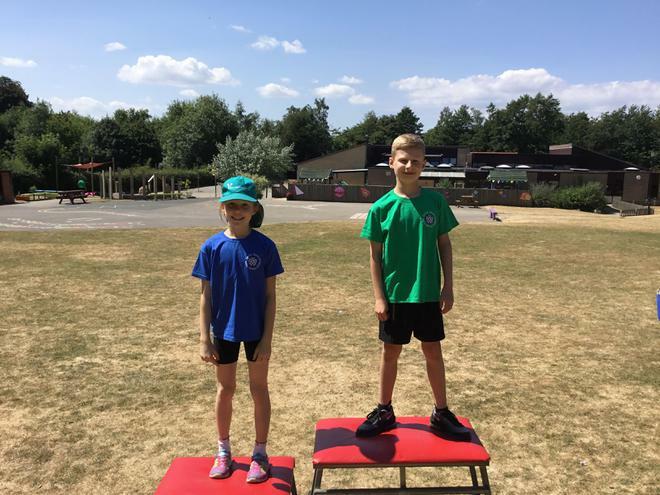 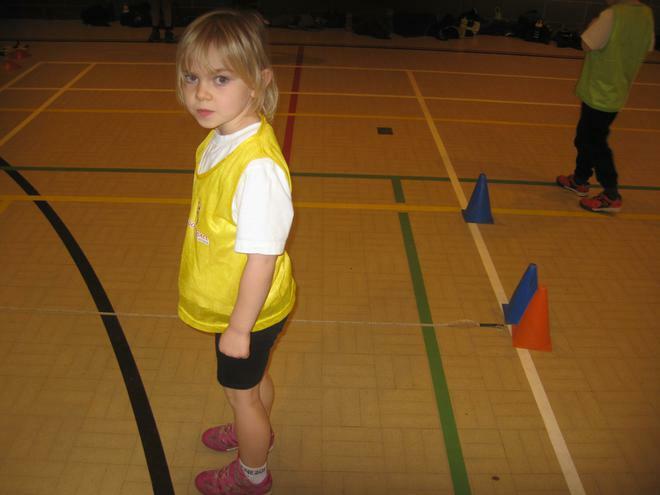 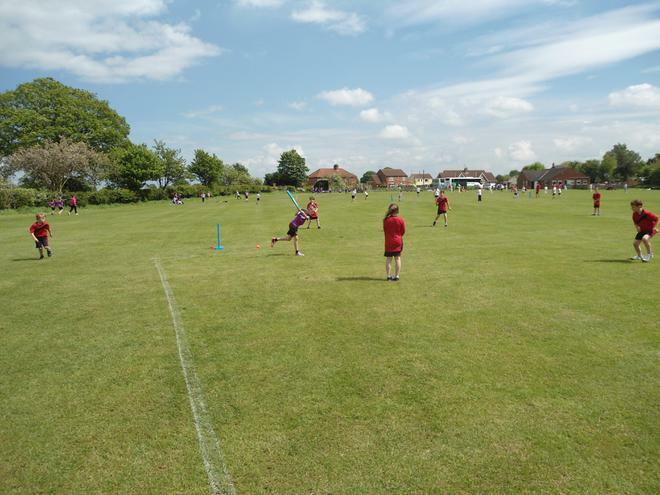 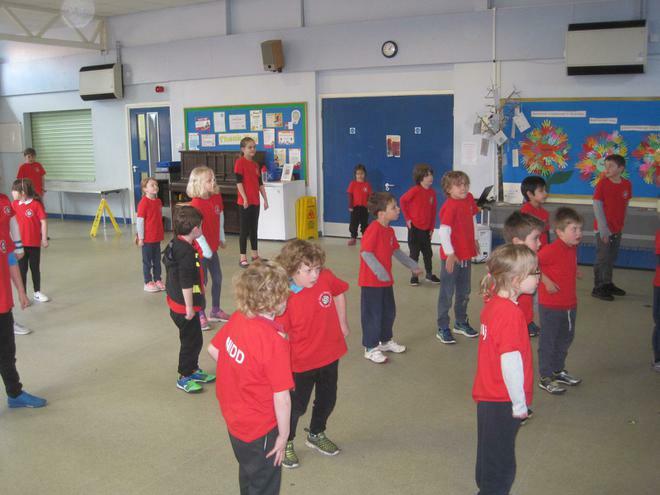 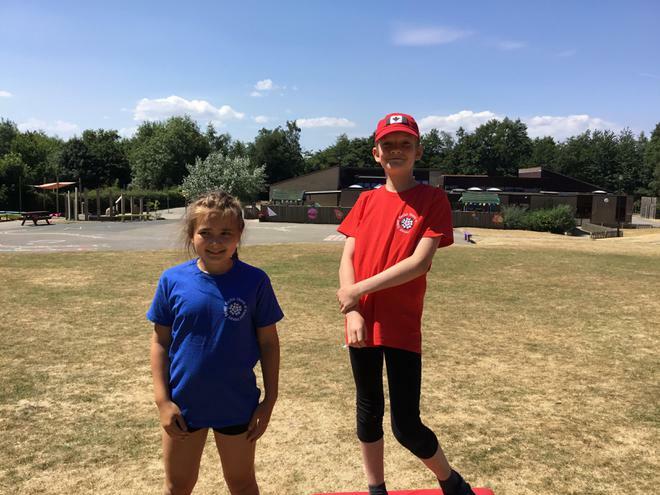 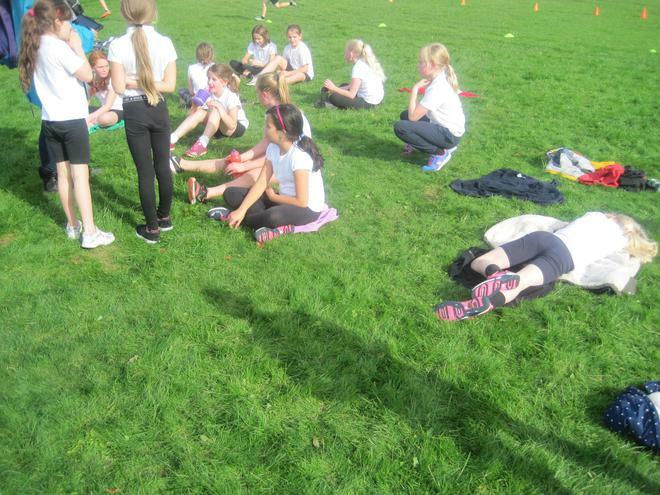 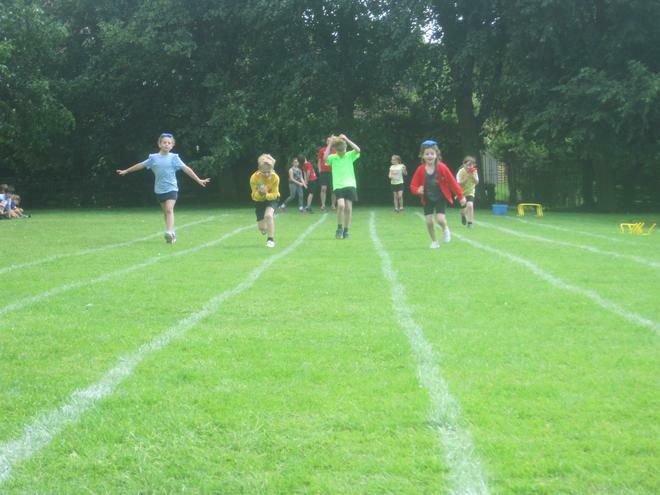 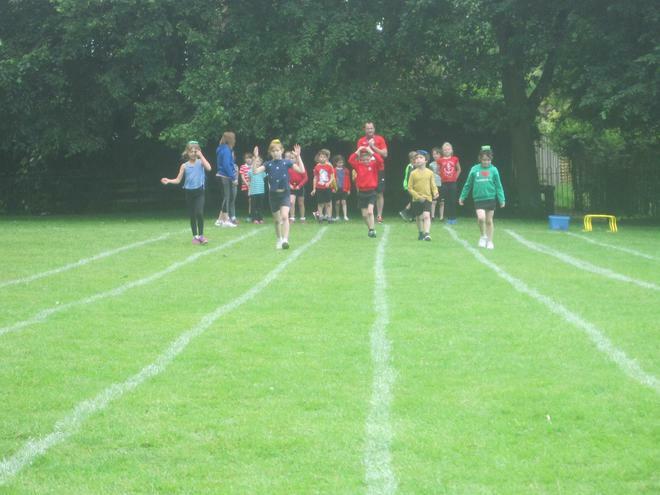 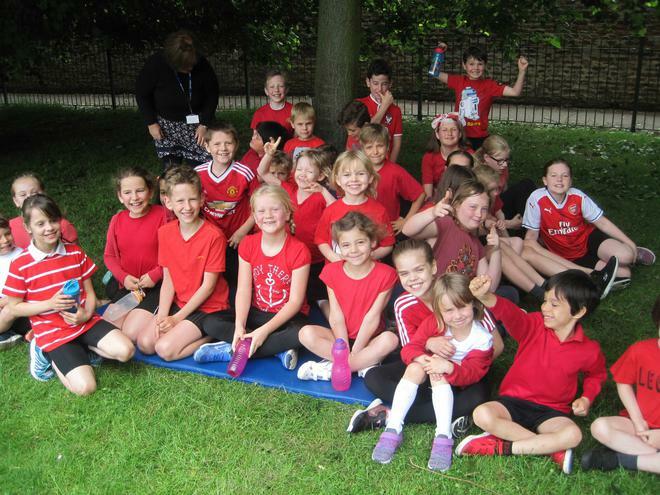 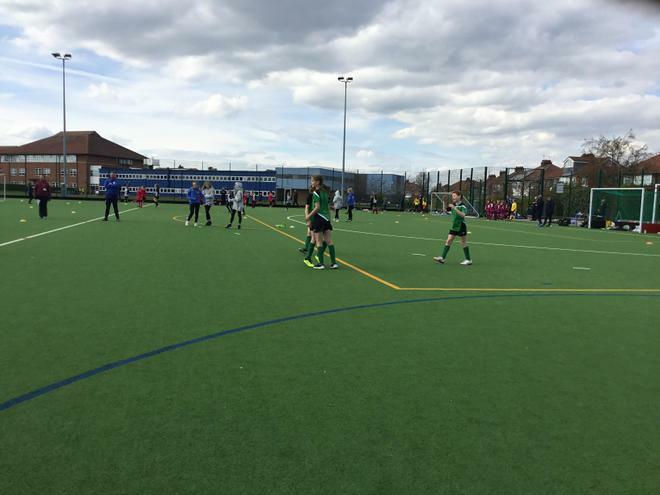 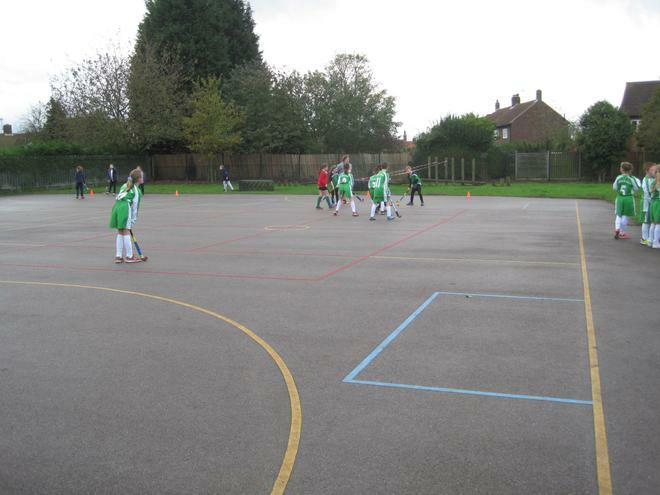 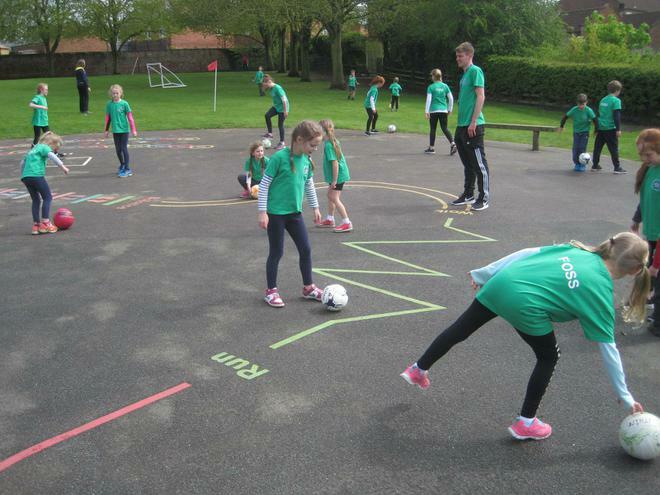 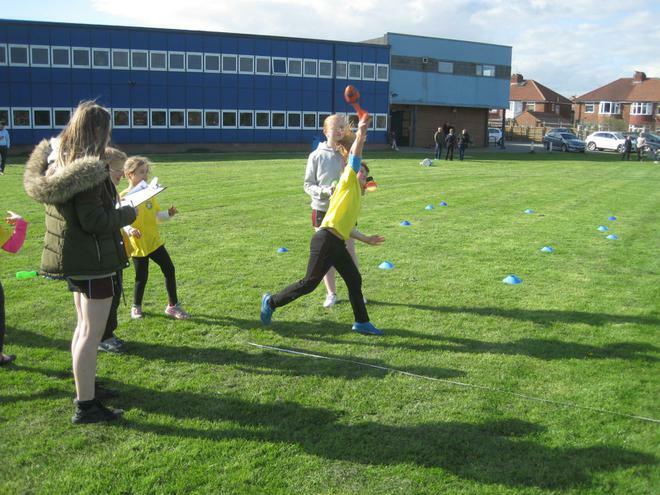 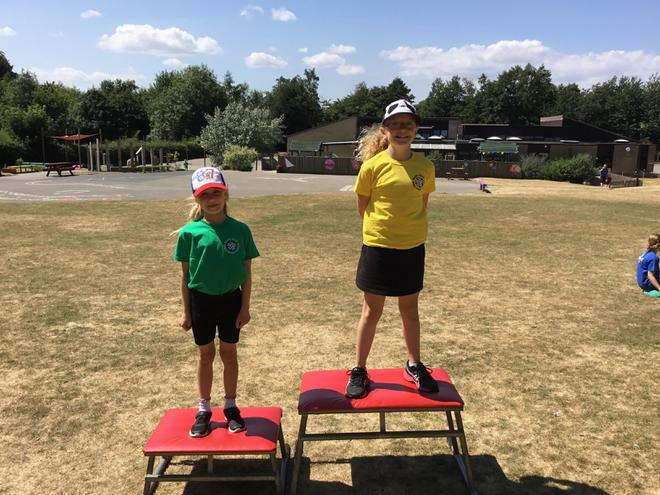 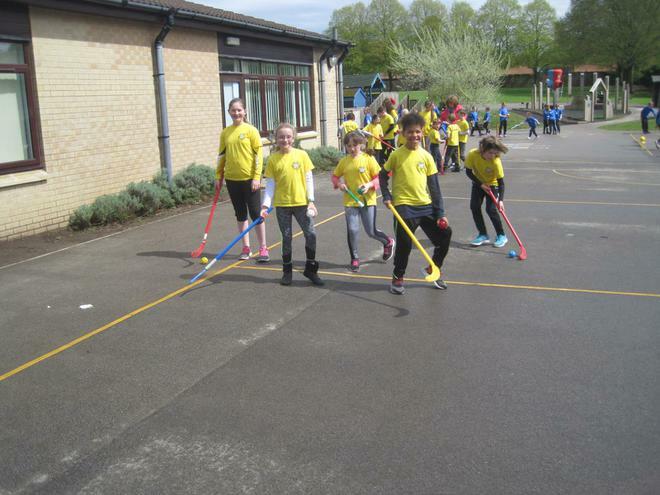 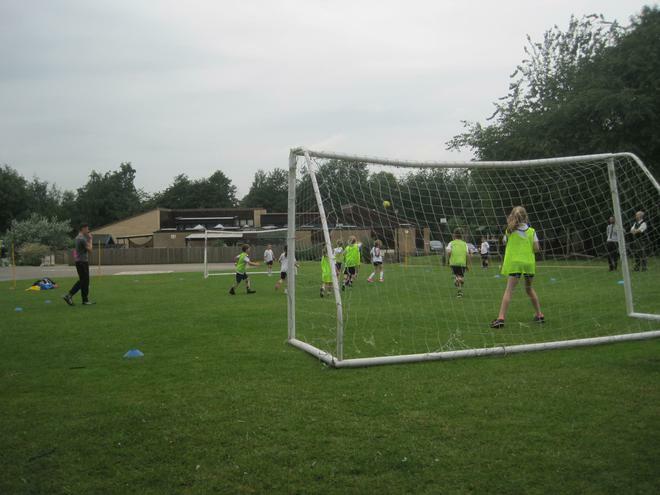 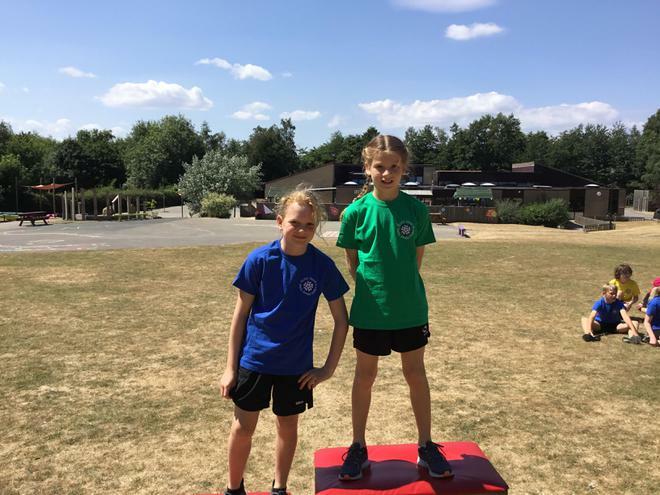 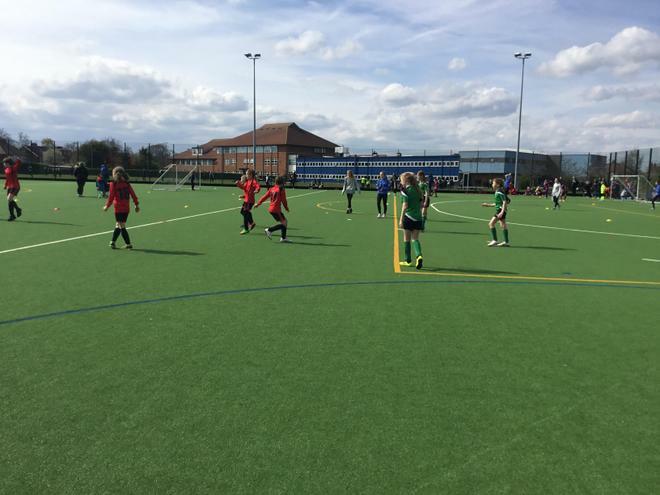 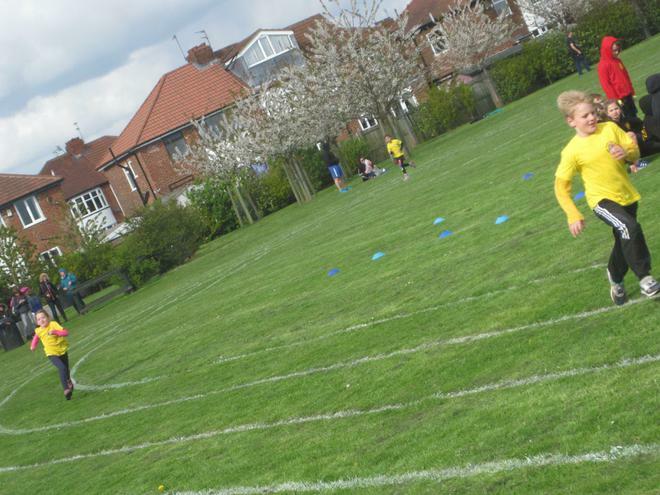 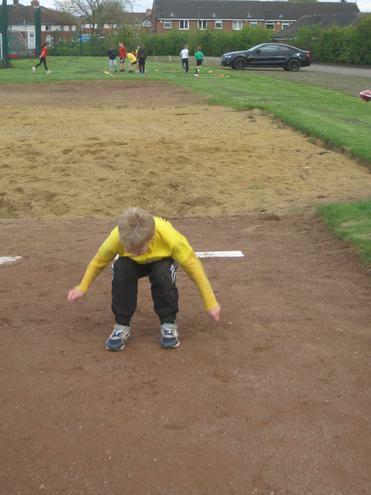 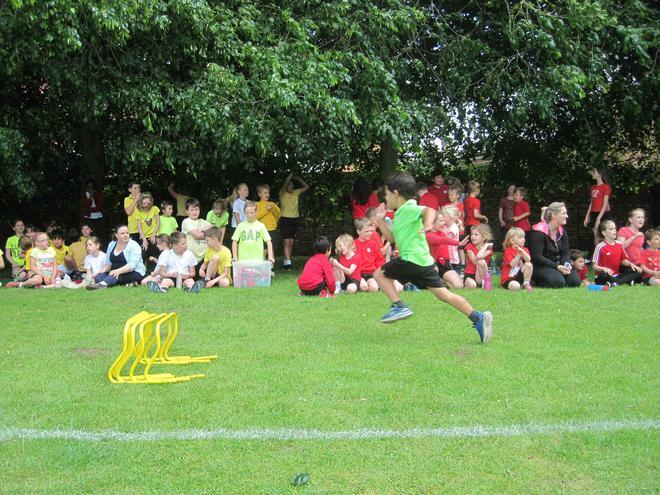 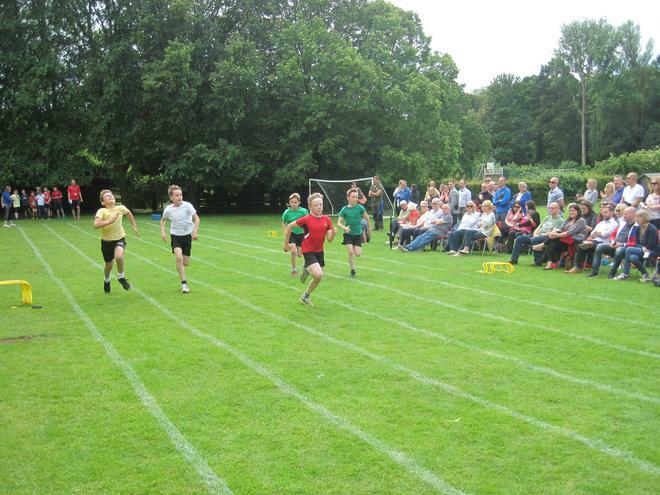 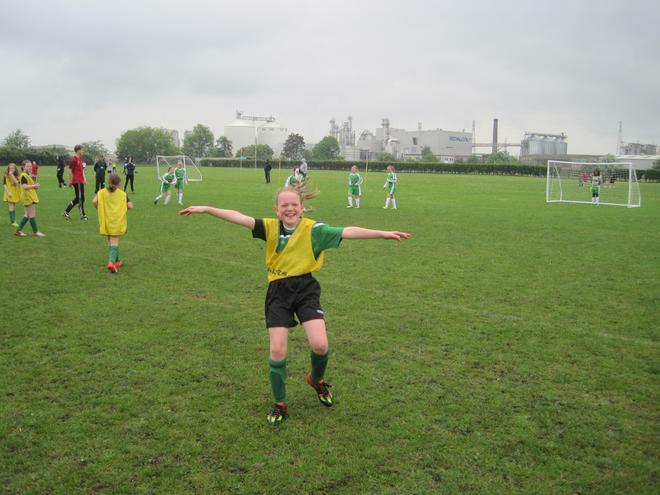 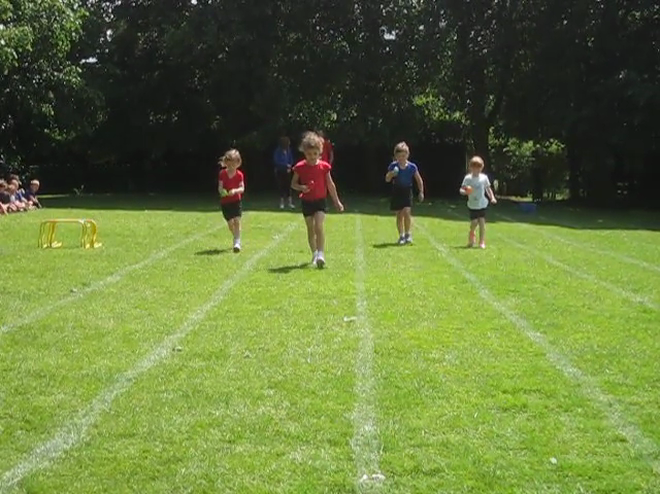 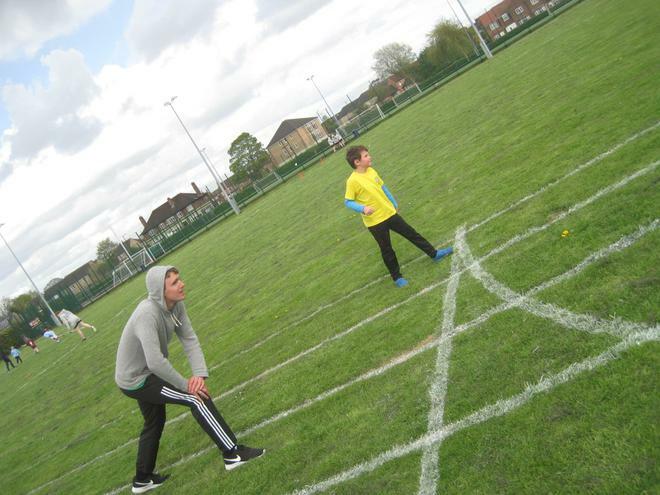 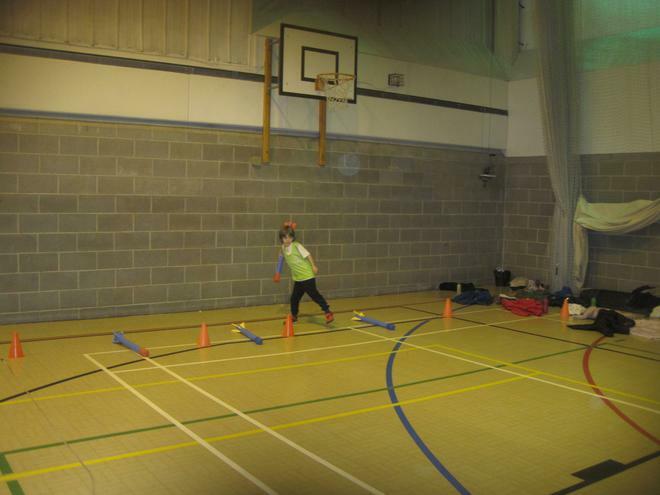 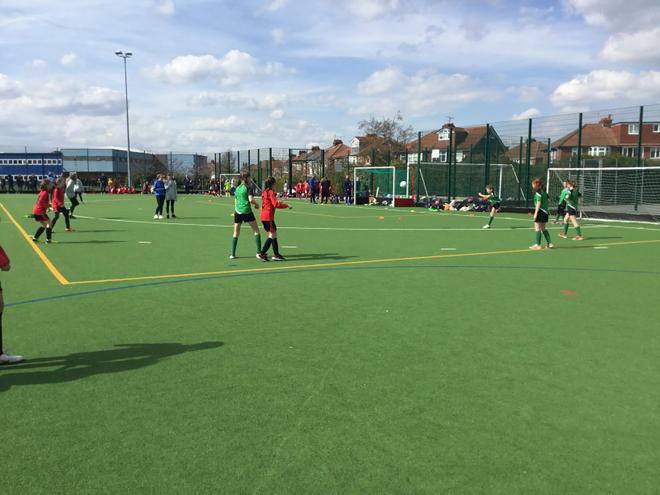 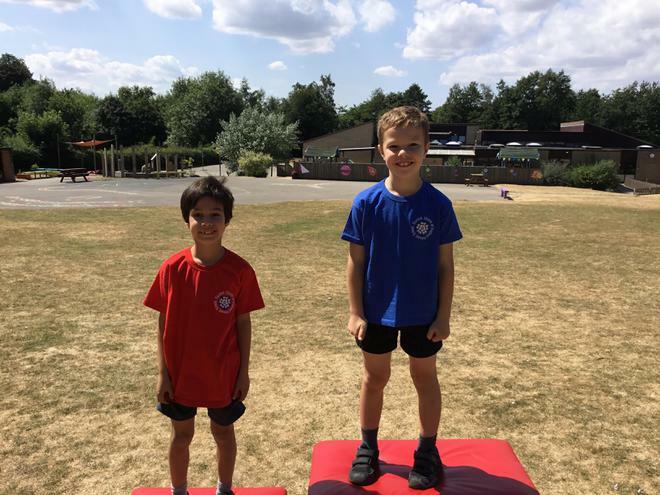 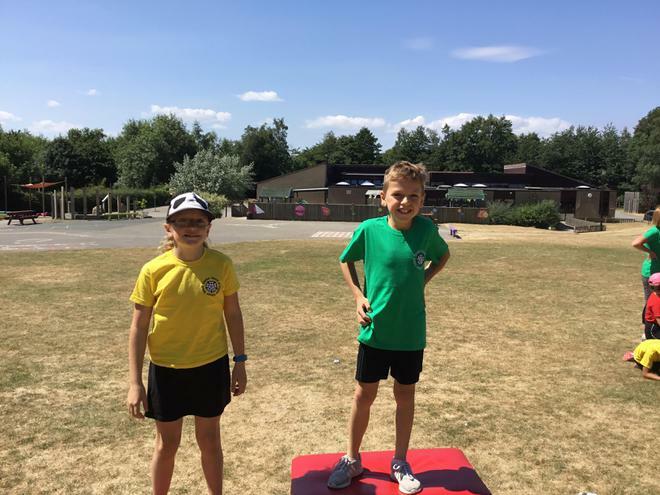 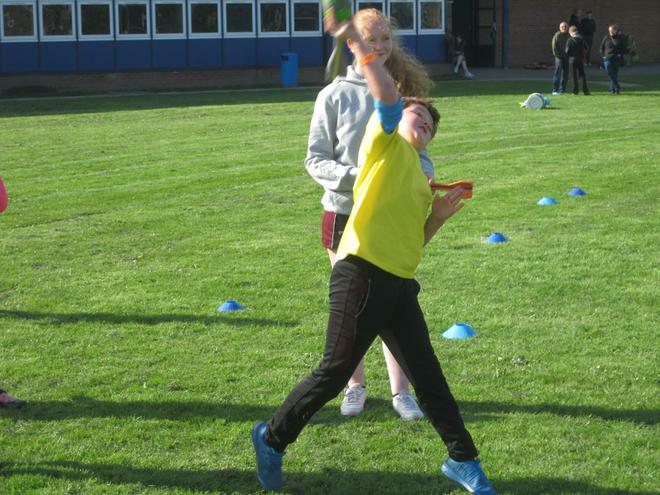 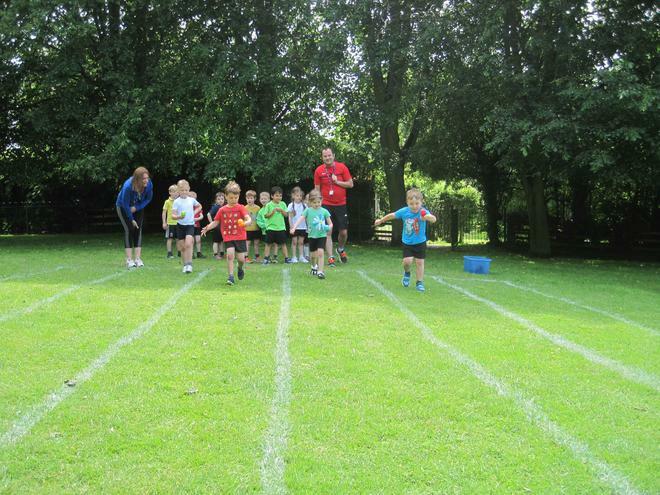 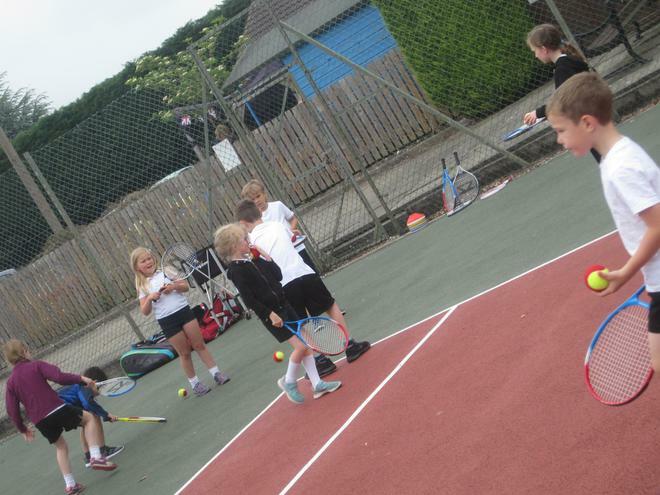 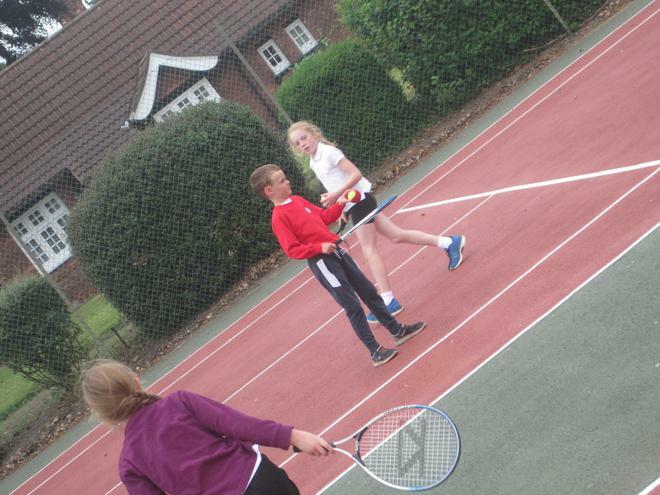 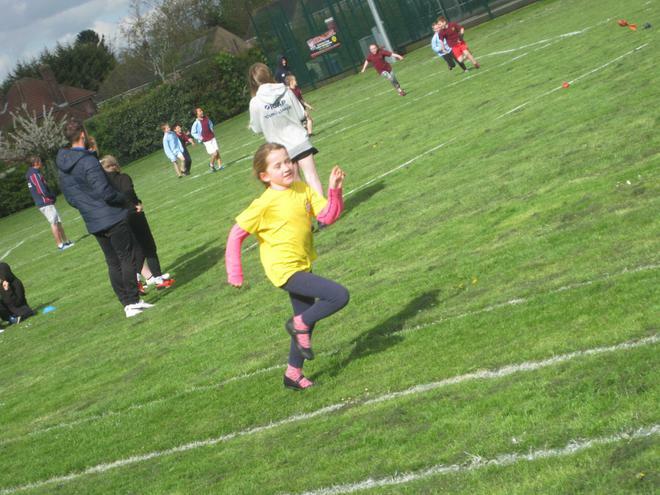 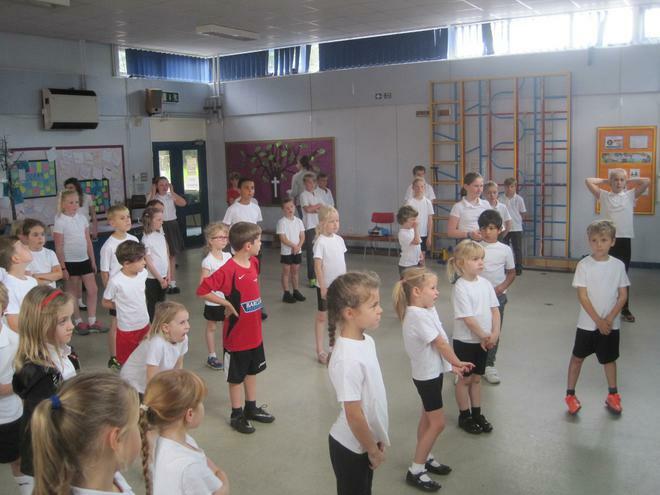 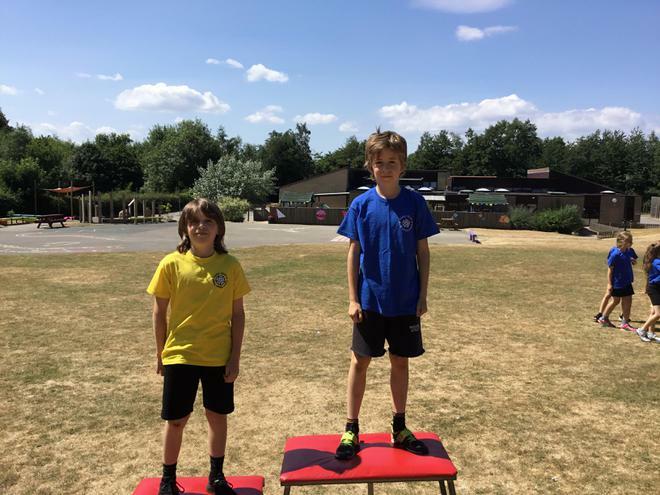 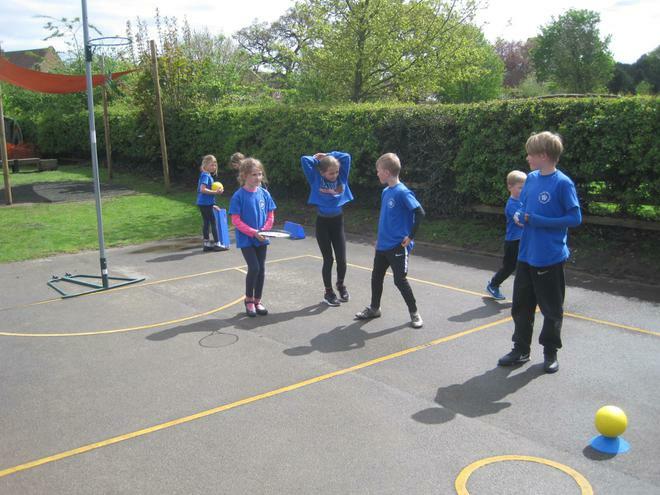 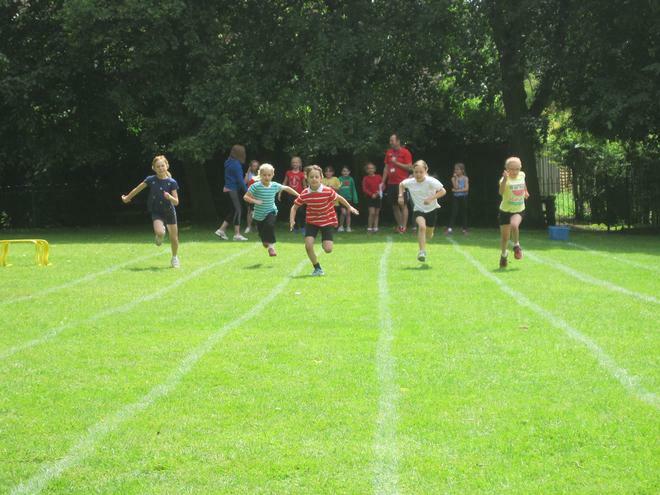 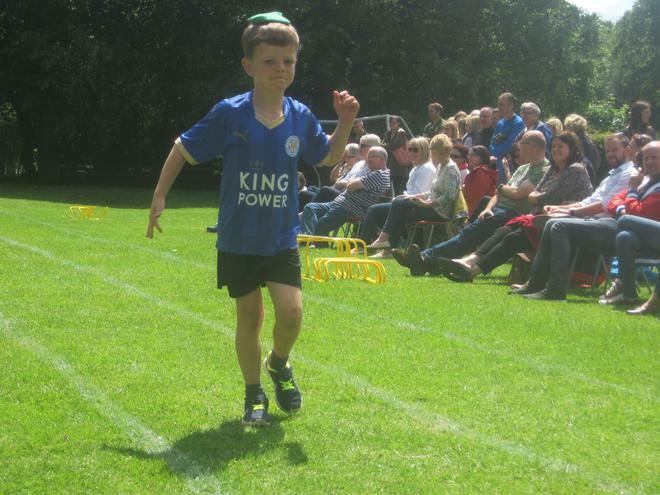 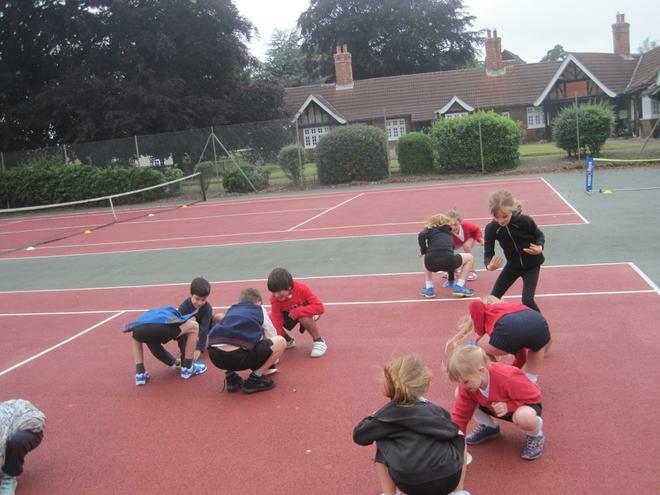 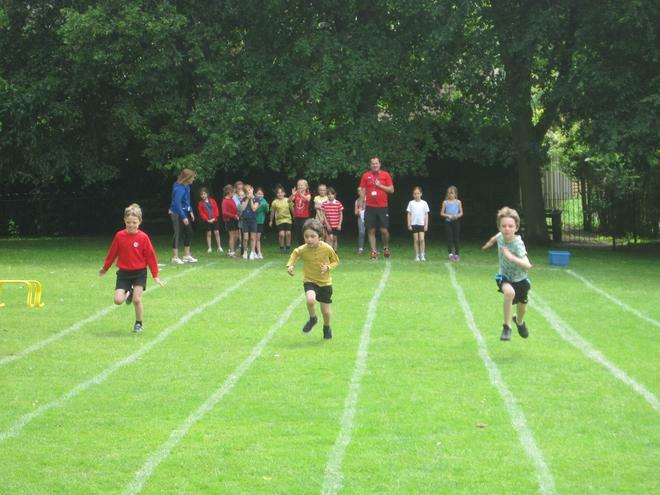 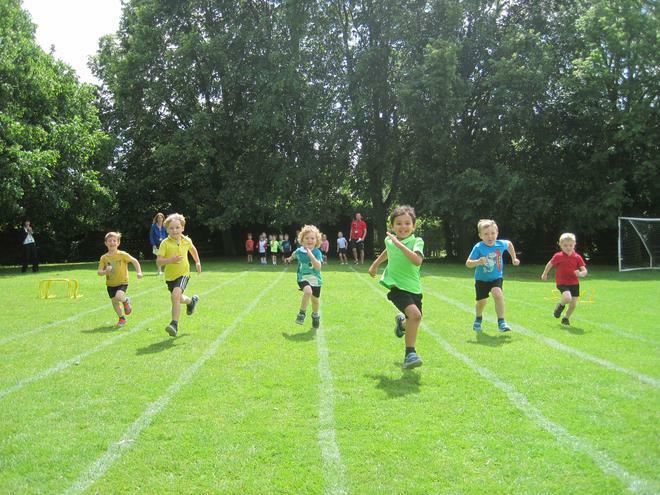 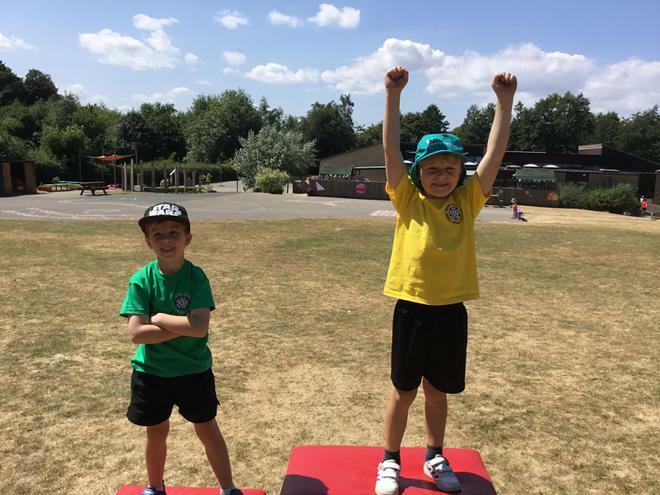 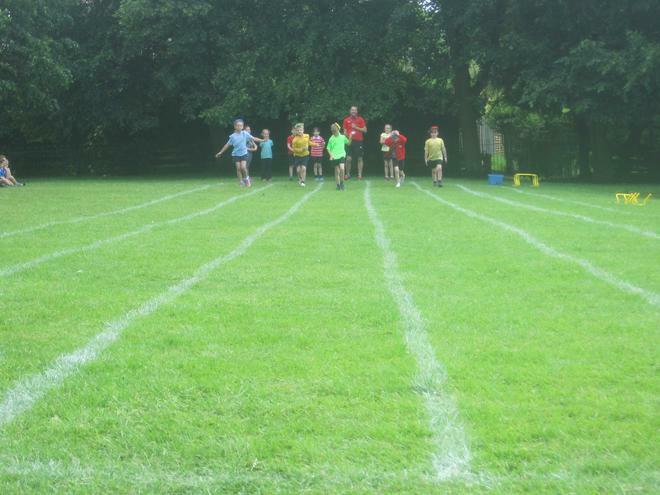 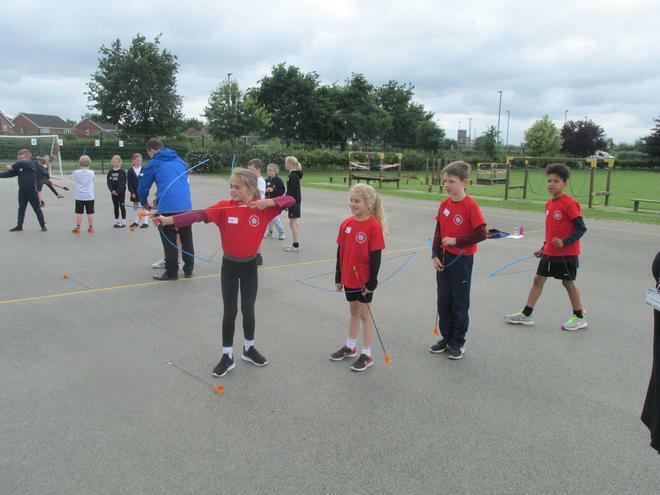 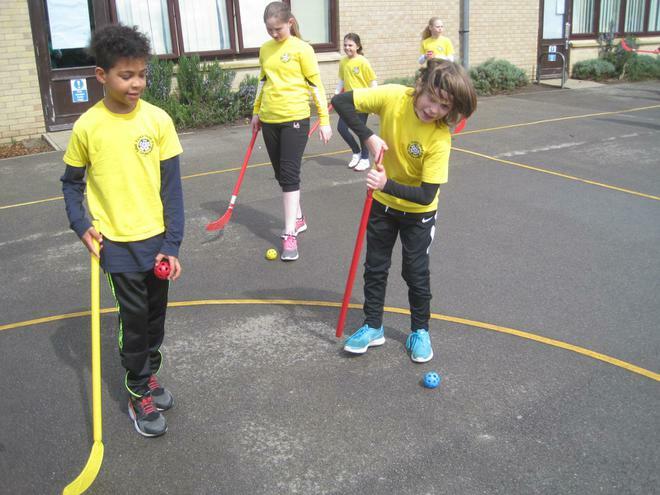 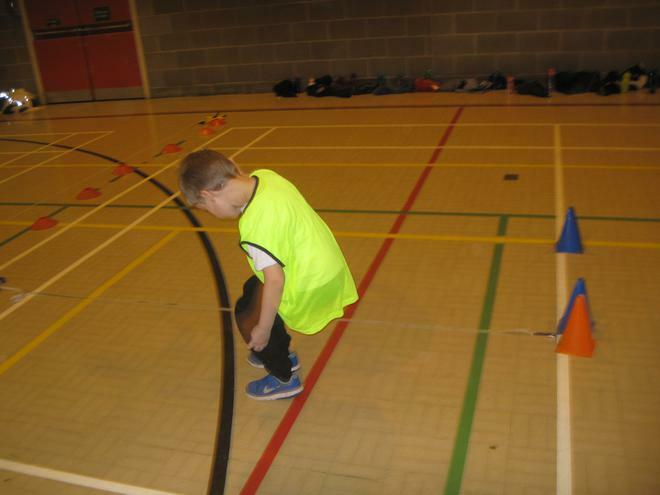 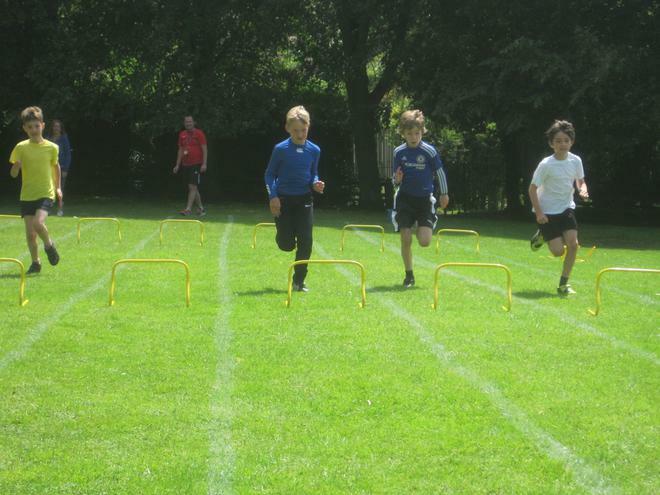 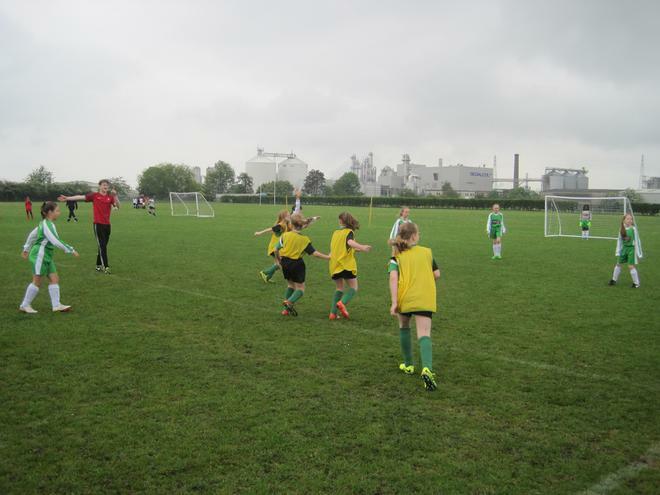 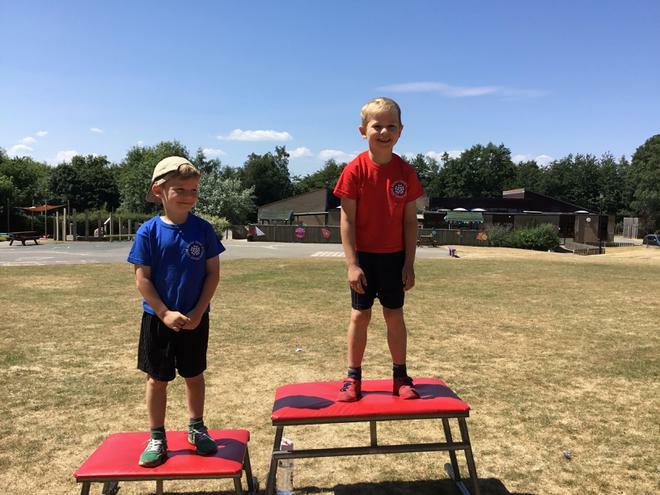 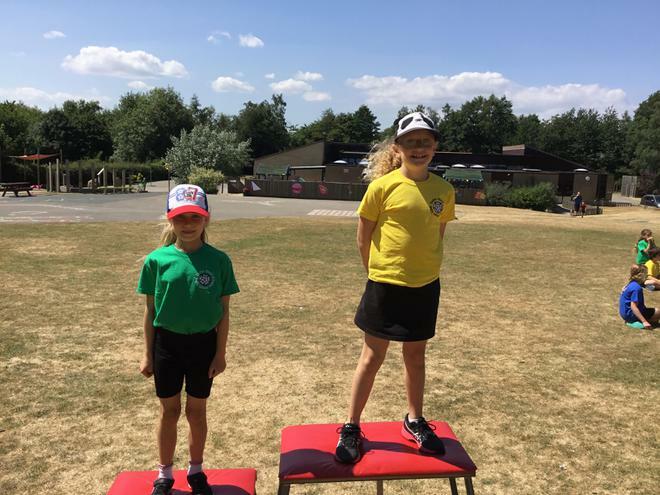 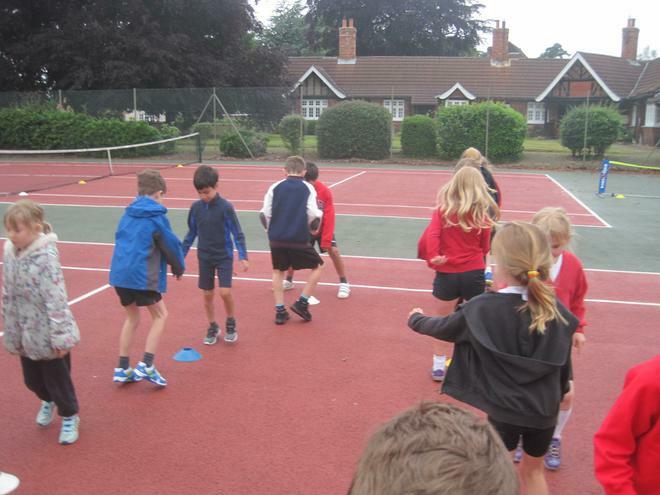 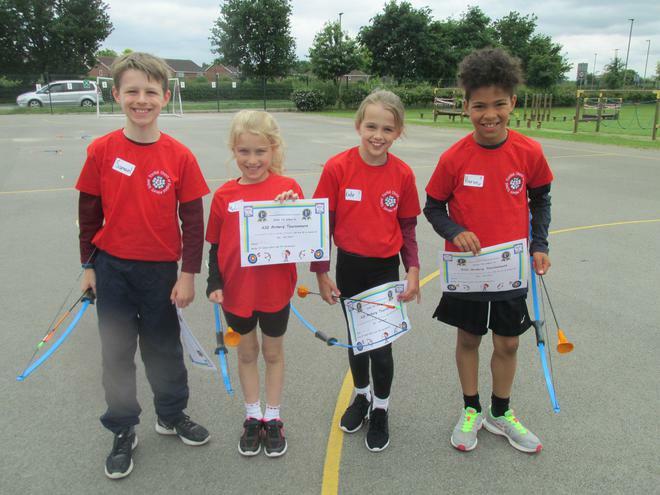 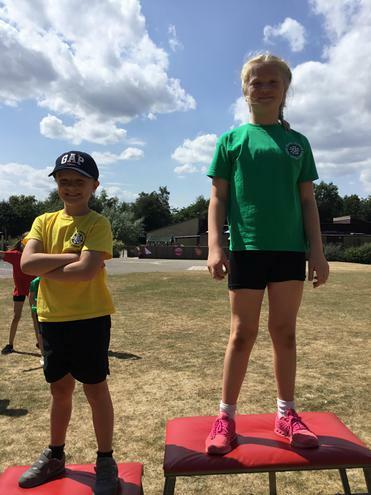 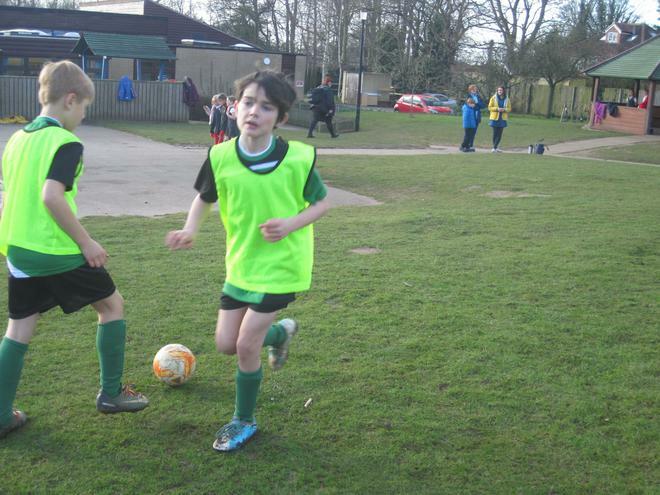 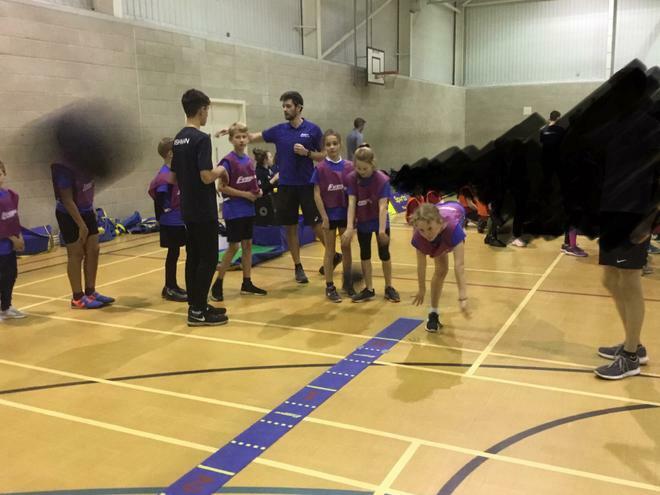 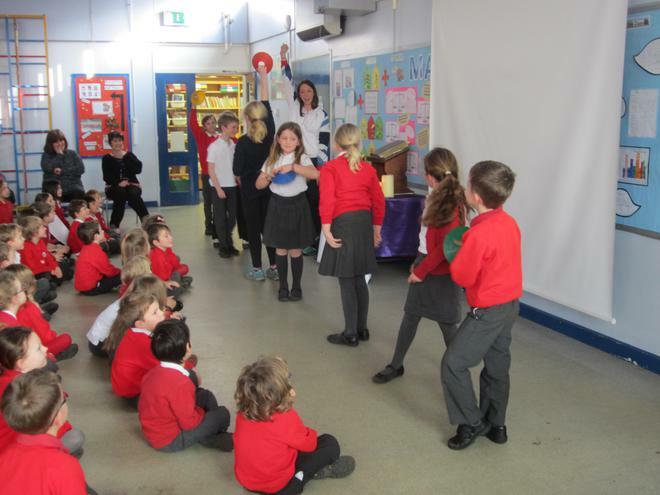 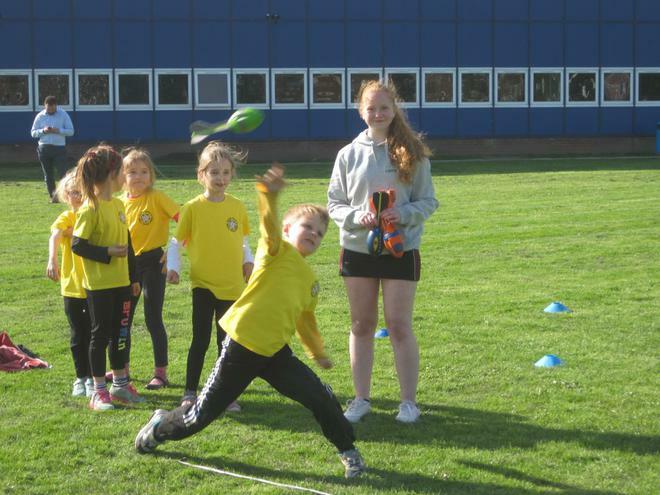 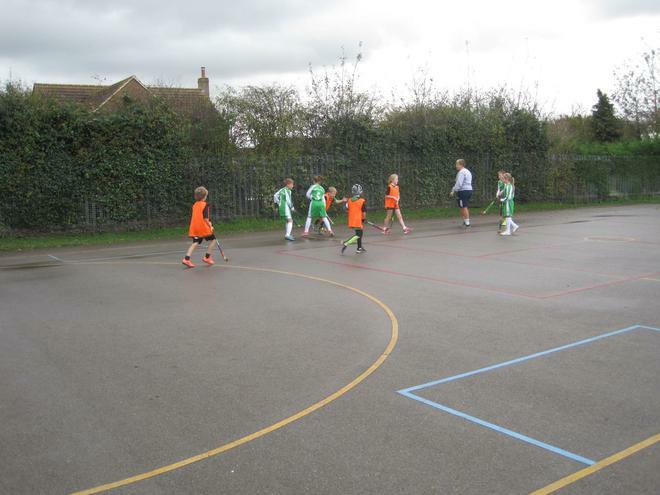 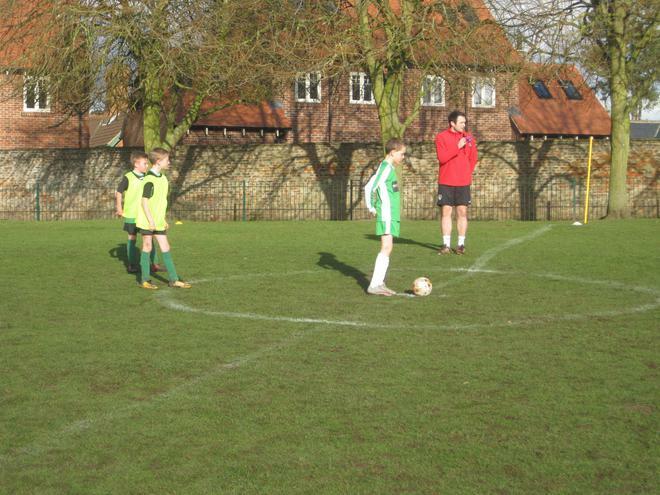 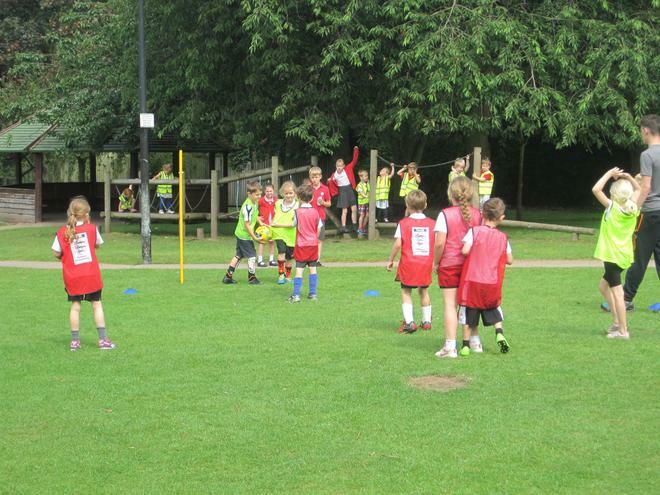 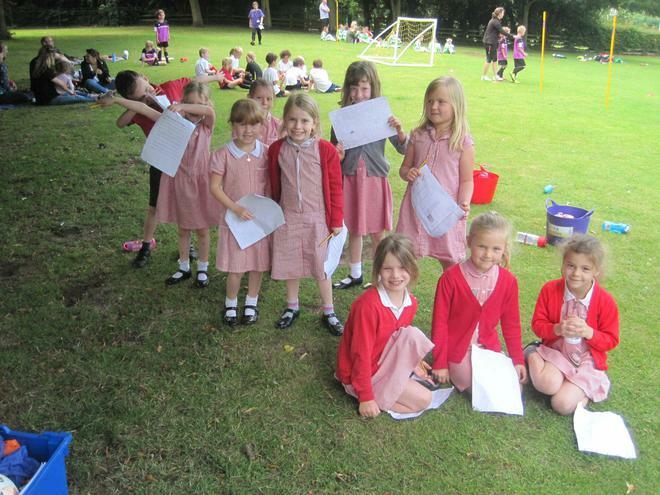 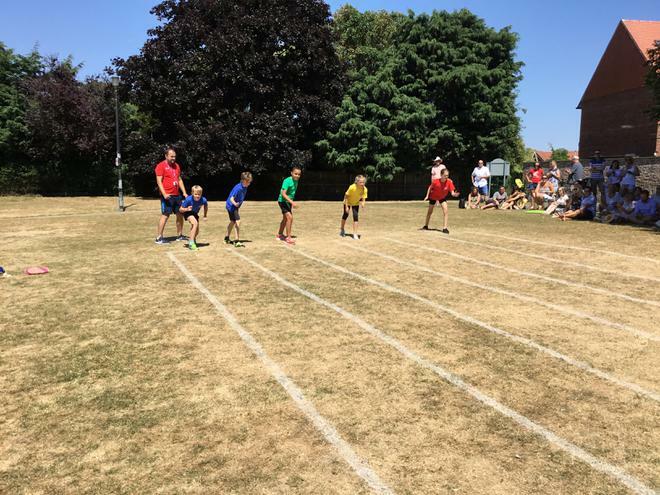 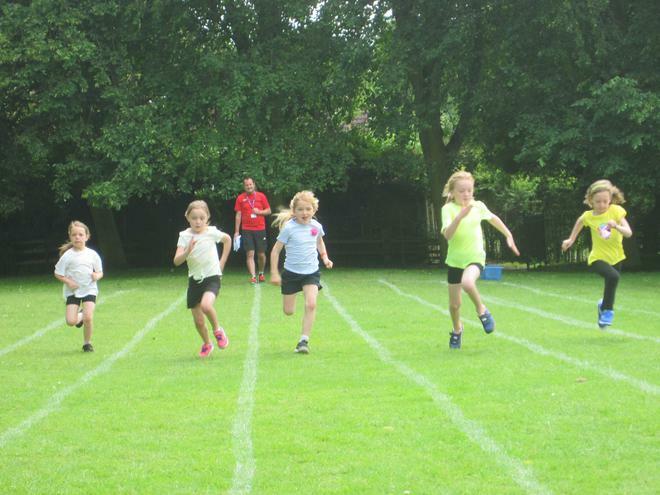 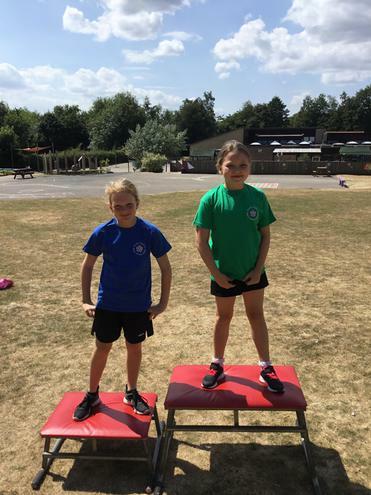 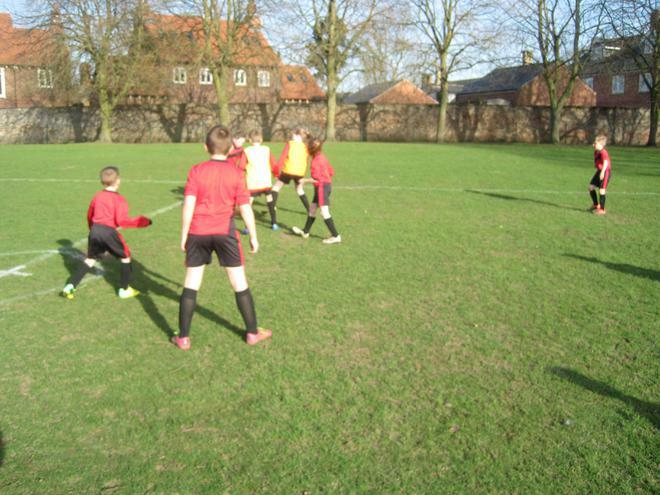 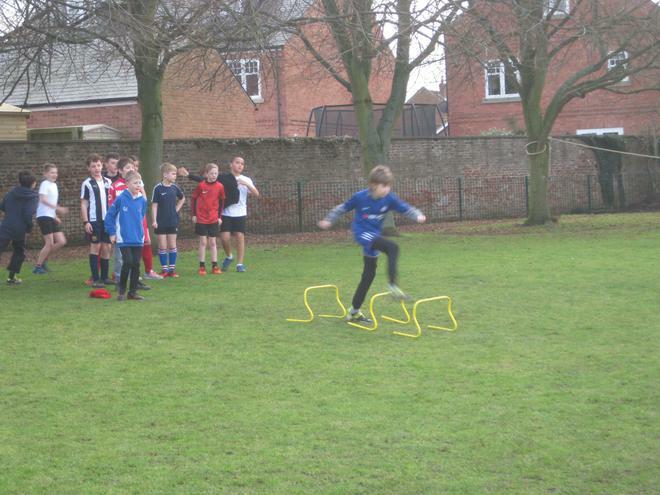 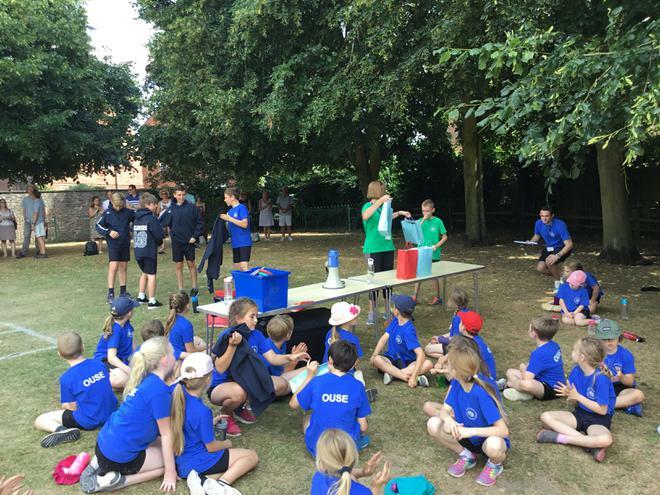 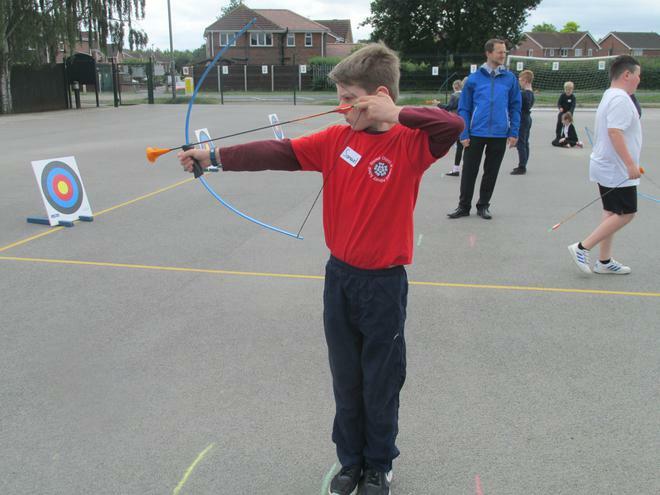 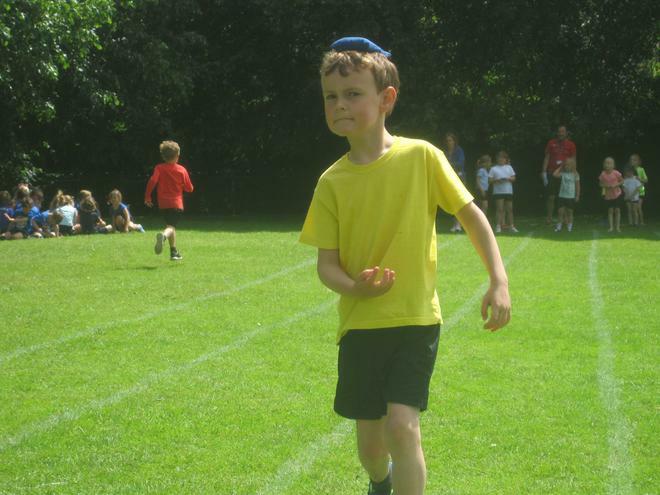 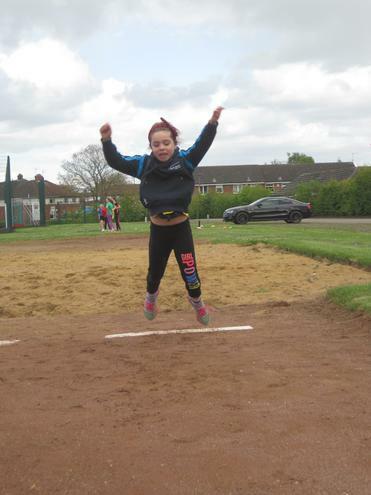 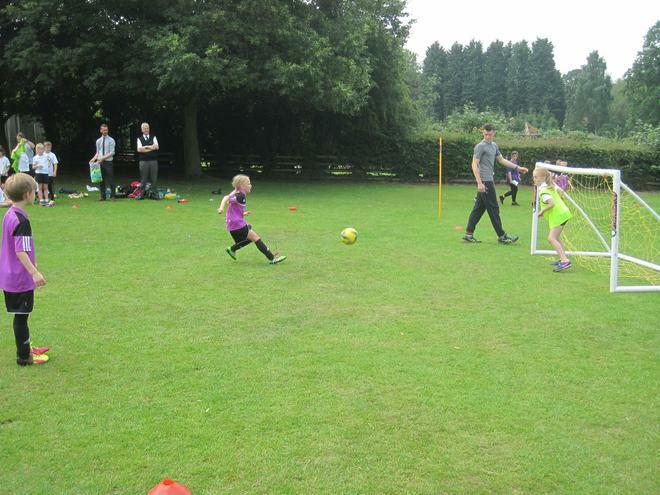 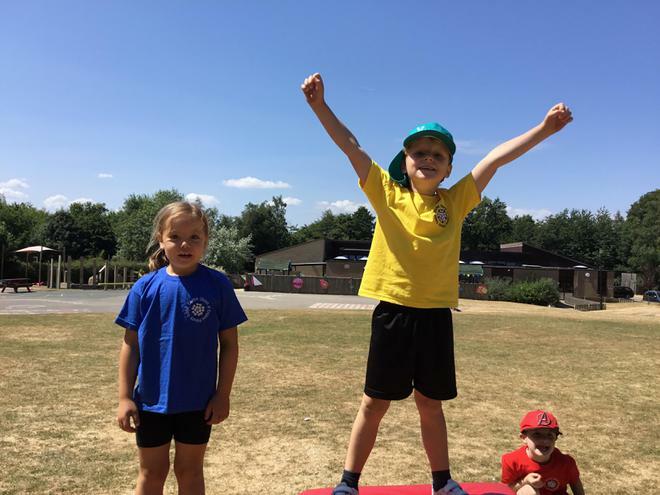 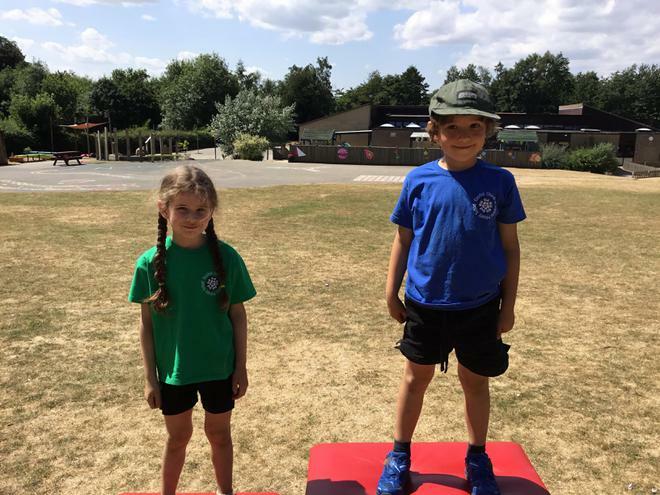 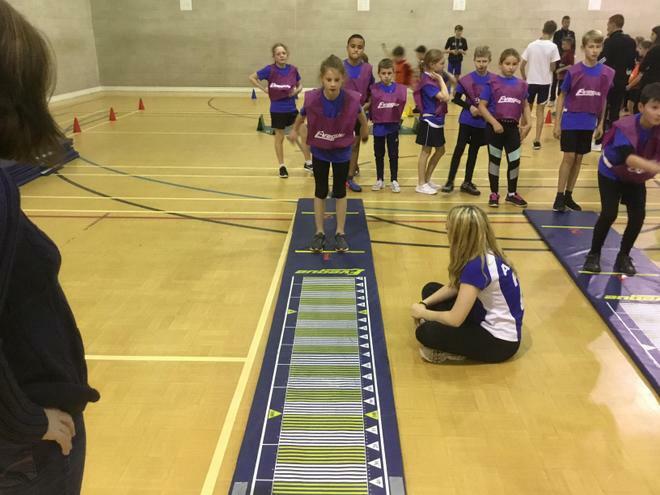 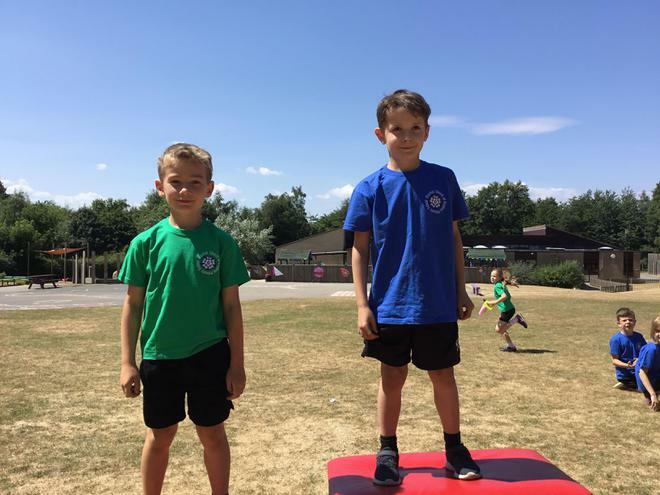 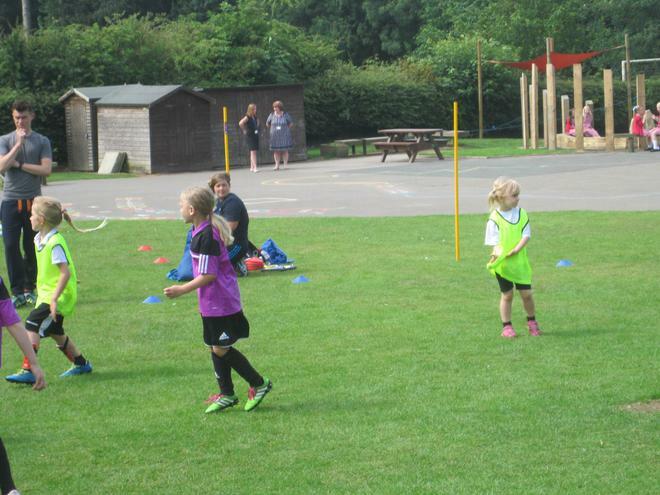 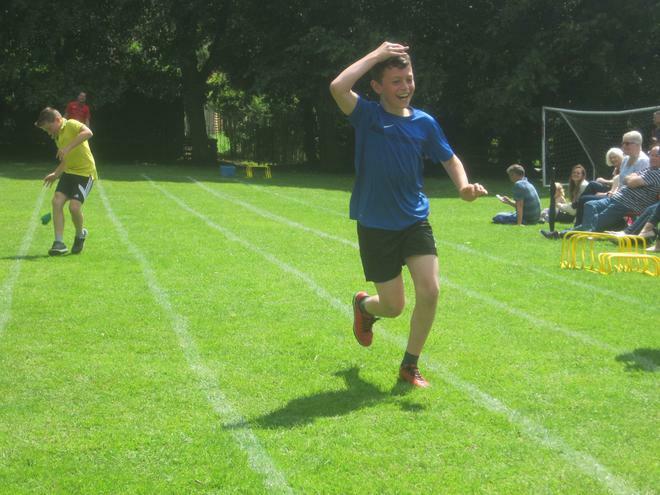 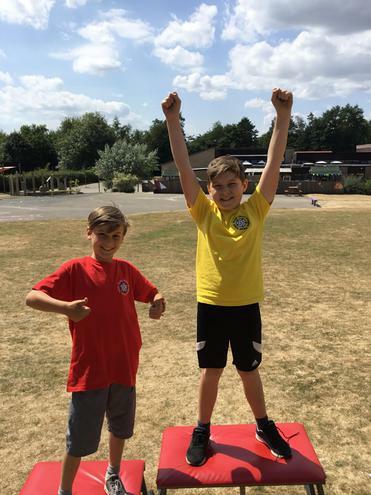 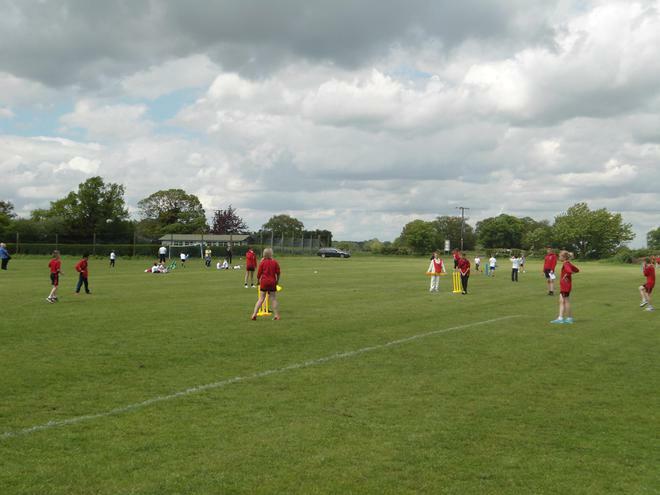 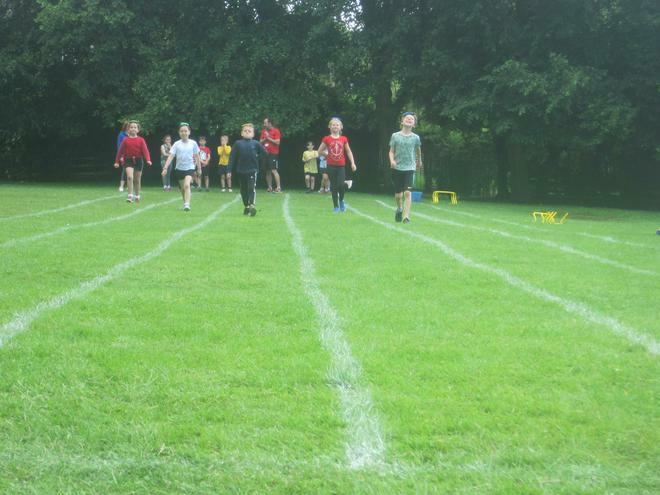 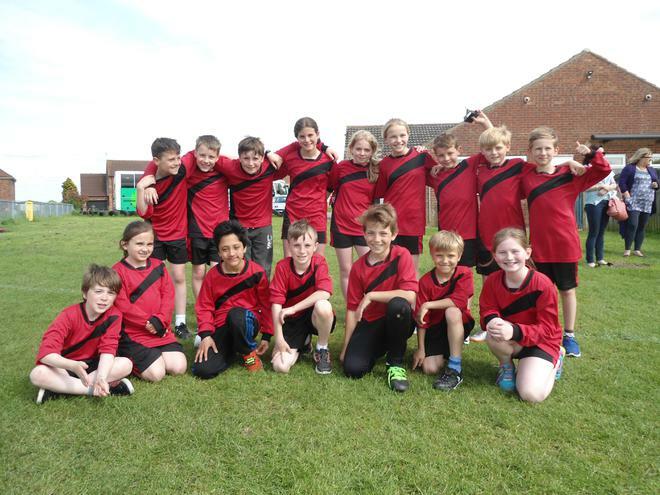 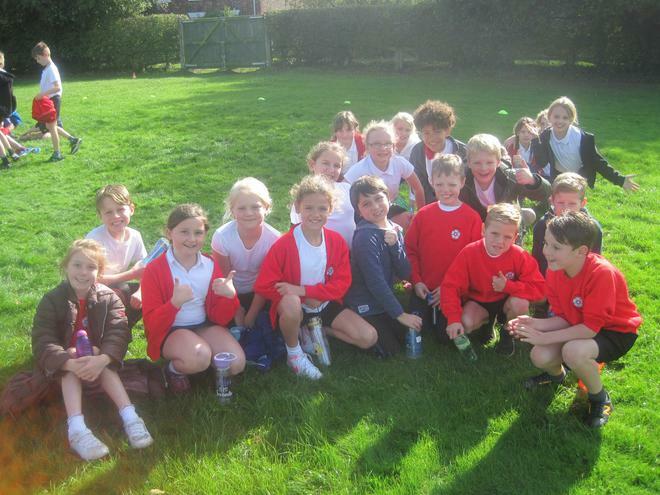 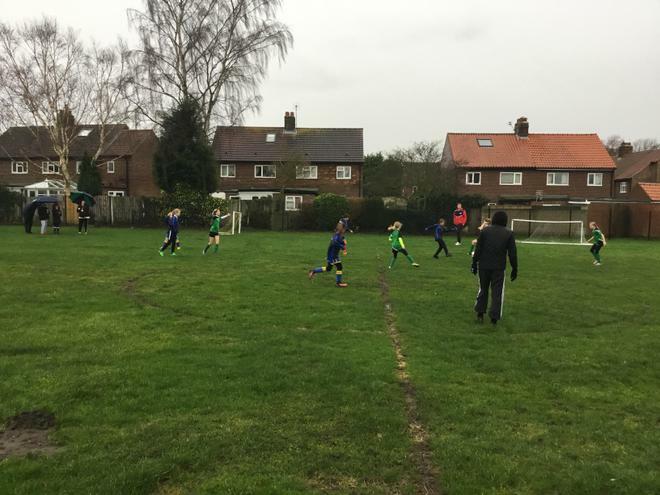 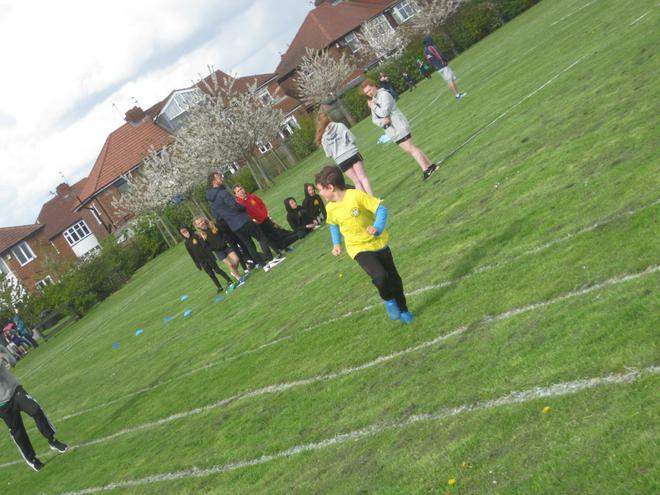 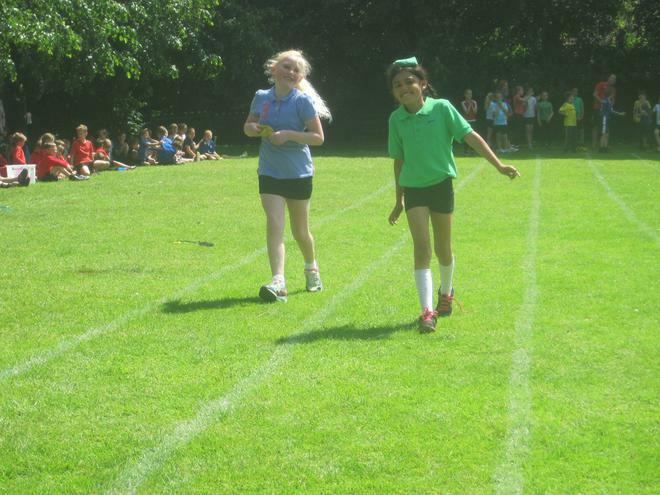 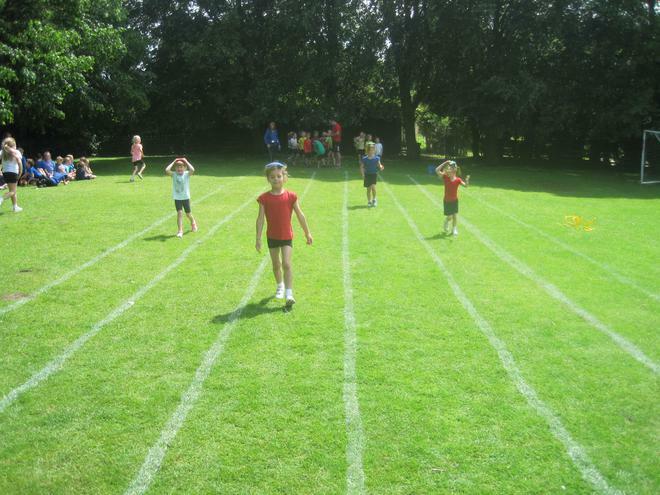 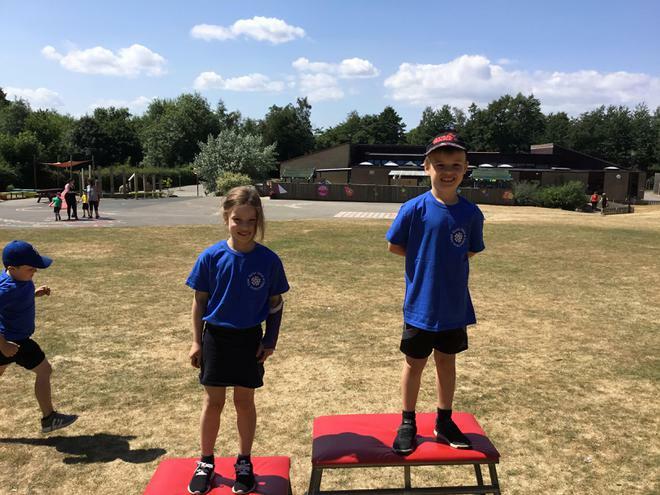 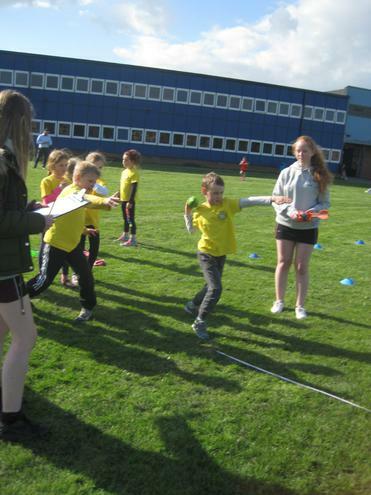 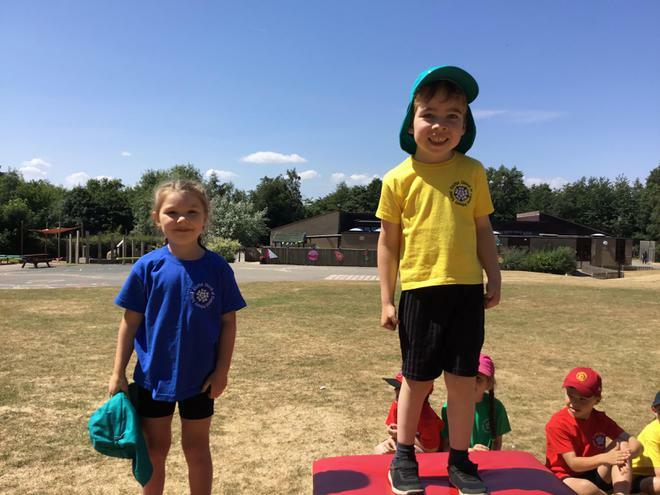 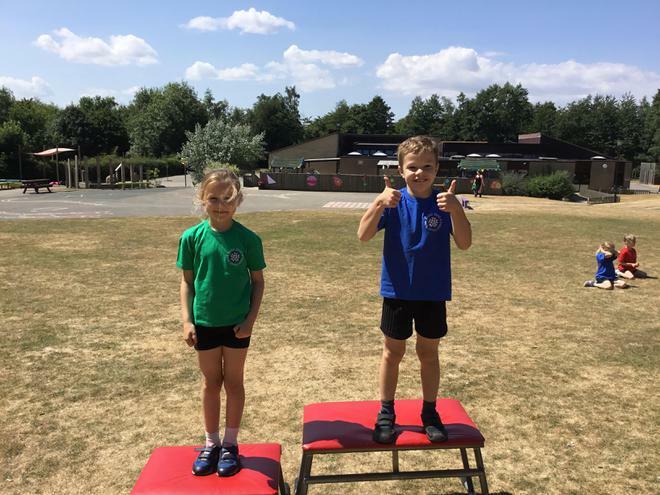 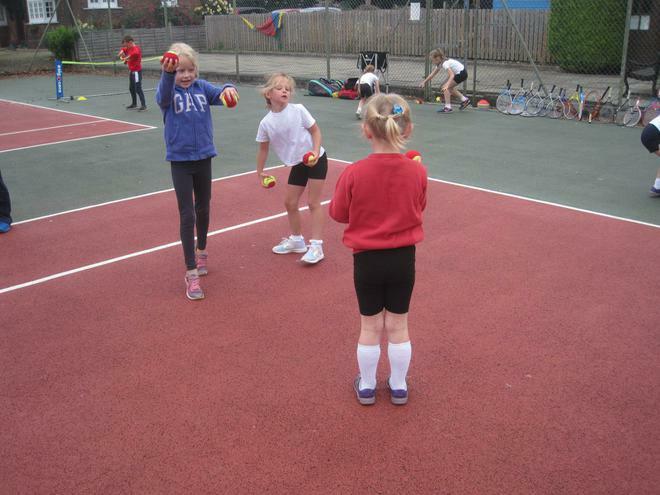 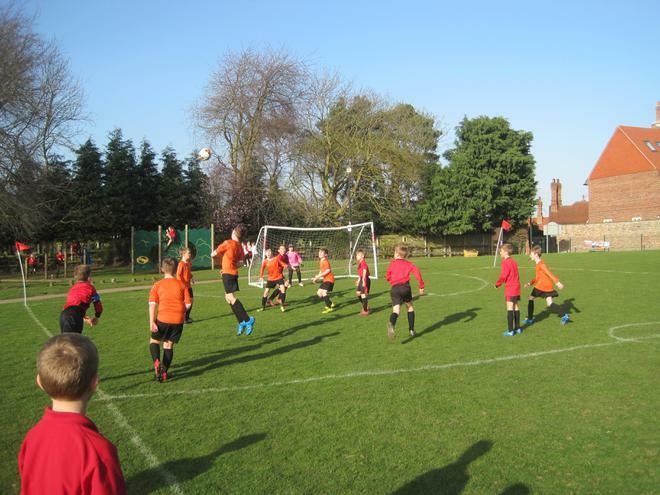 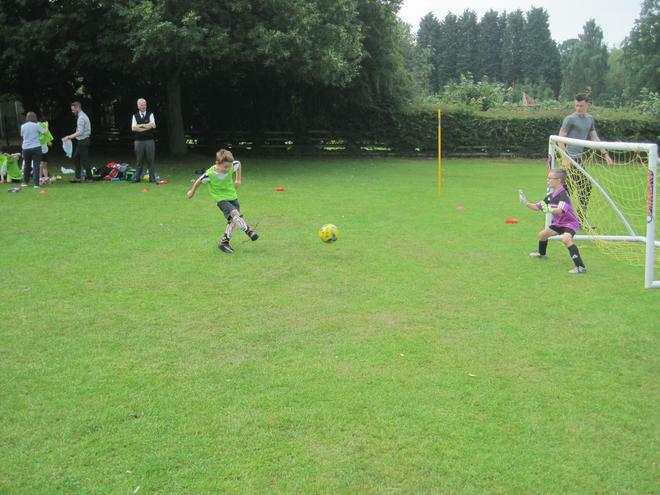 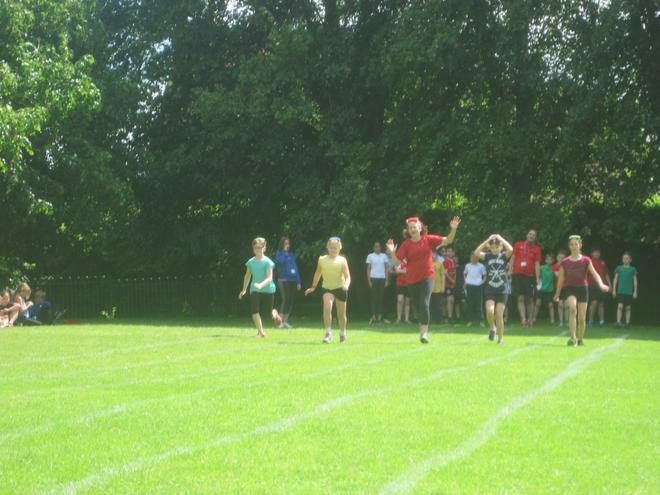 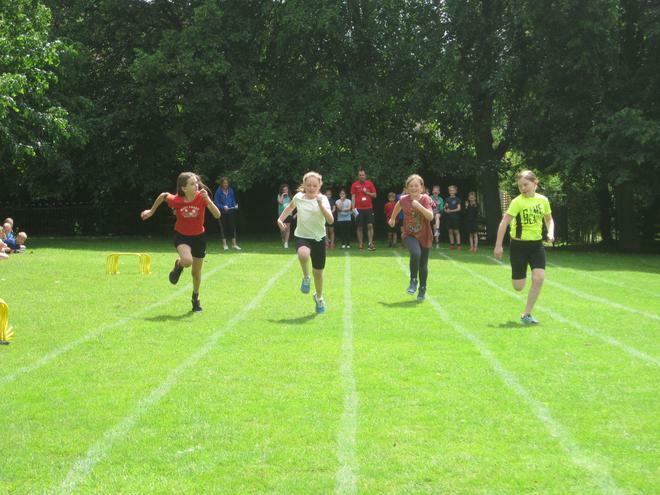 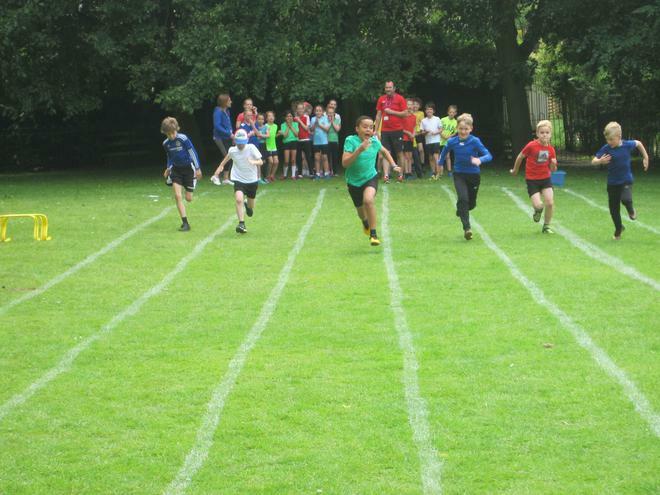 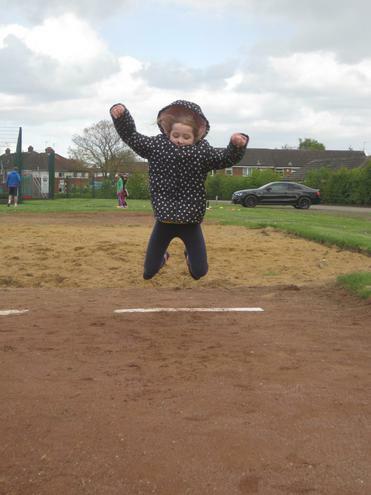 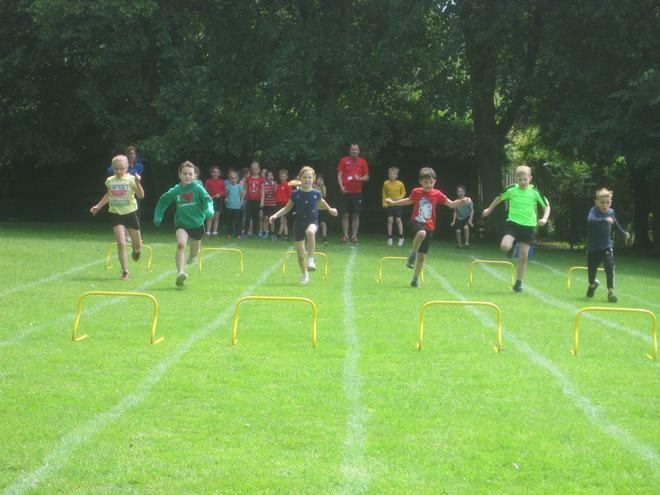 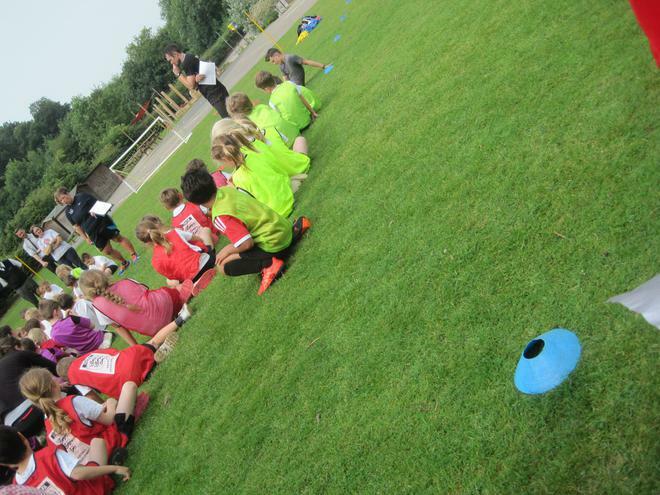 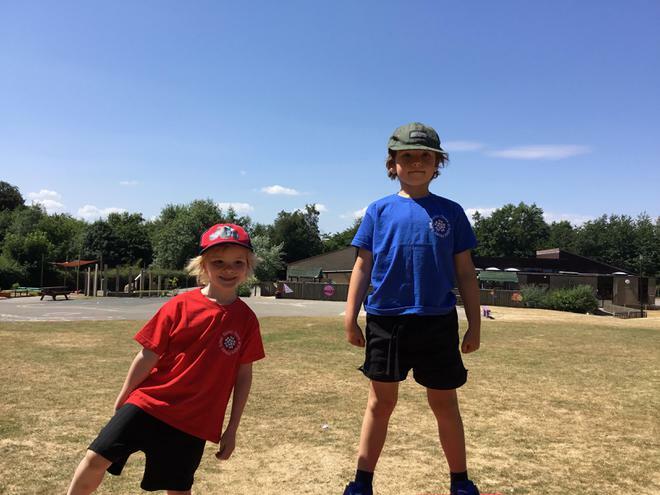 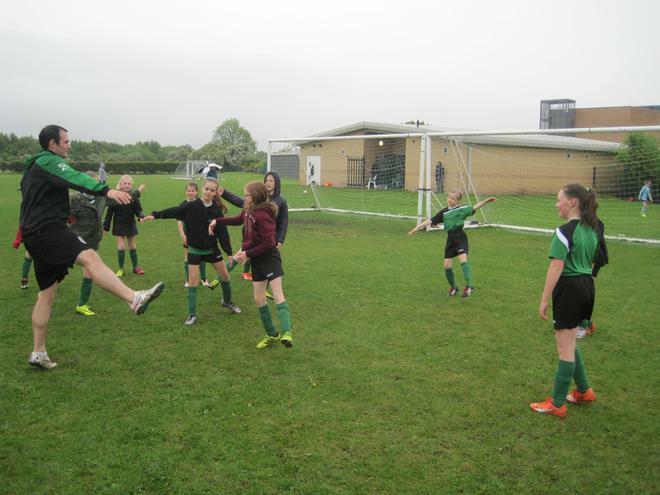 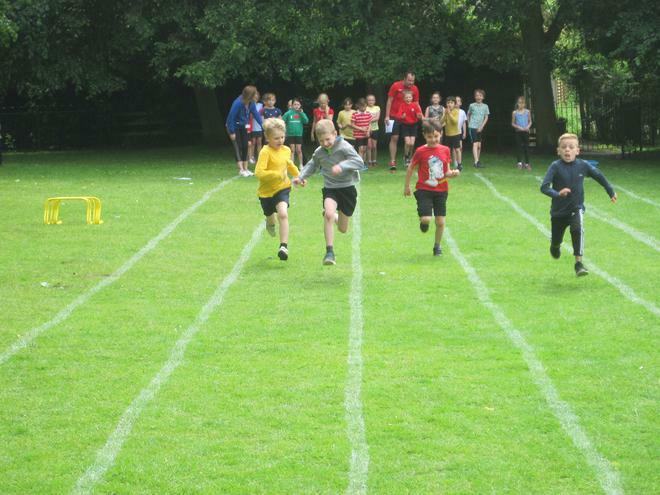 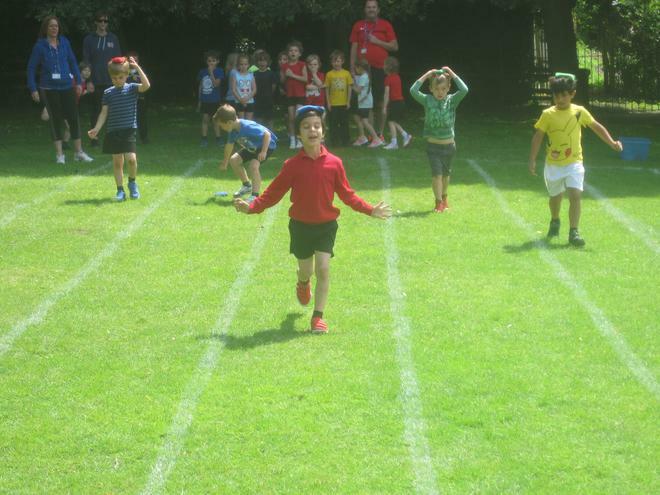 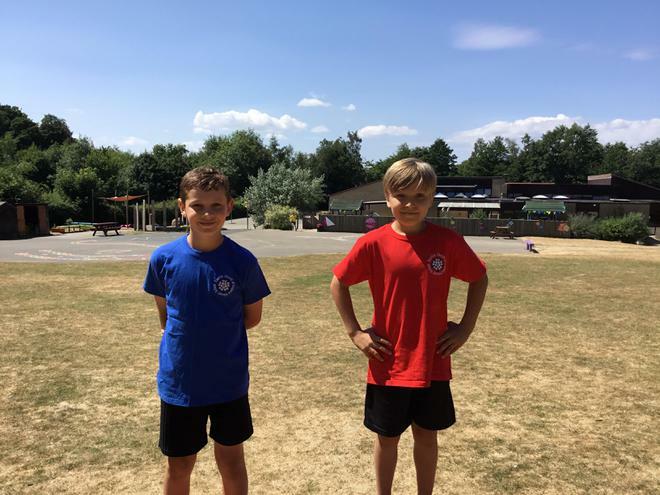 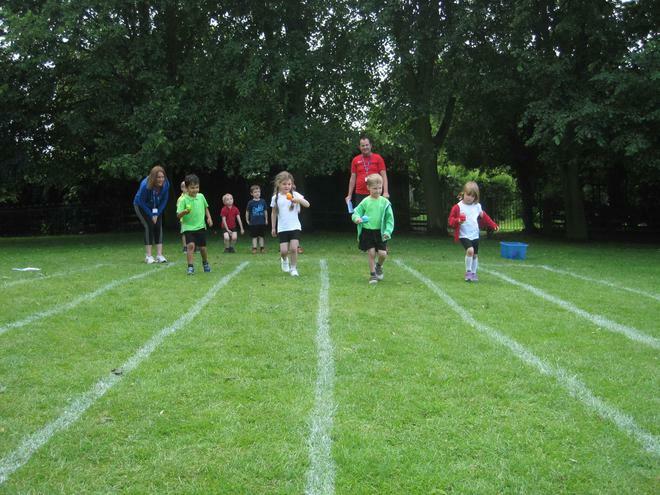 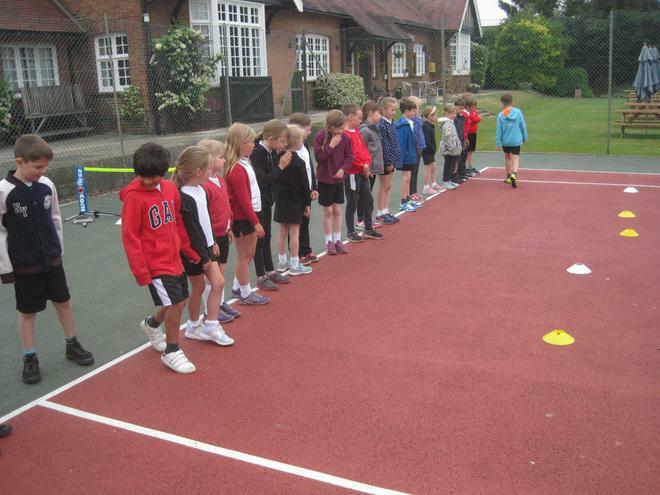 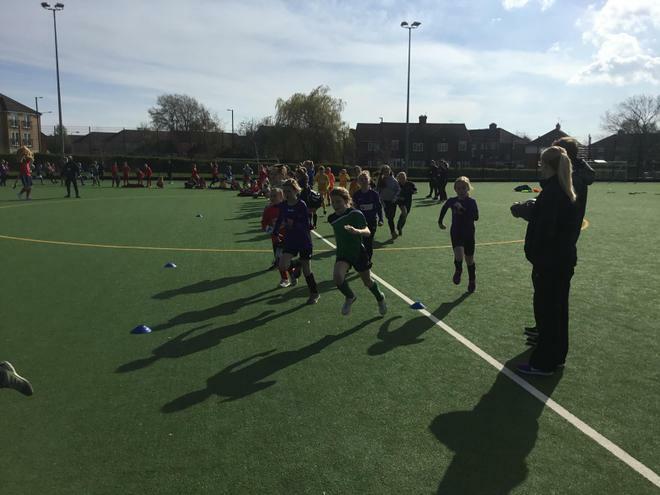 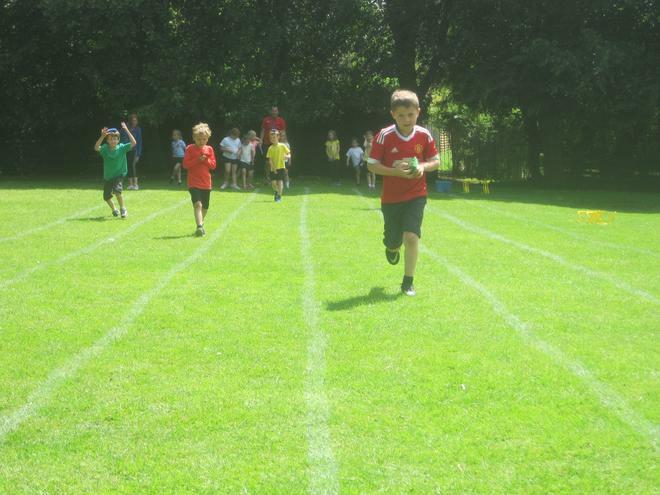 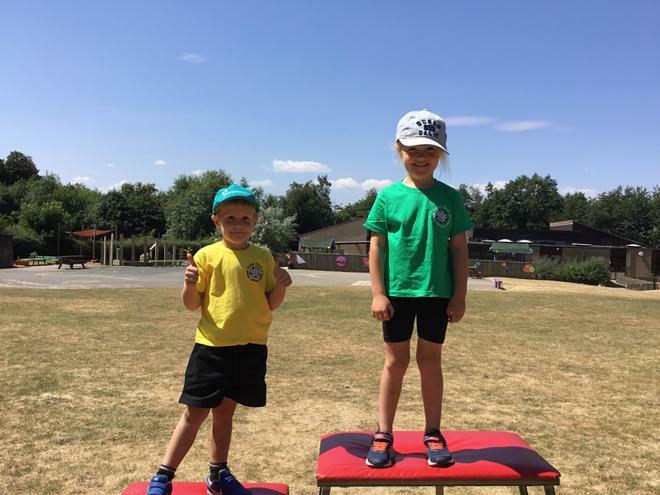 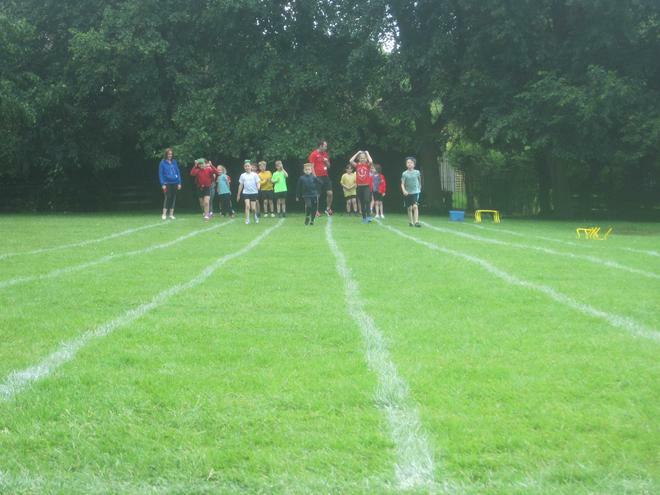 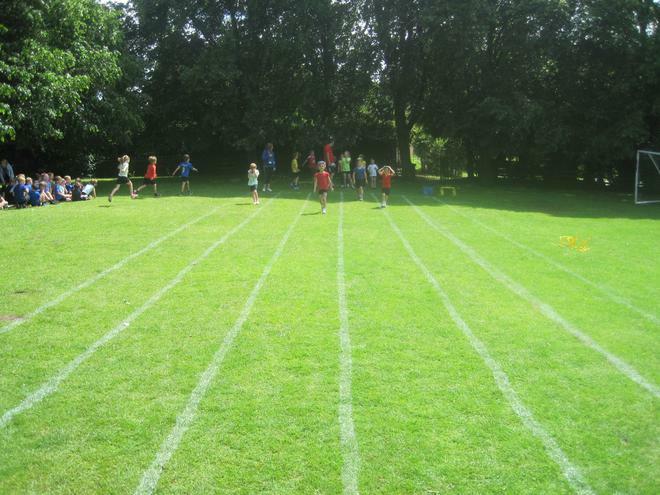 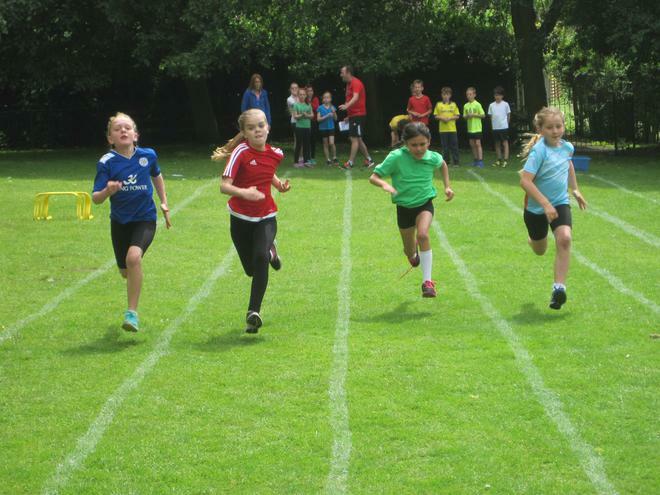 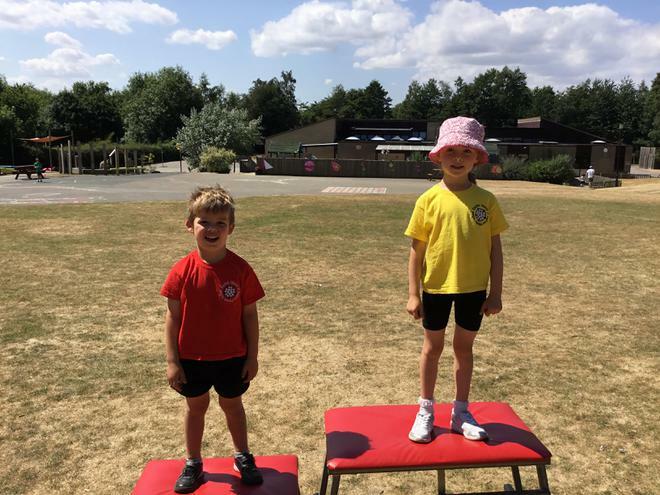 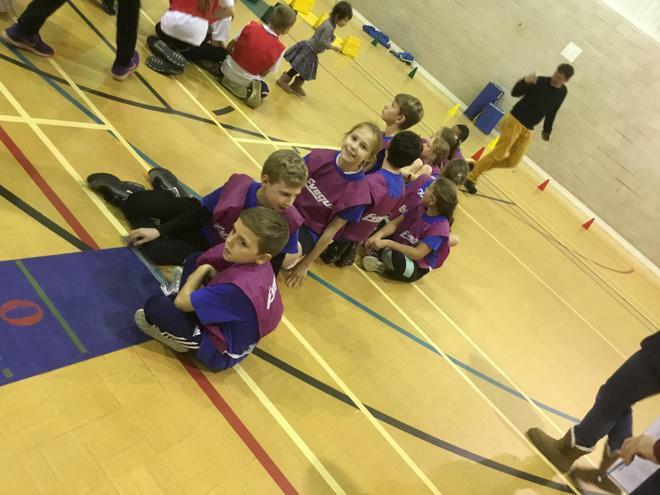 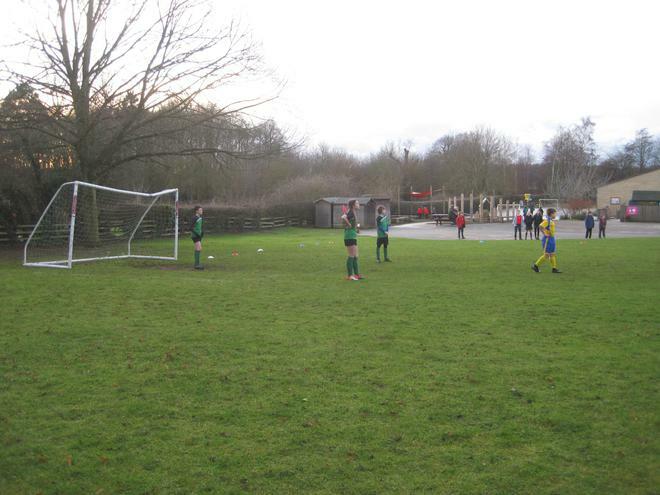 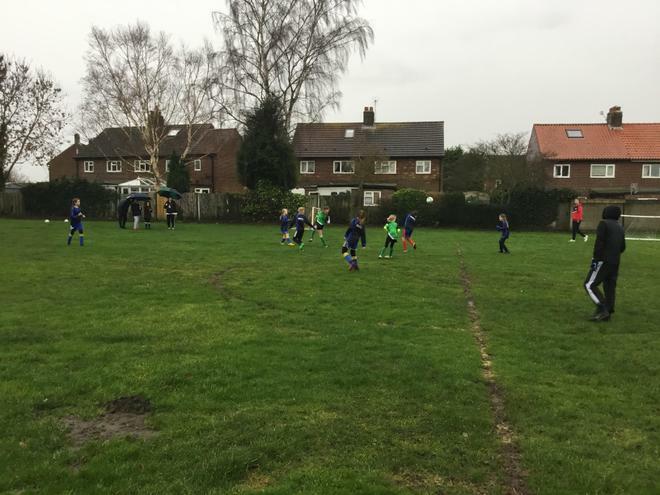 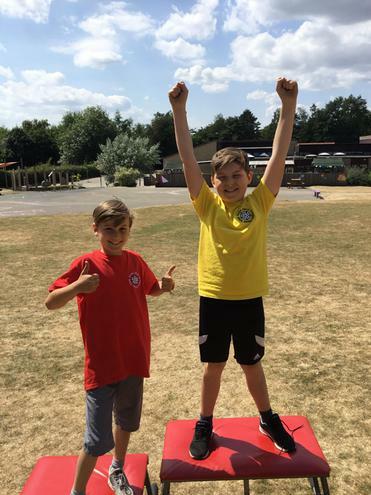 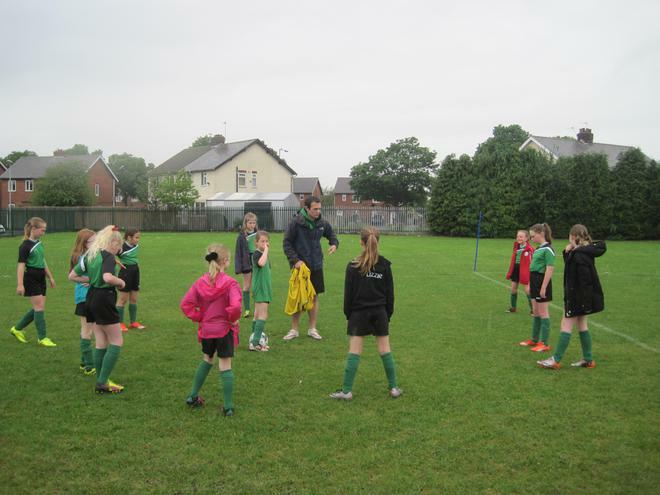 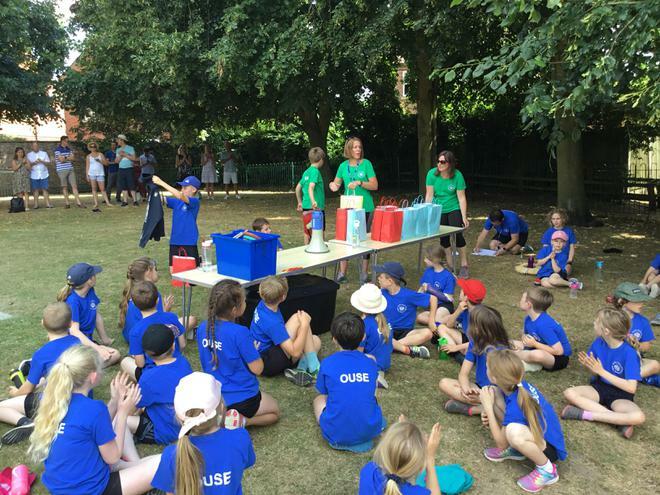 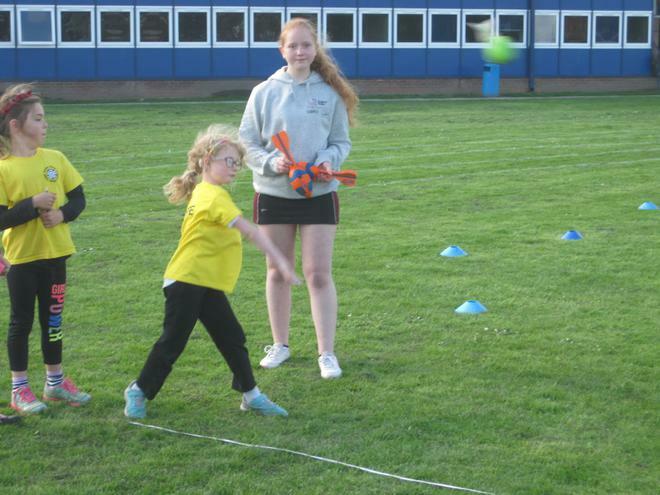 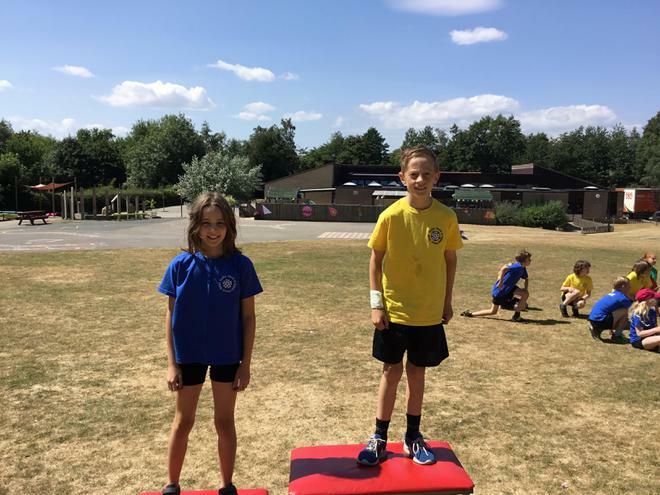 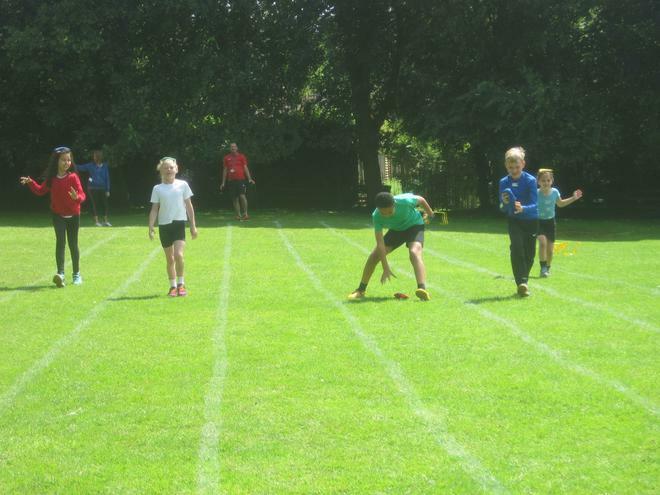 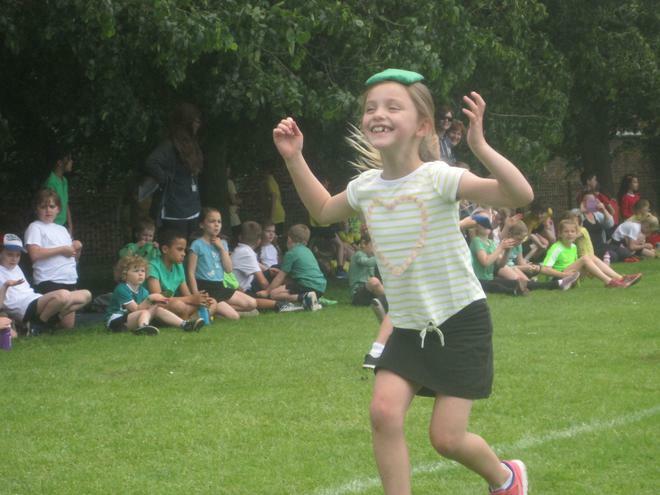 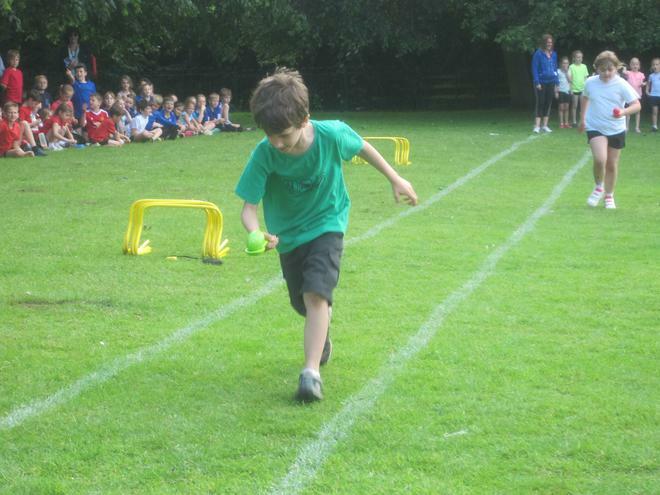 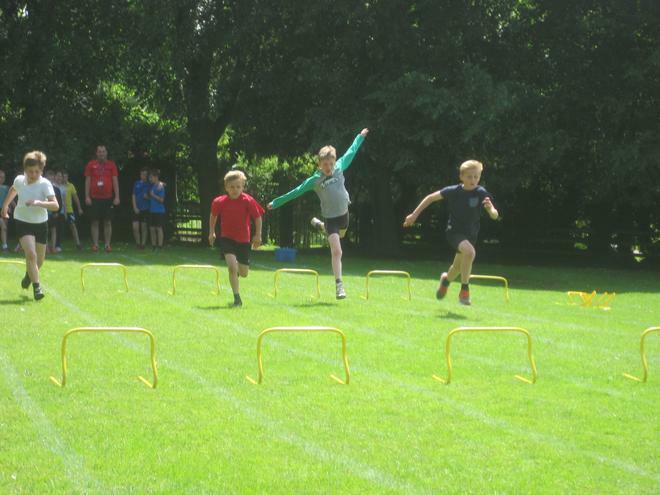 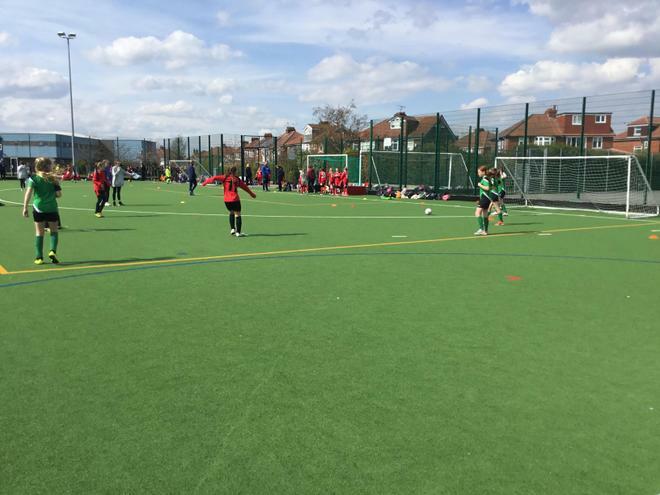 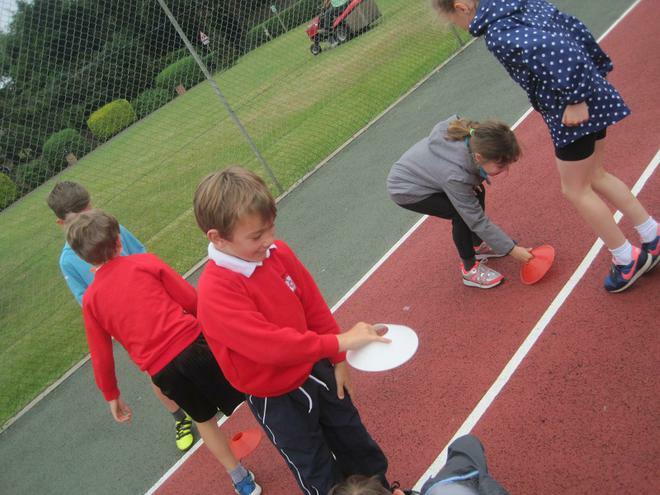 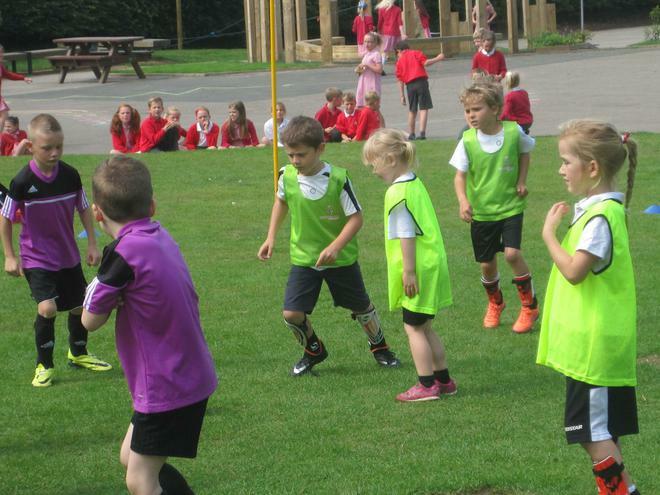 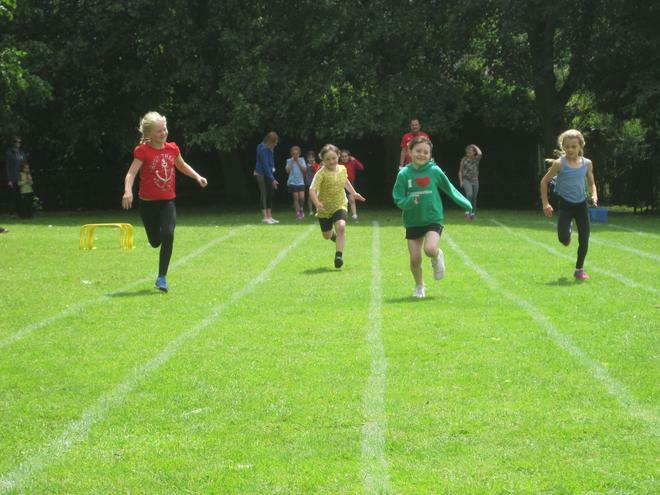 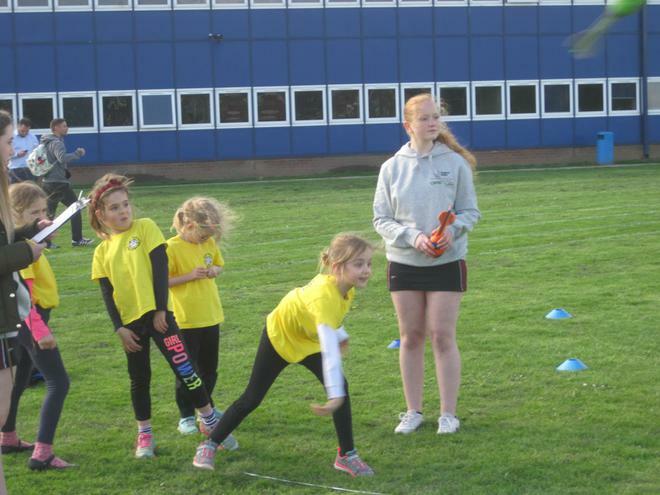 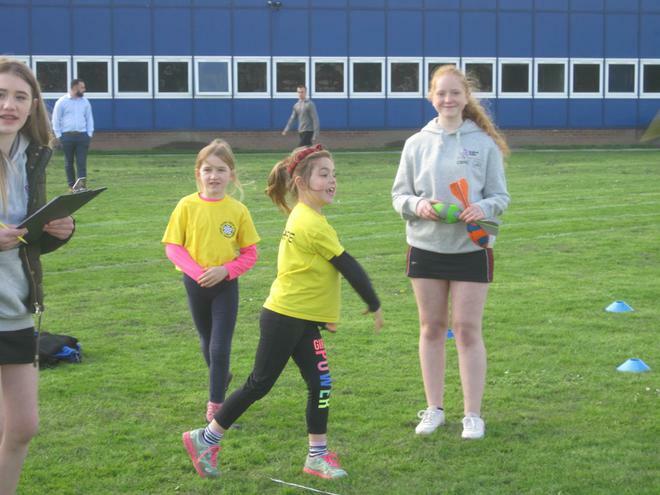 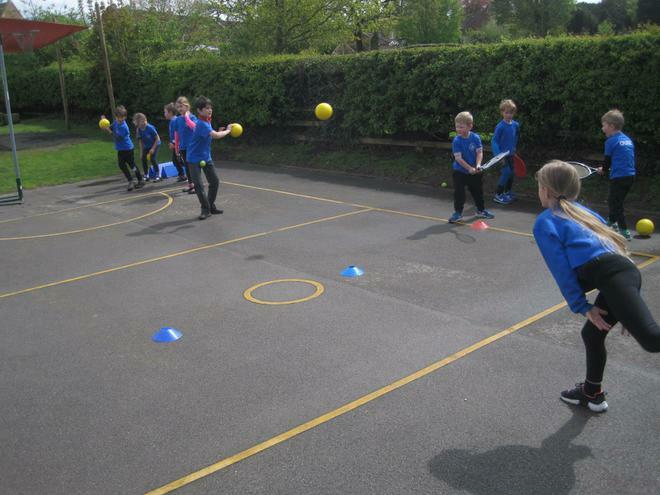 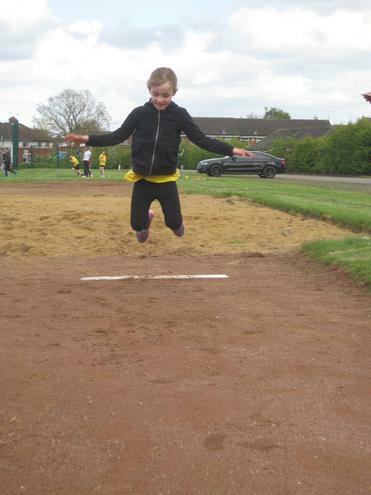 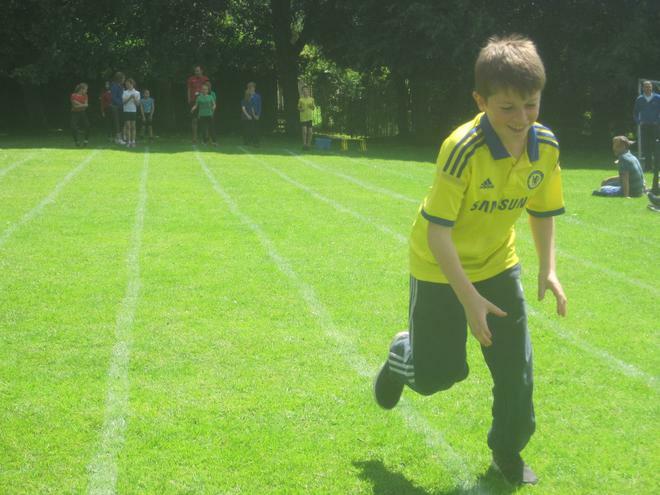 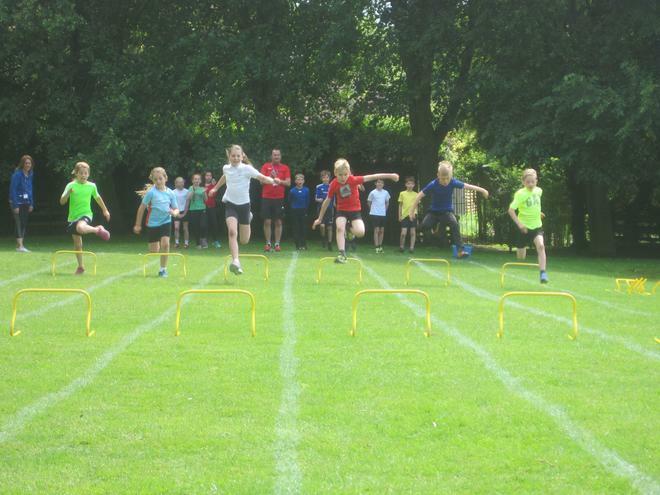 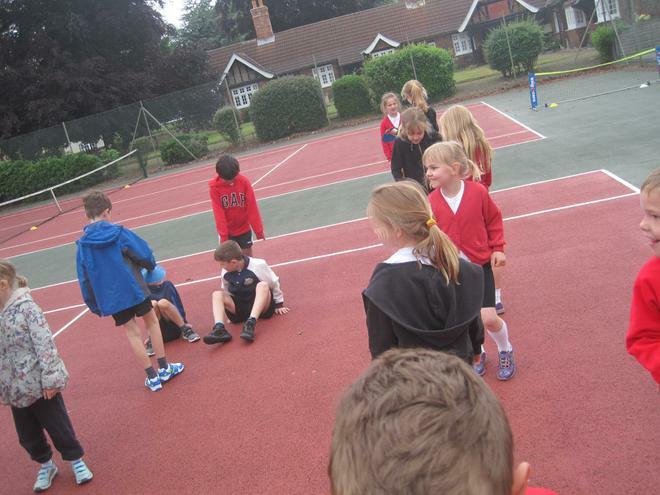 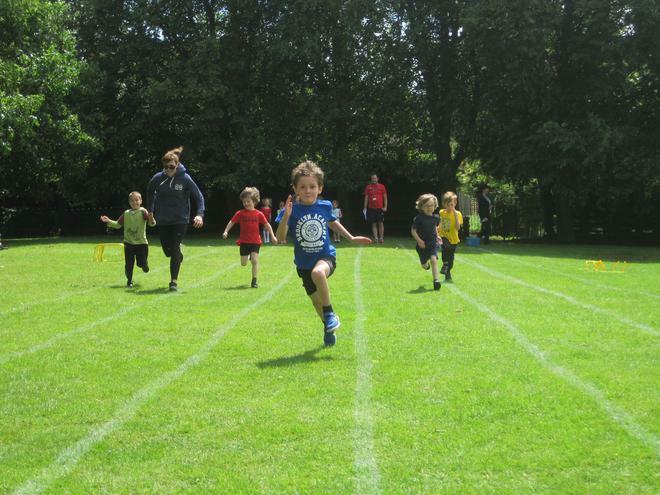 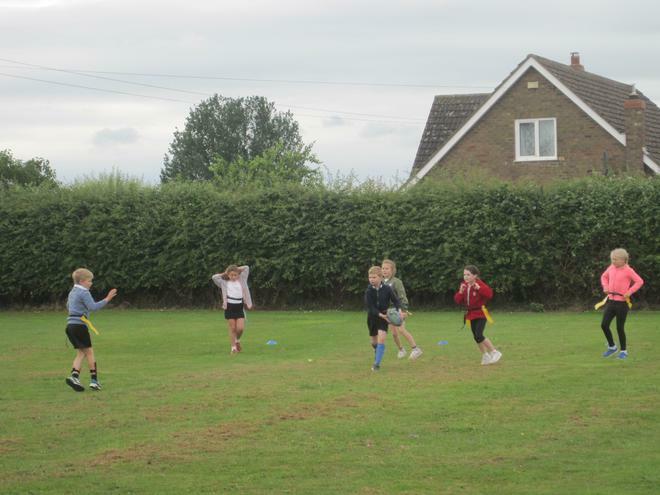 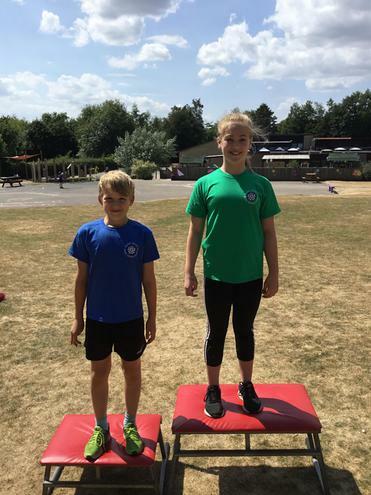 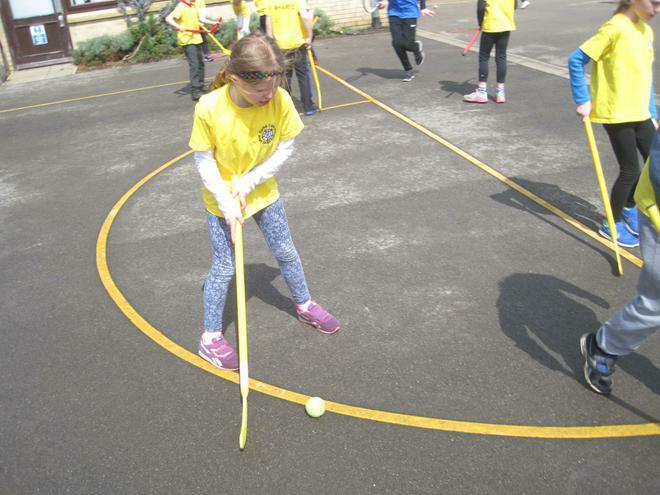 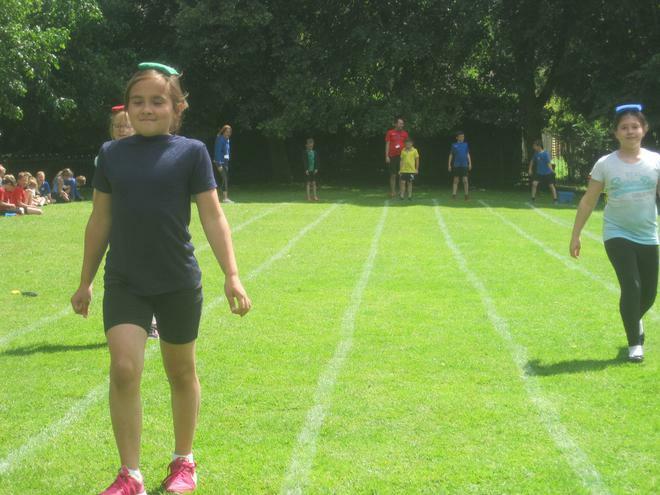 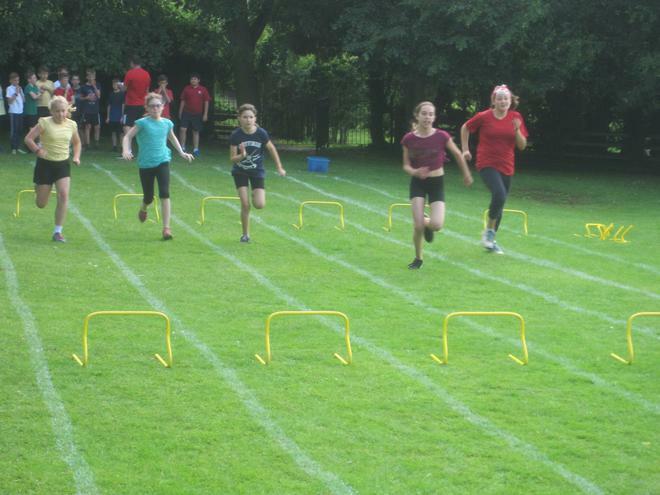 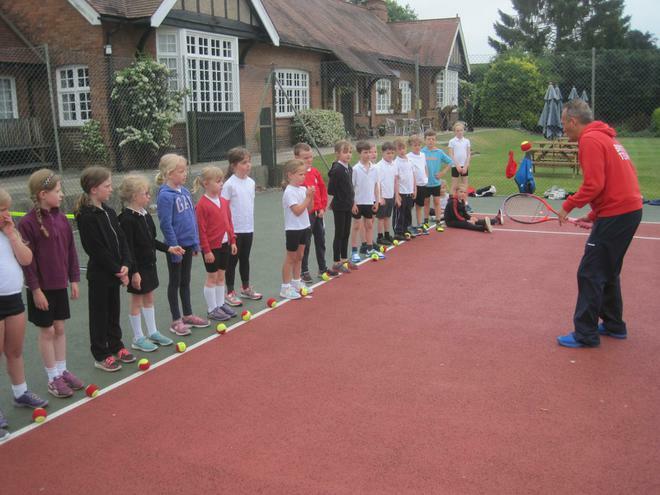 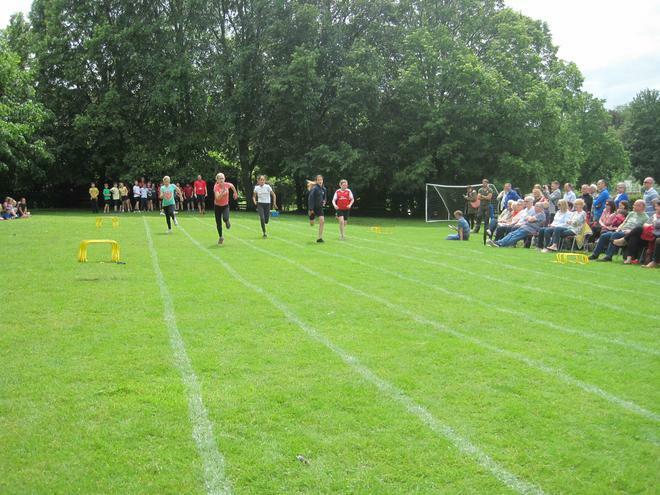 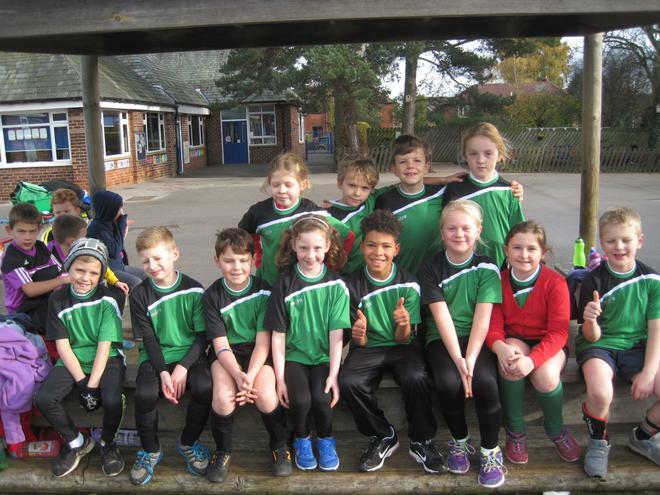 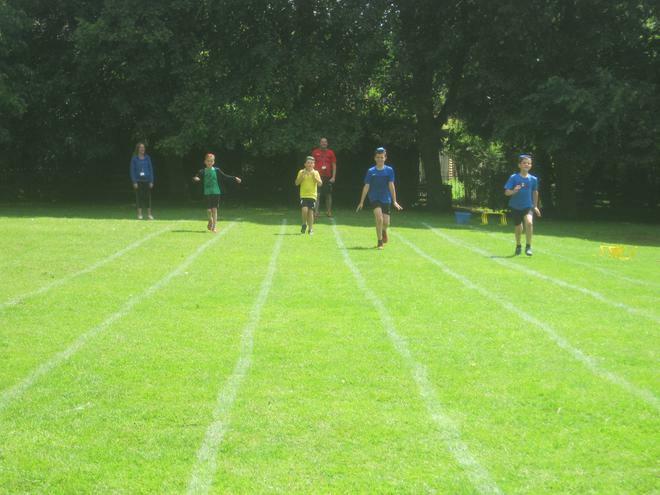 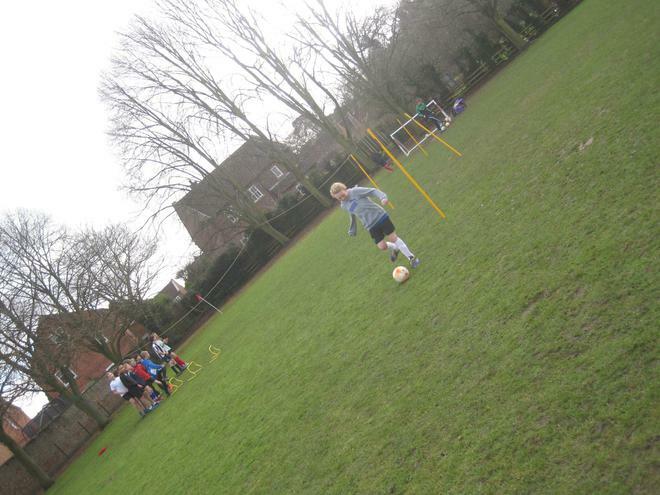 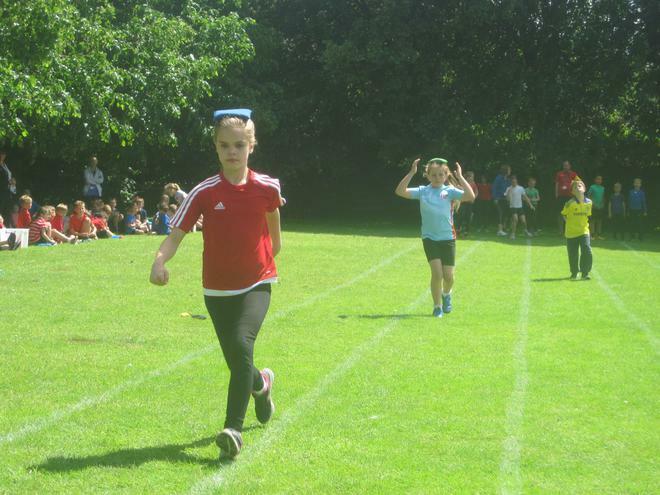 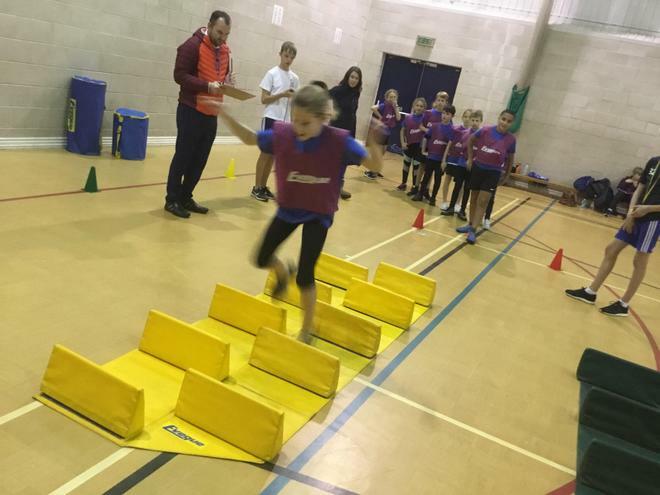 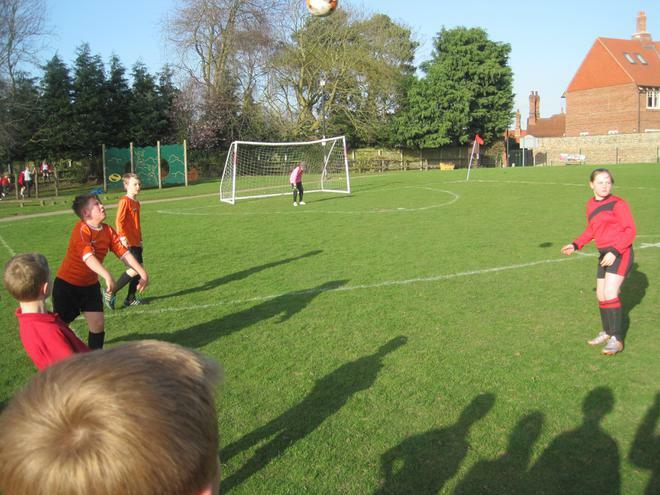 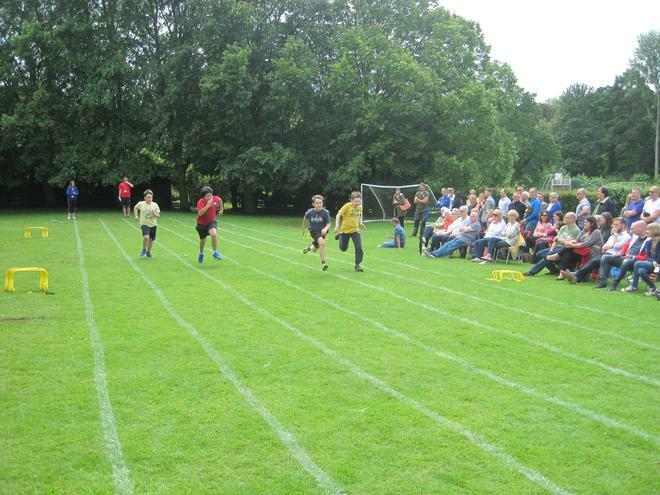 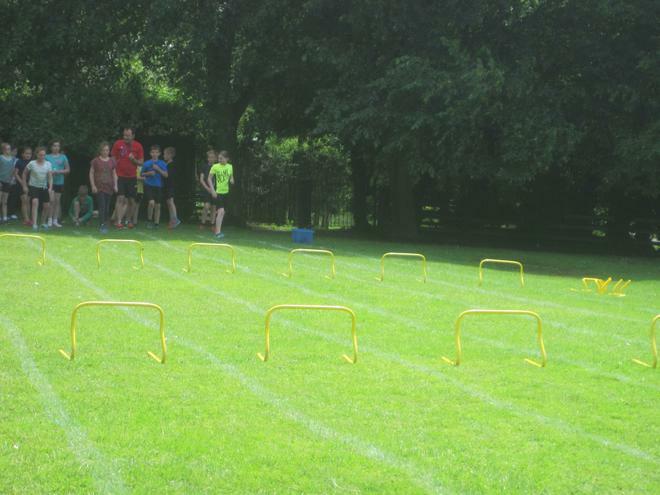 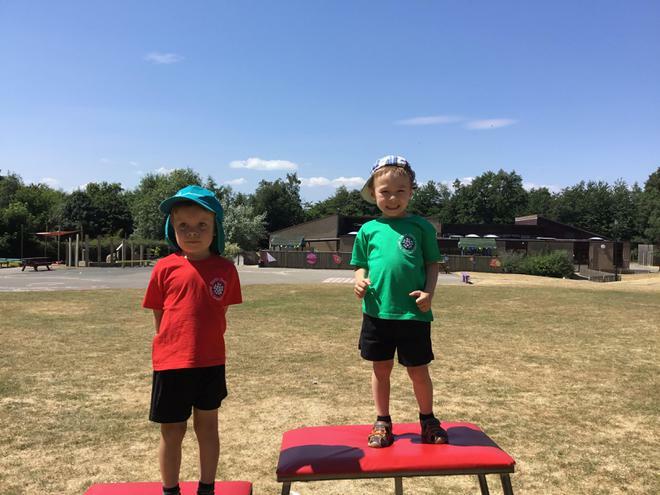 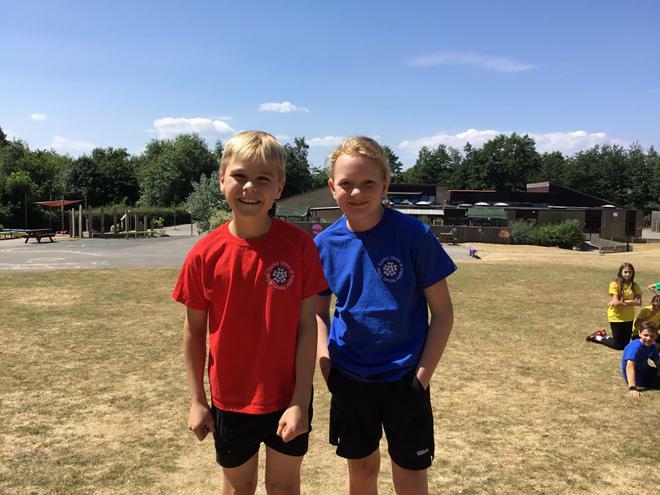 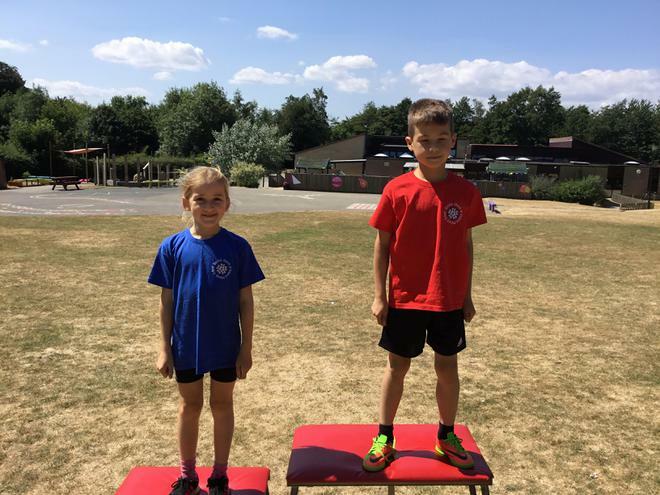 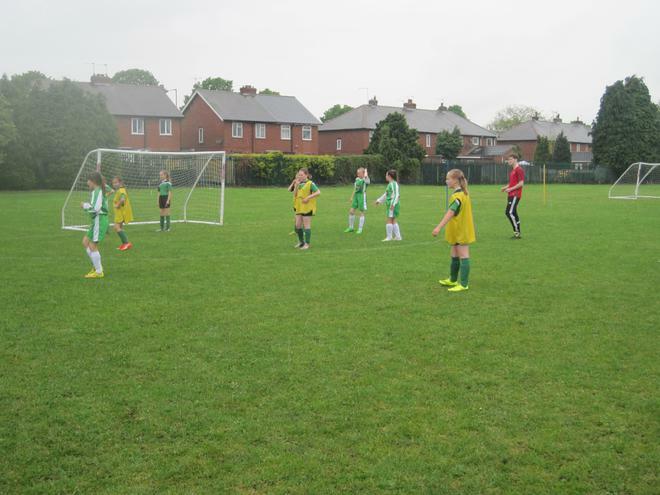 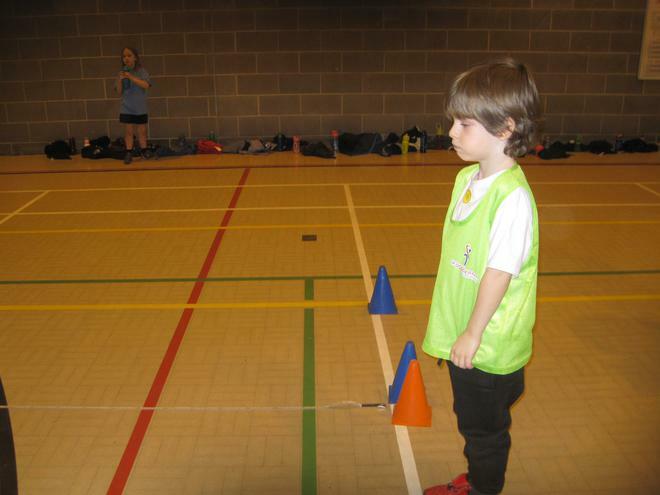 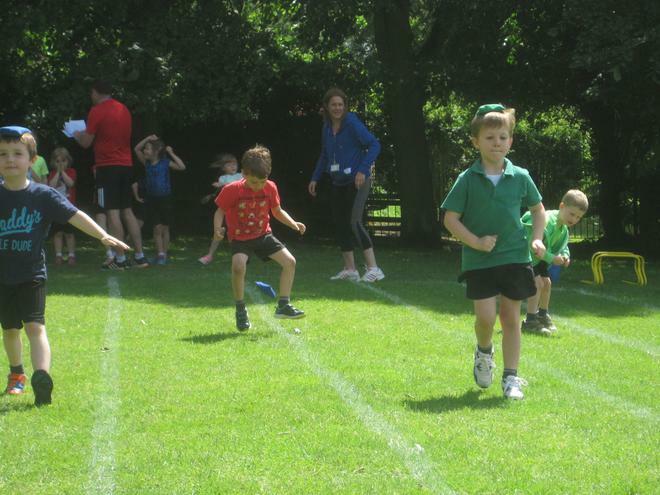 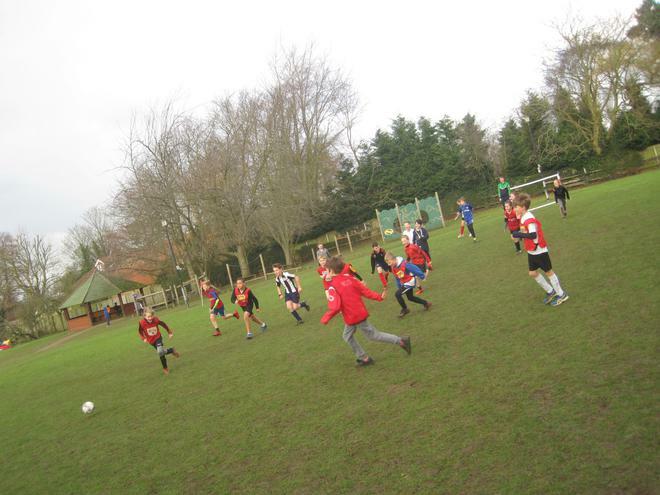 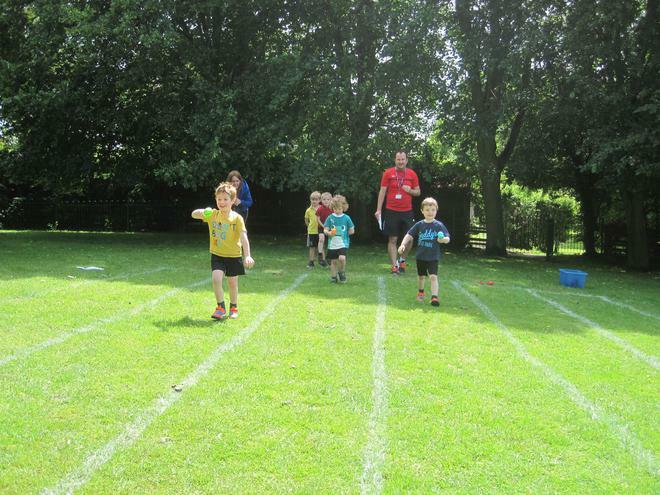 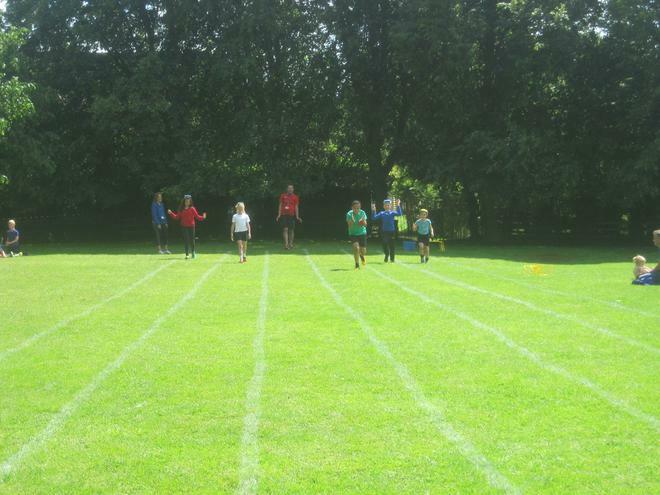 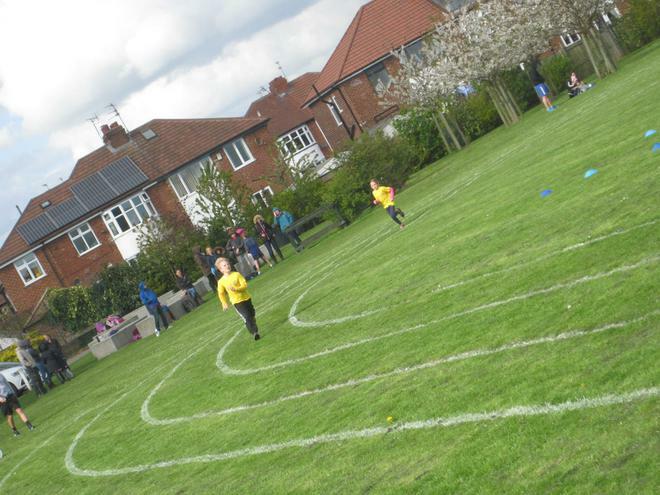 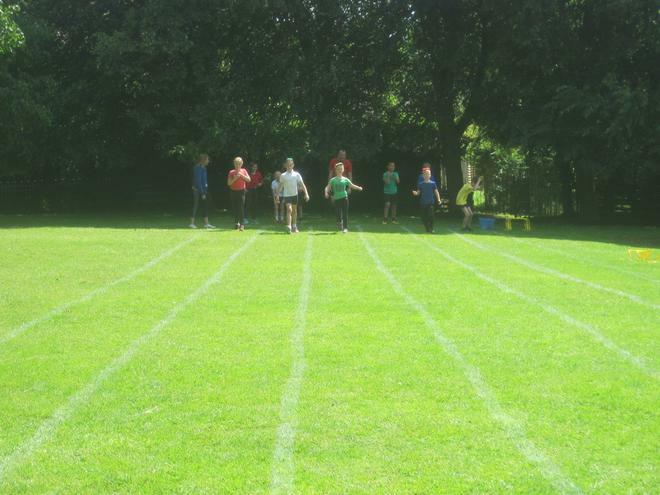 On Wednesday 2nd May Escrick C of E Primary School hosted another team challenge day with the theme of sport this time. 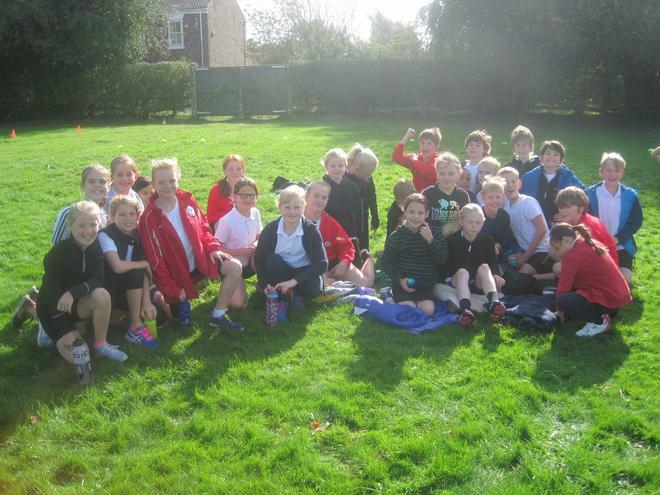 It was a very enjoyable day and the sun did eventually shine in the afternoon meaning we could go outside. 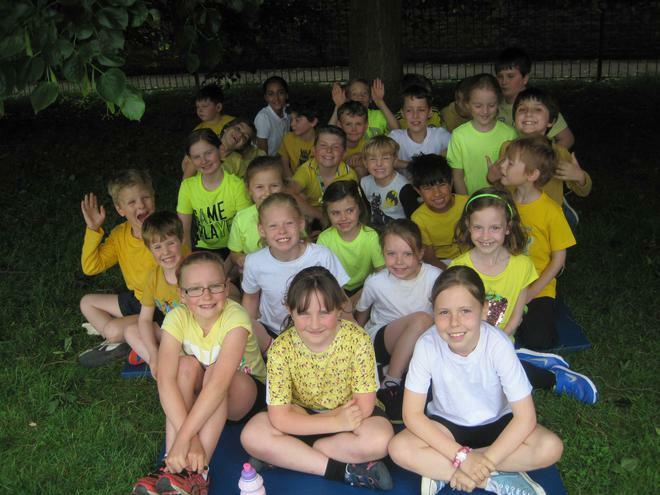 Congratulations to all of the pupils on your fantastic efforts and keep it up. 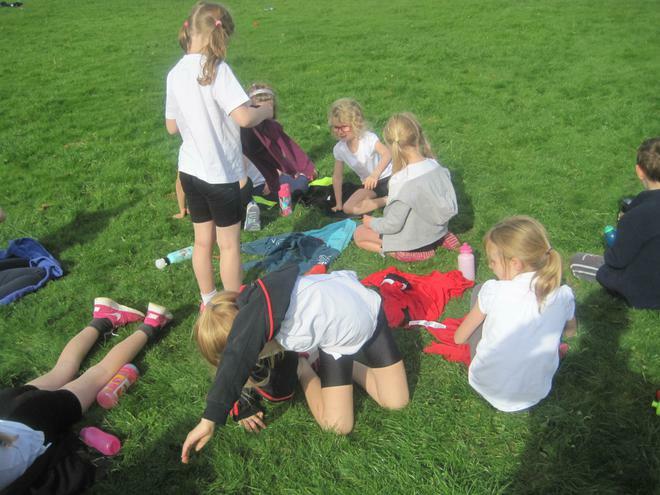 Congratulations to the girls who attended the cross-country finals at Dalby Forest on Thursday 23rd March. 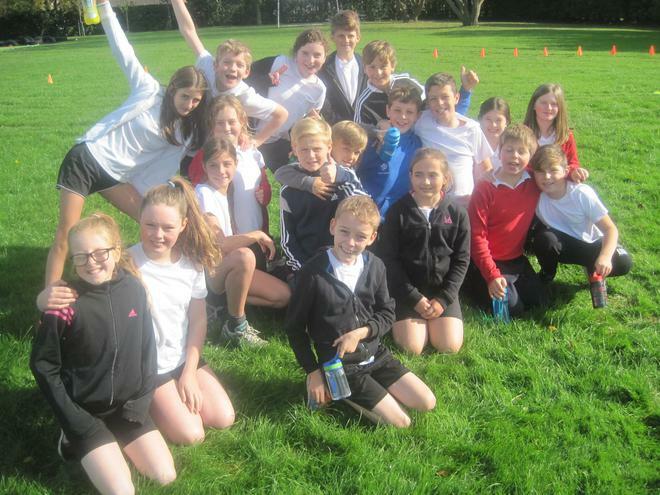 Good luck to all of the pupils participating in the cross-country finals at Dalby Forest tomorrow! 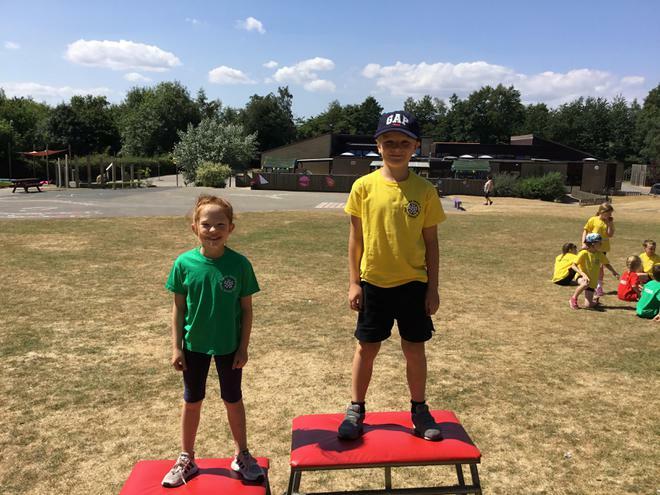 Huge congratulations to all! 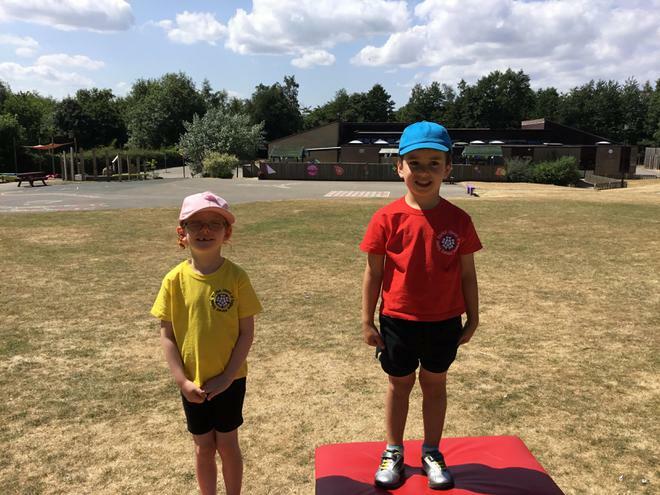 Here are the medal winners. 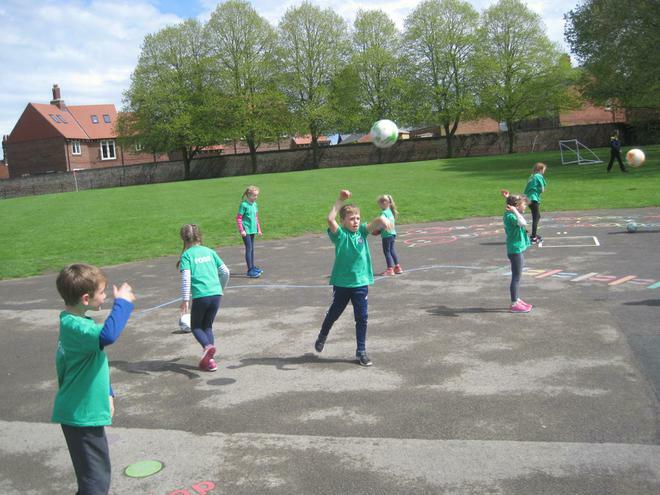 In the academic year 2016-2017: 134 pupils participated in after school clubs. 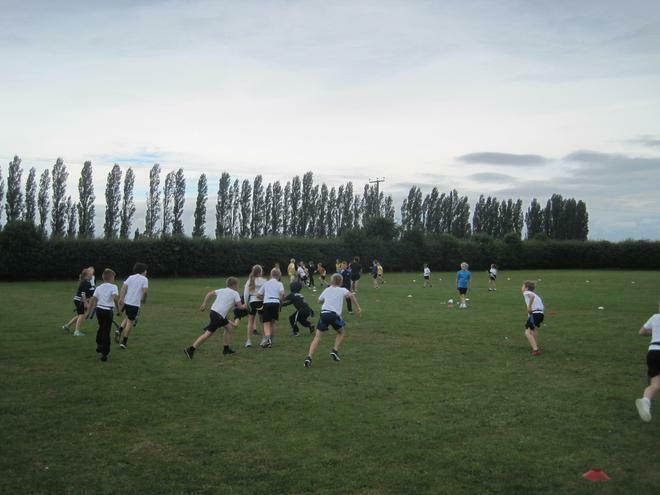 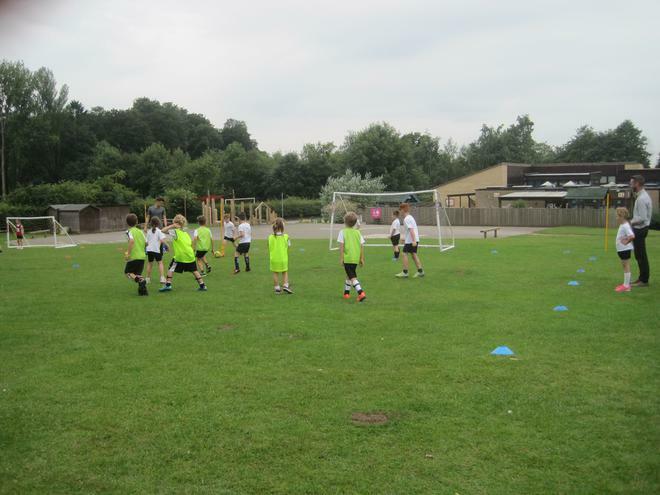 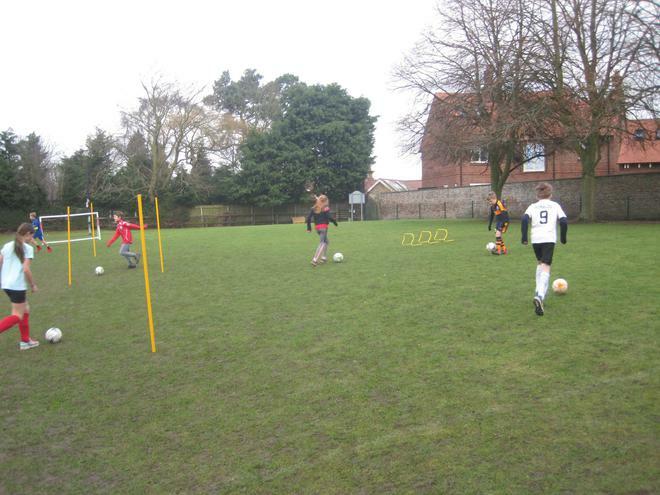 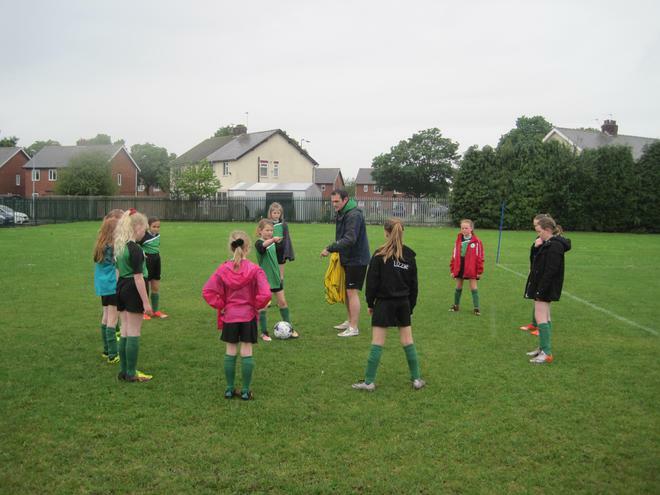 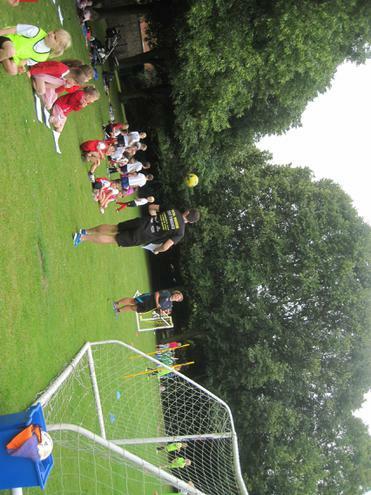 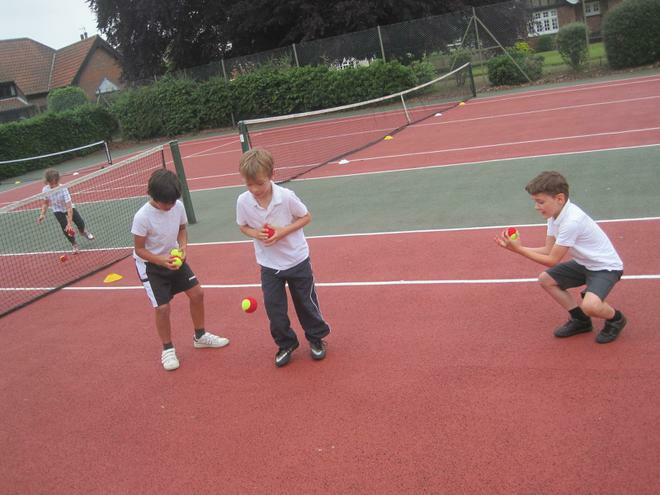 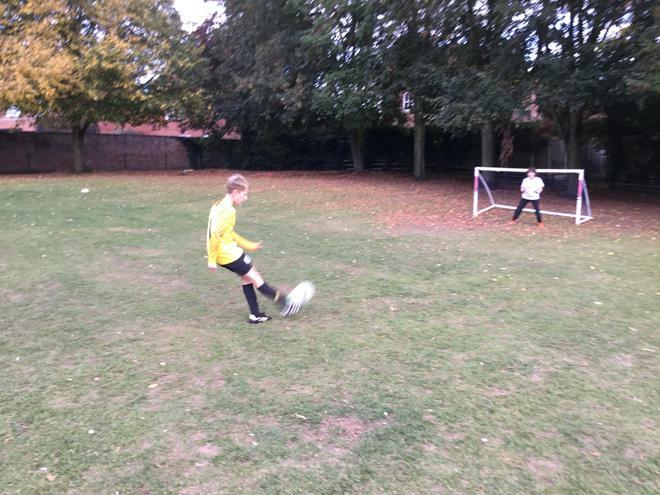 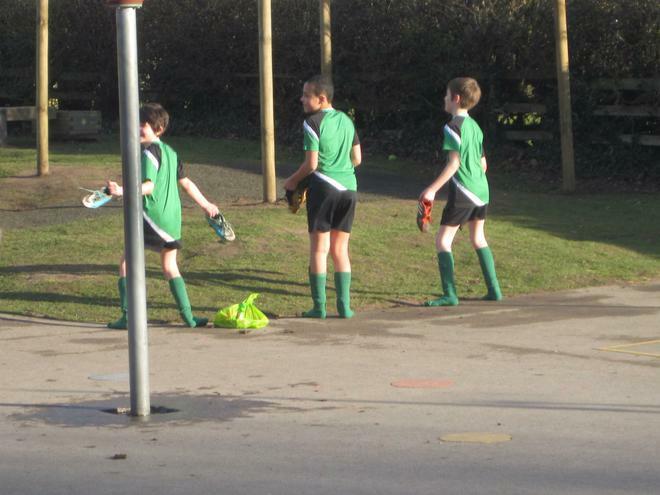 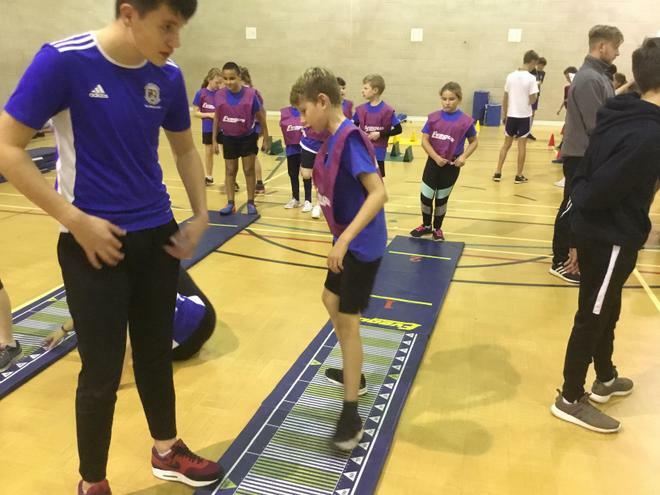 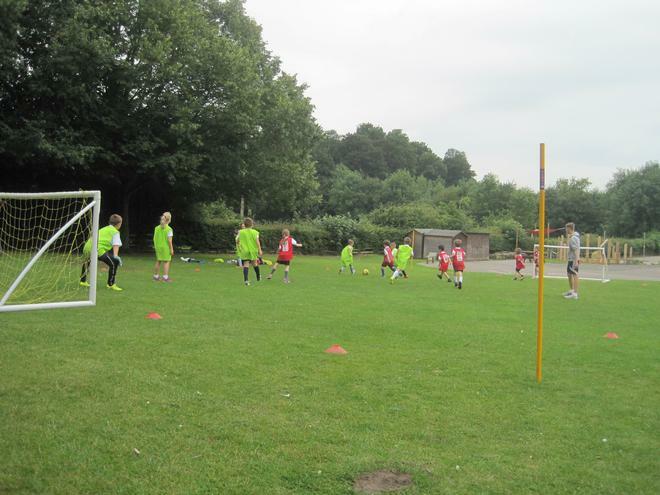 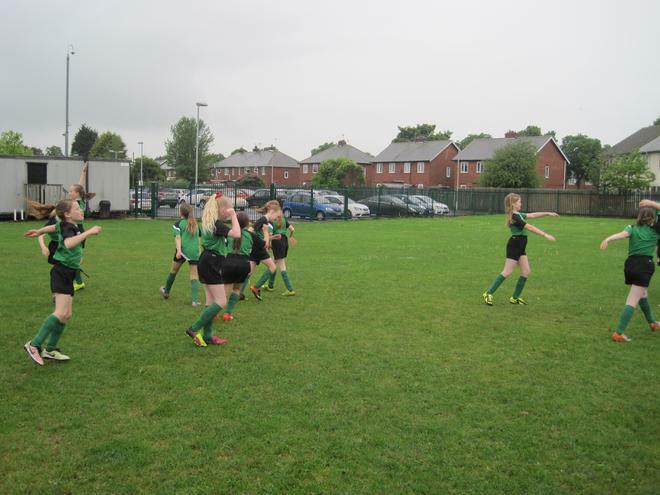 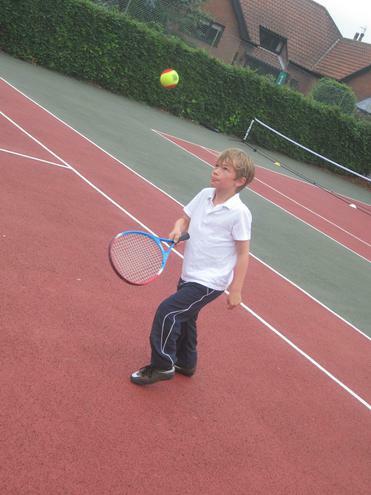 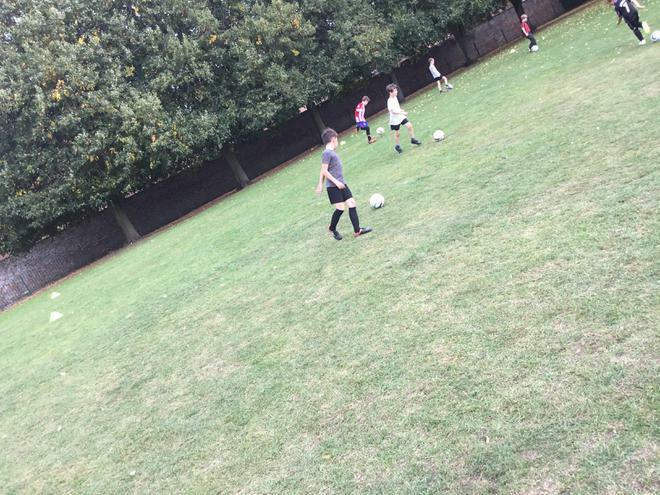 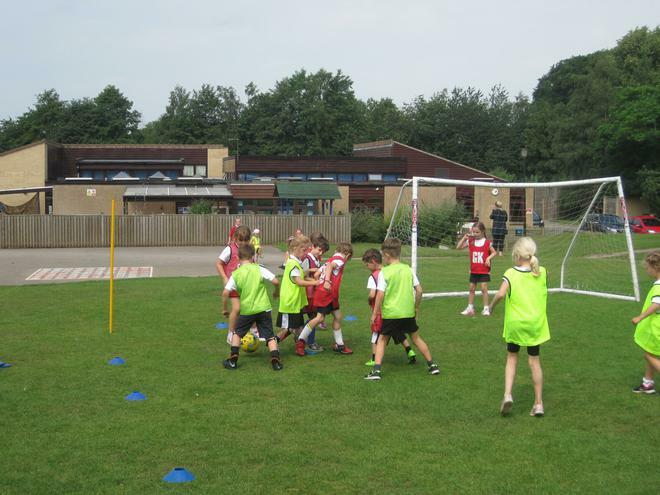 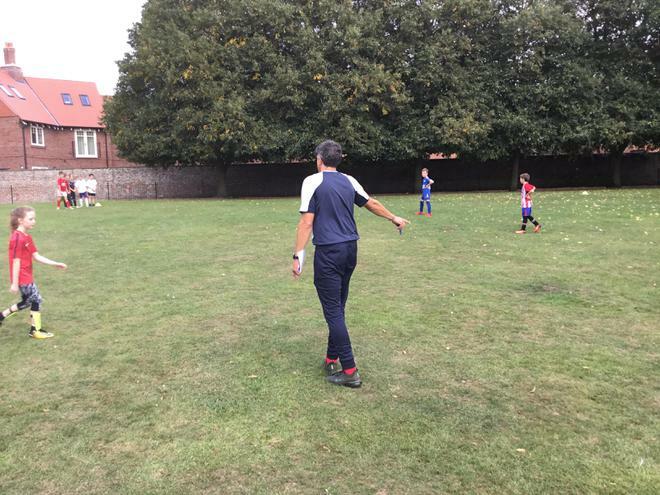 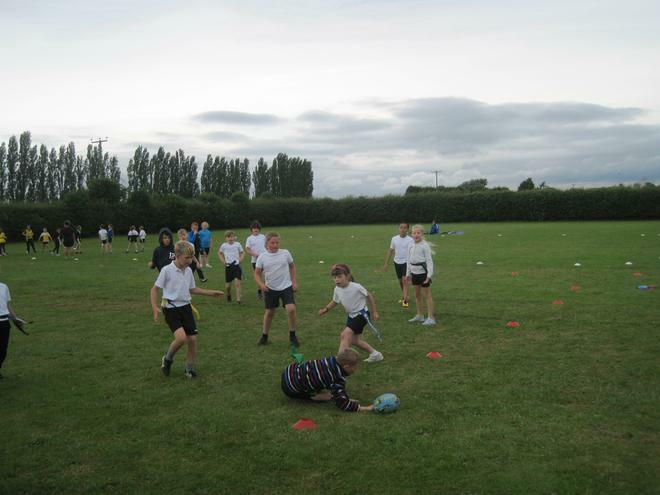 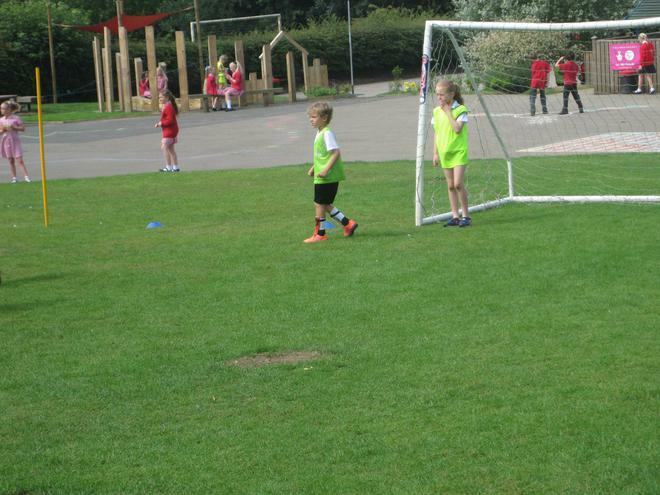 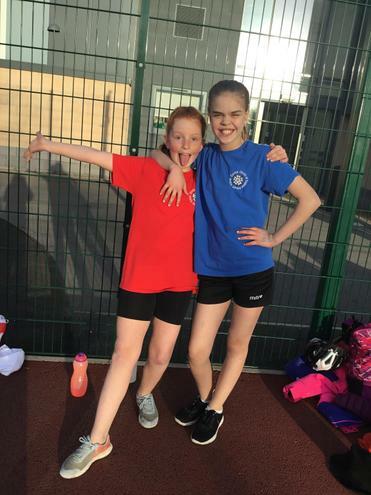 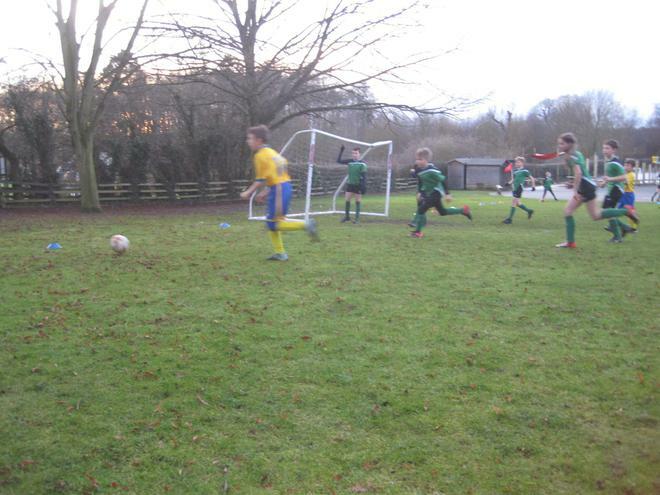 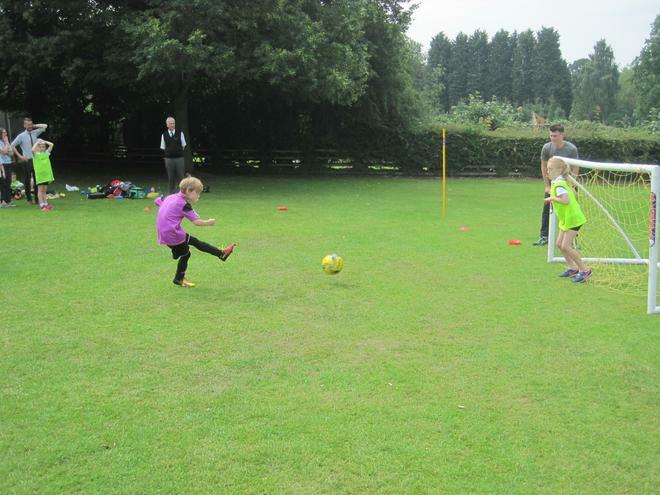 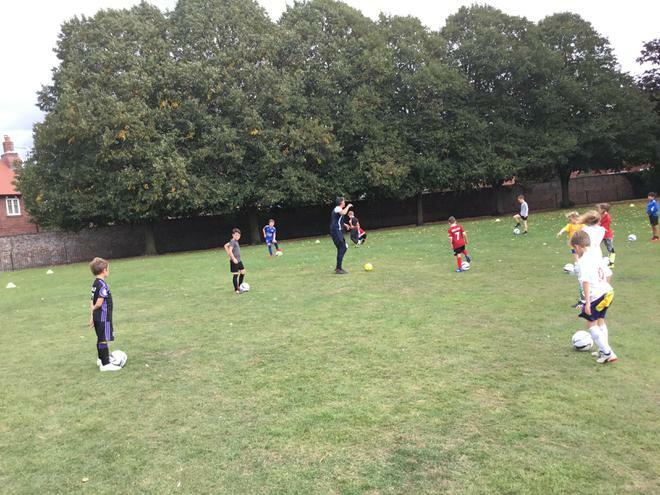 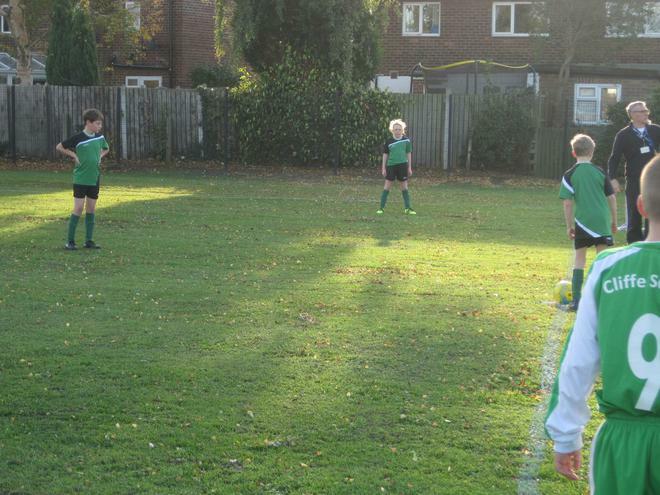 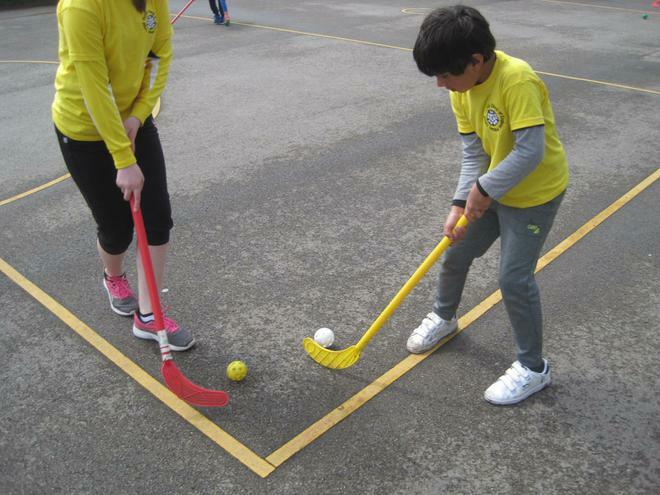 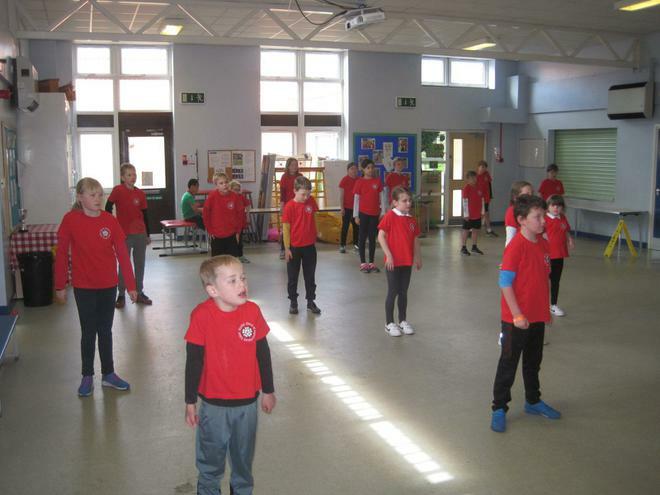 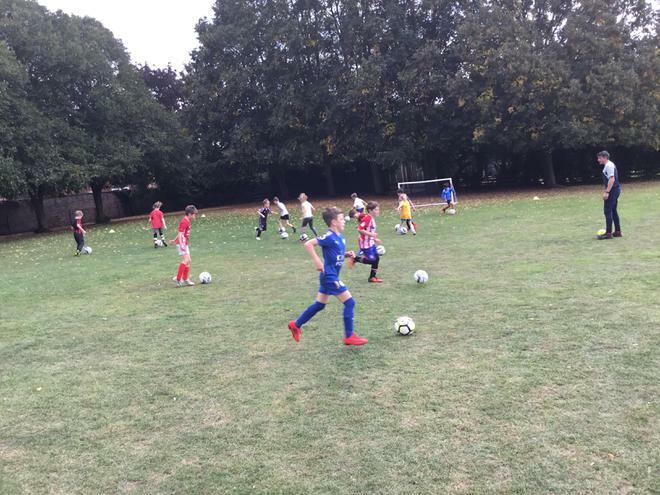 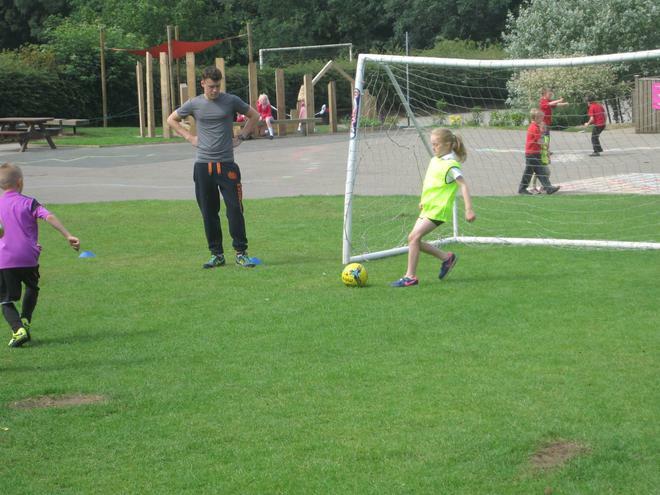 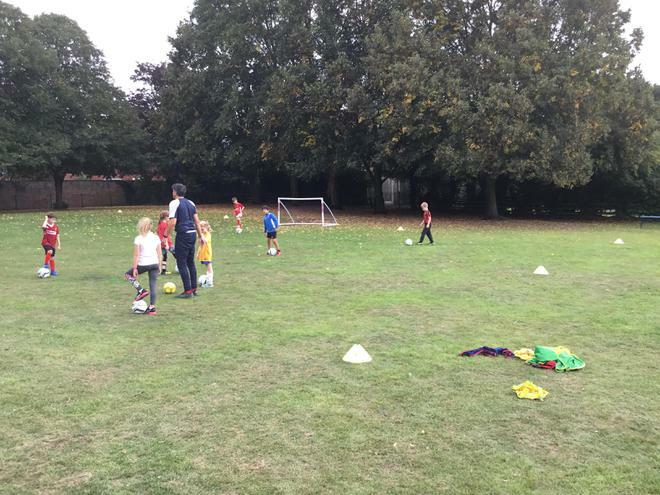 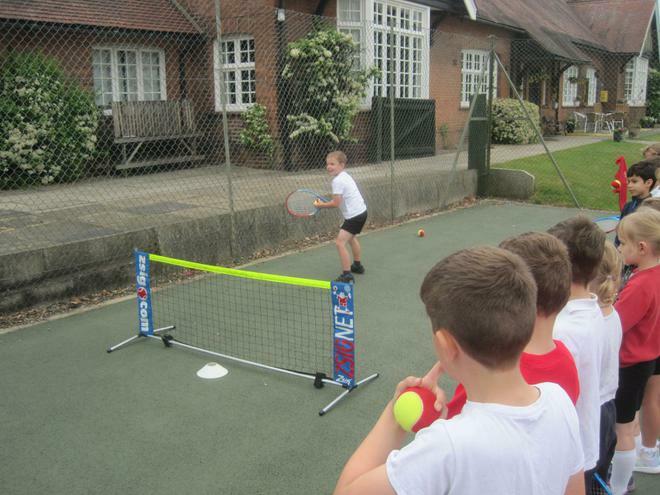 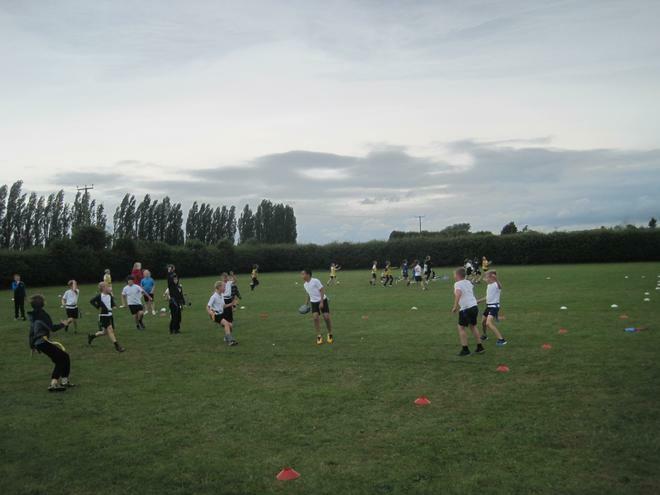 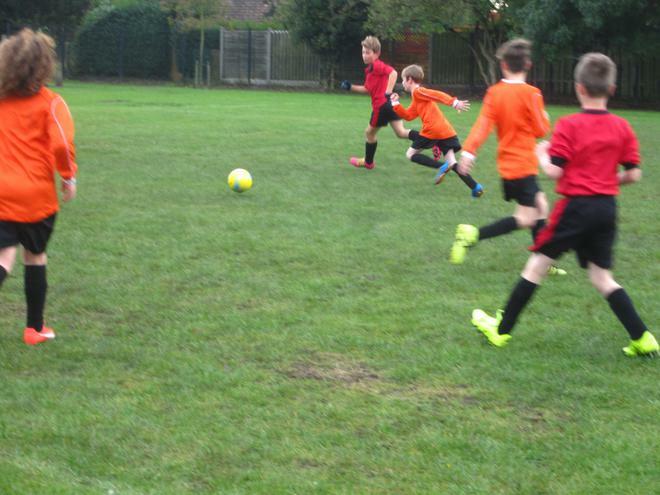 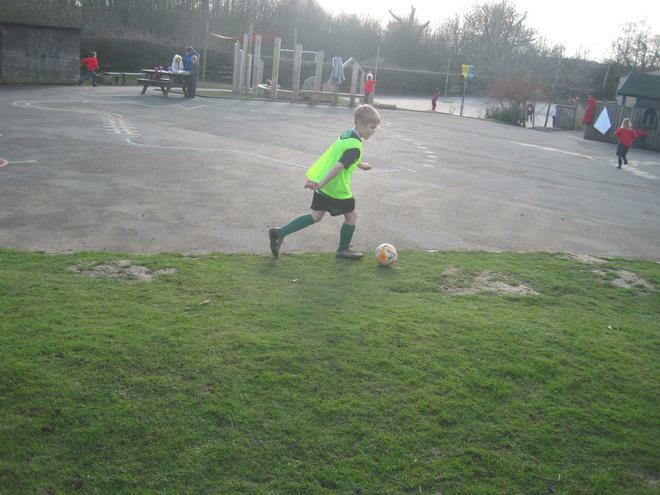 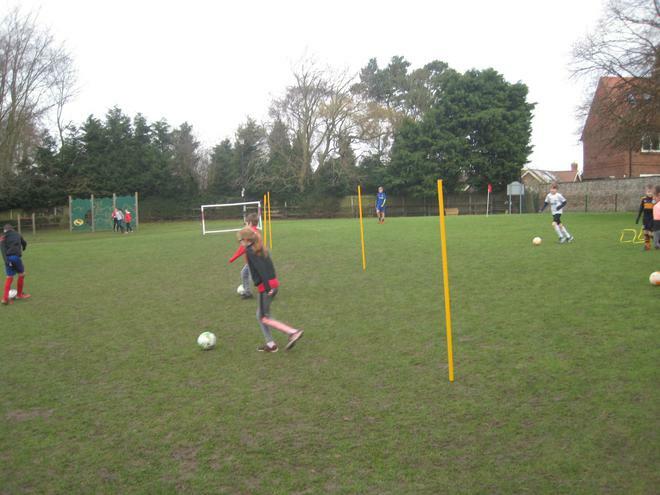 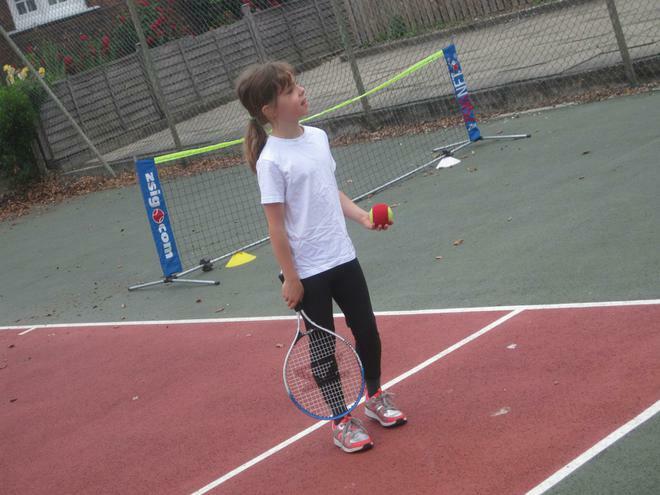 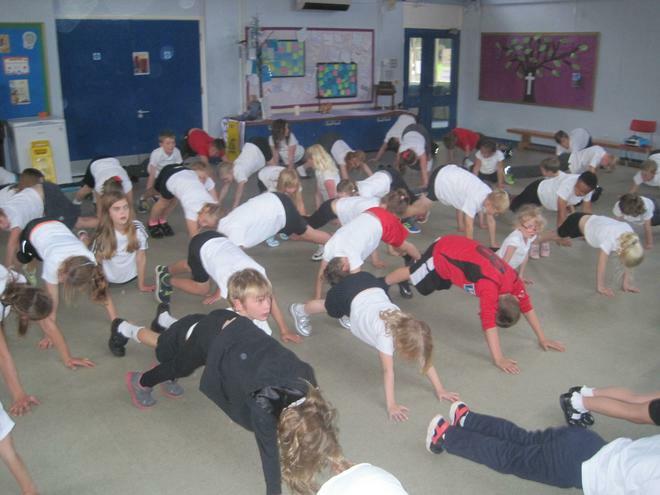 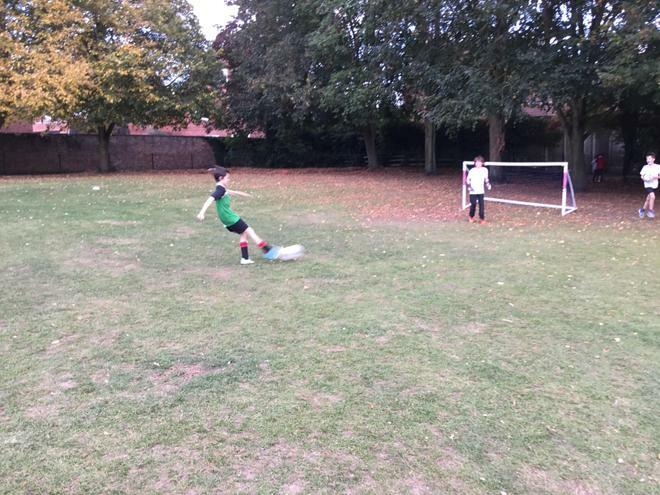 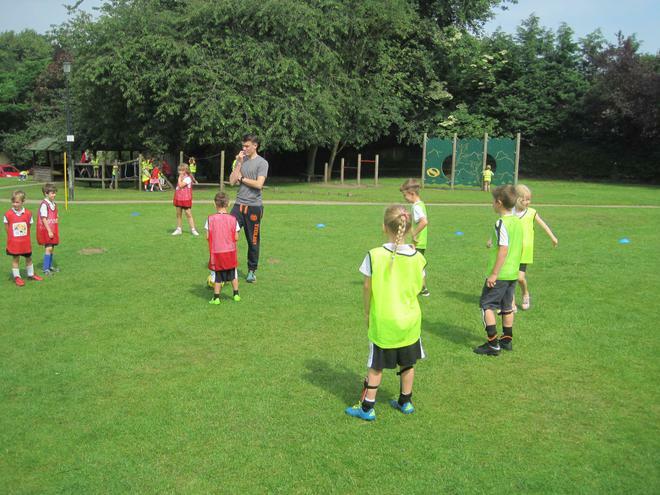 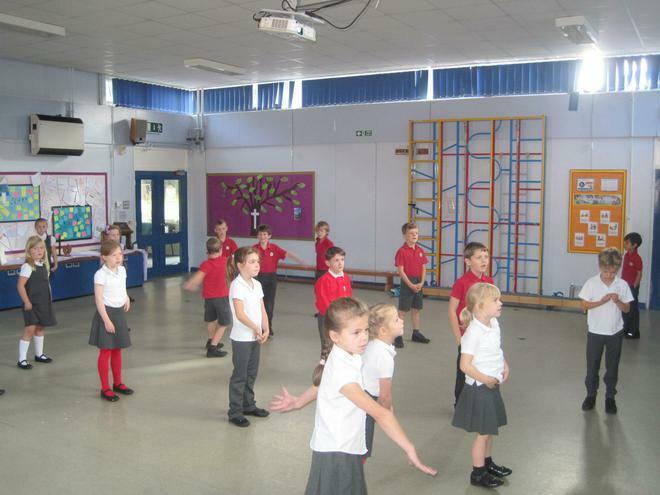 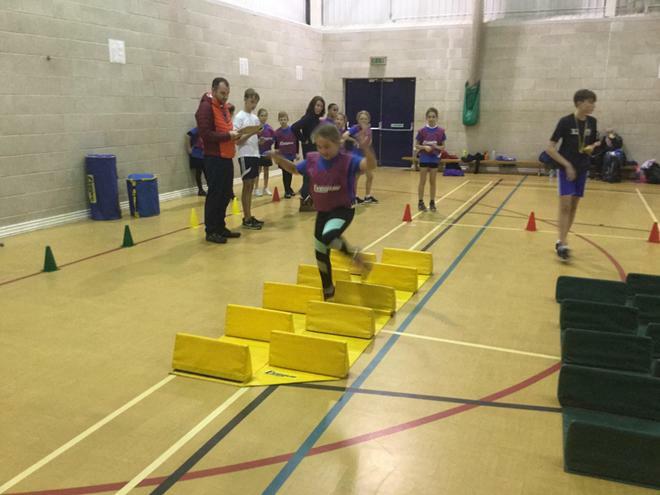 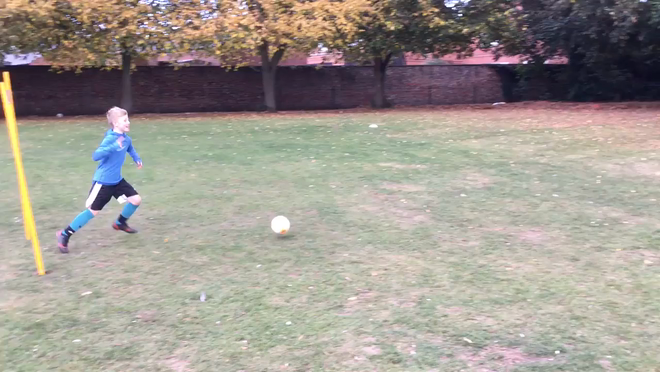 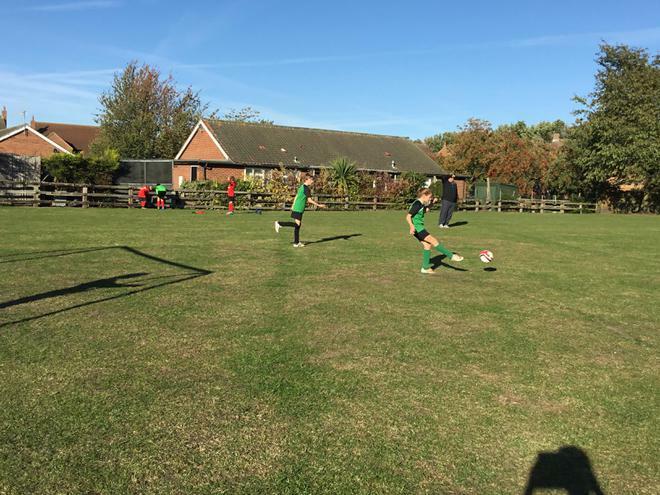 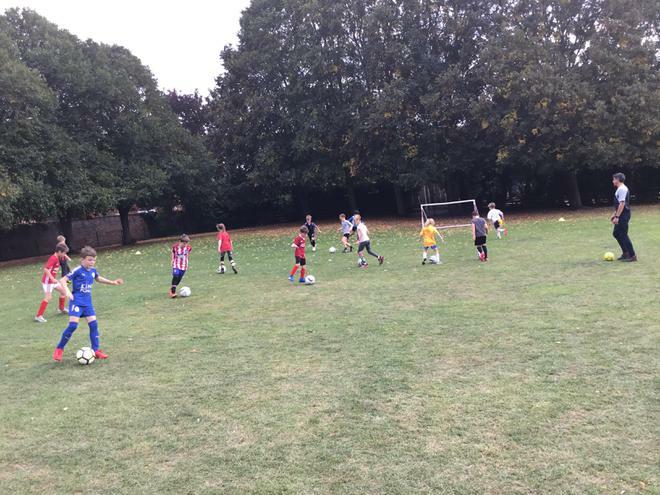 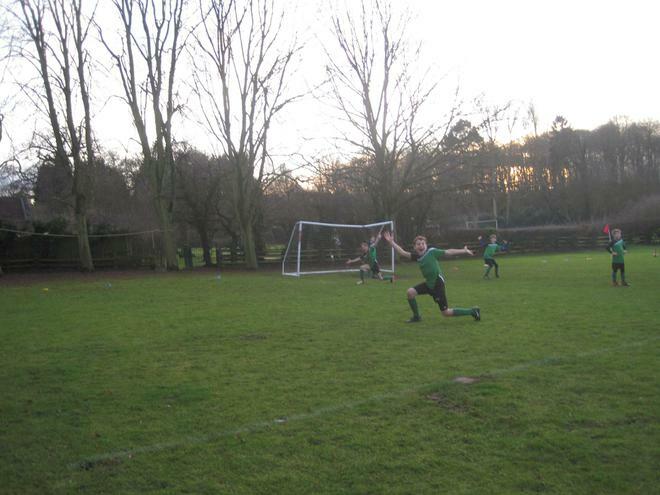 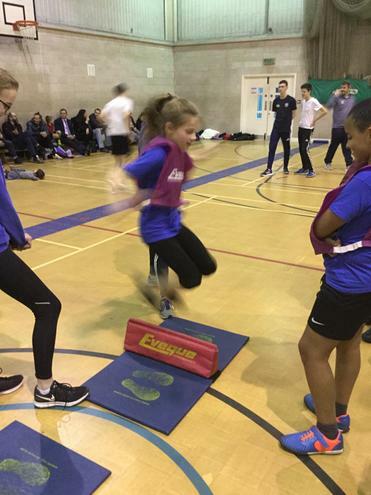 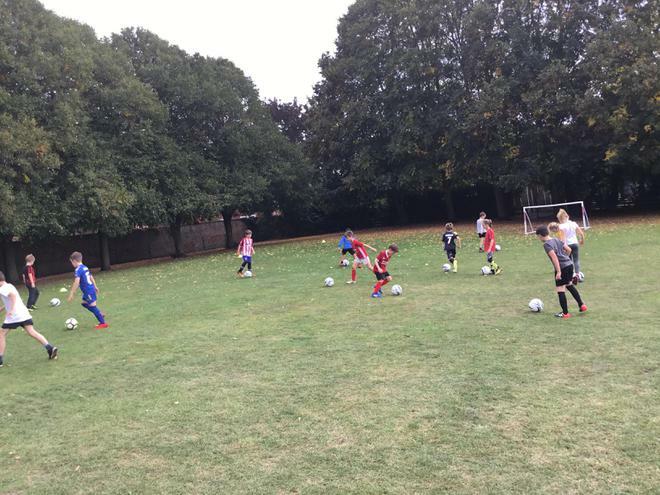 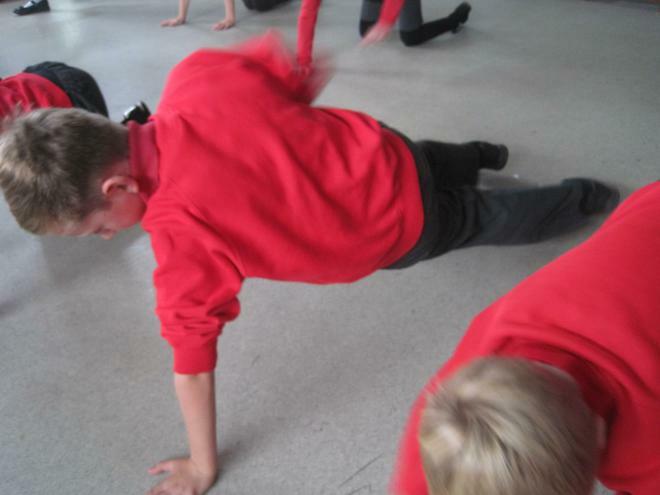 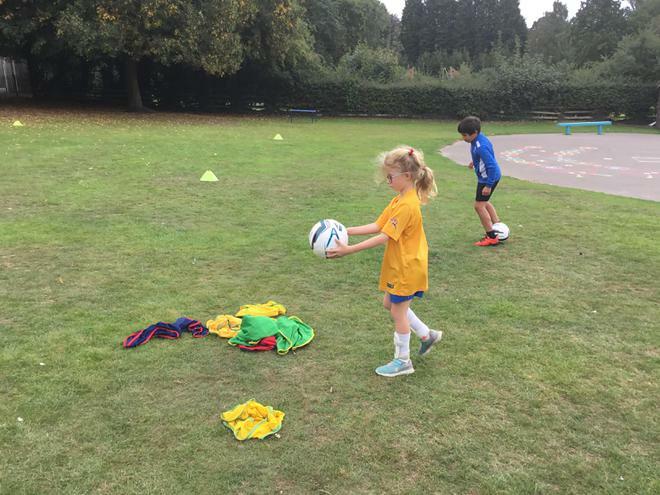 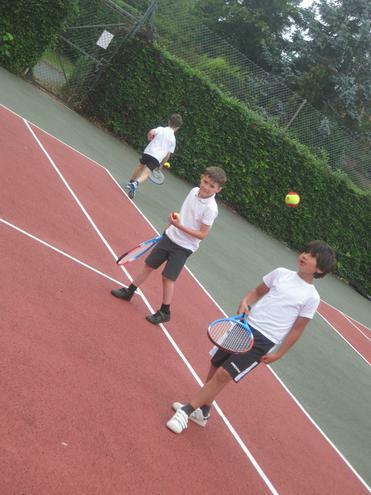 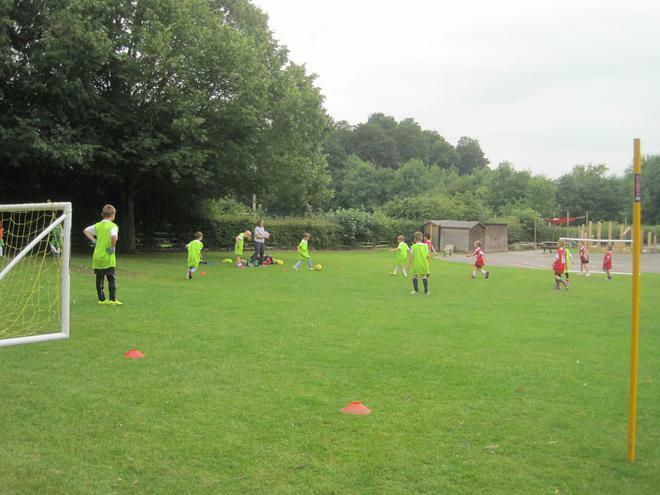 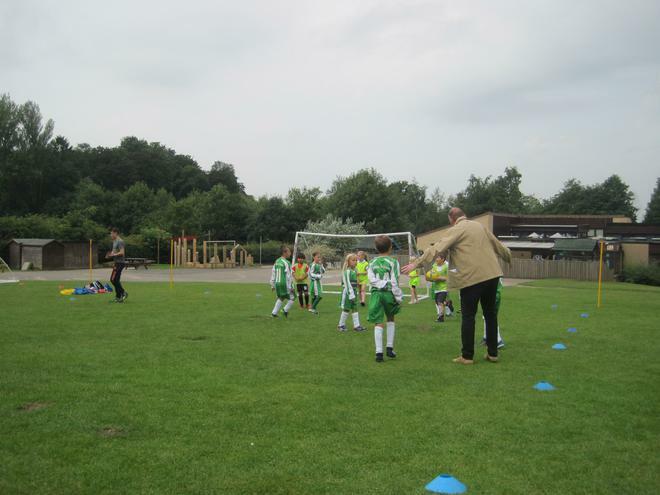 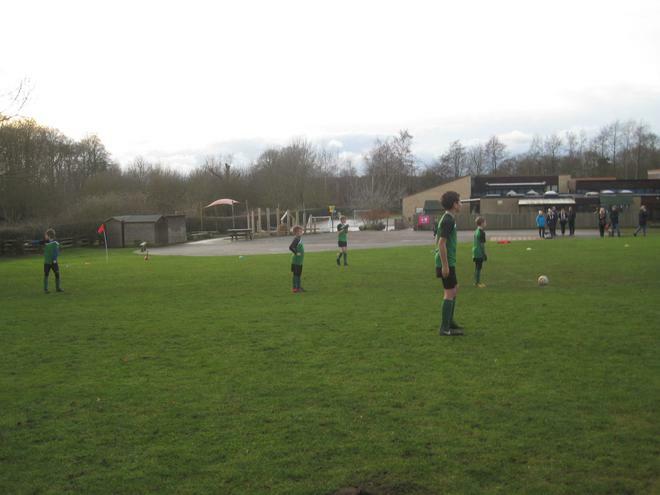 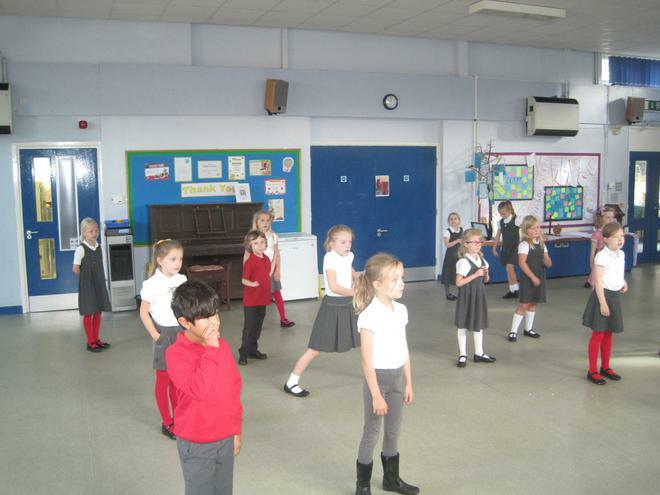 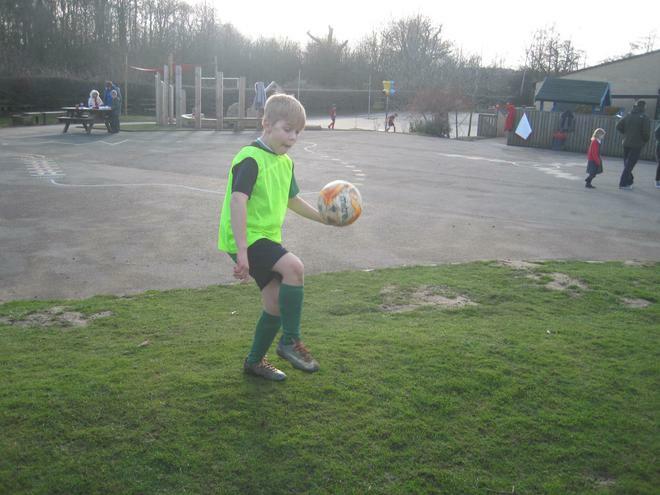 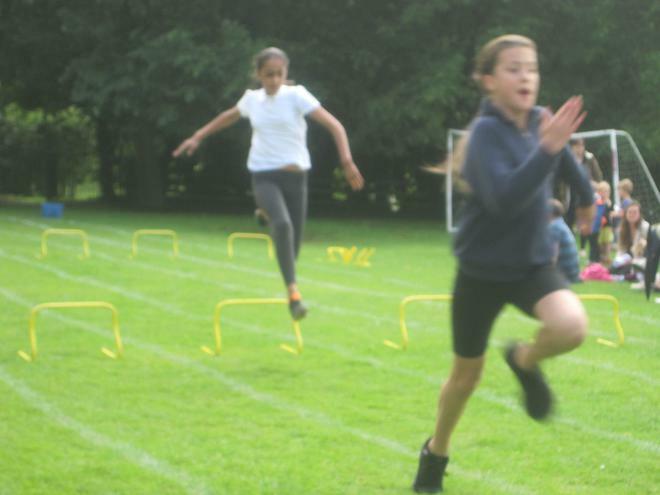 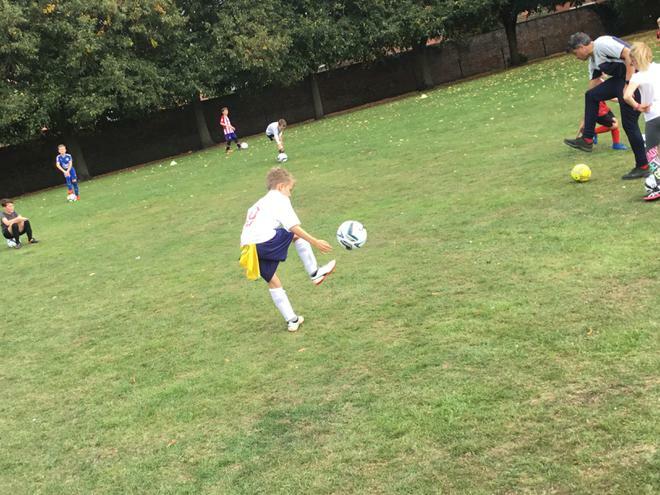 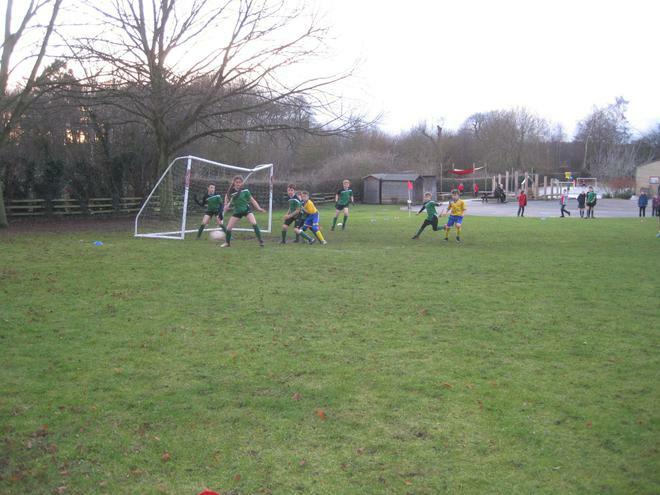 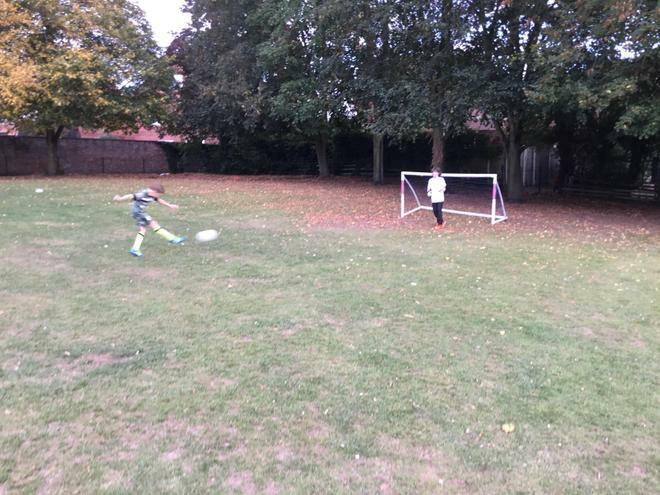 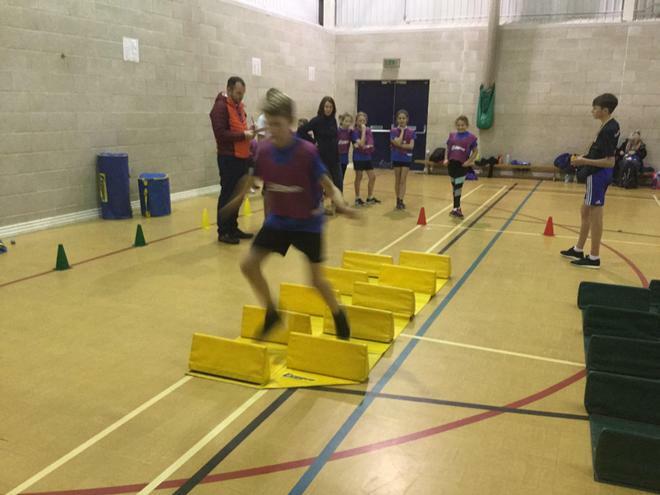 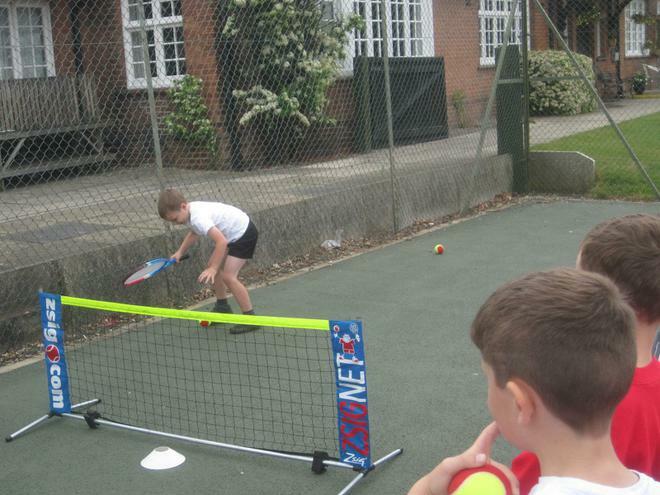 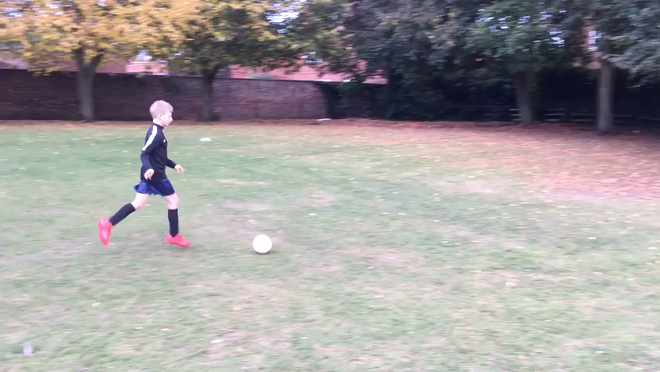 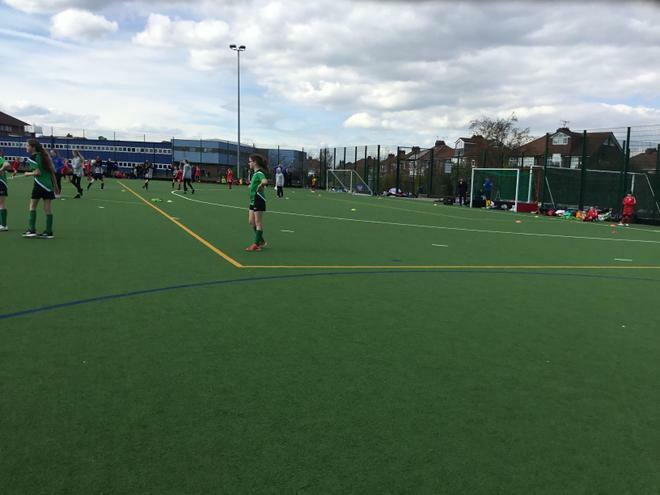 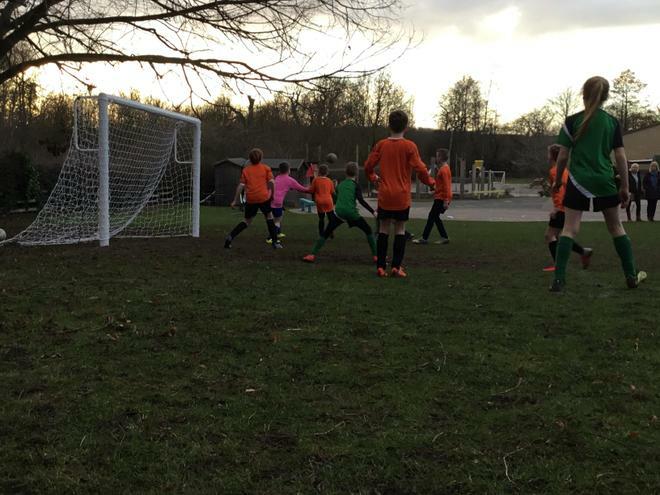 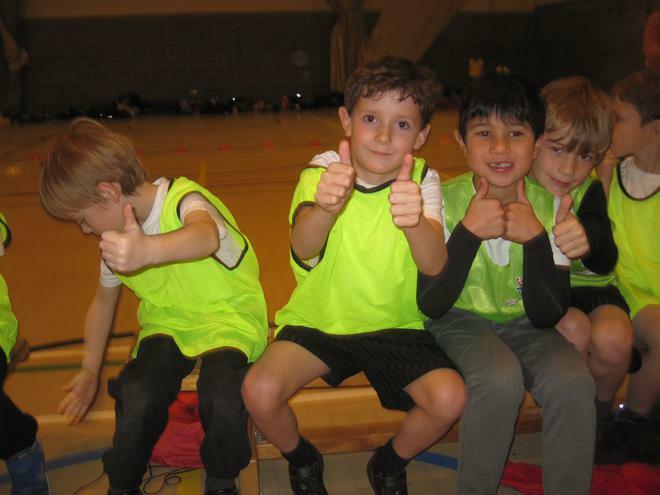 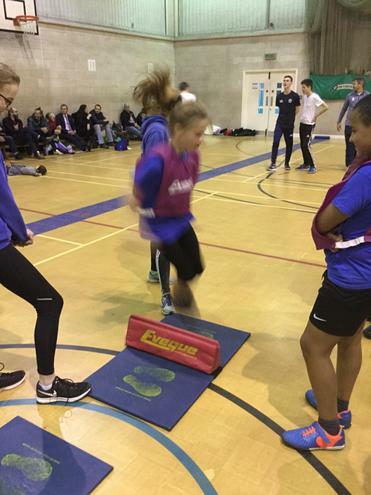 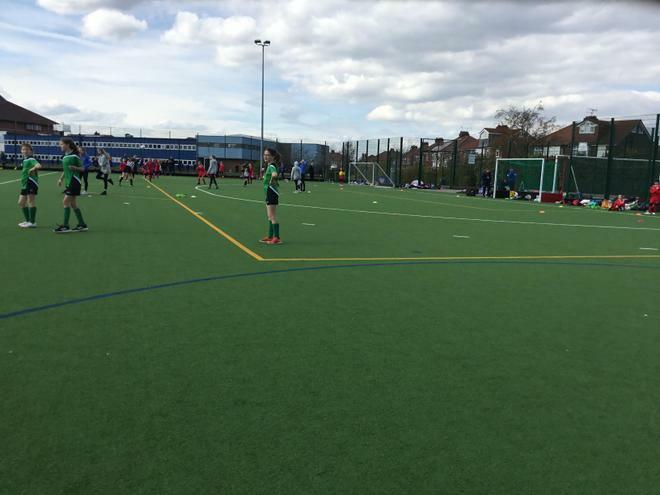 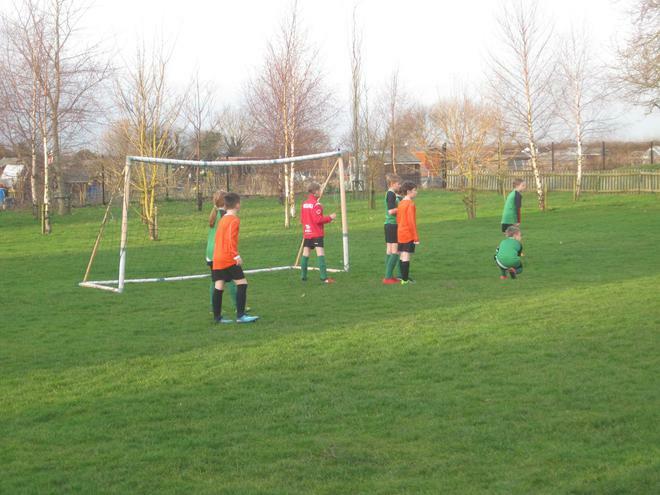 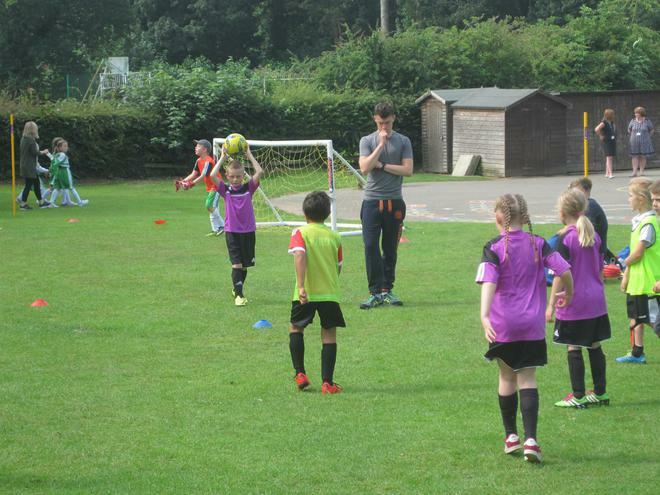 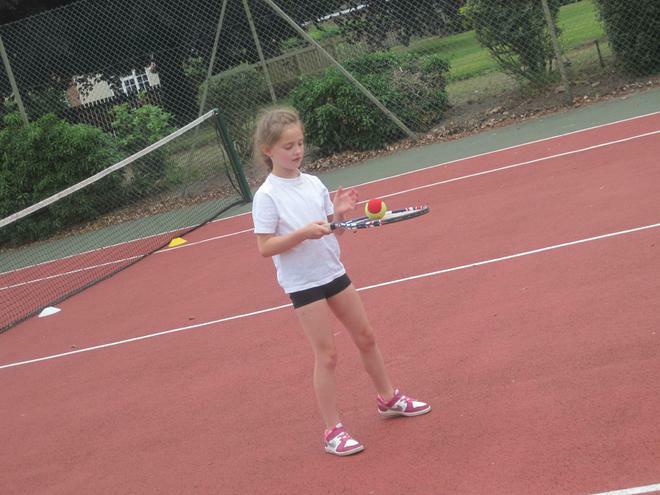 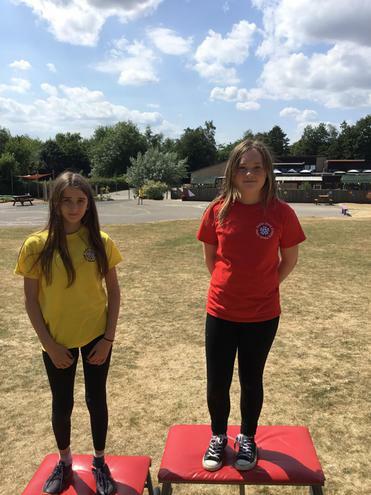 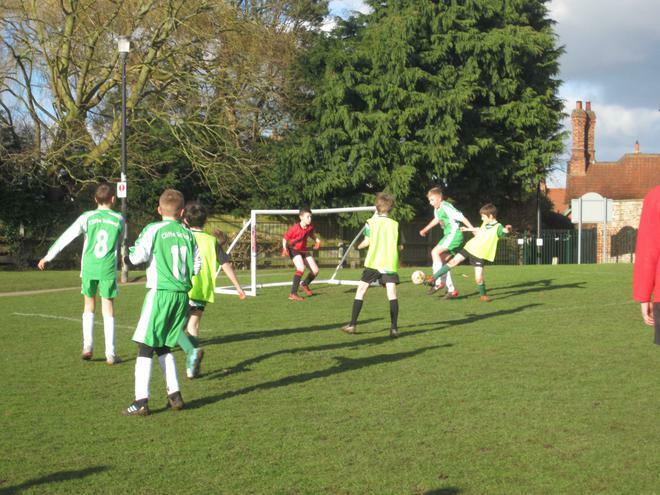 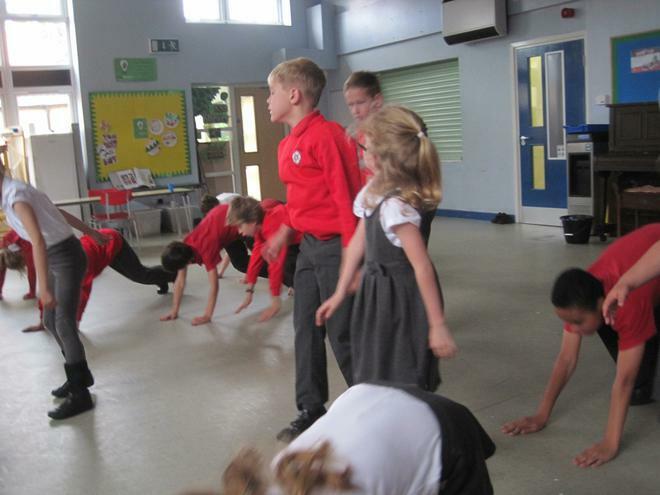 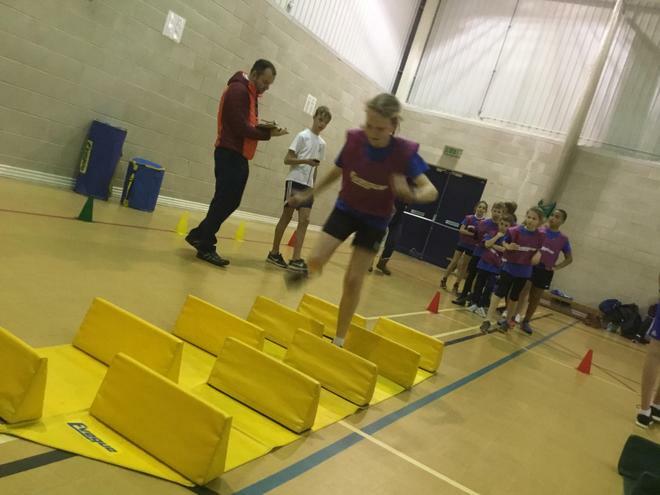 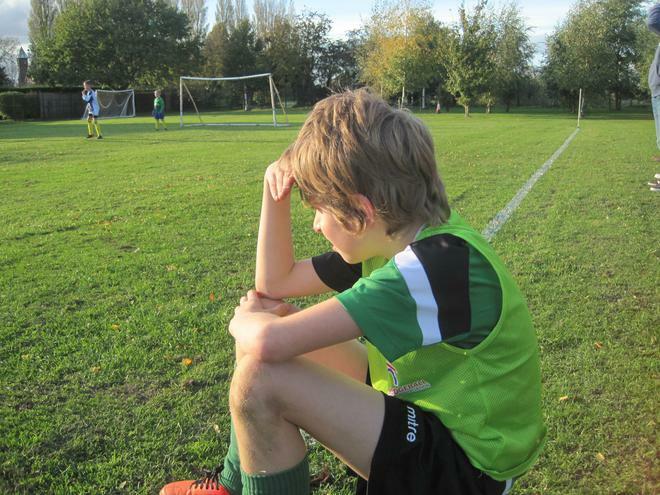 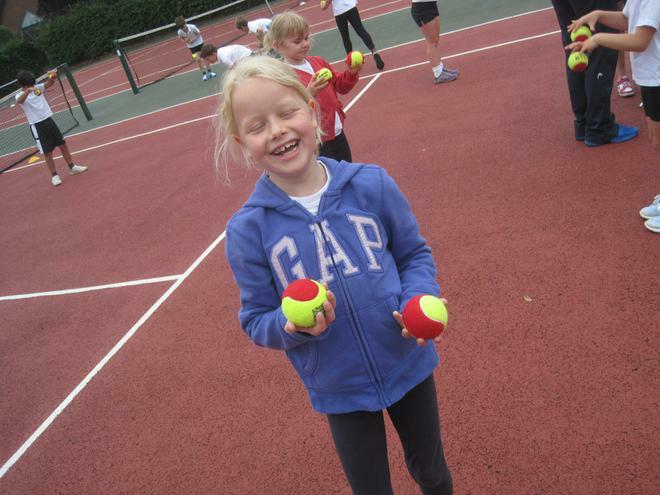 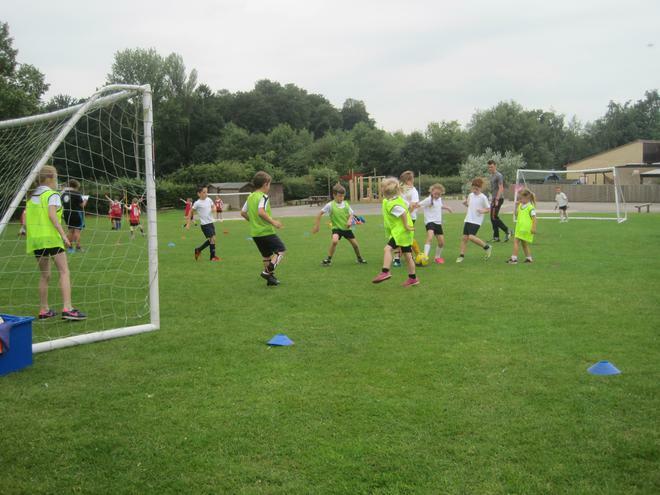 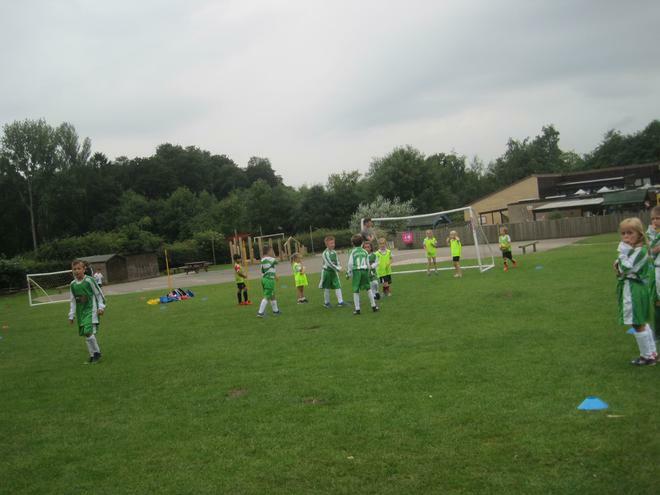 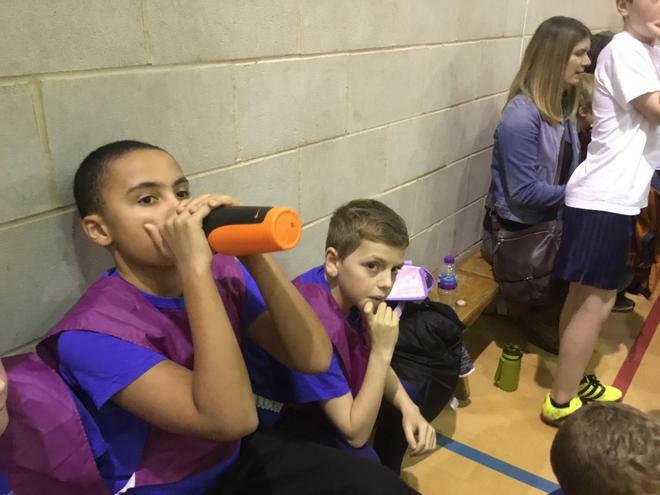 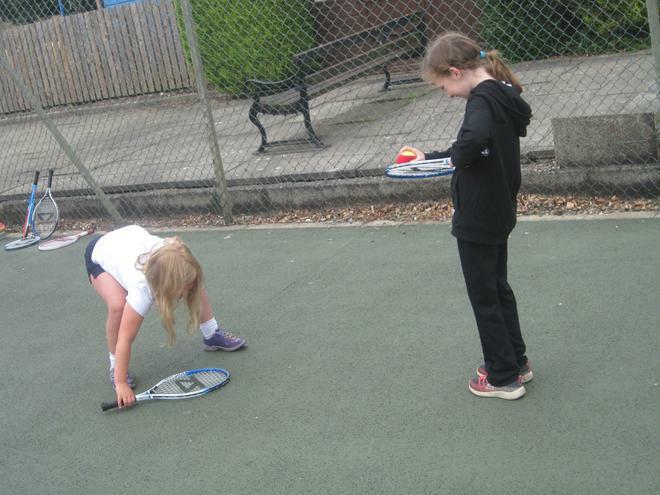 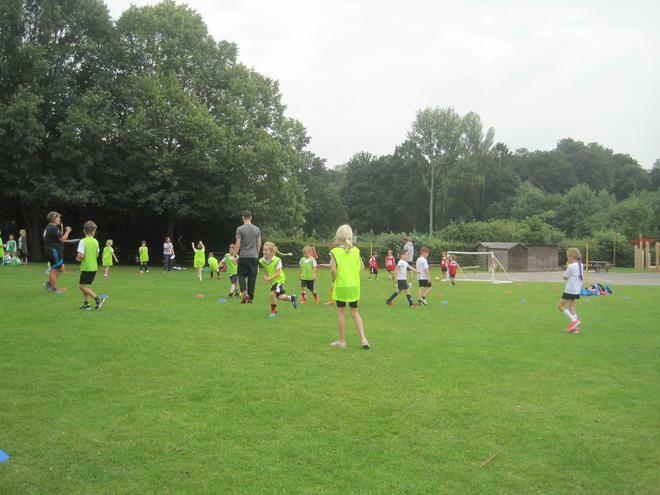 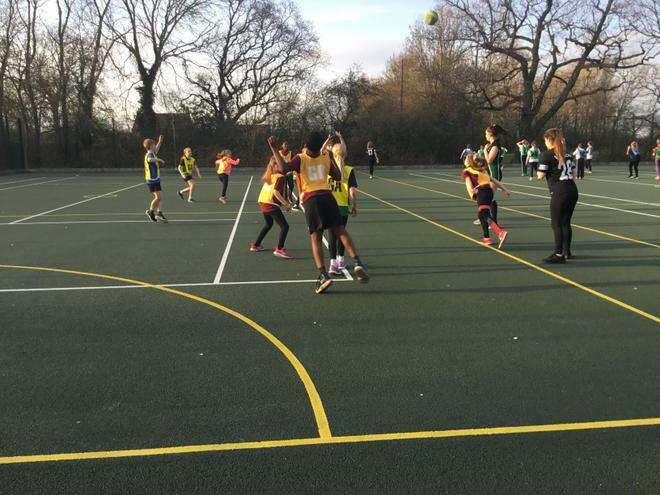 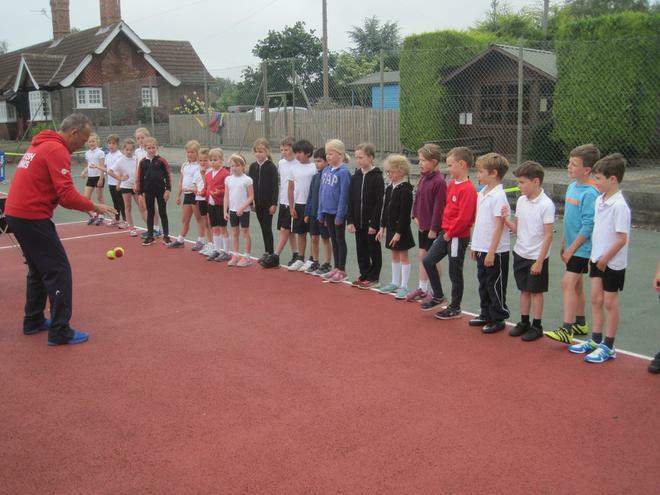 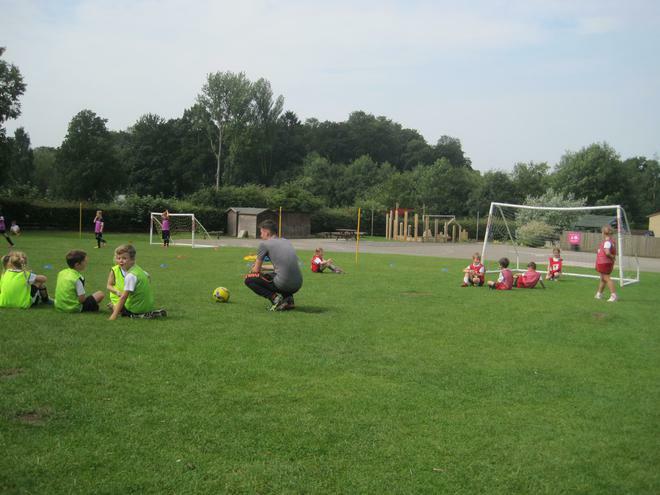 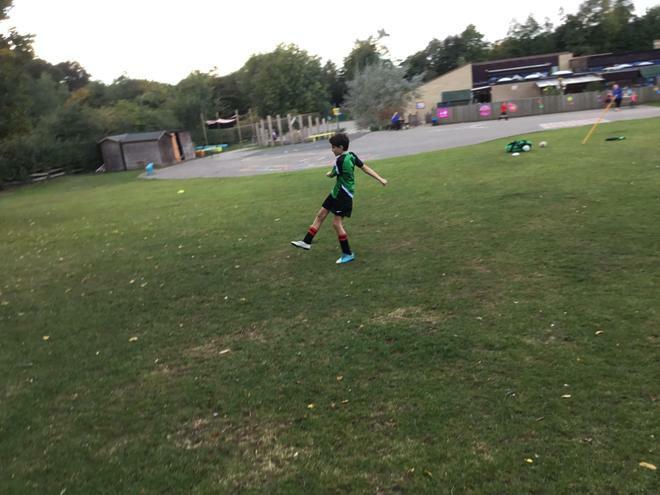 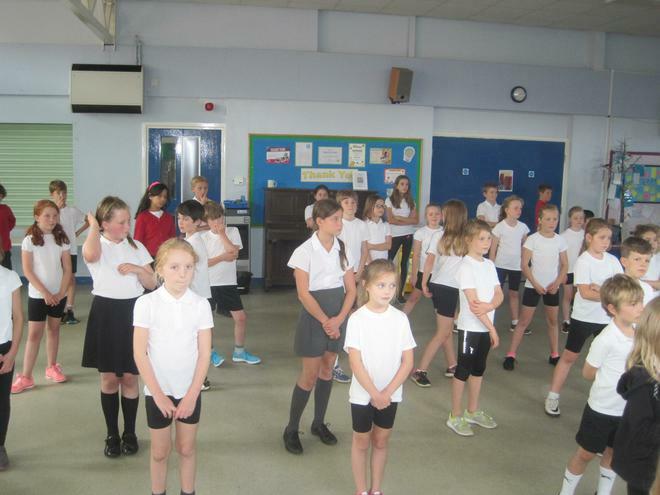 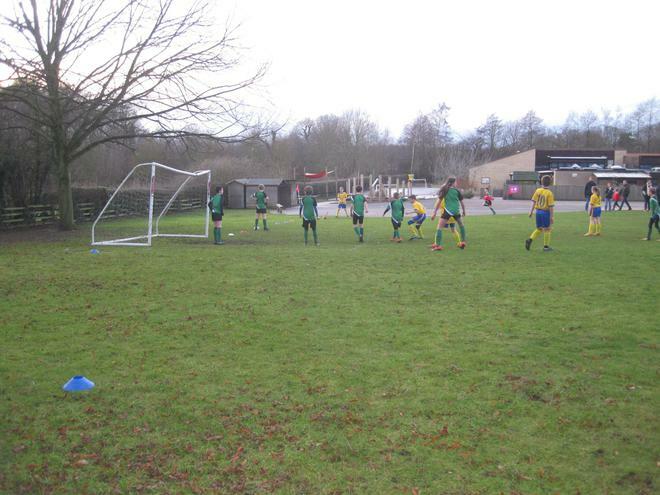 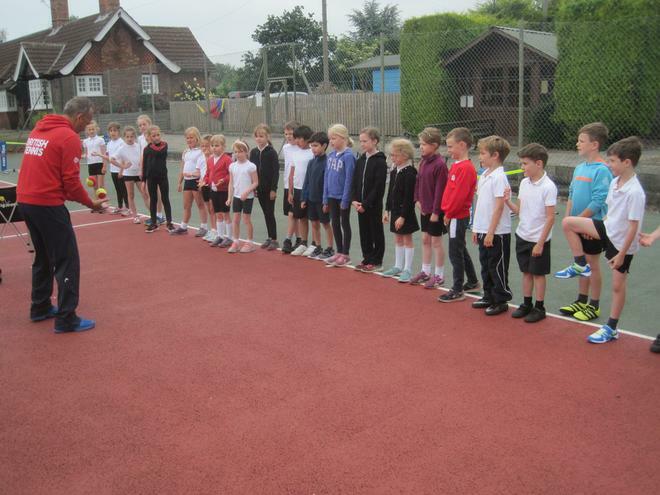 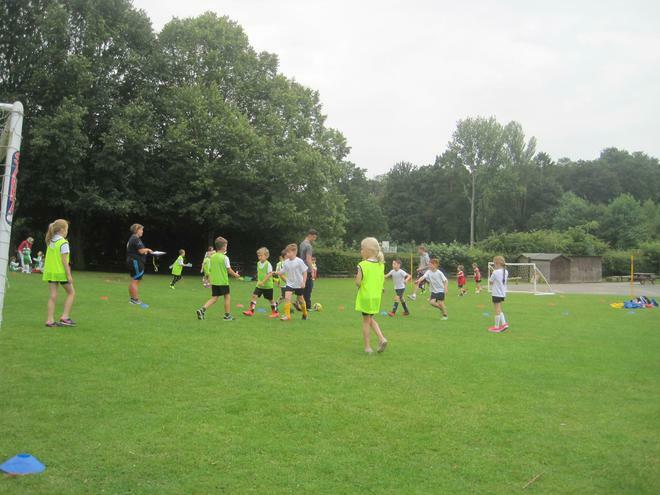 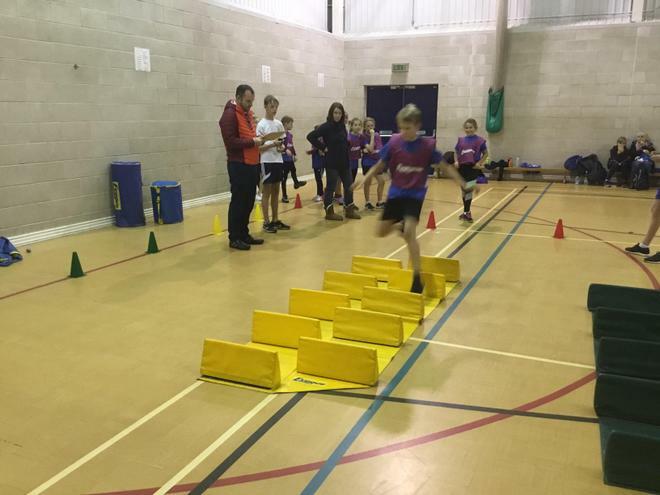 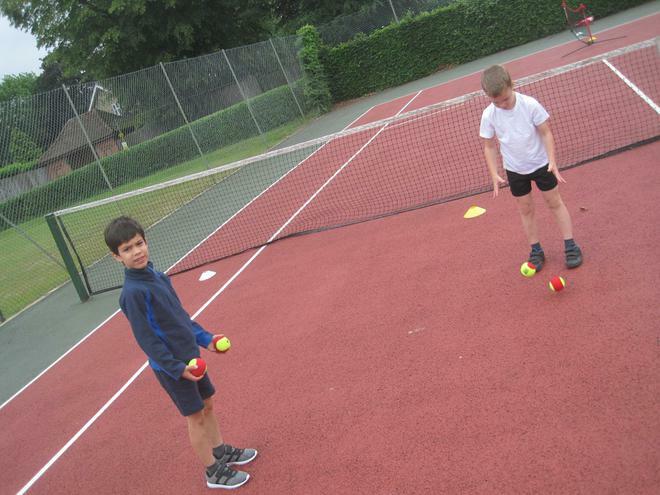 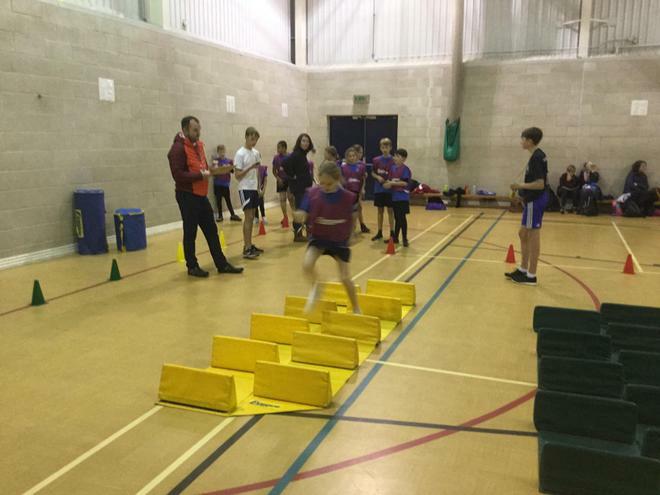 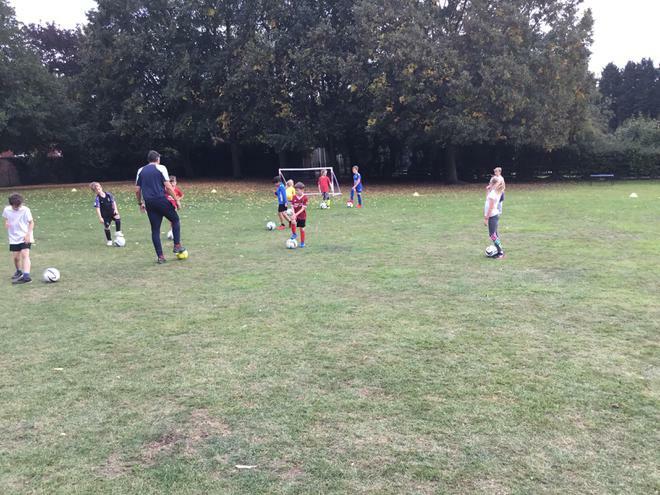 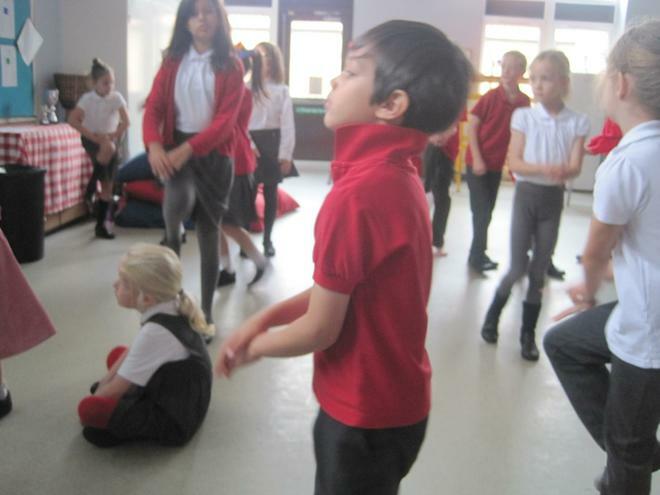 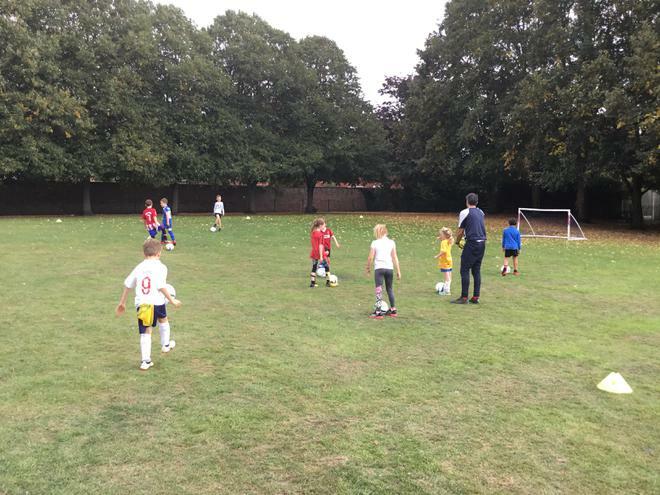 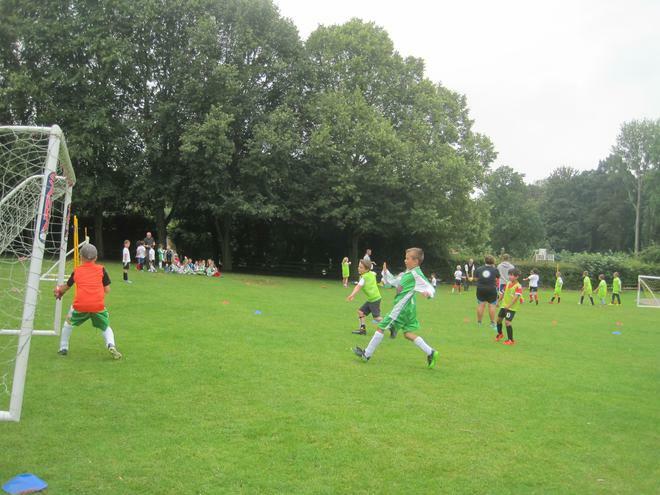 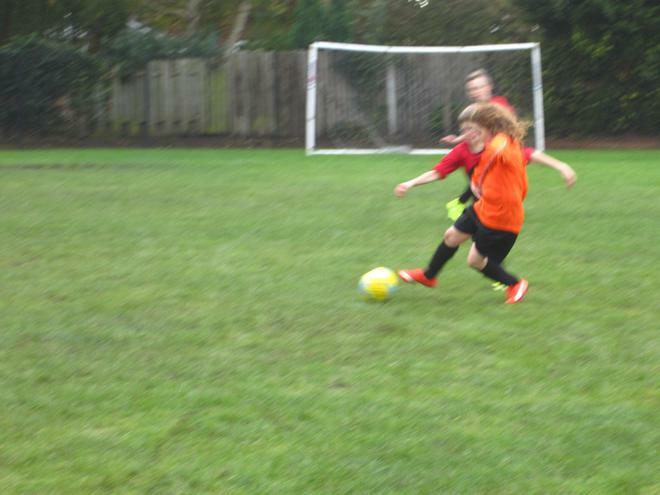 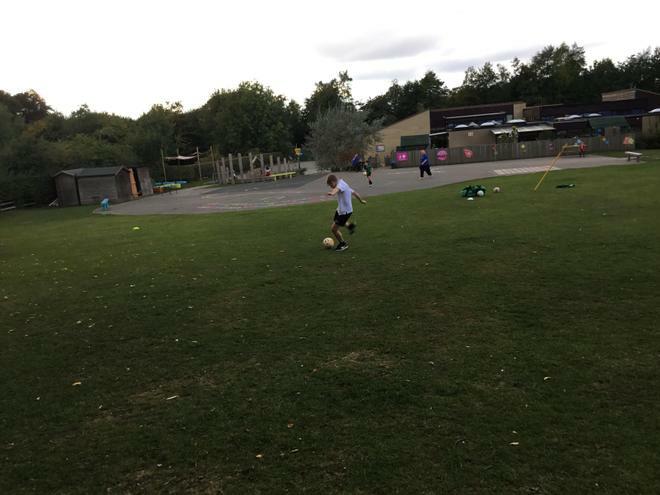 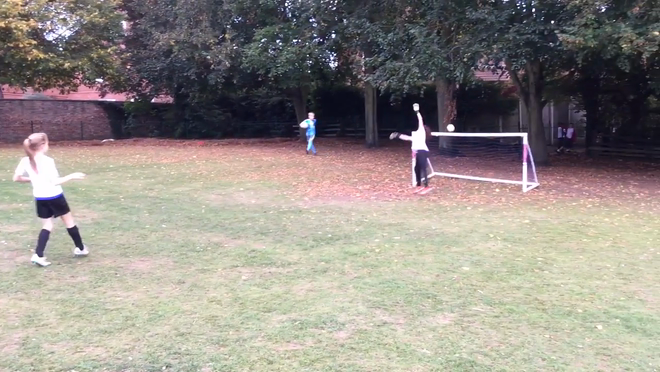 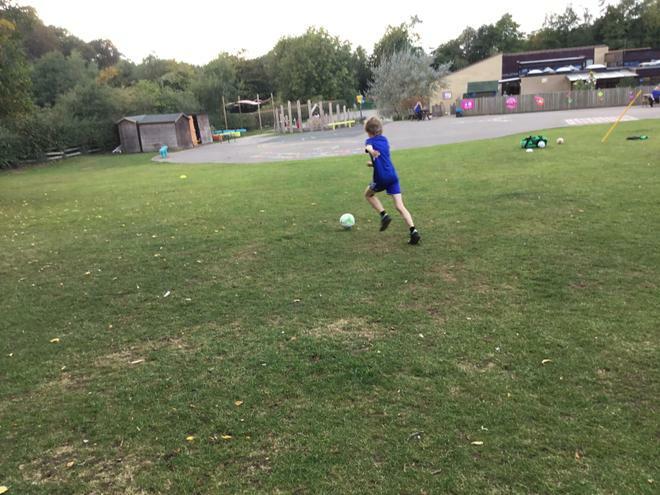 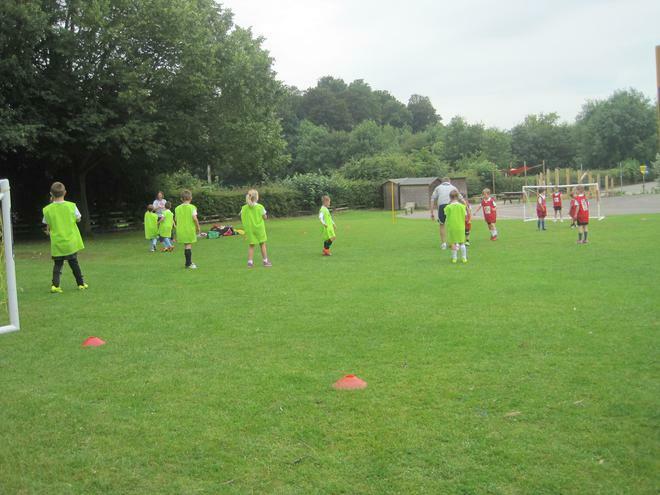 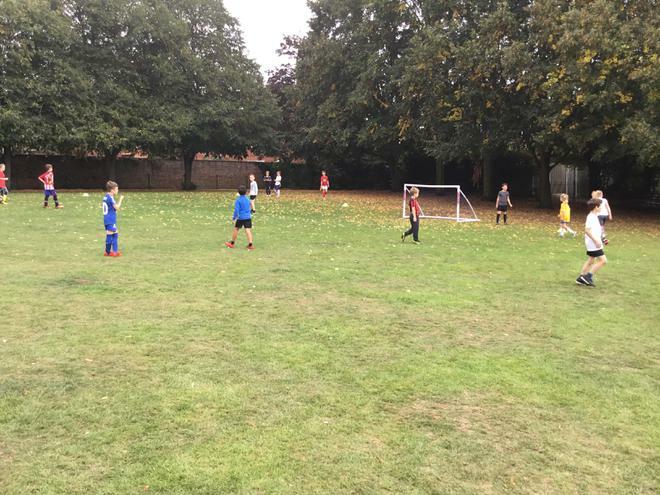 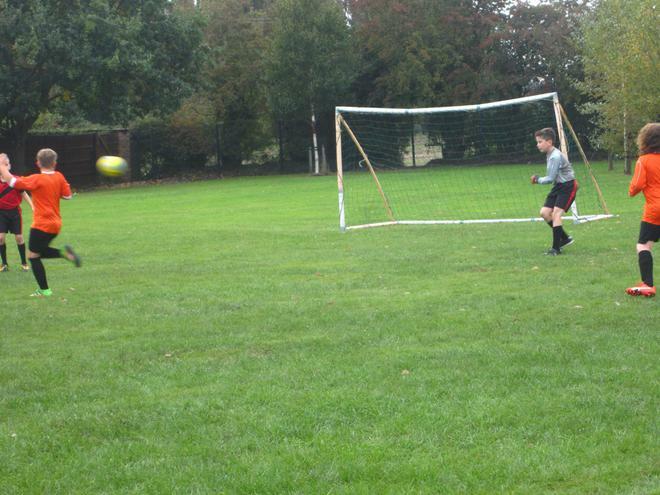 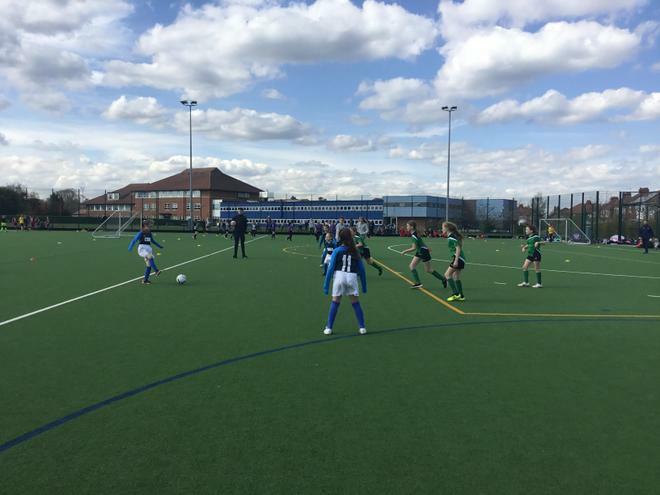 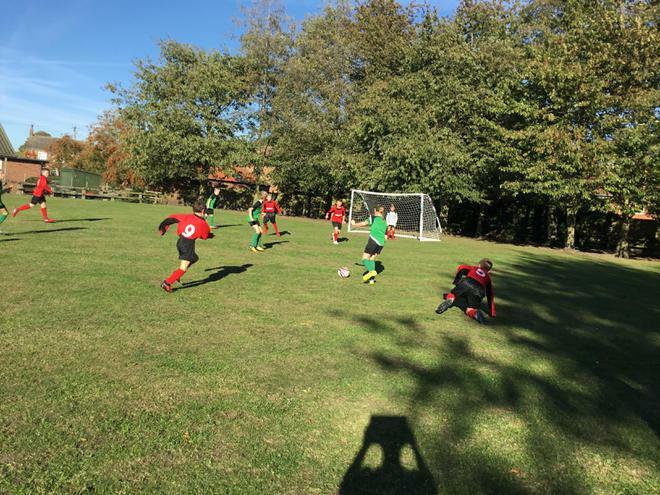 In total 118 pupils tried new sports. 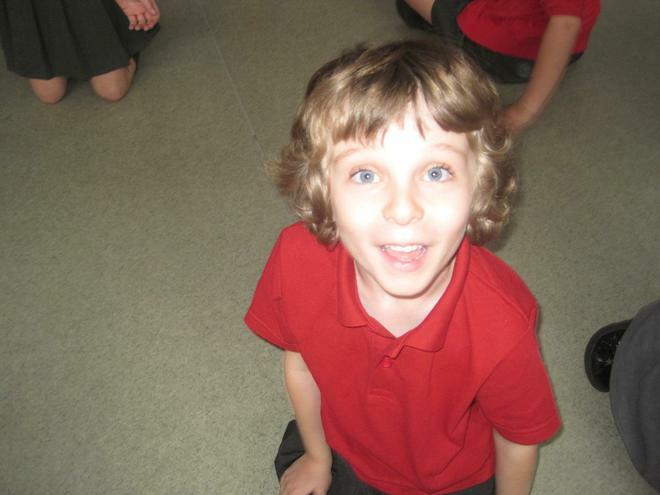 Out of these pupils, 43 were girls and 91 were boys. 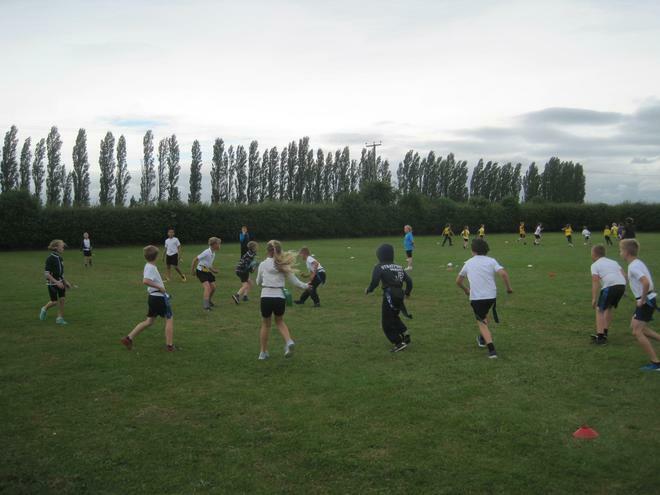 A fantastic effort to all who attended extra curricular sessions!! 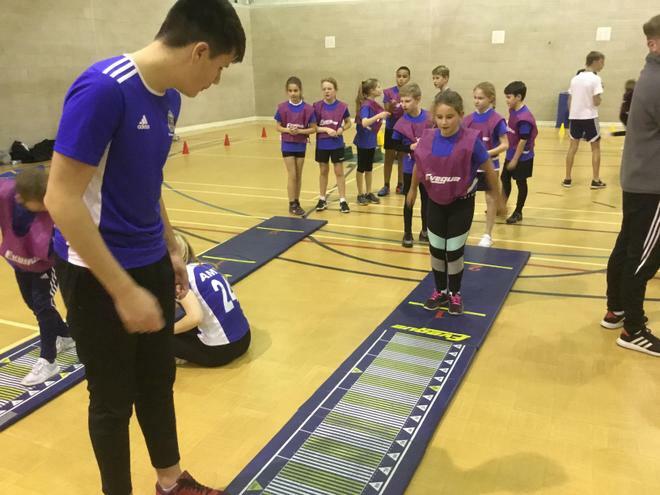 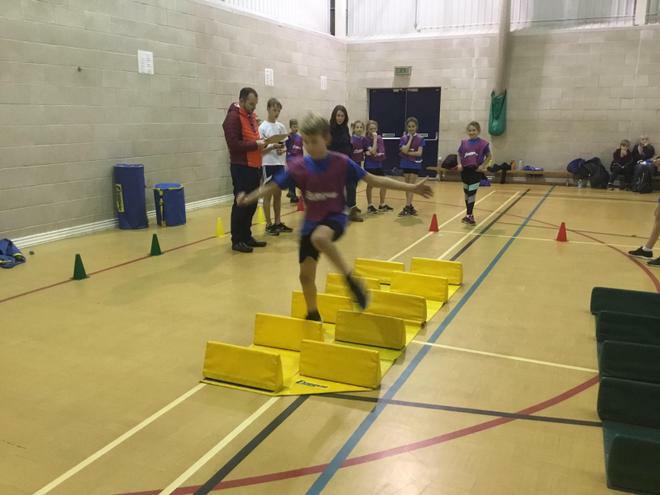 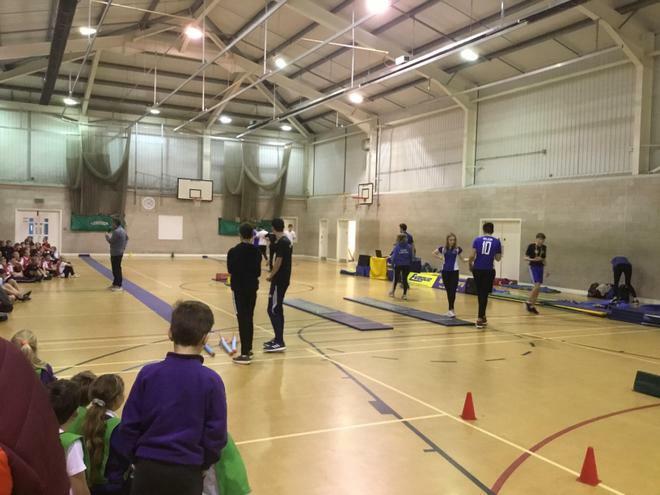 On the 6th April 2017, Escrick swimming team went to Queen Margaret's school to take part in a swimming gala ran by Sporting Start. 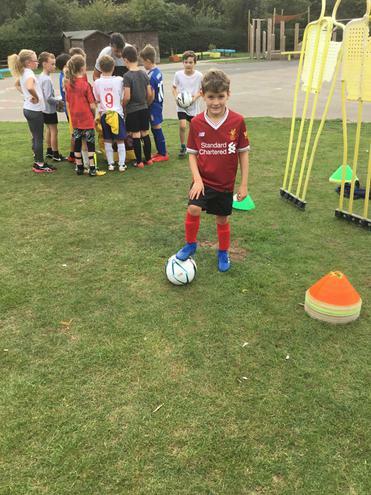 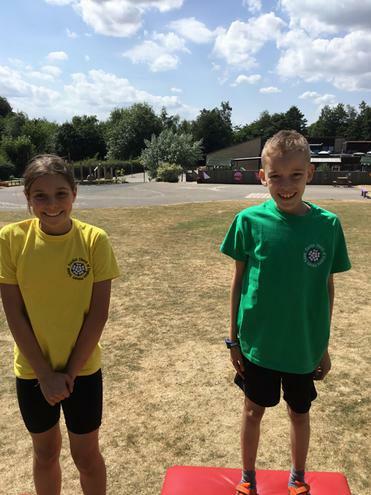 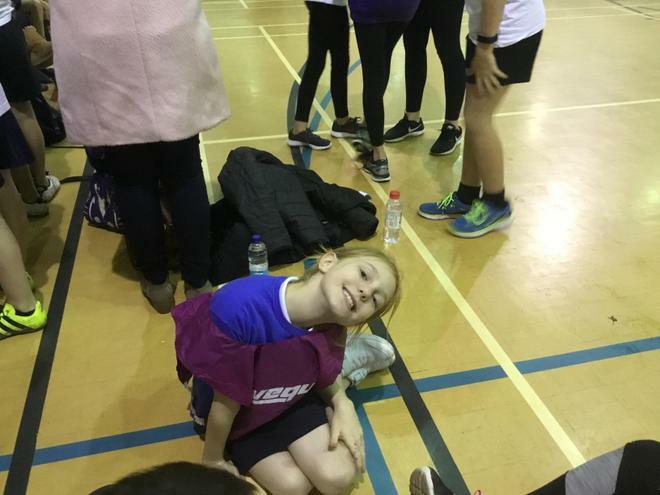 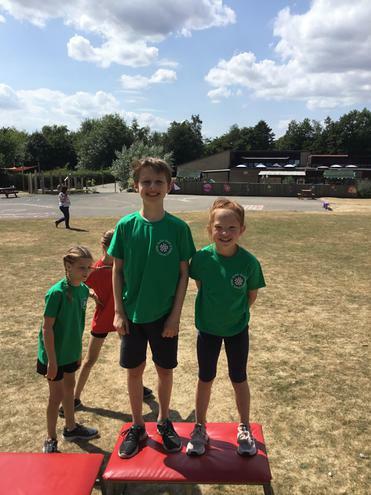 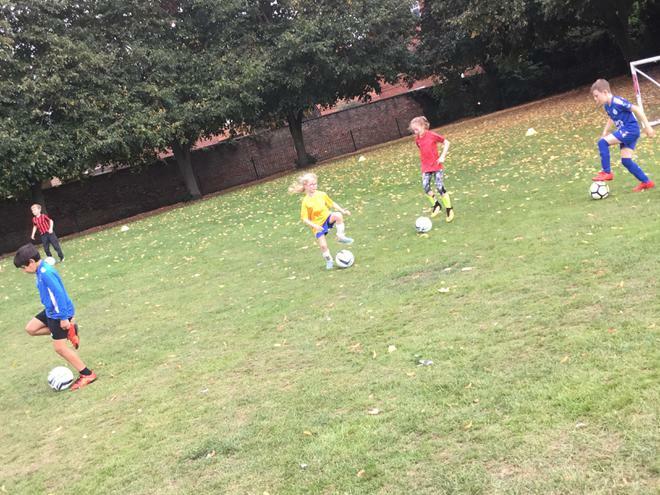 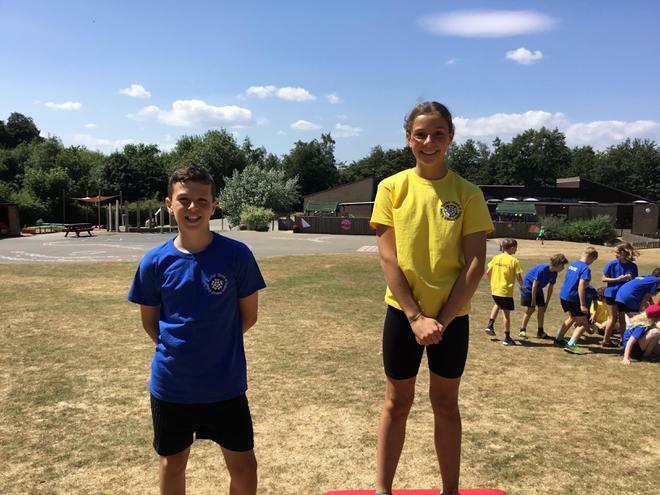 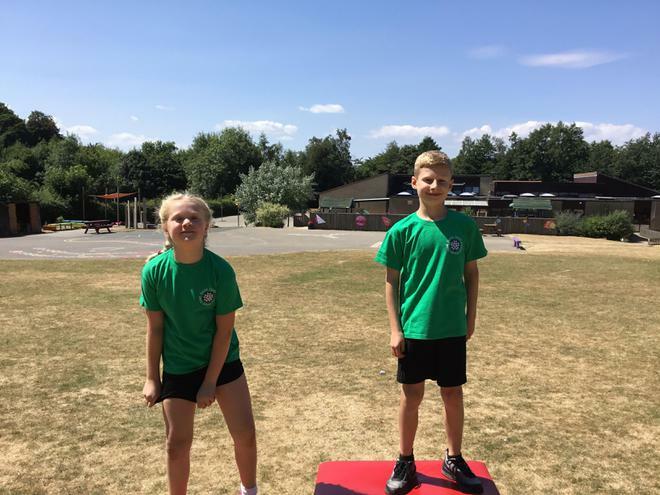 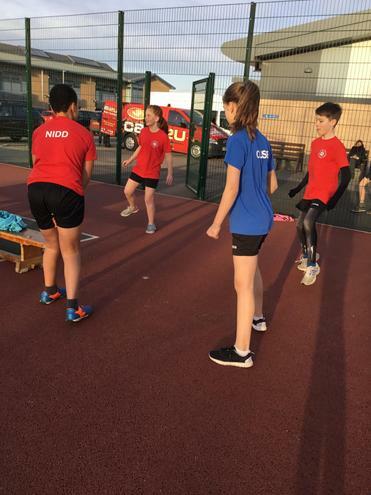 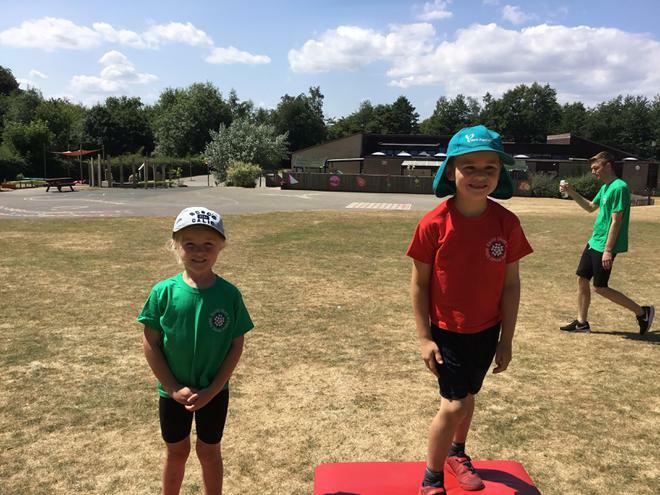 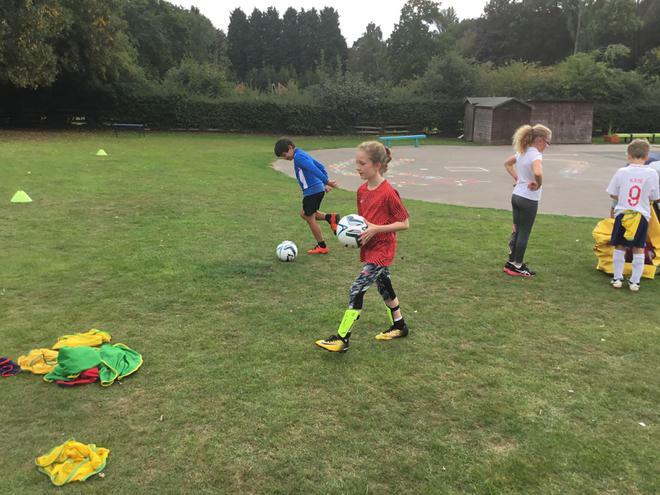 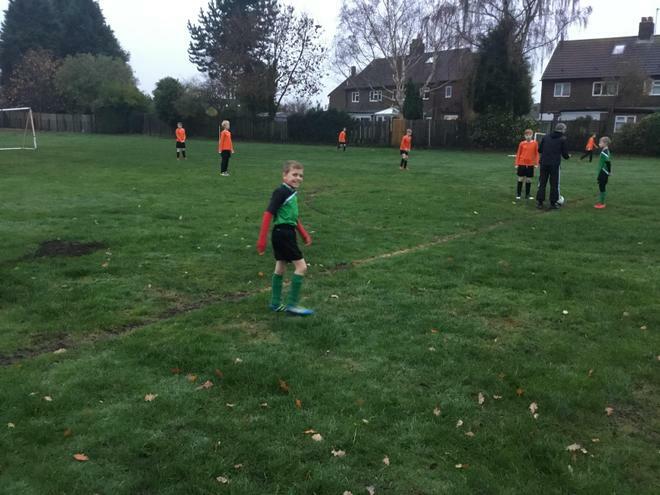 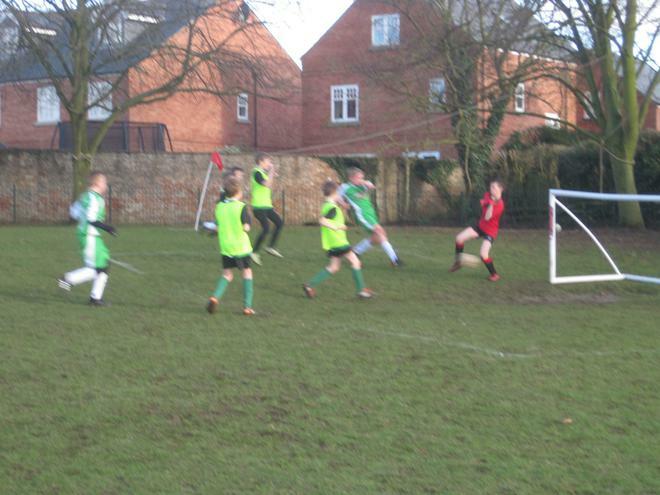 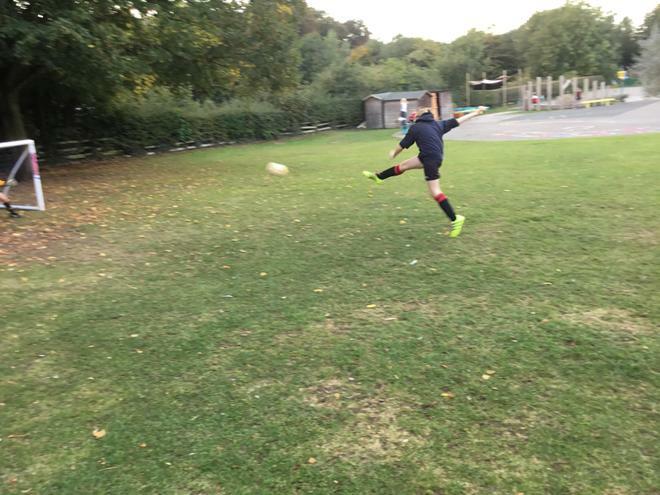 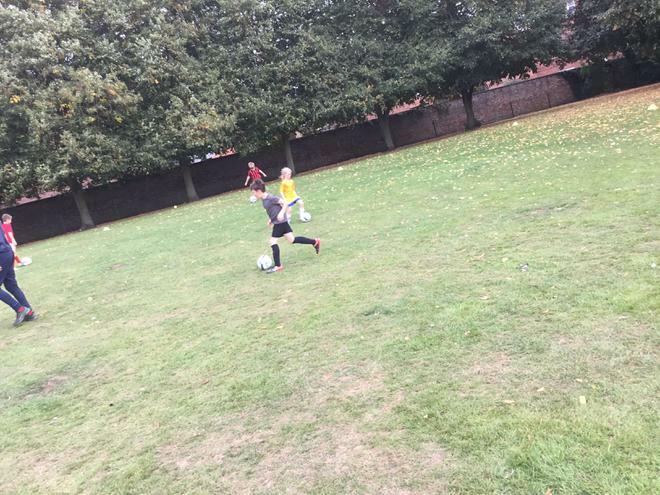 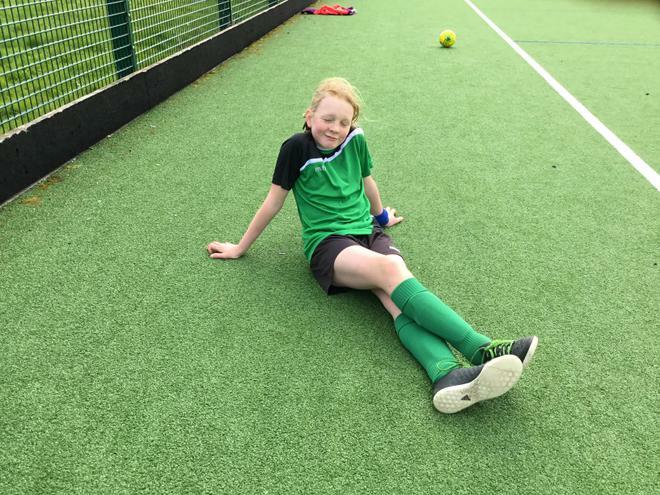 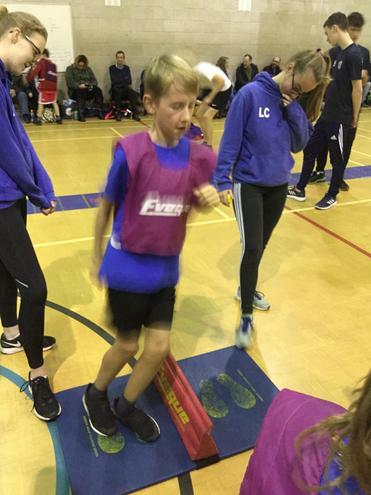 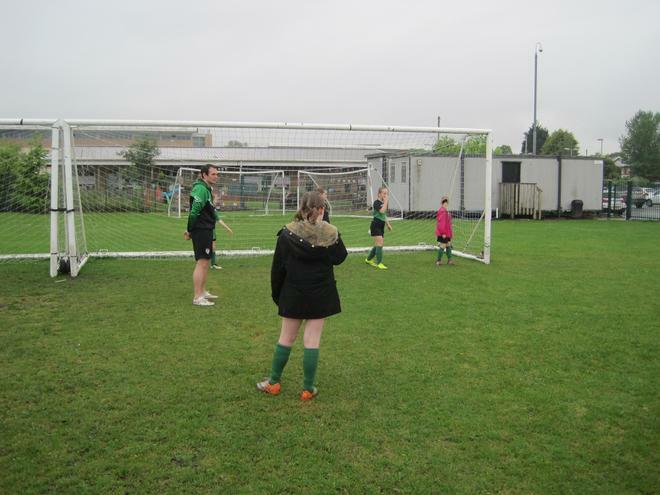 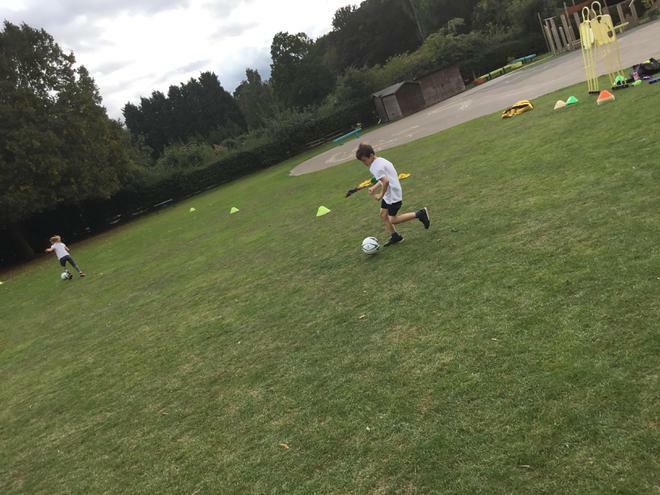 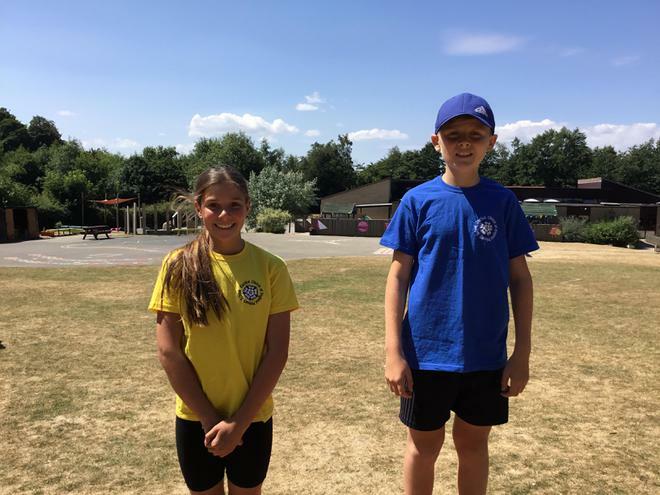 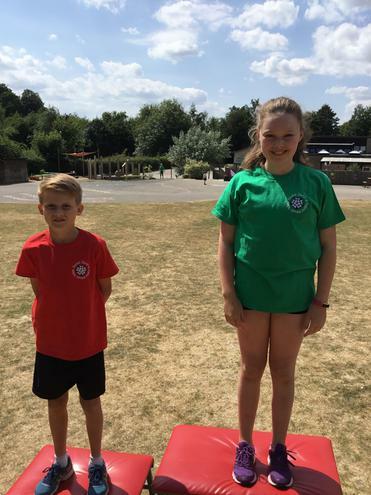 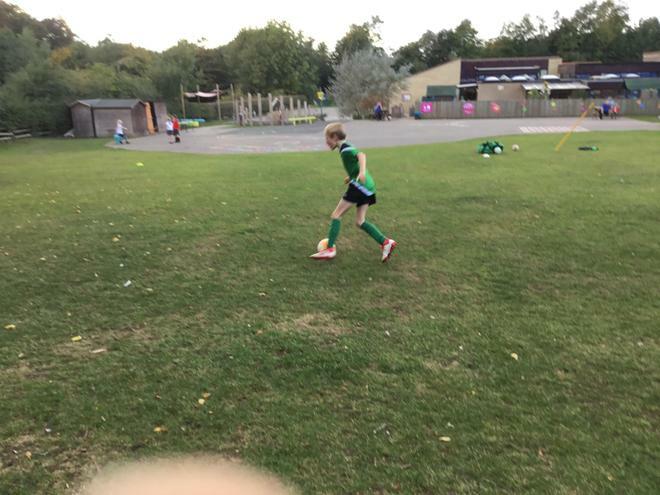 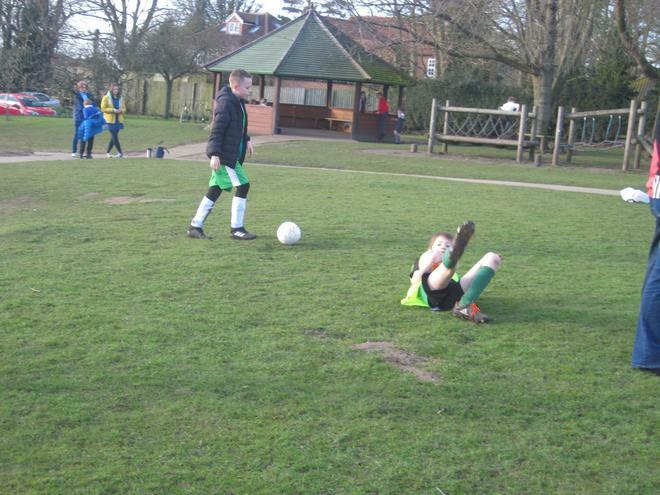 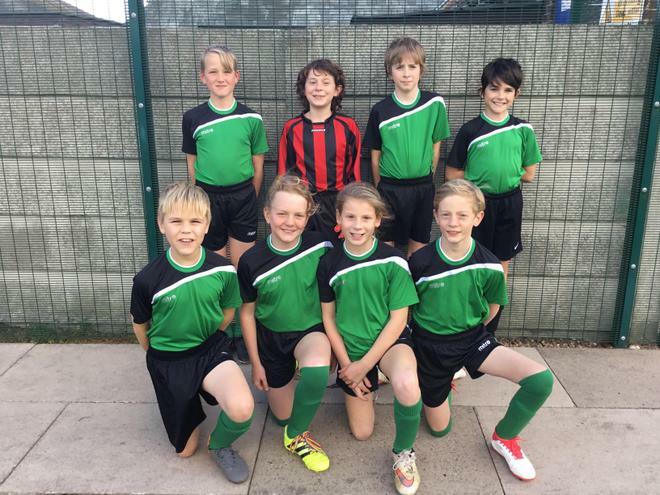 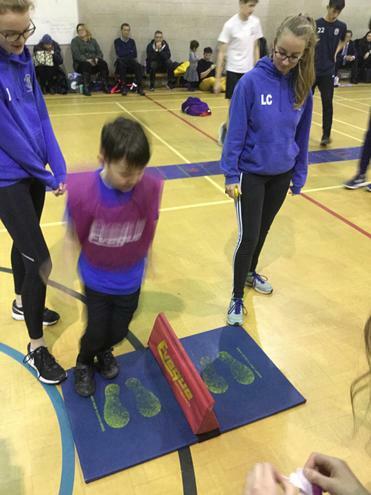 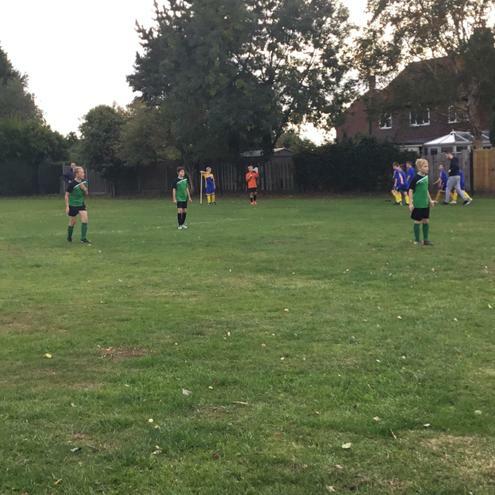 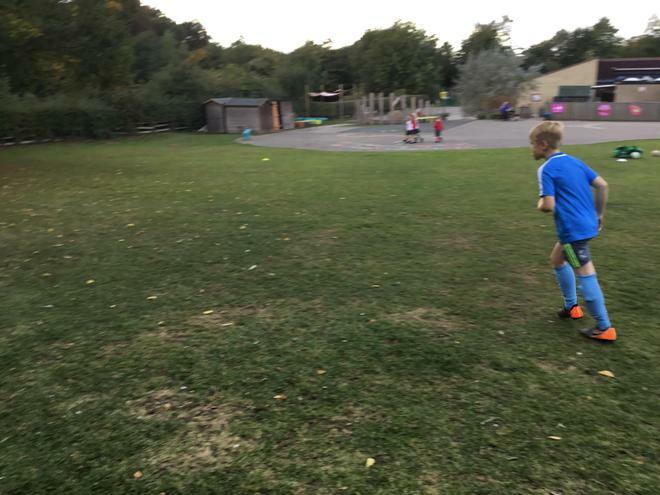 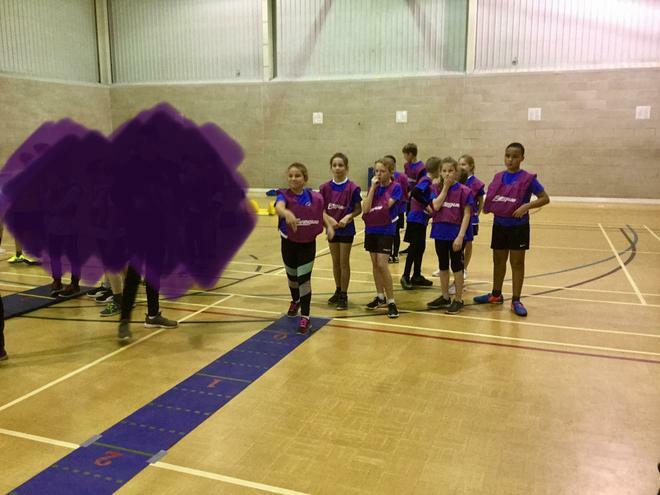 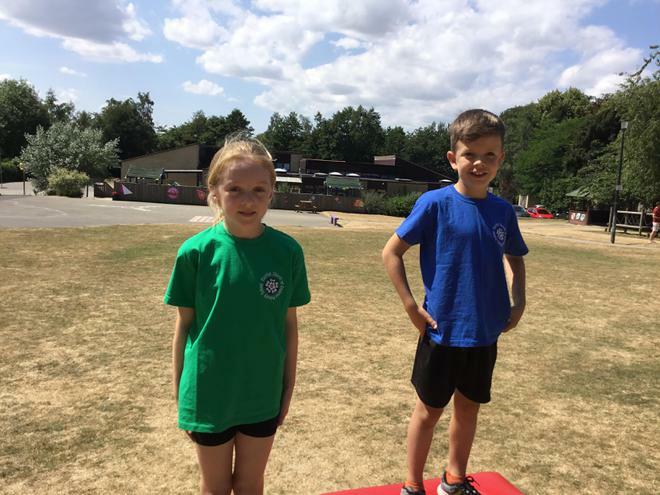 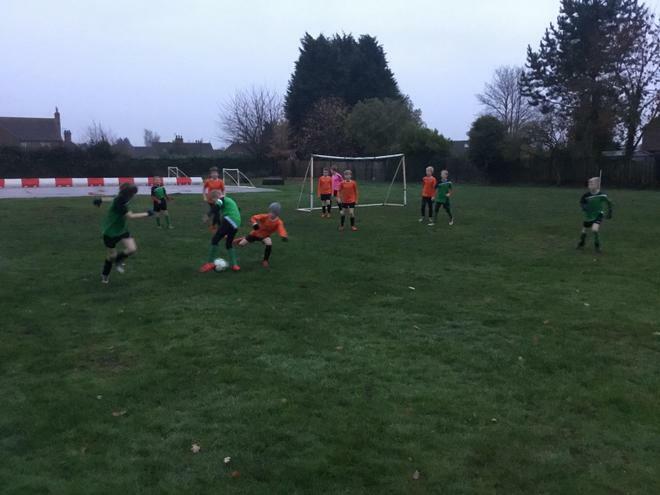 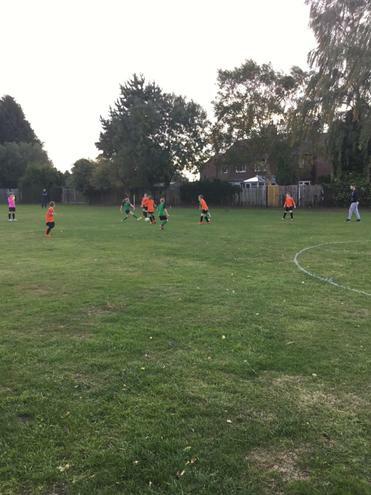 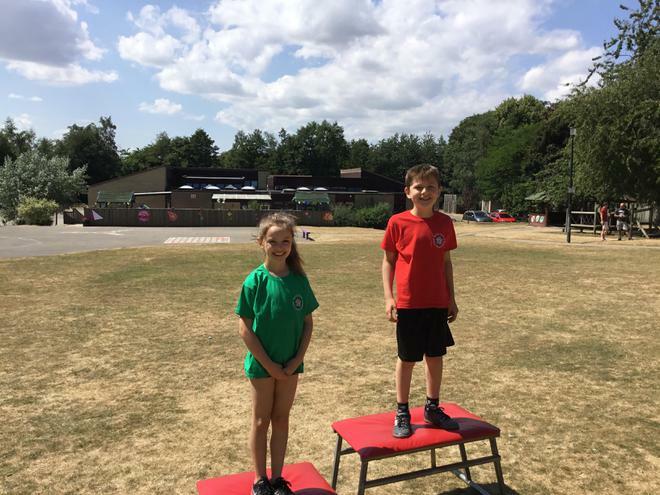 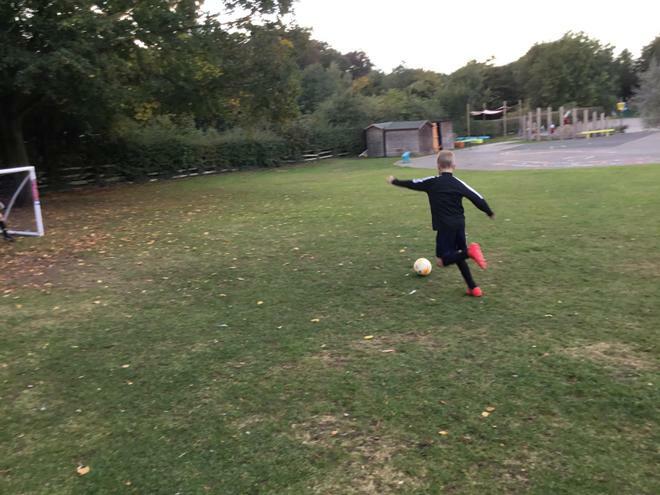 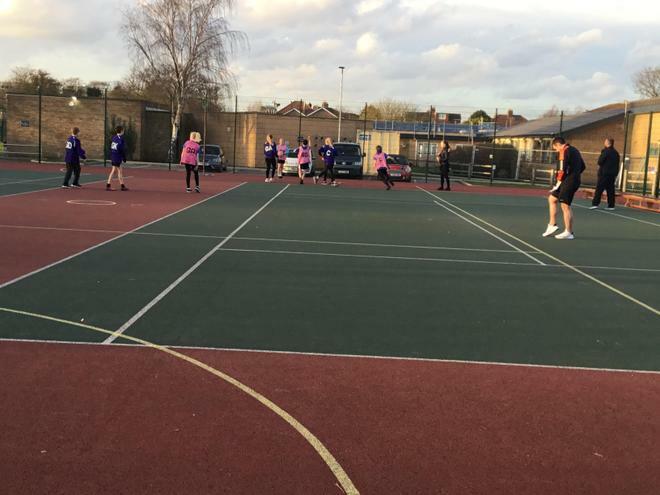 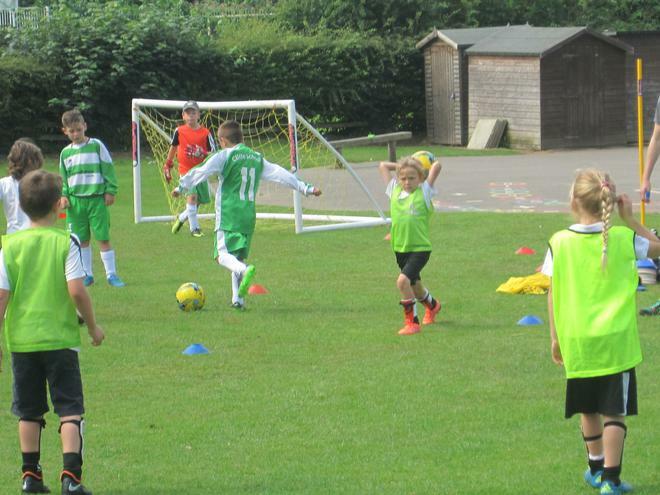 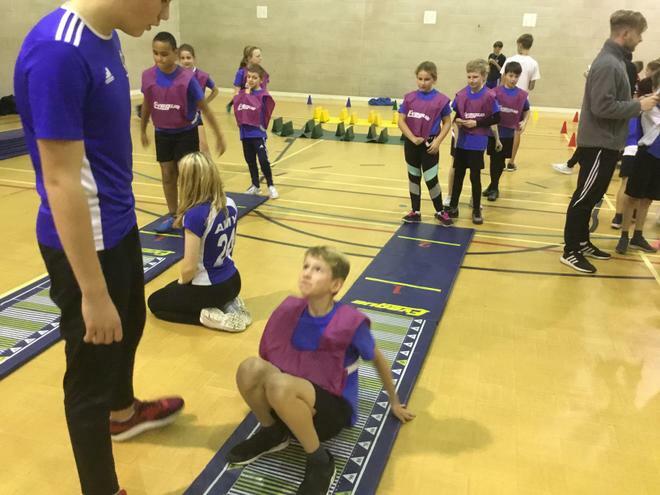 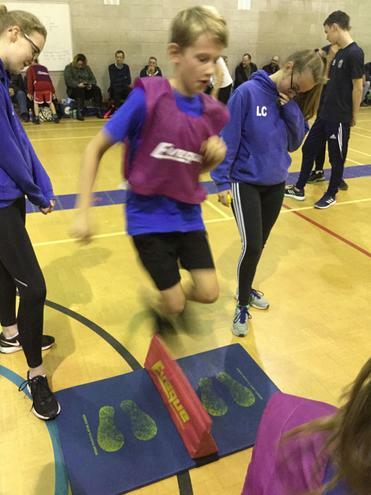 The team consisted of: Ollie F, Jake P, Jamie K, Will H, Hannah M, Hannah G, Lucy B and Zara L. Luke was also part of the team, however, he suffered an unfortunate injury before so was unable to participate. 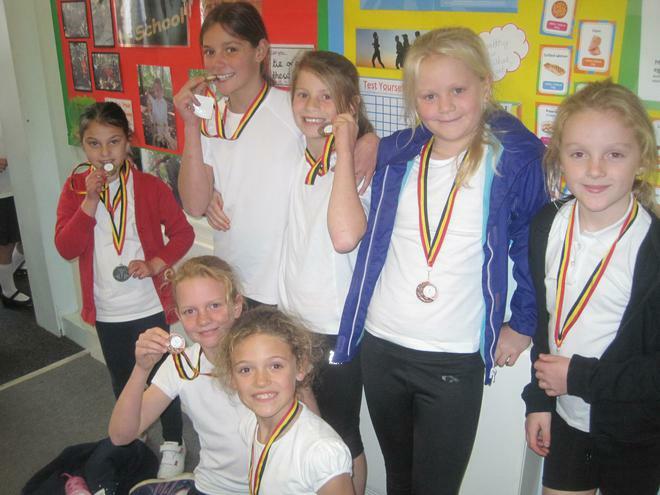 The team did really well, coming home with quite a few medals (3 gold, 7 silver and 6 bronze). 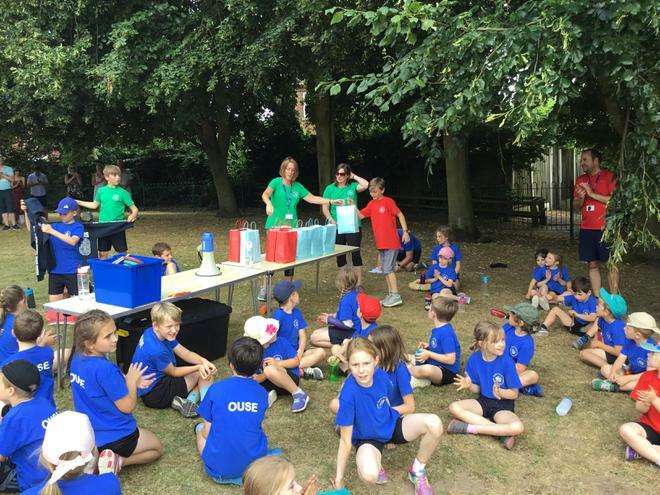 I would like to thank the team for giving 100%, Mrs Palmer for taking us and Mr. Deakin for organising the team. 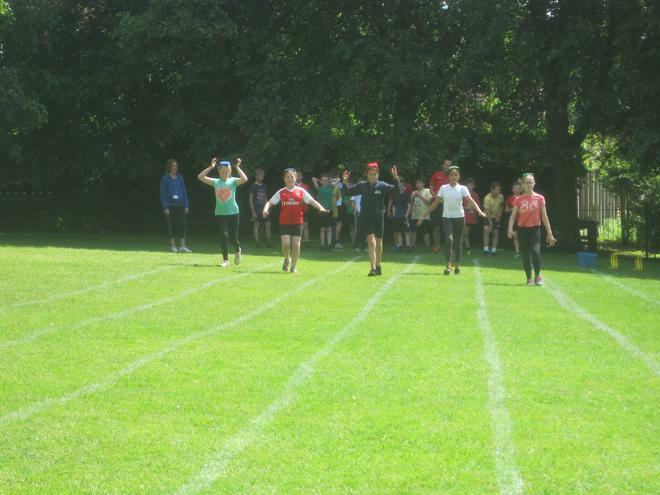 Also, thank you to Sporting Start for organising and Queen Margaret's for letting us use the pool. 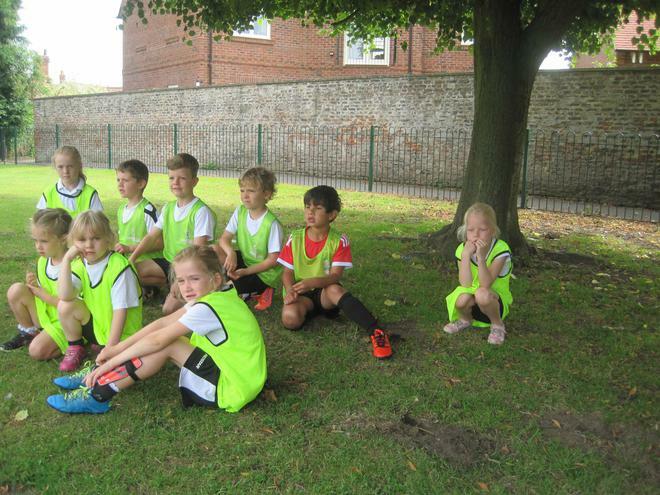 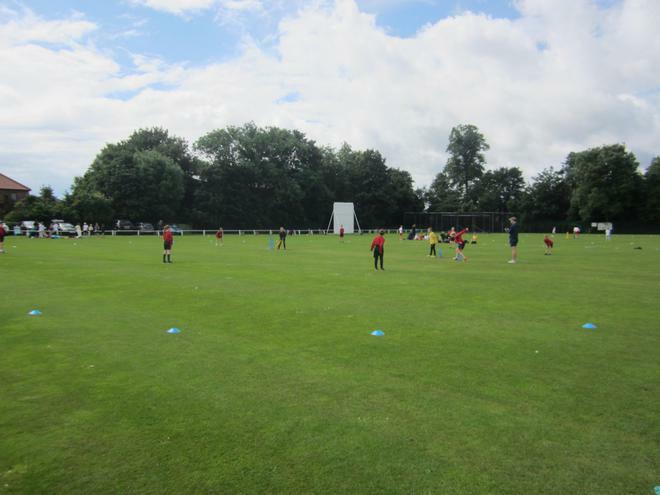 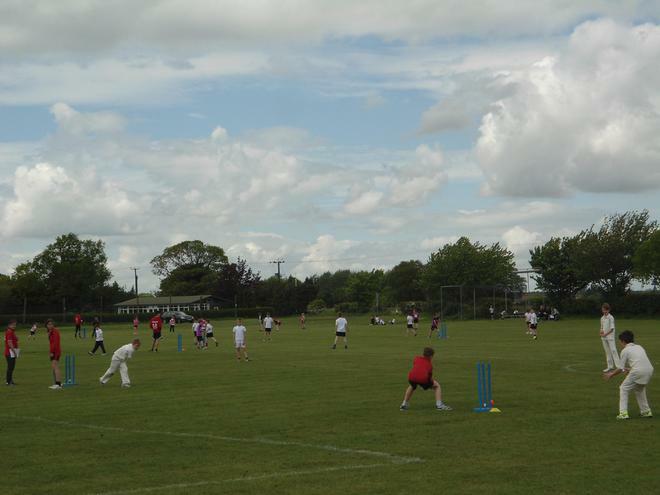 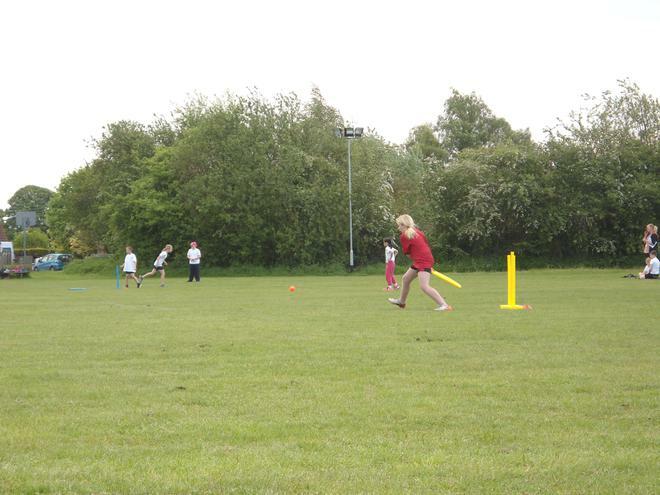 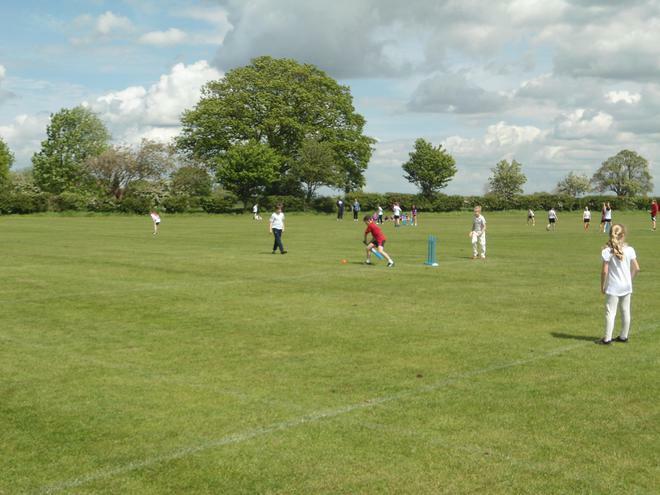 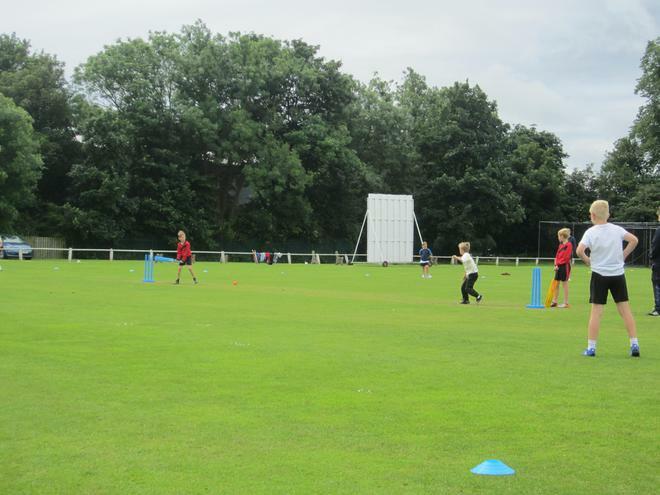 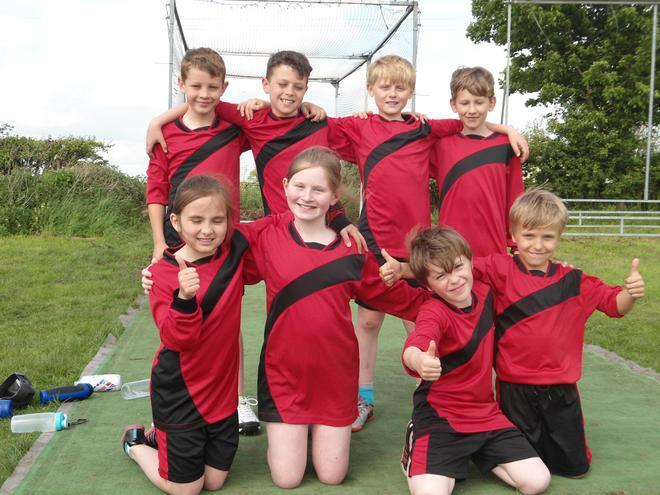 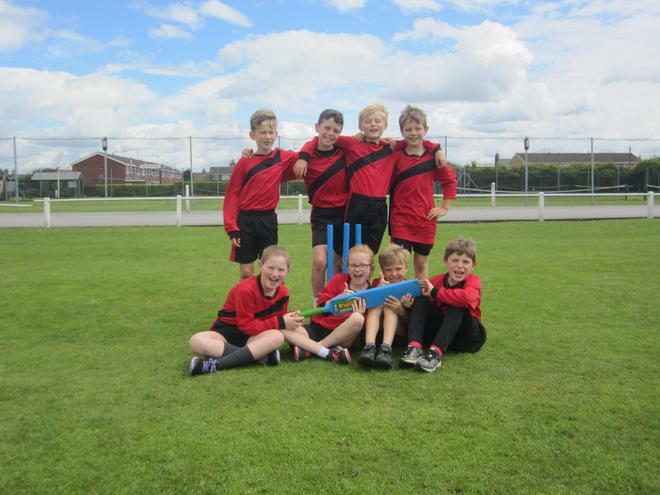 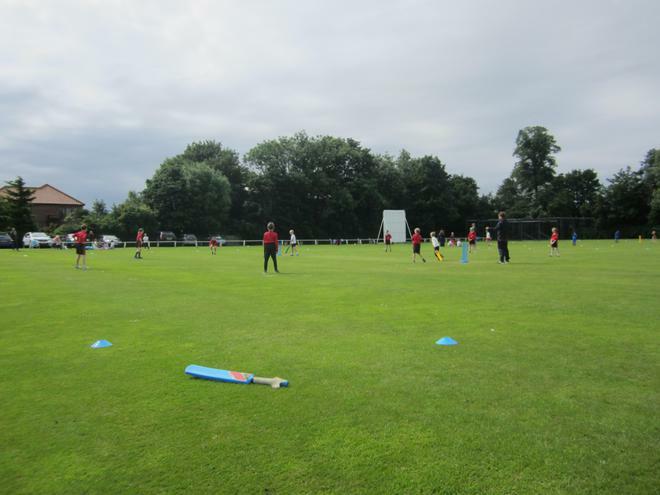 On Friday 1st July our Y3/4 Kwik Cricket Team went to Beverley Cricket Club to compete in the district finals. 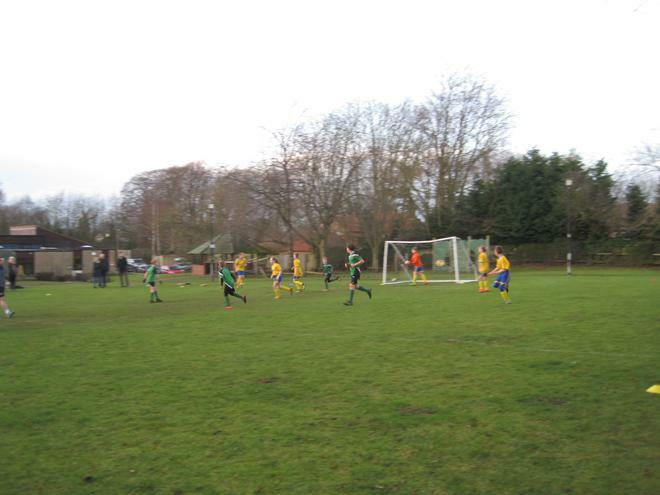 They played magnificently but sadly were defeated. 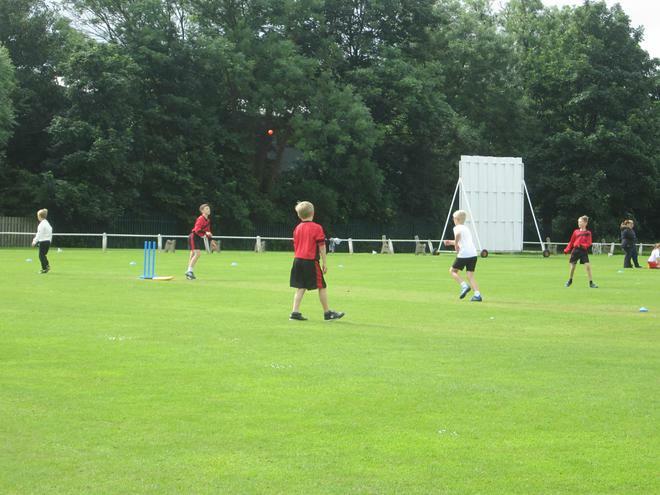 We all had a great day with lots of cricket being played though and the weather even turned out nice in the afternoon. 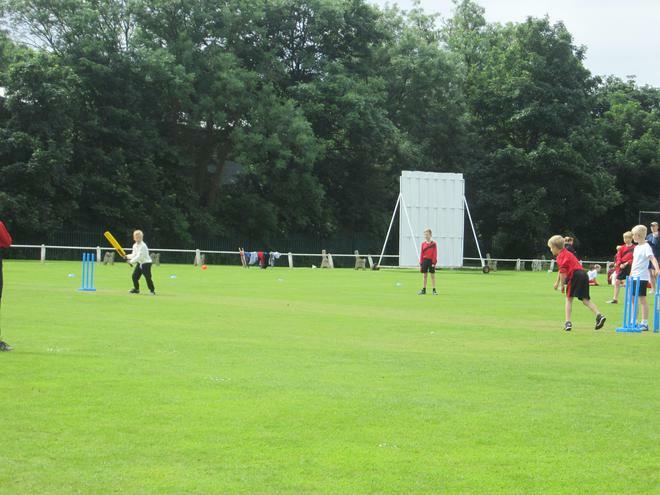 Our day out at Headingley. 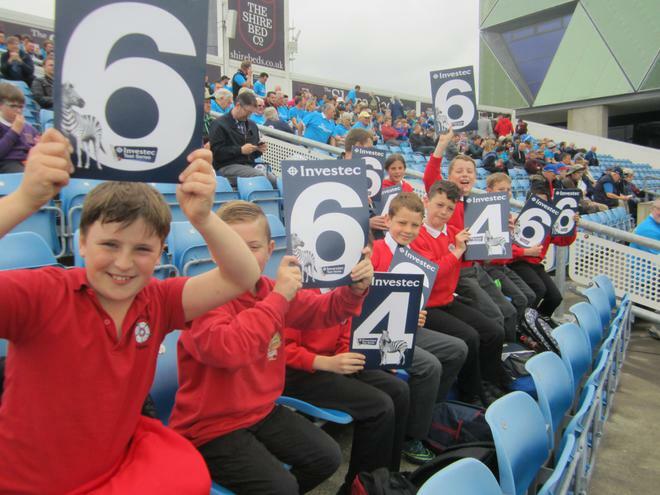 On Thursday 19th May a selection of children went to Headingley to watch the England V Sri Lanka test match. 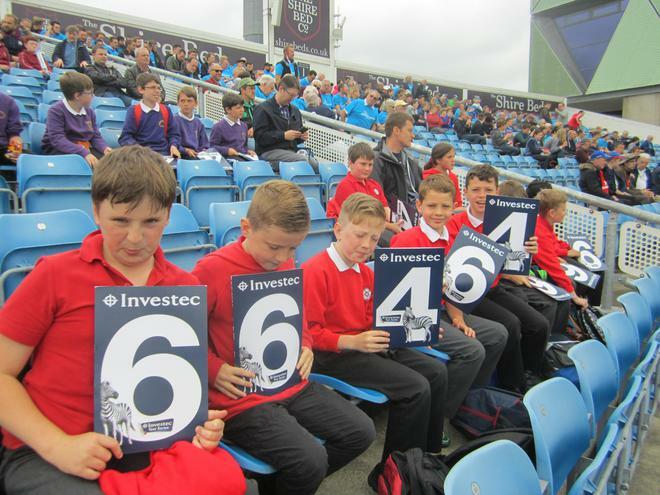 We saw some fantastic runs and were sad when Joe Root was out by a duck! 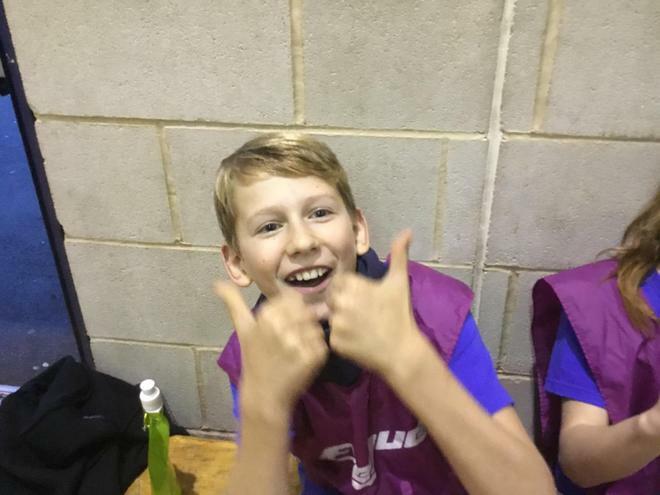 We all enjoyed waving our 6s and 4s and were particularly impressed with Johnny Birstow who got 148 runs! 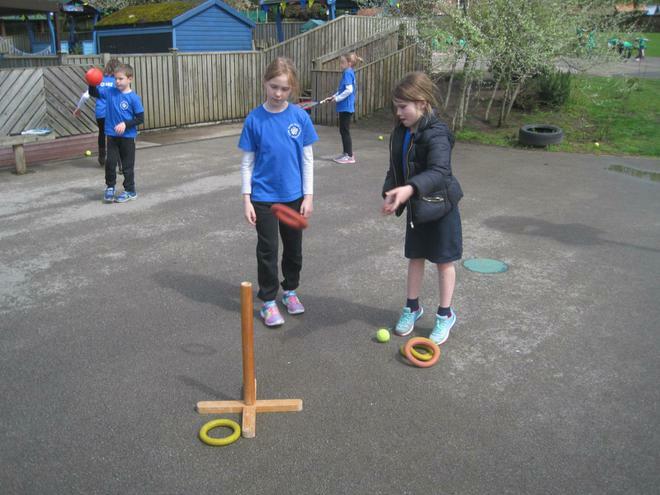 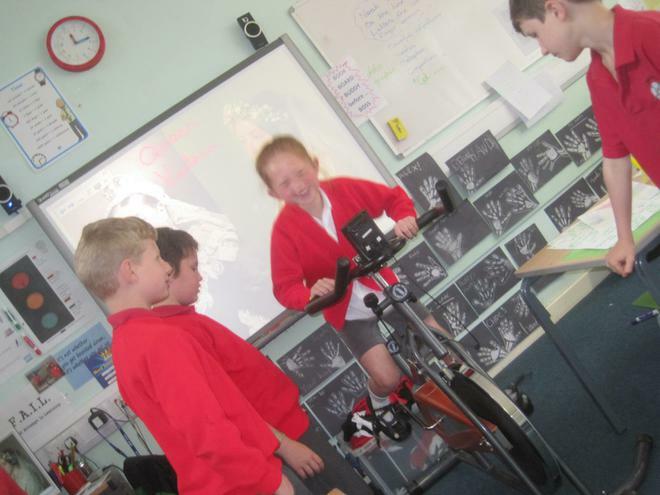 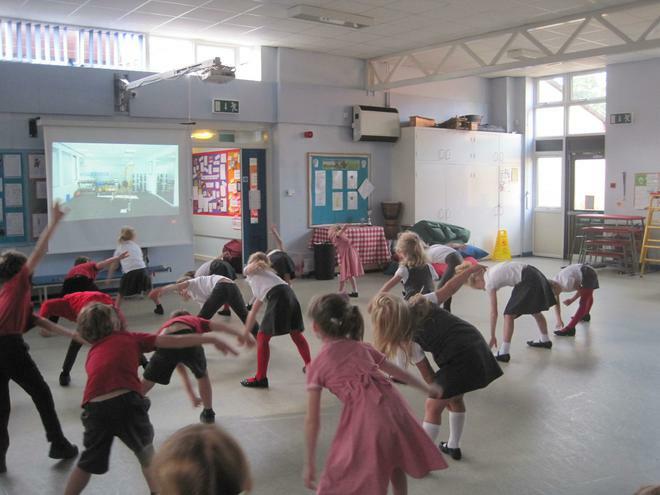 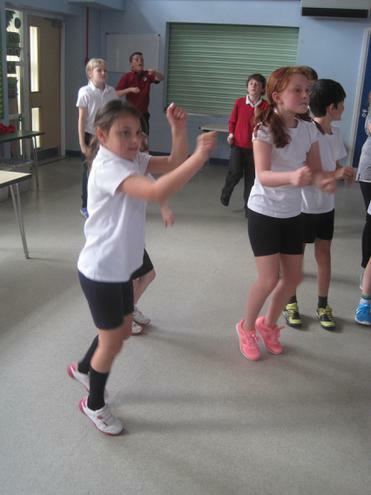 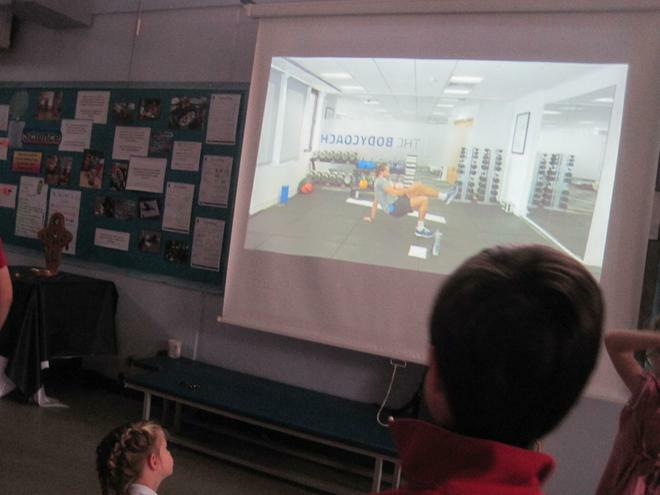 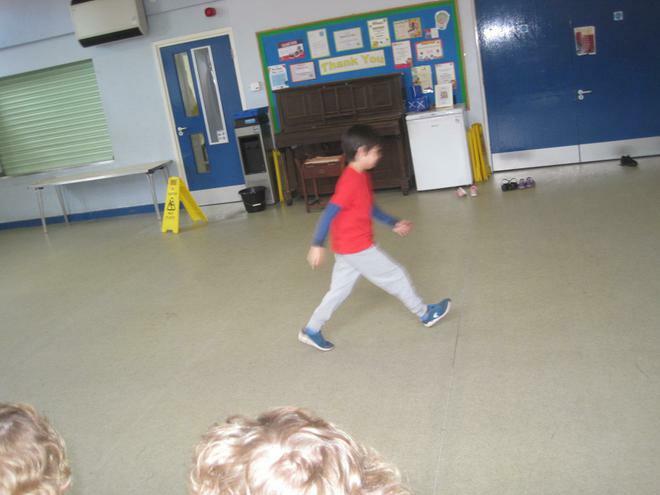 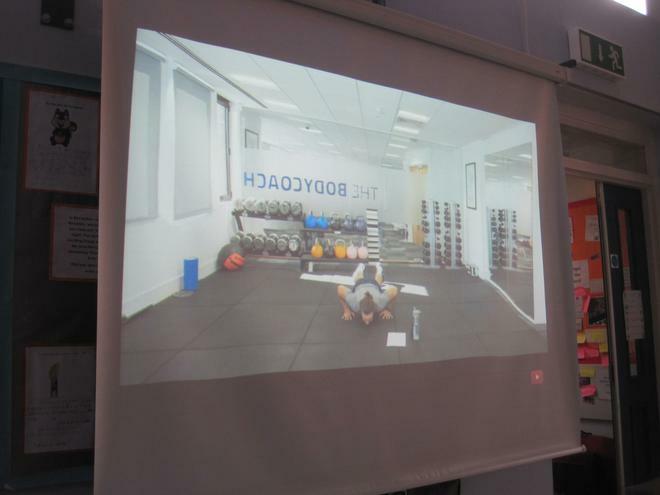 Thank you for your support for Sports Relief - we raised over £230! 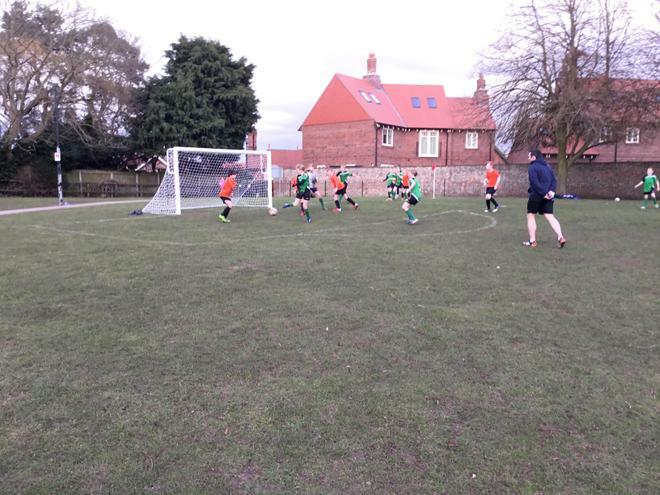 Final training session of the season. 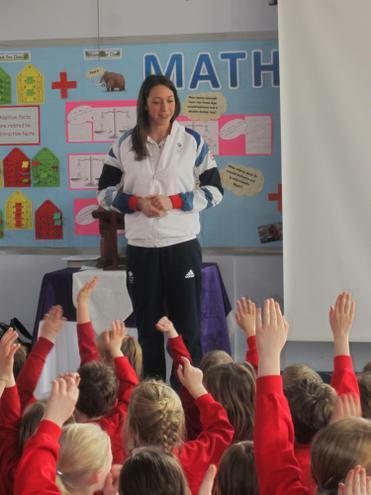 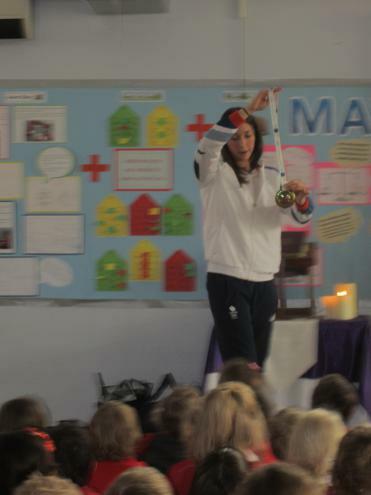 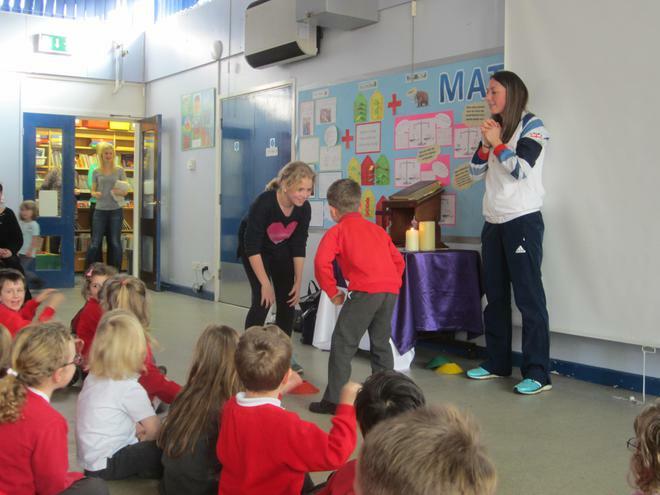 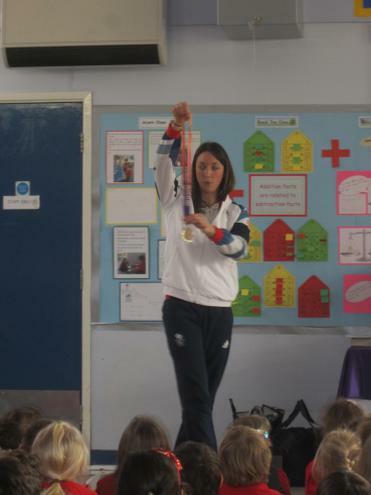 An Olympian in our Assembly!